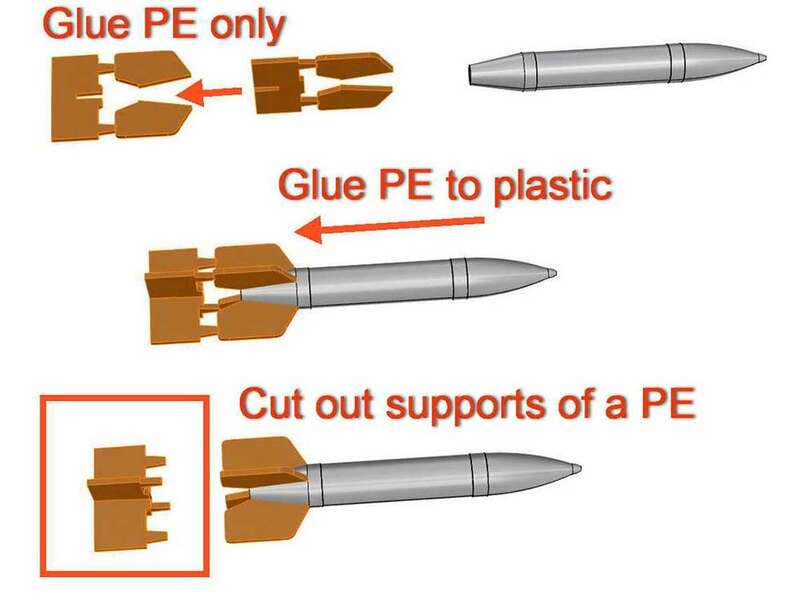 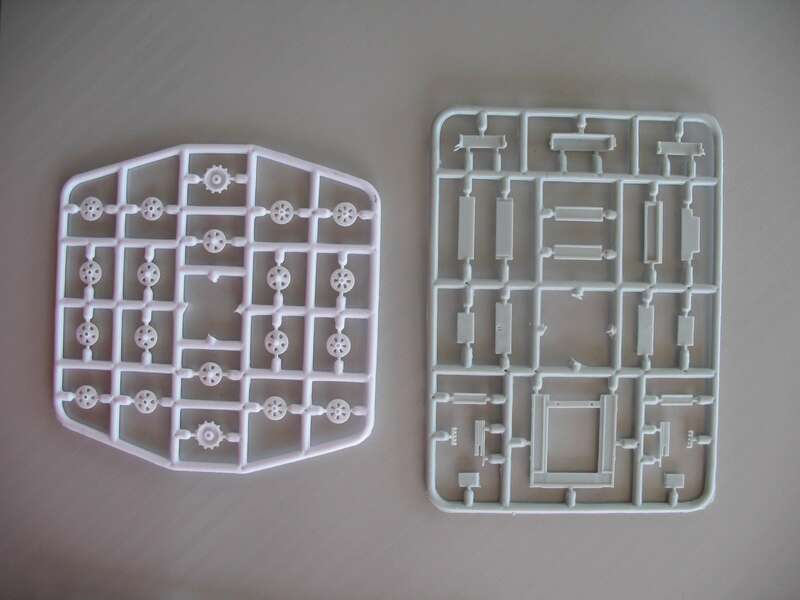 ACE injection plastic armor kits are manufactured using the Short Run Technology and come with decals. 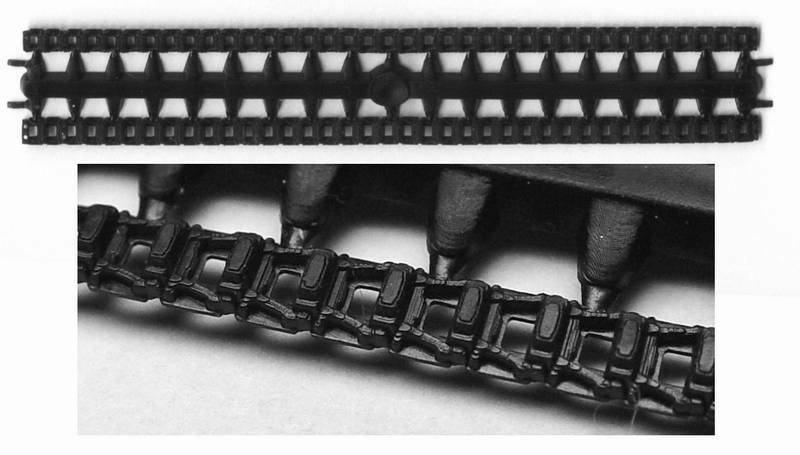 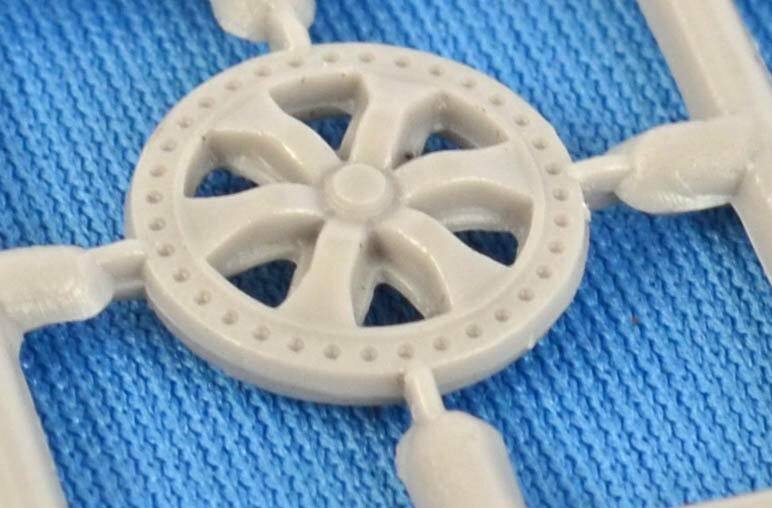 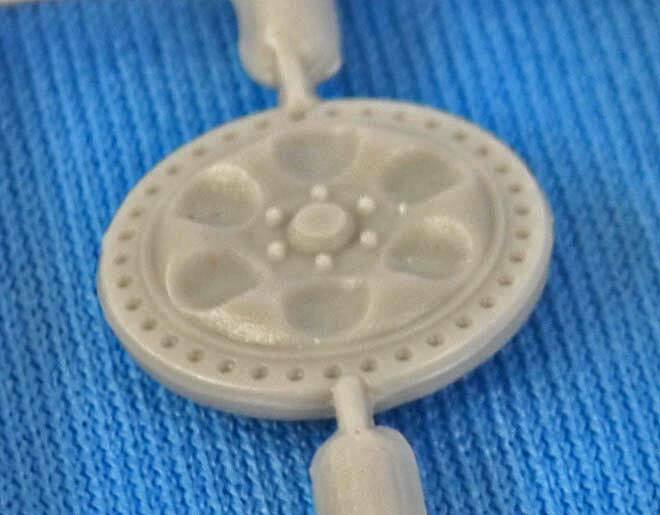 With the Short Run Technology there is the risk that not all parts are sharply casted. 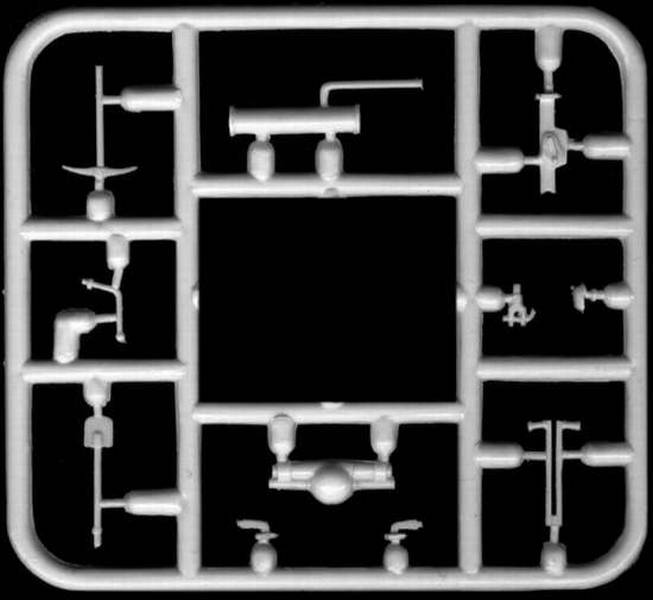 Sometimes there will be some flash or sinkholes etc. 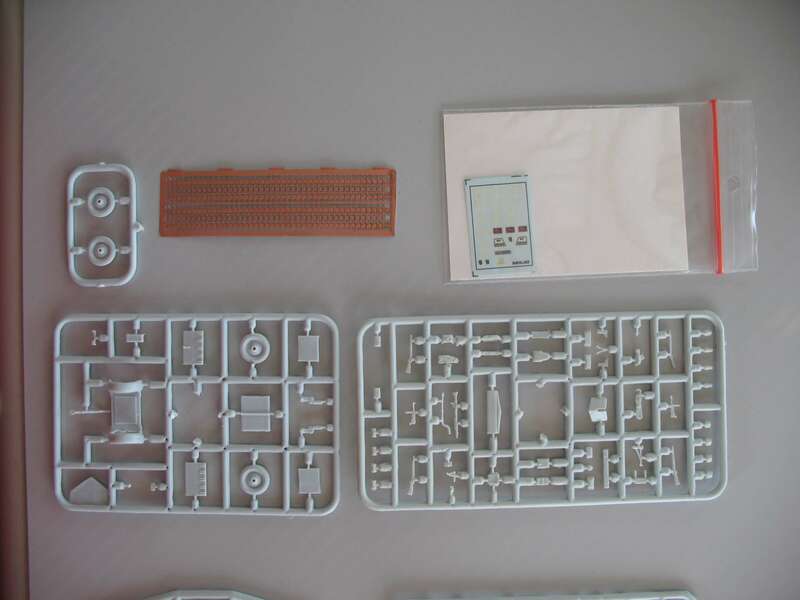 As a result some parts may not fit together smoothly and tightly. 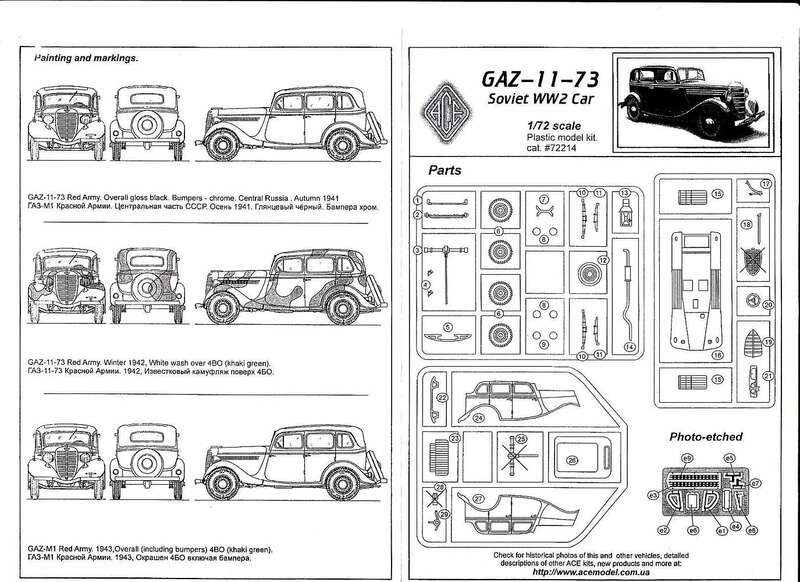 Ace advises that only basic modeling skills are required. 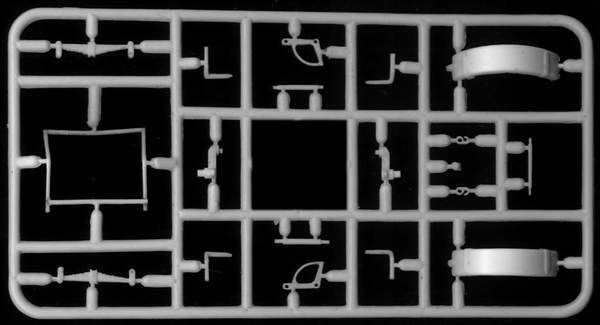 However, I recommend at least some degree of modeling experience to be able to Finished these models with a satisfactory result. 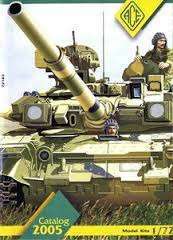 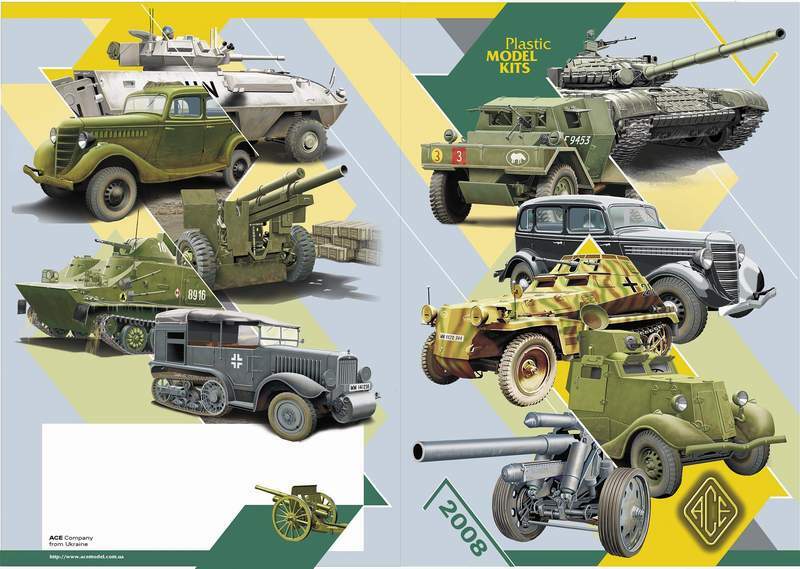 Download your copy of the Ace Models catalogue 2019. 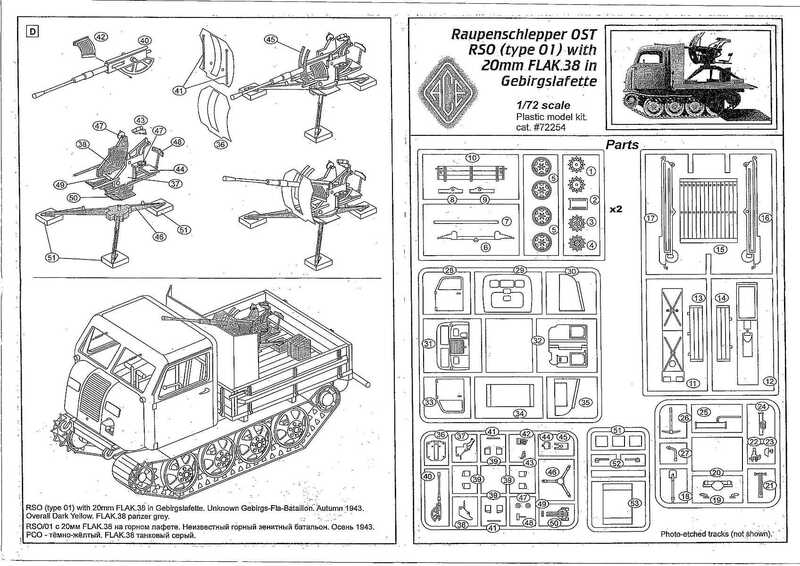 This is a re-boxing of the Colibri - Fort kit with new decals and a set of photo etched details. 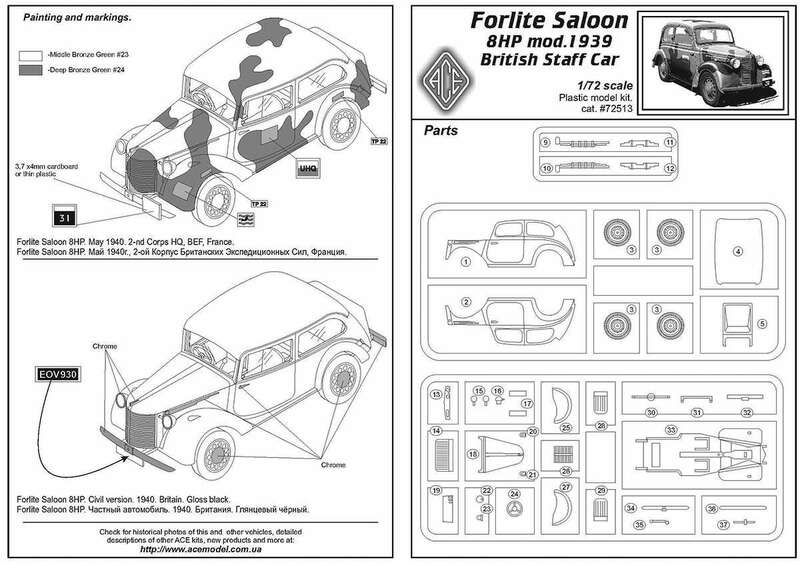 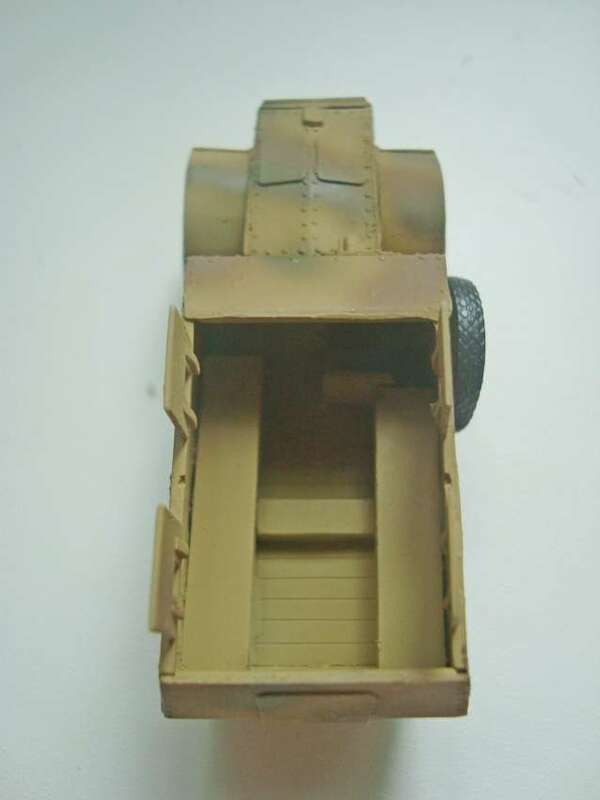 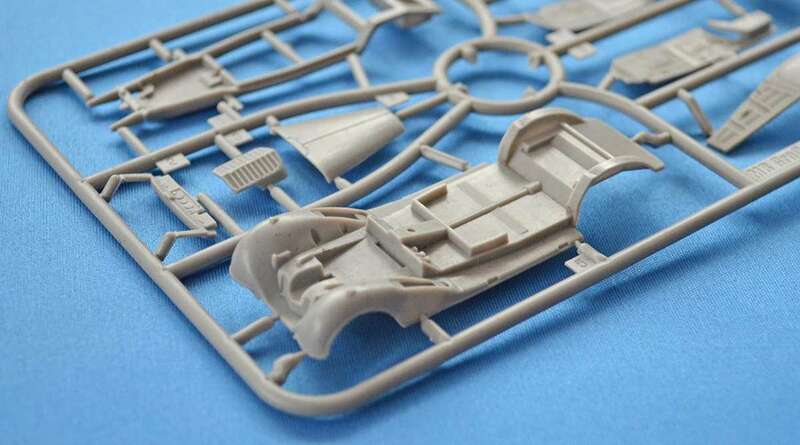 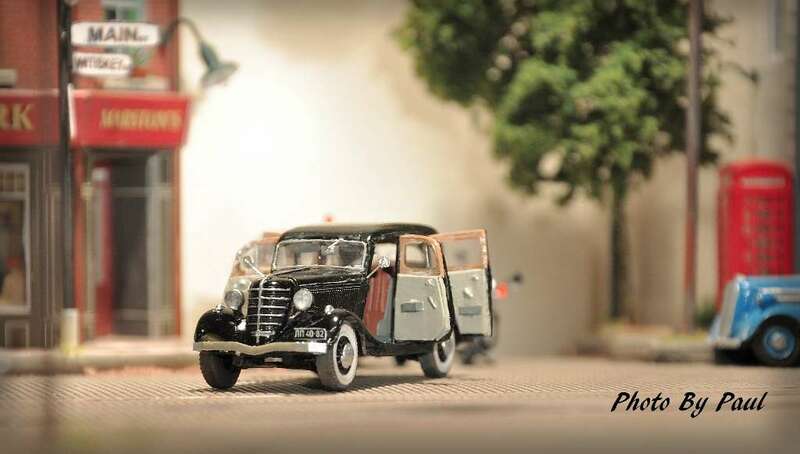 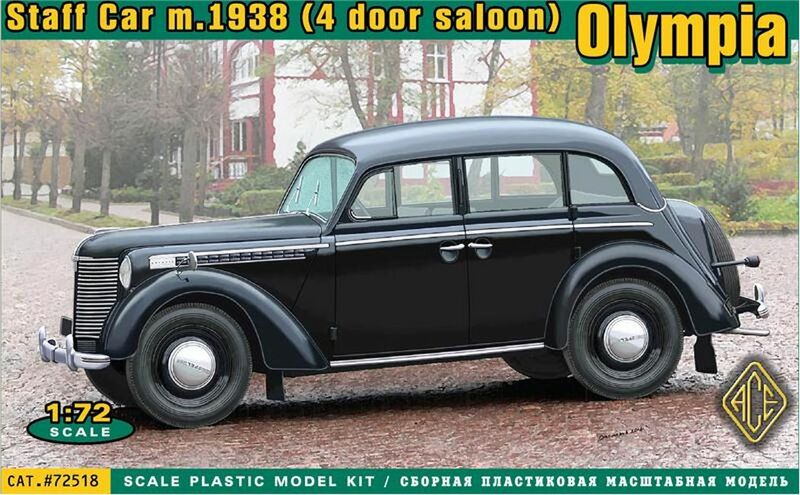 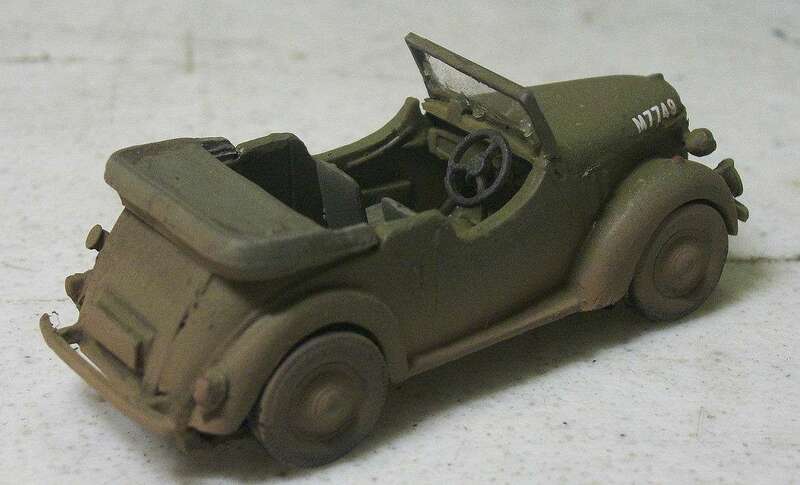 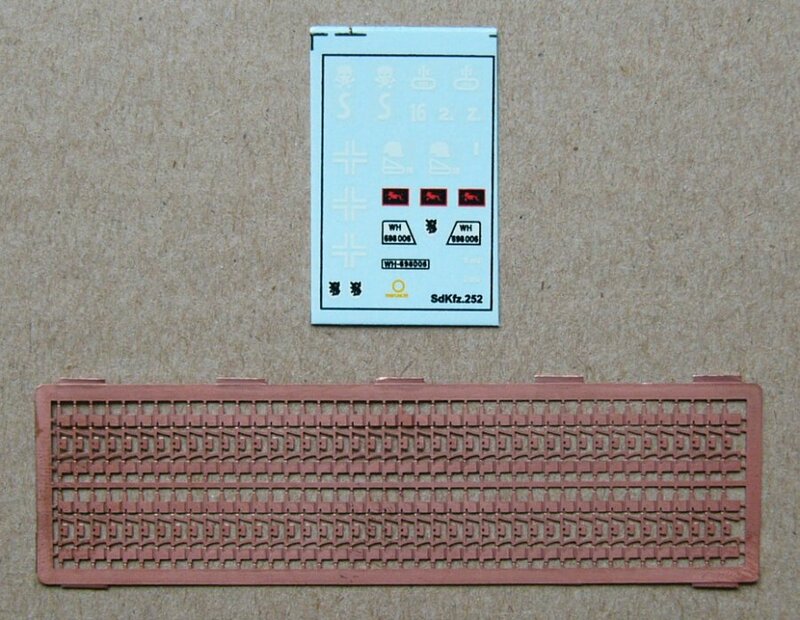 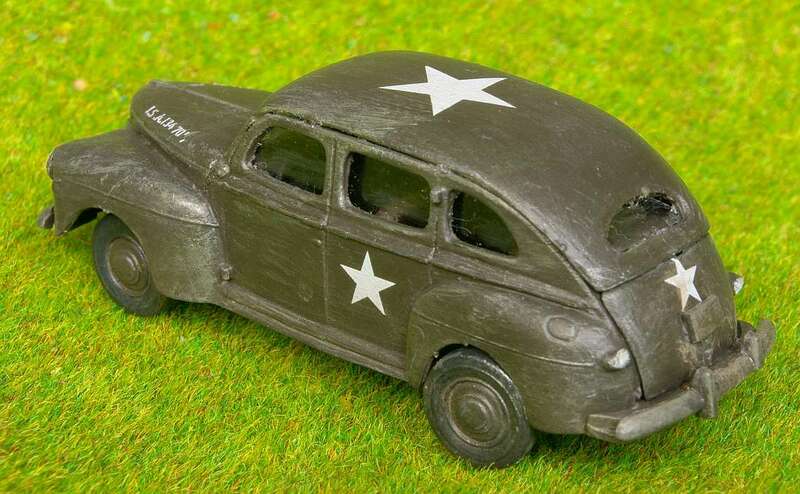 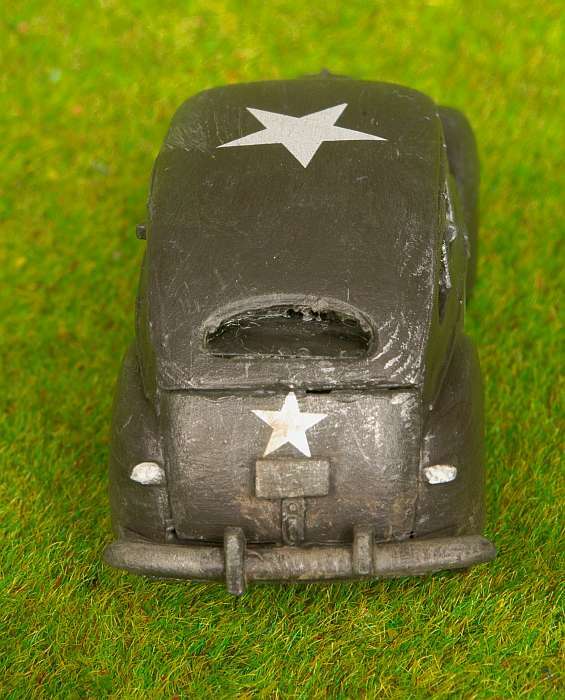 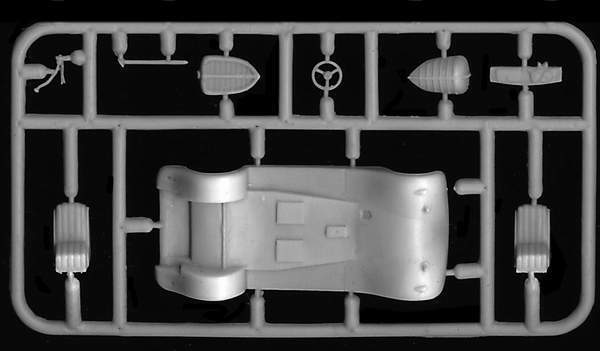 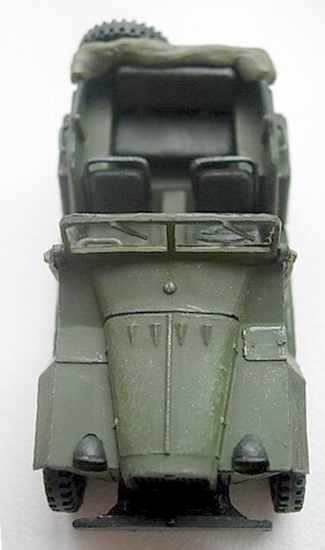 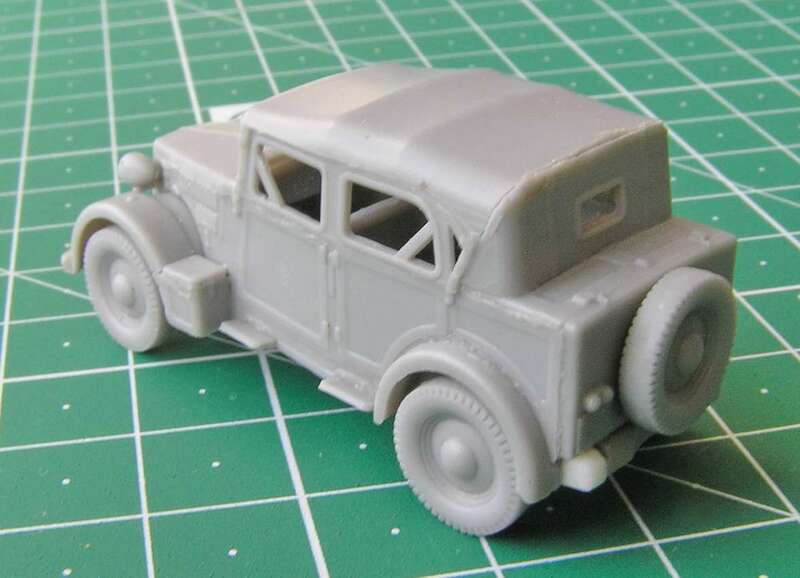 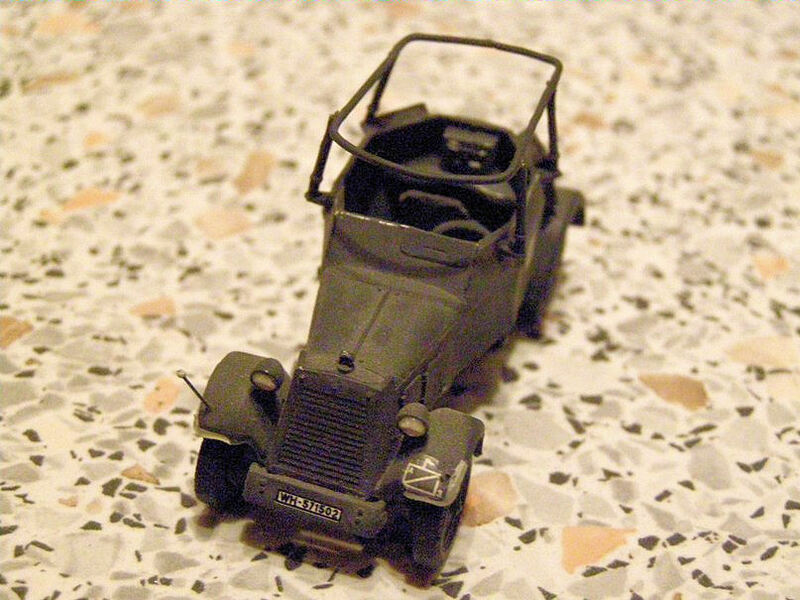 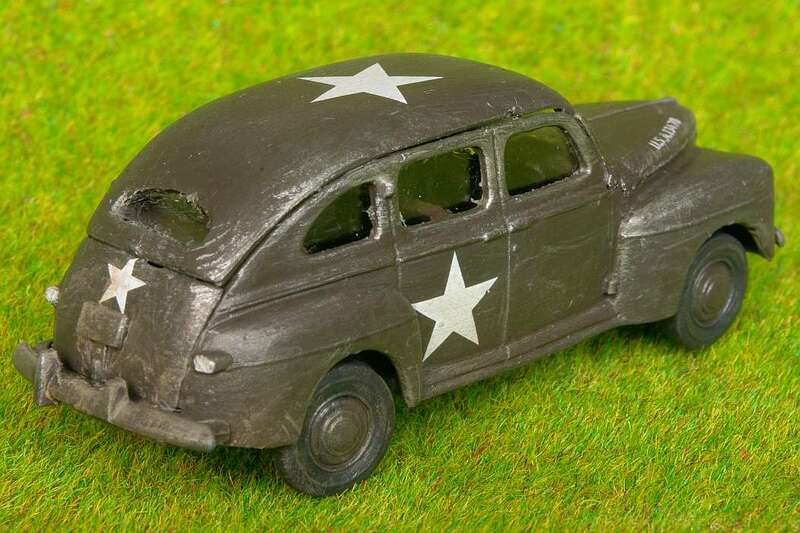 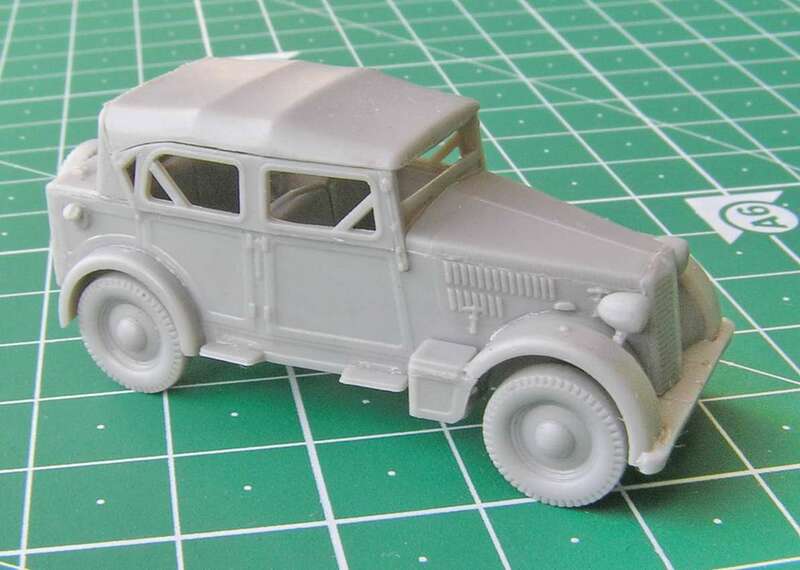 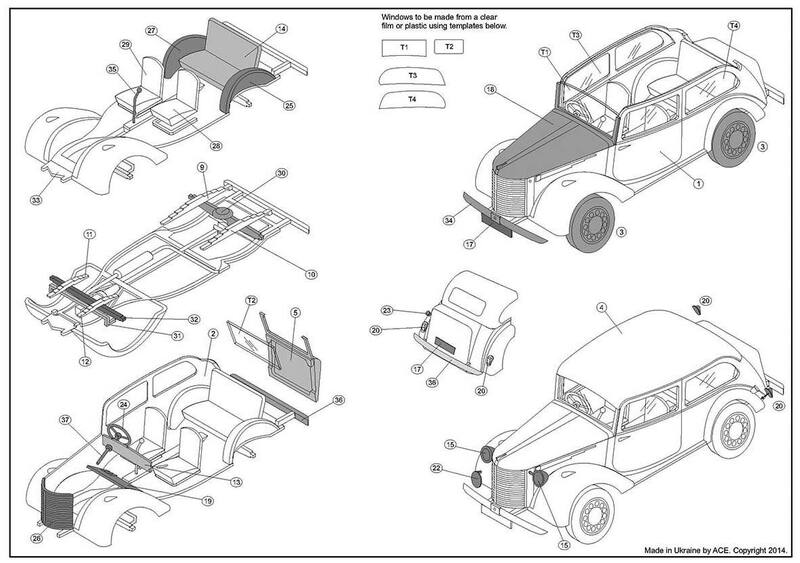 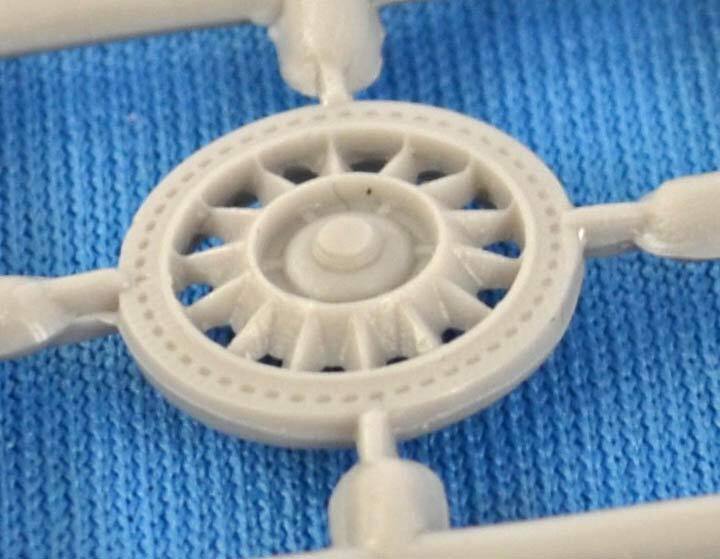 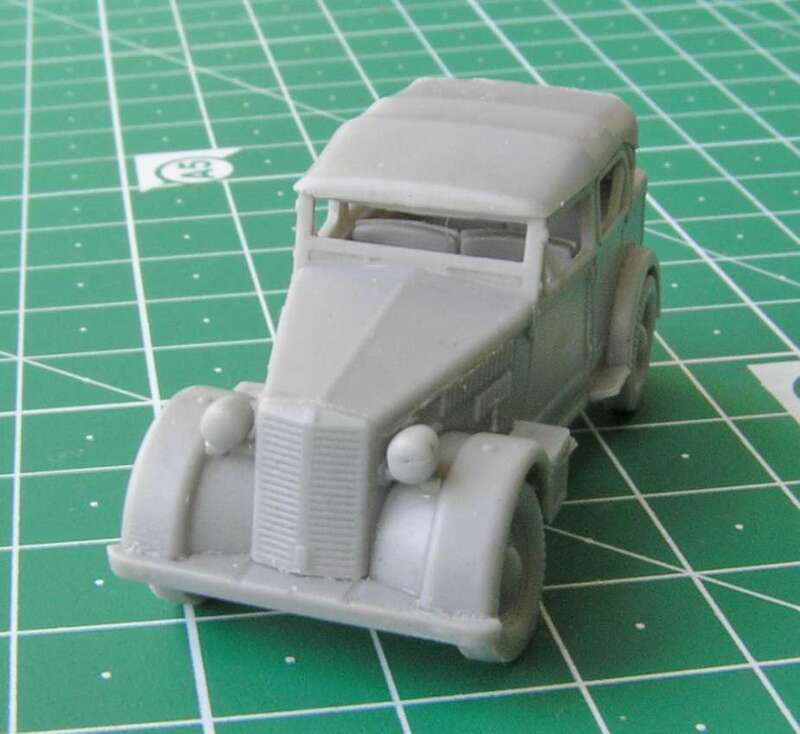 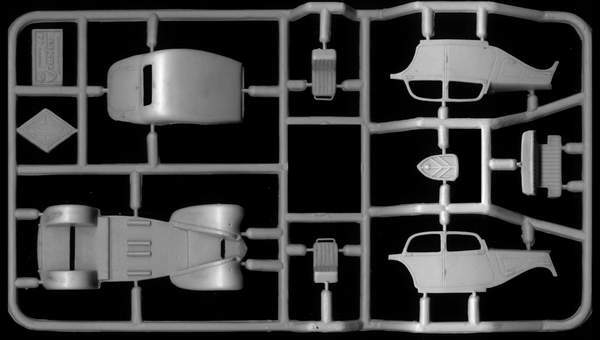 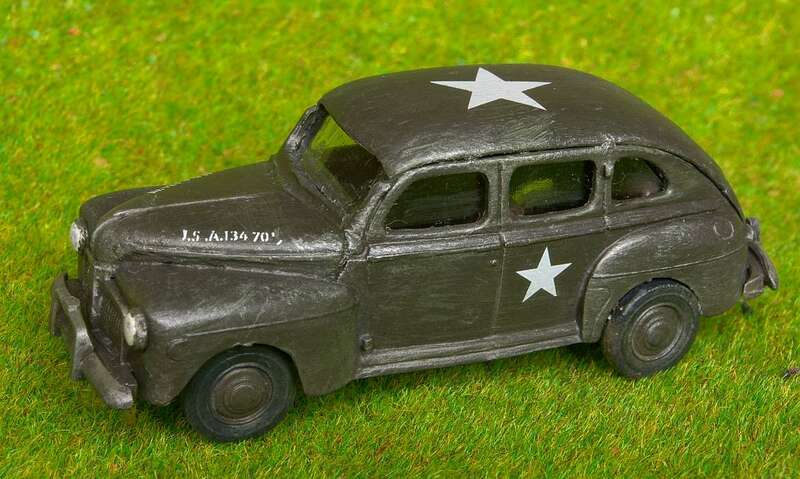 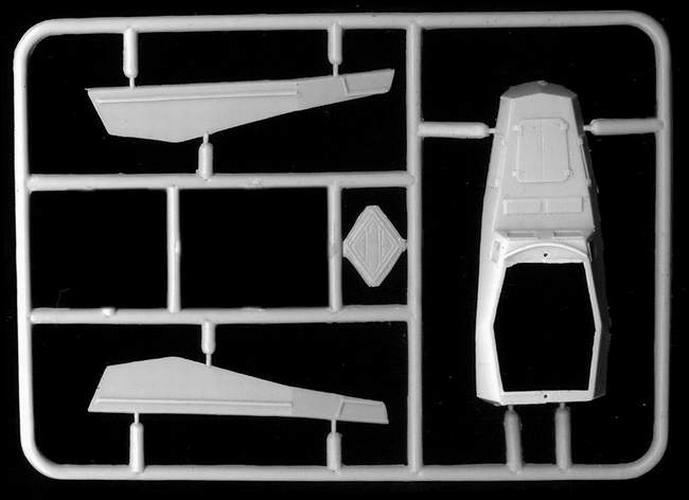 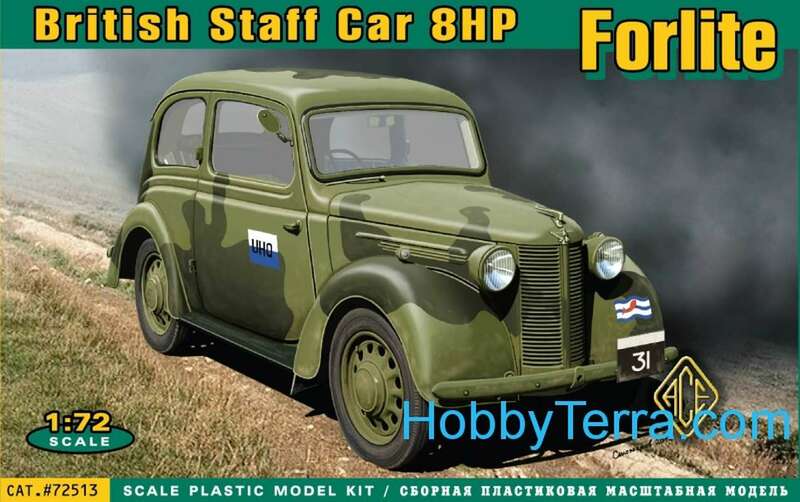 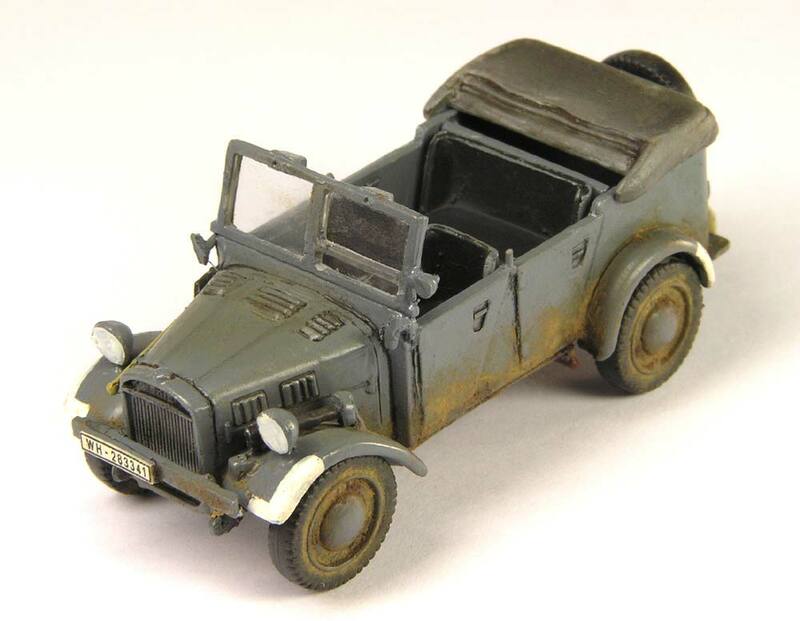 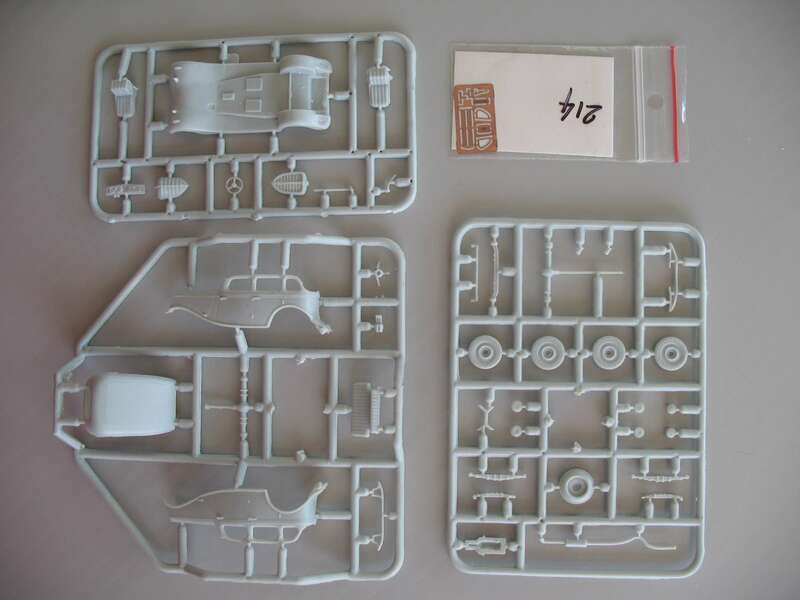 You get the same finely moulded plastic parts, with good interior detail plus the extras provided on the etched fret...windscreen with wipers, radiator grill, brake pedal, clutch pedal and accellerator pedal, spare wheel bracket, etc. 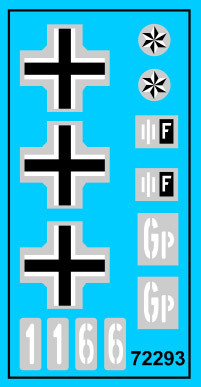 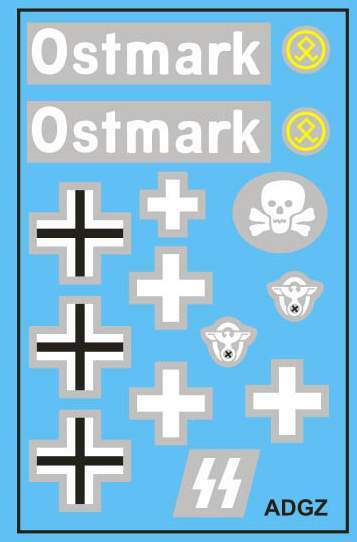 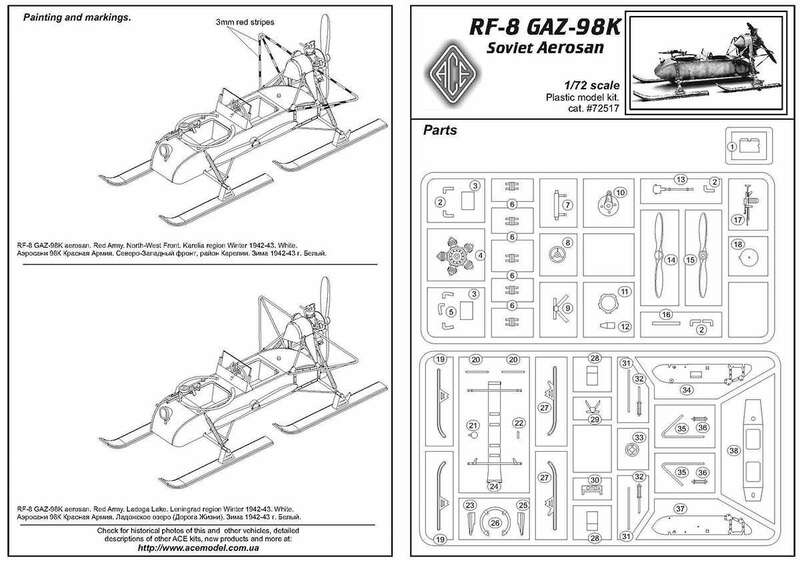 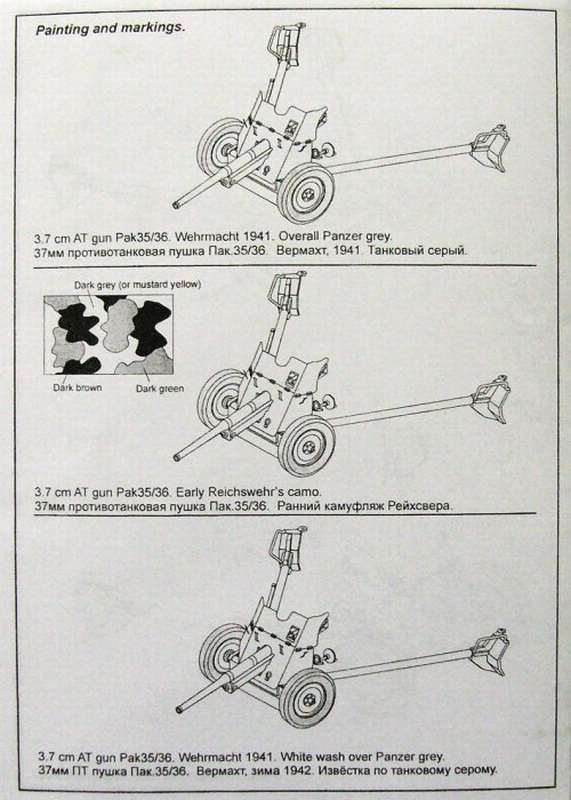 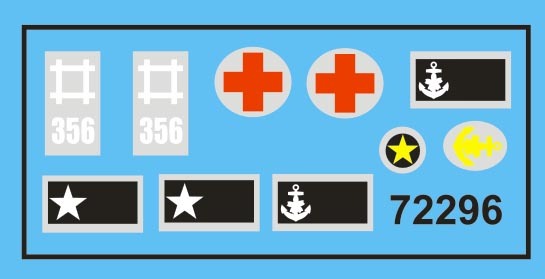 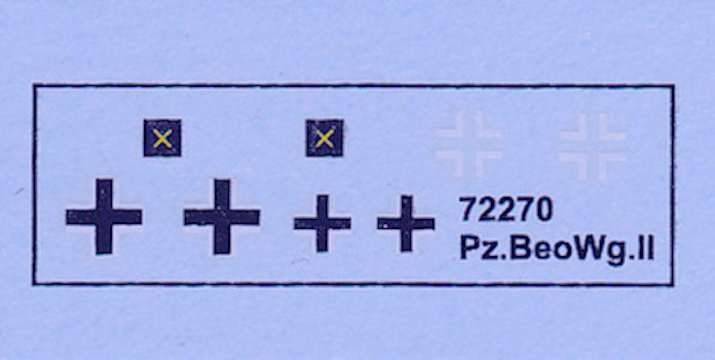 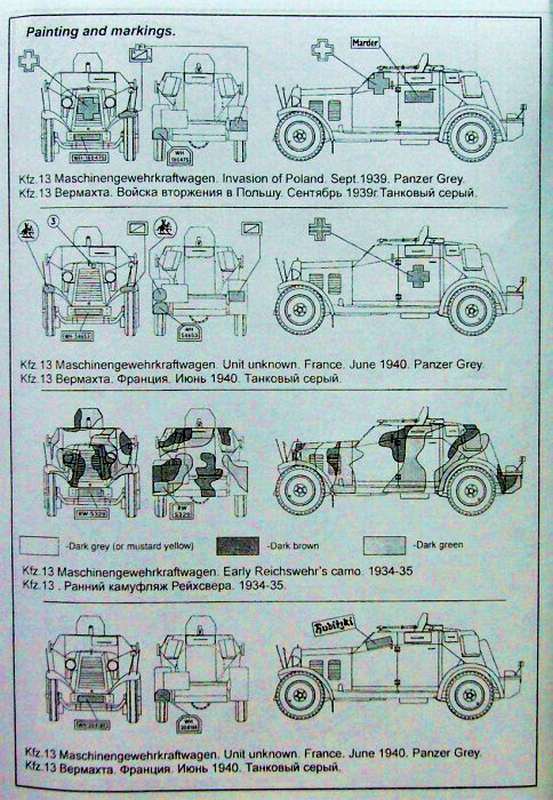 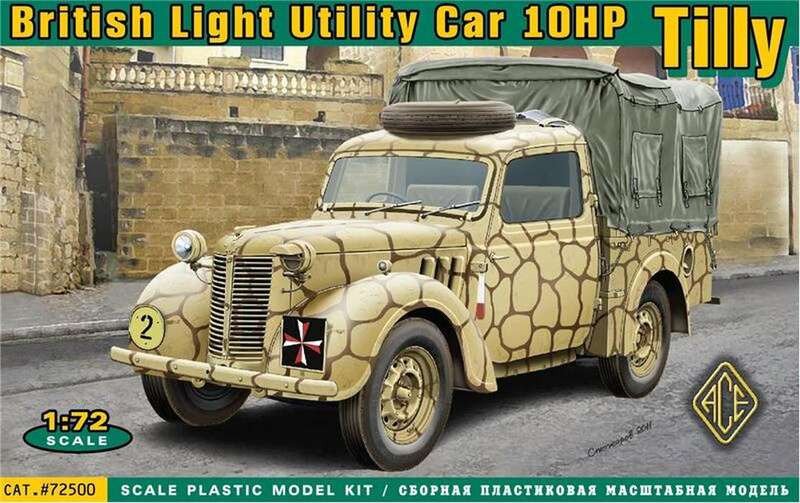 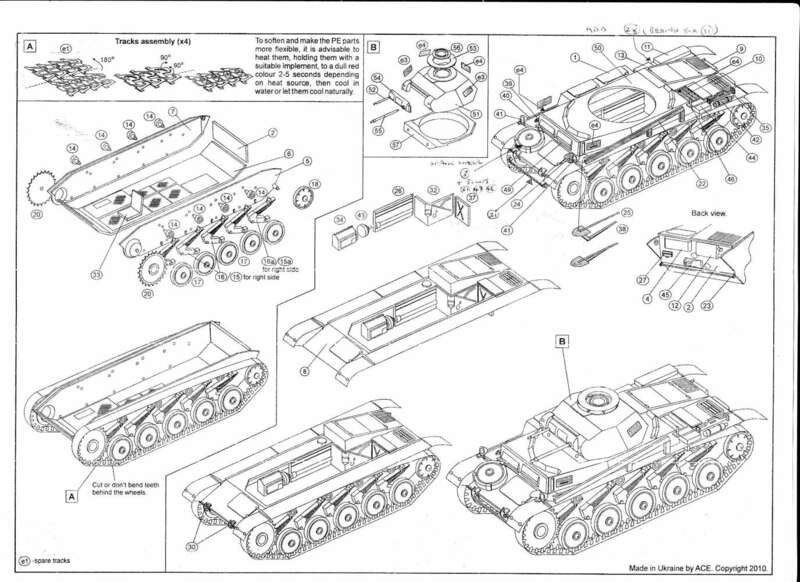 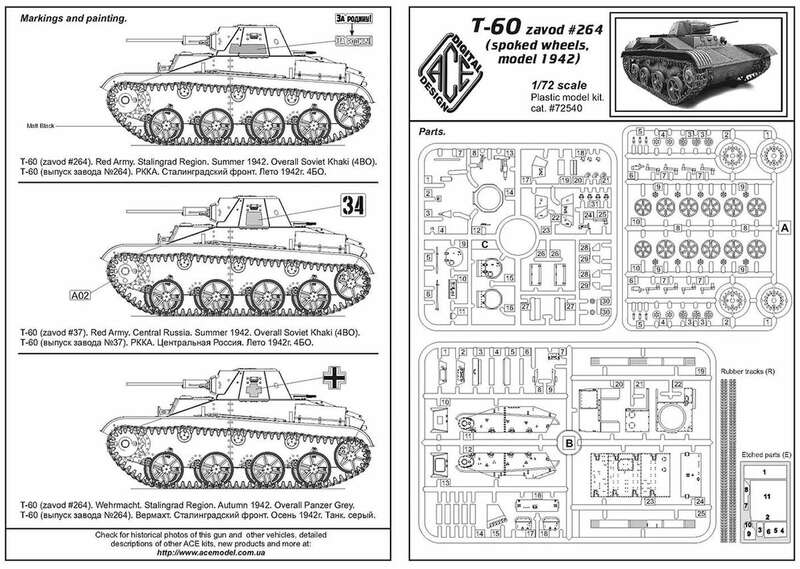 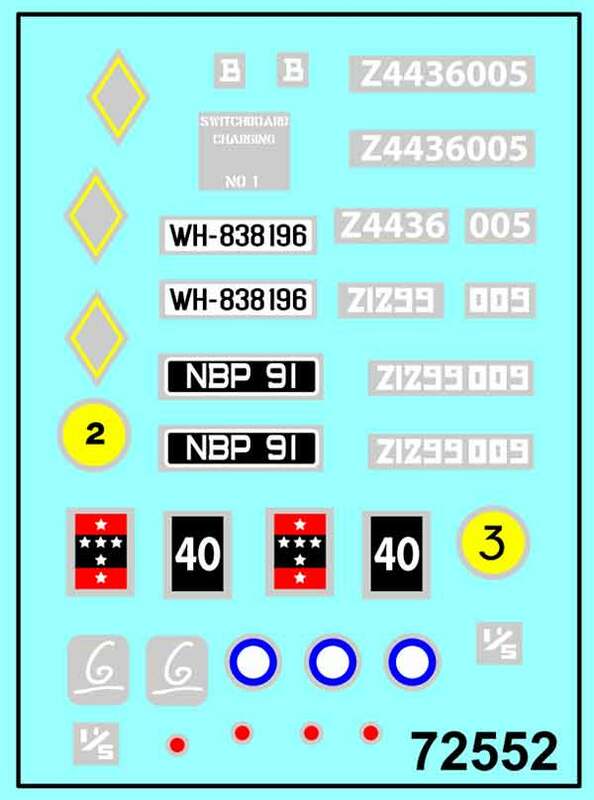 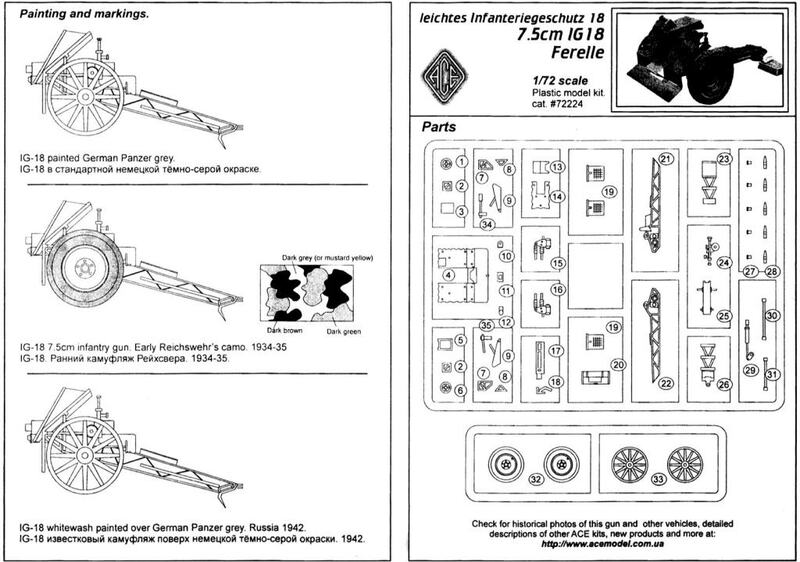 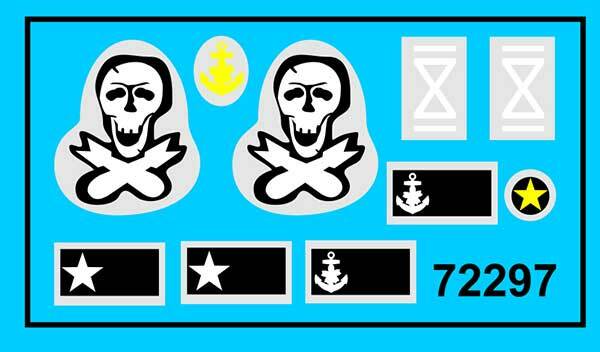 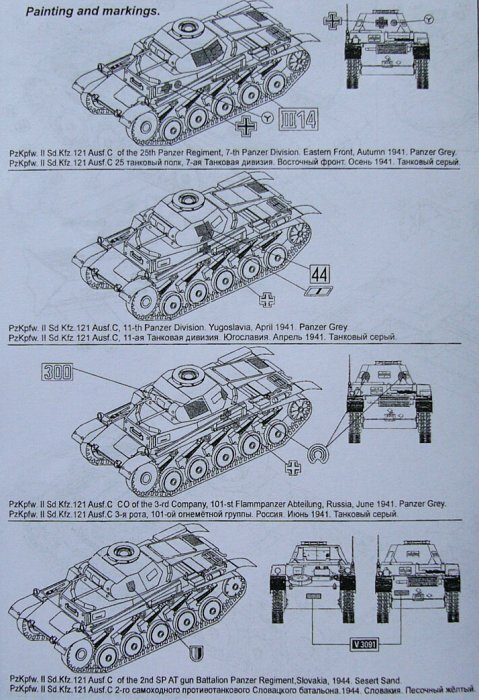 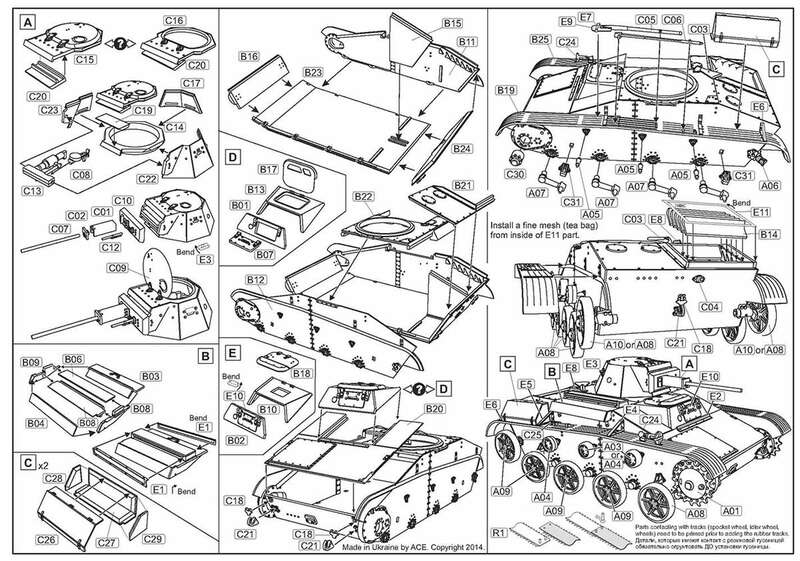 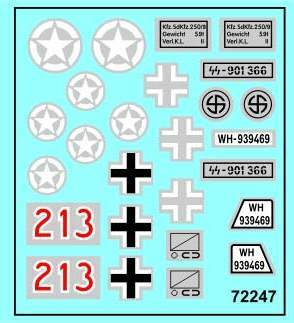 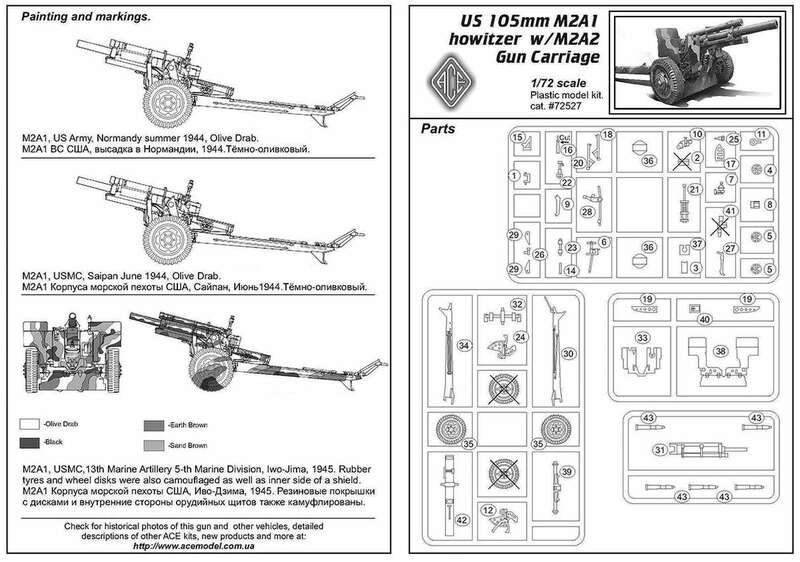 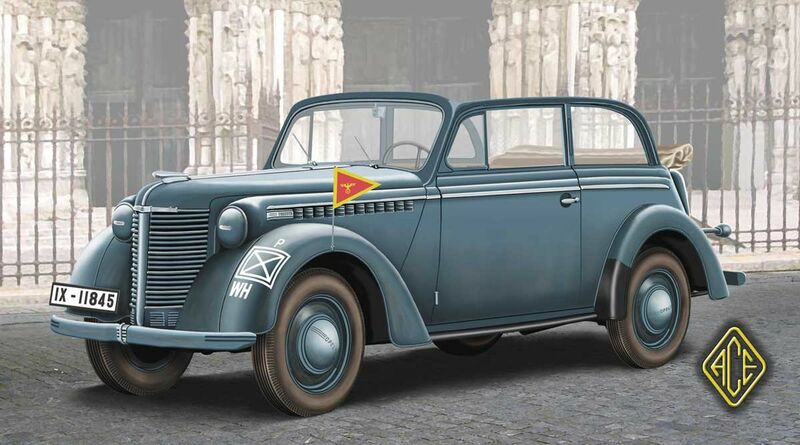 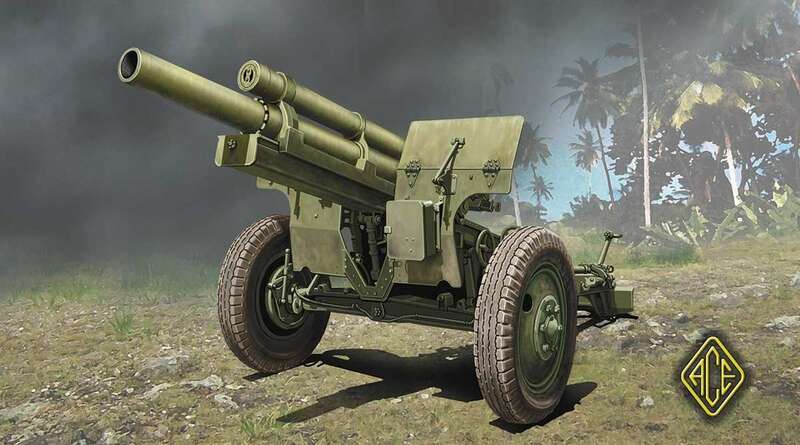 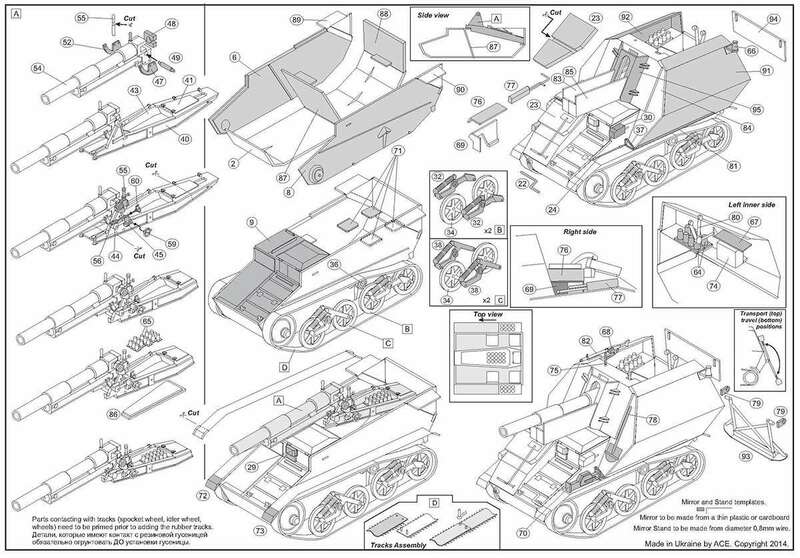 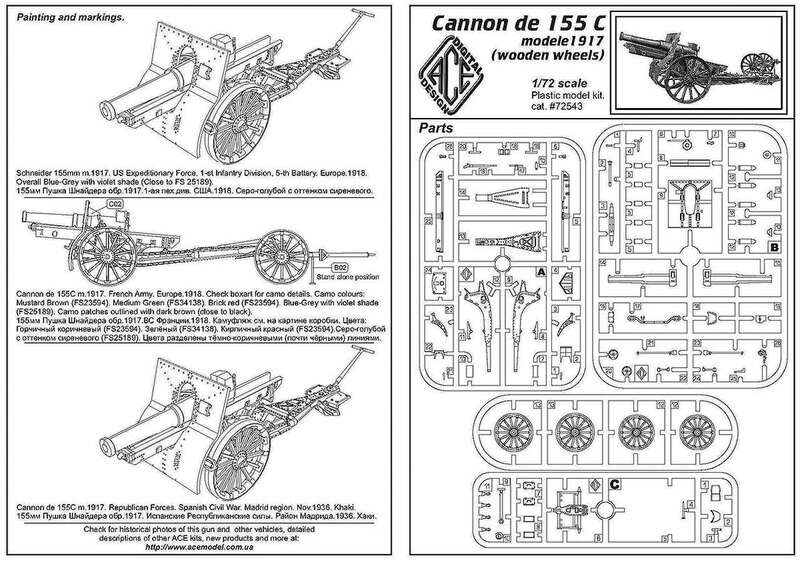 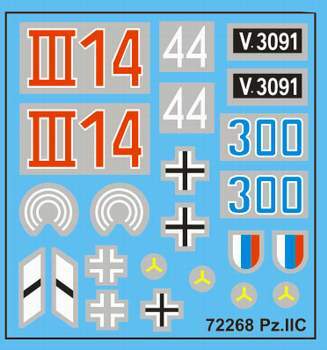 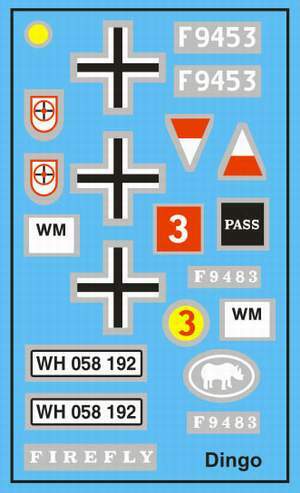 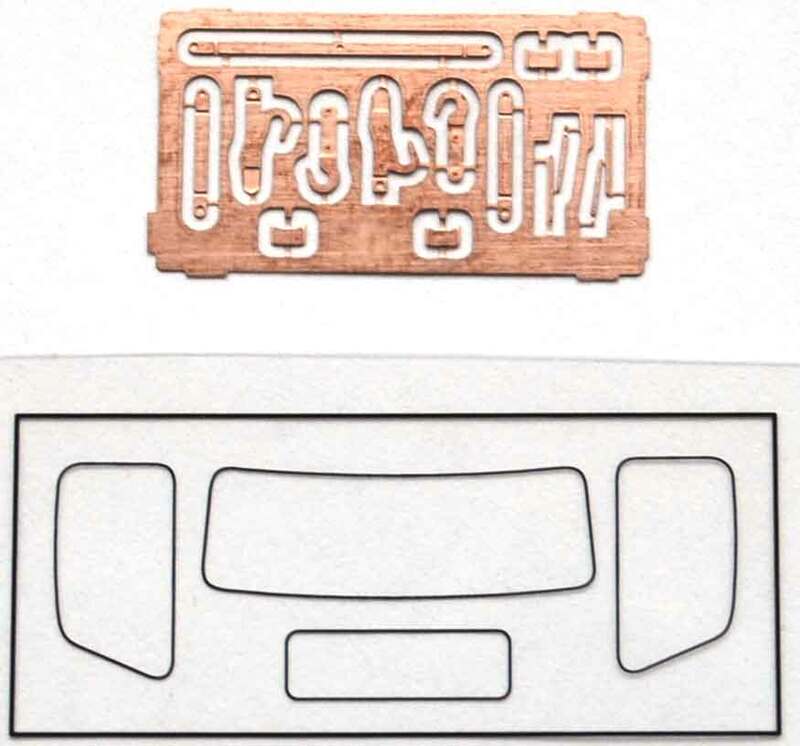 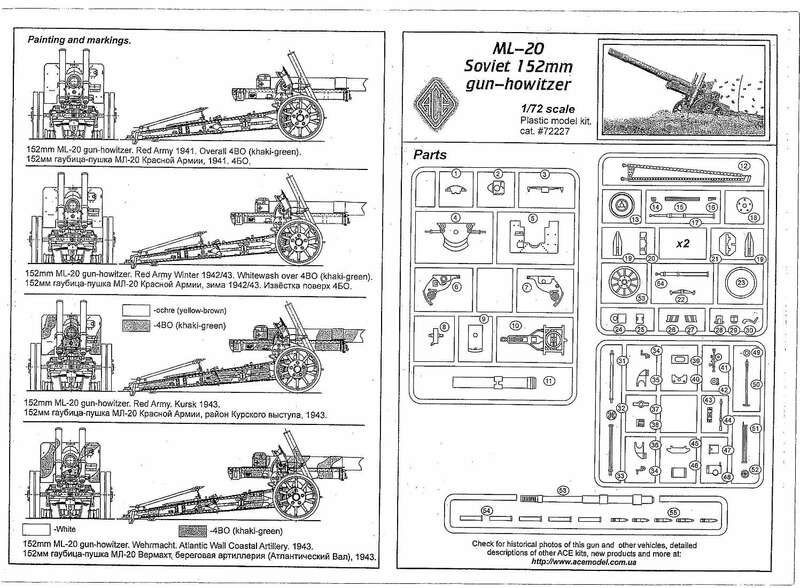 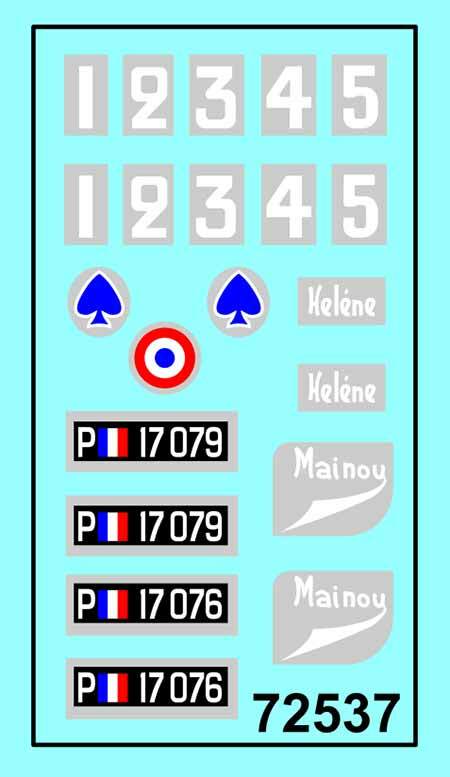 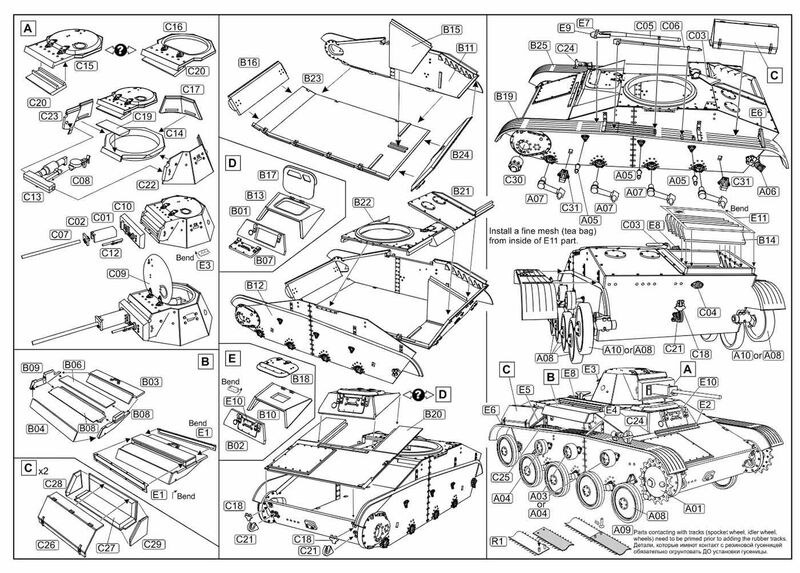 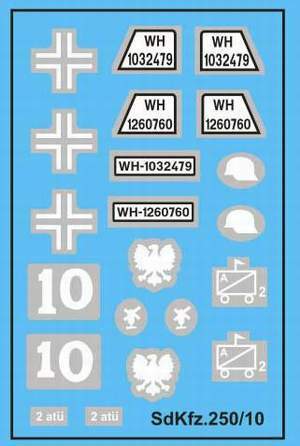 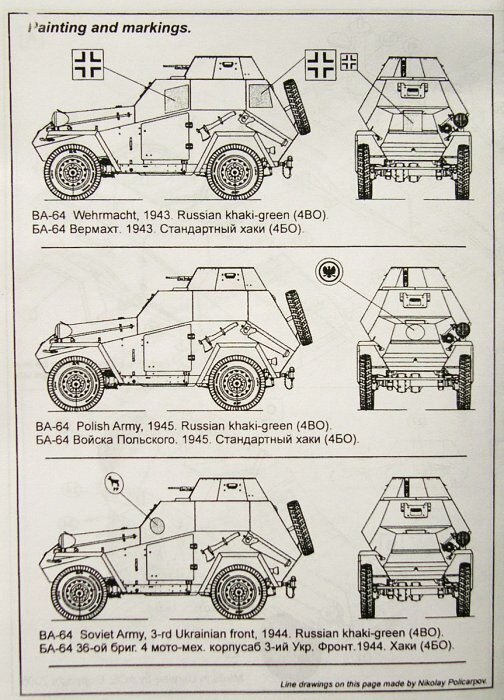 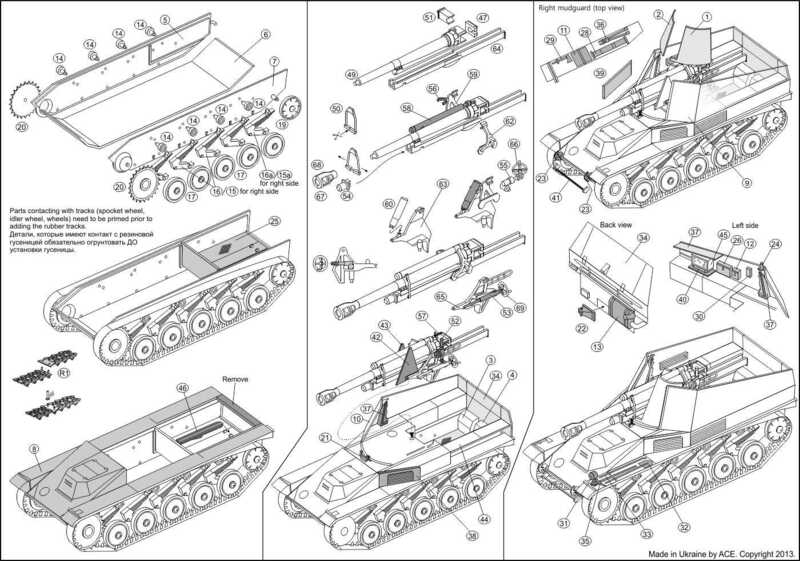 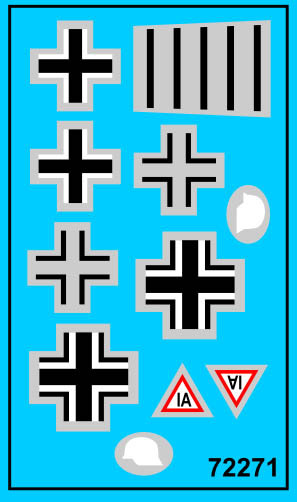 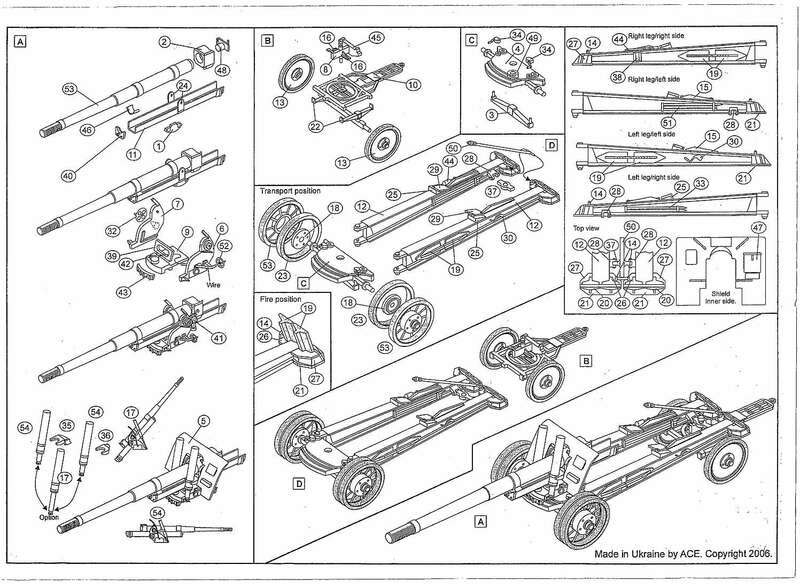 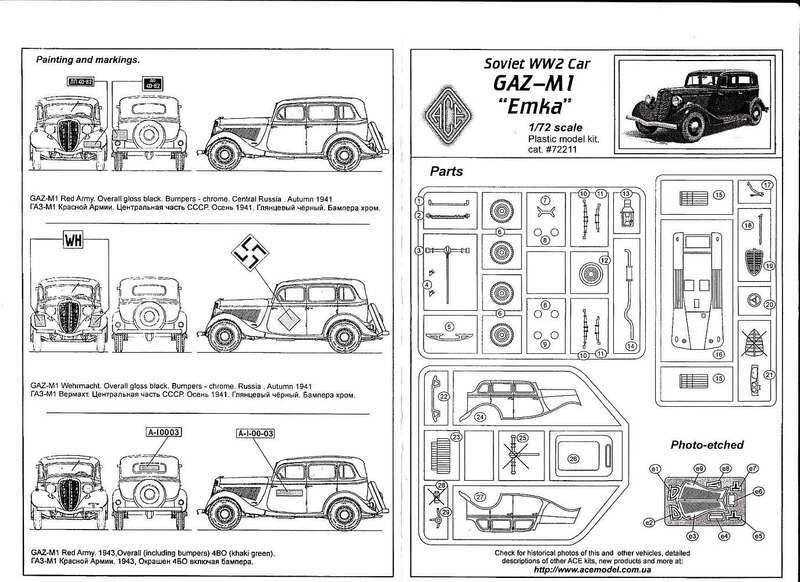 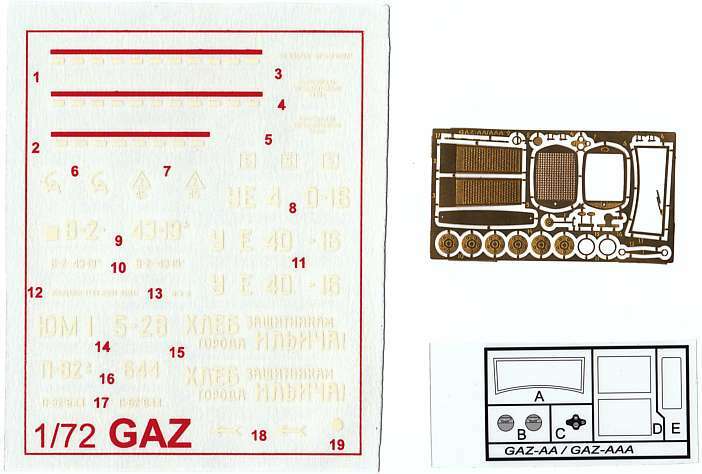 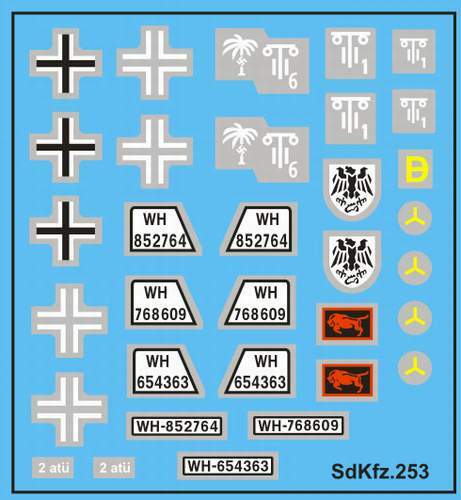 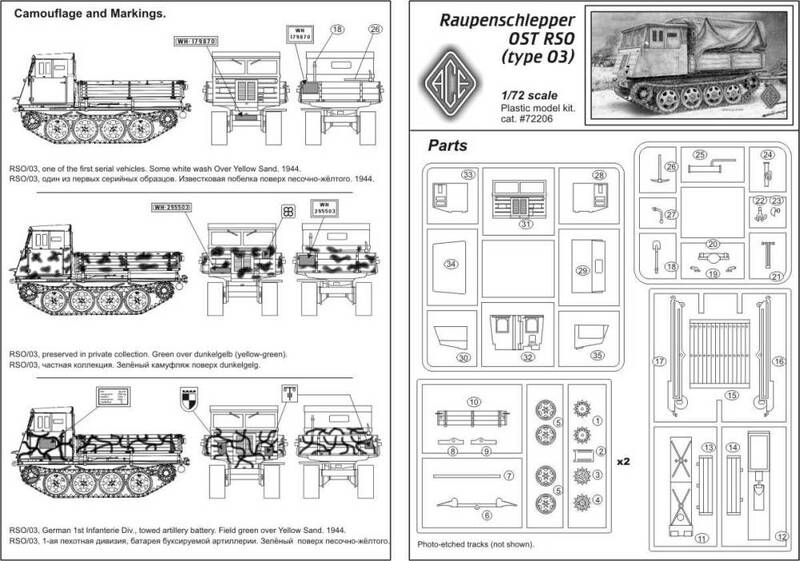 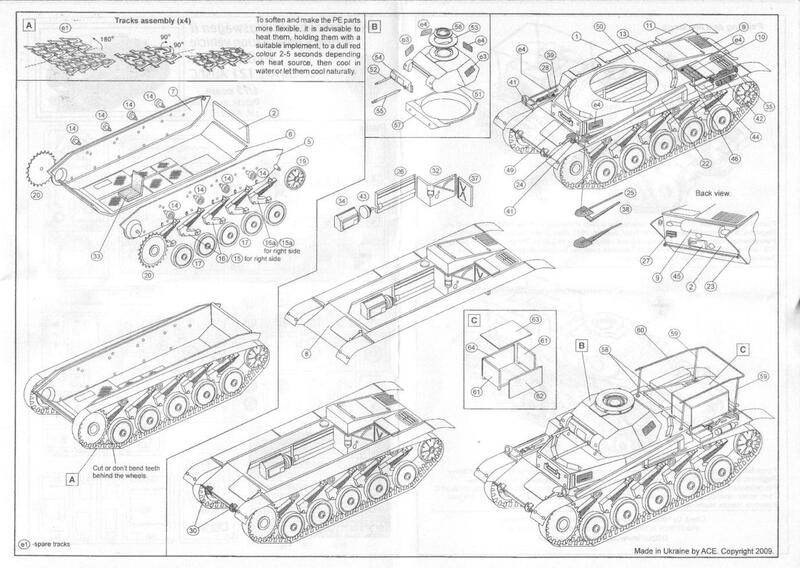 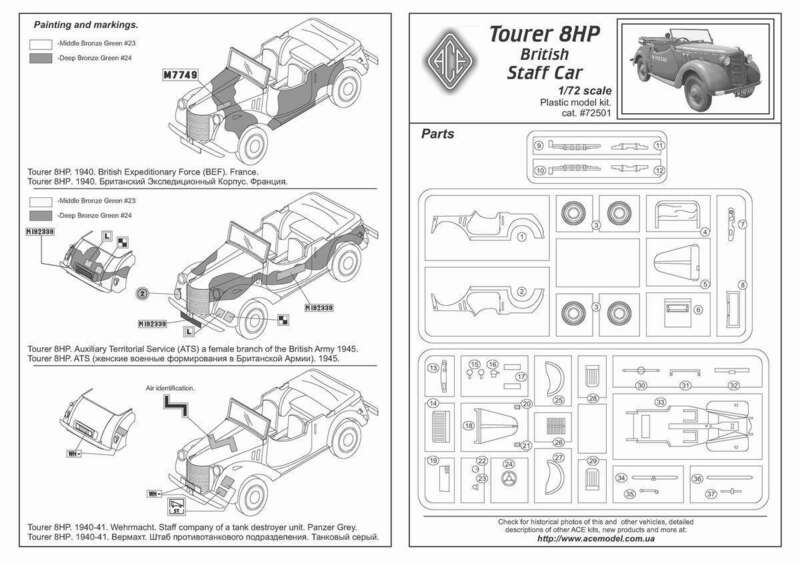 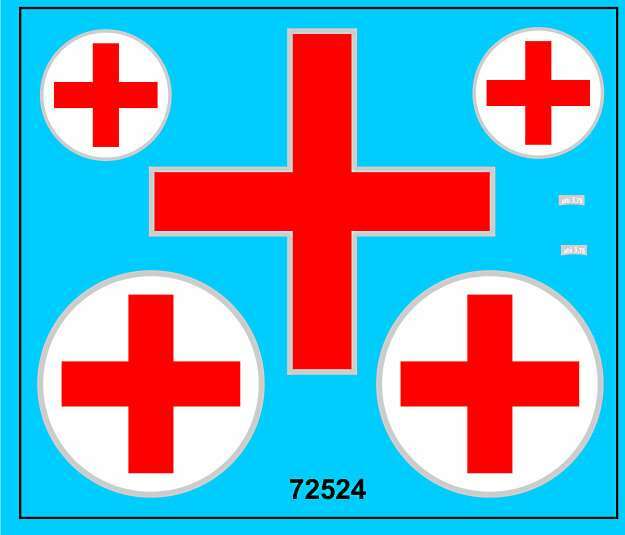 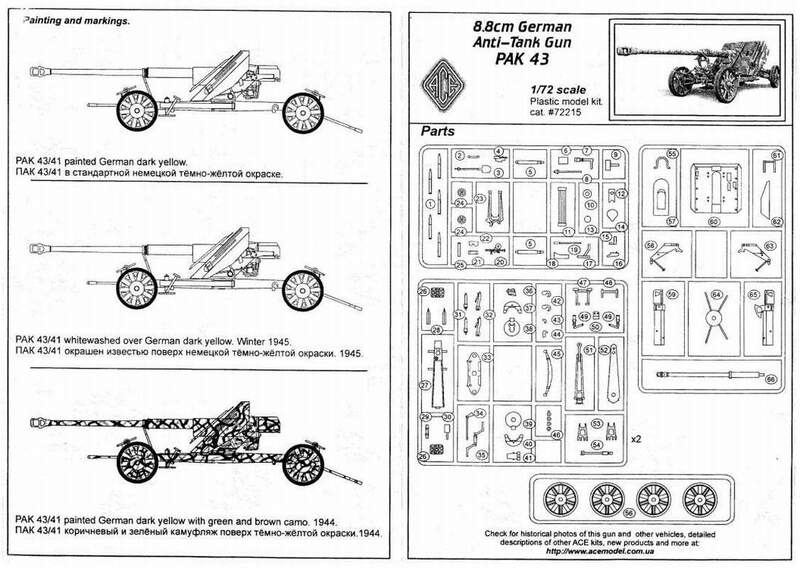 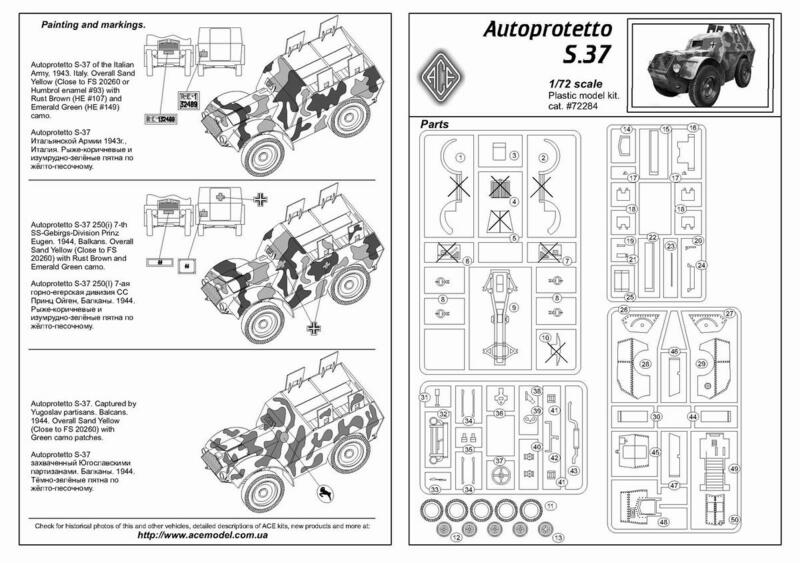 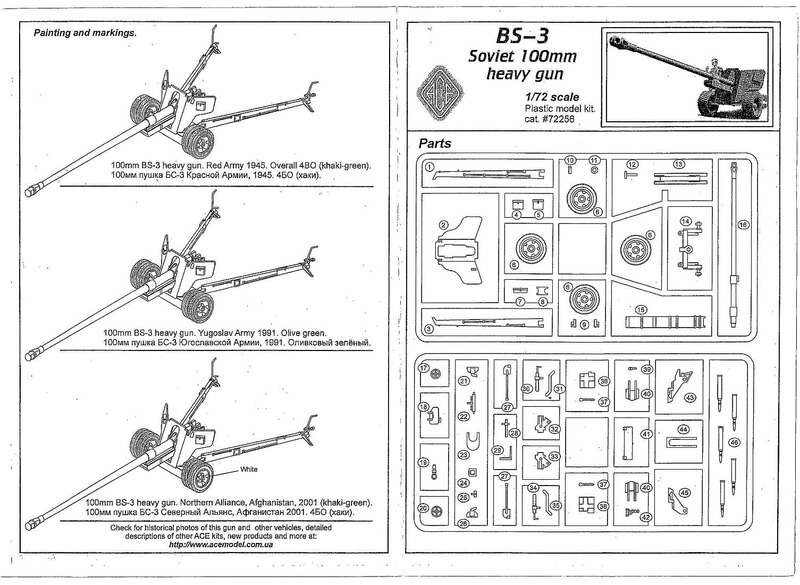 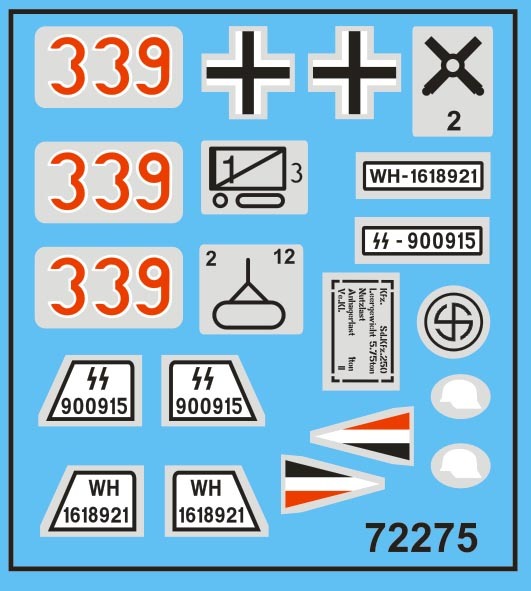 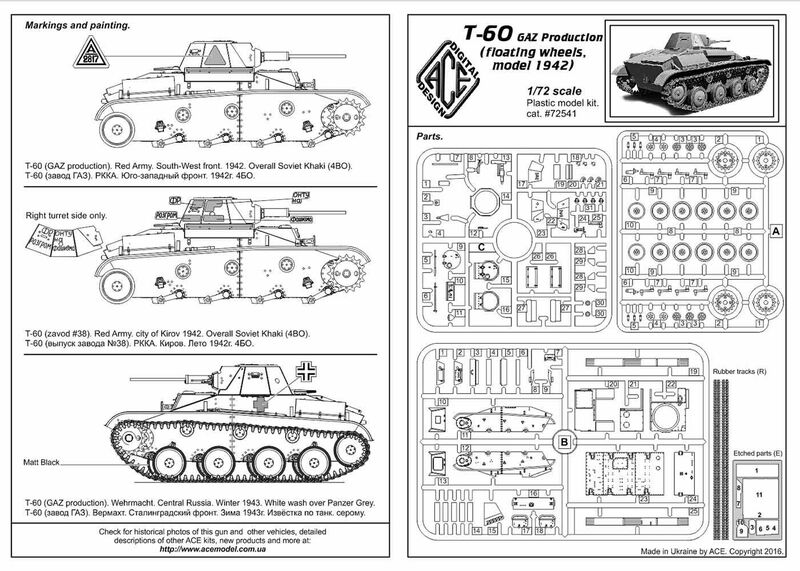 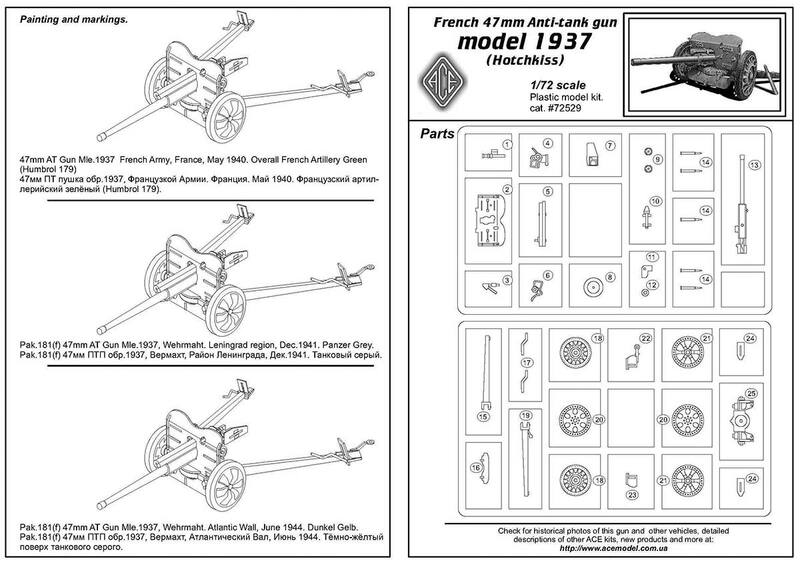 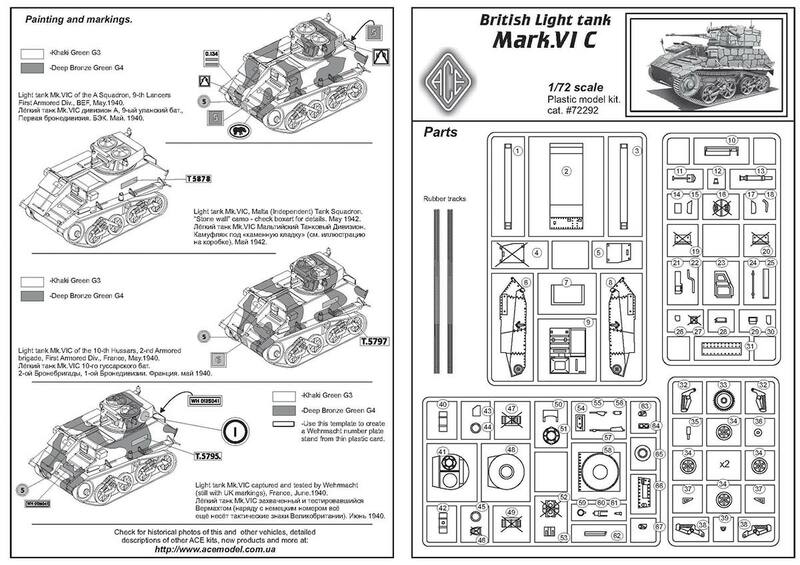 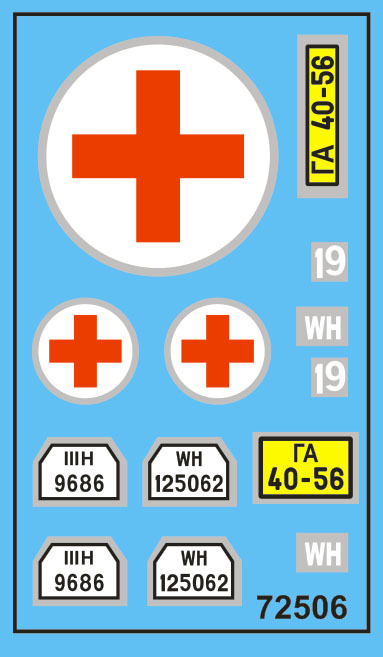 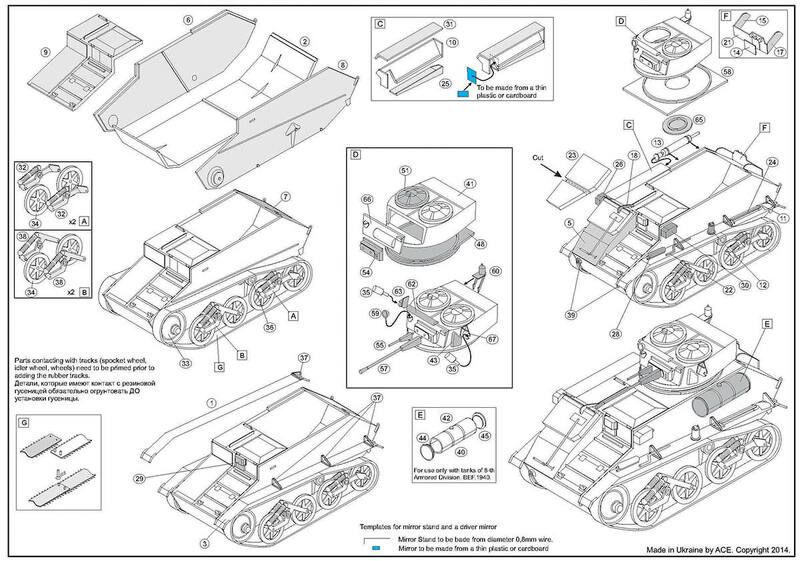 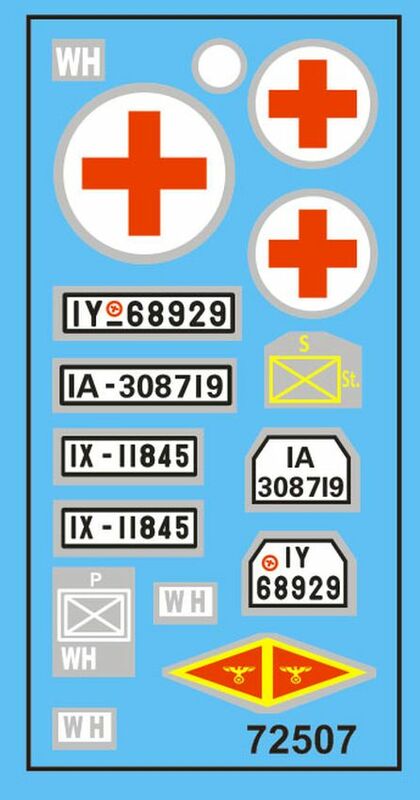 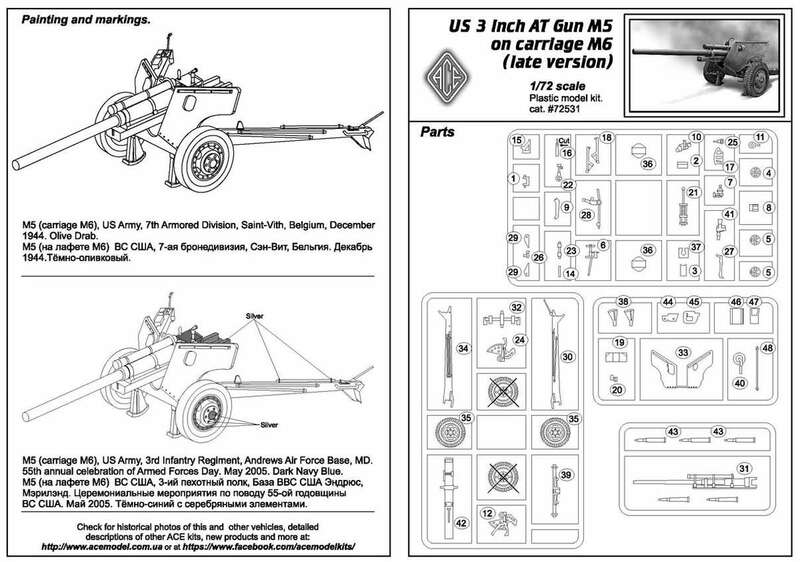 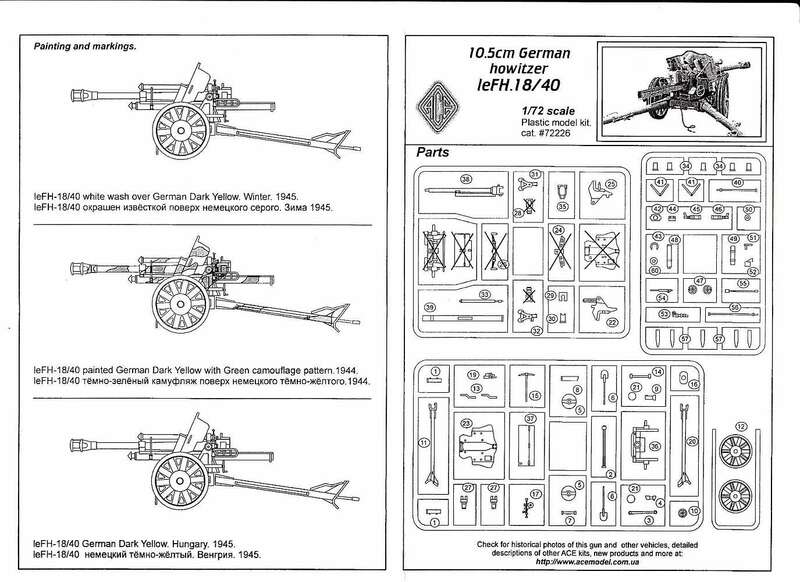 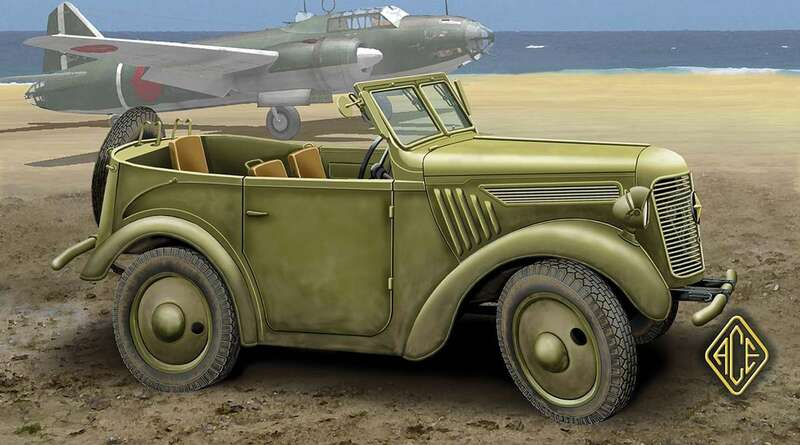 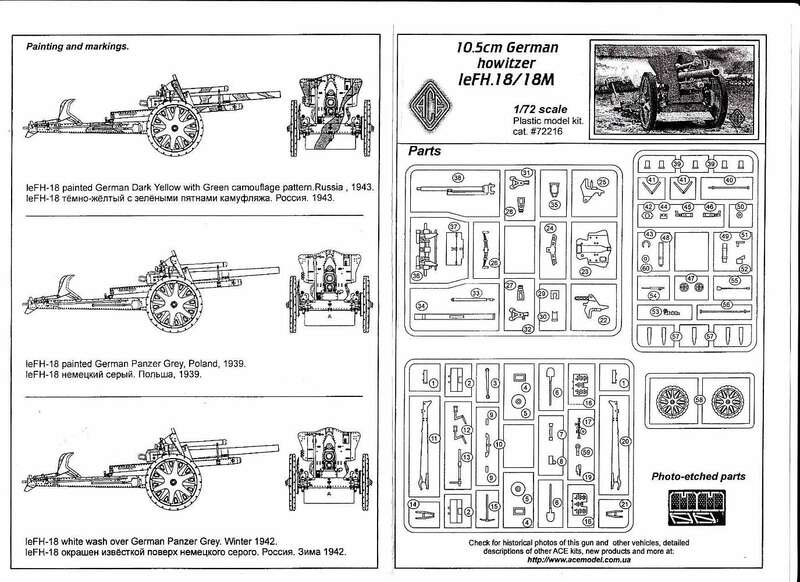 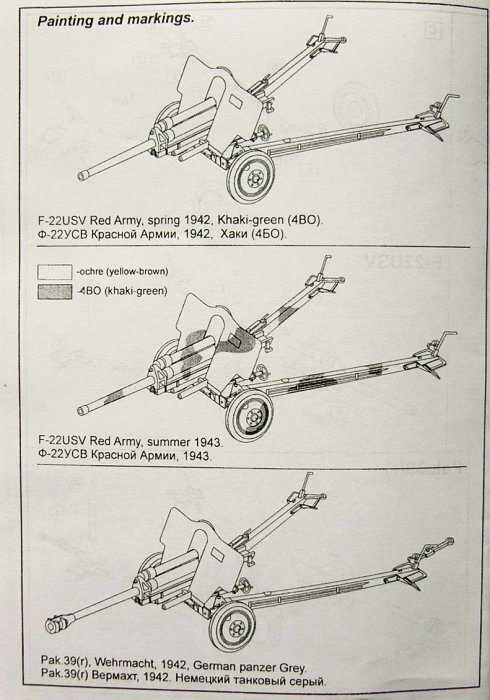 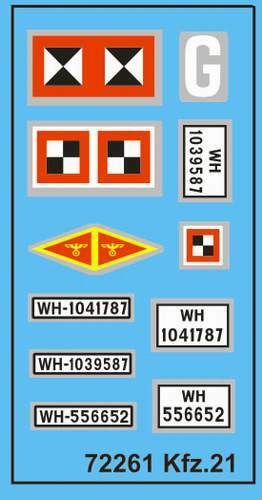 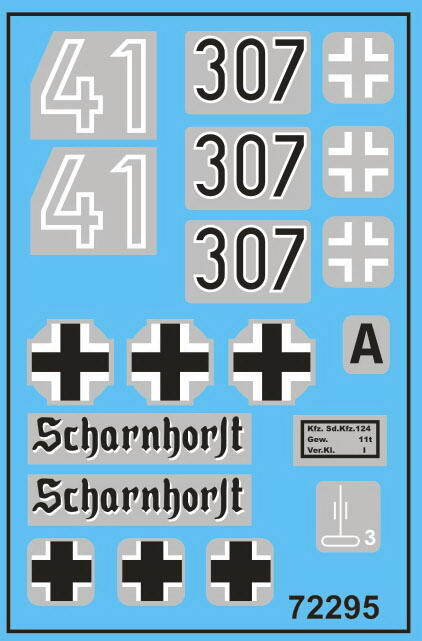 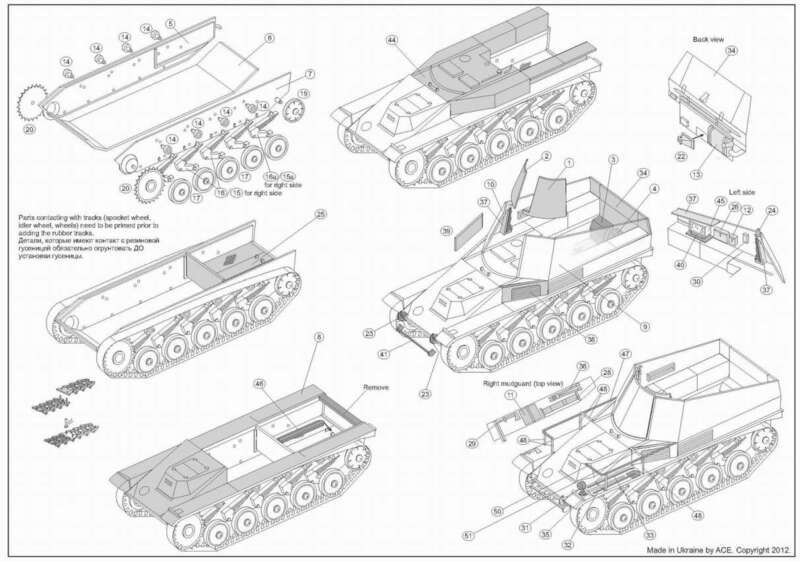 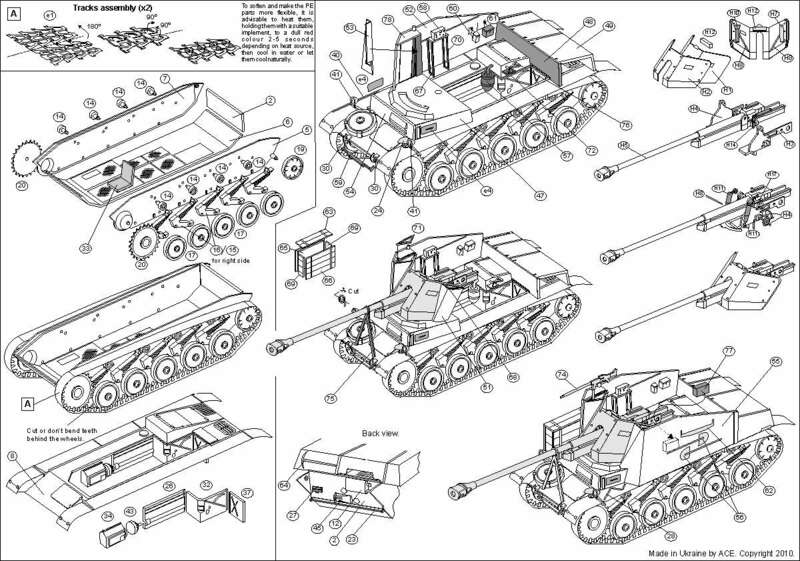 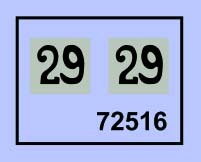 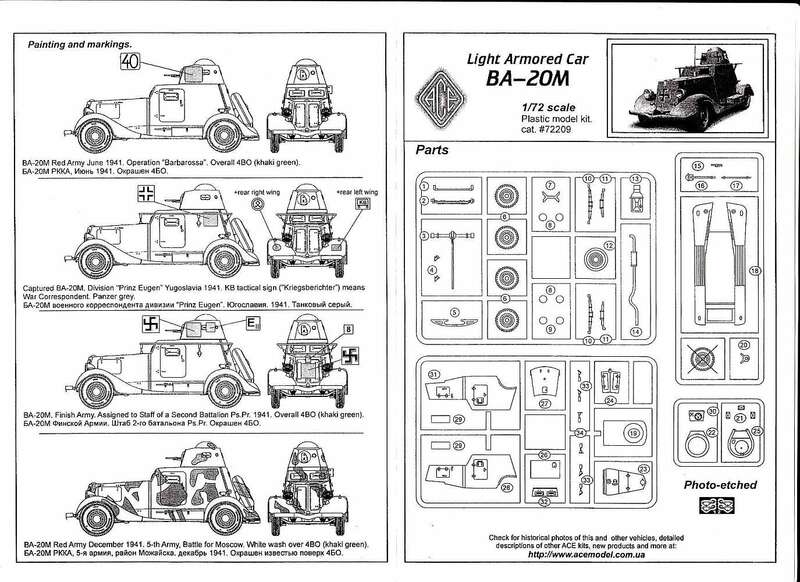 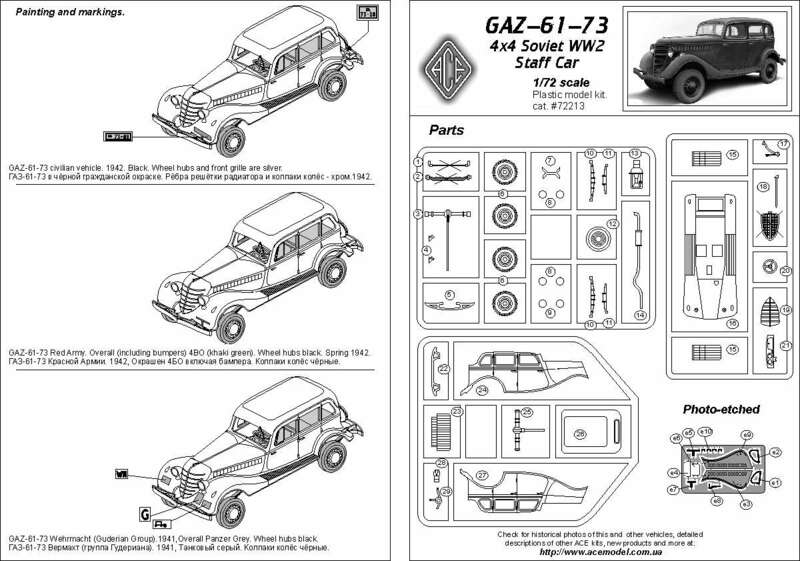 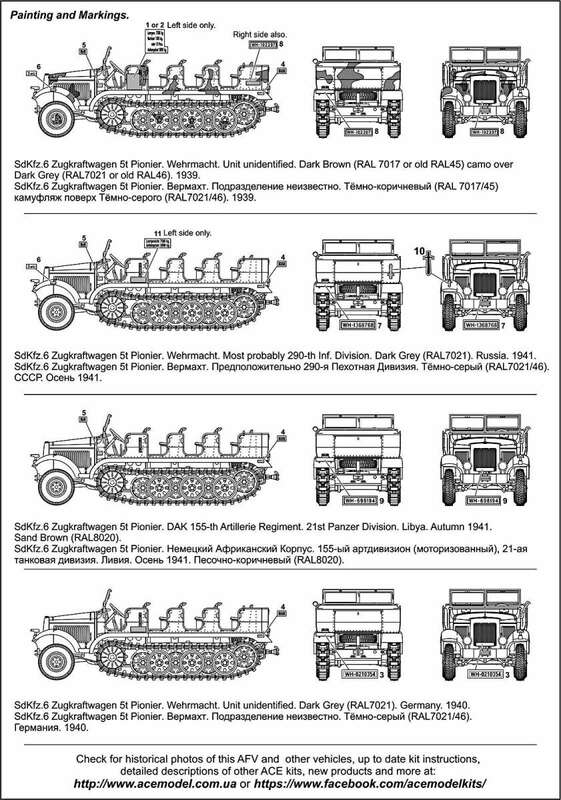 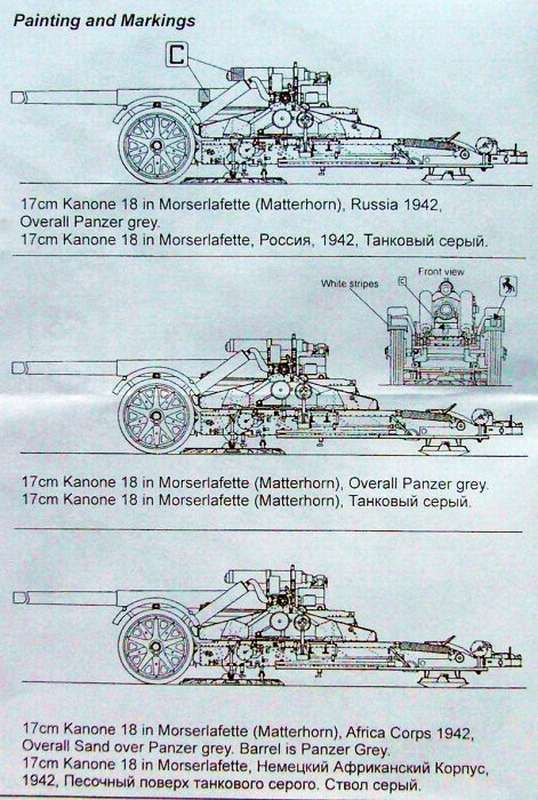 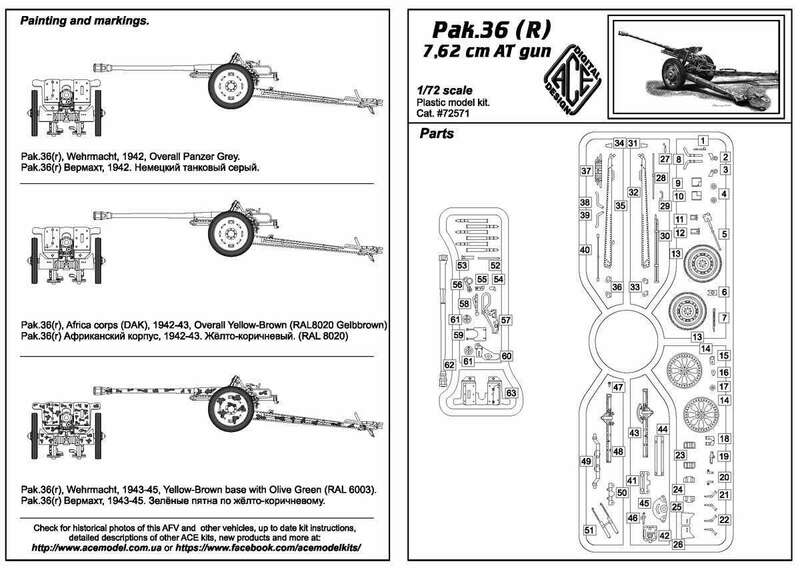 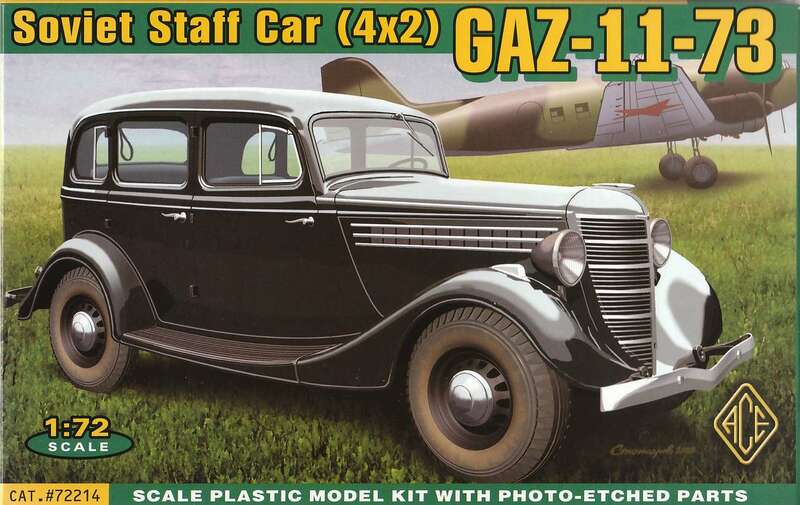 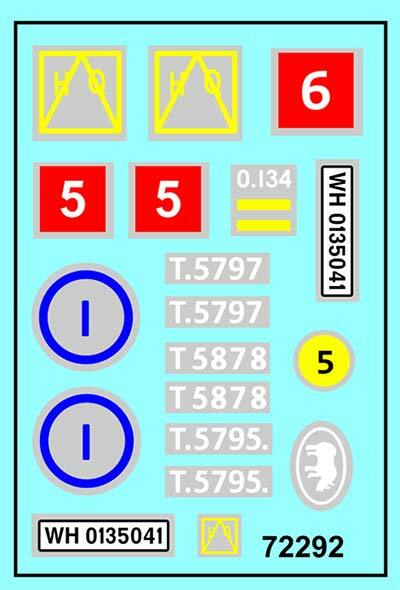 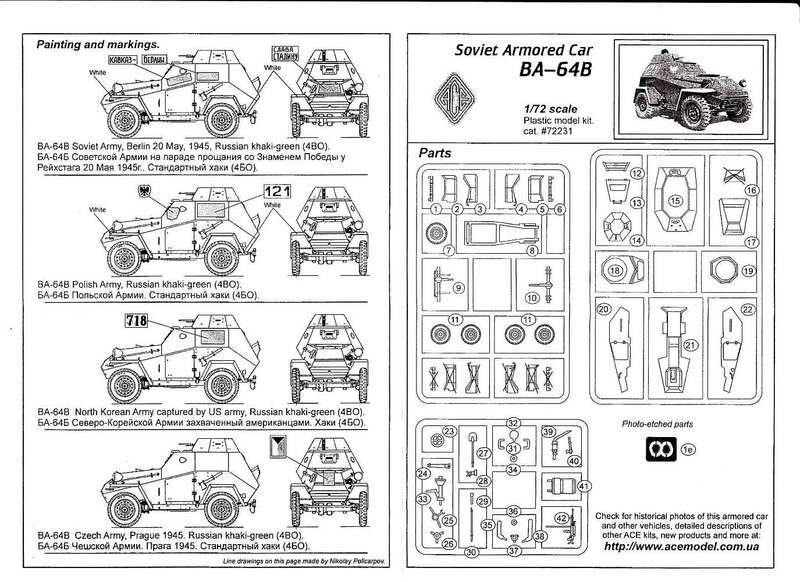 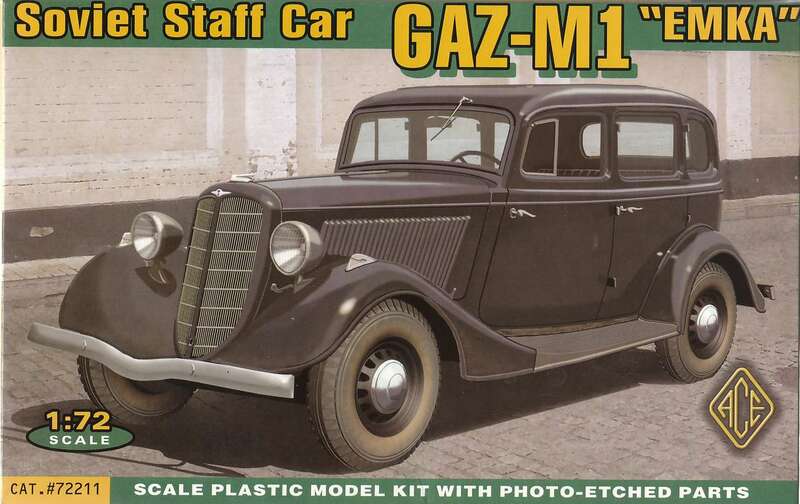 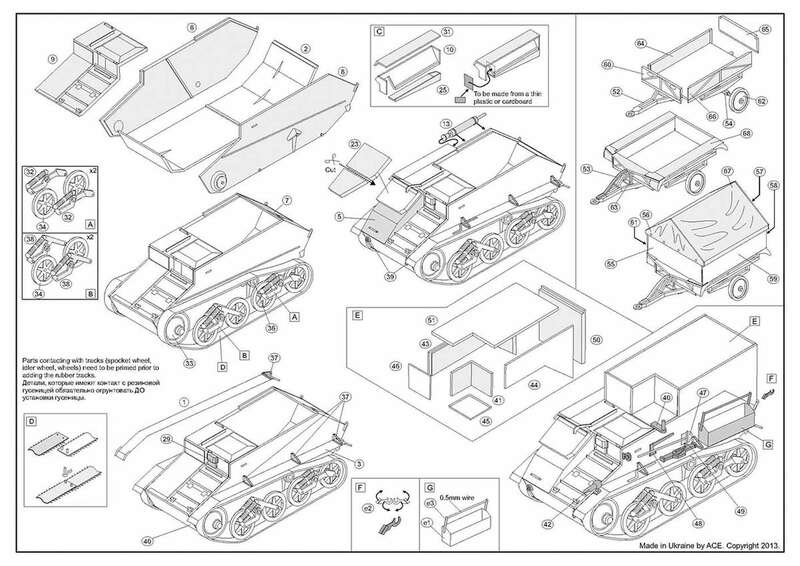 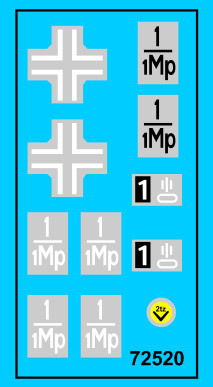 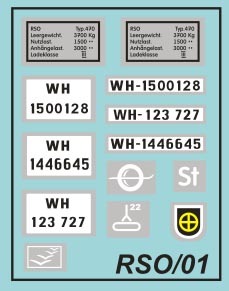 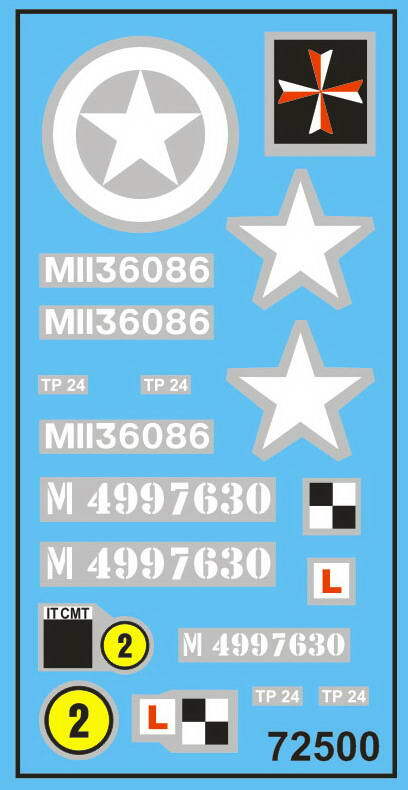 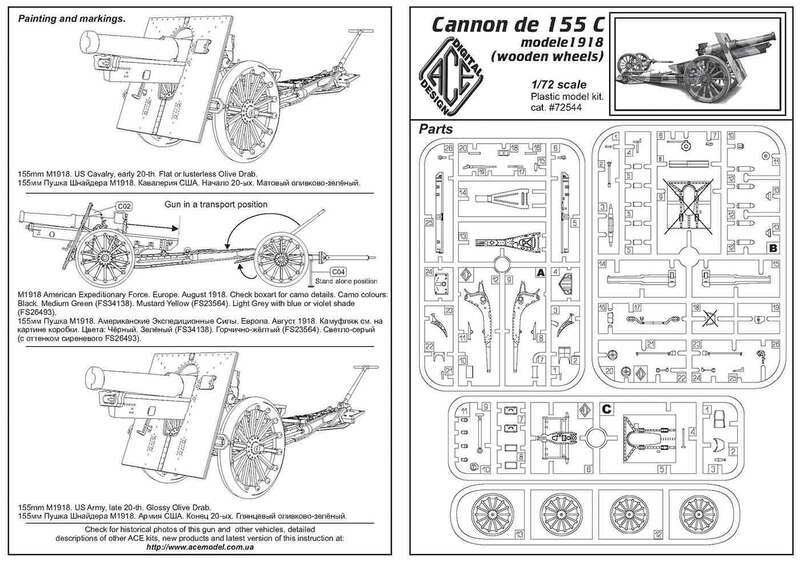 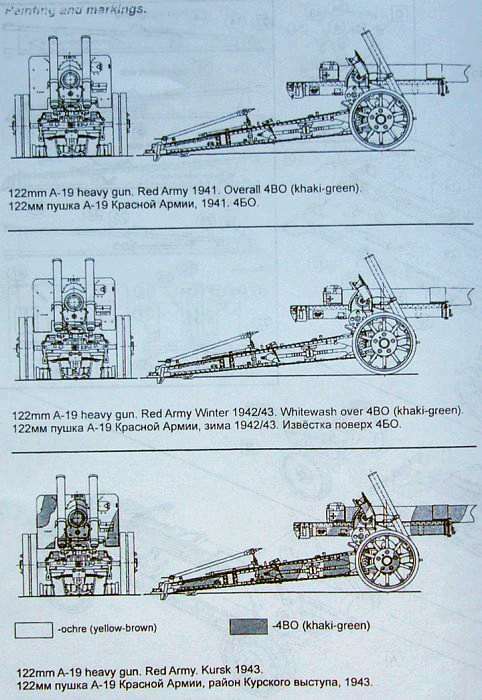 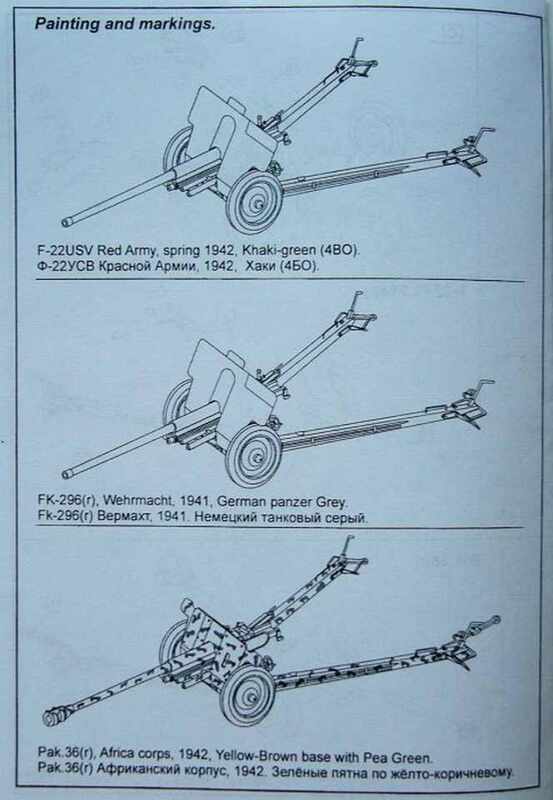 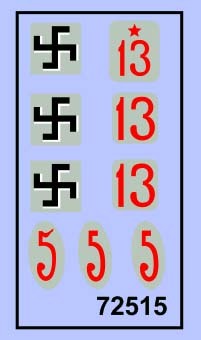 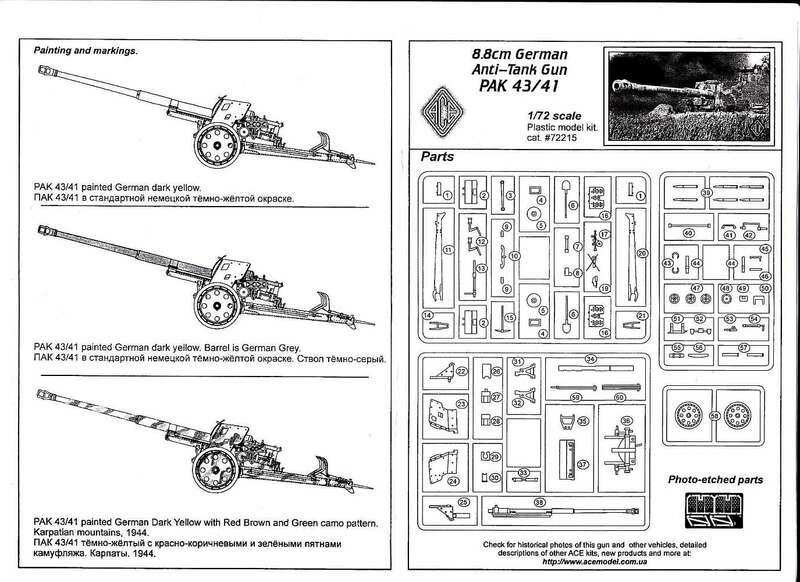 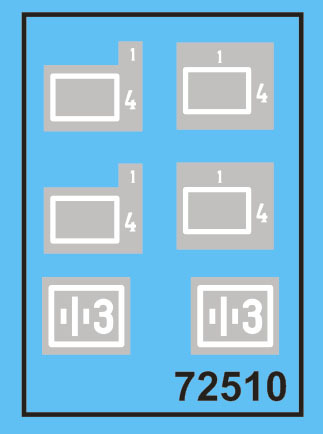 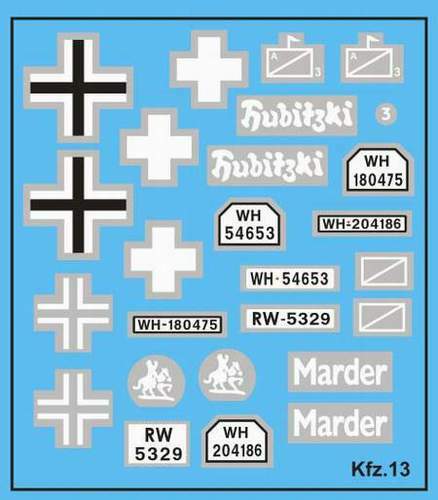 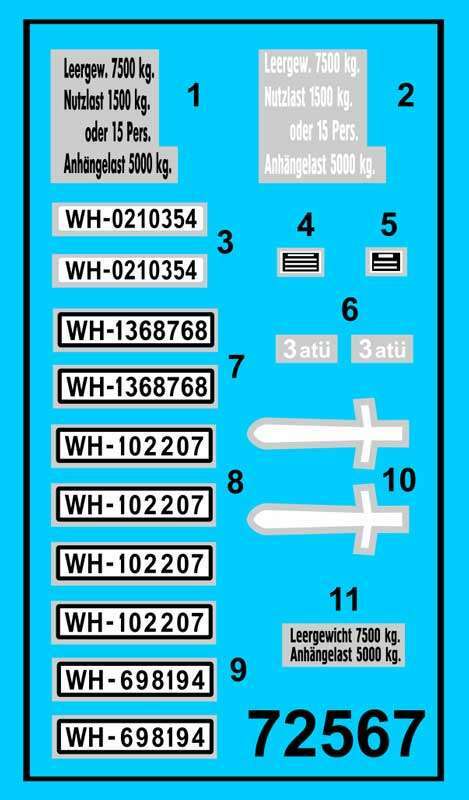 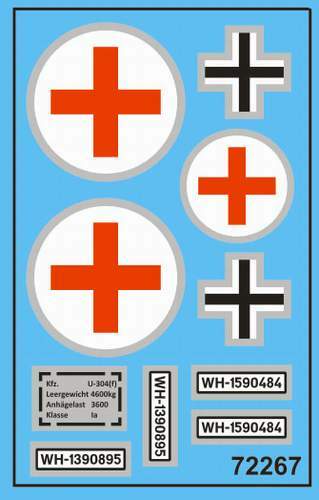 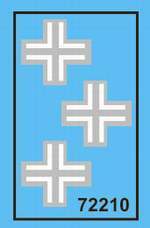 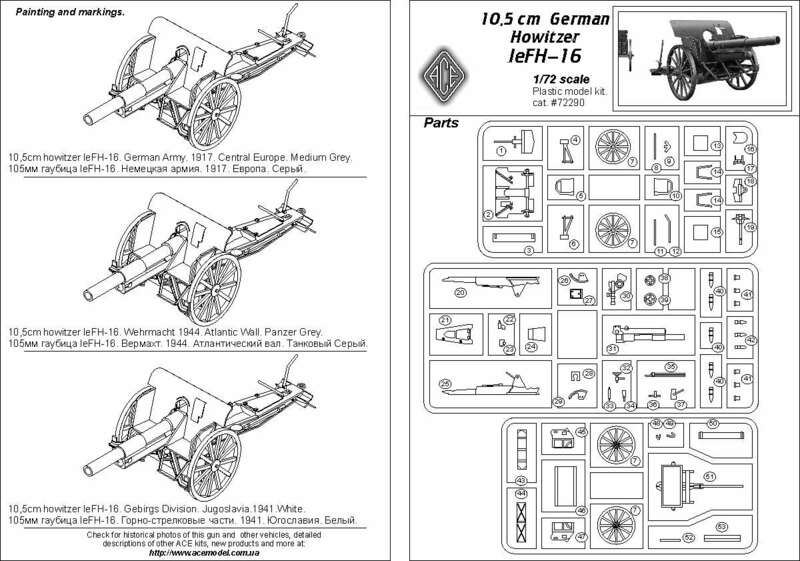 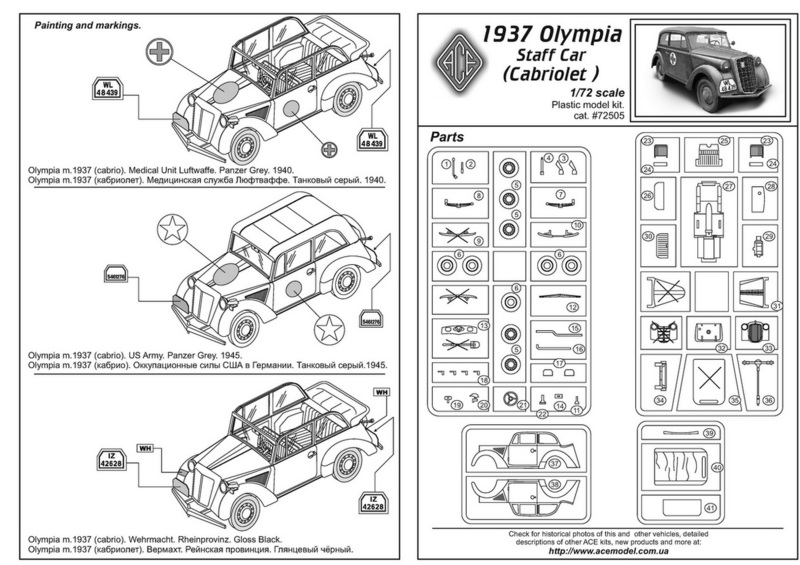 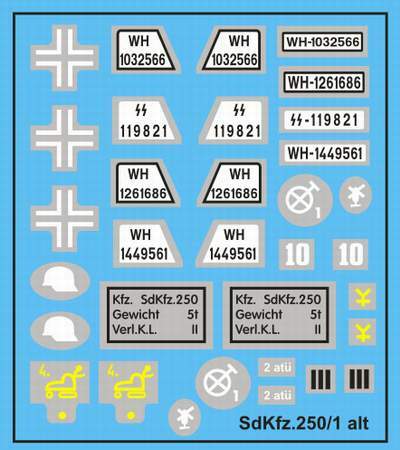 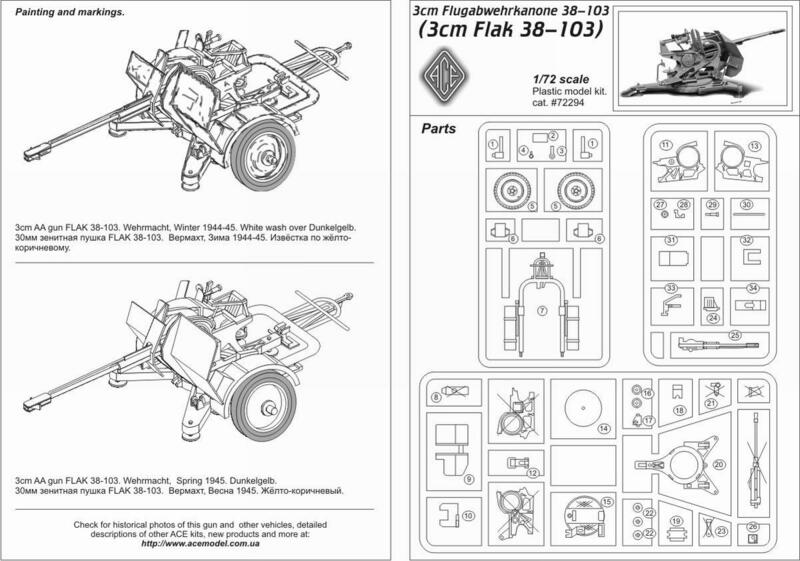 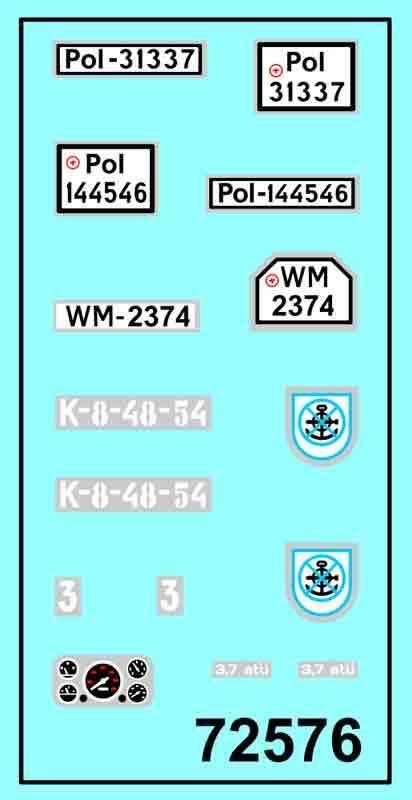 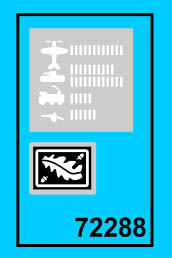 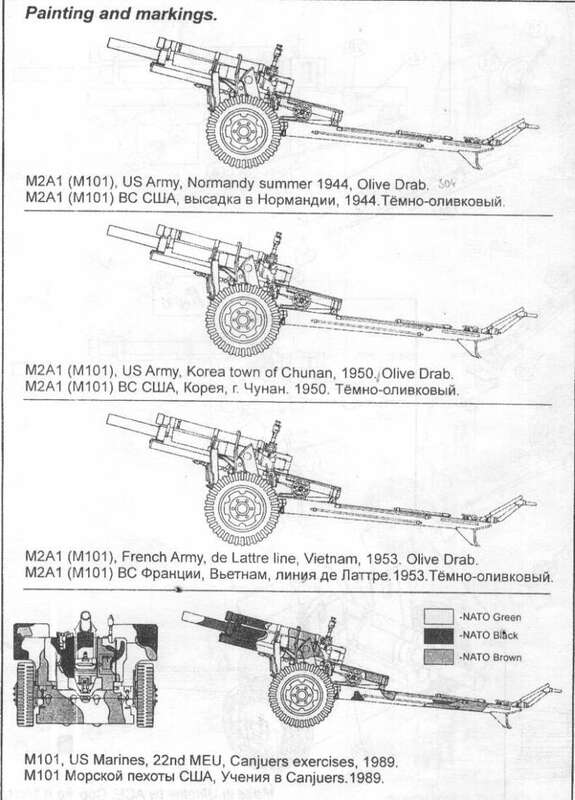 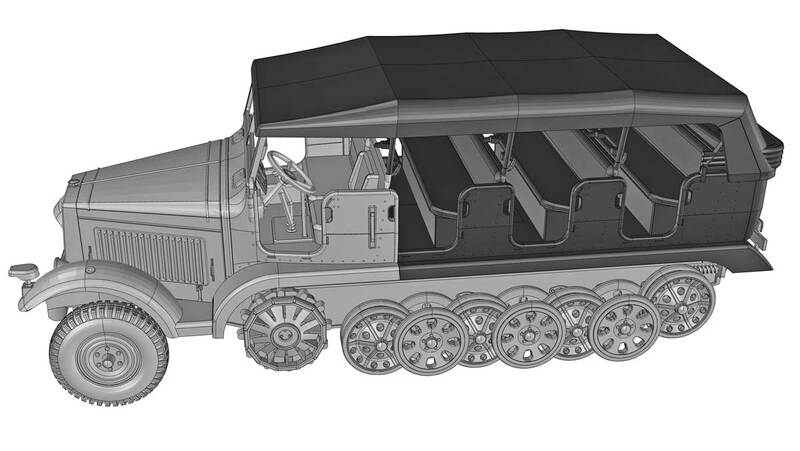 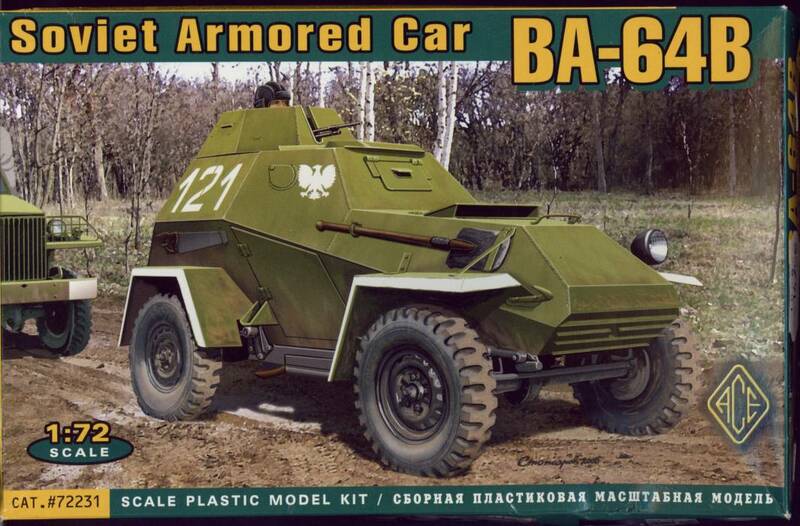 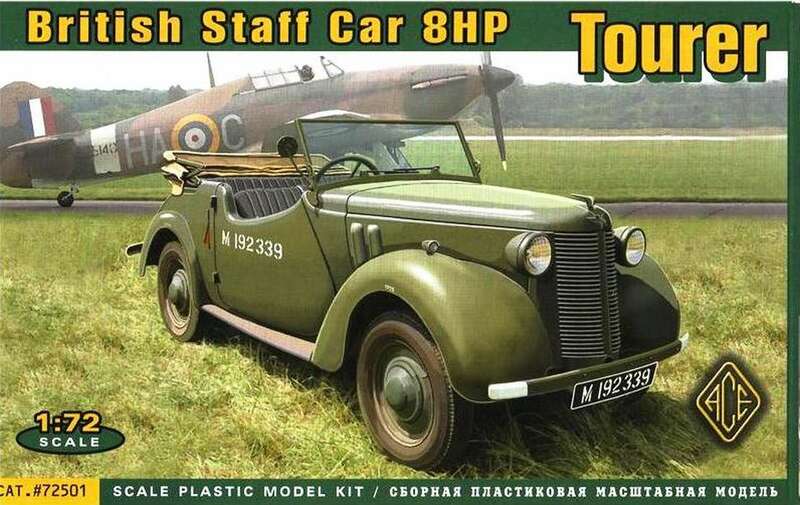 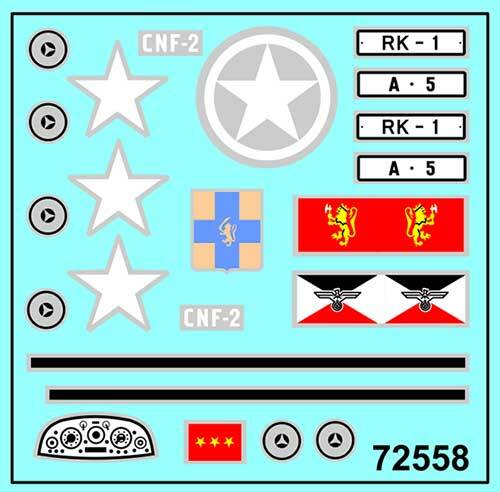 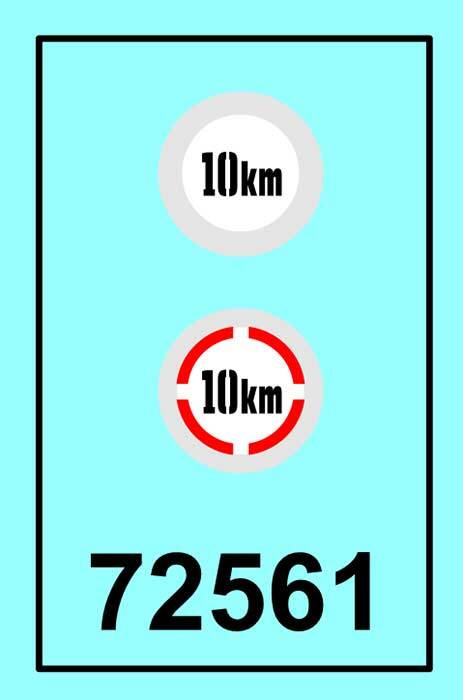 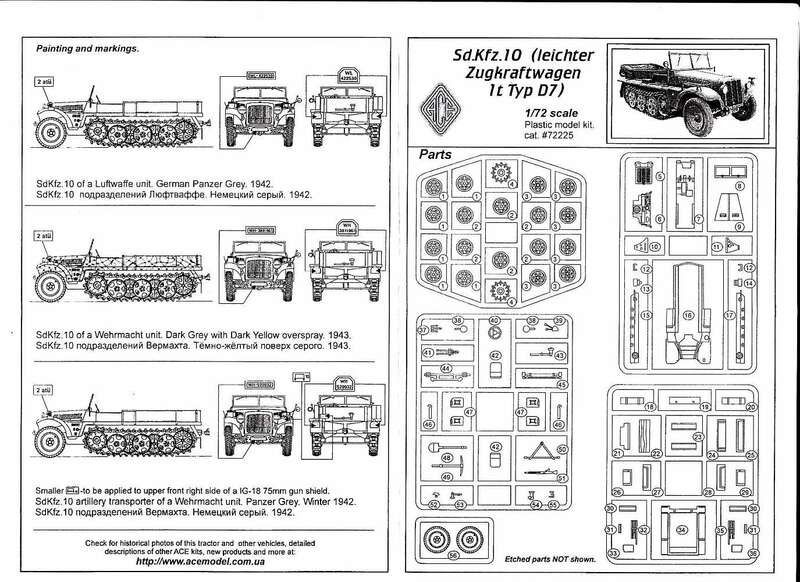 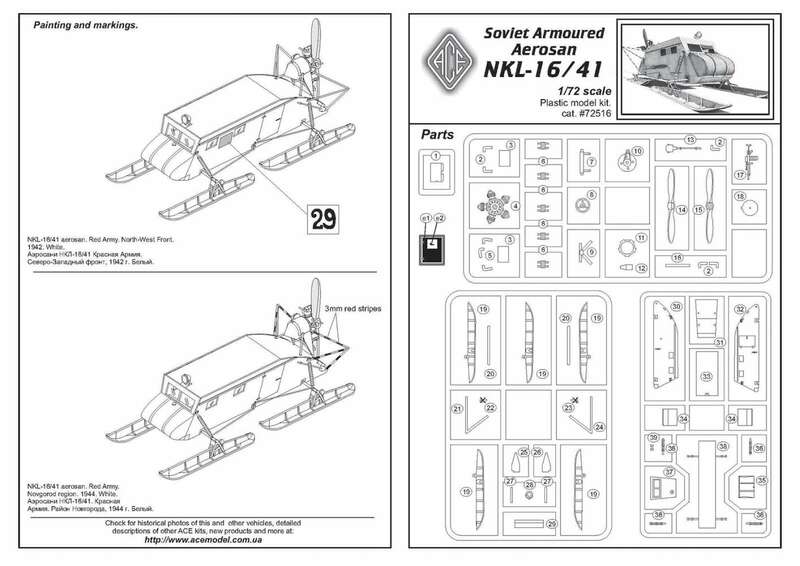 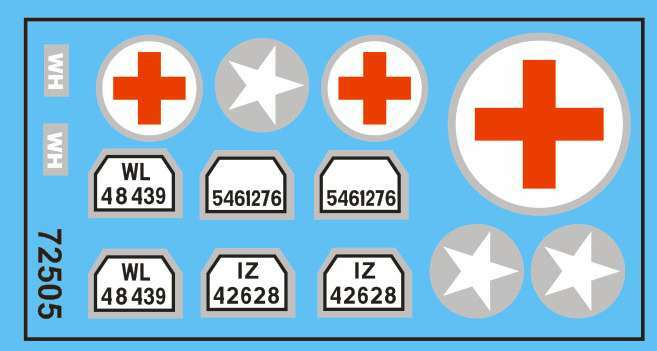 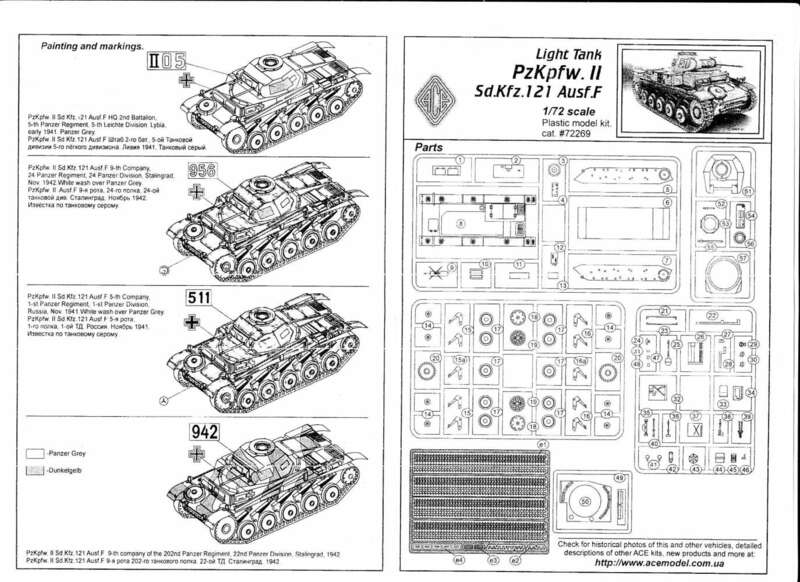 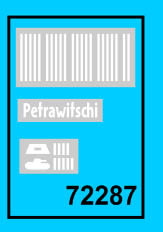 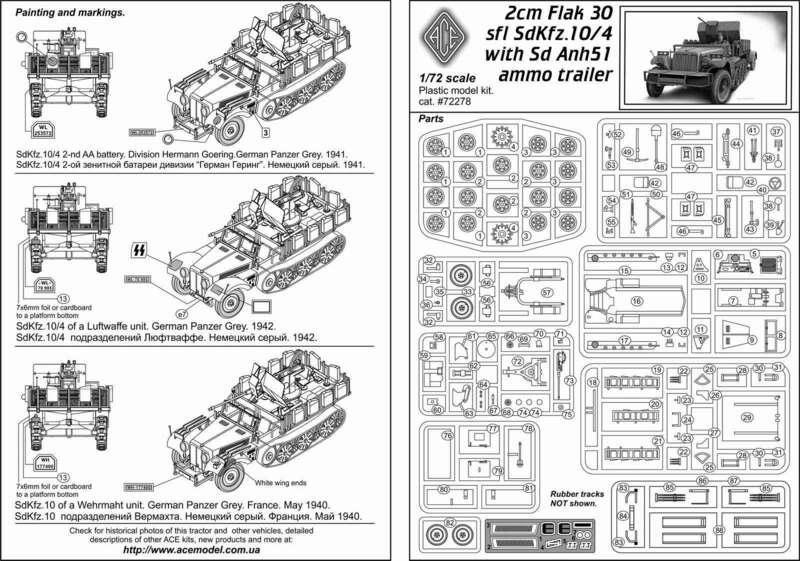 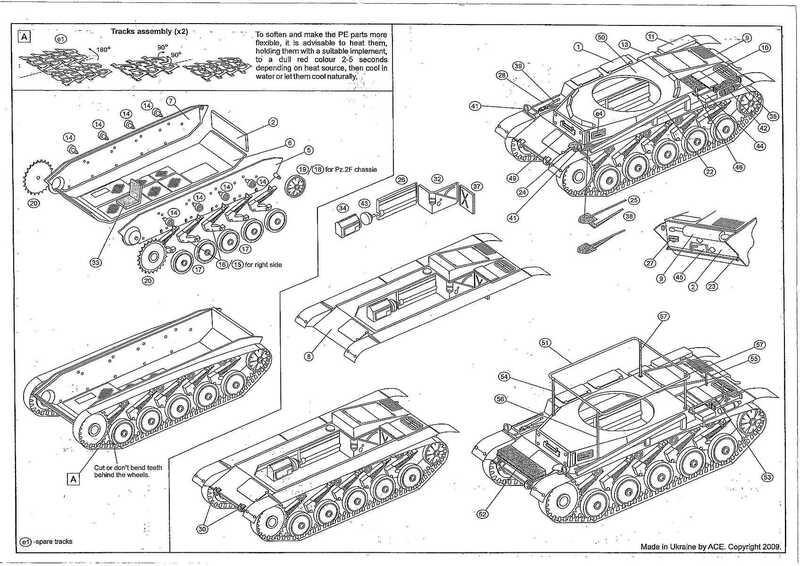 The new decal sheet has markings for five vehicles, 4 Soviet and 1 Polish. 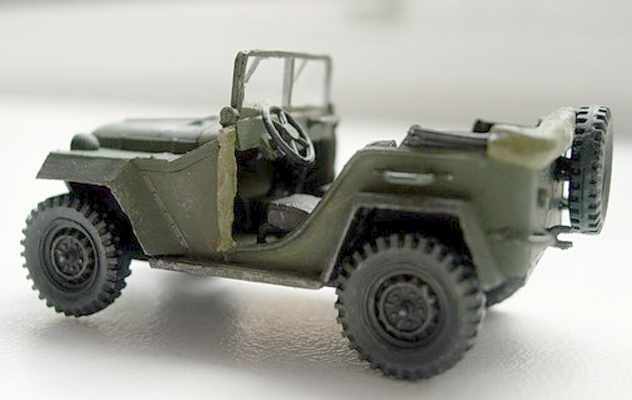 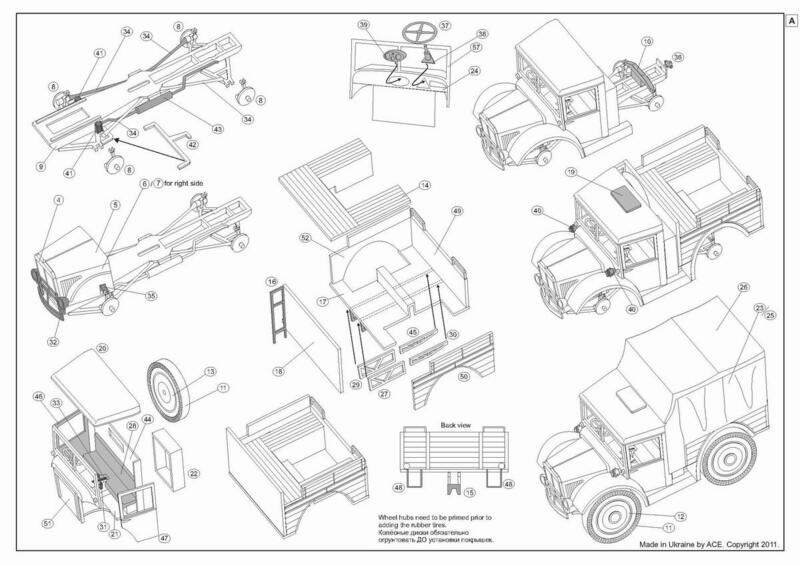 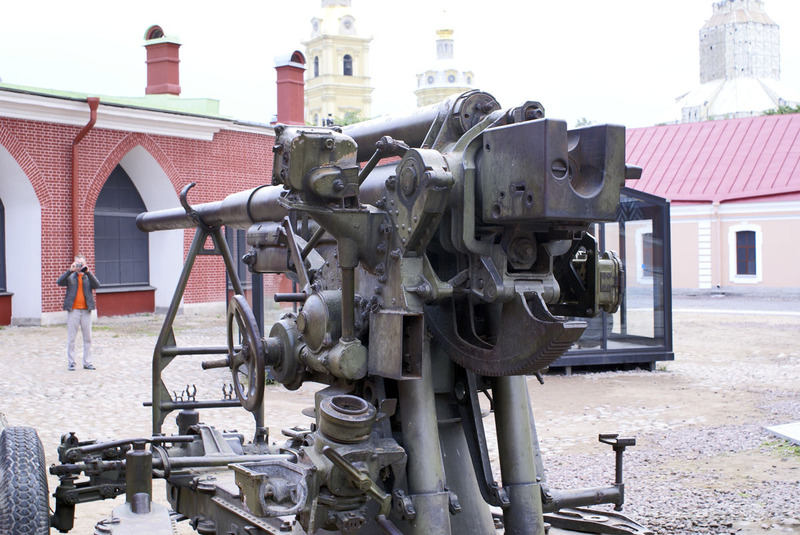 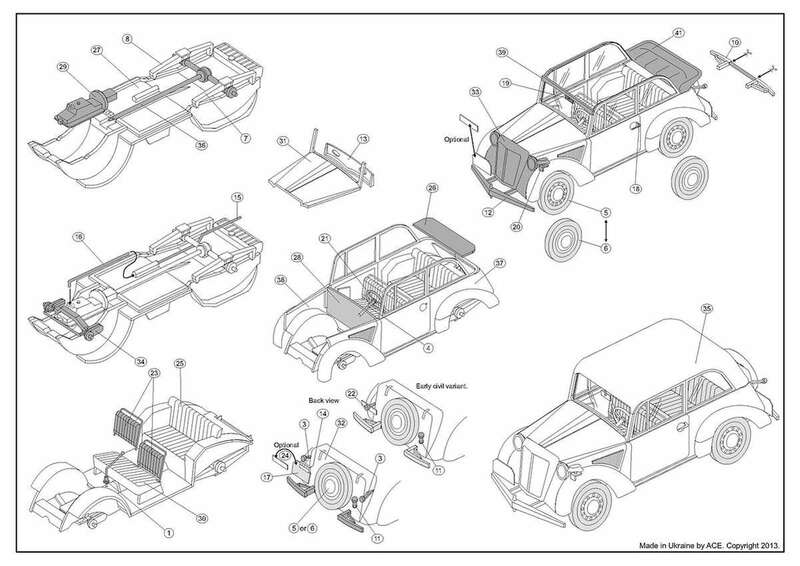 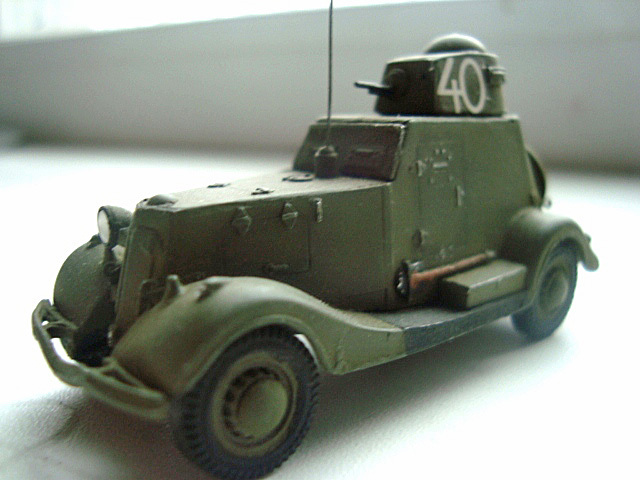 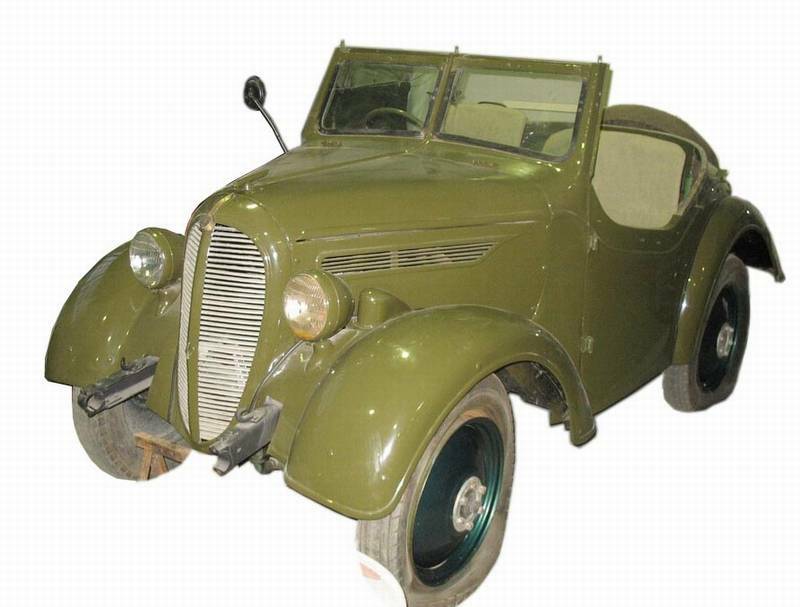 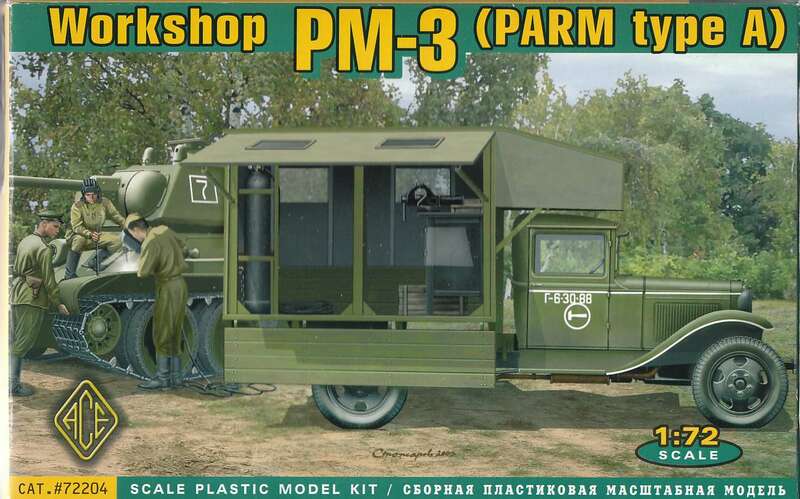 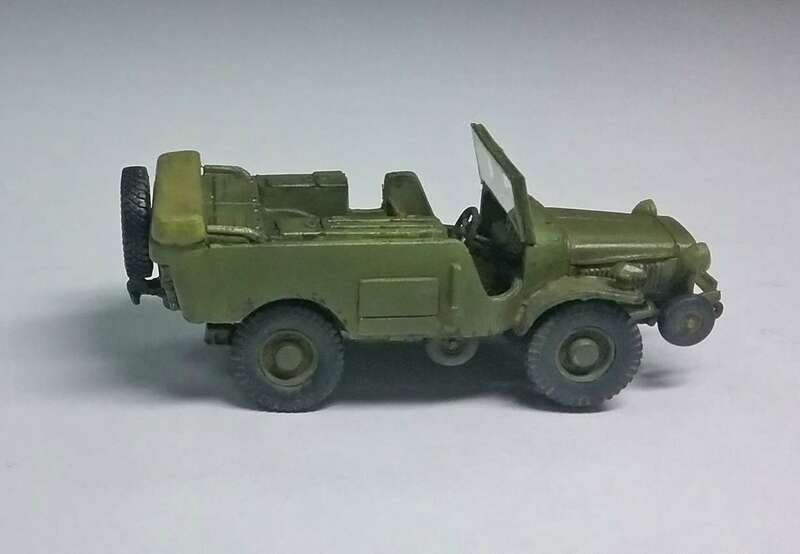 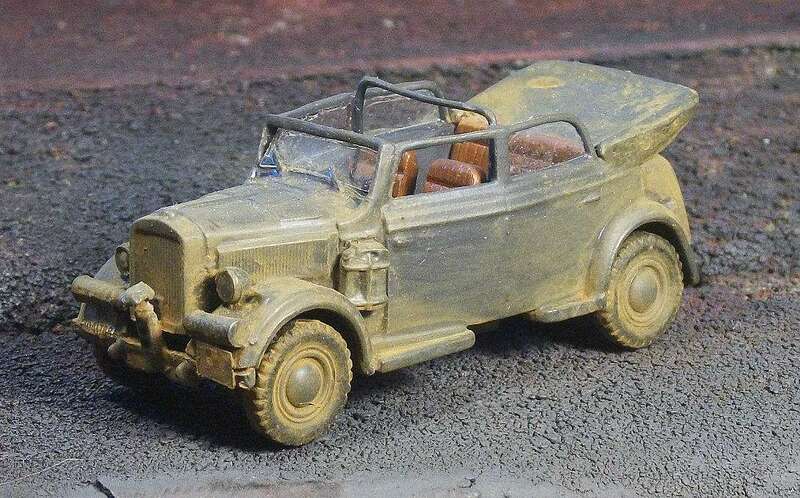 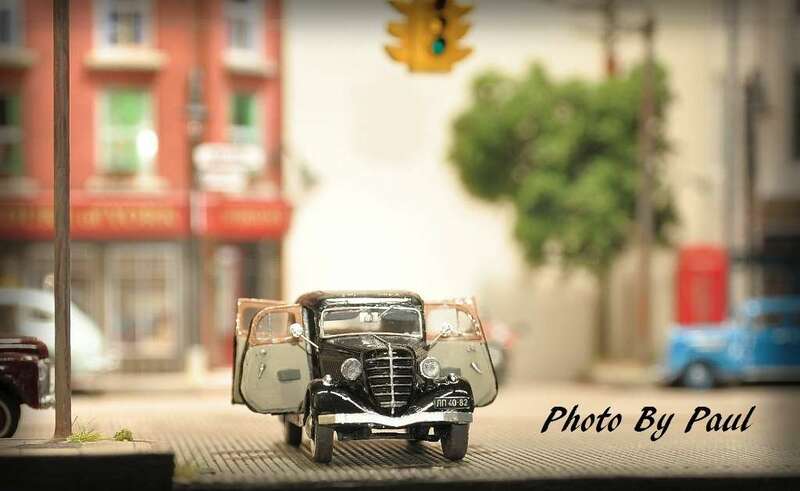 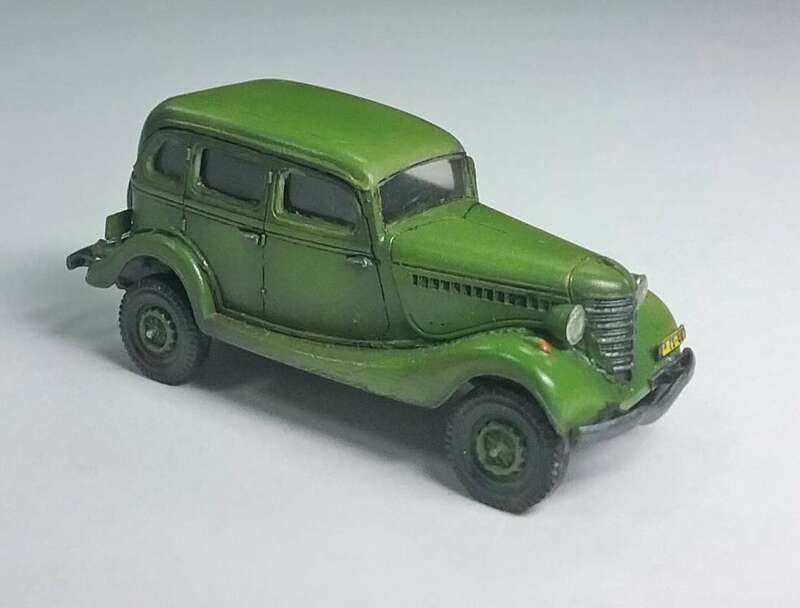 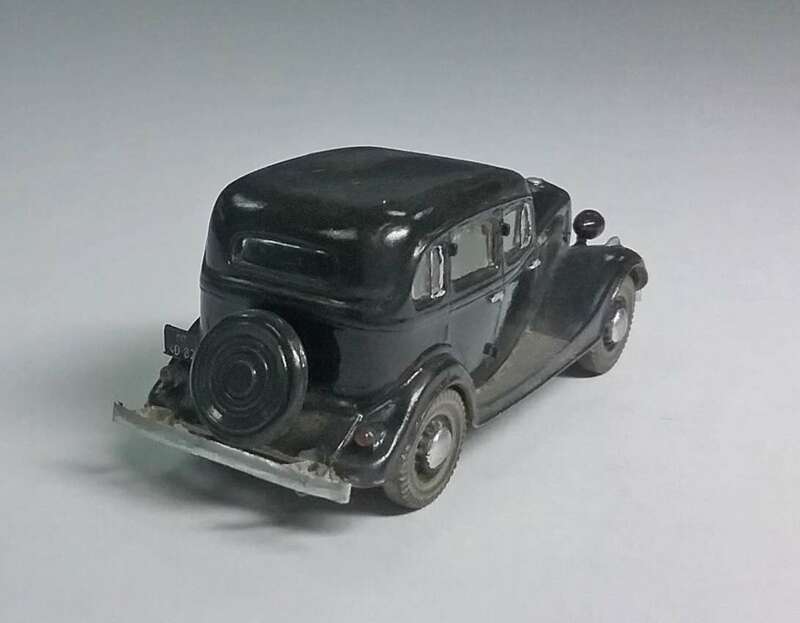 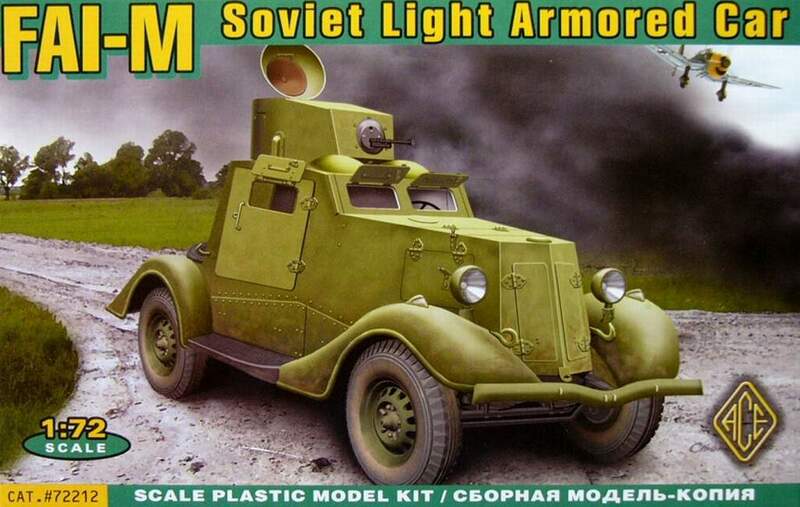 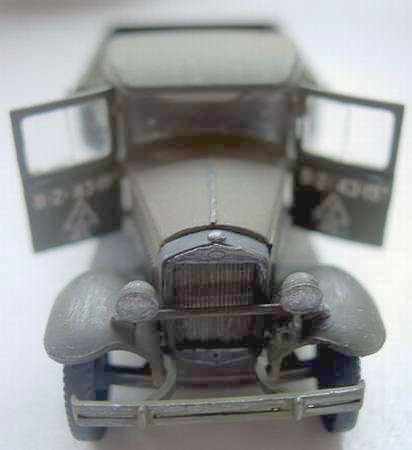 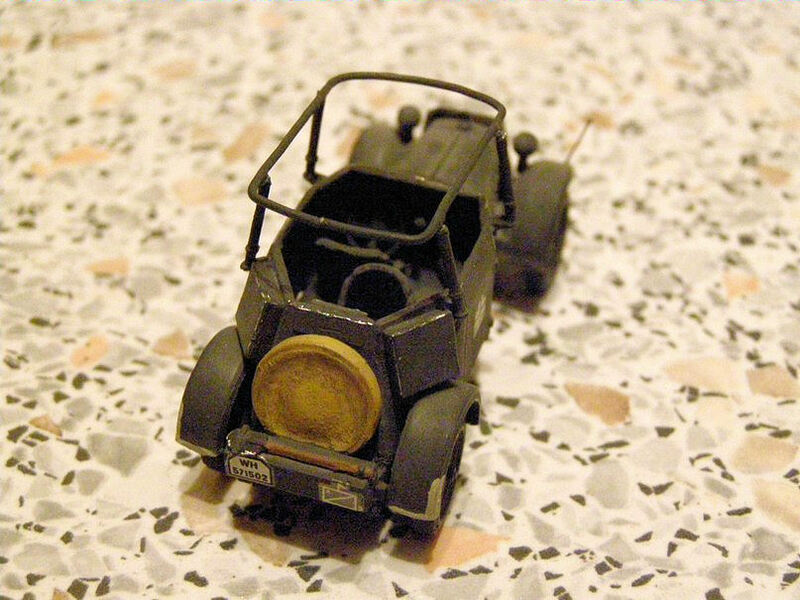 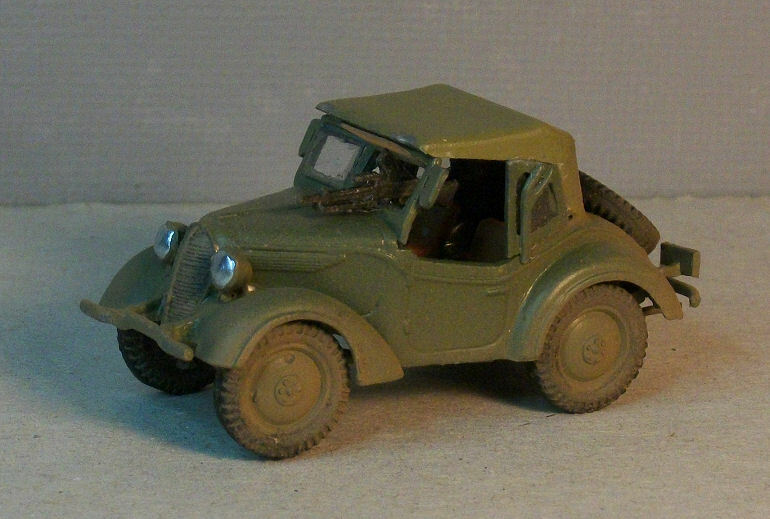 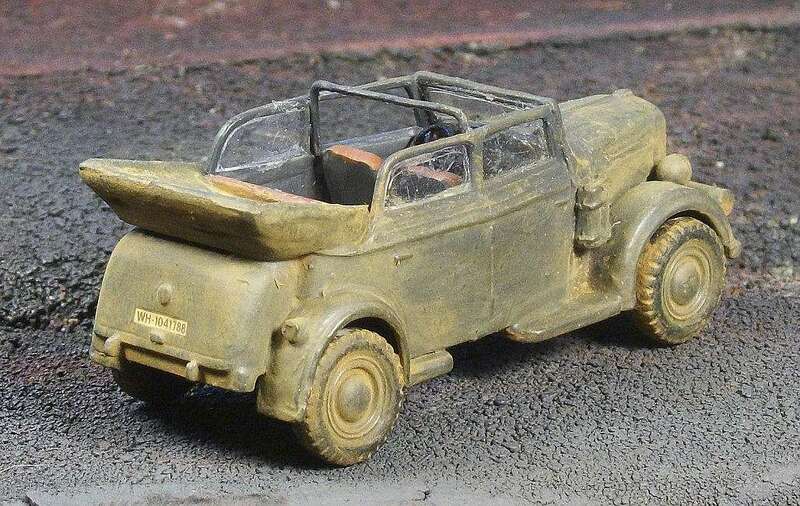 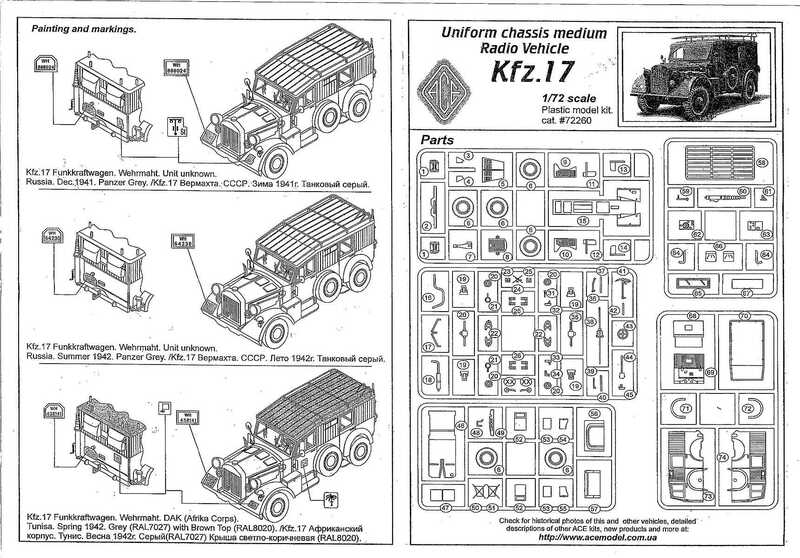 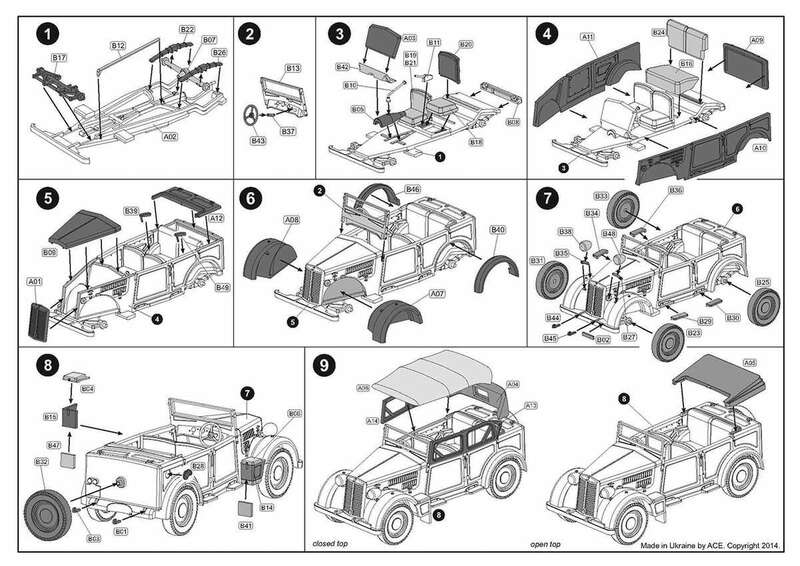 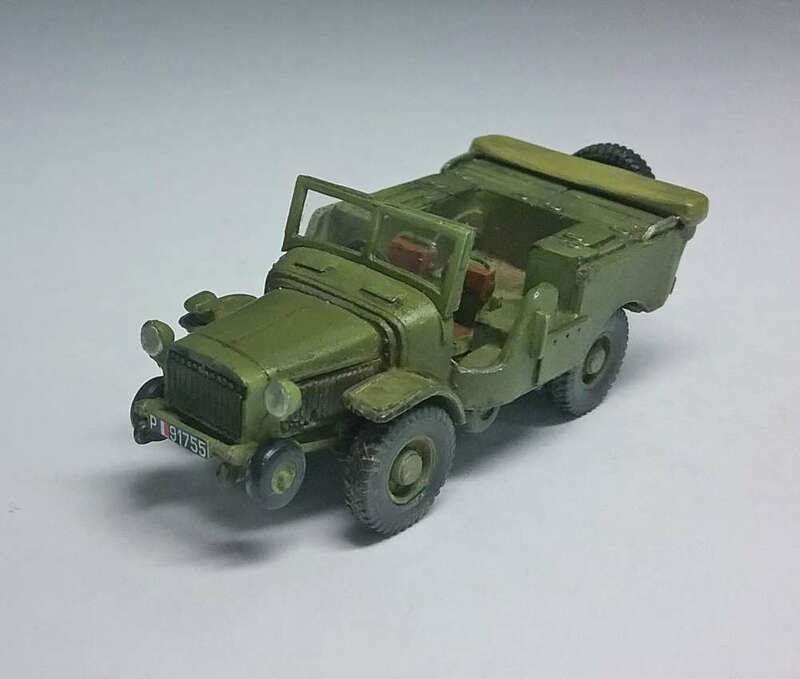 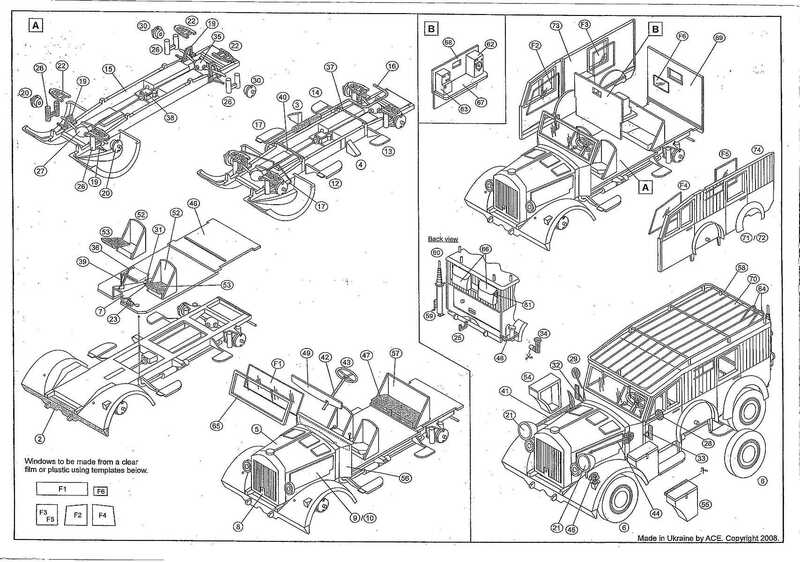 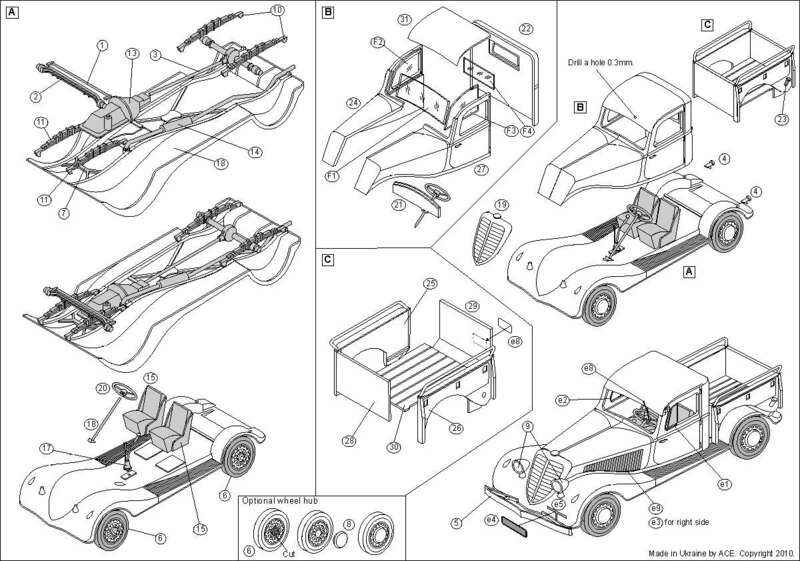 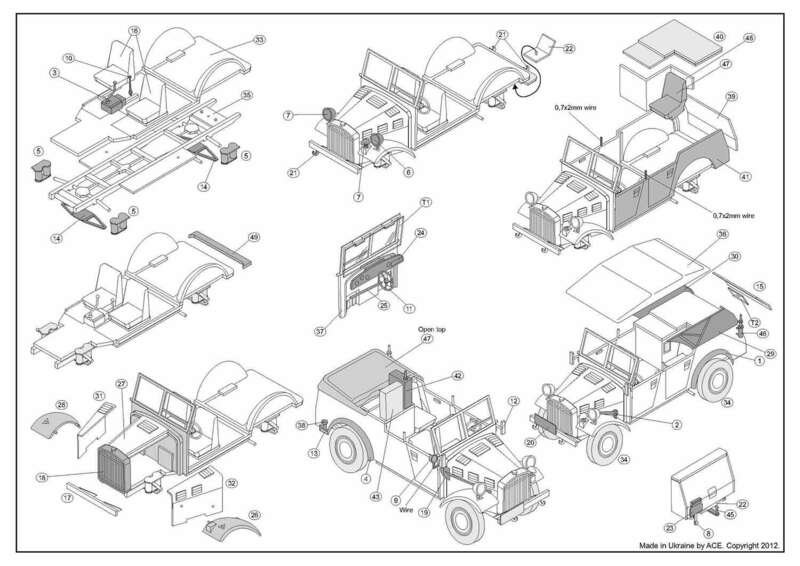 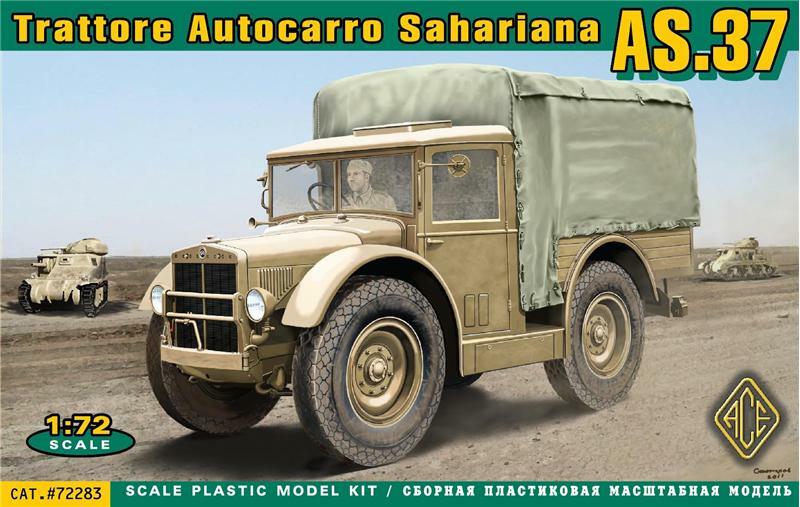 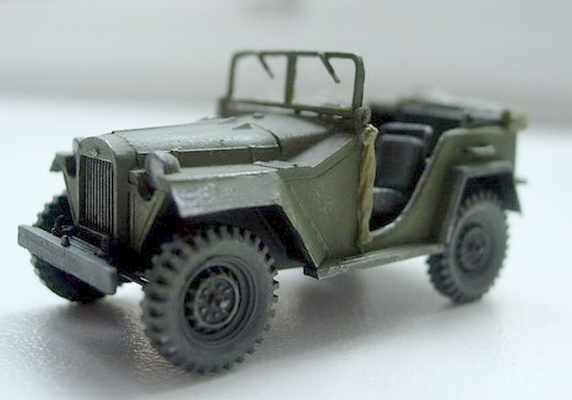 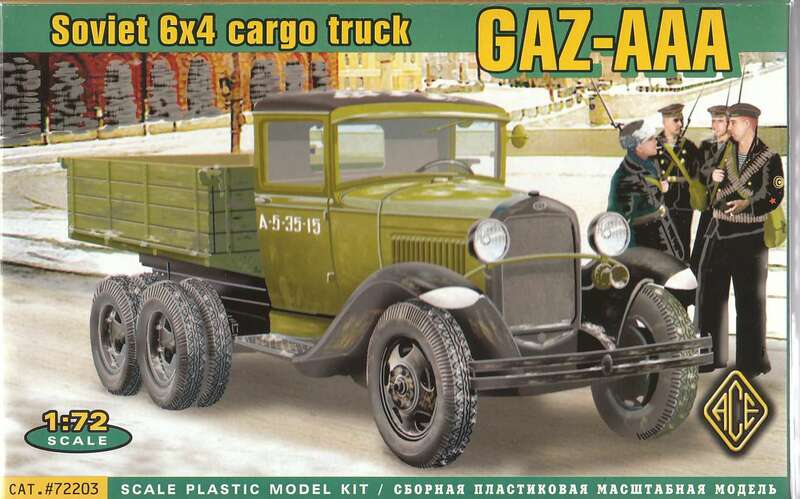 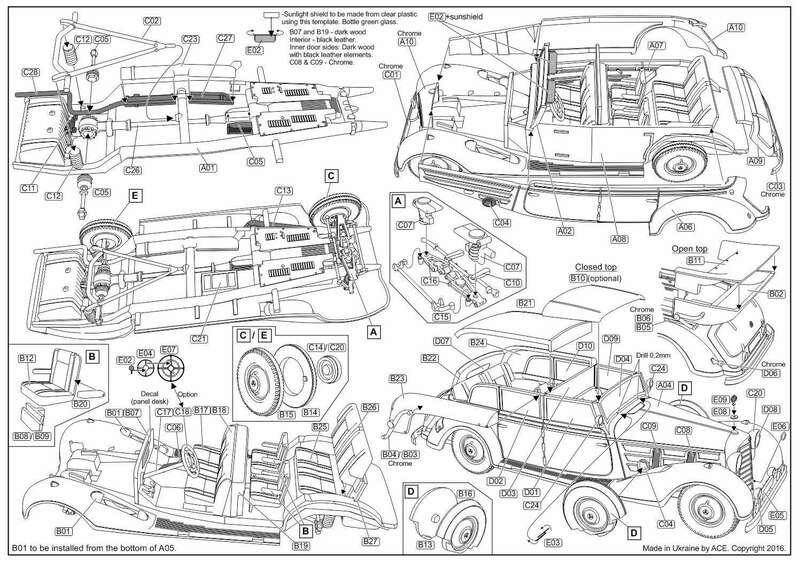 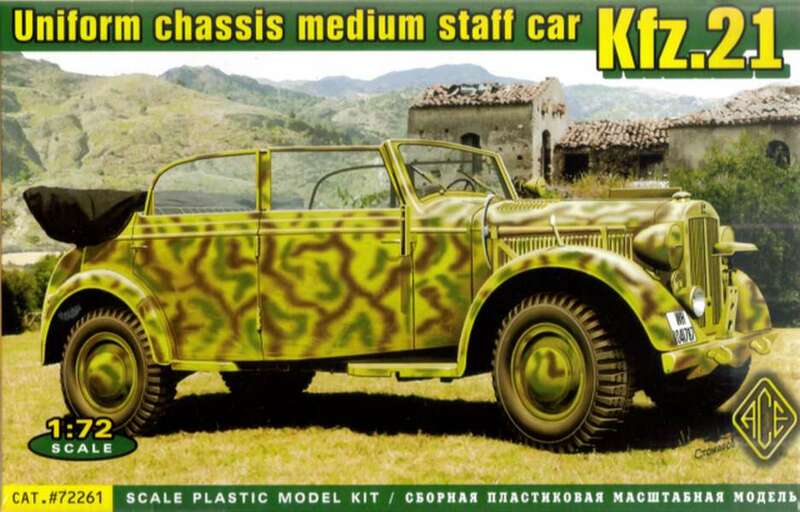 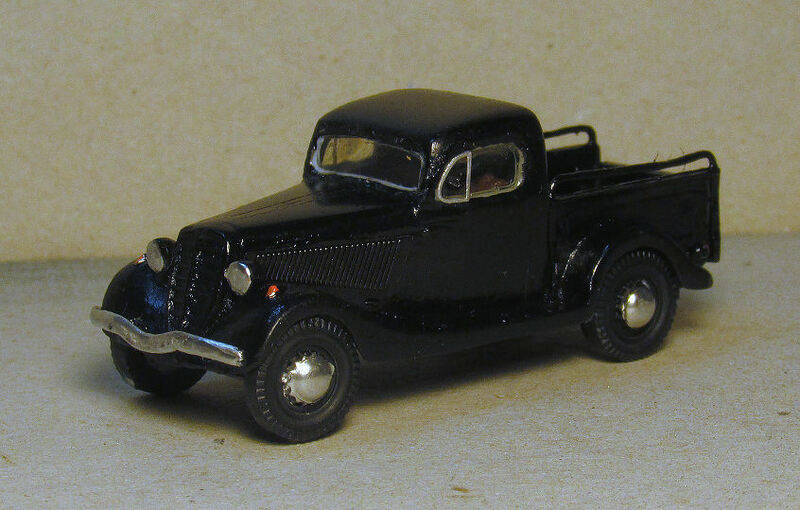 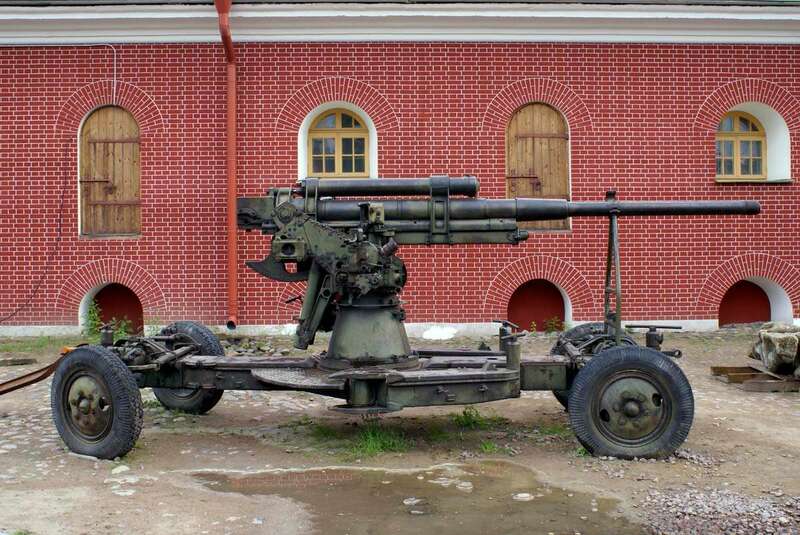 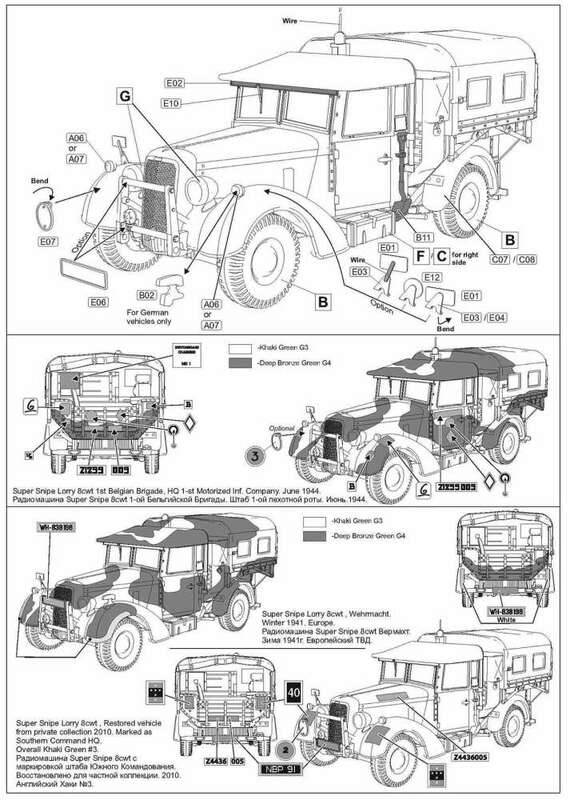 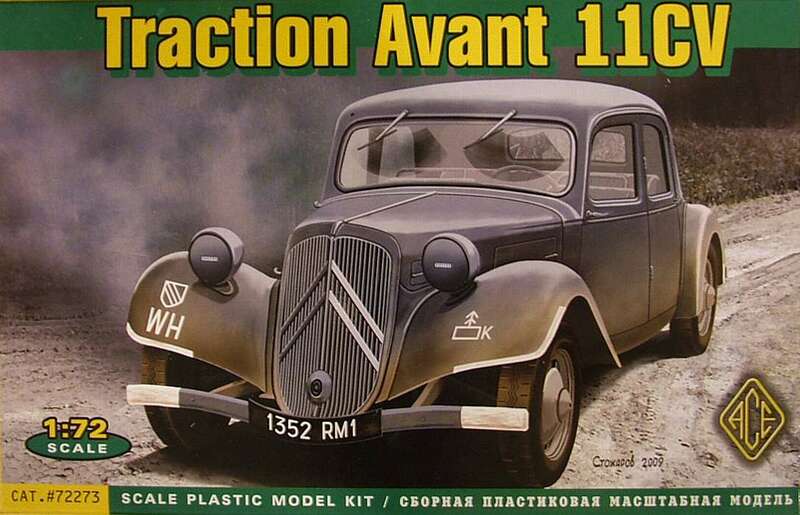 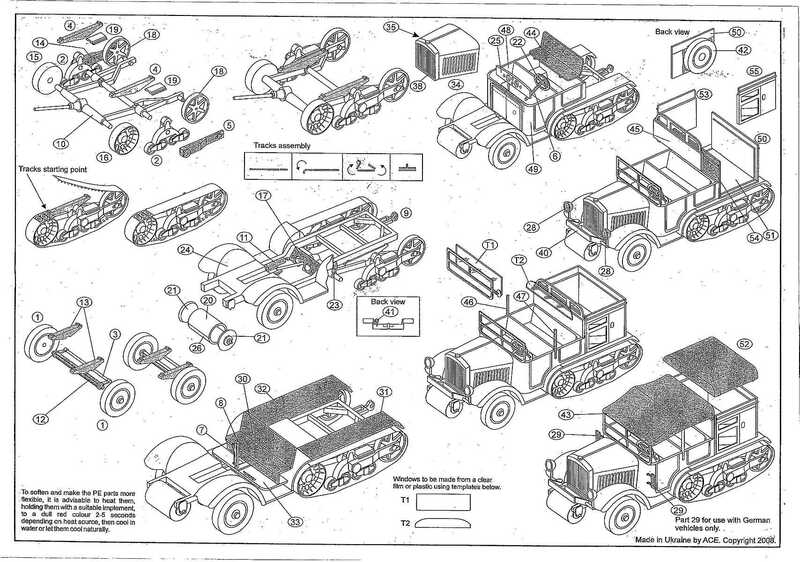 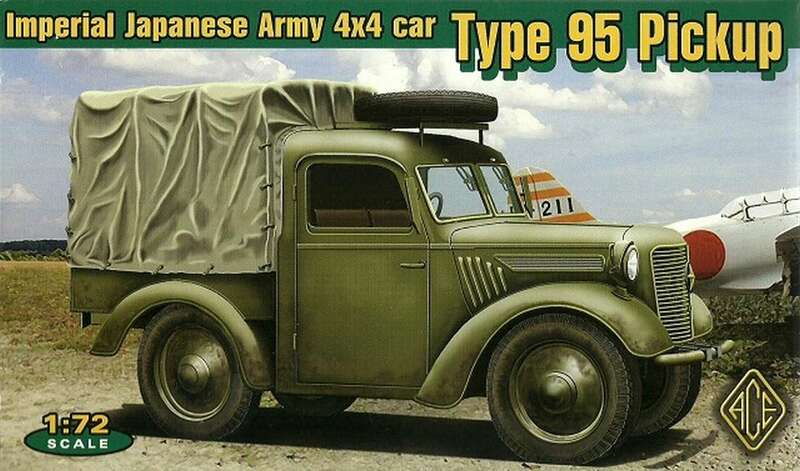 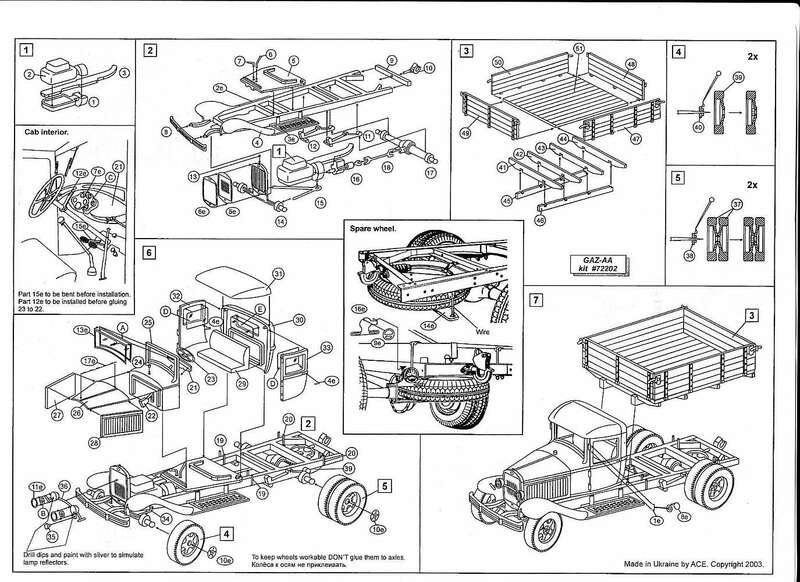 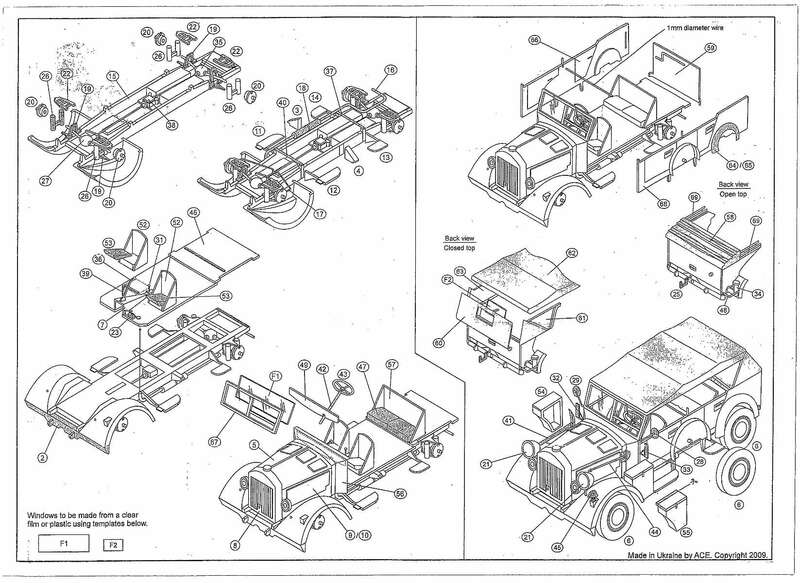 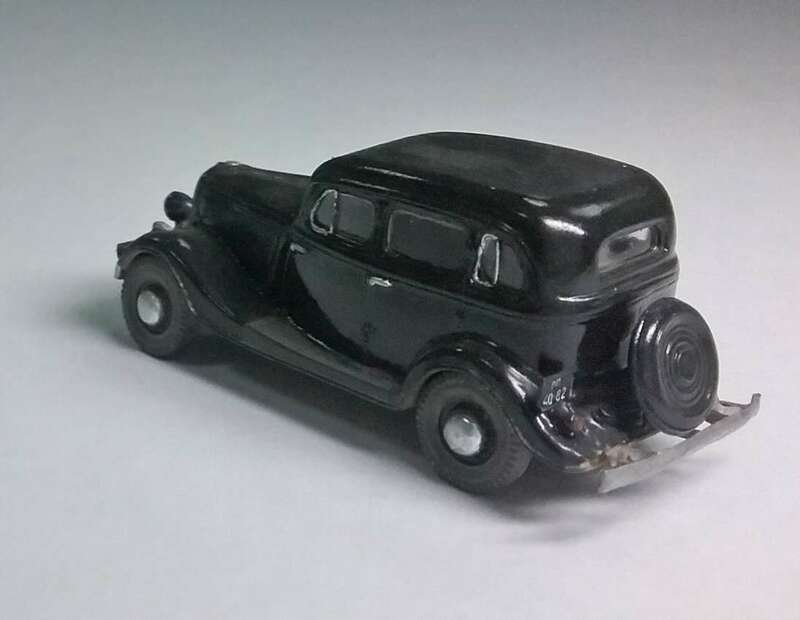 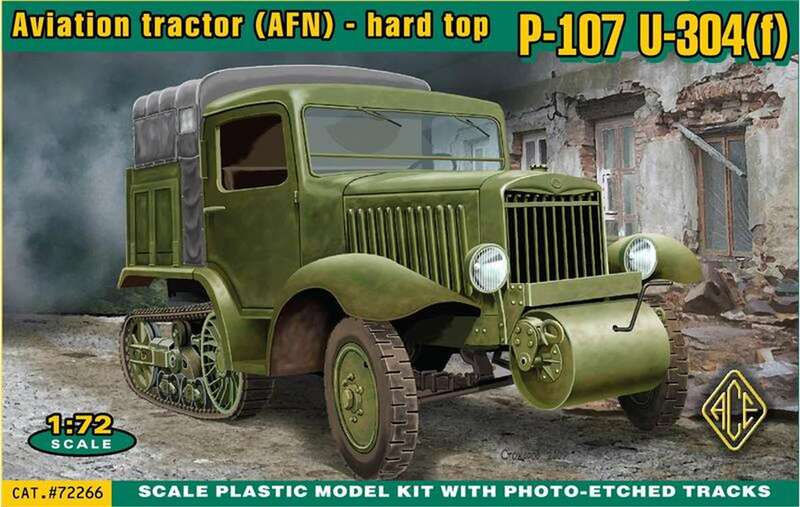 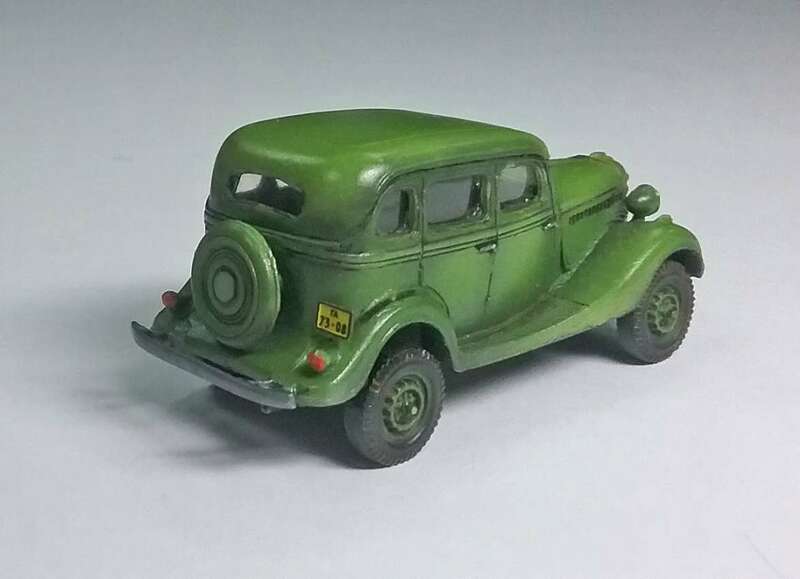 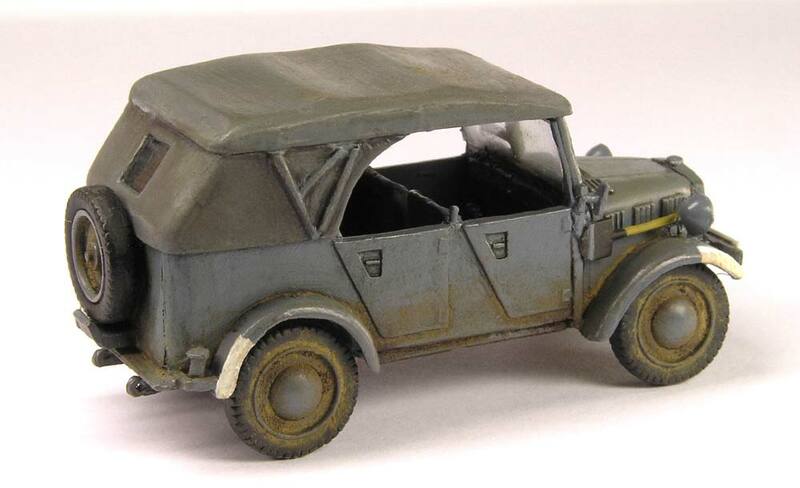 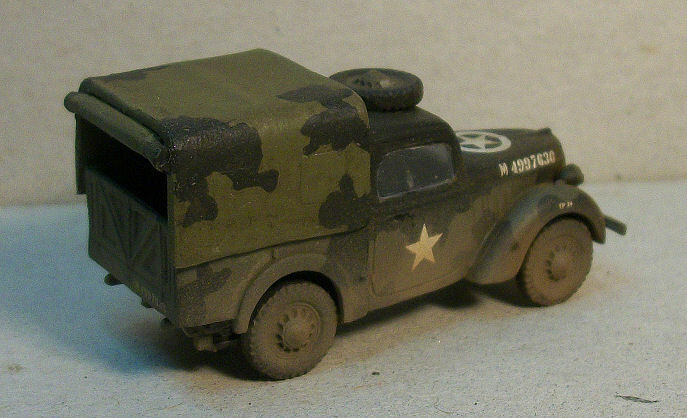 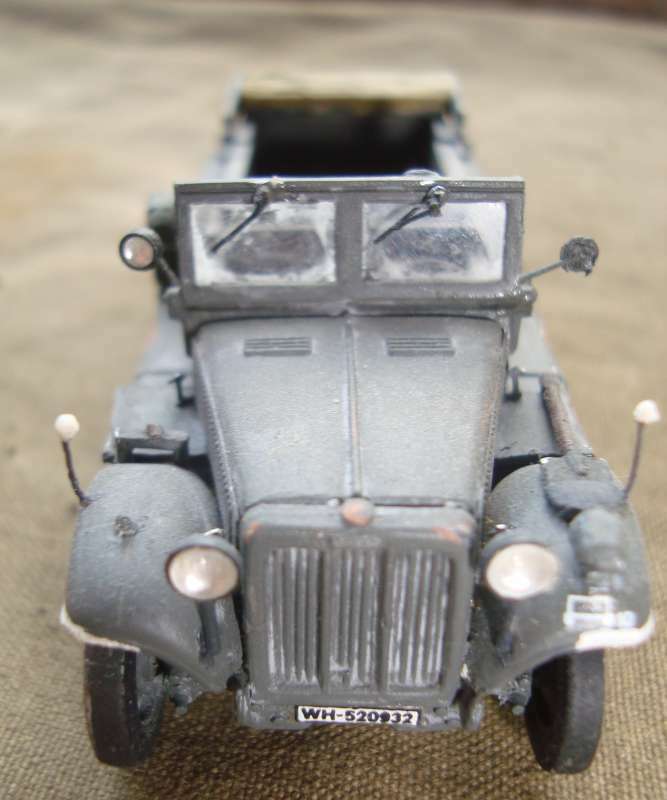 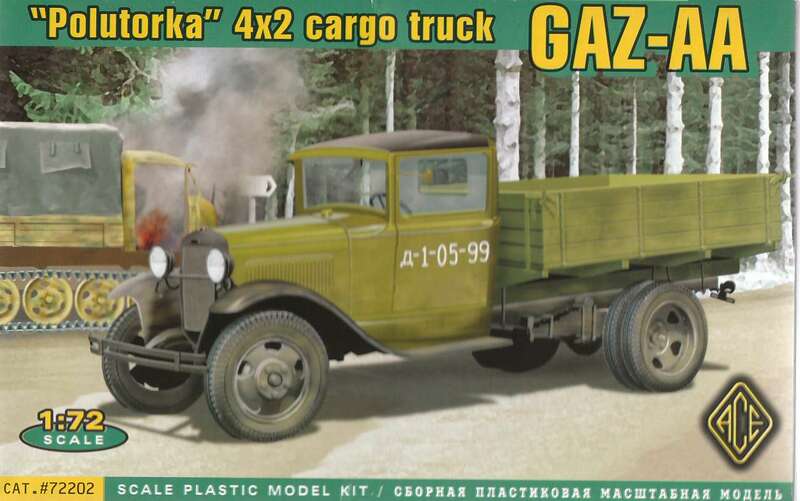 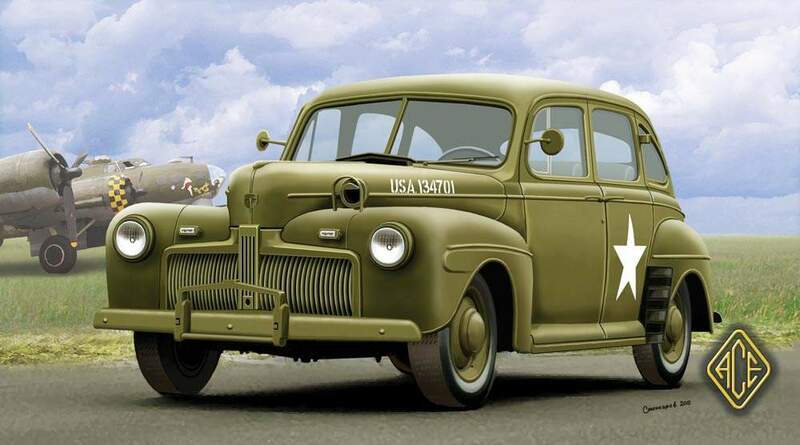 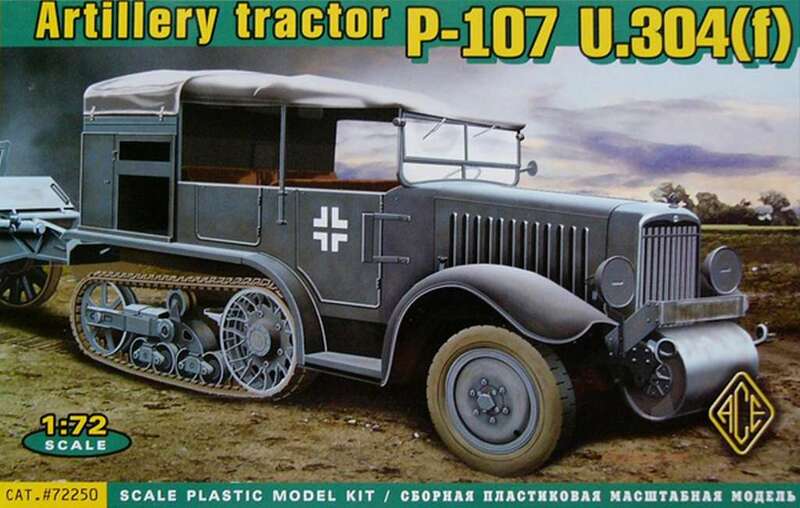 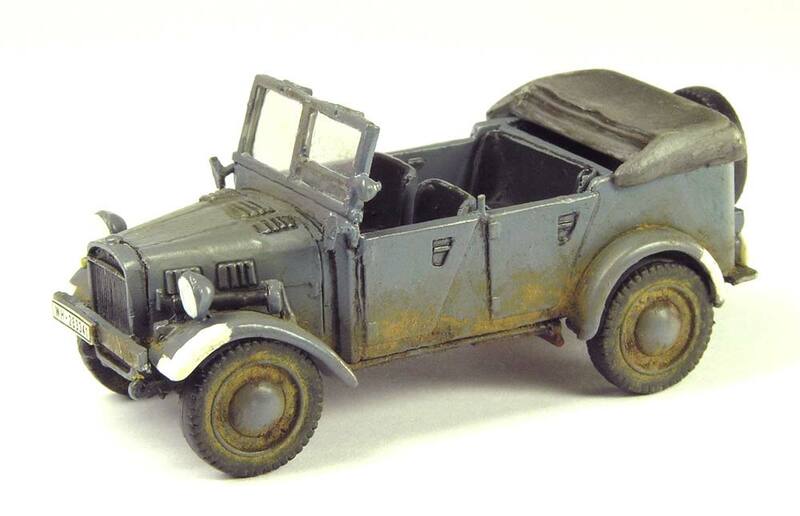 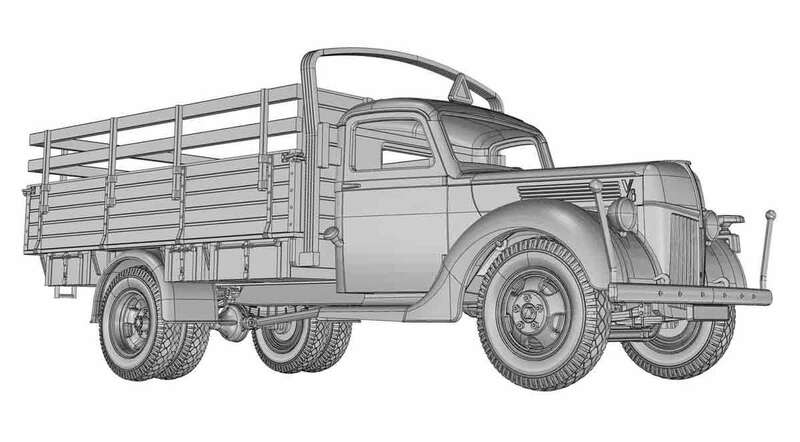 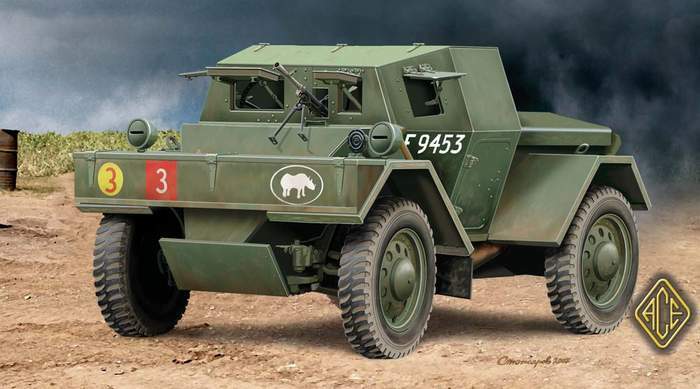 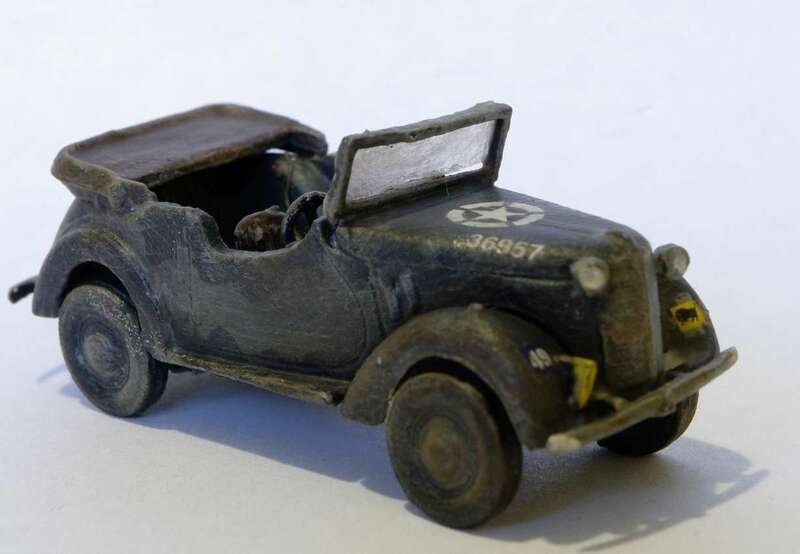 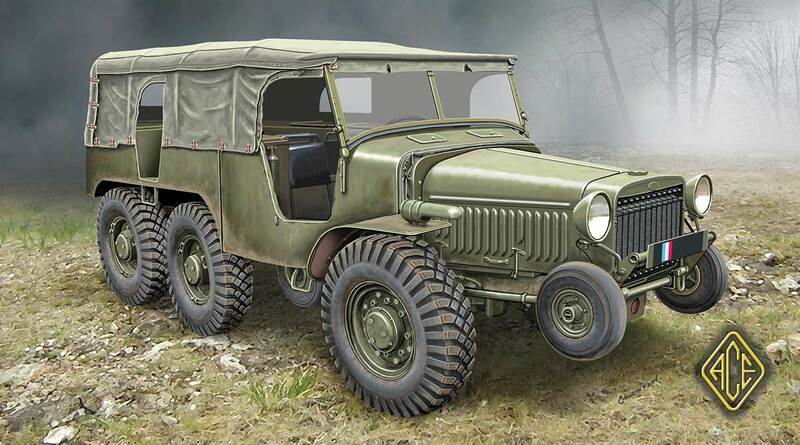 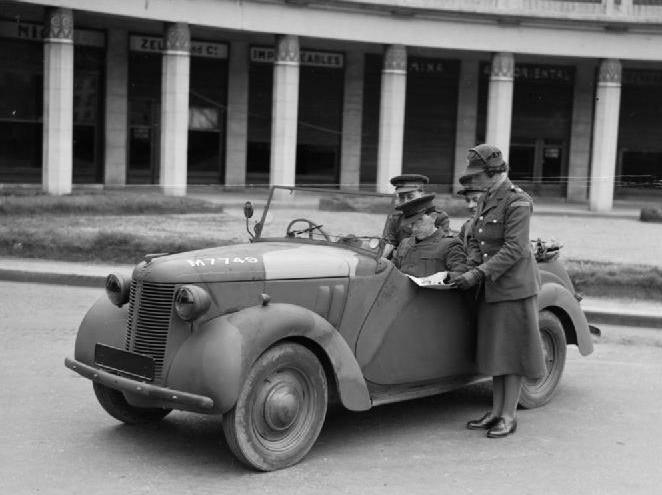 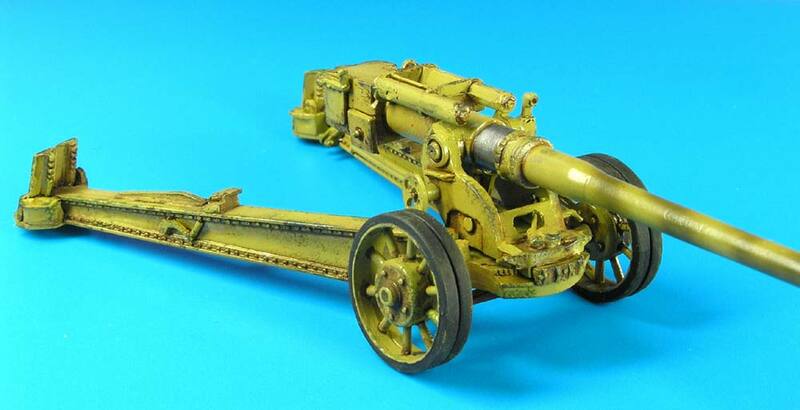 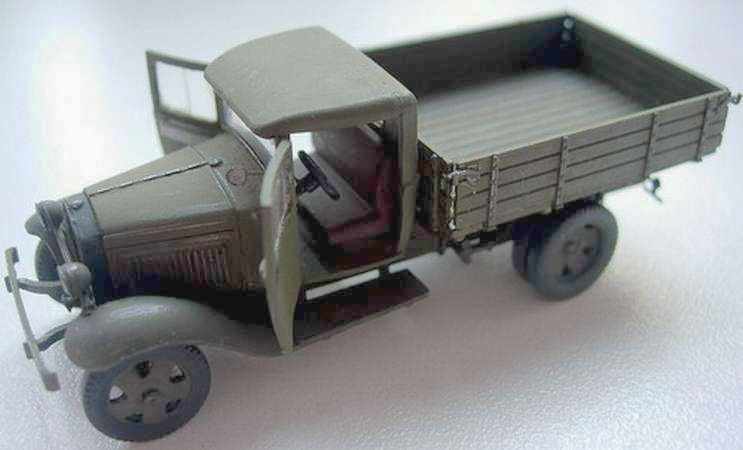 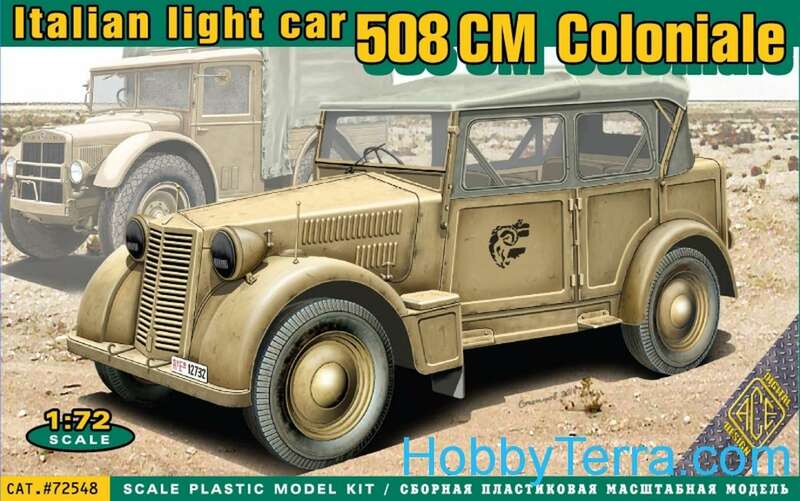 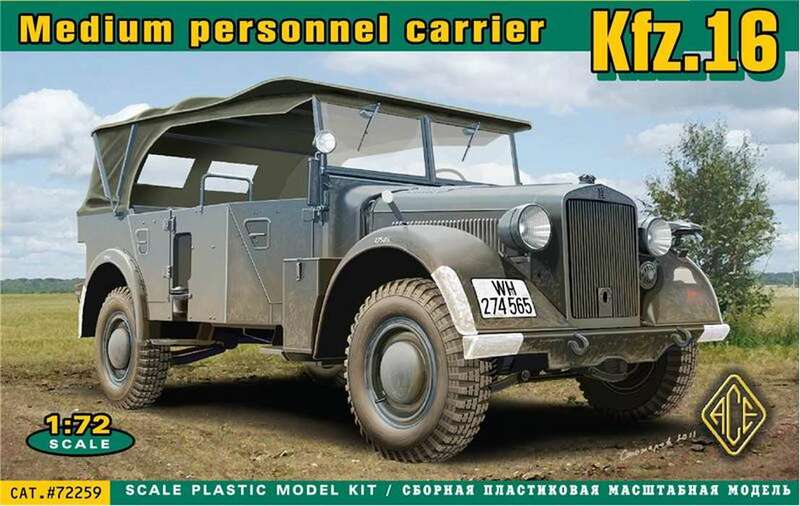 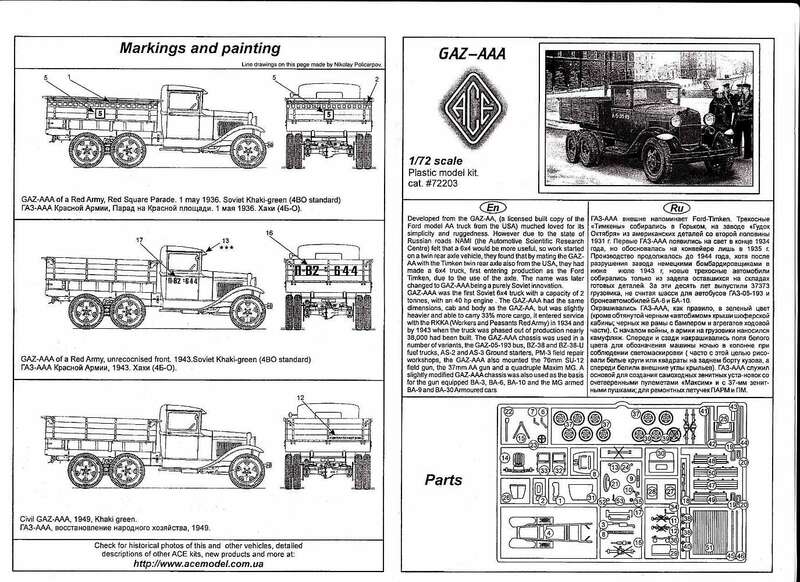 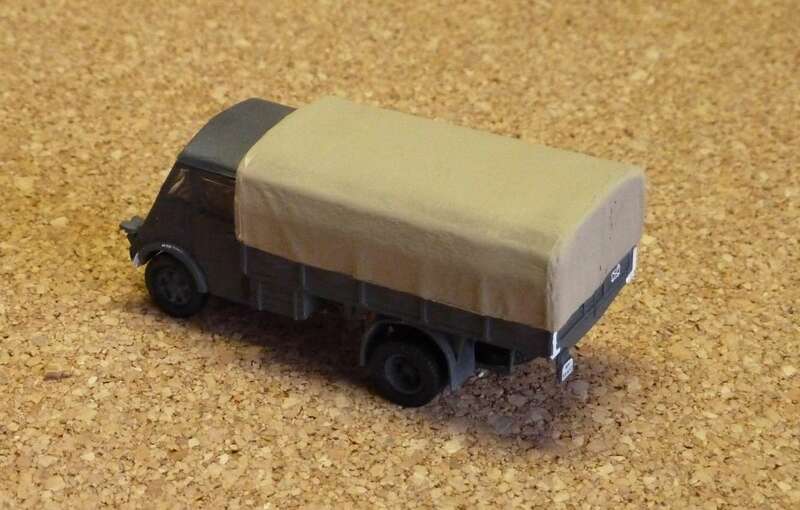 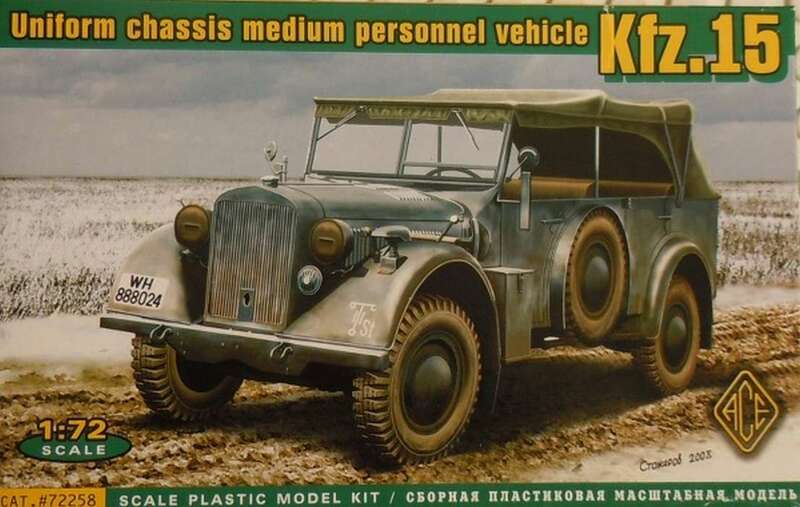 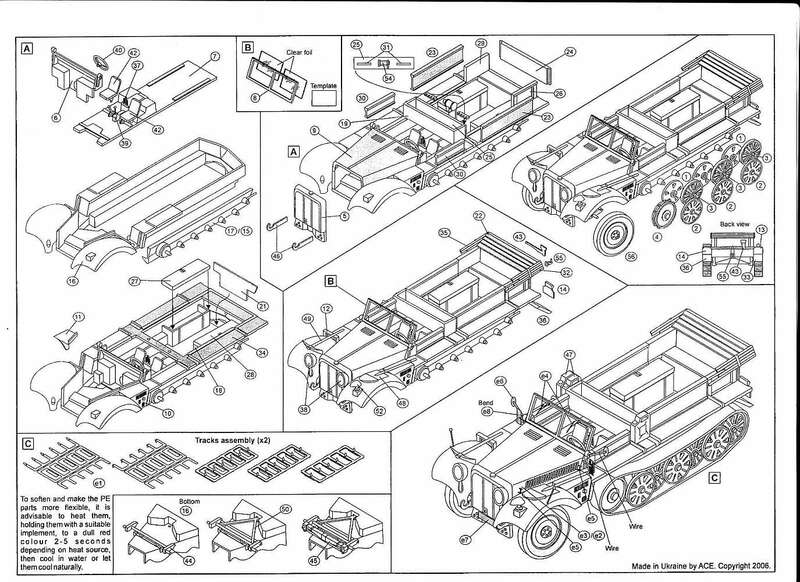 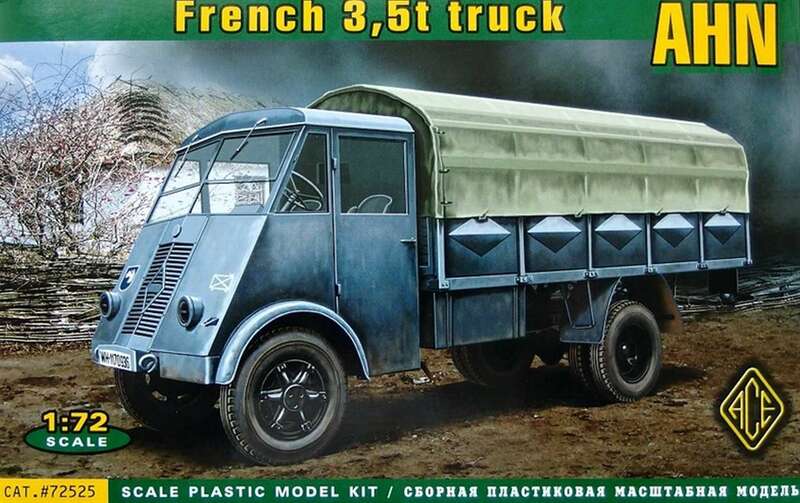 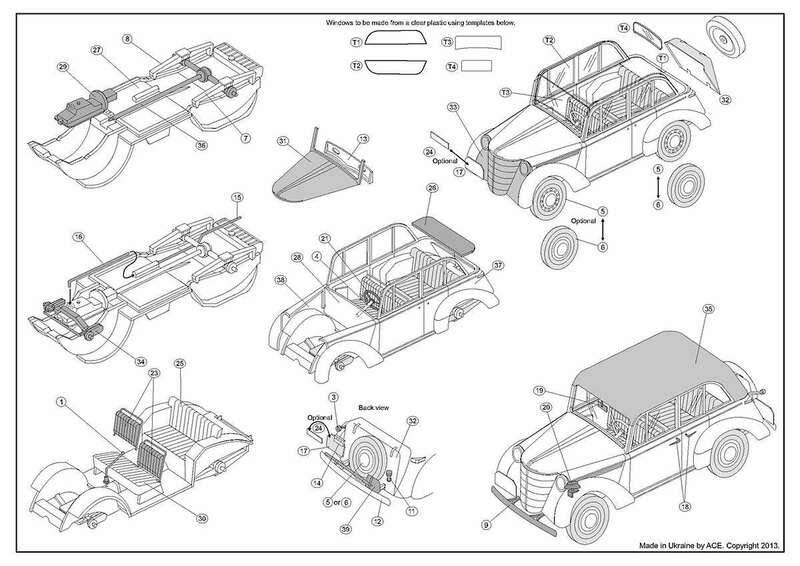 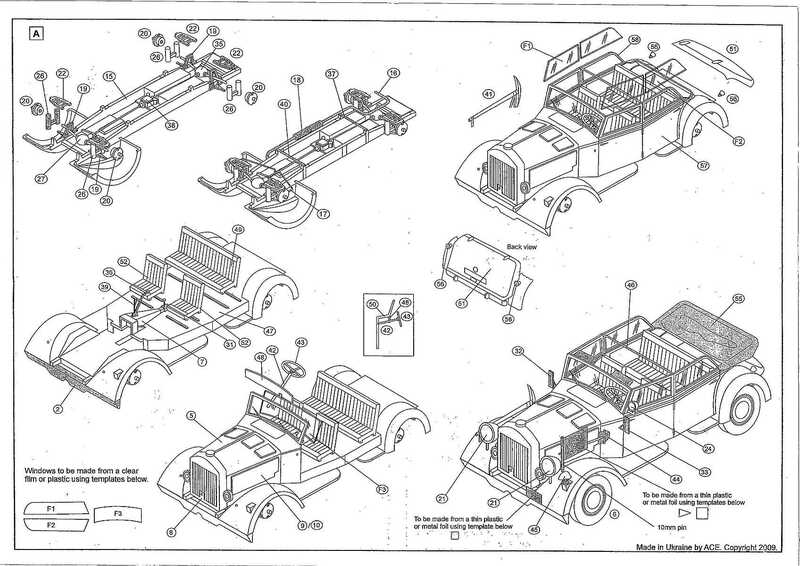 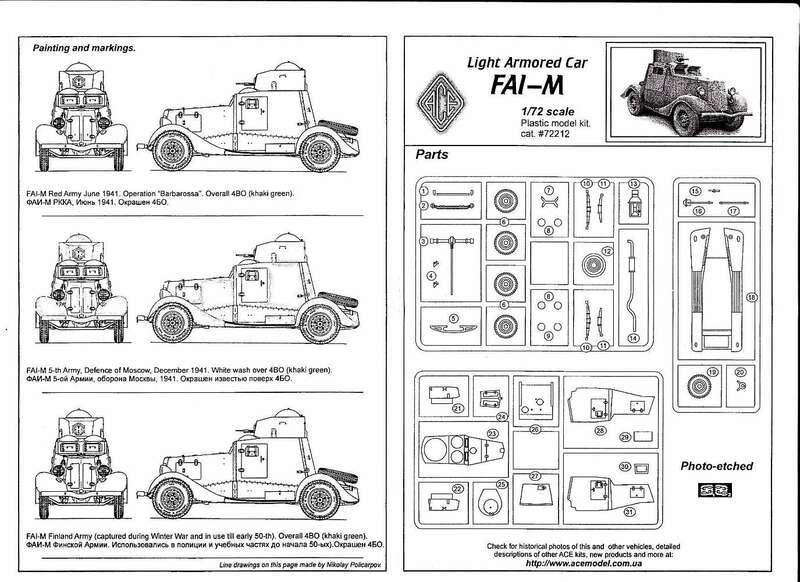 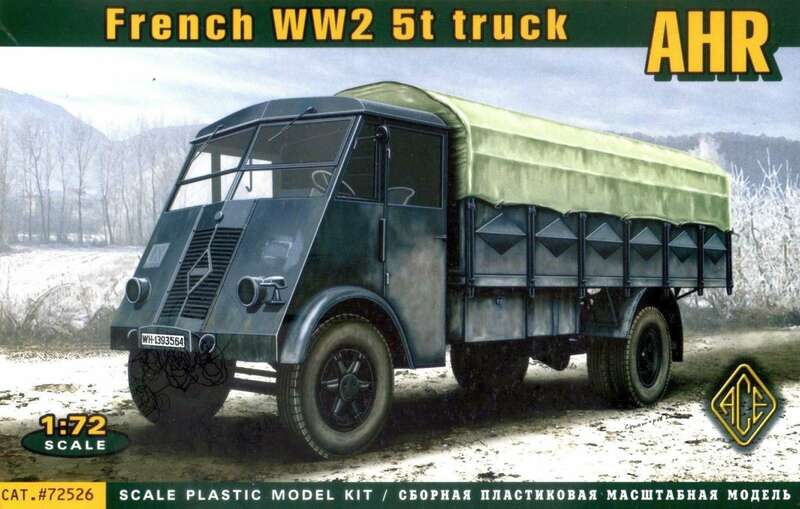 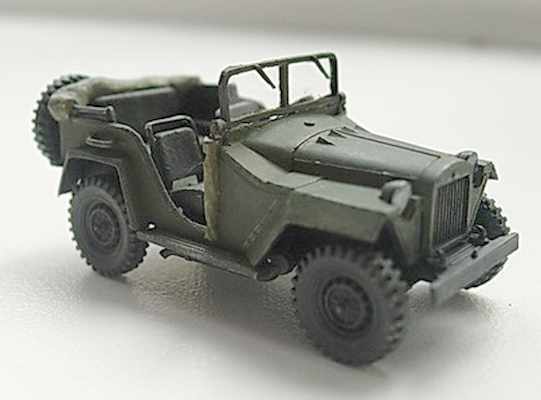 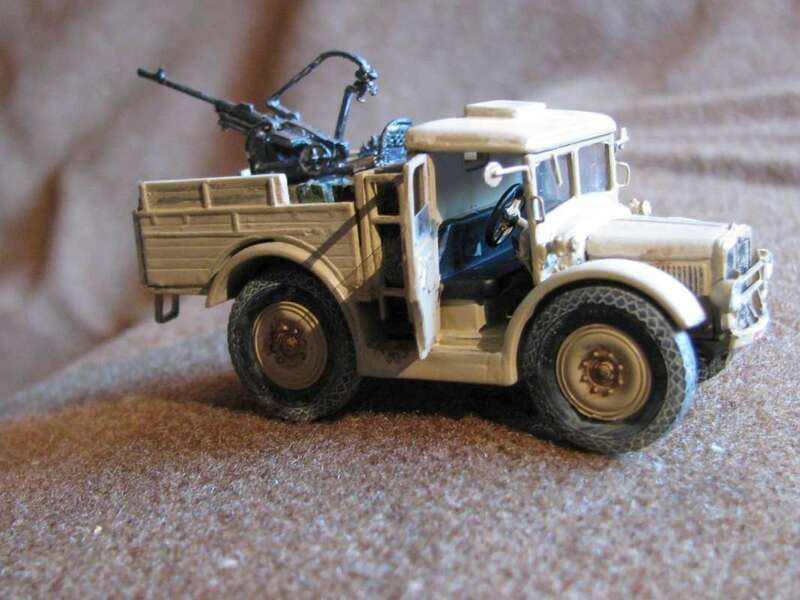 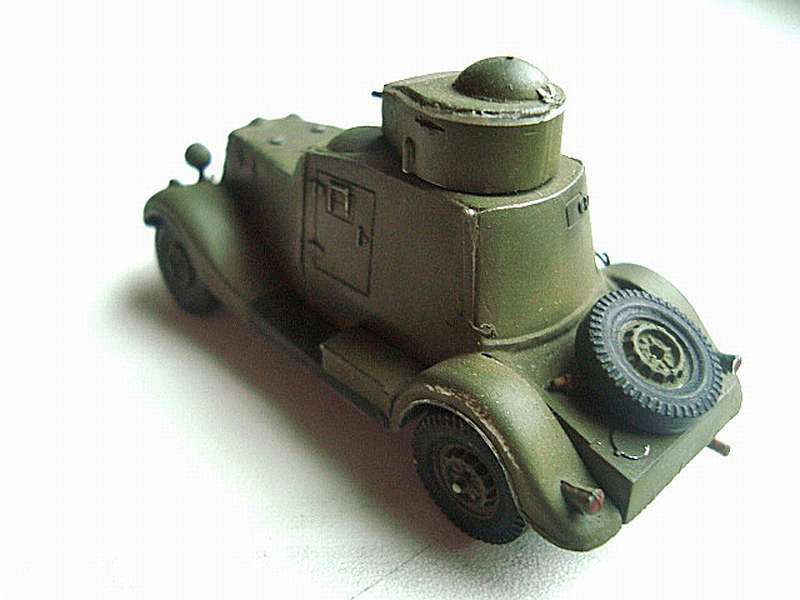 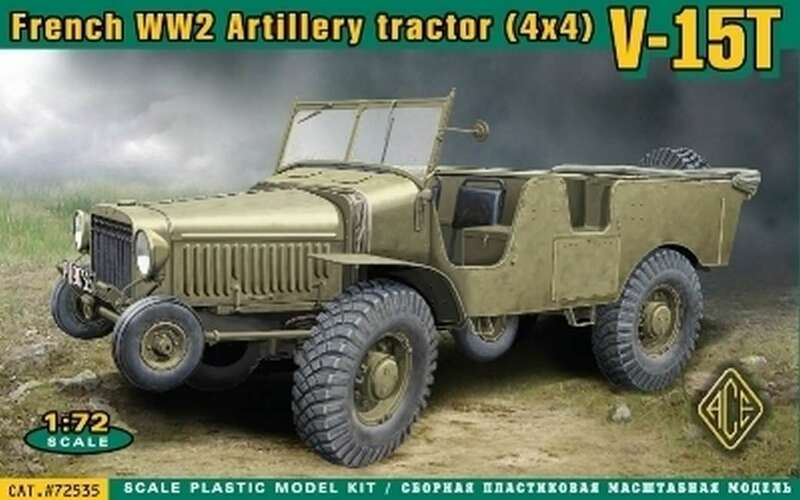 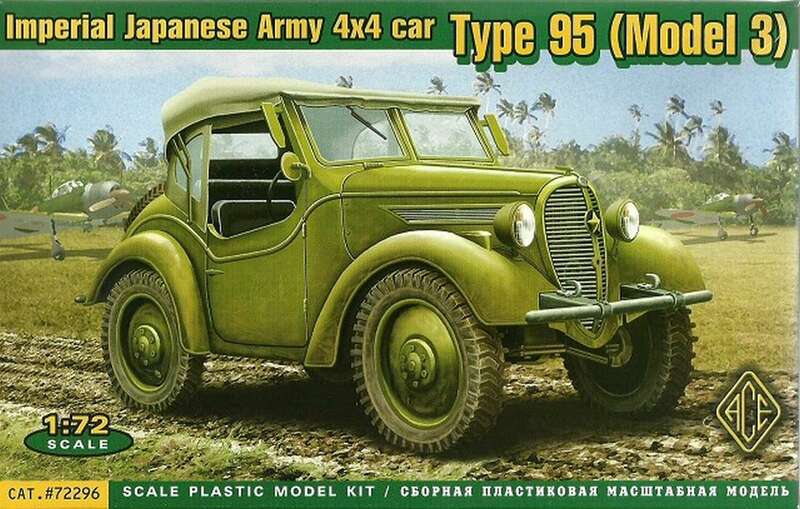 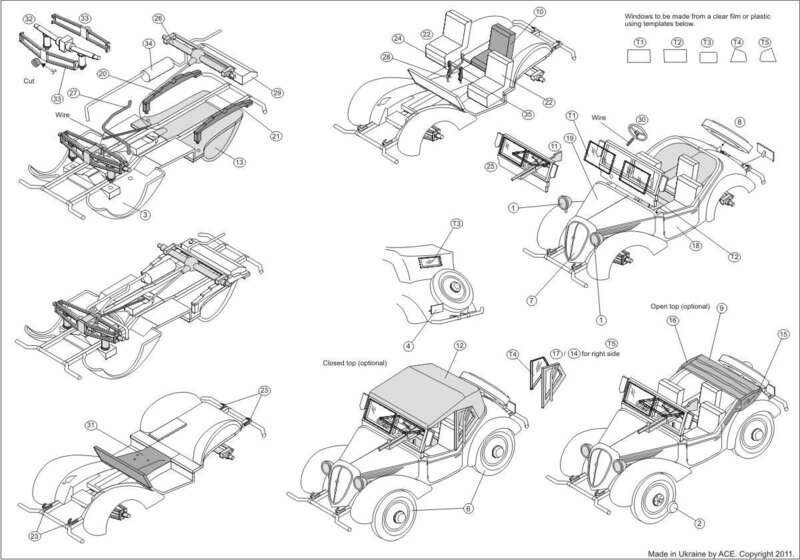 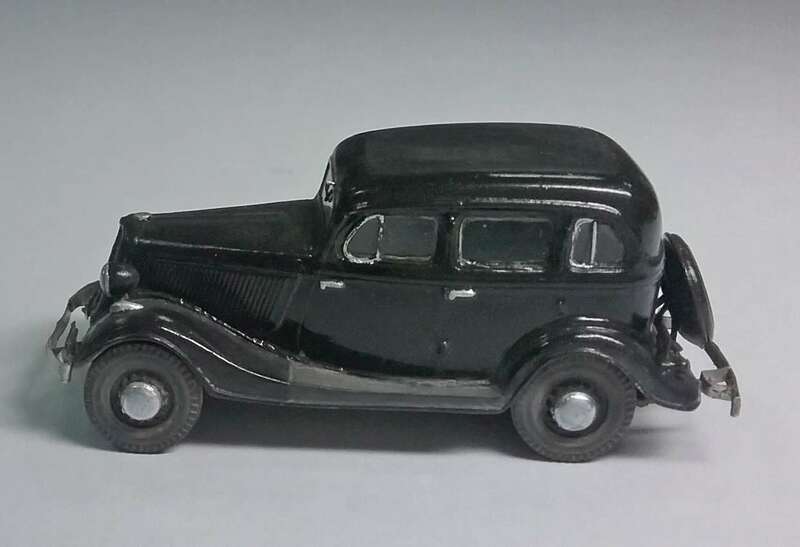 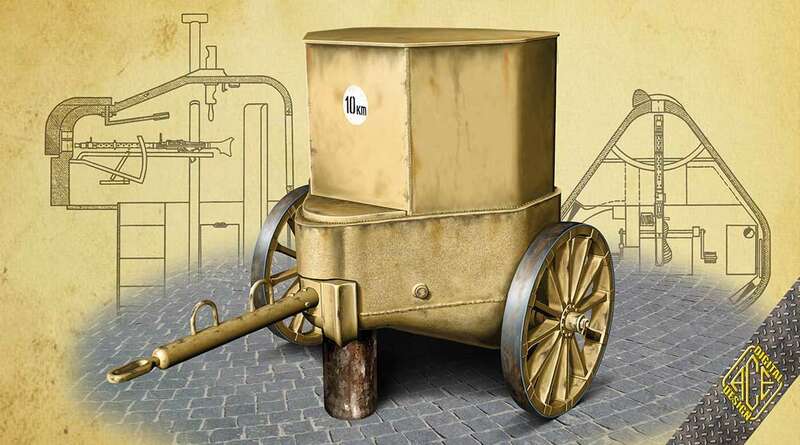 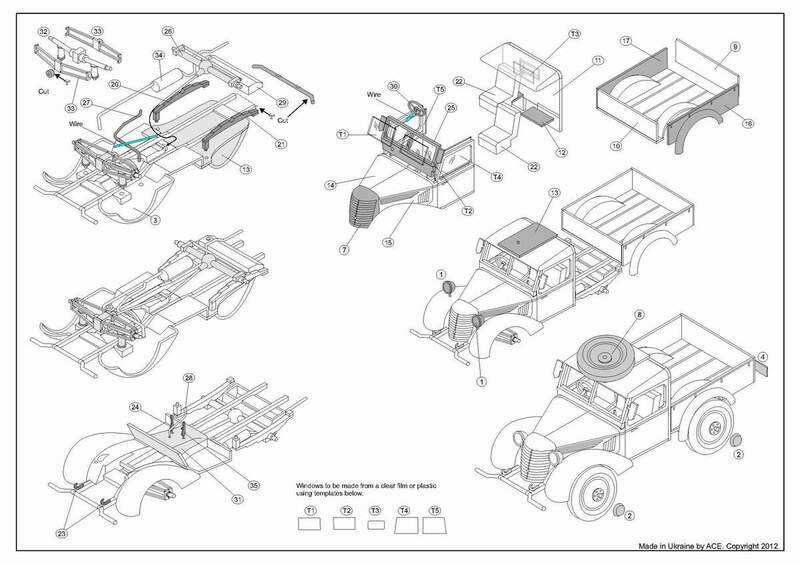 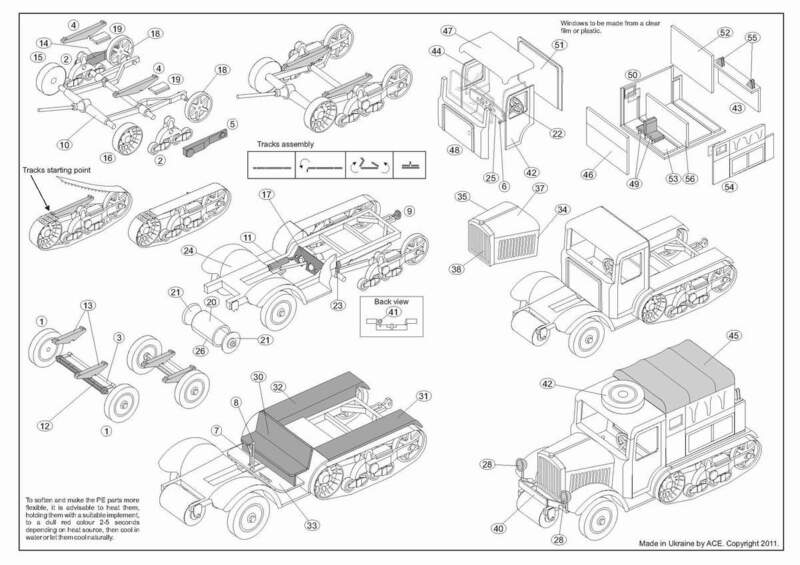 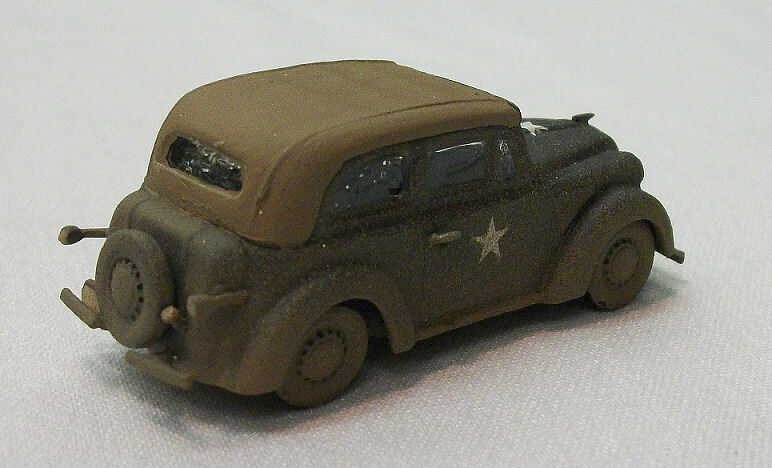 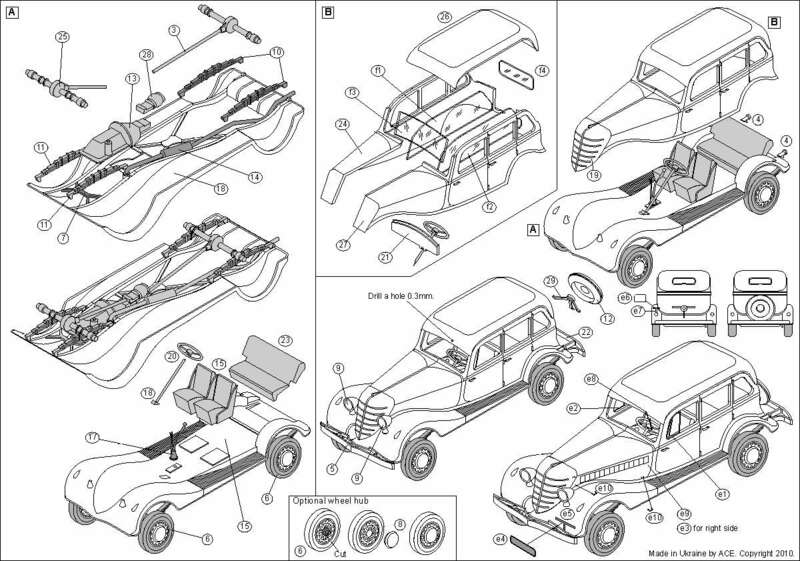 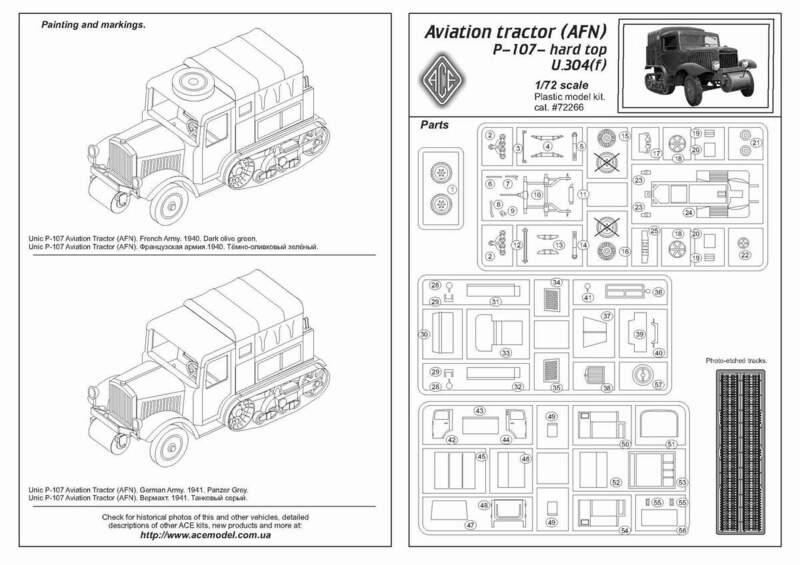 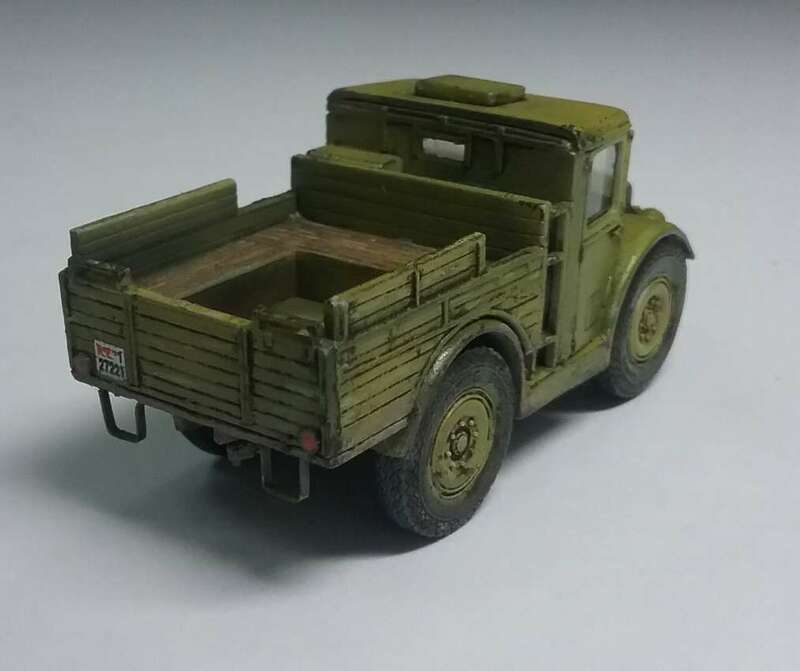 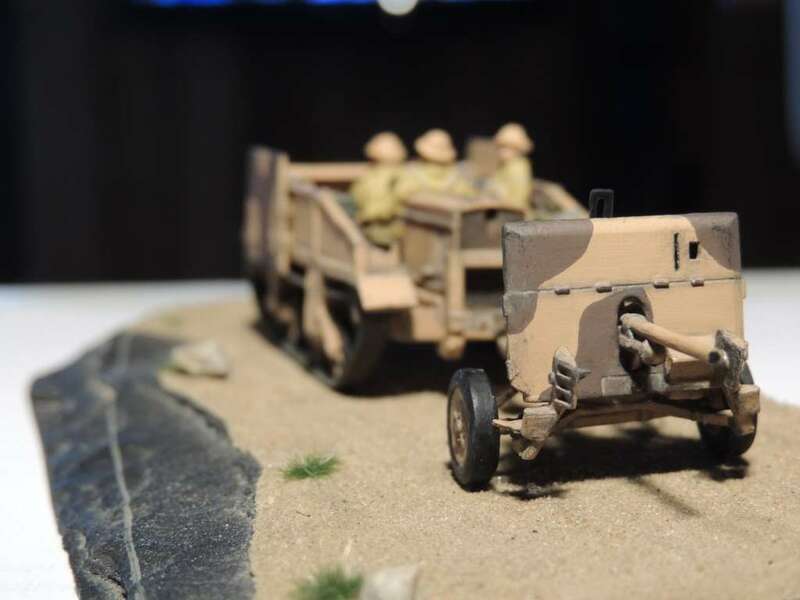 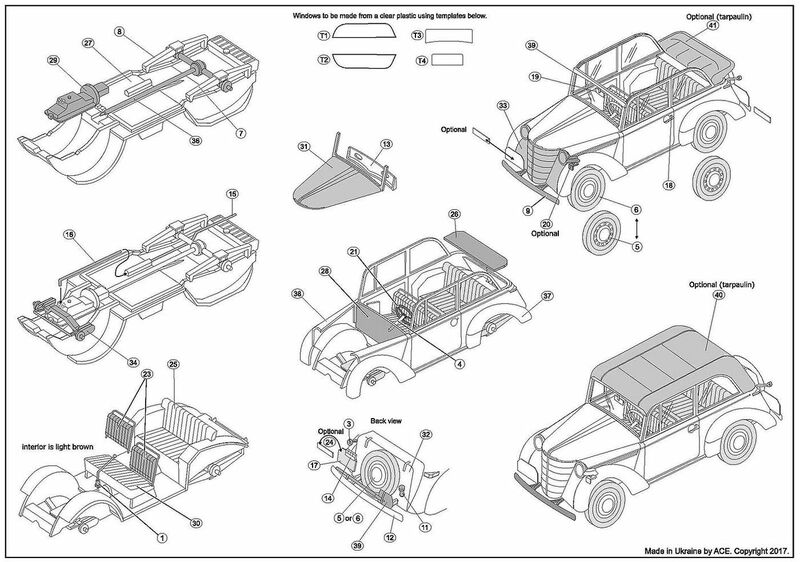 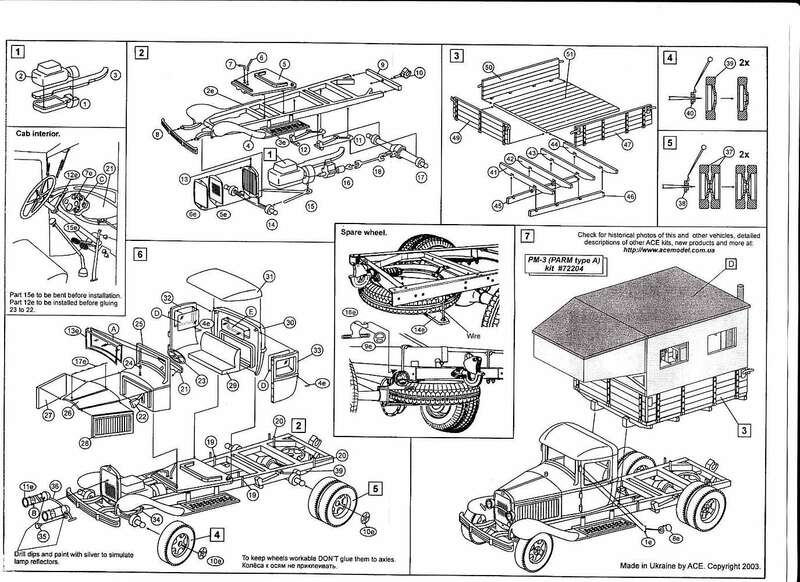 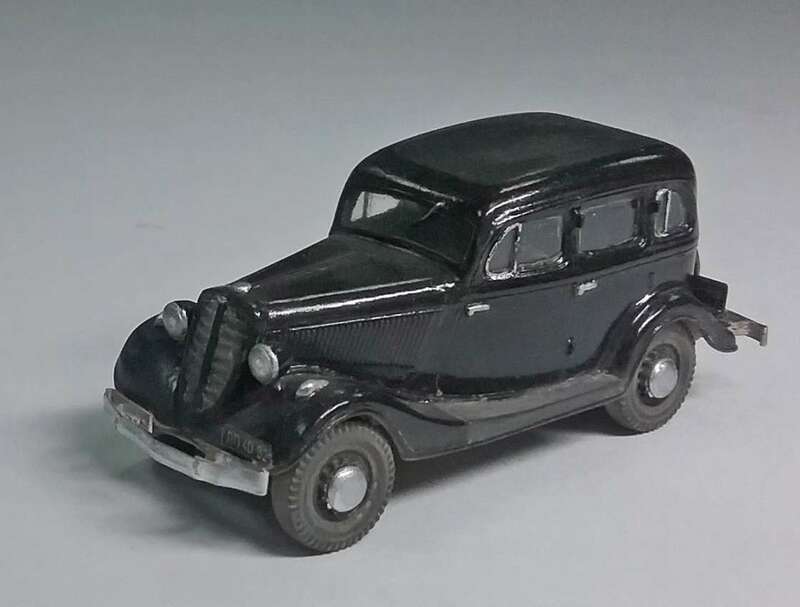 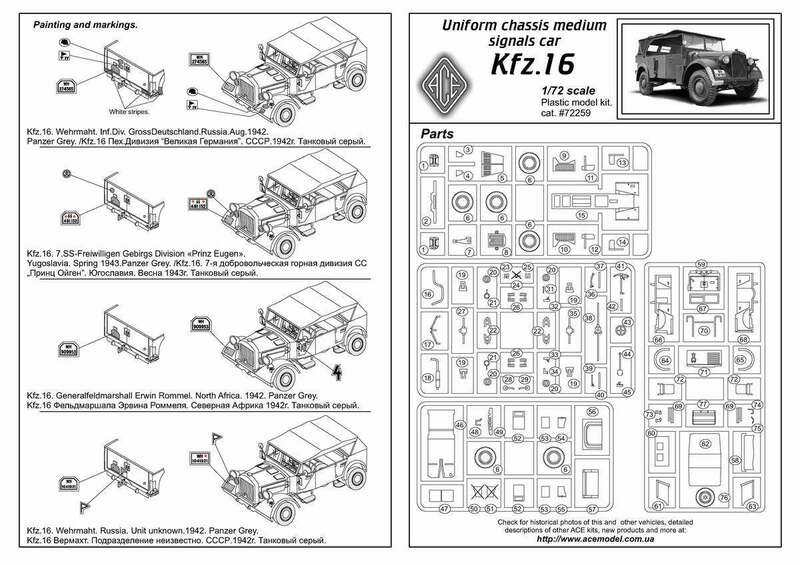 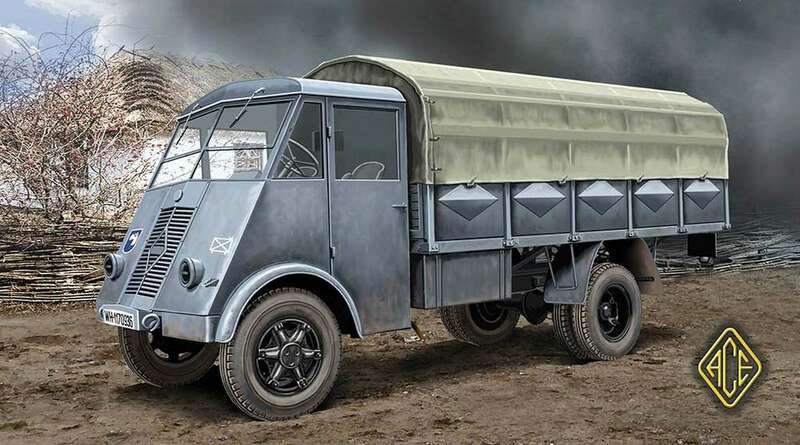 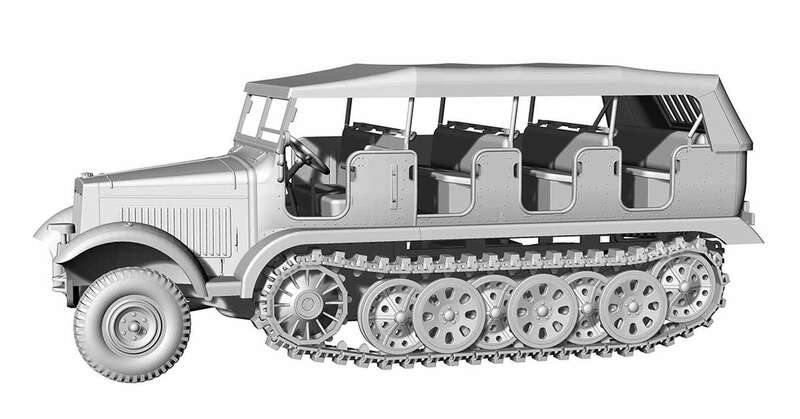 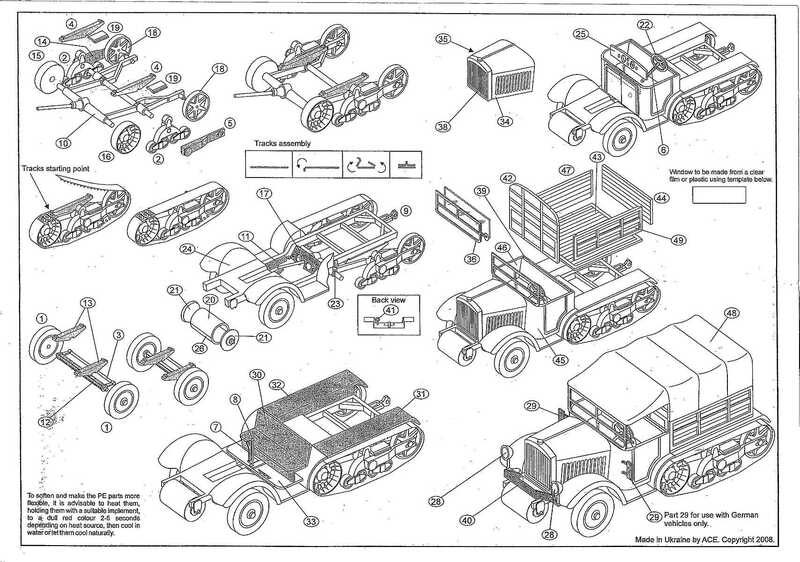 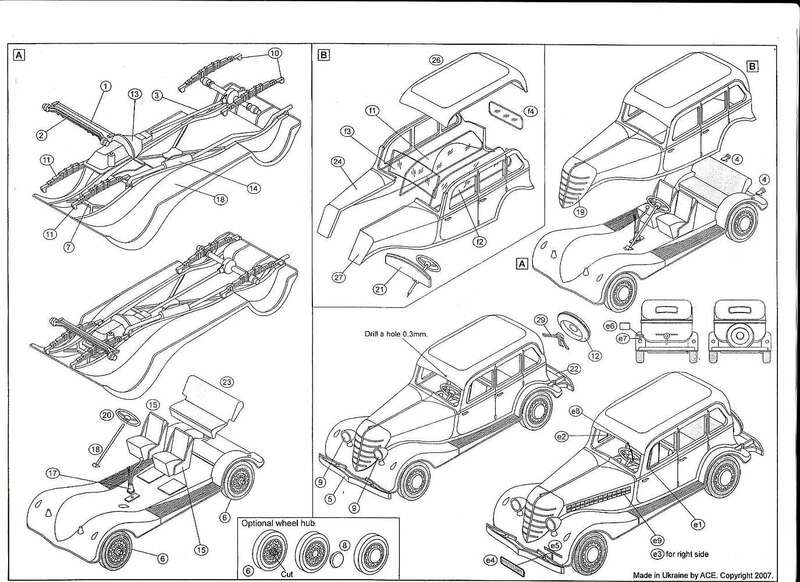 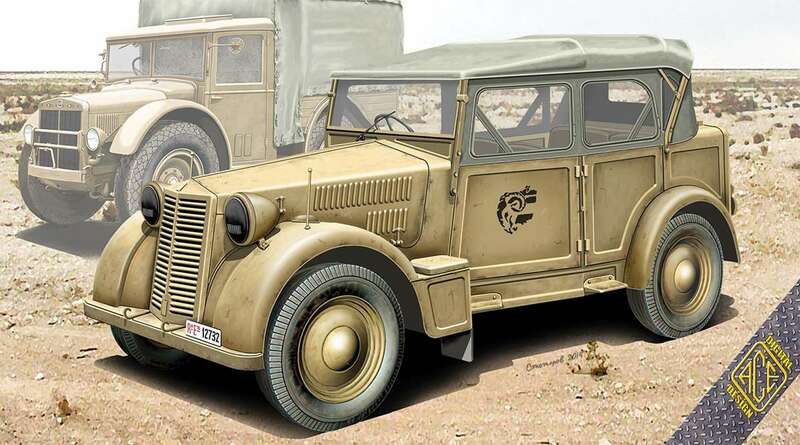 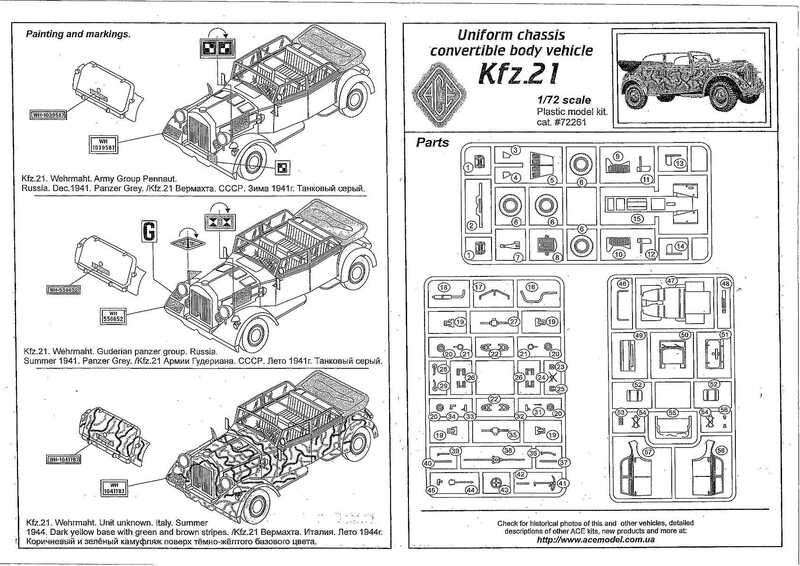 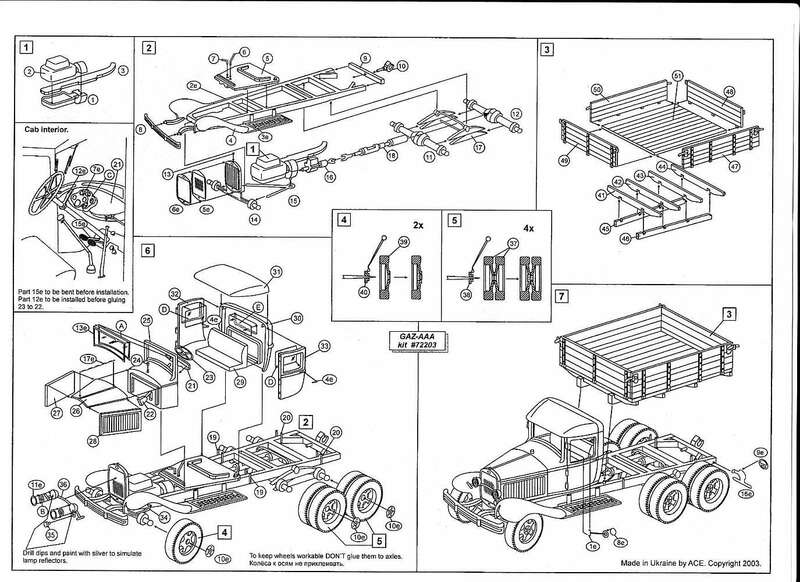 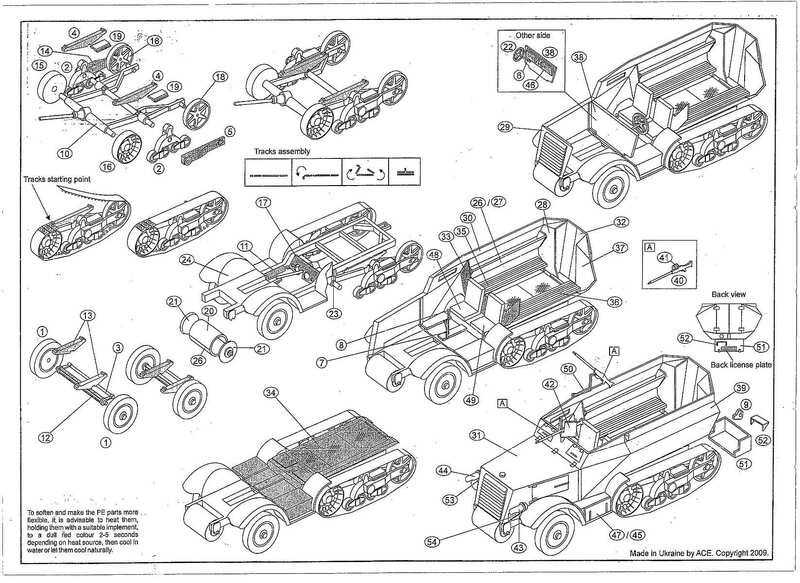 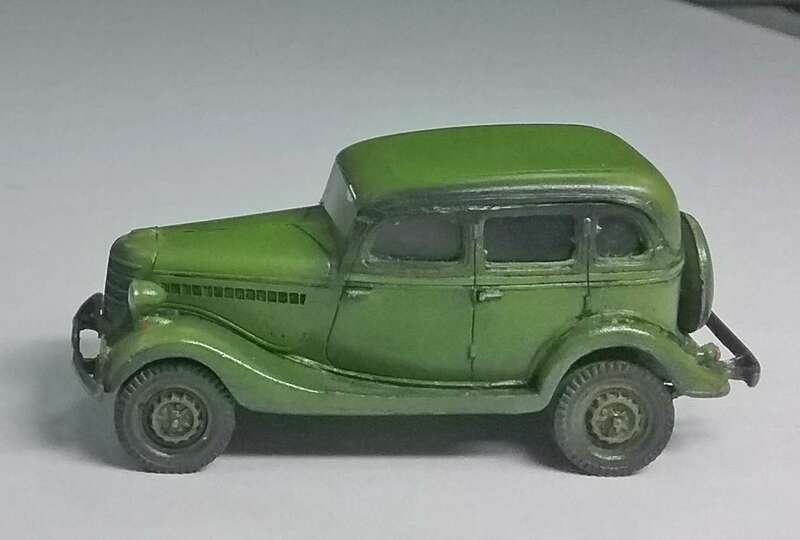 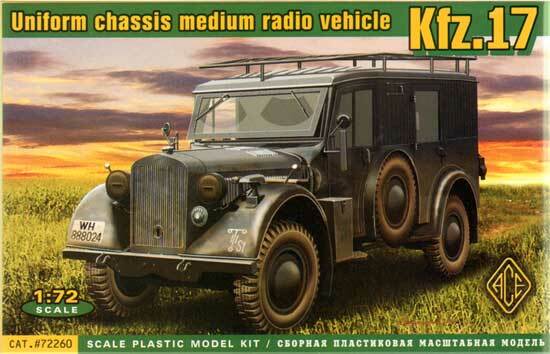 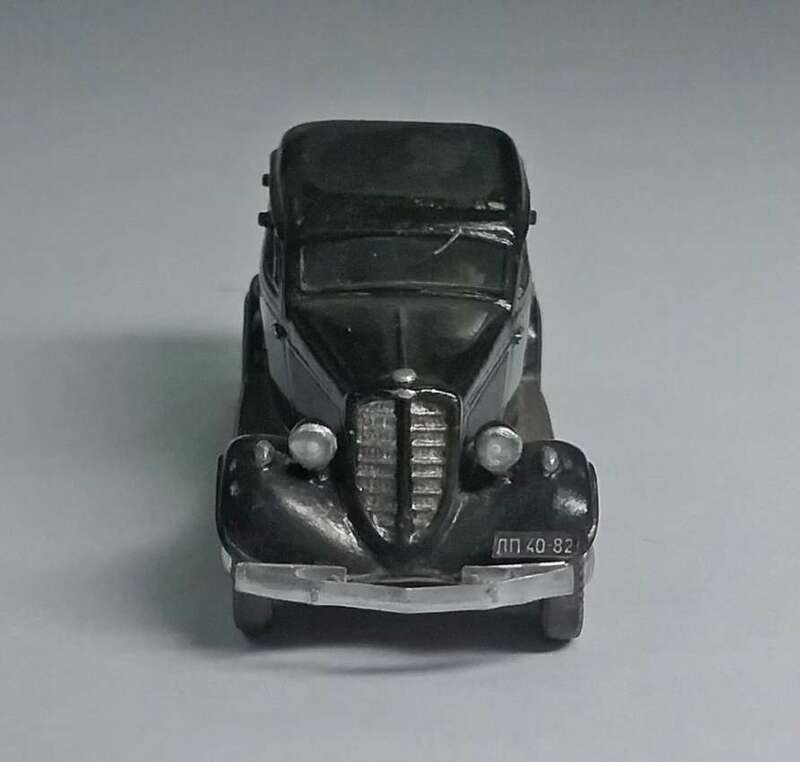 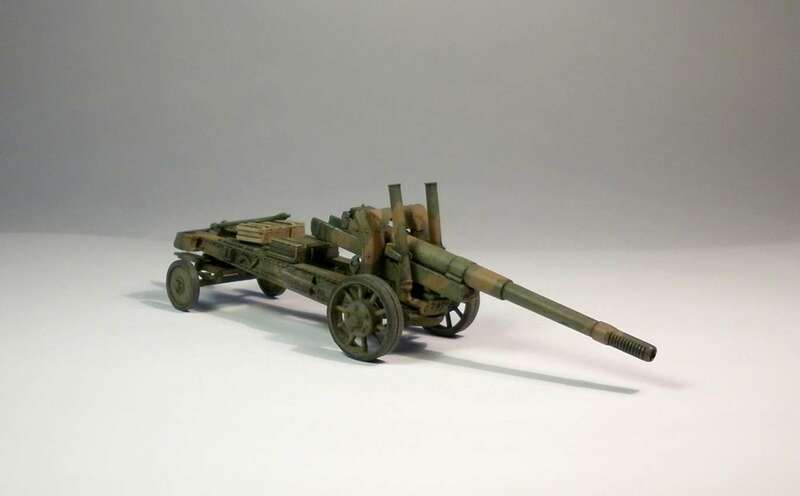 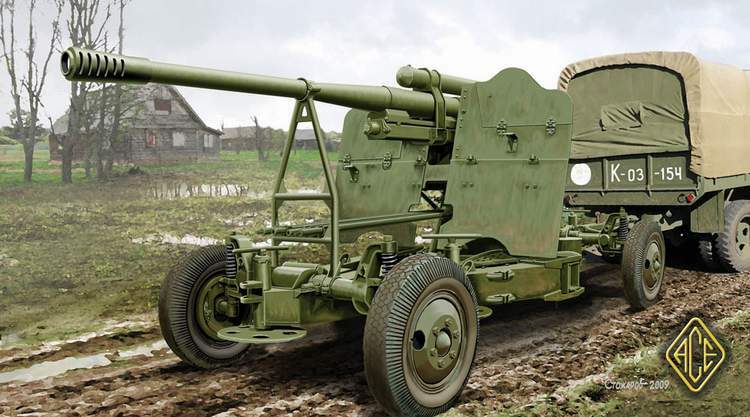 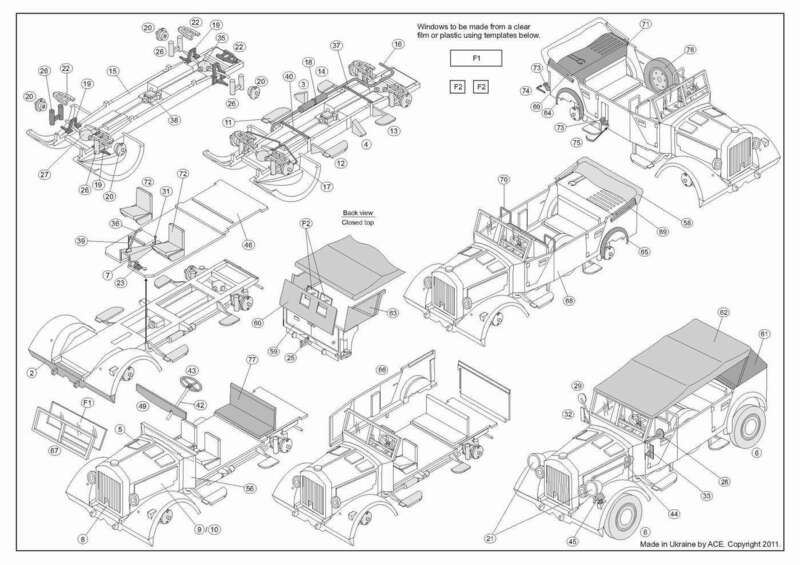 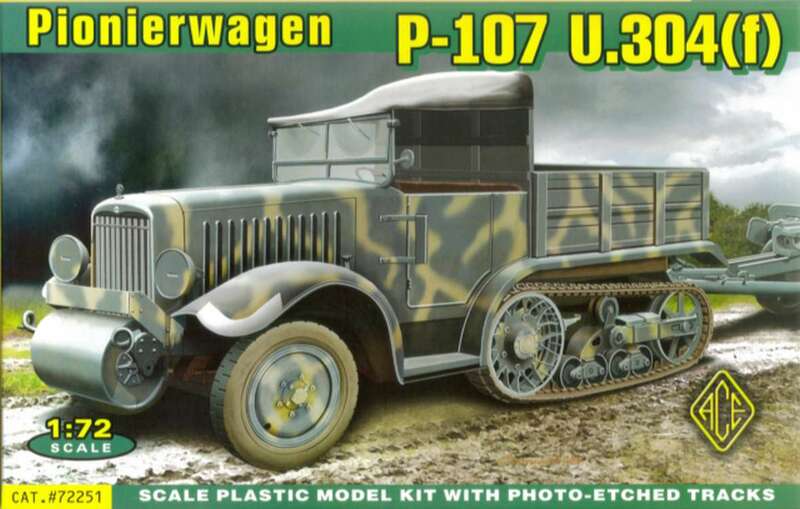 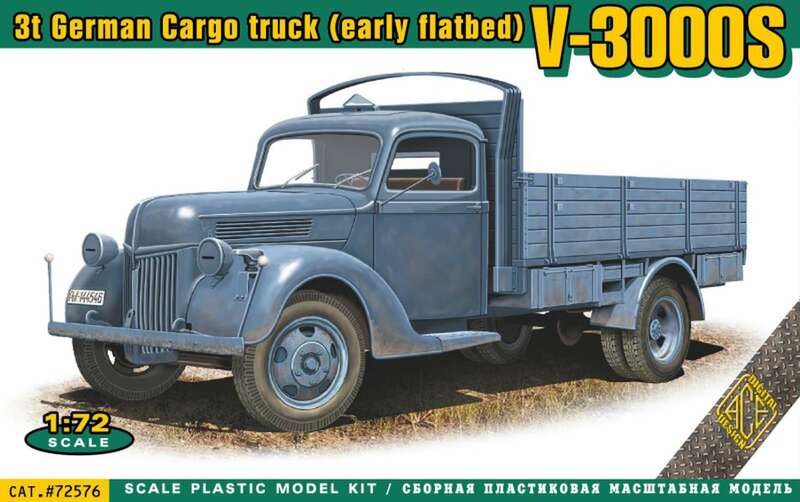 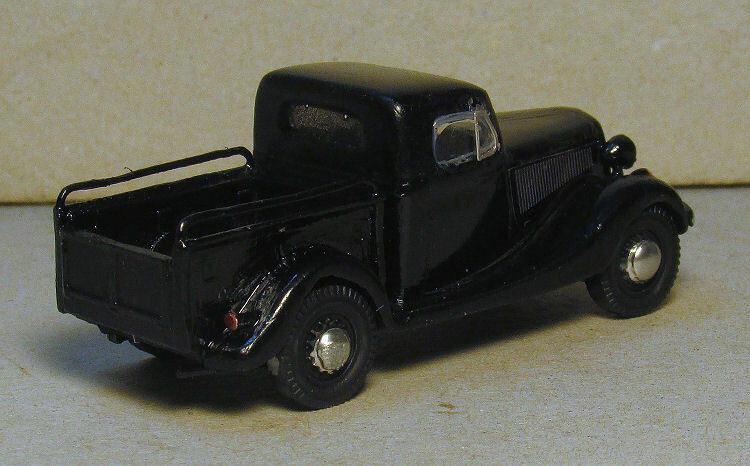 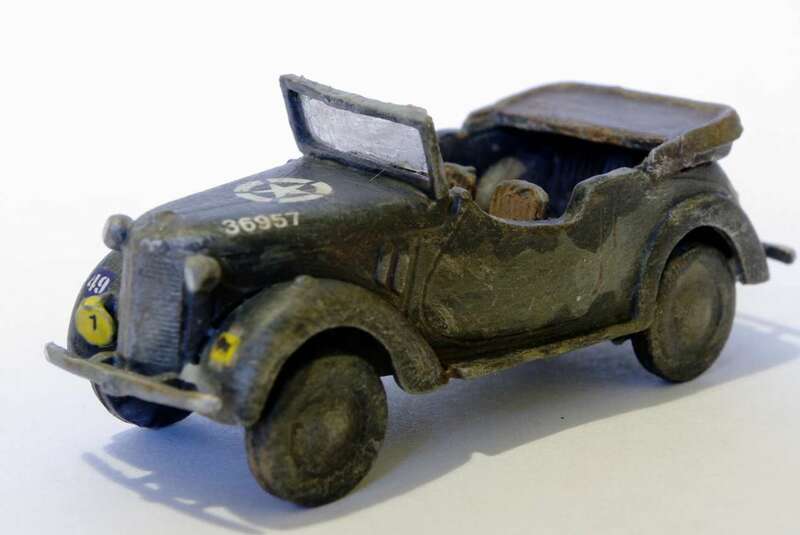 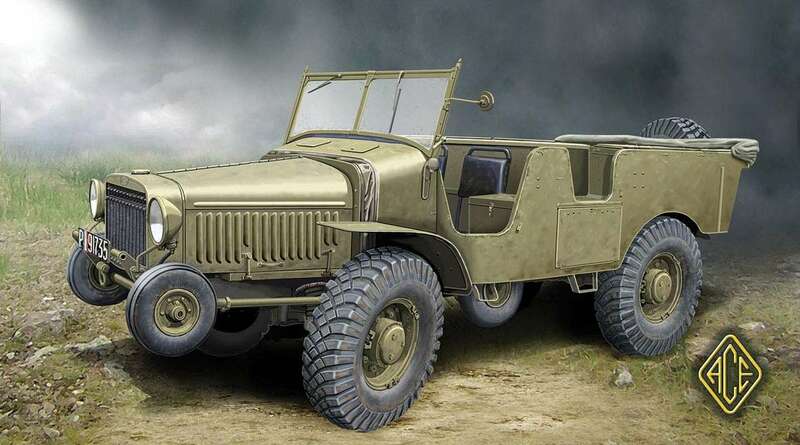 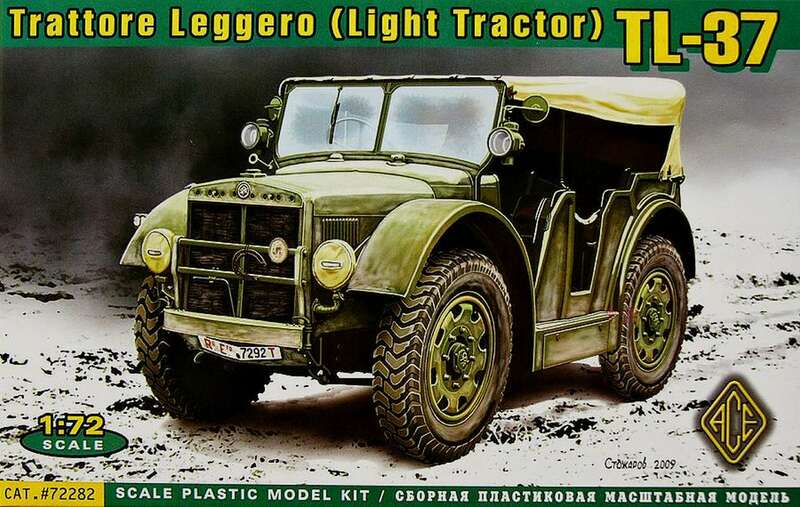 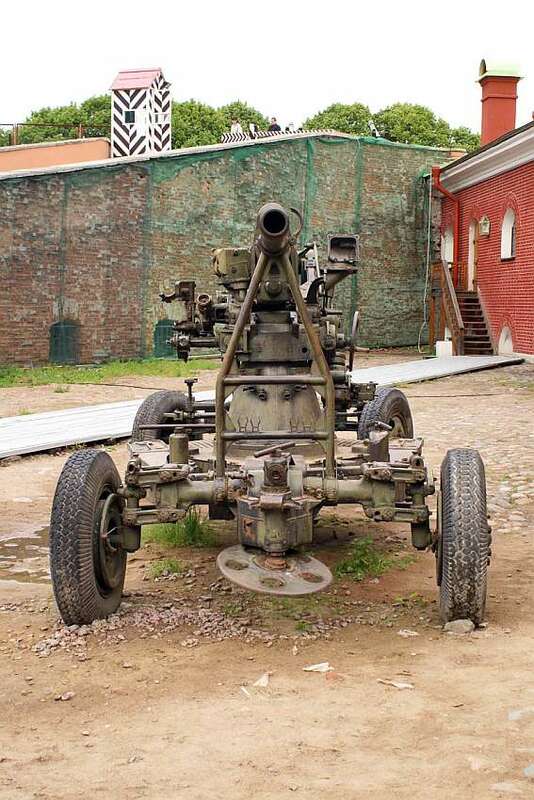 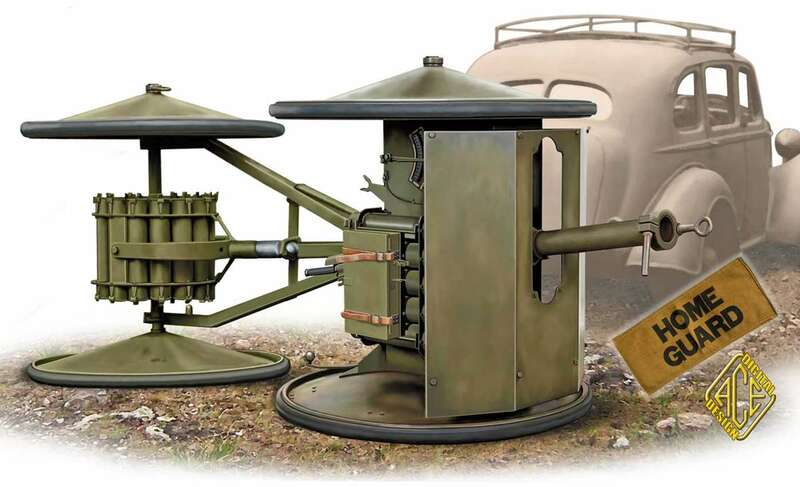 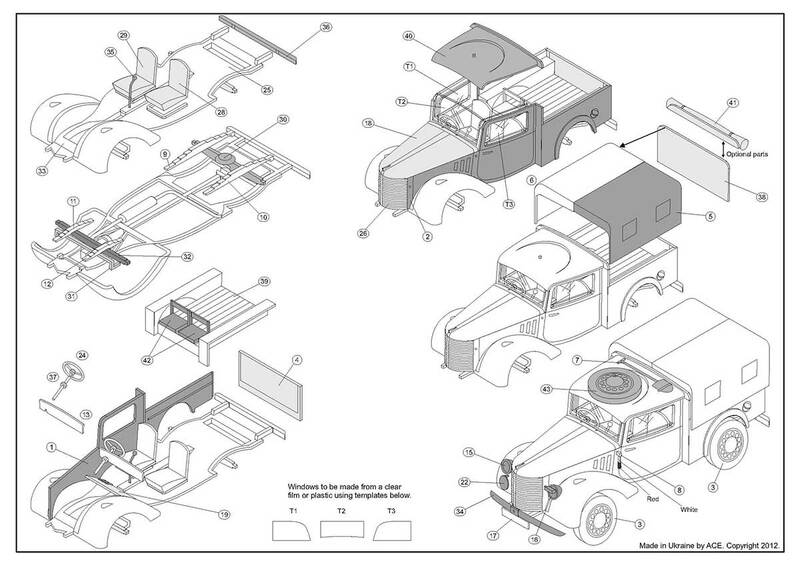 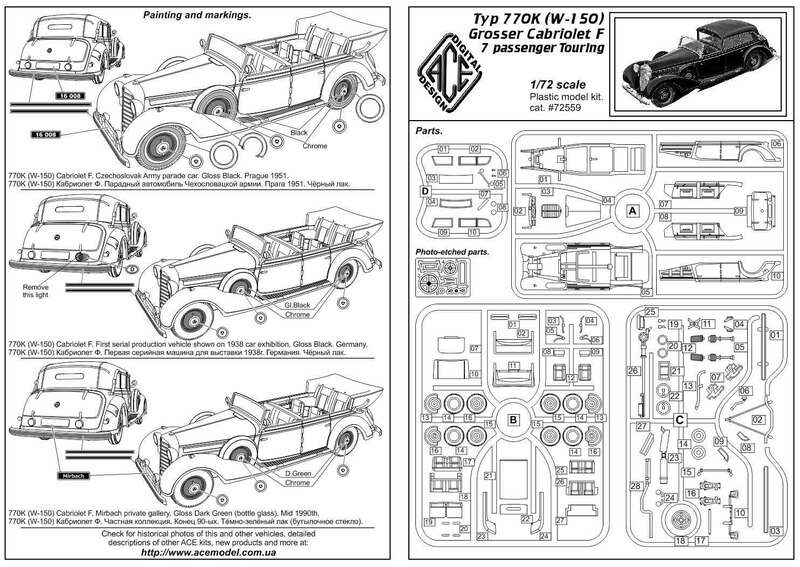 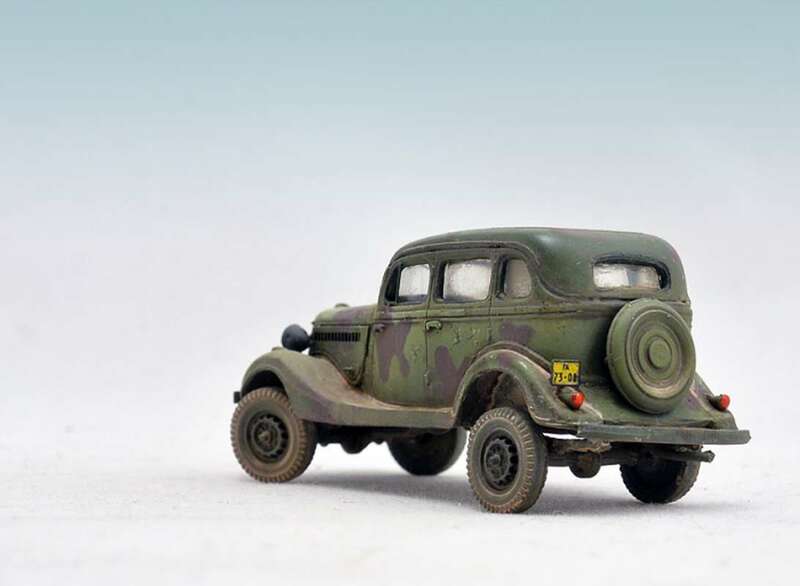 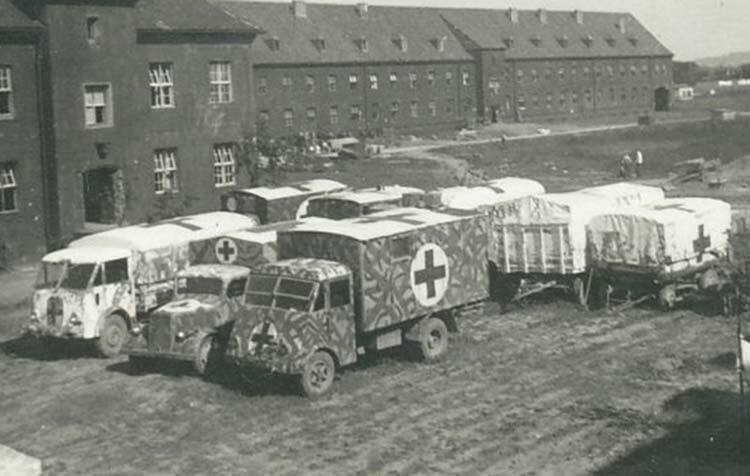 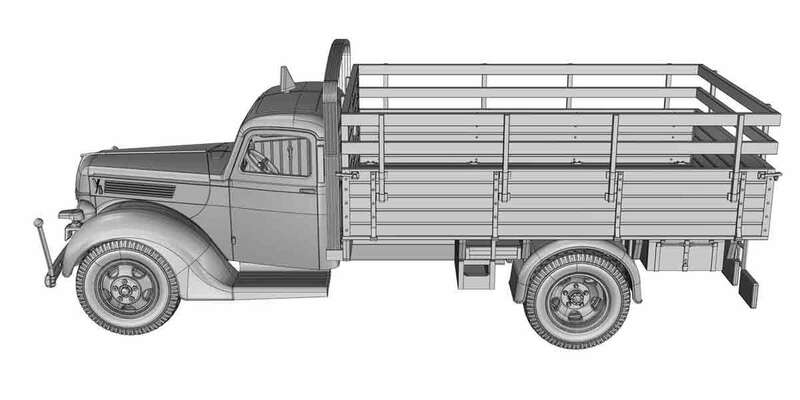 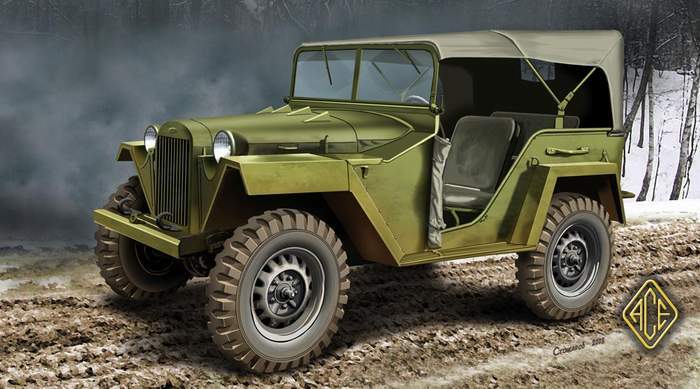 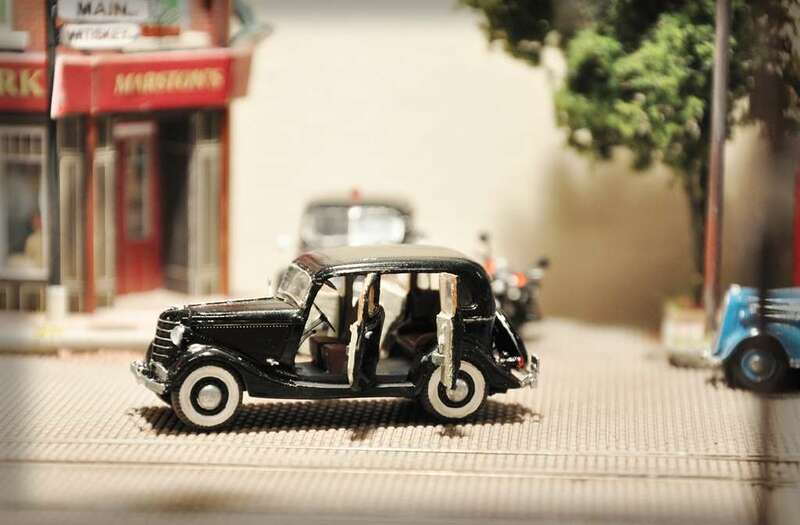 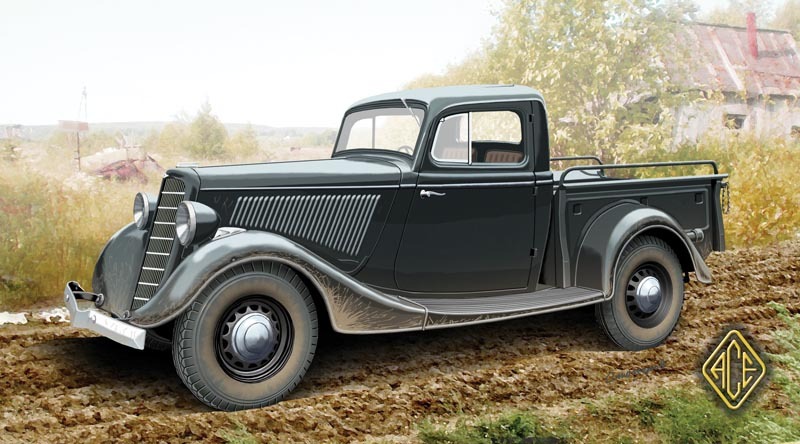 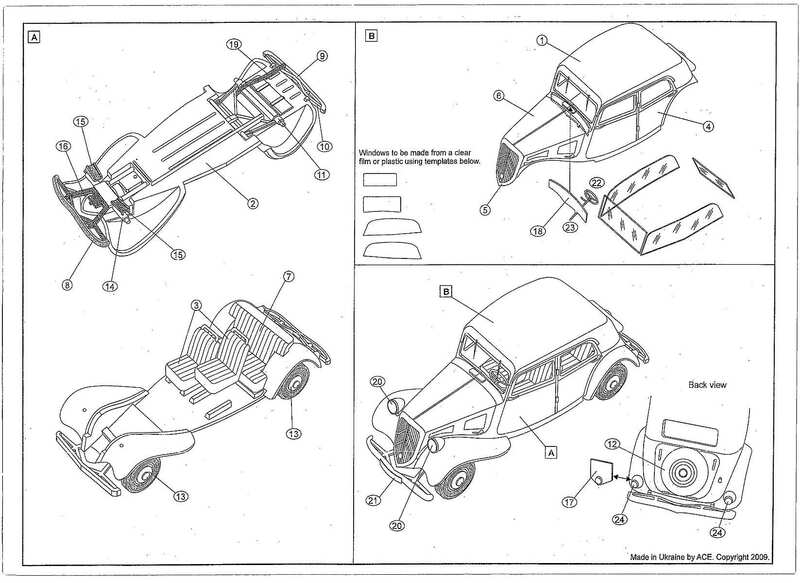 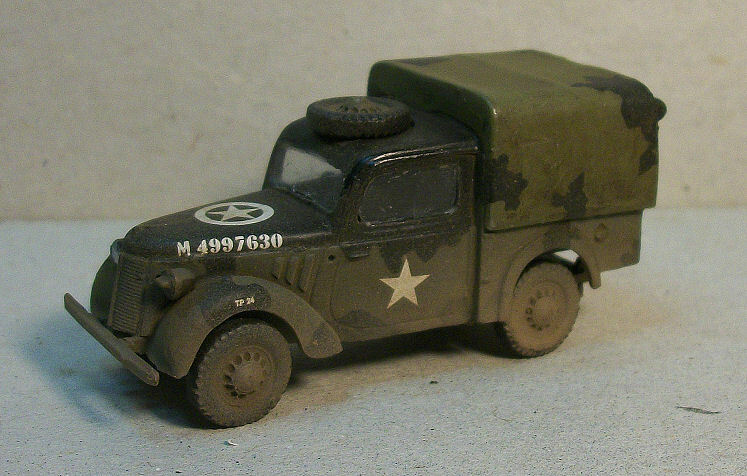 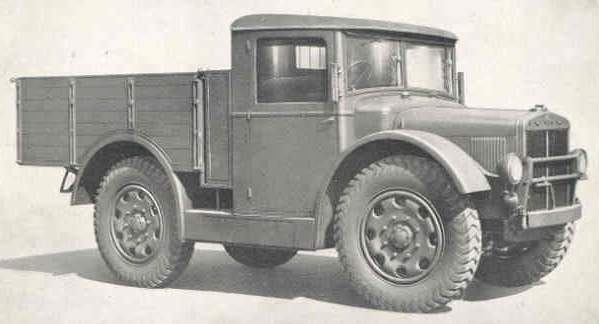 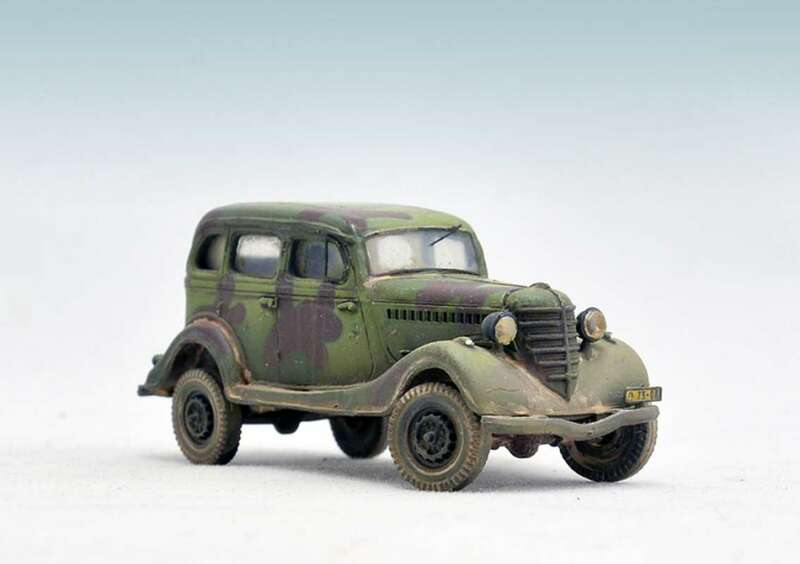 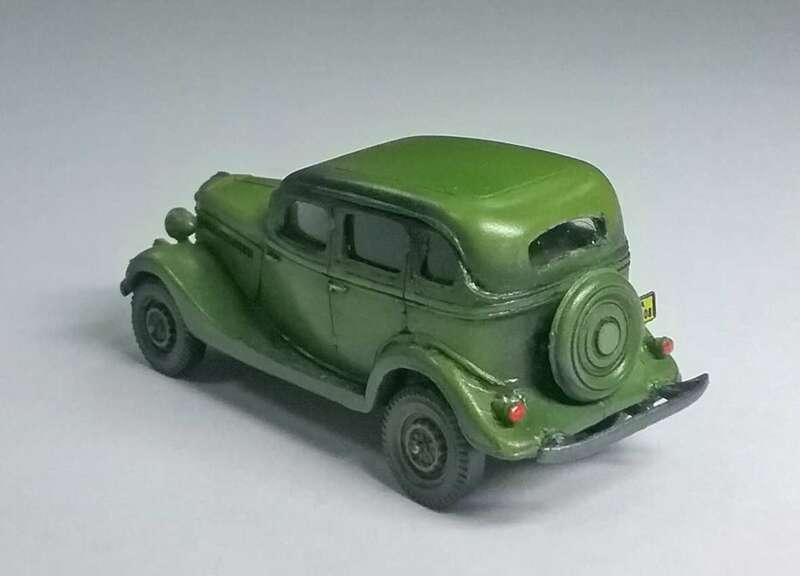 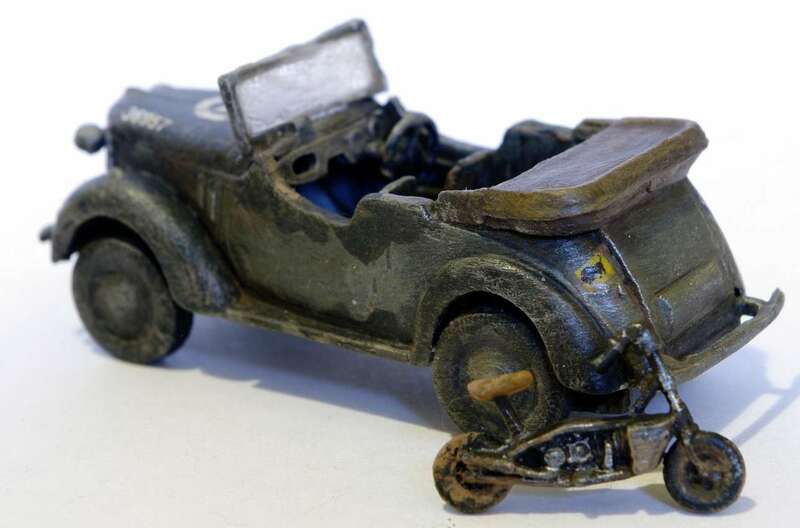 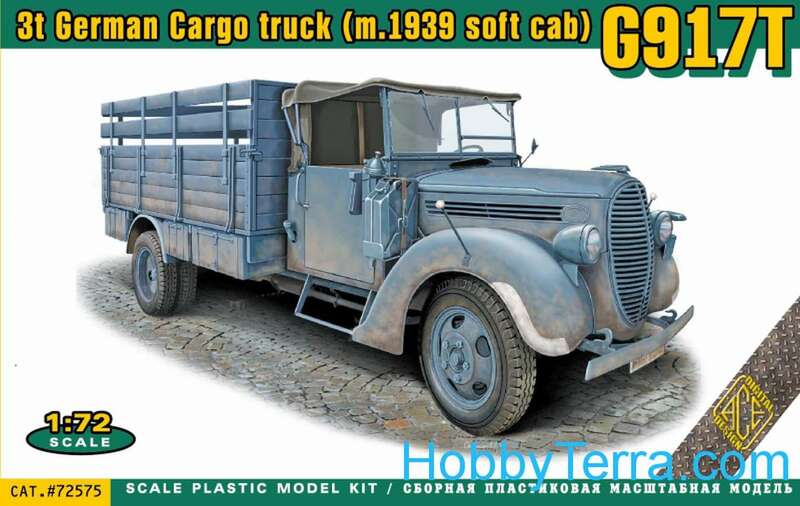 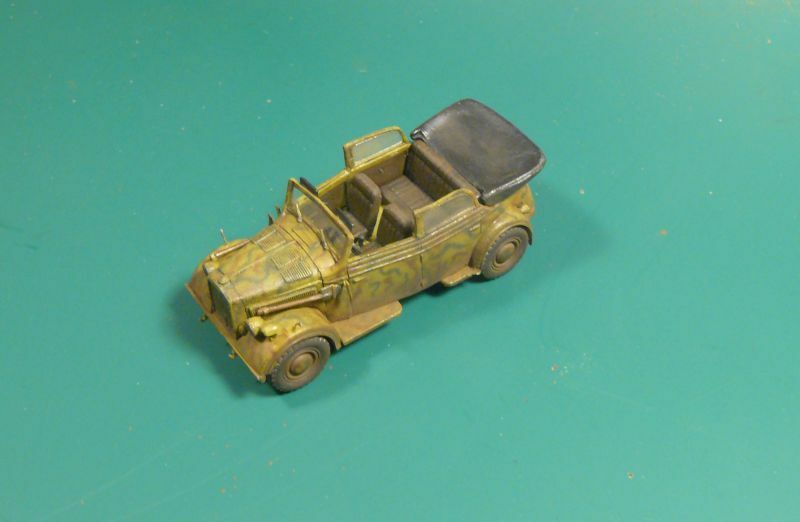 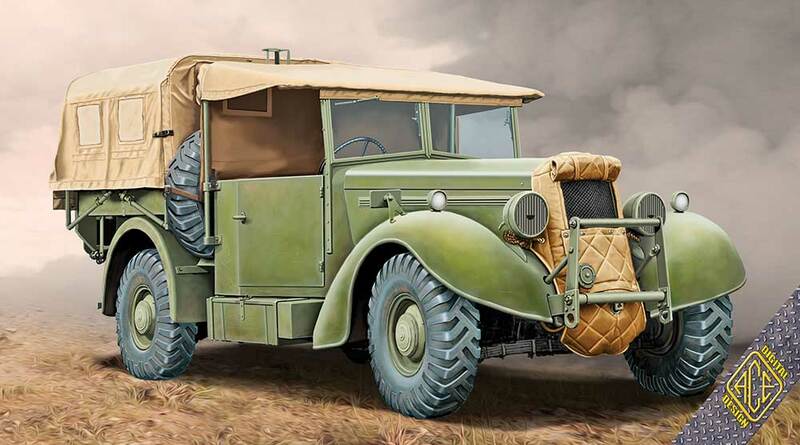 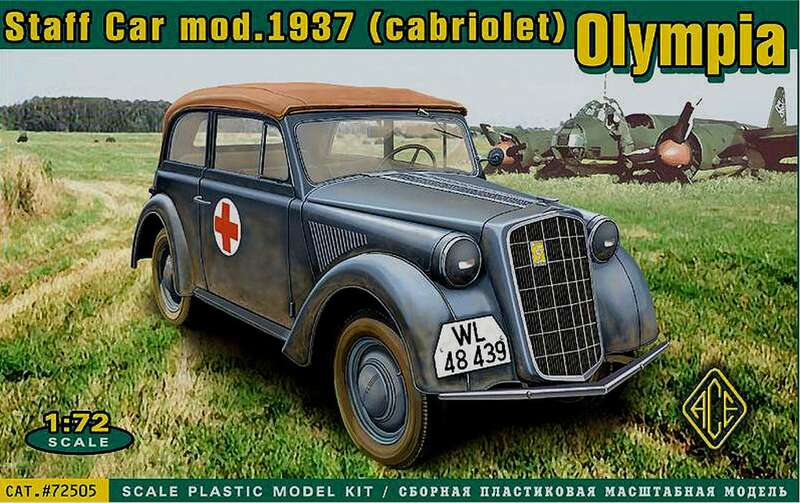 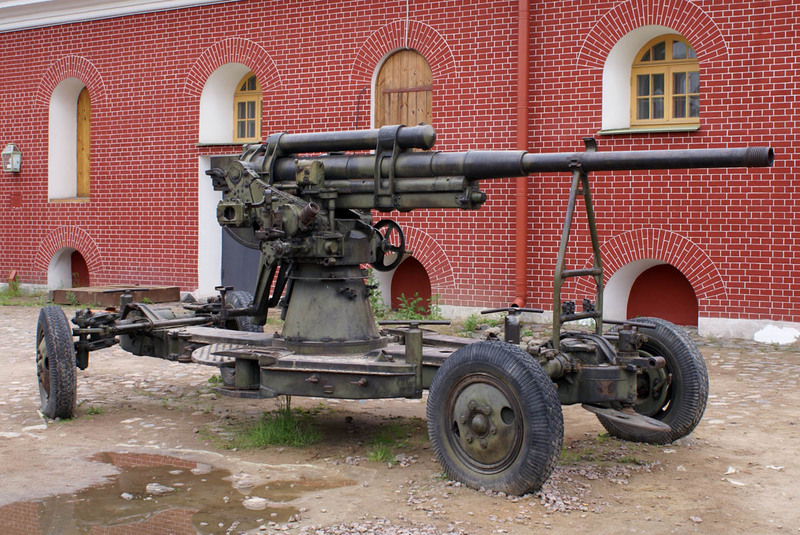 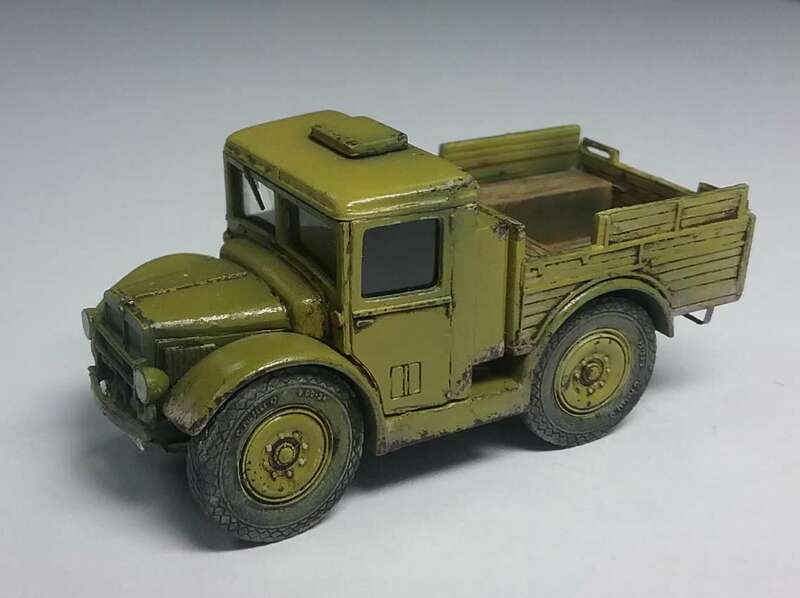 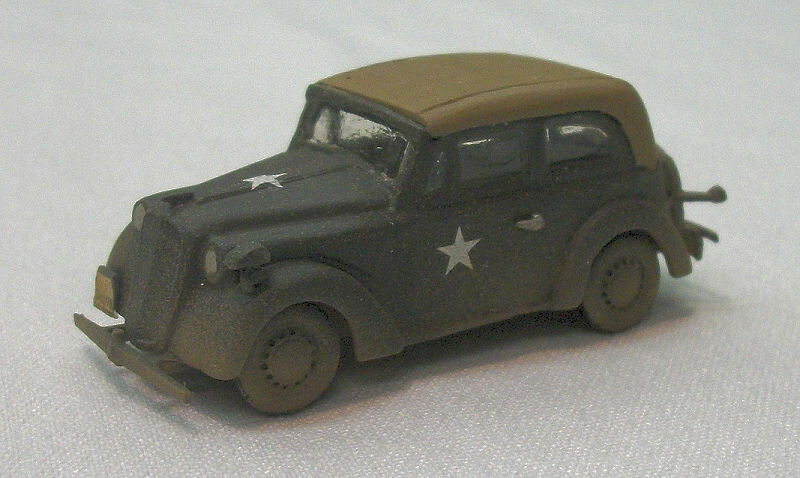 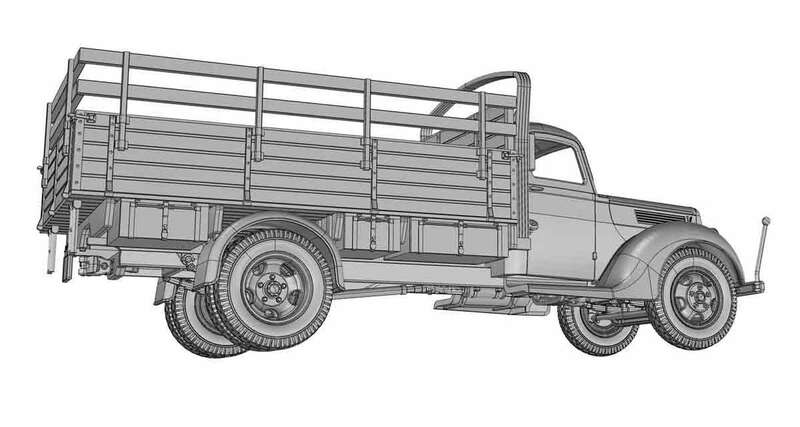 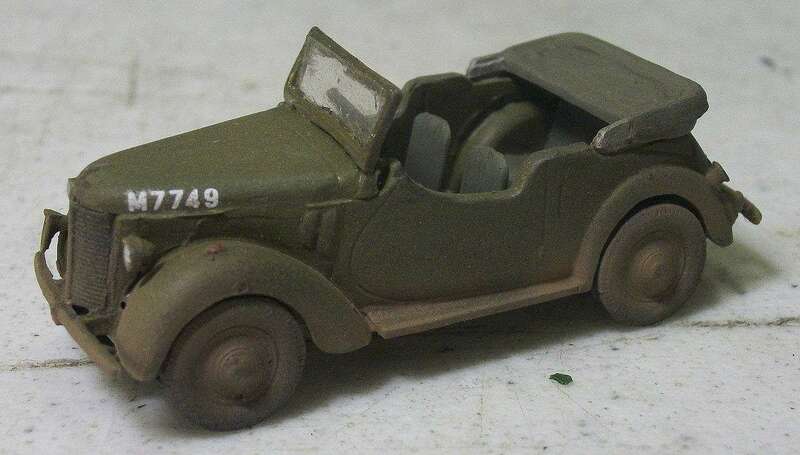 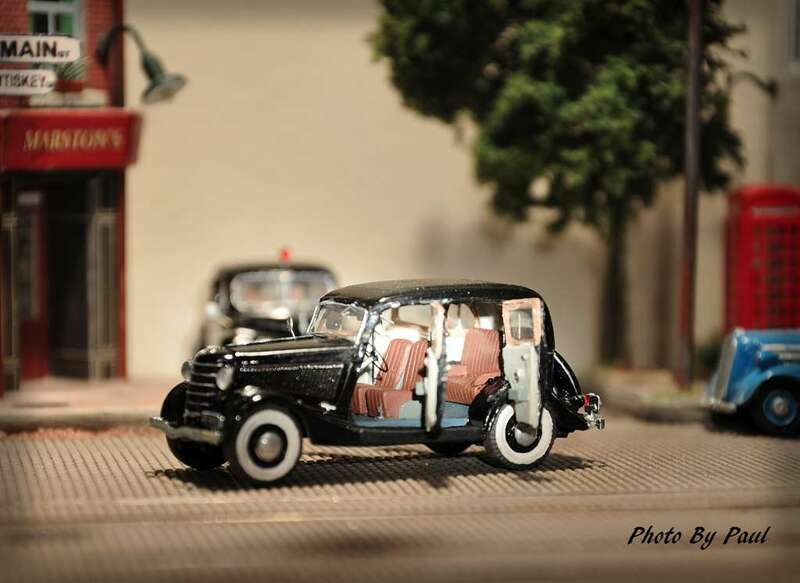 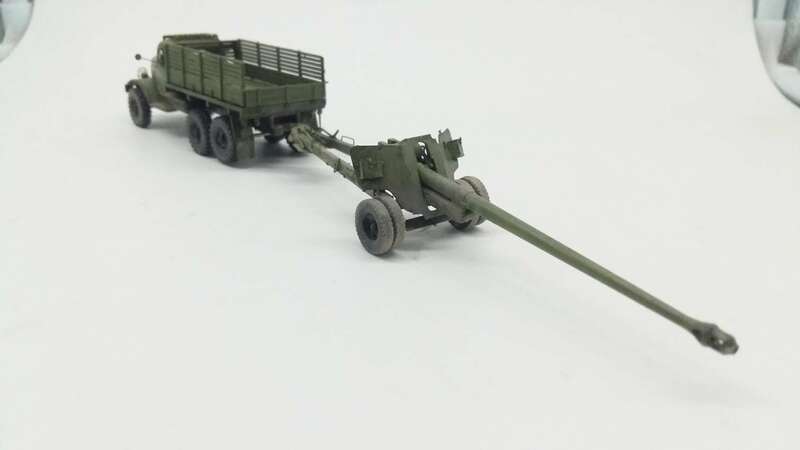 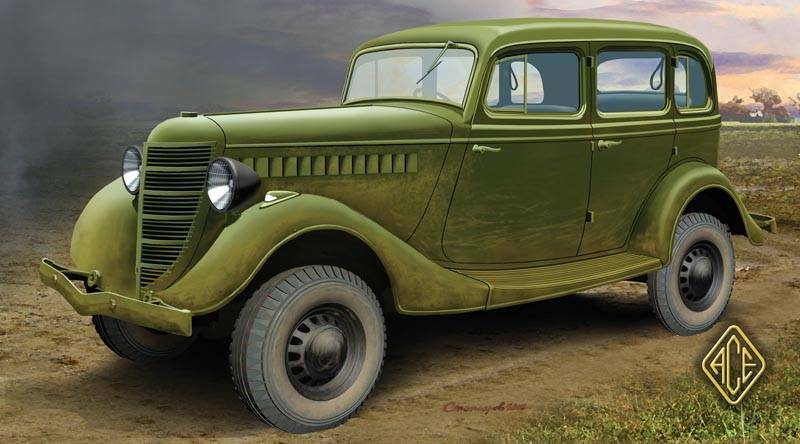 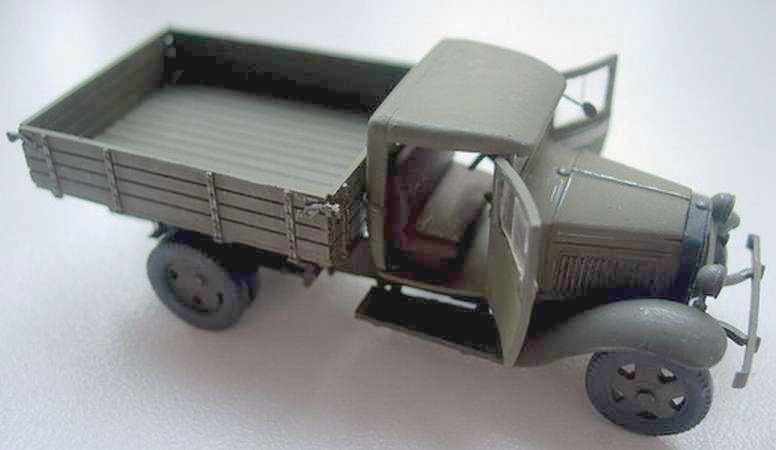 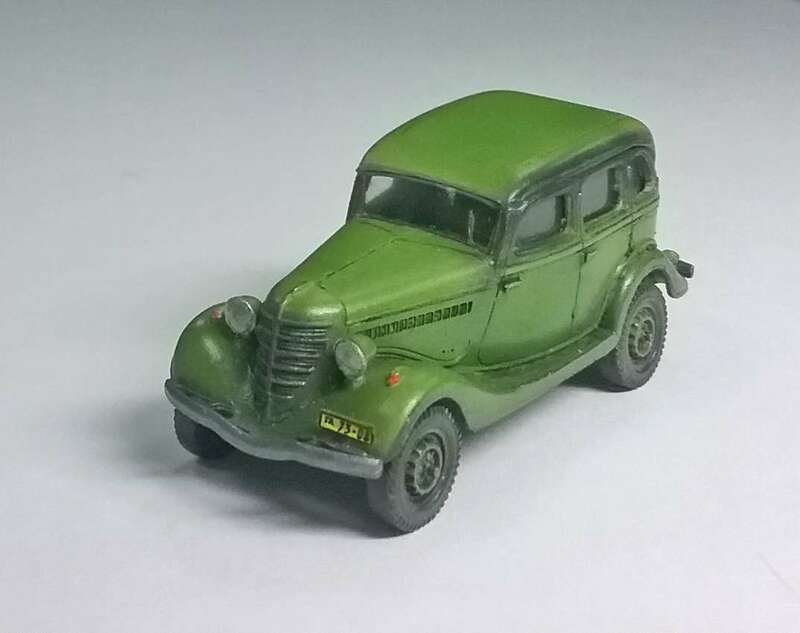 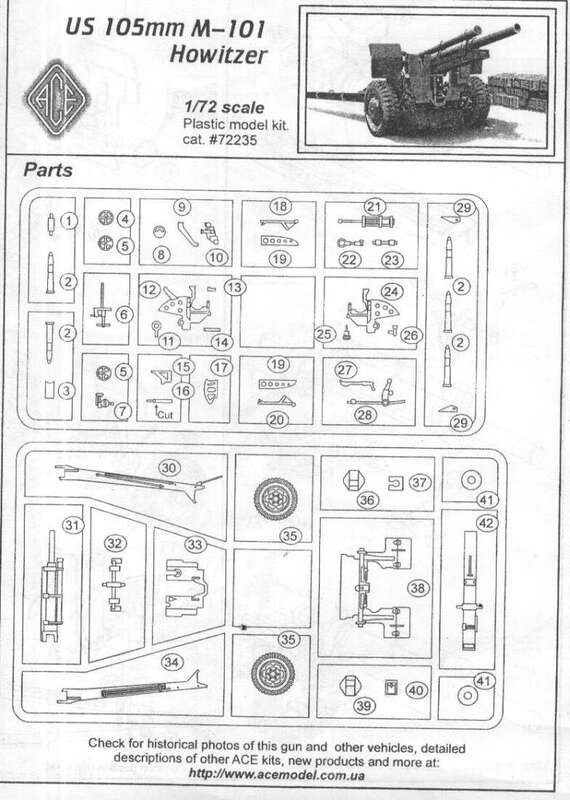 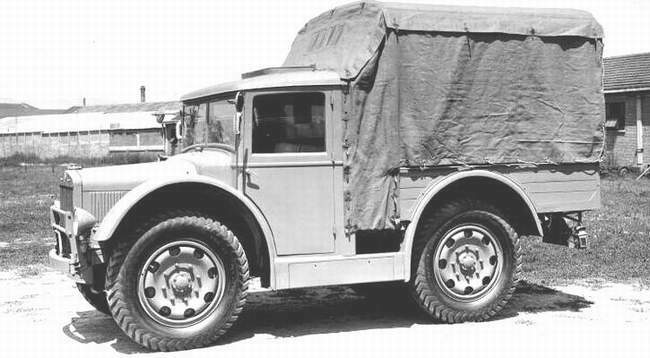 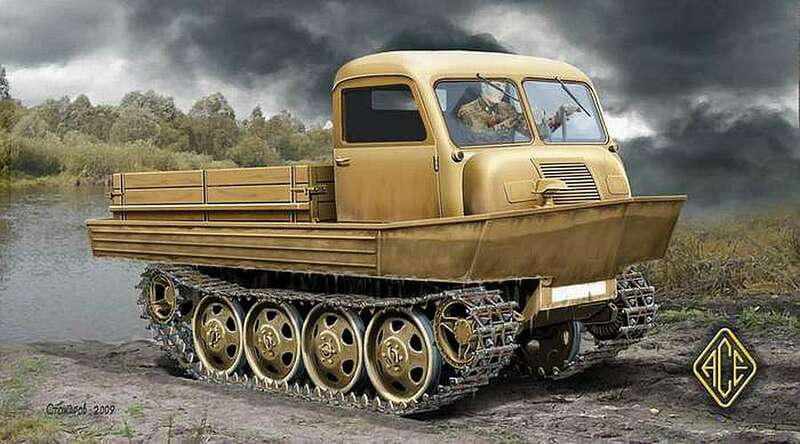 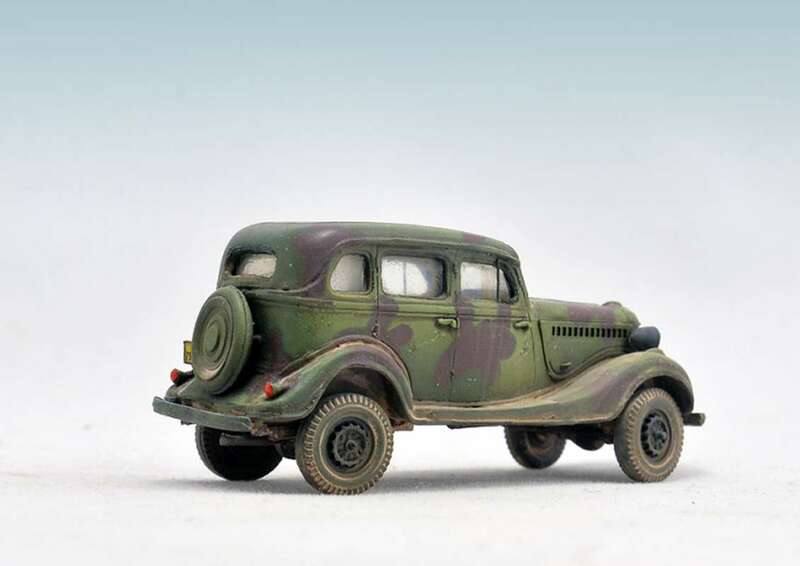 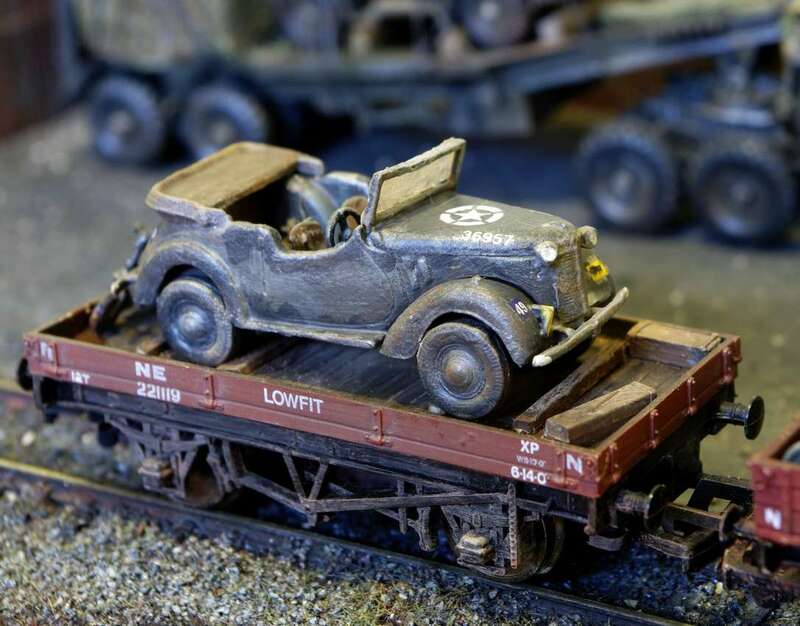 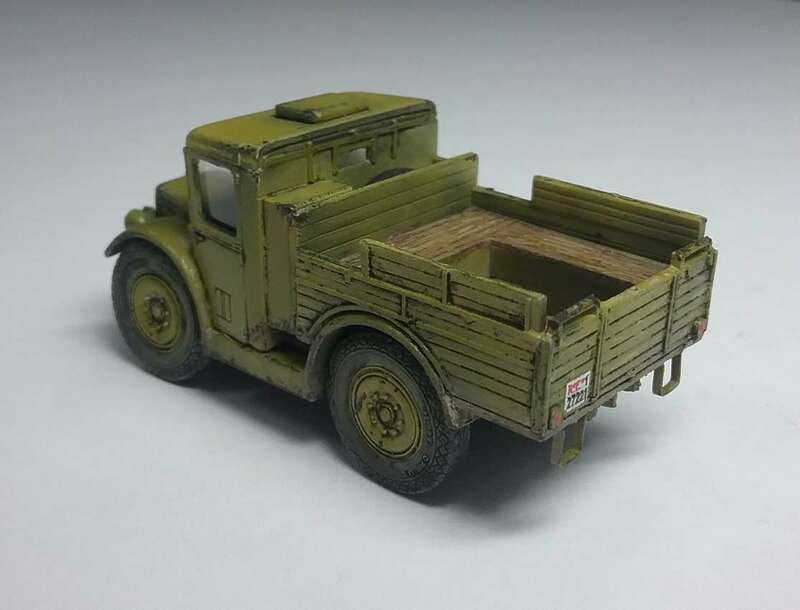 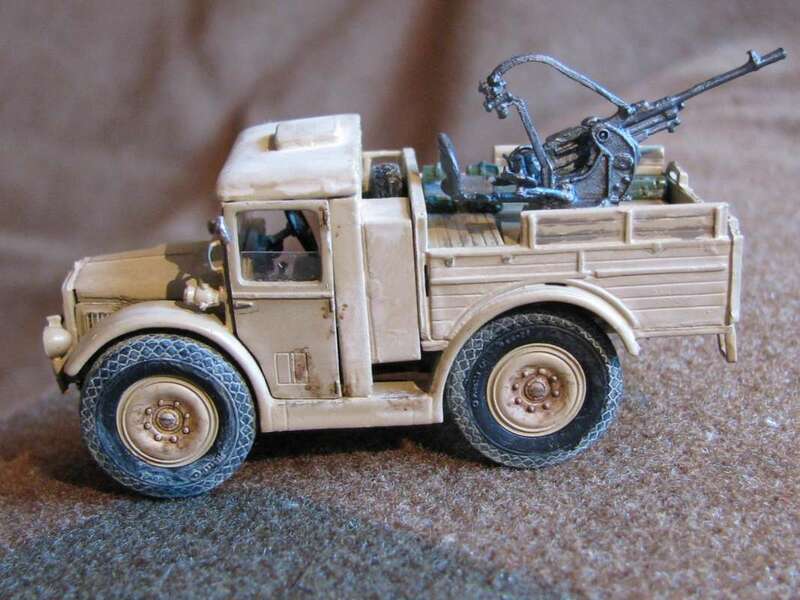 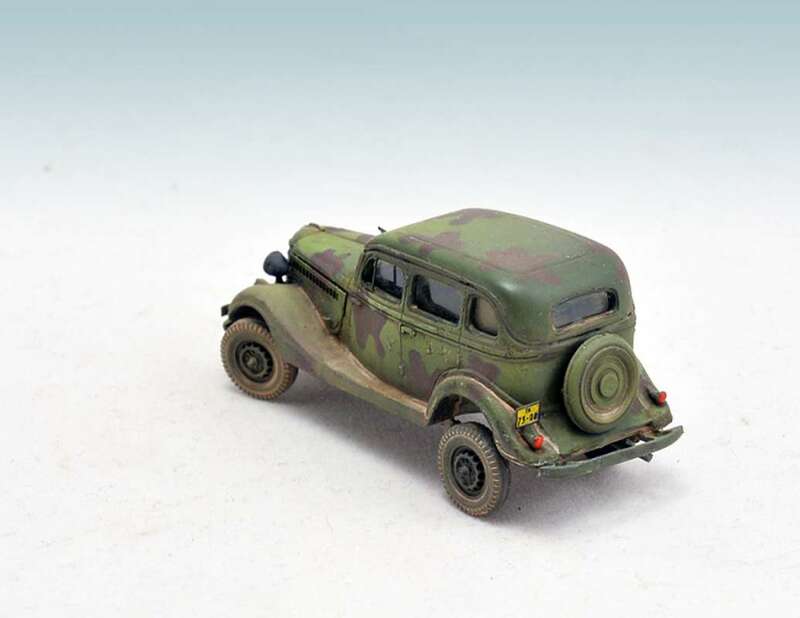 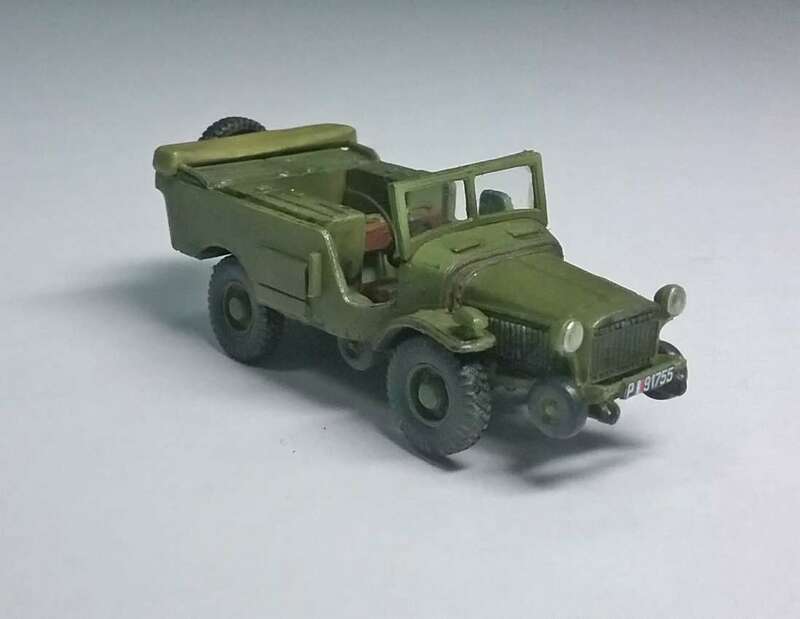 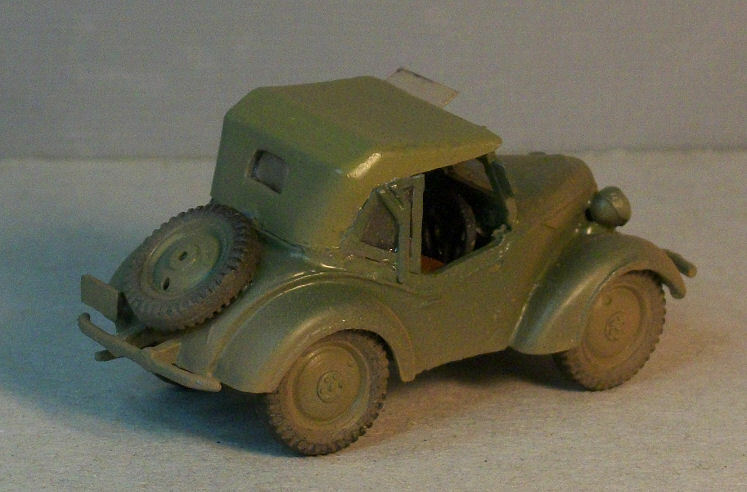 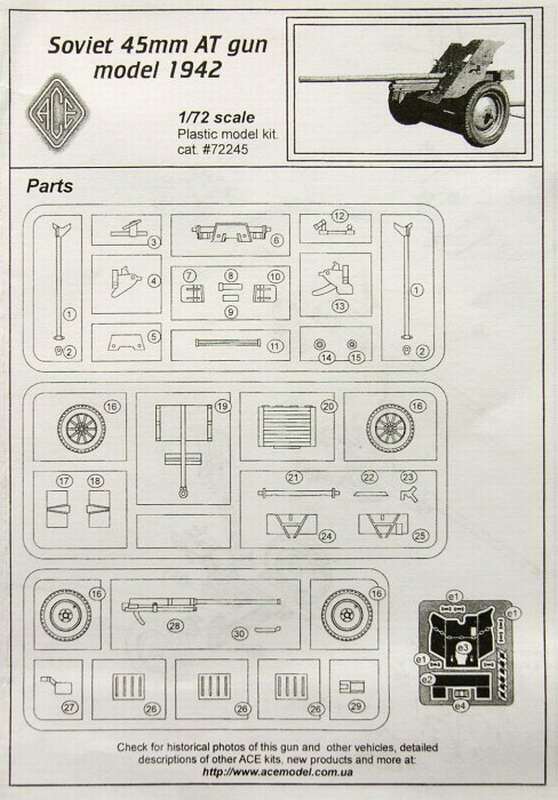 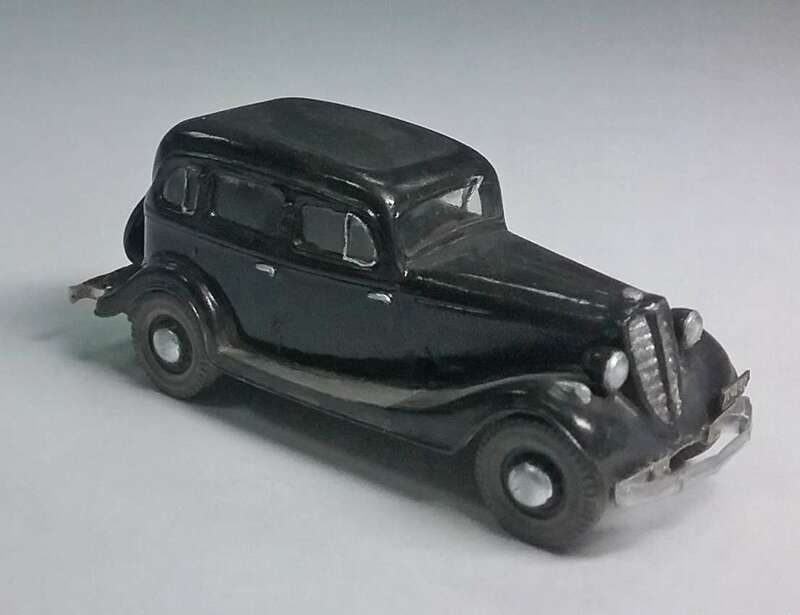 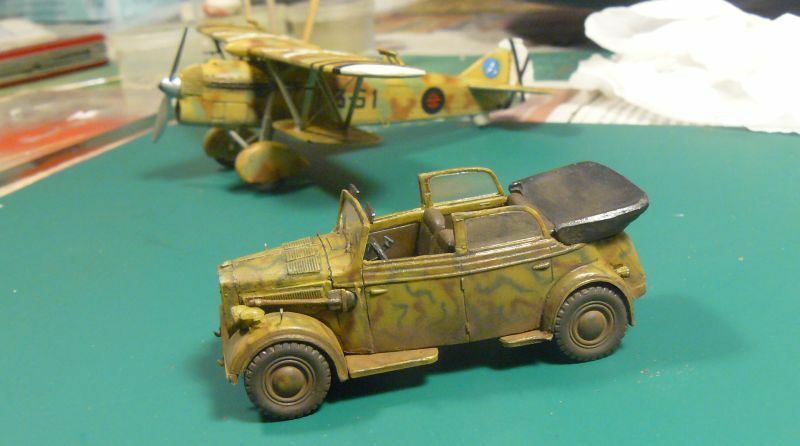 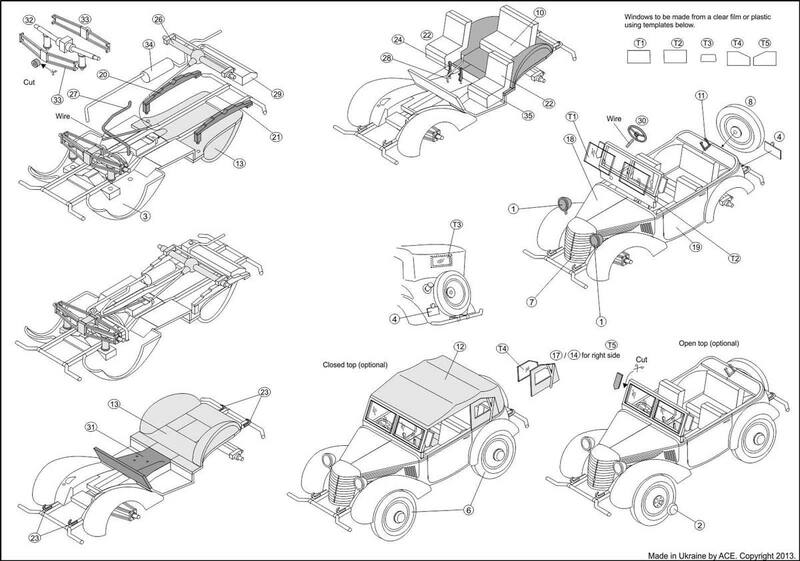 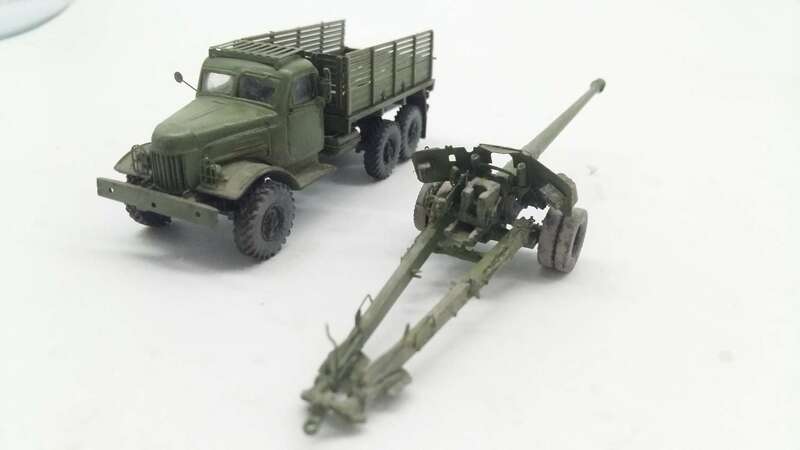 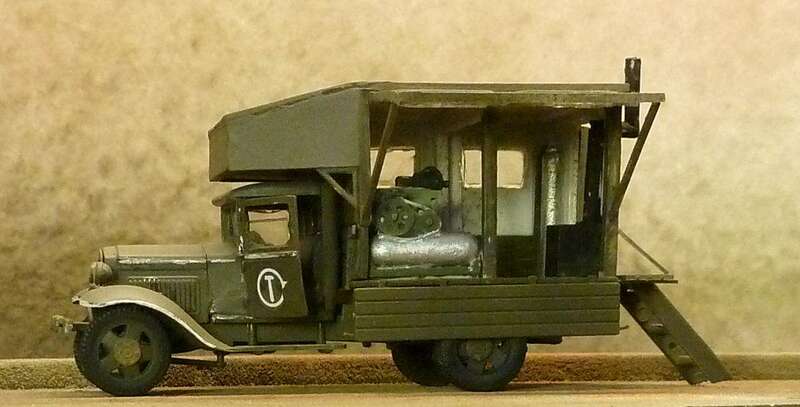 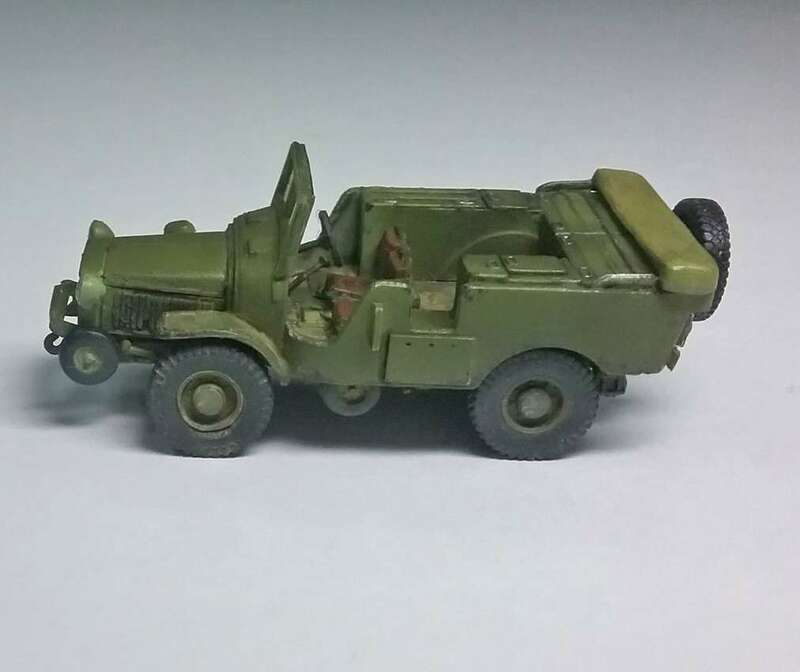 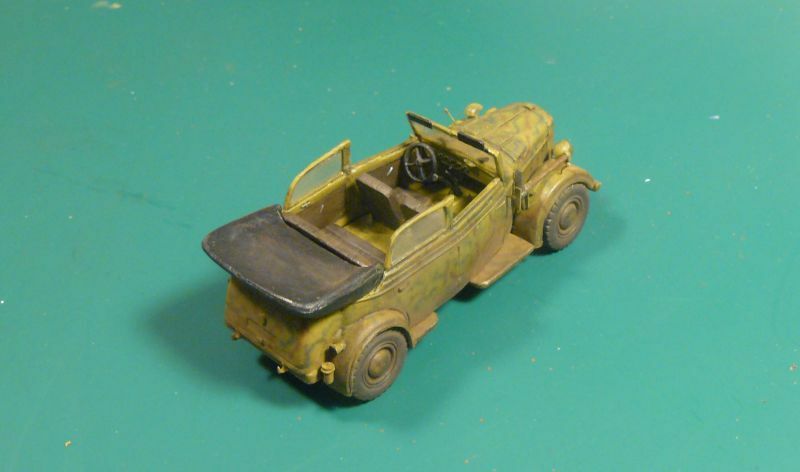 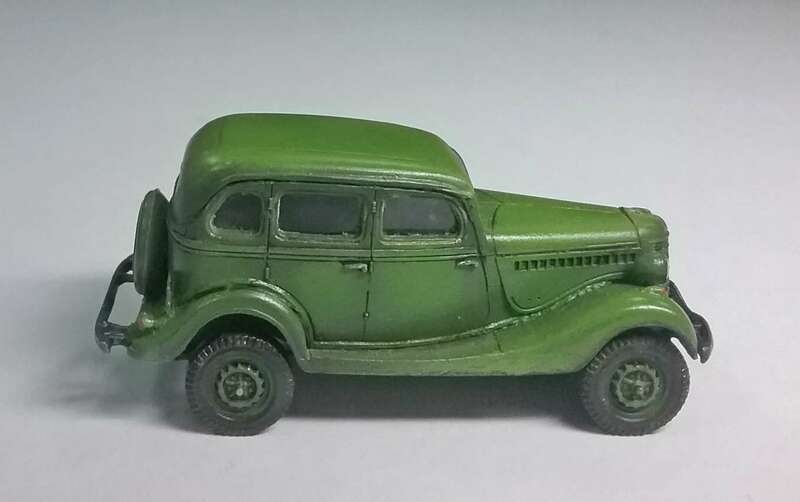 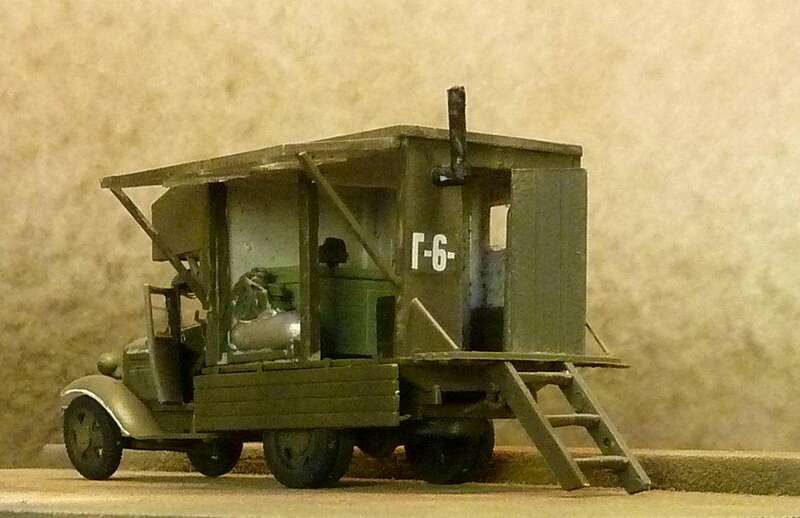 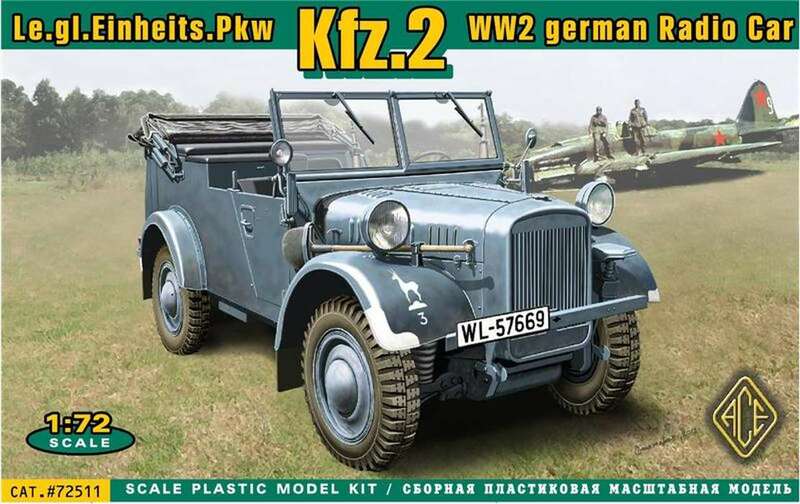 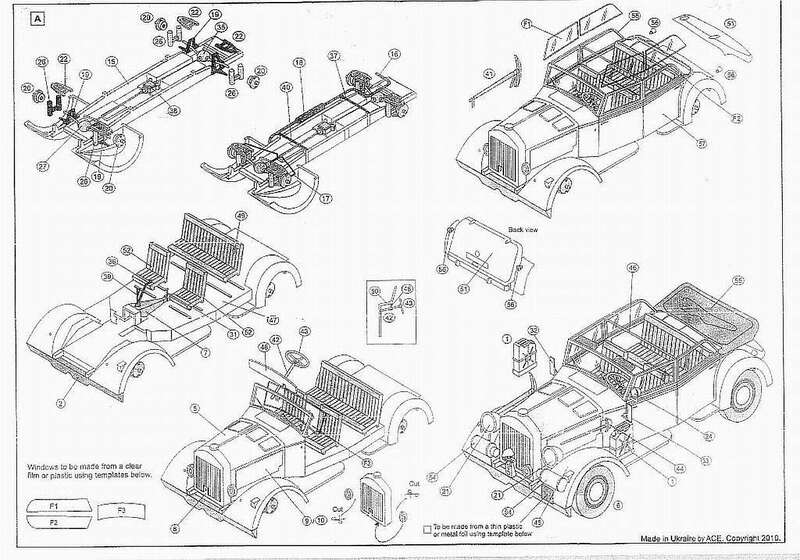 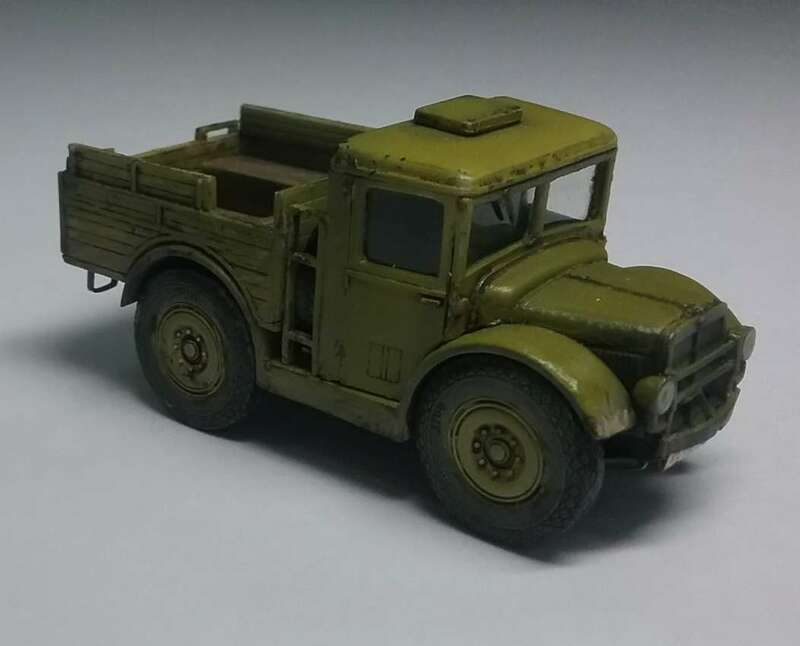 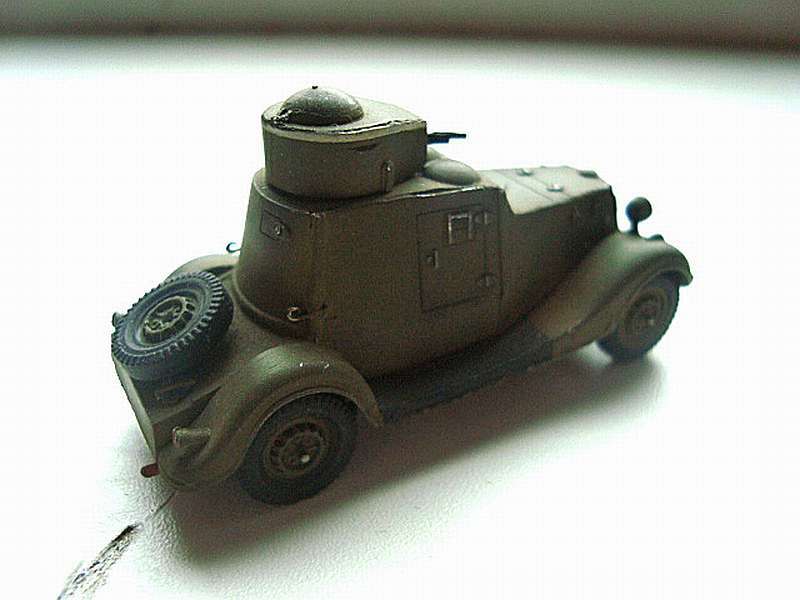 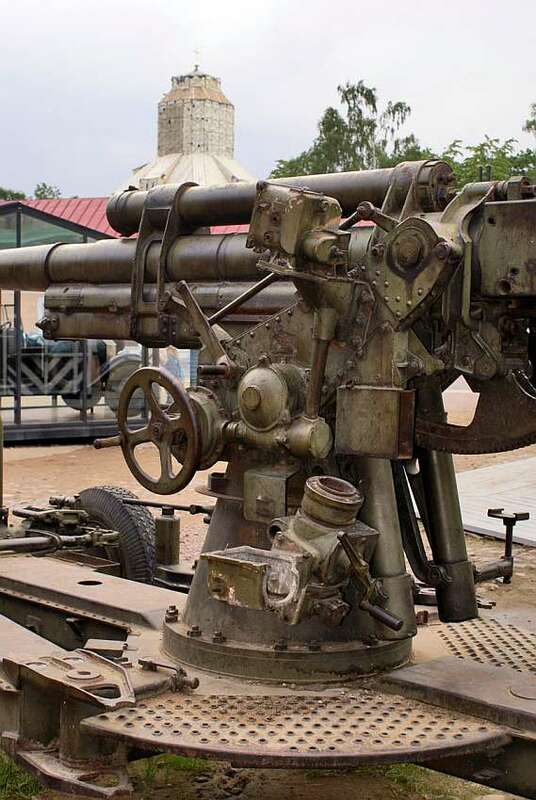 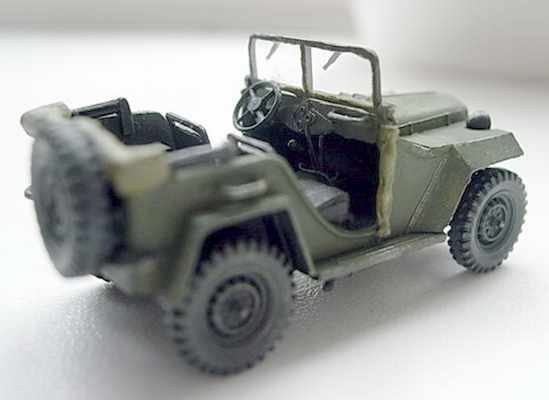 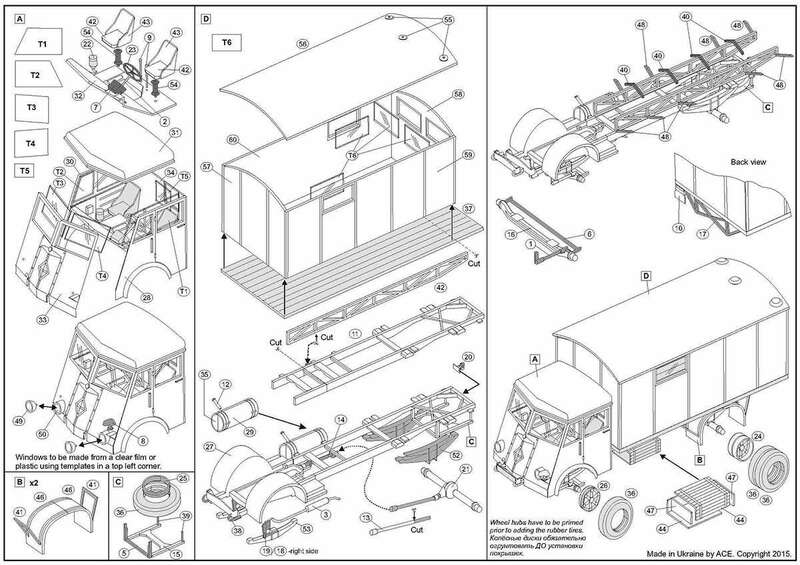 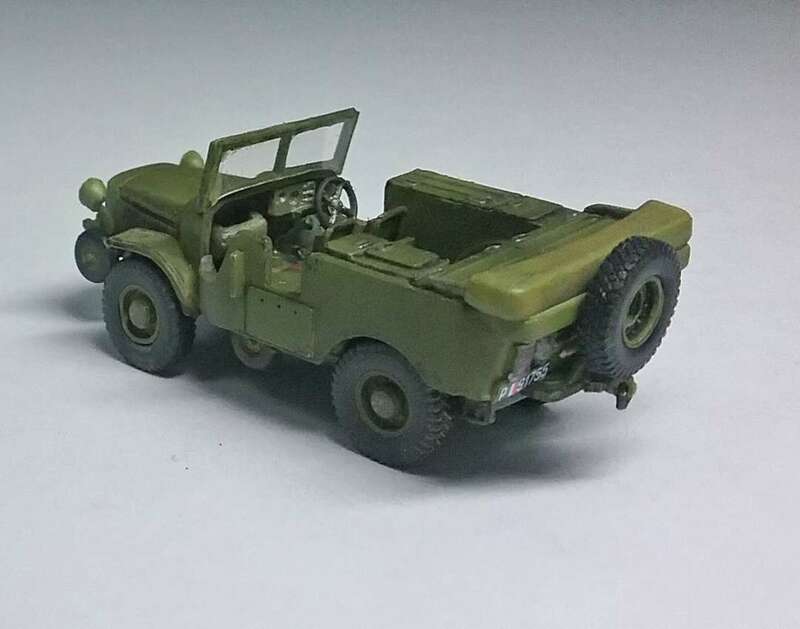 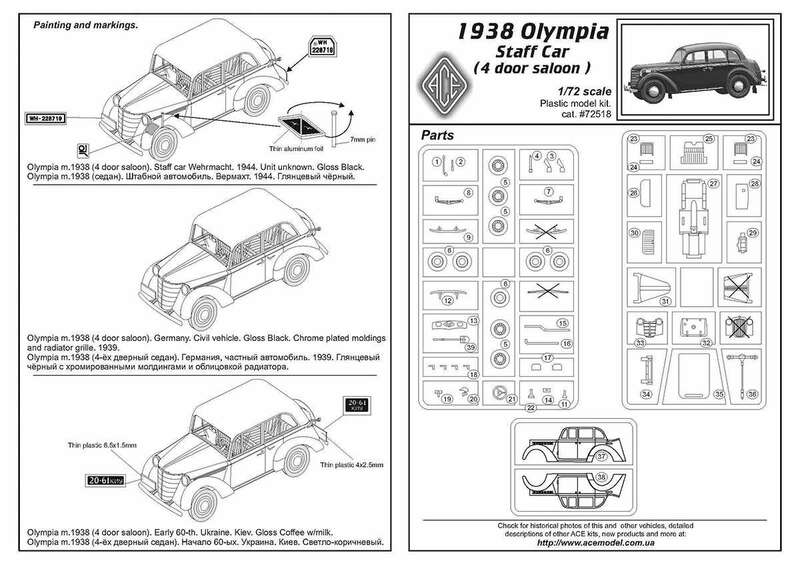 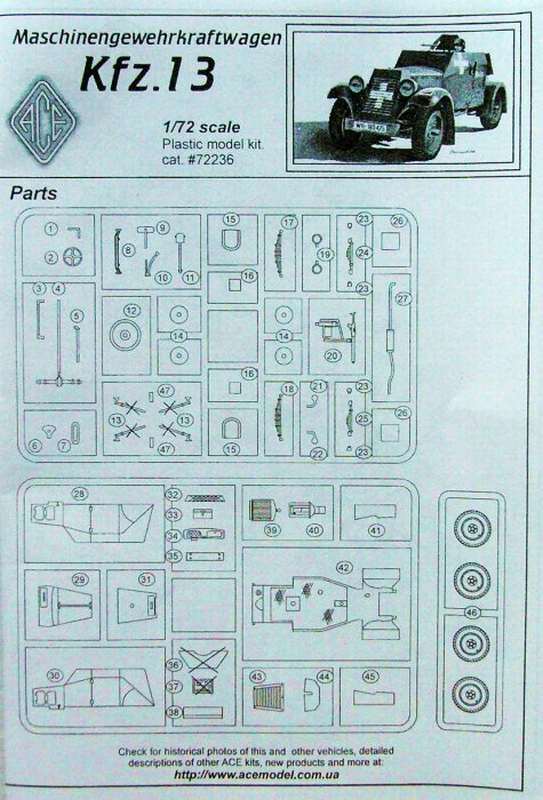 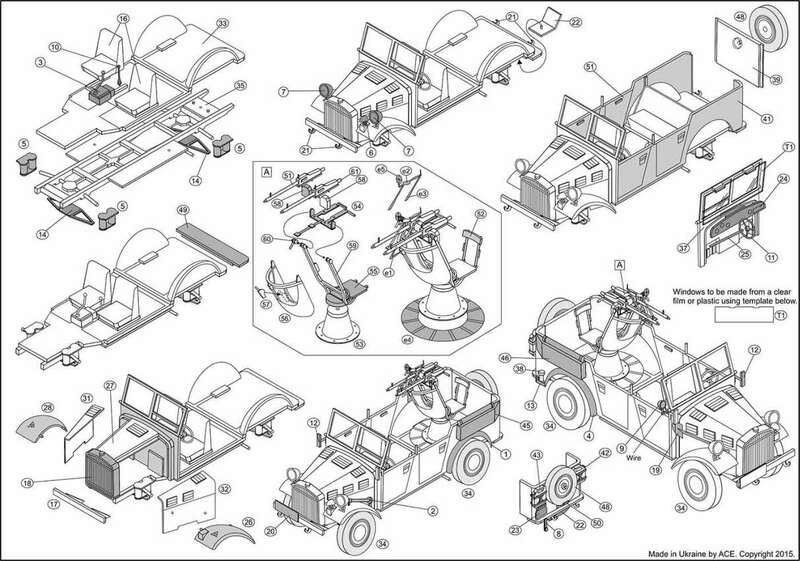 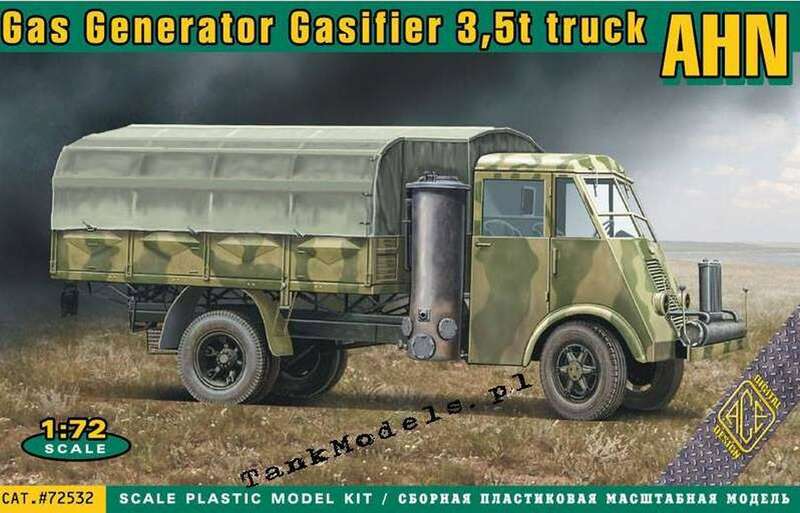 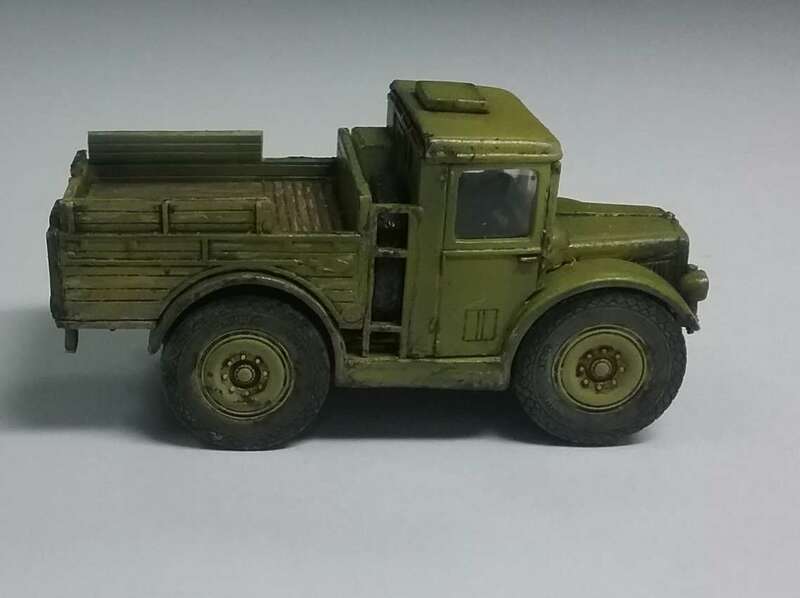 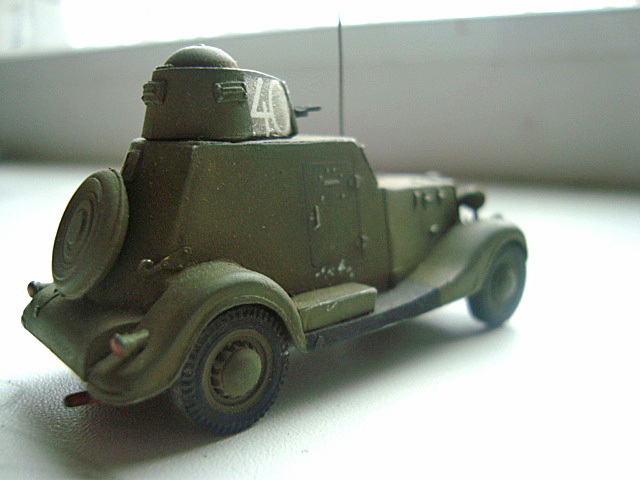 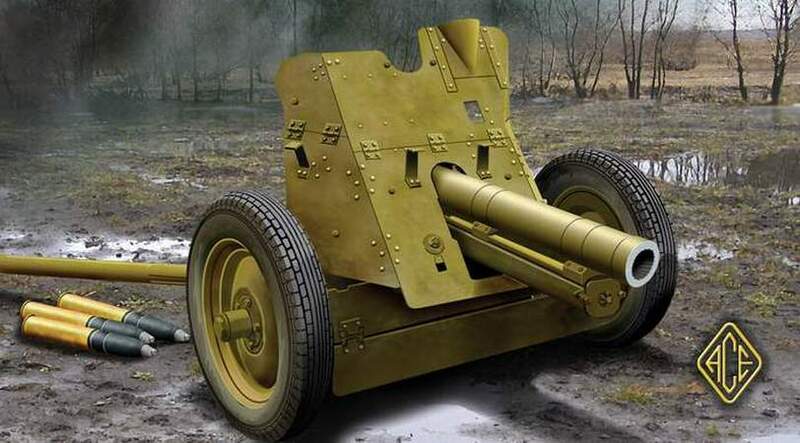 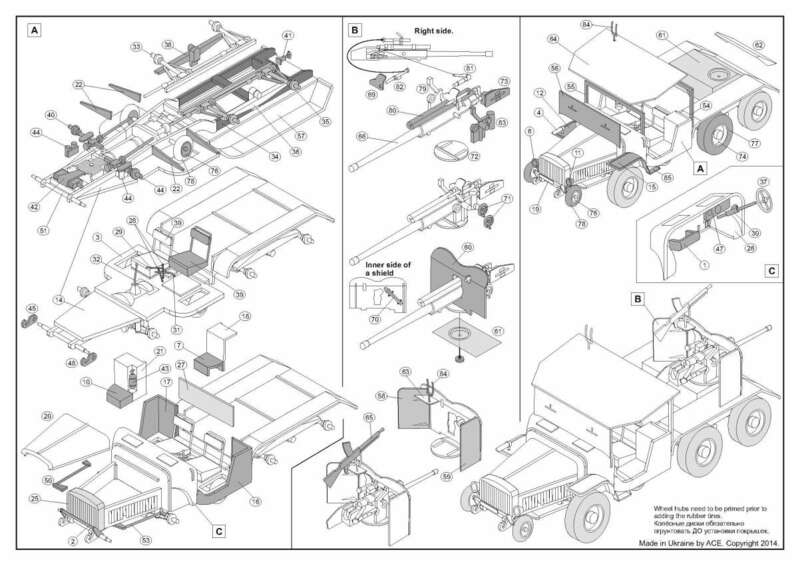 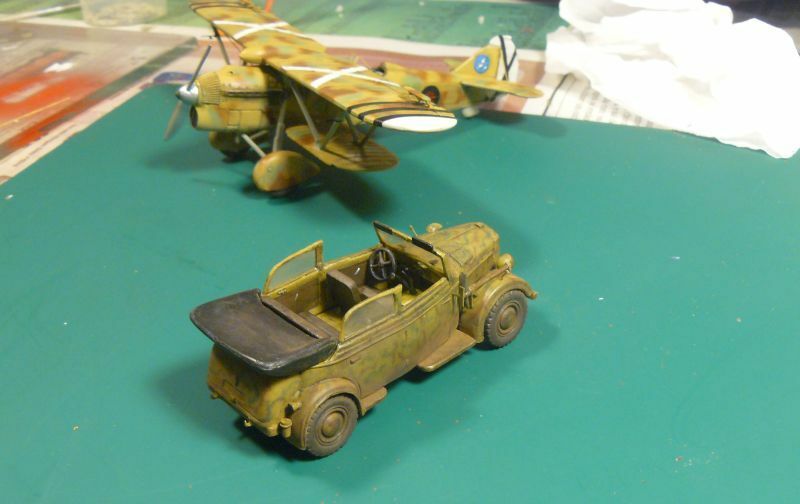 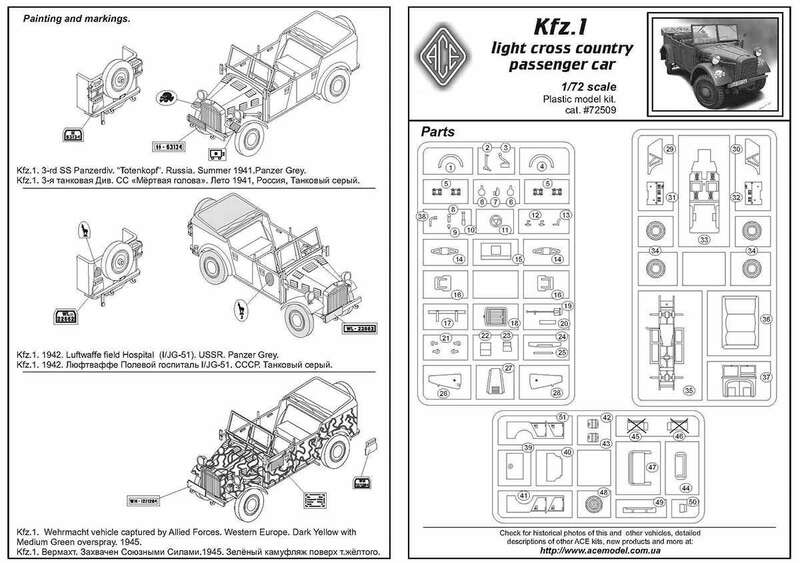 These kits of the Russian built Ford Model A trucks were originally produced by Komintern. 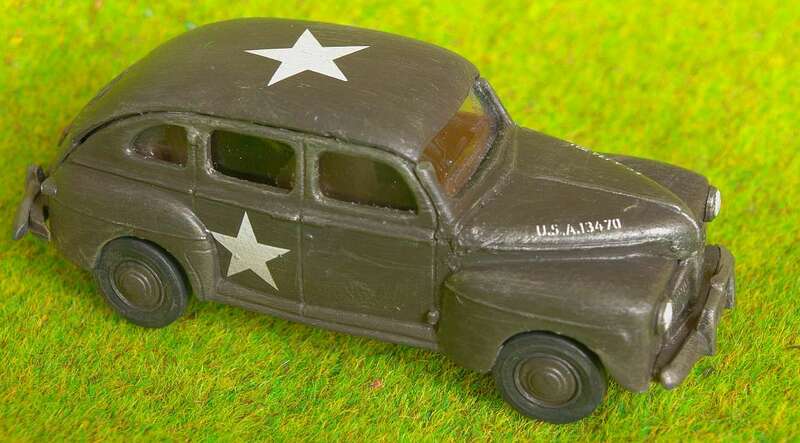 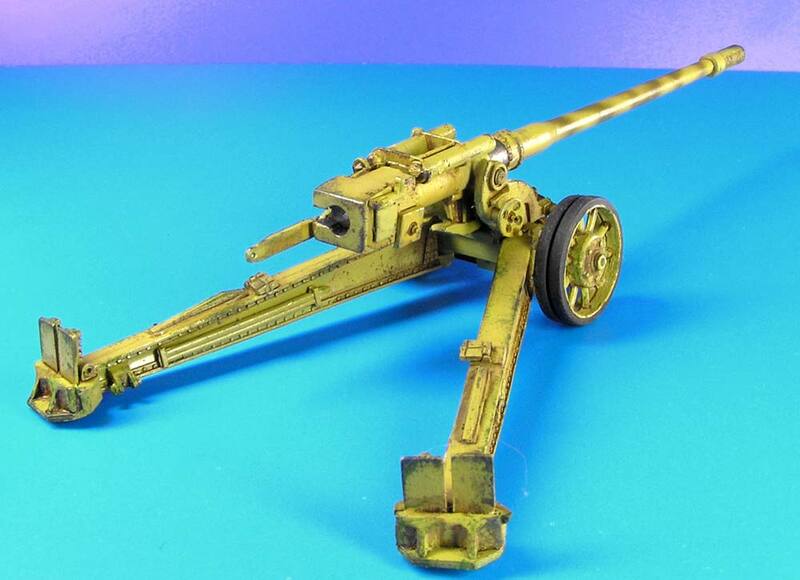 However, they have not been available for the past couple of years and had become highly value collector's items. 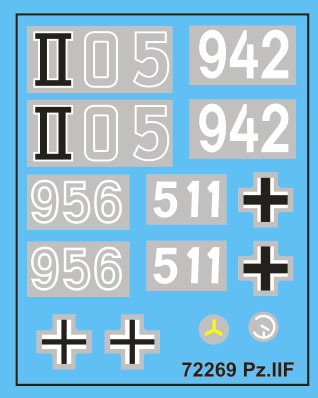 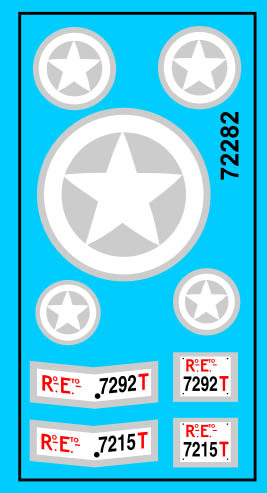 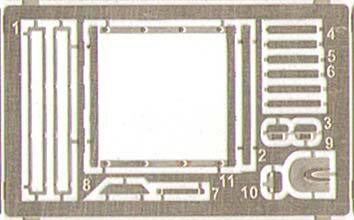 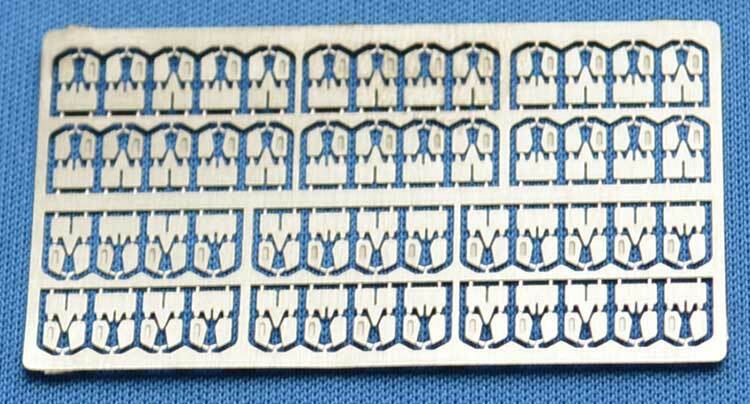 ACE has now re-issued them with the addition of decals and a small etched fret (containing a number of small details). 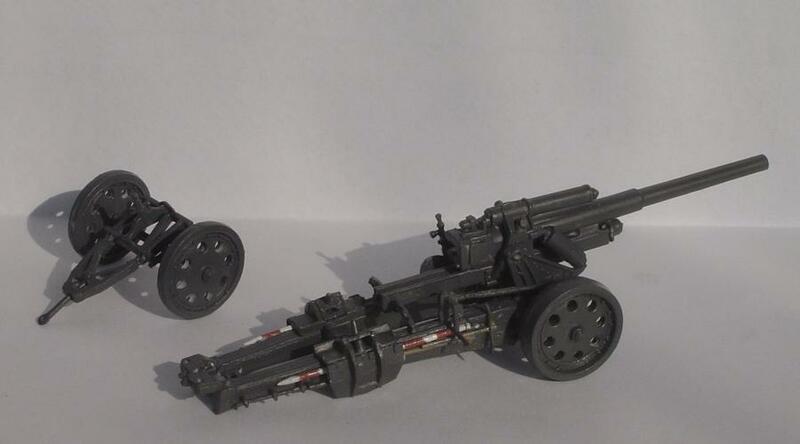 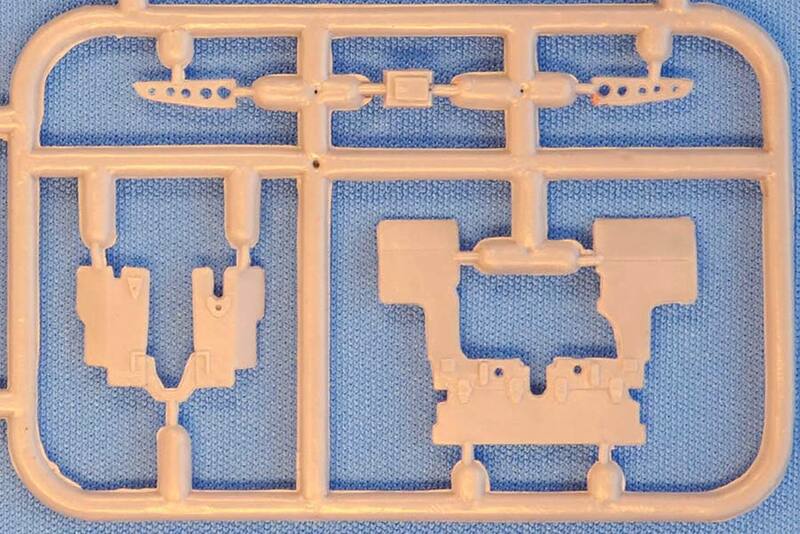 Both kits are the same, having optional parts to build either version. 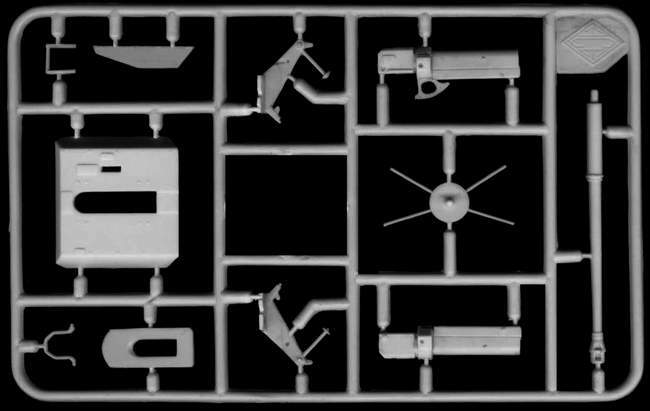 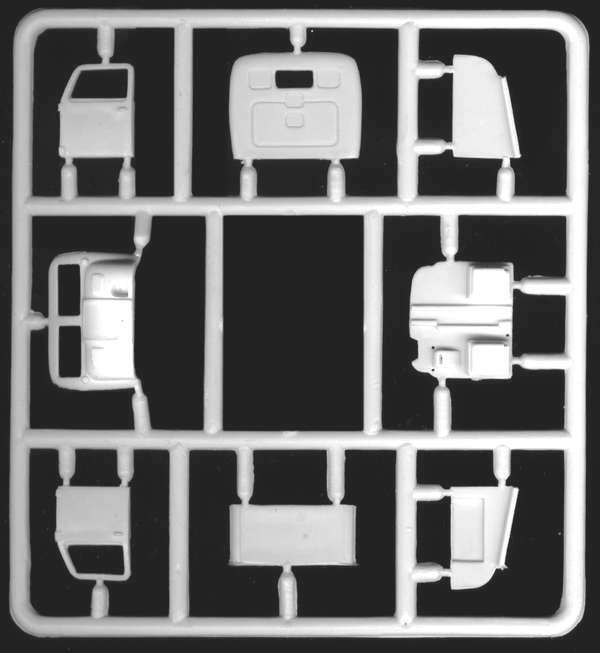 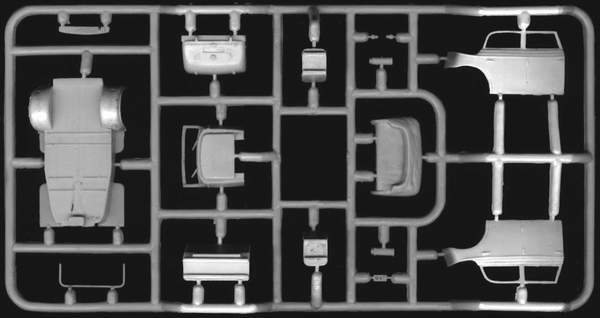 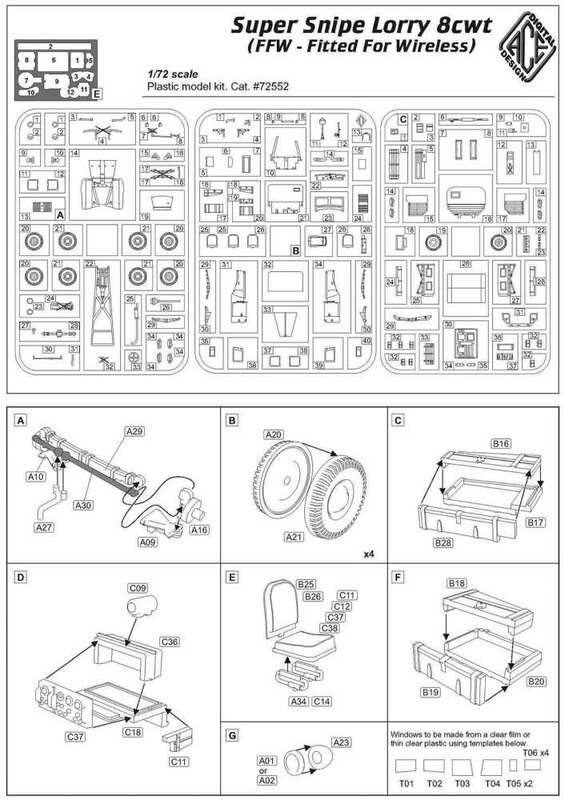 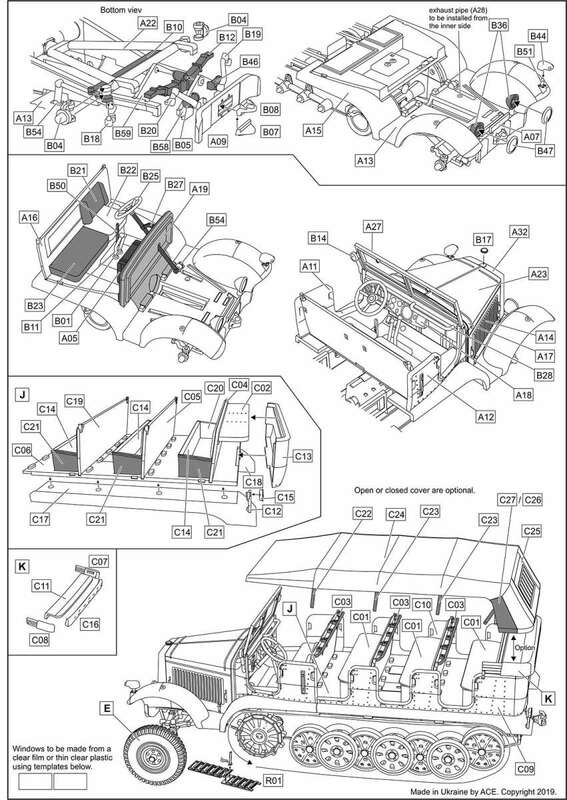 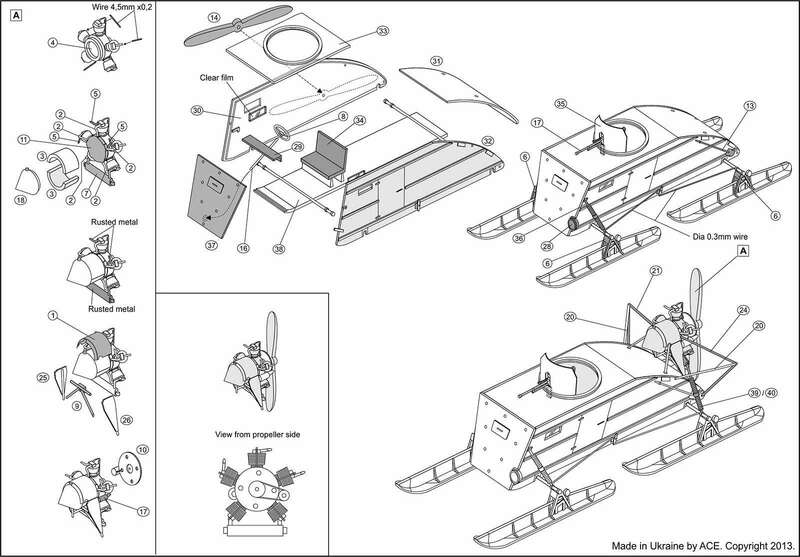 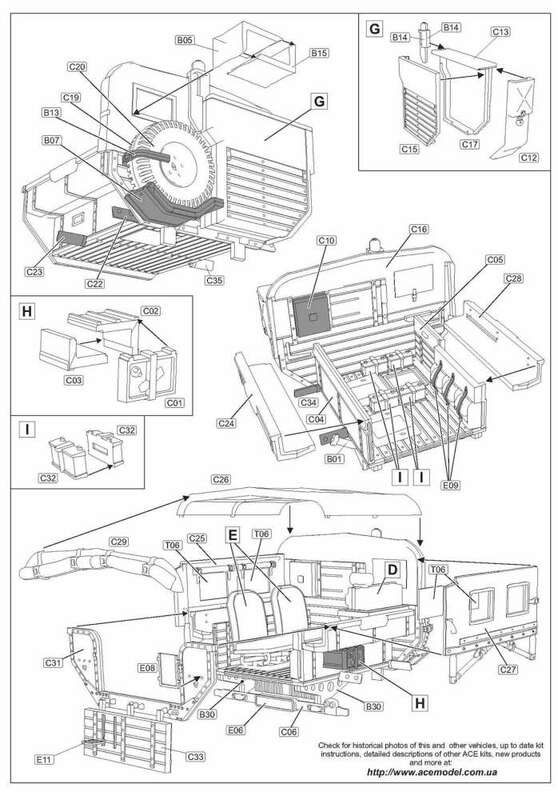 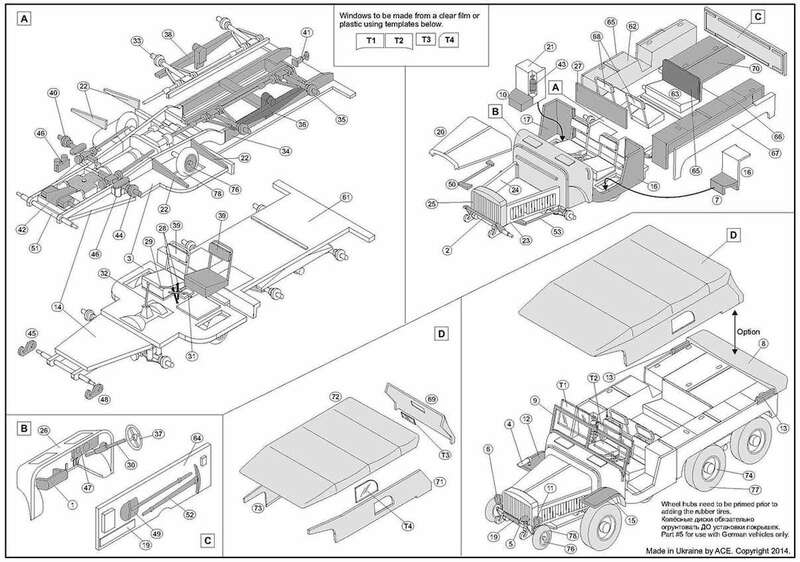 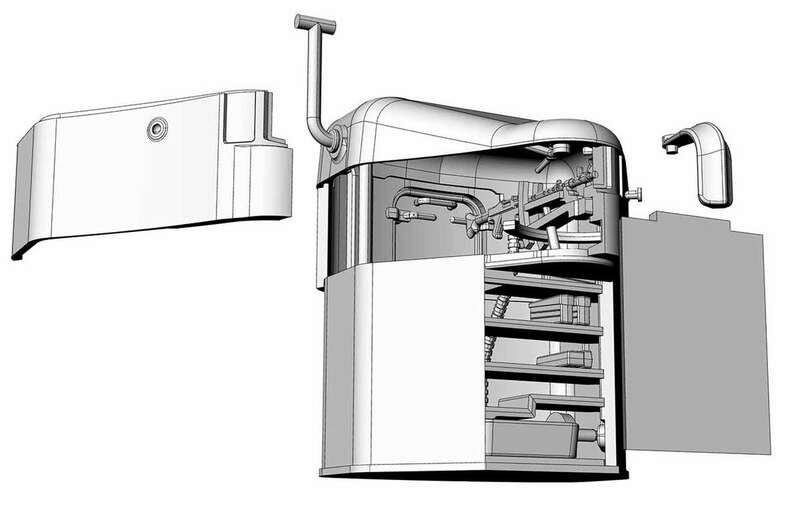 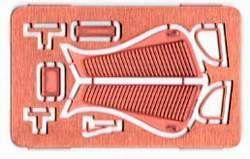 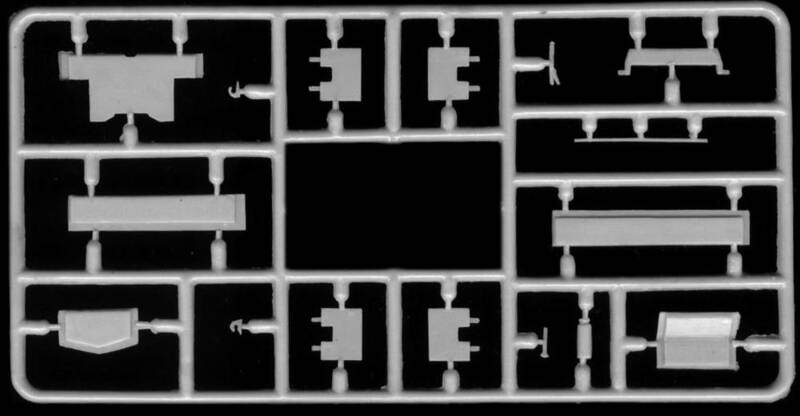 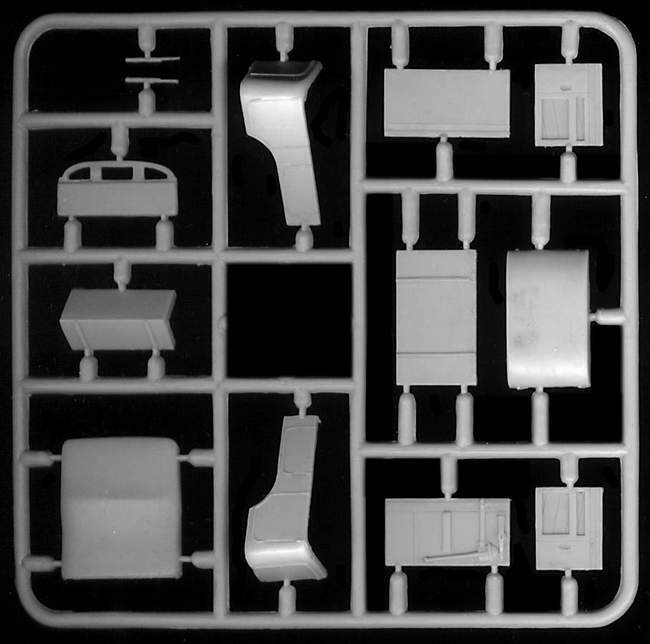 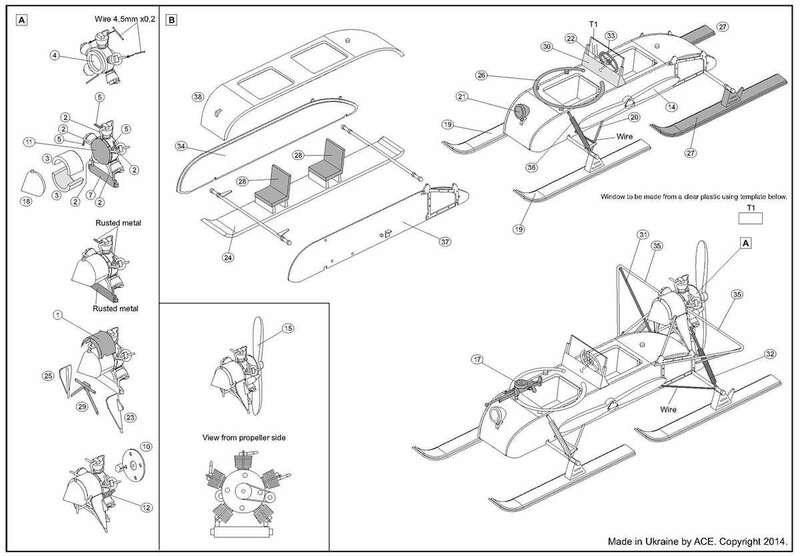 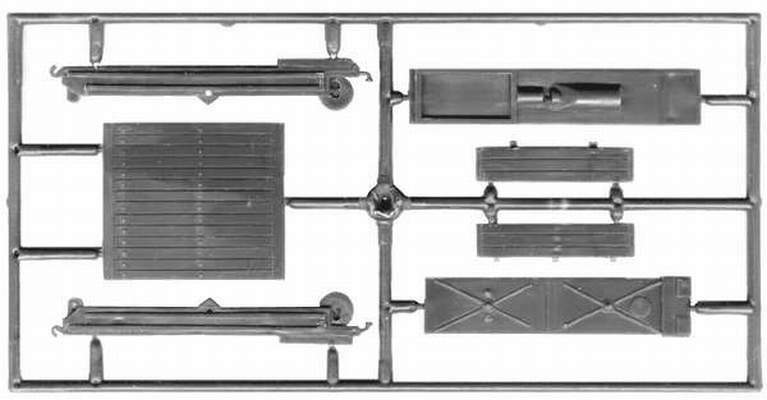 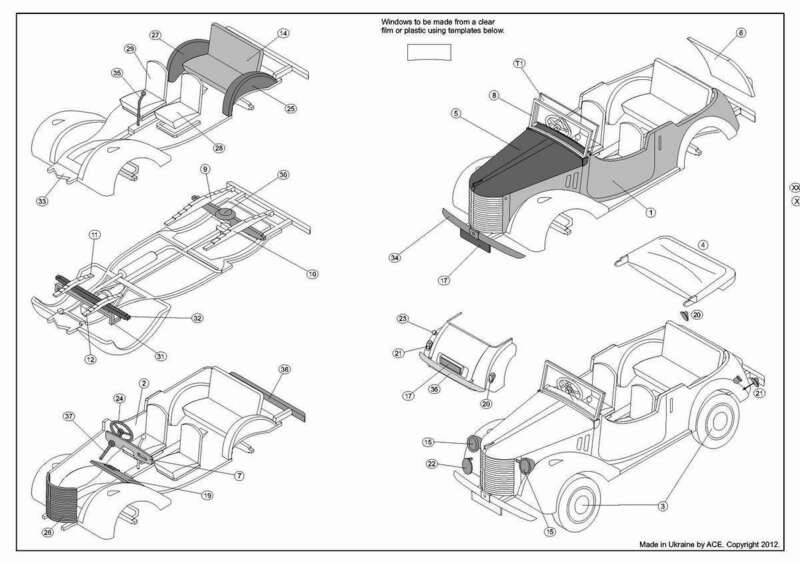 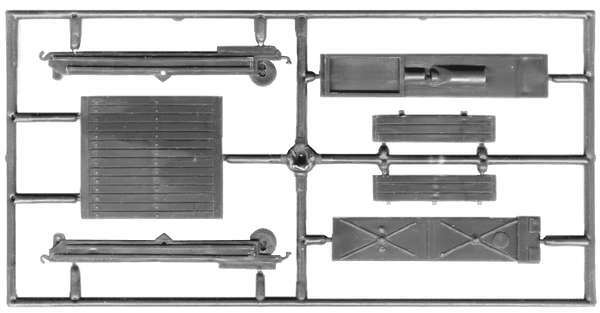 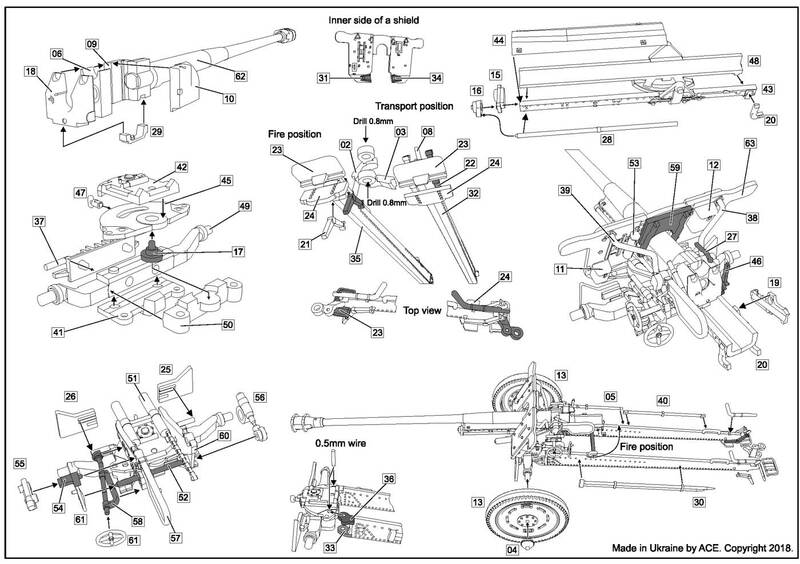 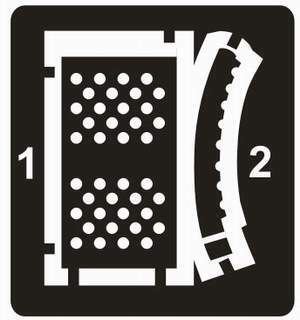 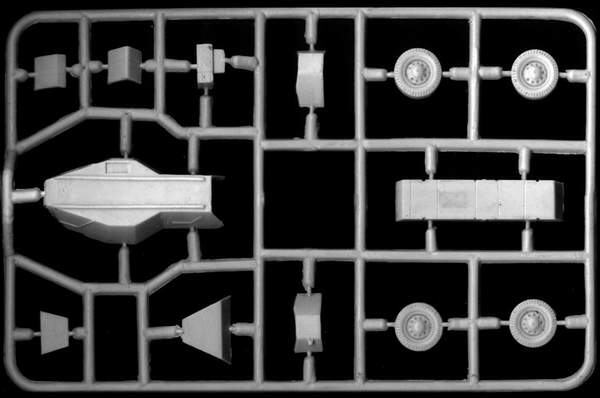 There are 70 crisp, clean, 'long run' (metal mould) injection moulded parts including an 11 part rear tray. 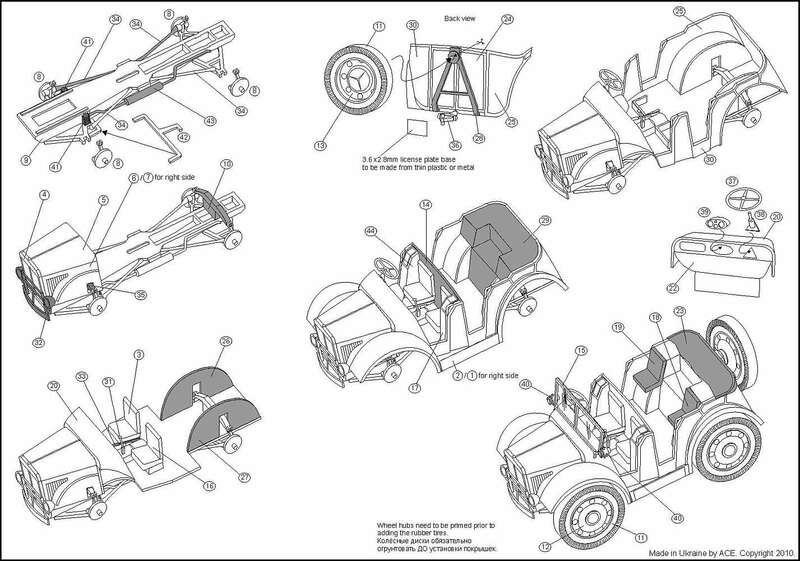 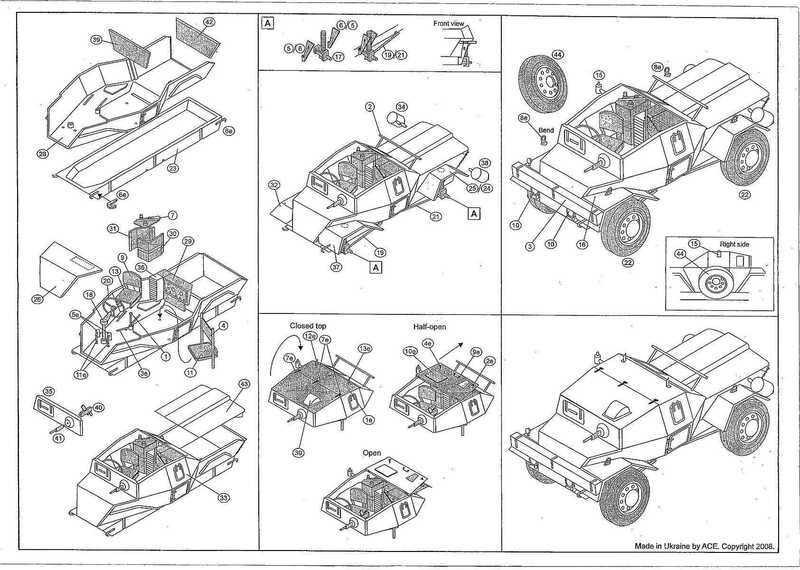 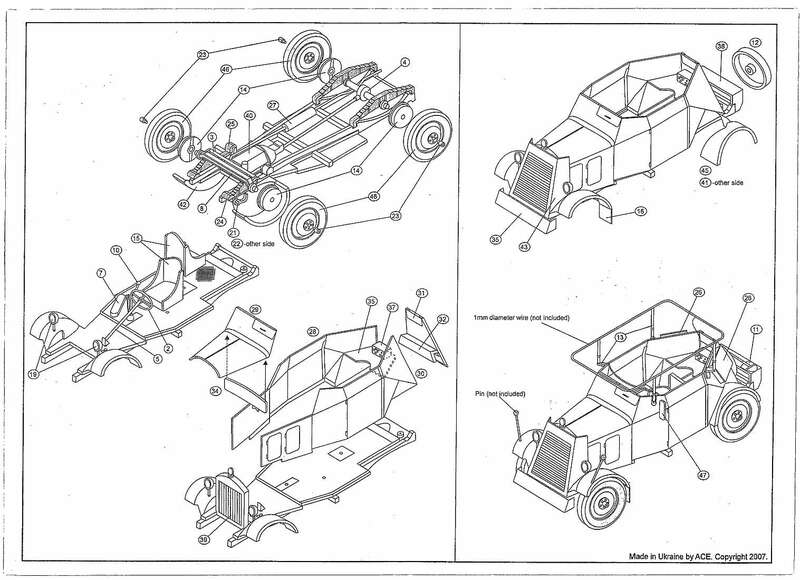 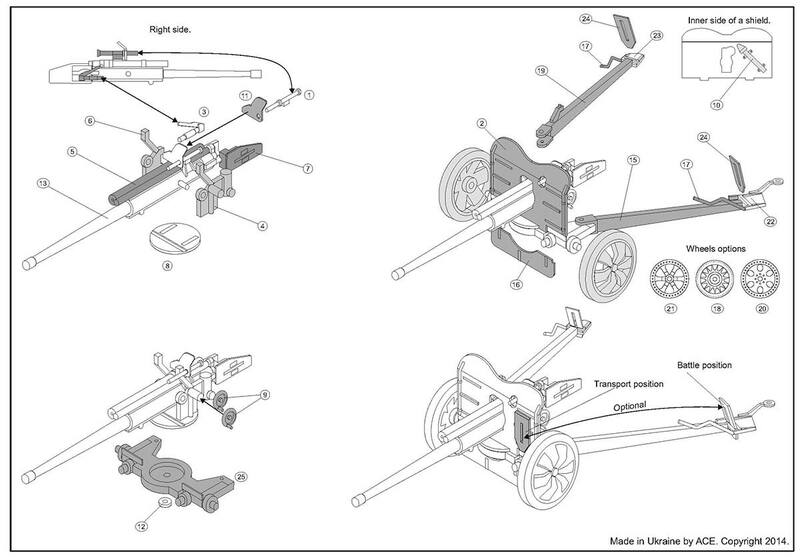 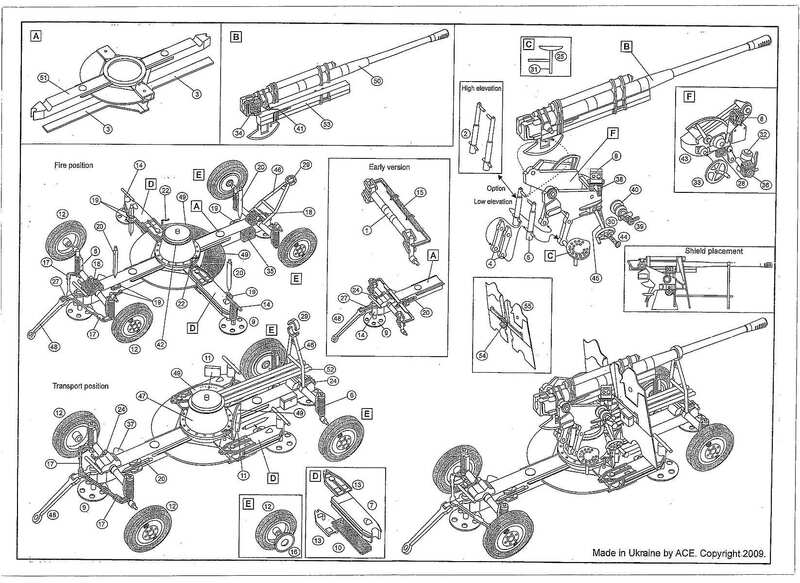 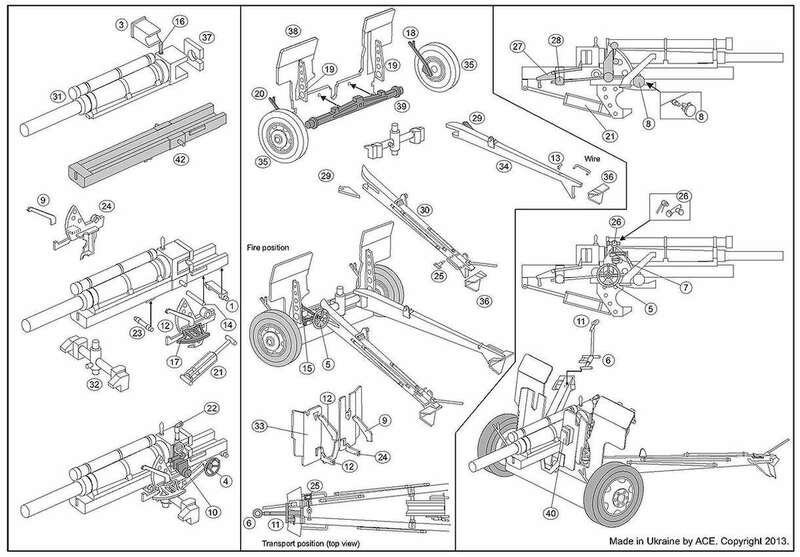 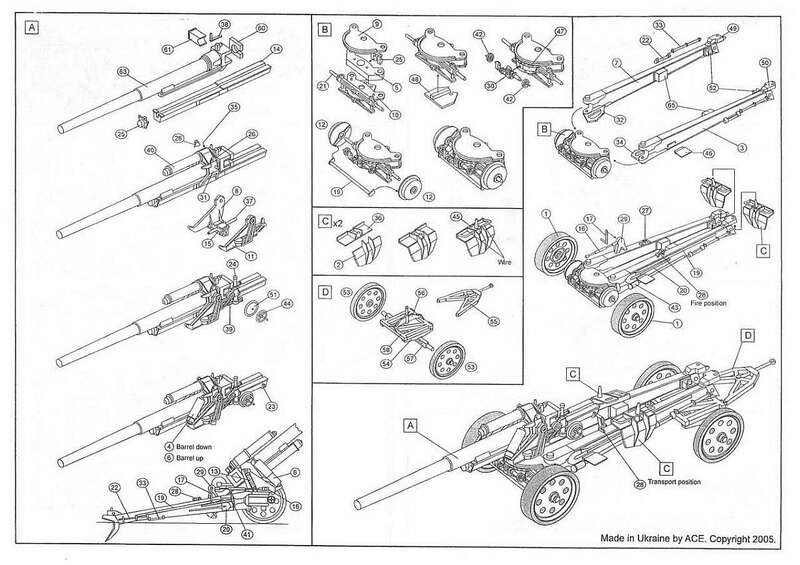 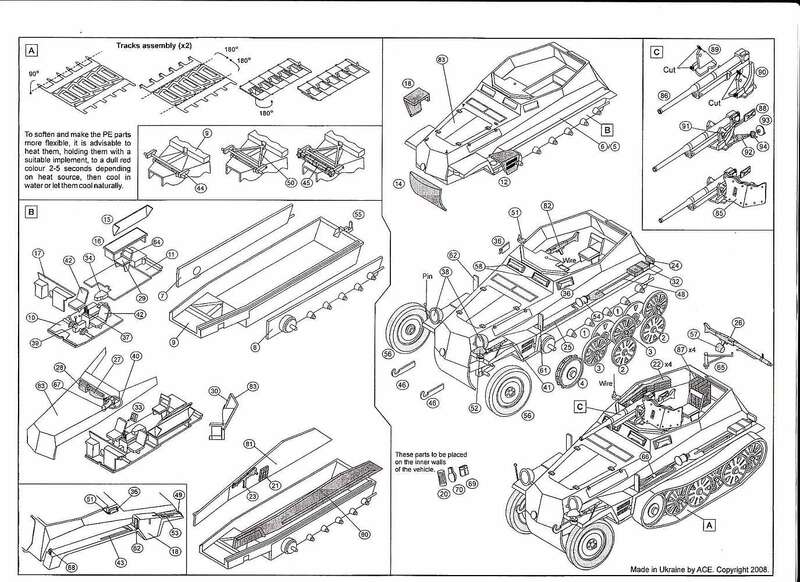 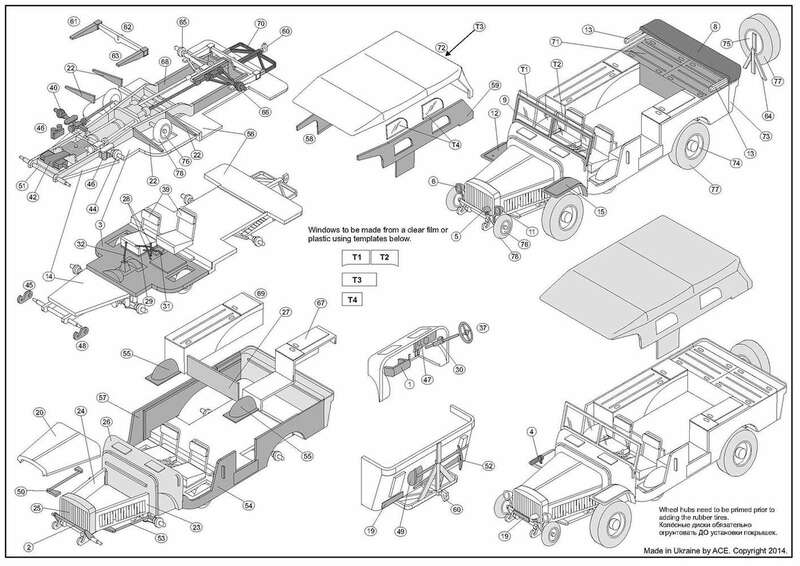 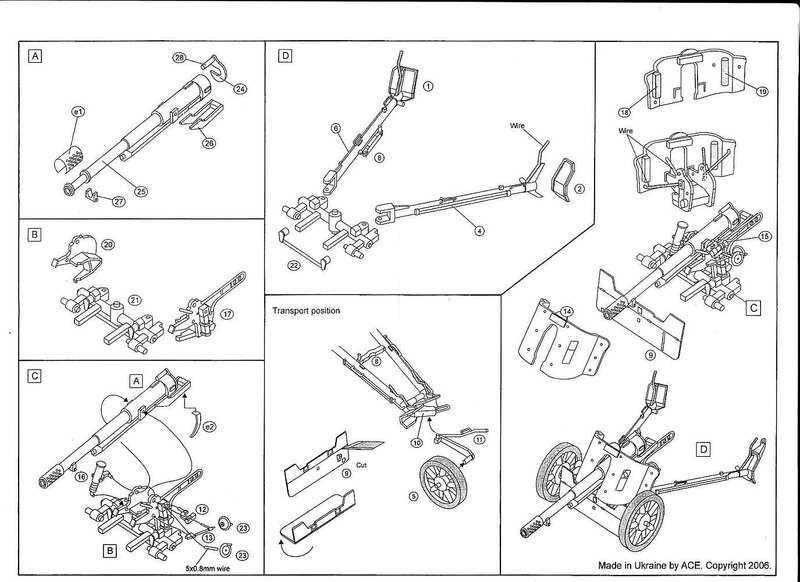 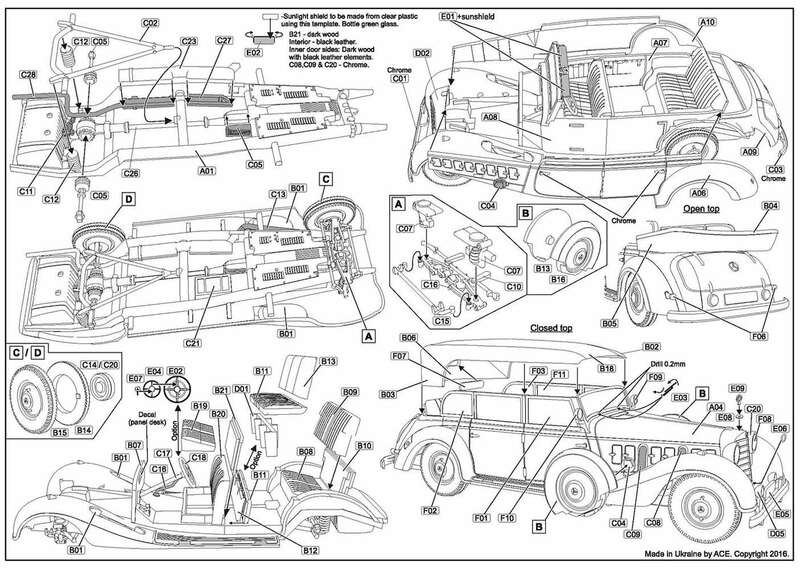 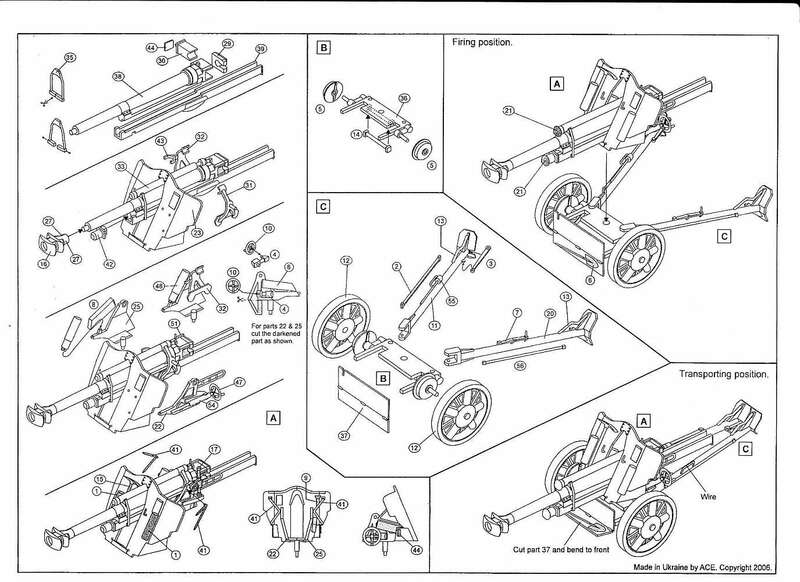 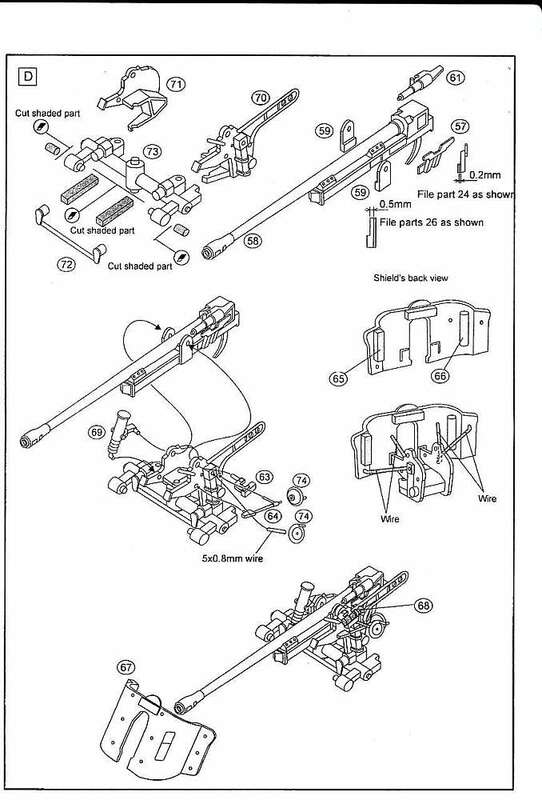 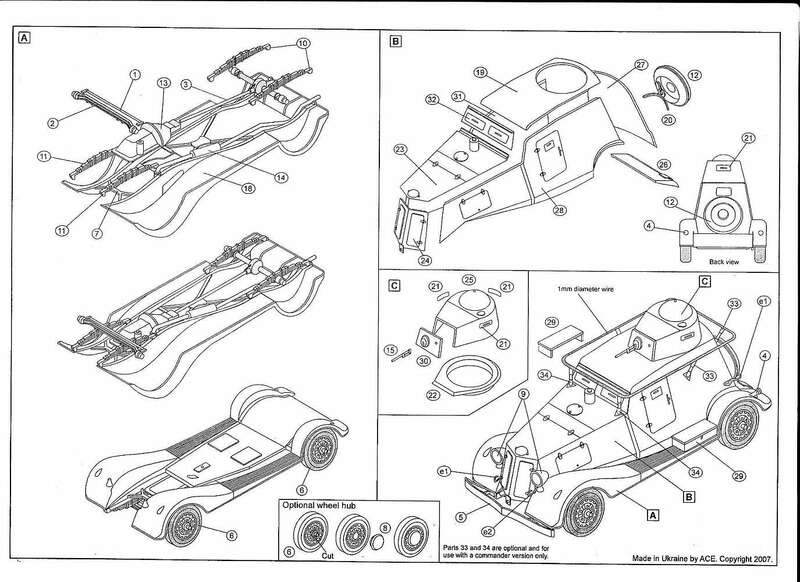 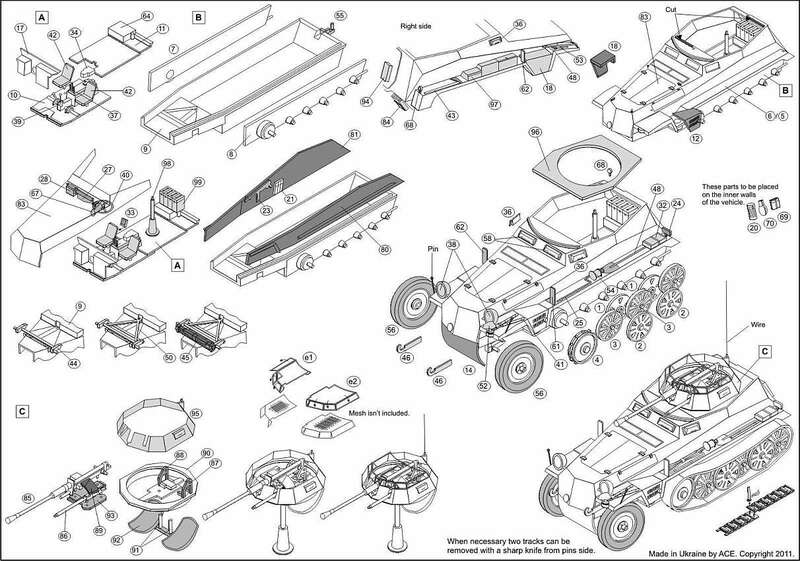 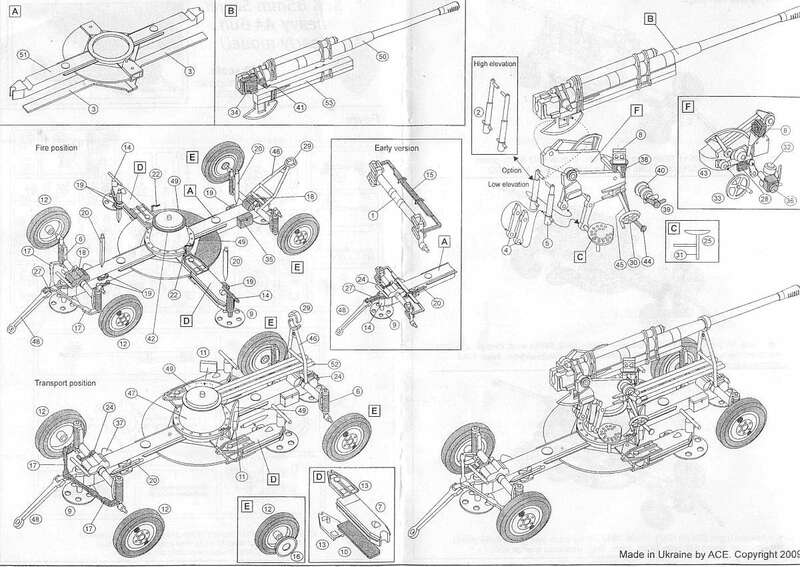 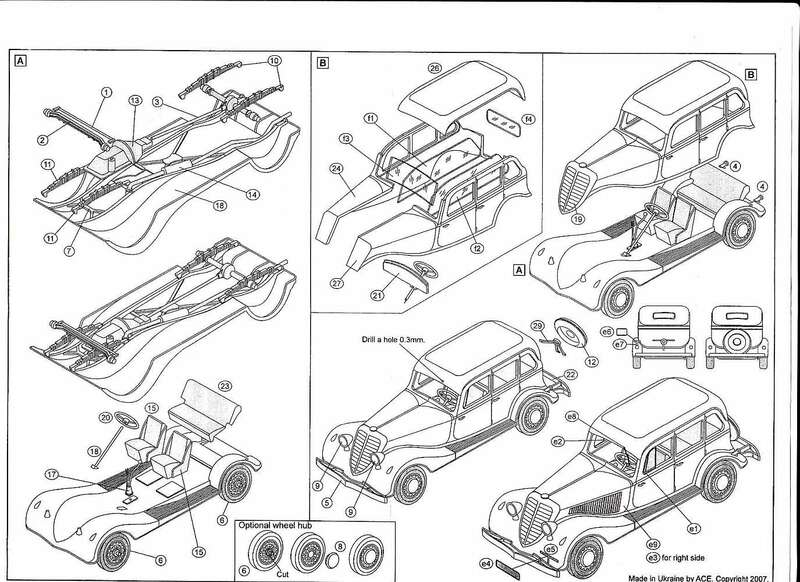 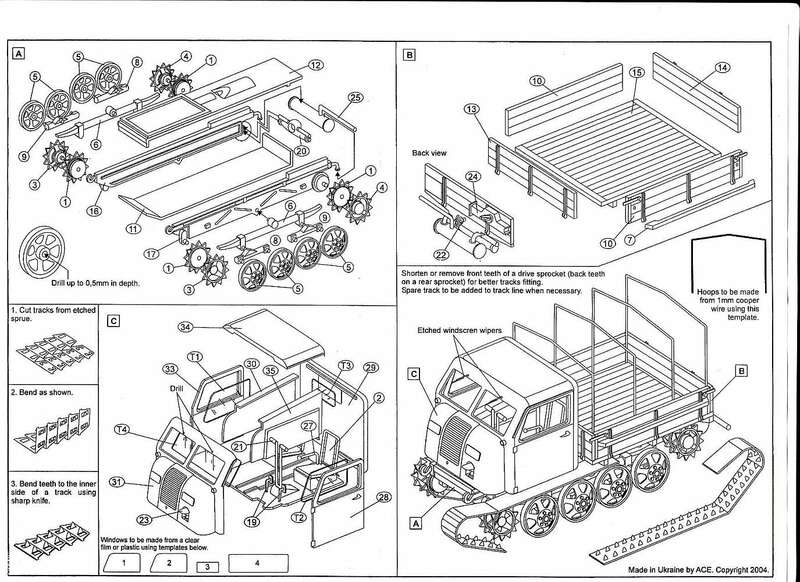 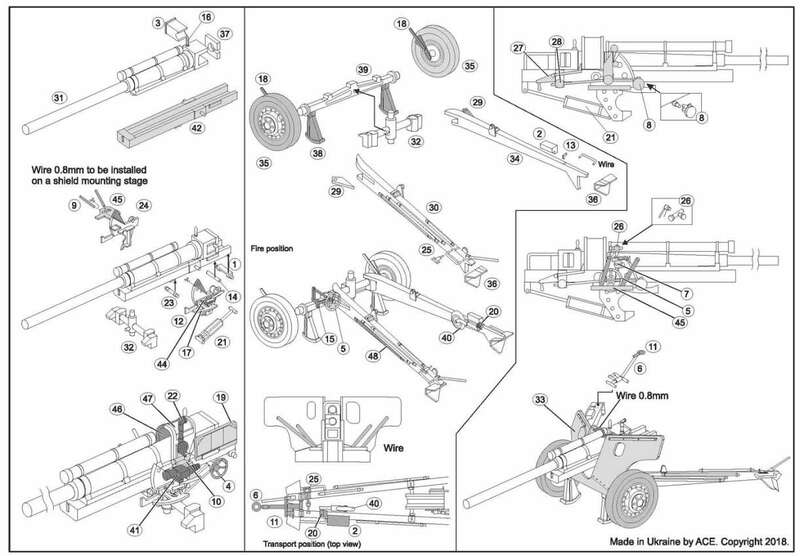 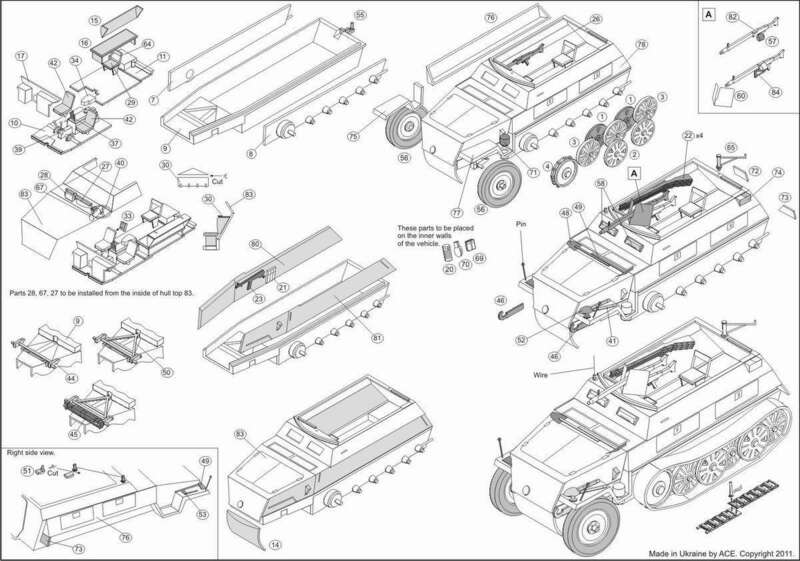 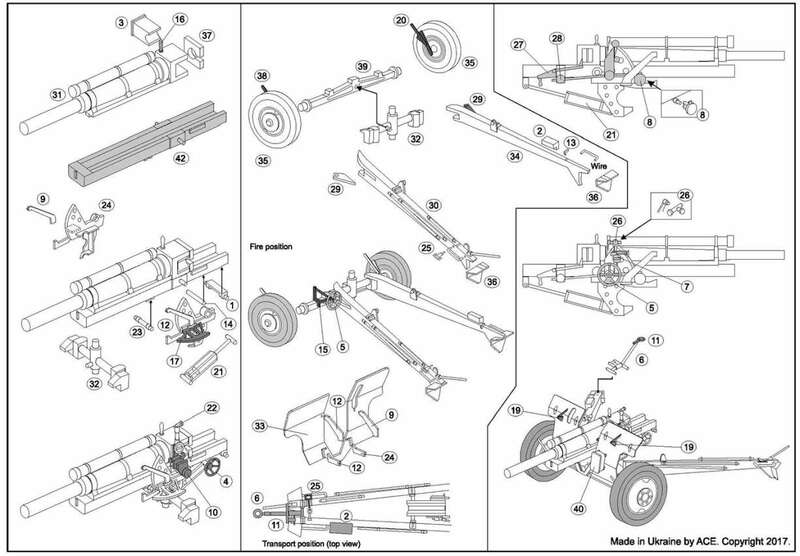 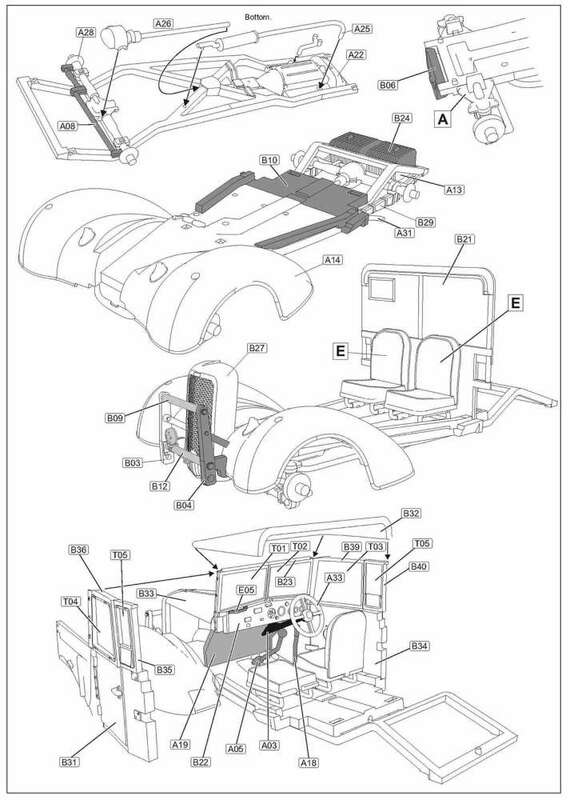 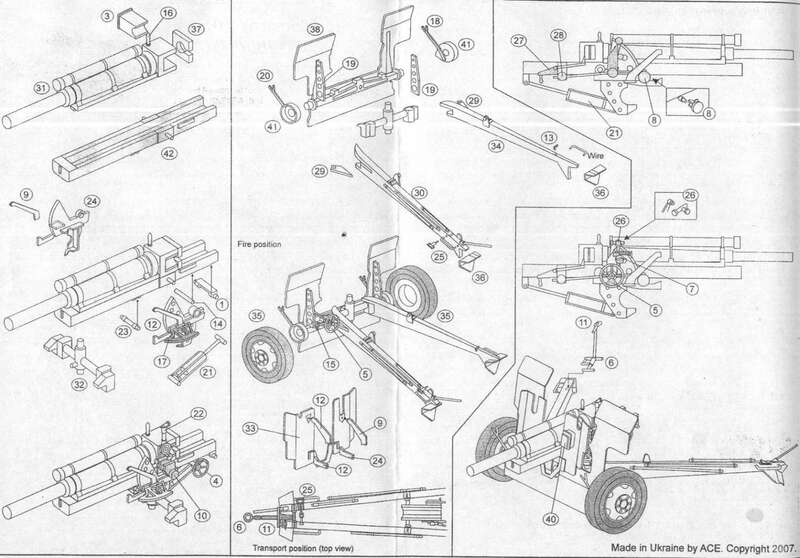 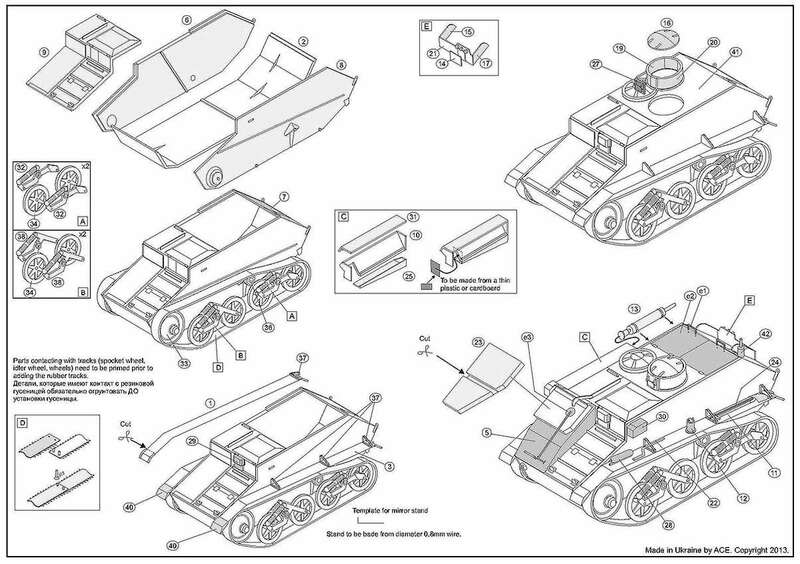 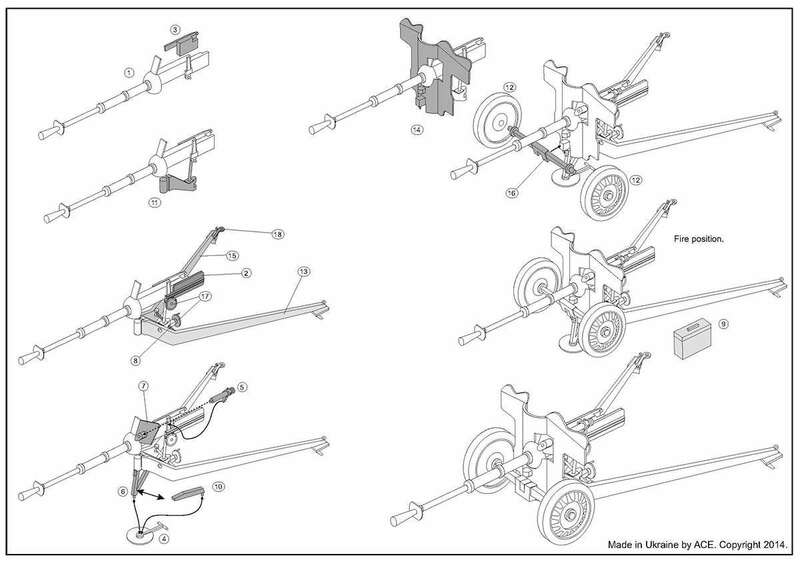 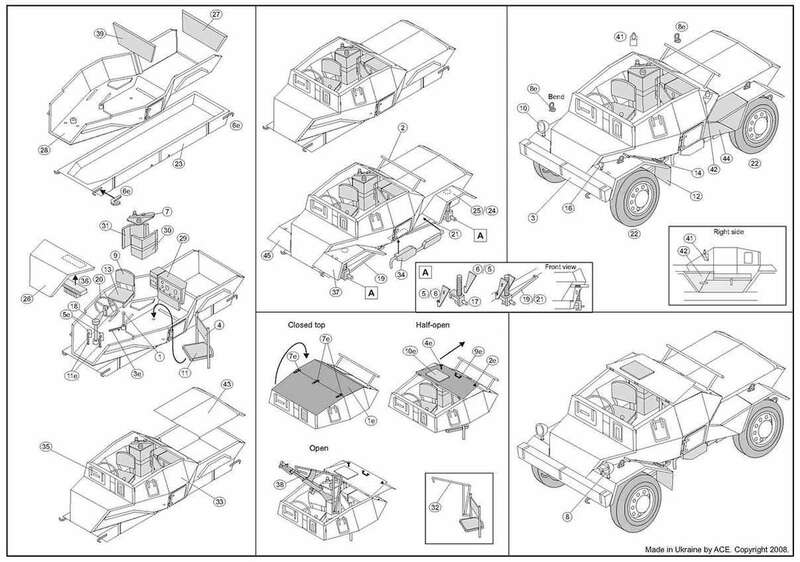 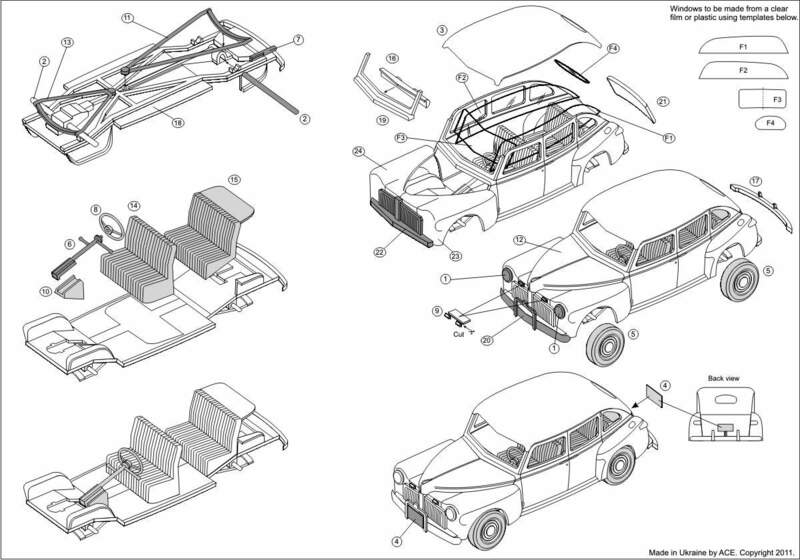 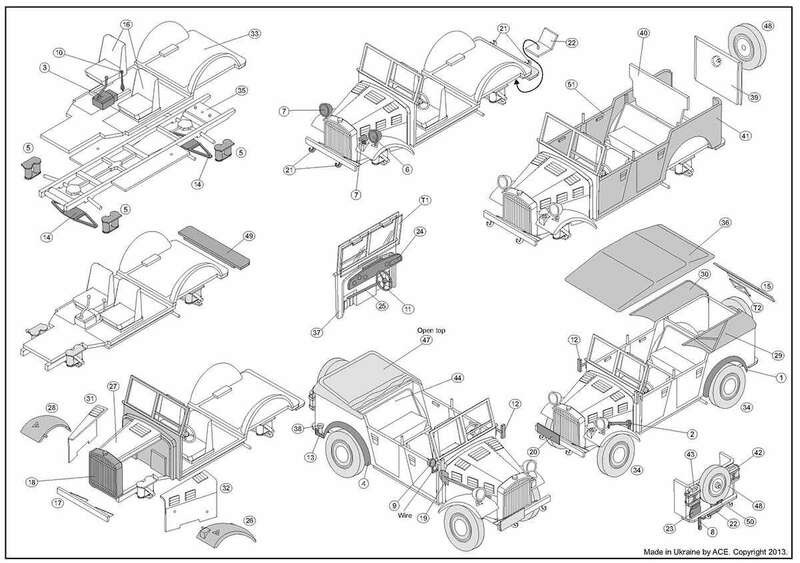 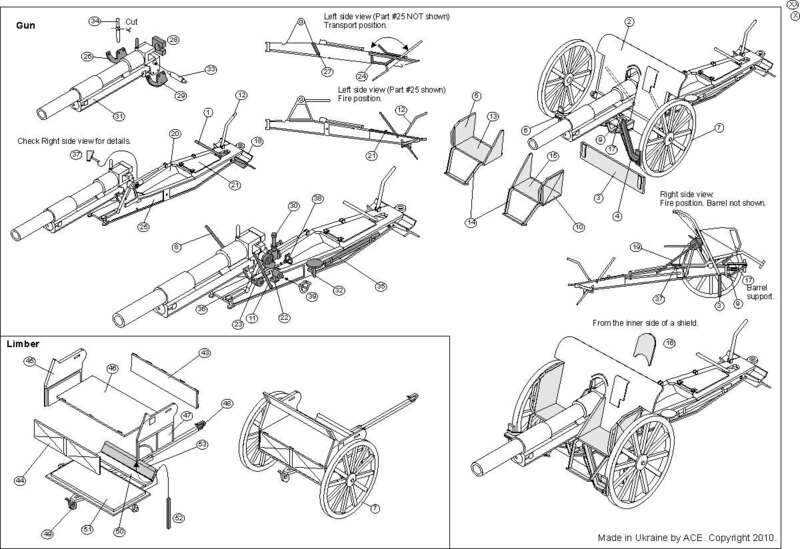 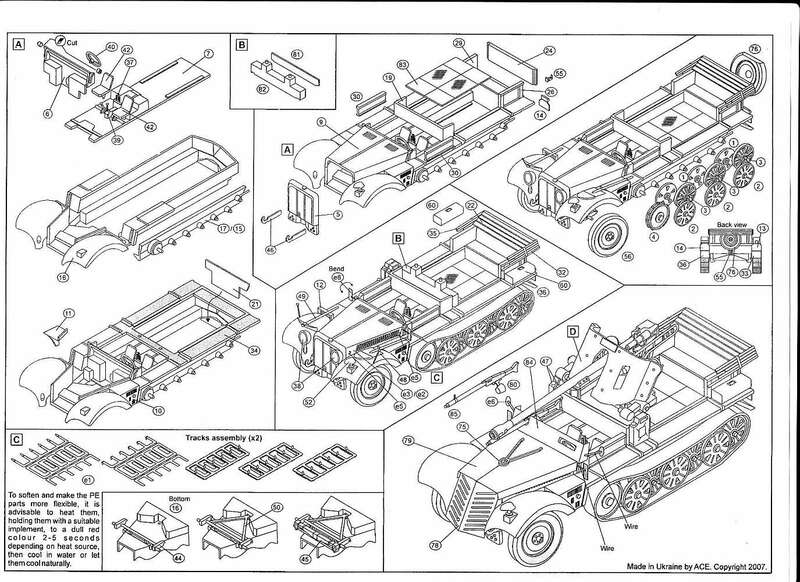 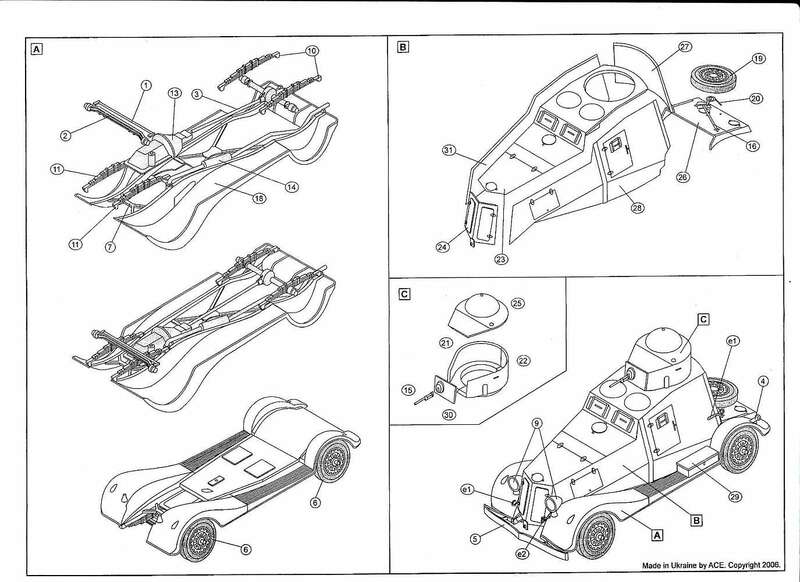 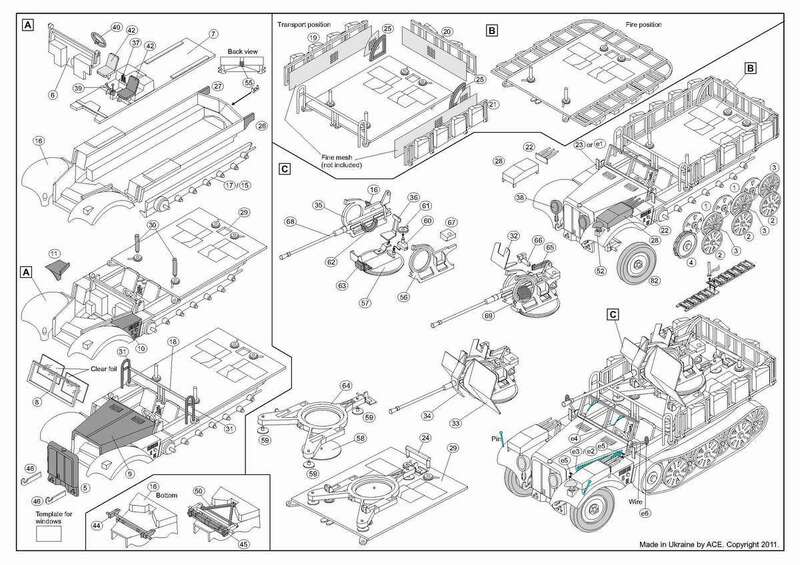 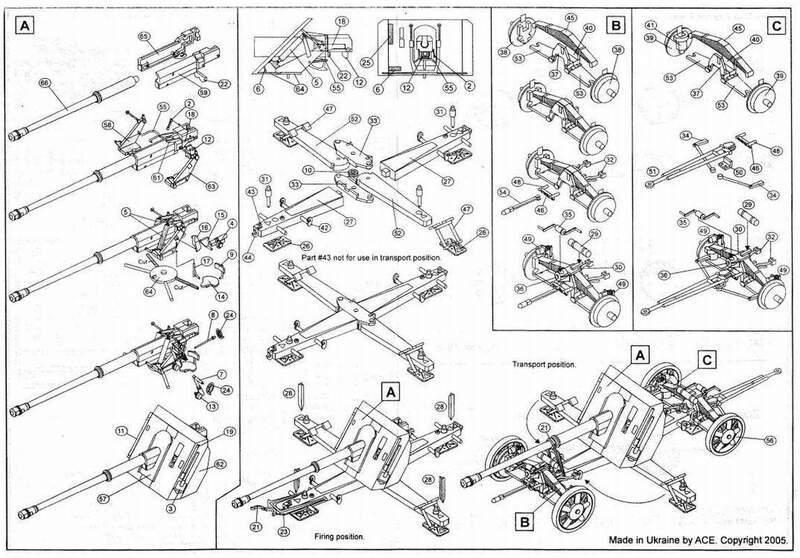 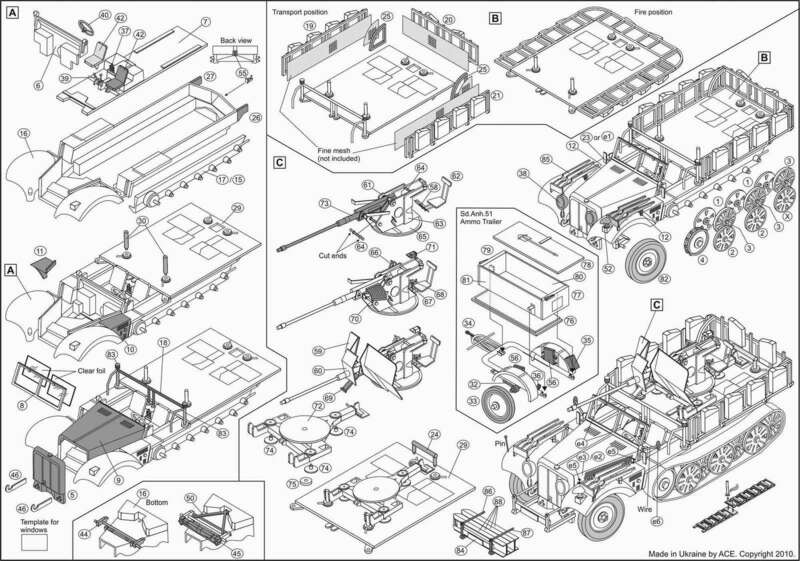 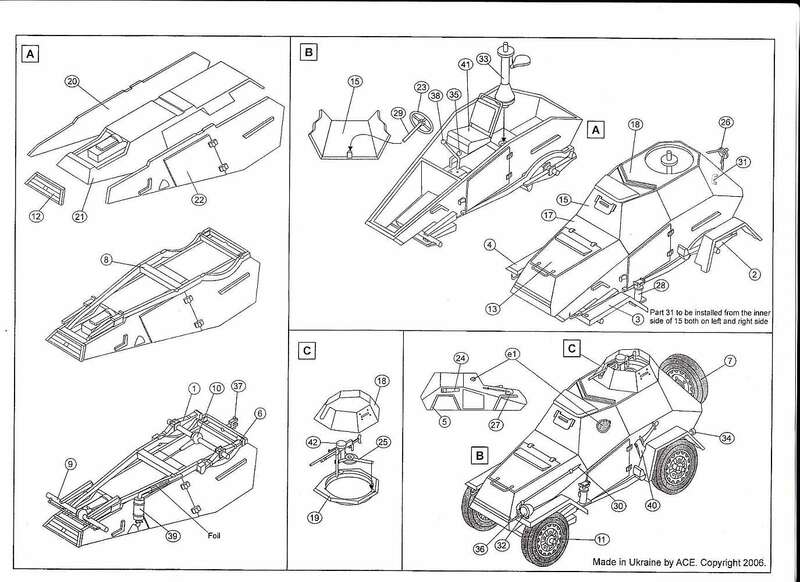 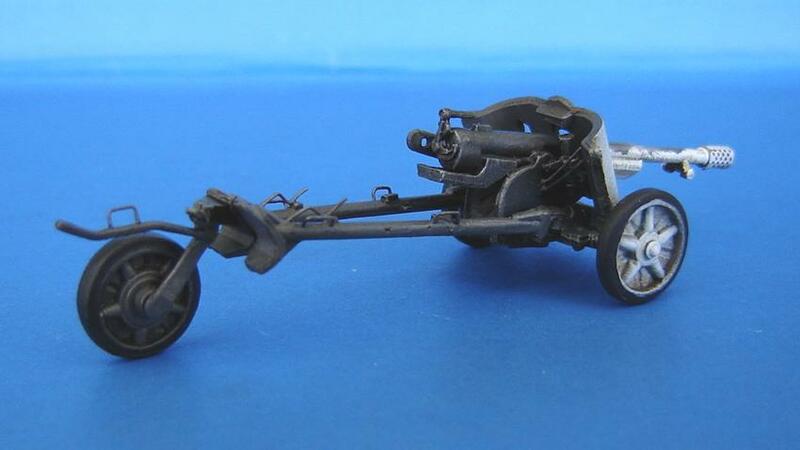 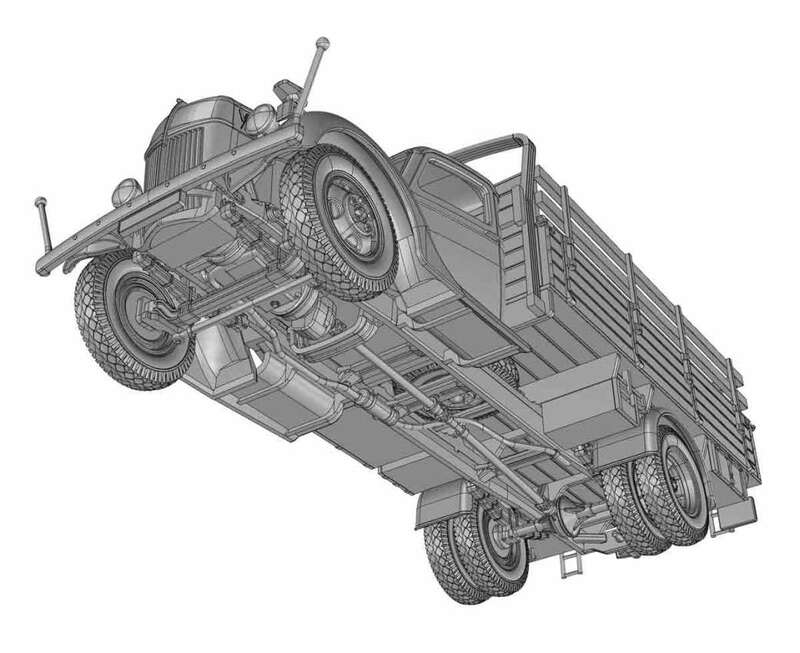 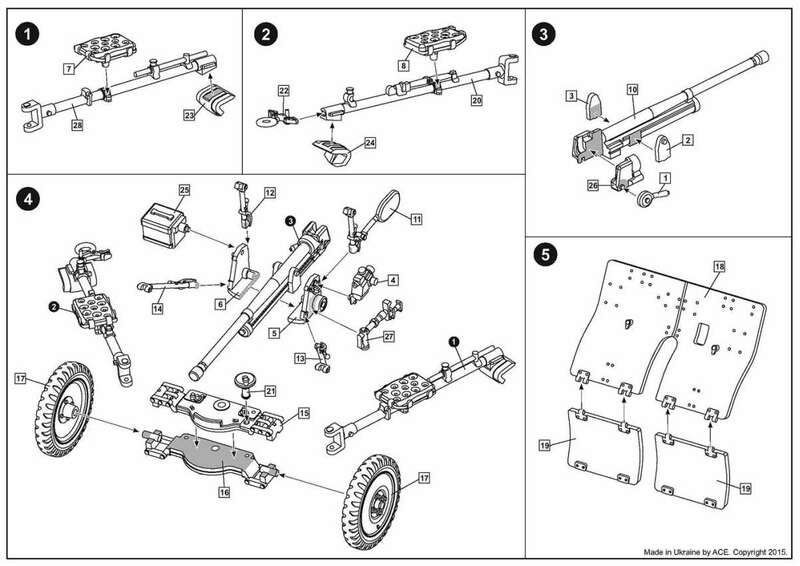 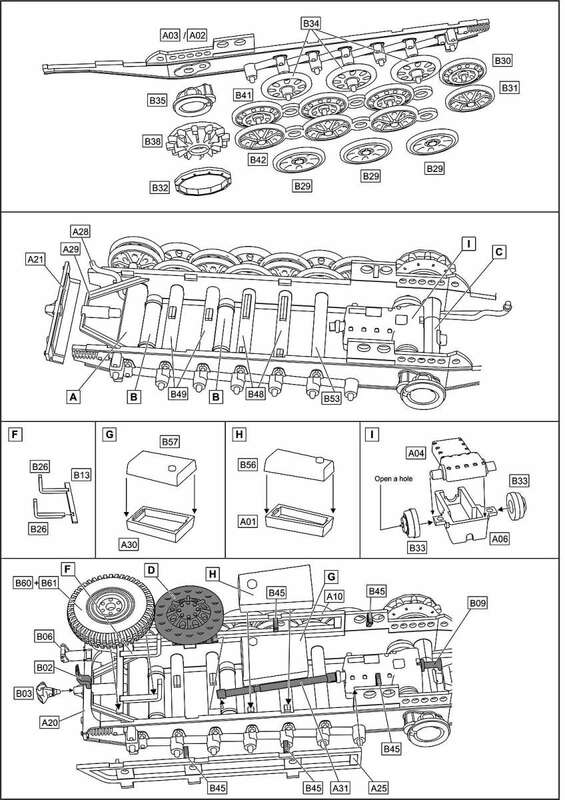 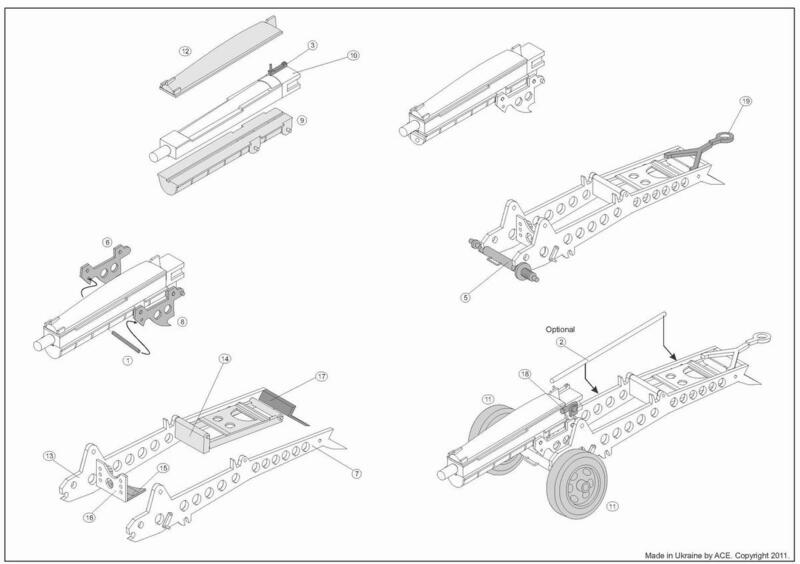 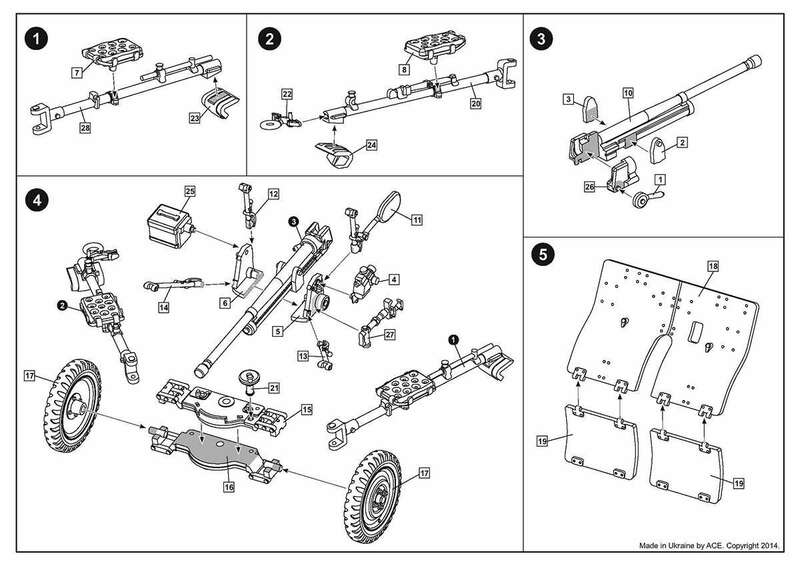 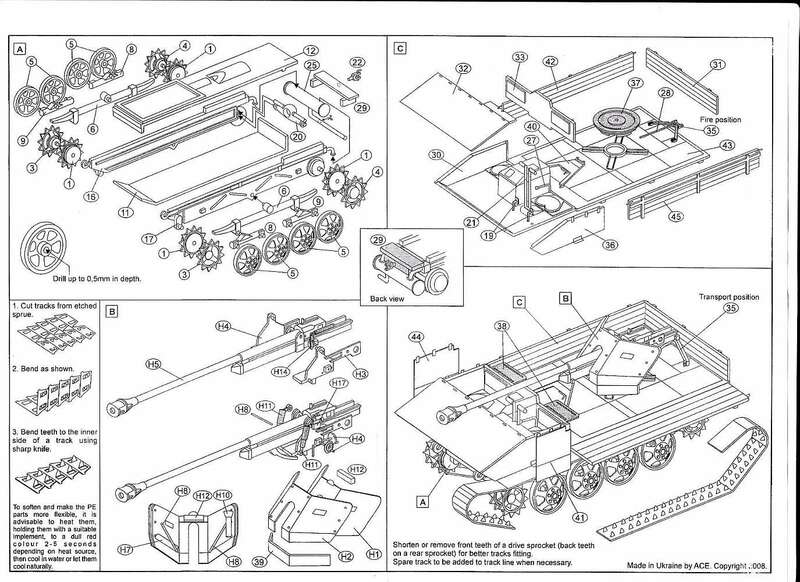 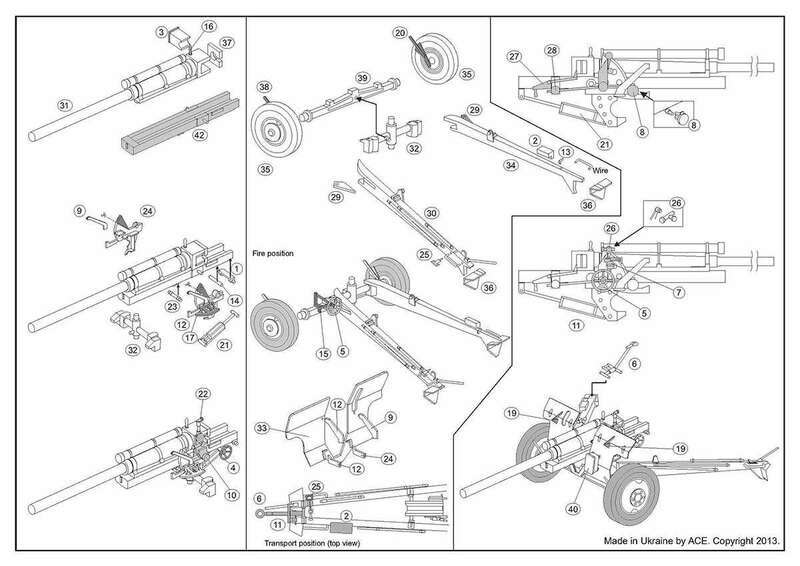 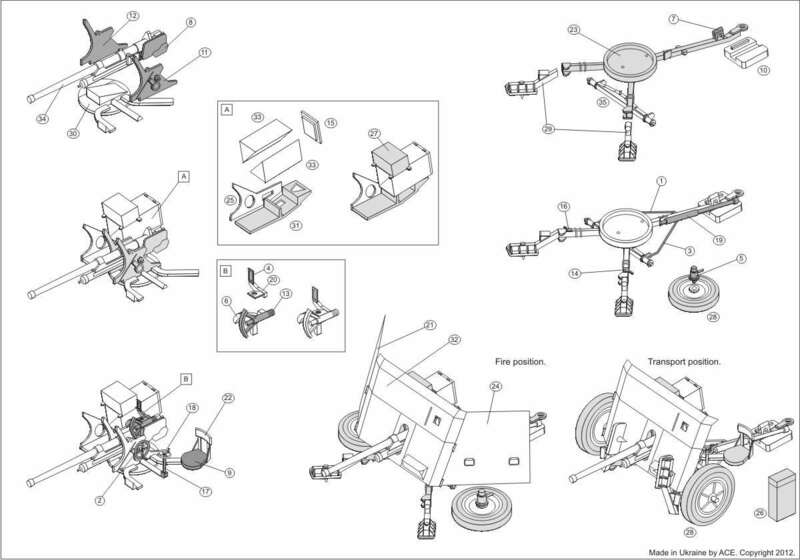 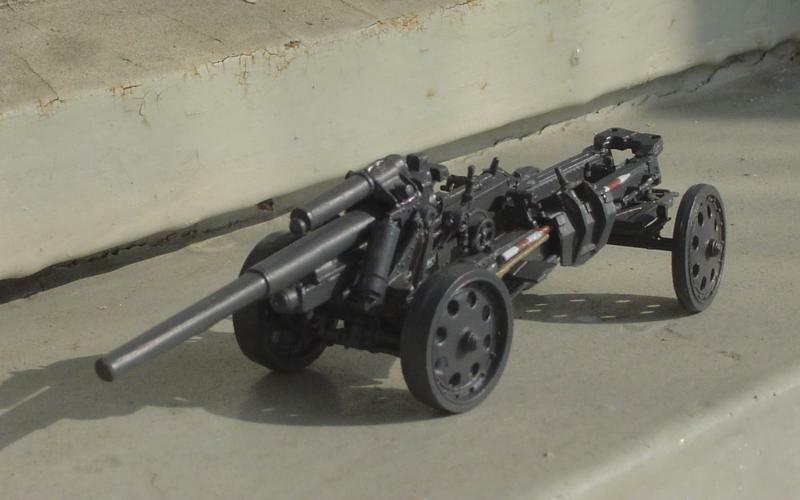 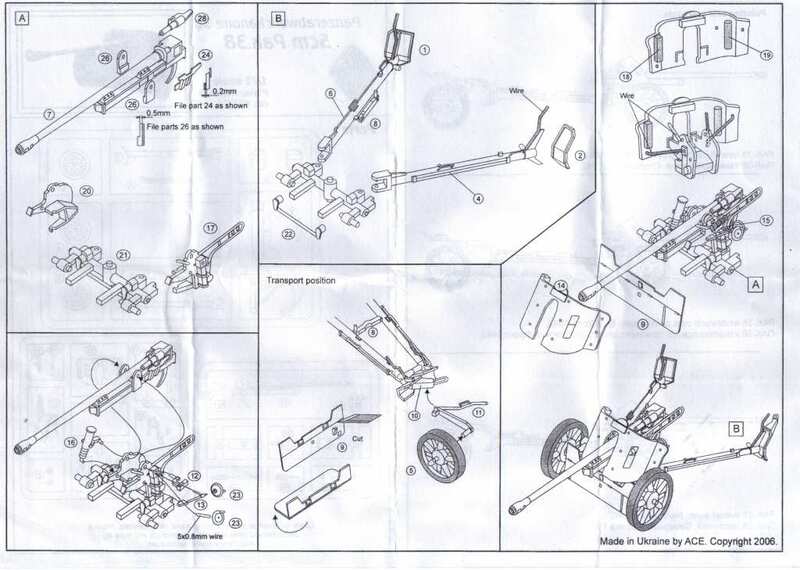 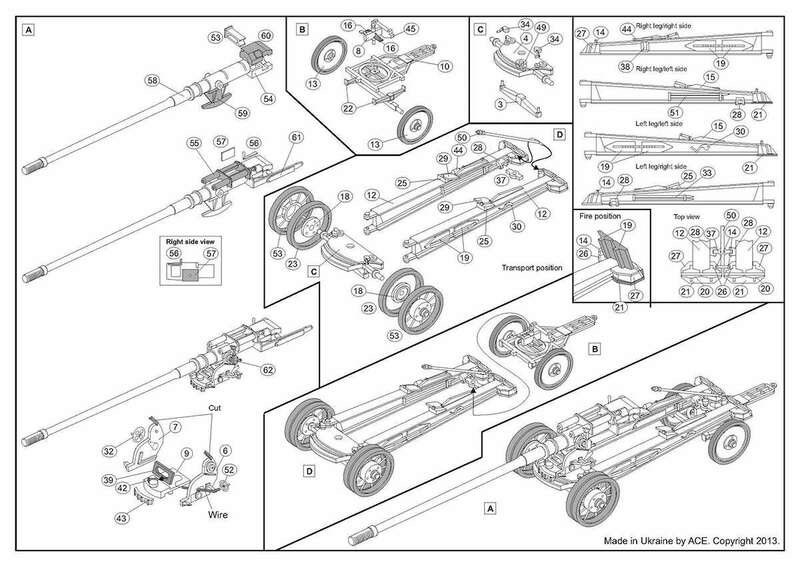 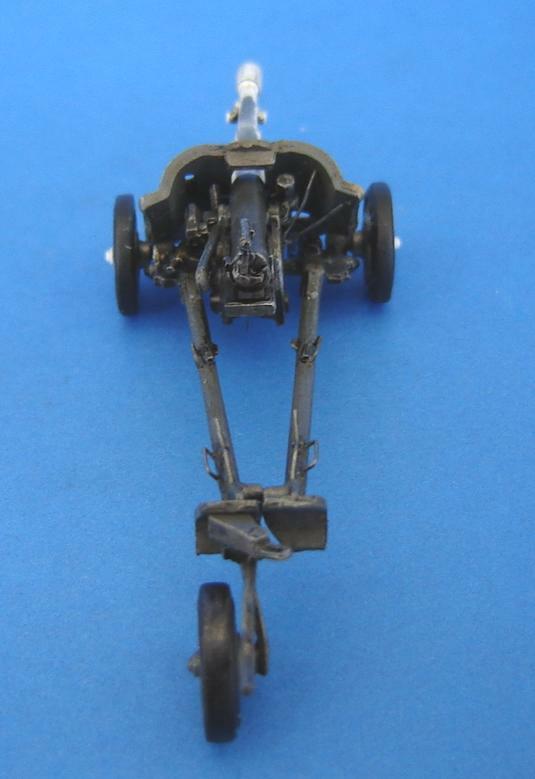 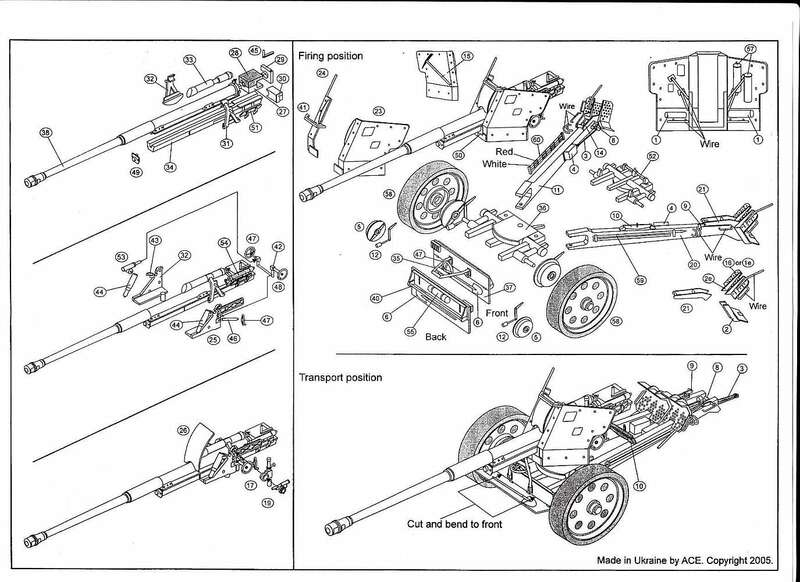 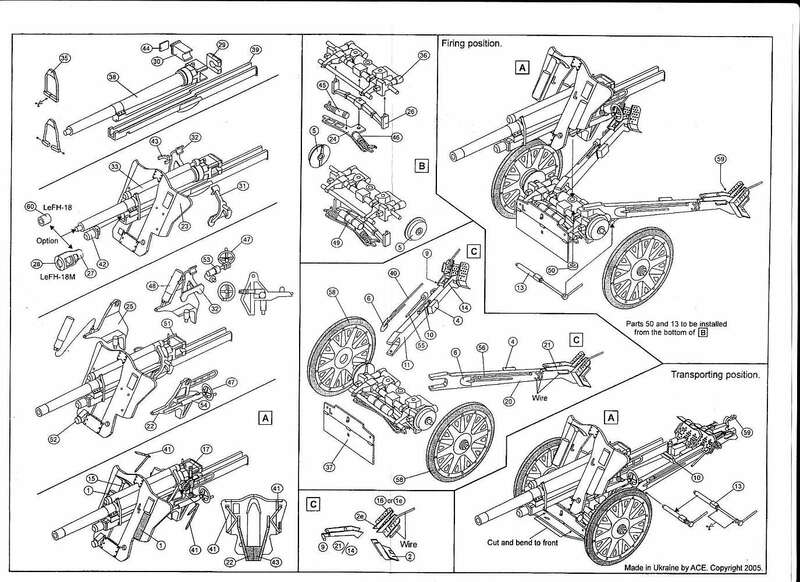 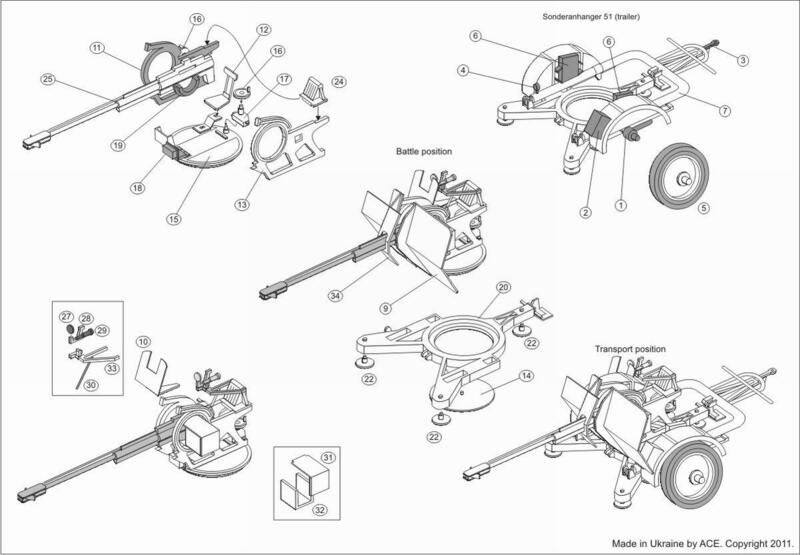 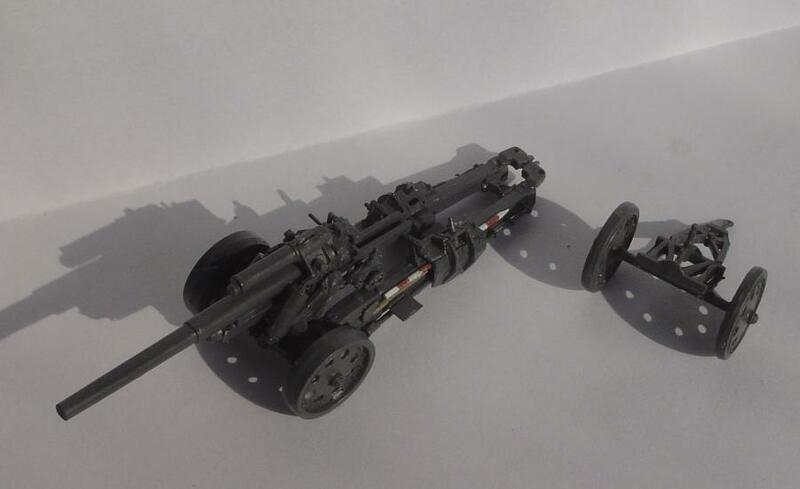 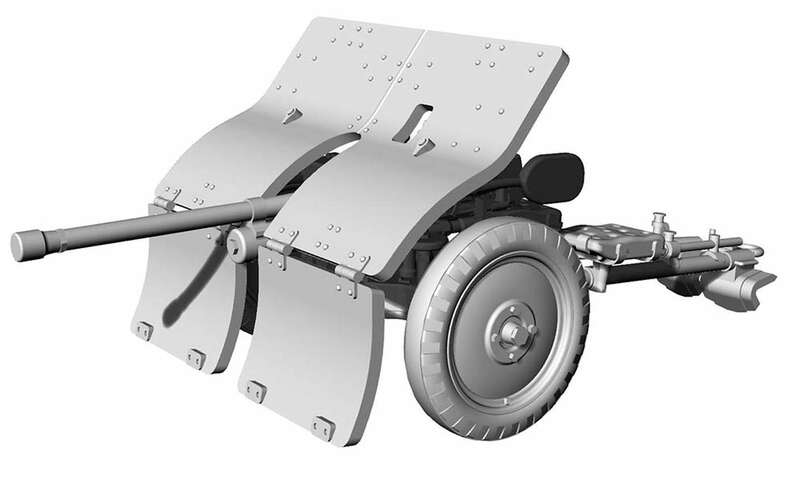 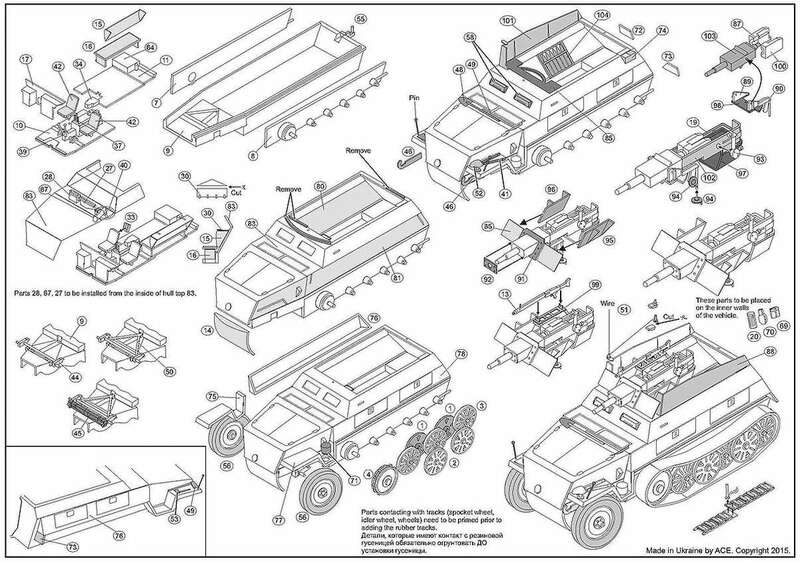 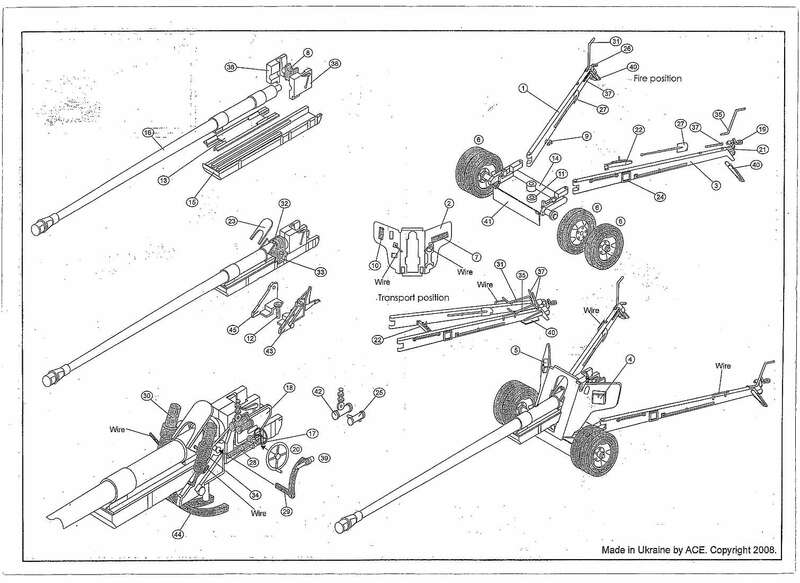 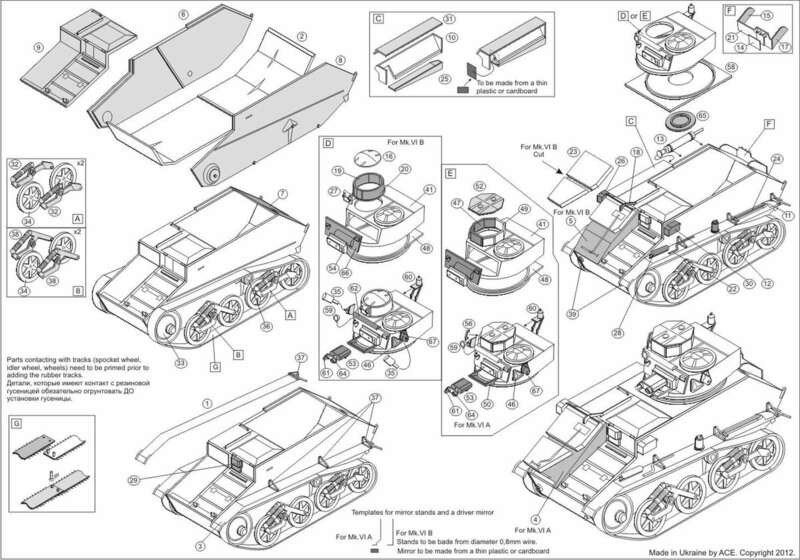 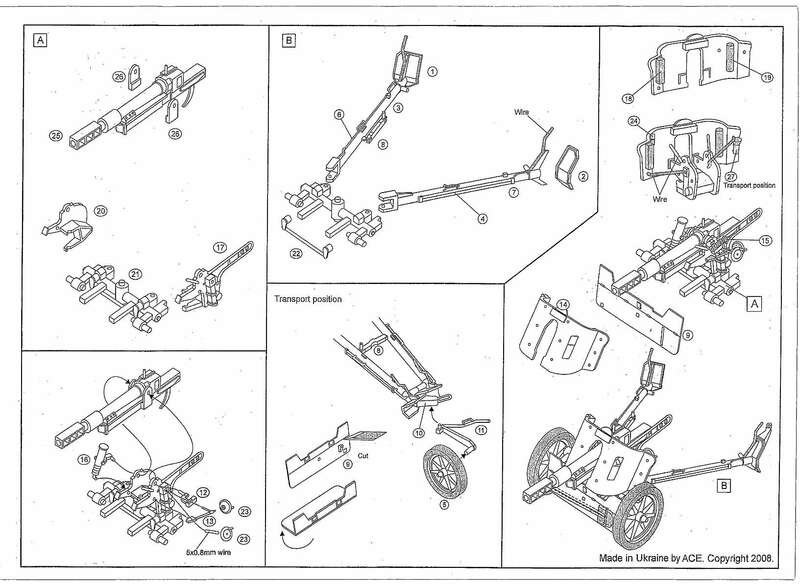 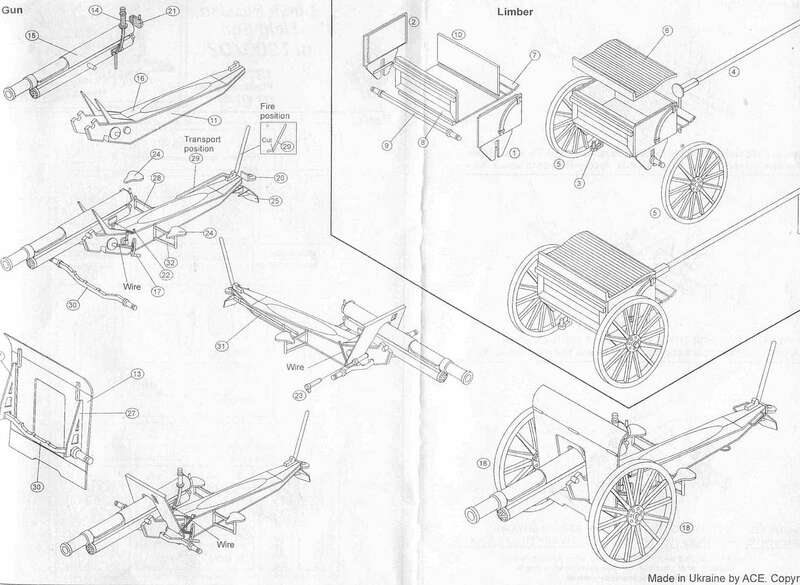 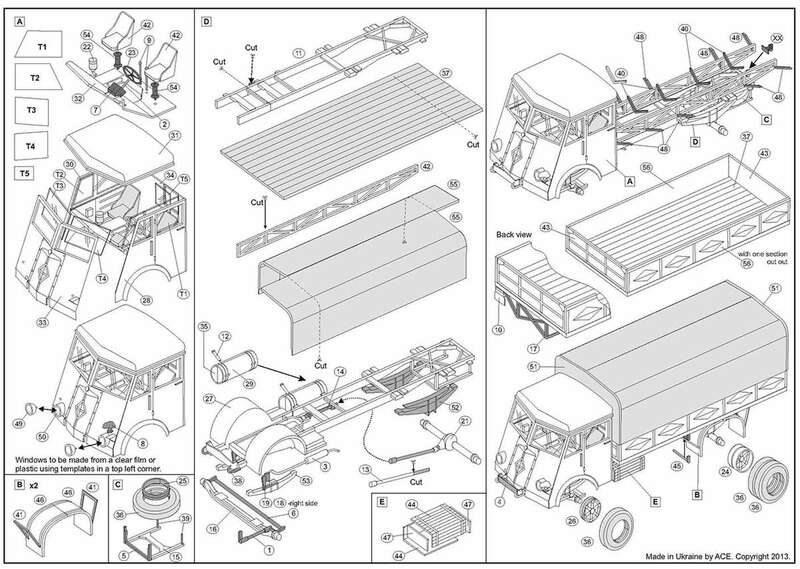 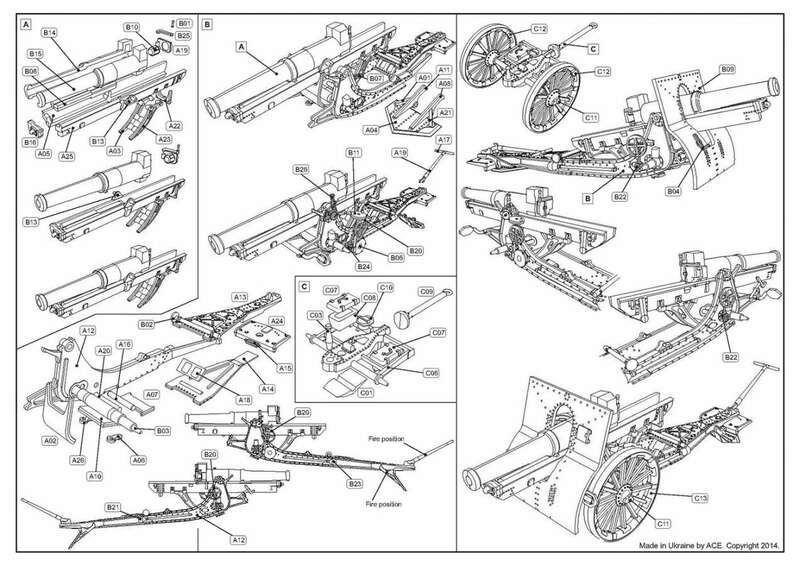 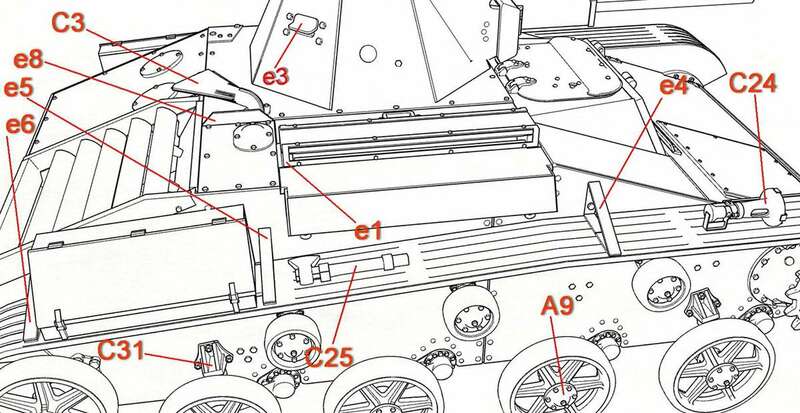 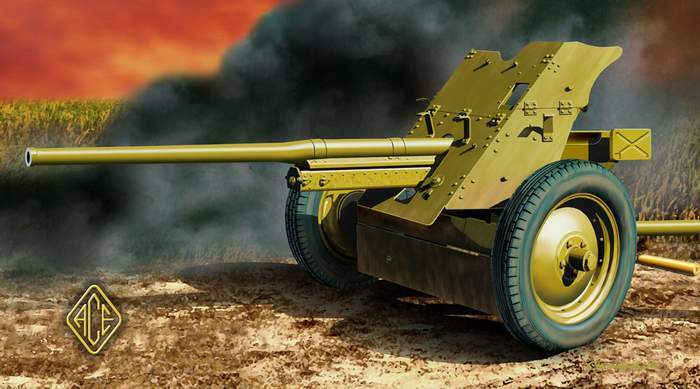 There is a one-piece chassis with separate axles, suspension and drive shaft. 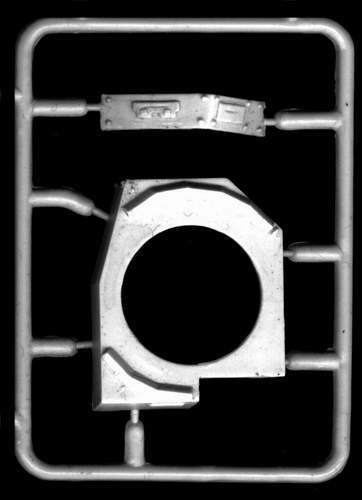 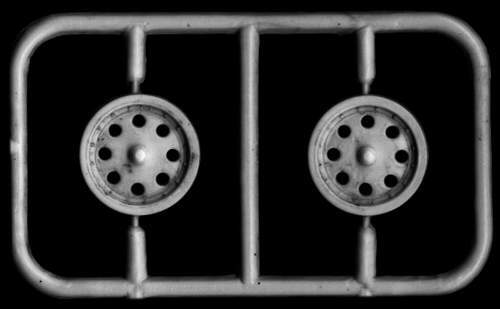 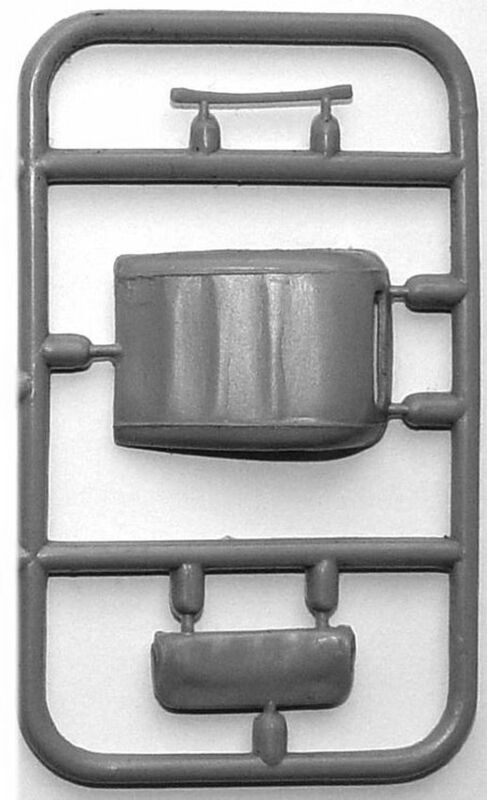 The engine is moulded as the bottom half only but with a separate radiator. 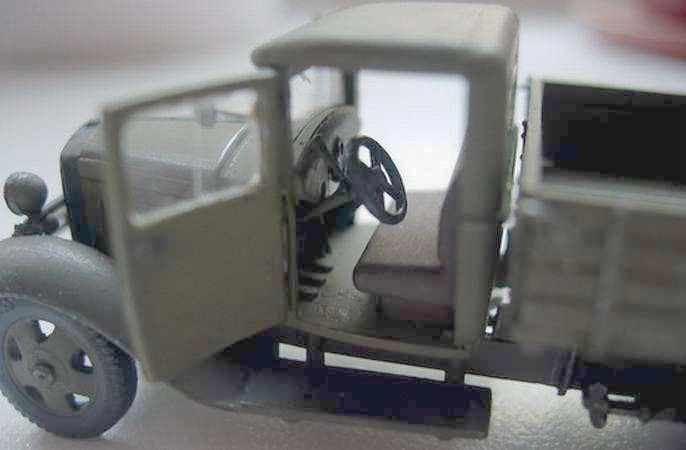 The cabin is fully fitted out with a bench seat, steering wheel, instrument dash, gear stick, hand brake, foot brake and clutch. 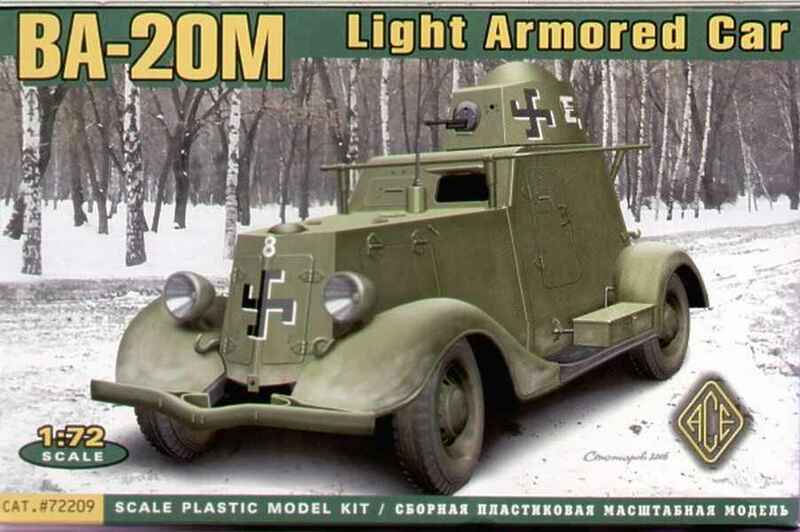 There are no clear windows or windscreen. 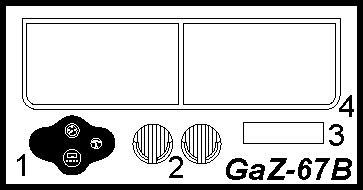 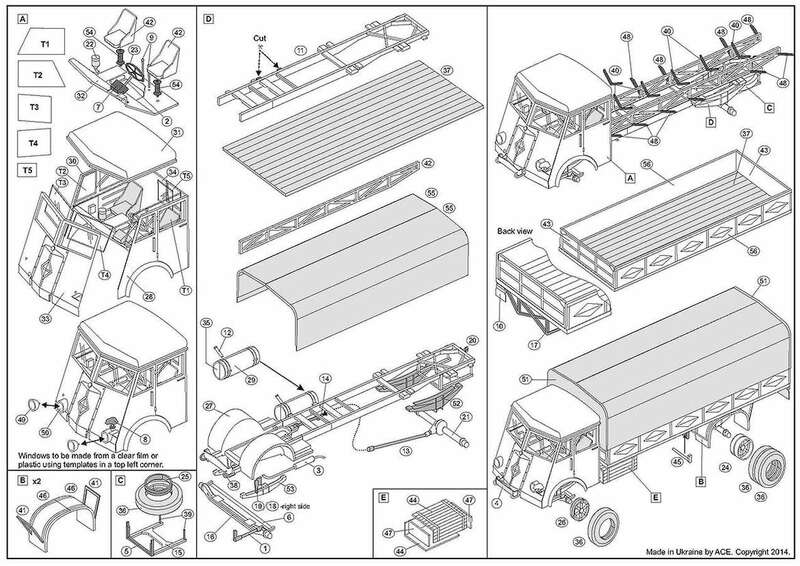 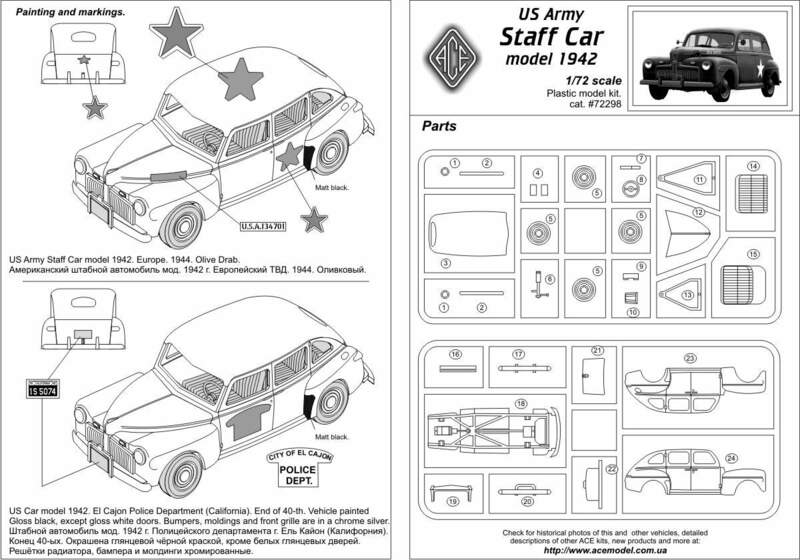 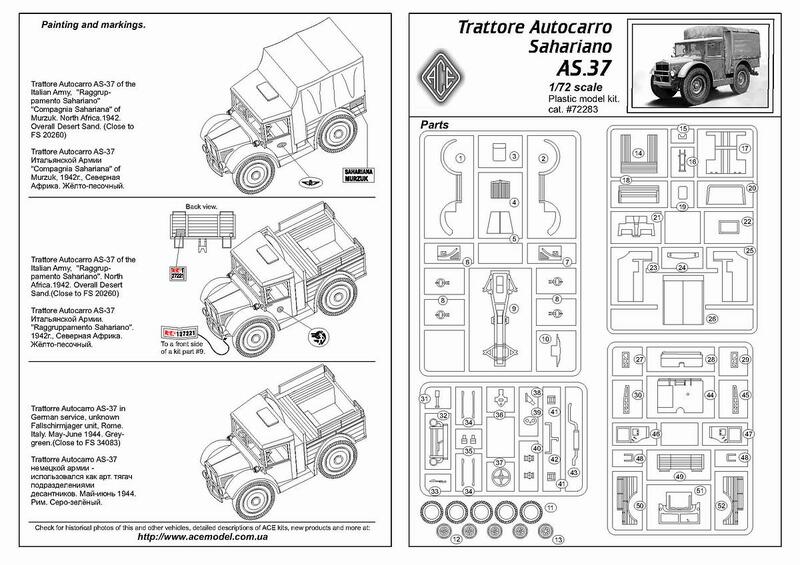 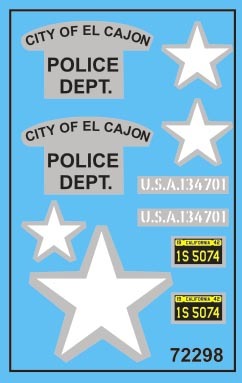 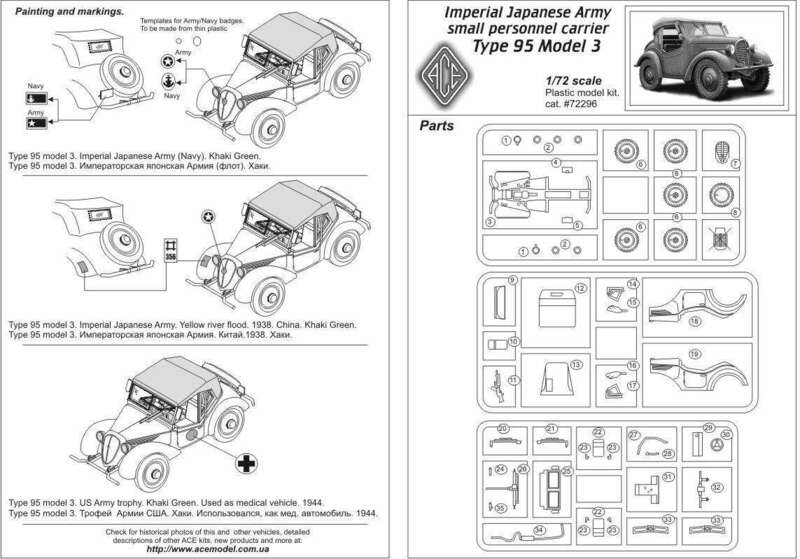 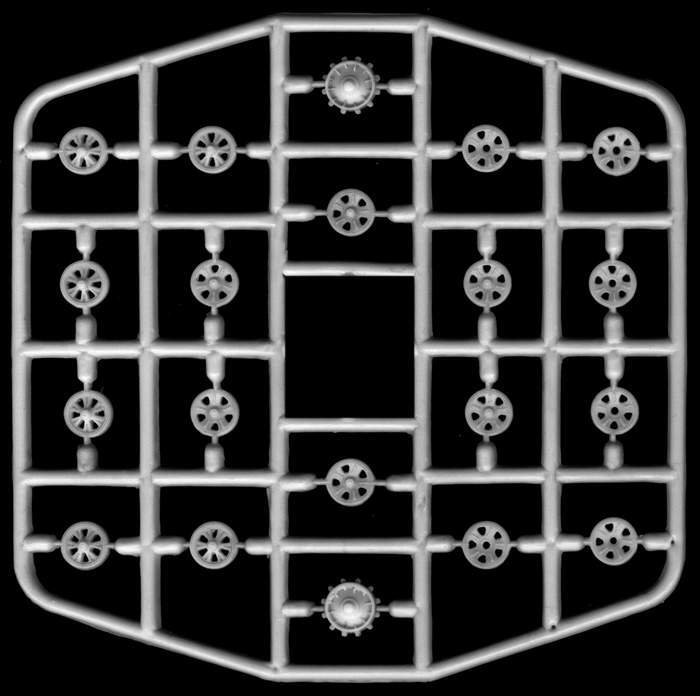 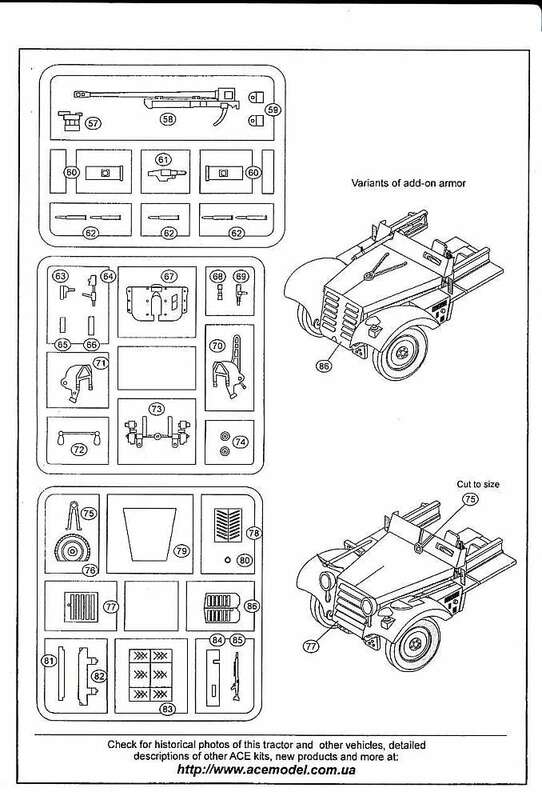 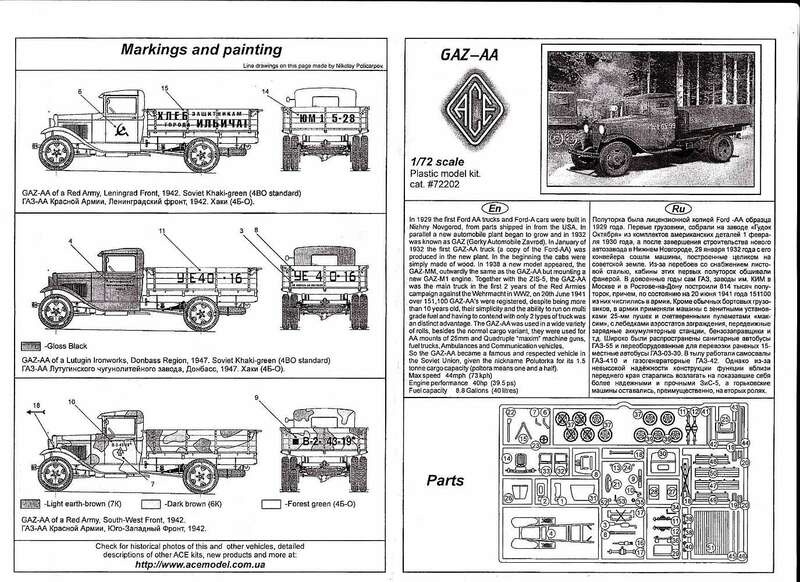 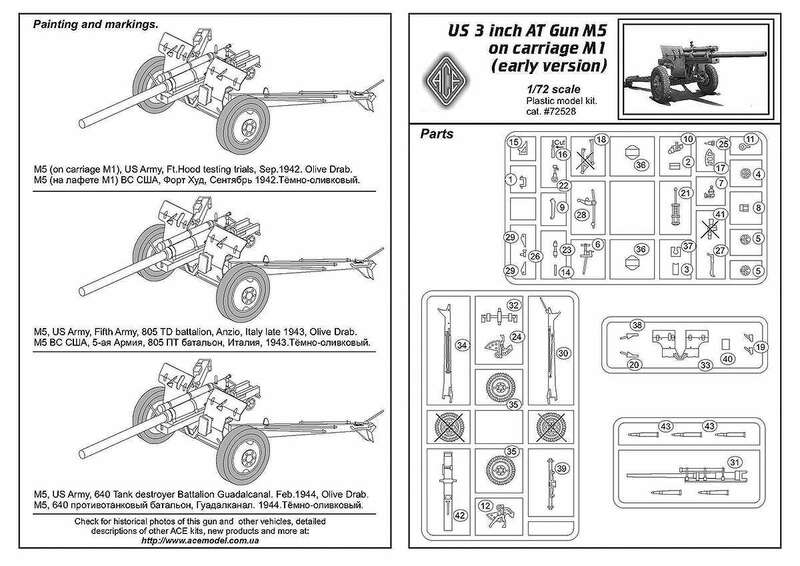 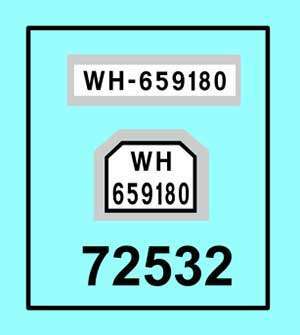 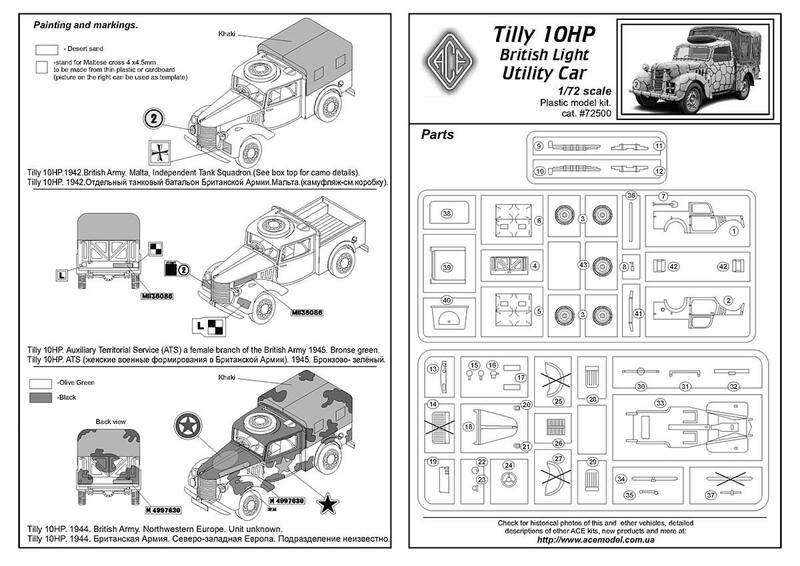 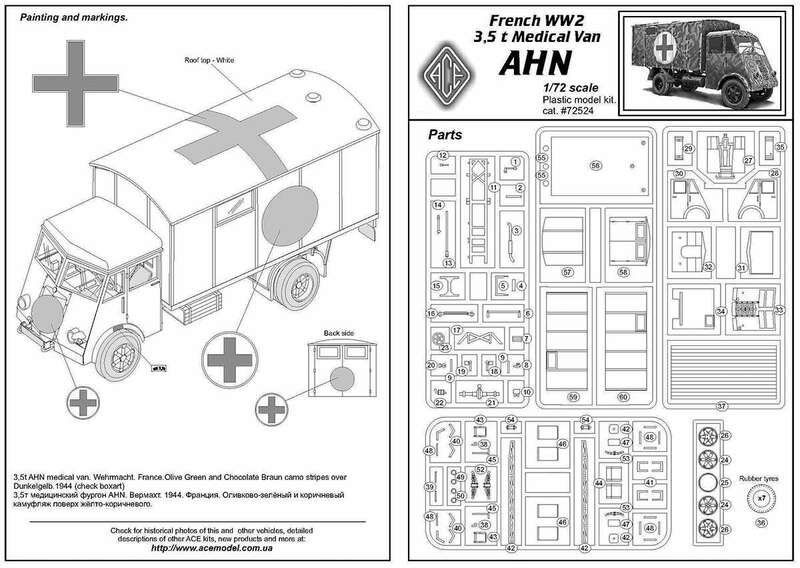 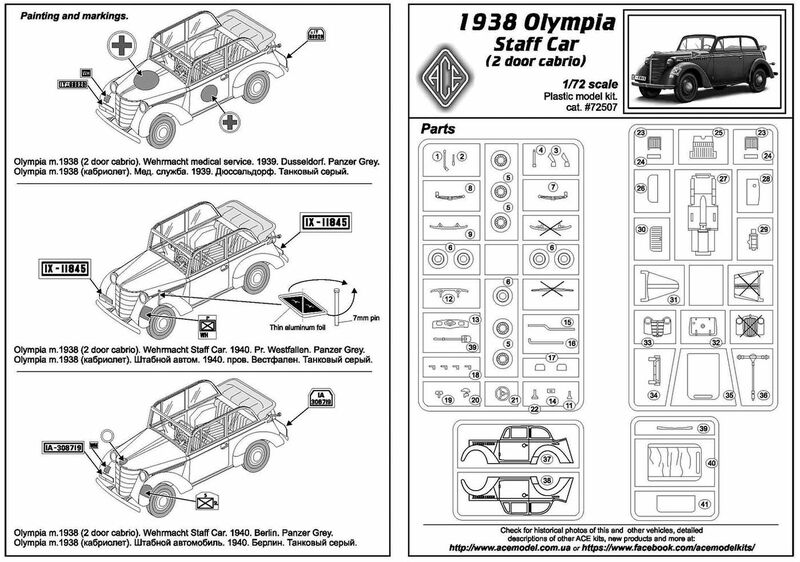 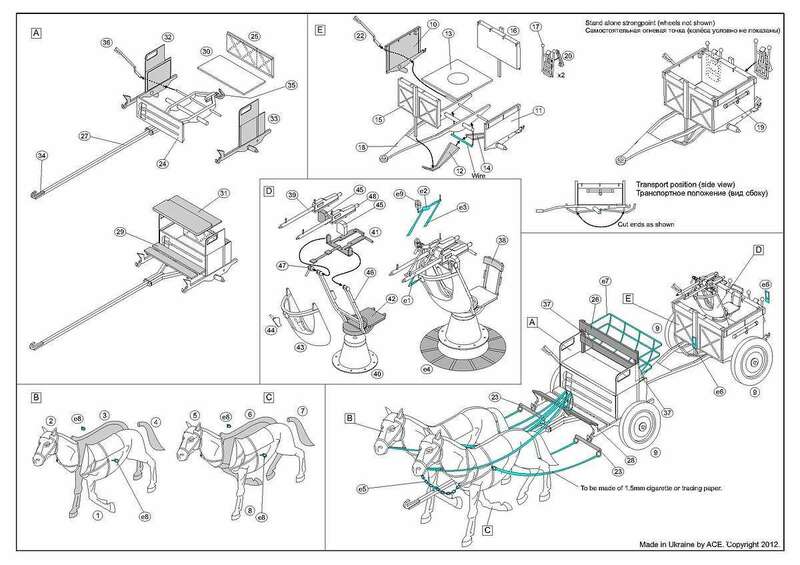 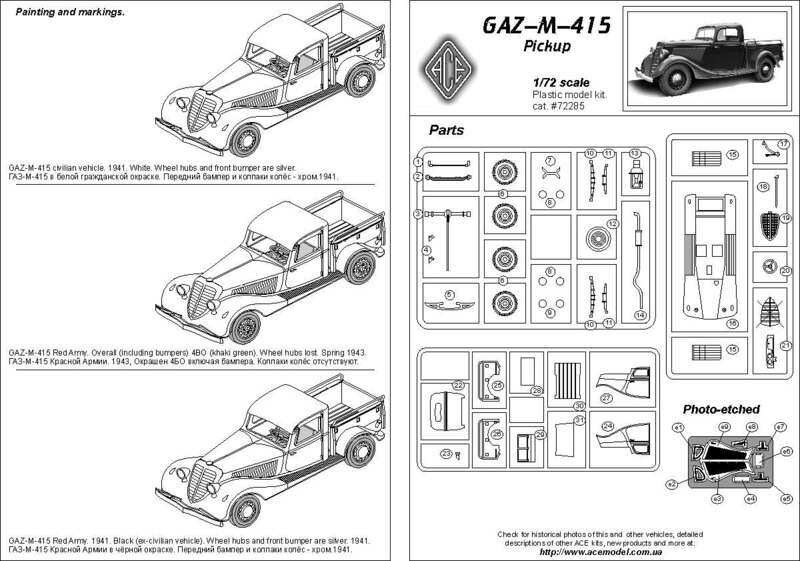 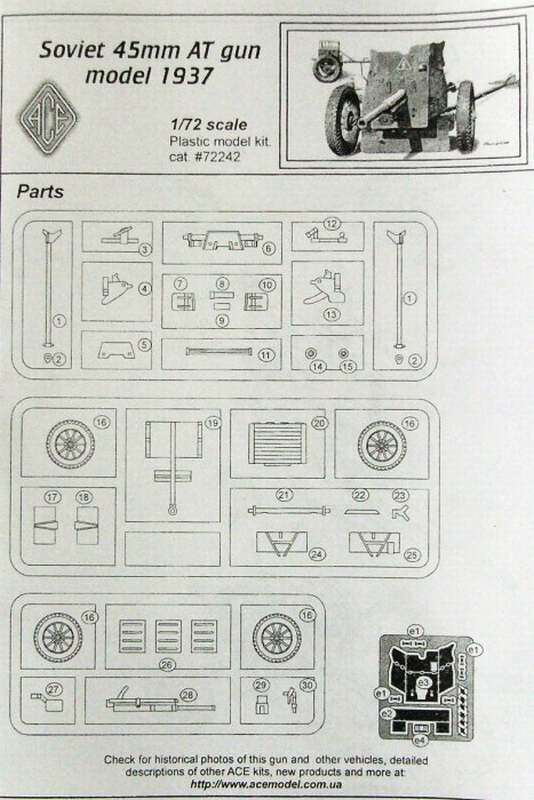 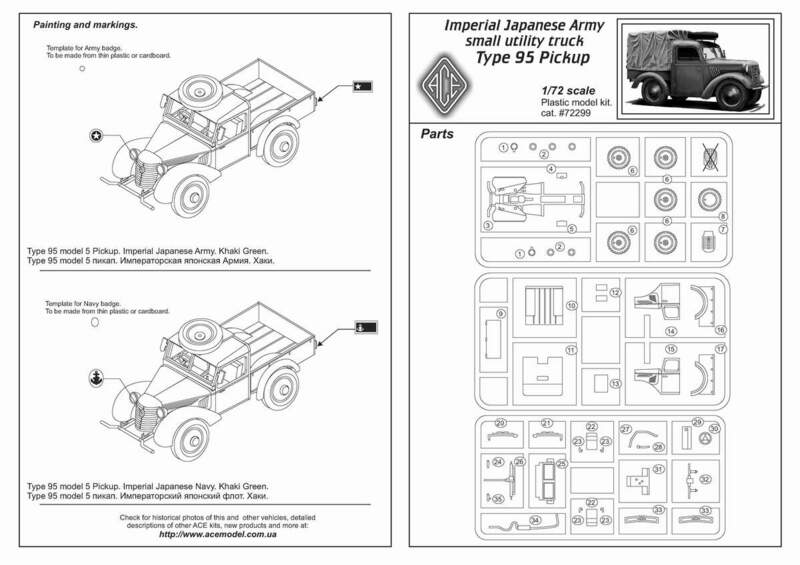 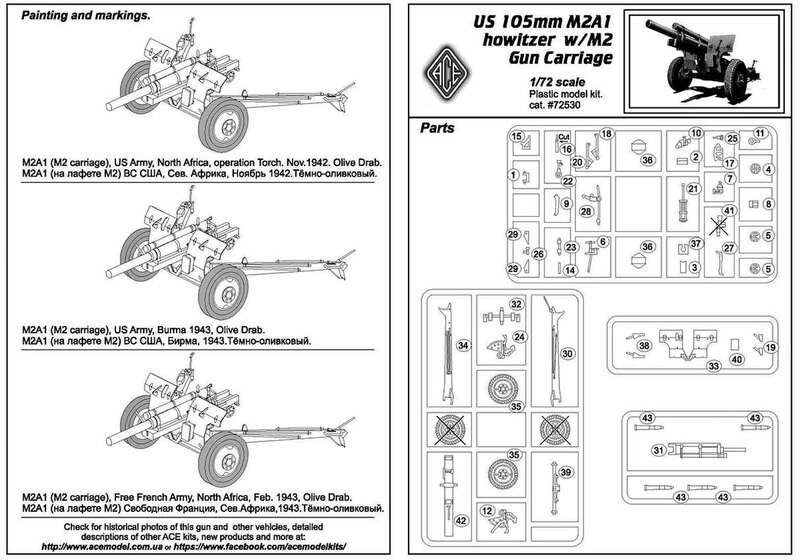 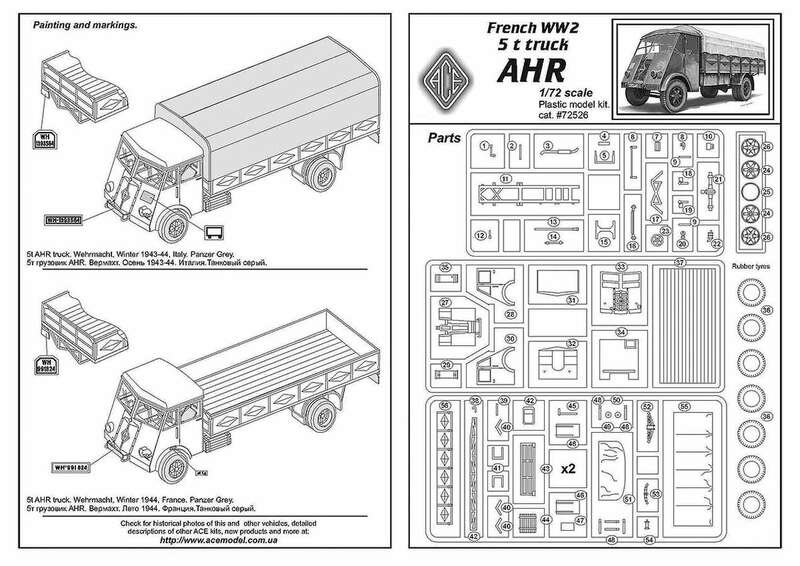 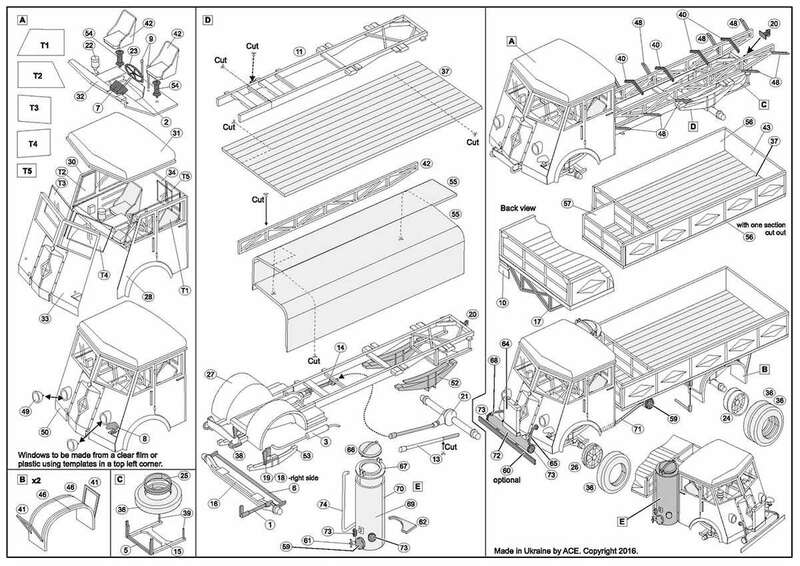 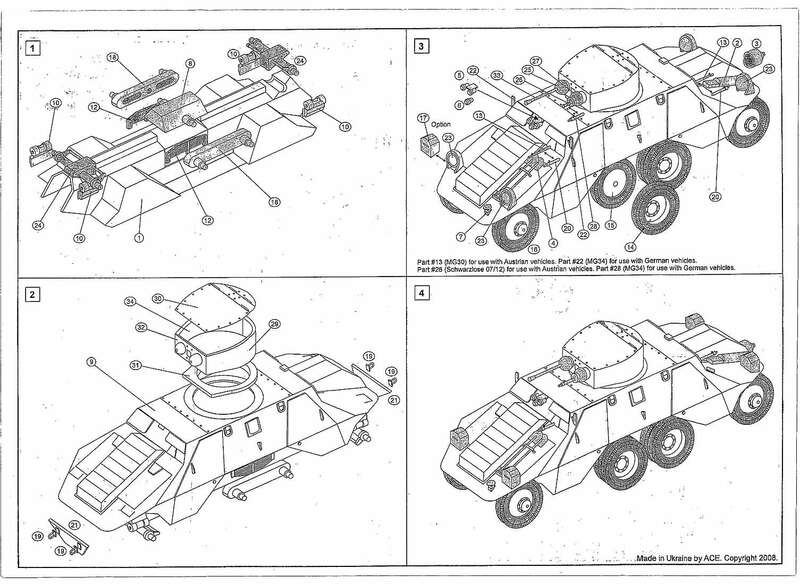 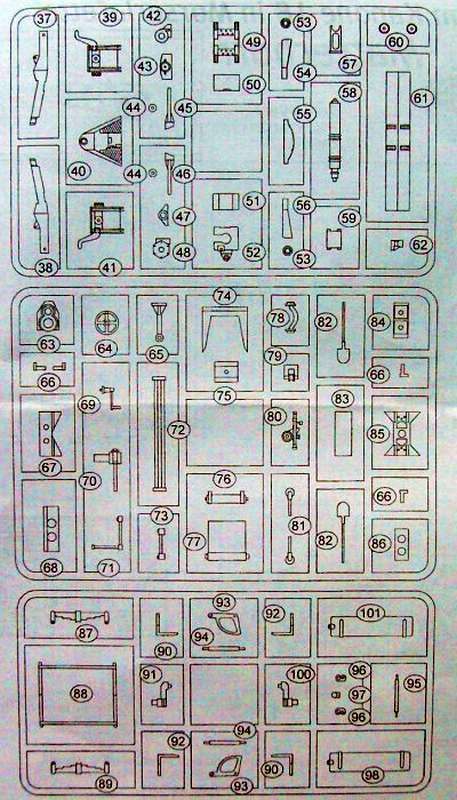 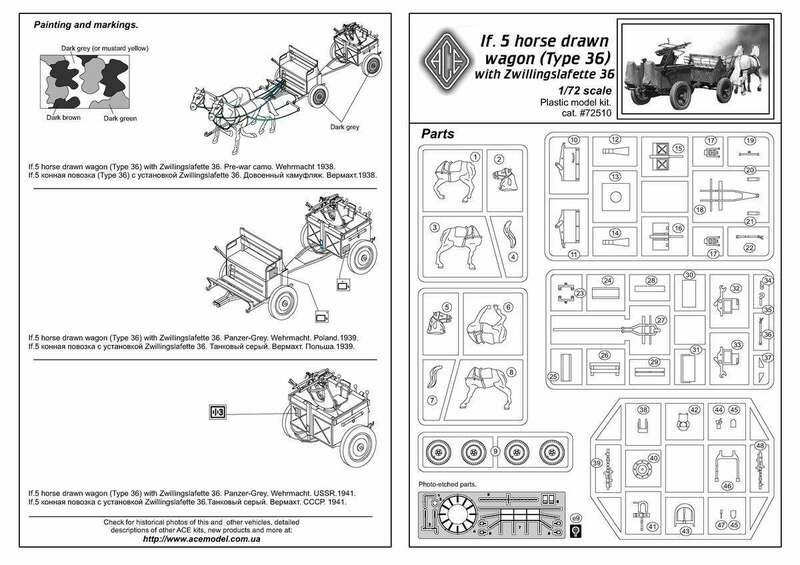 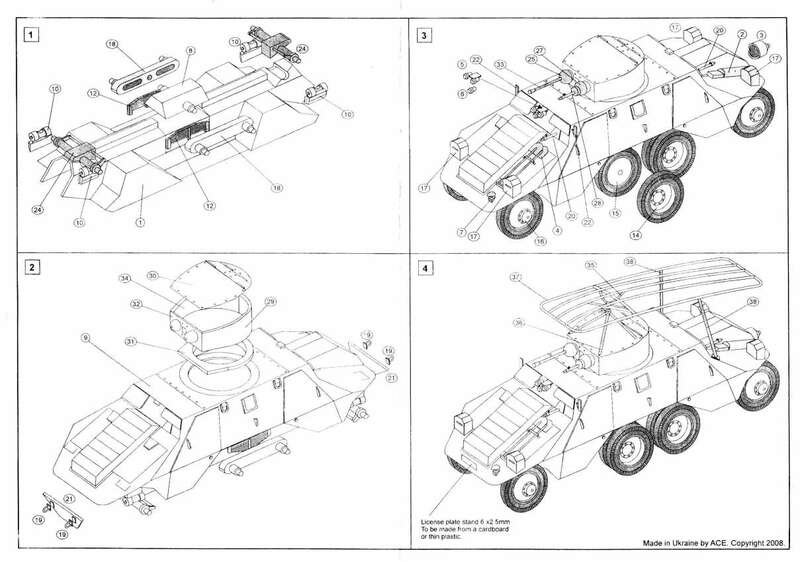 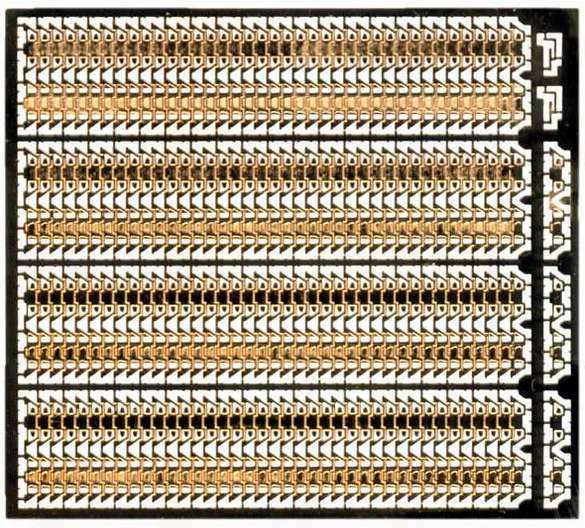 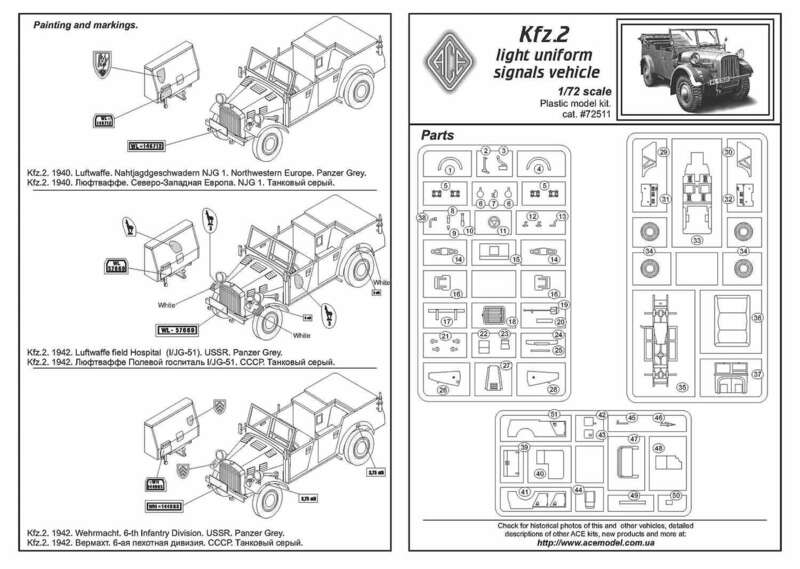 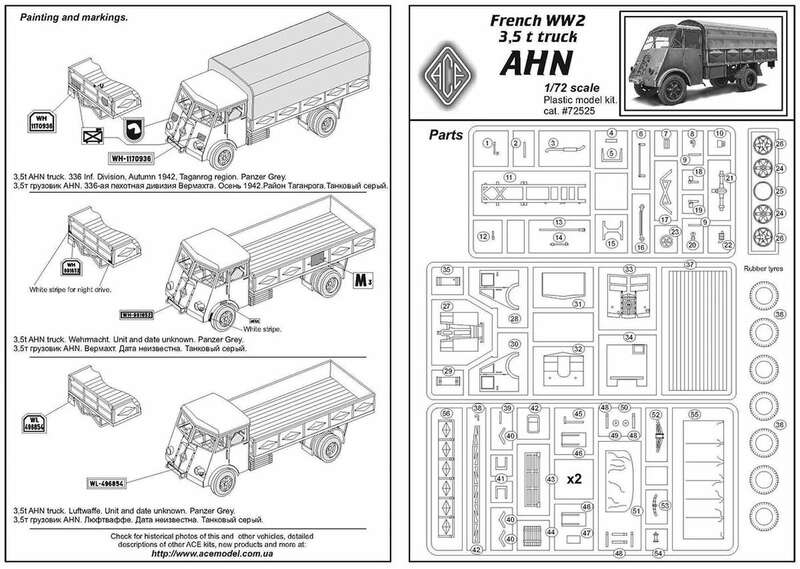 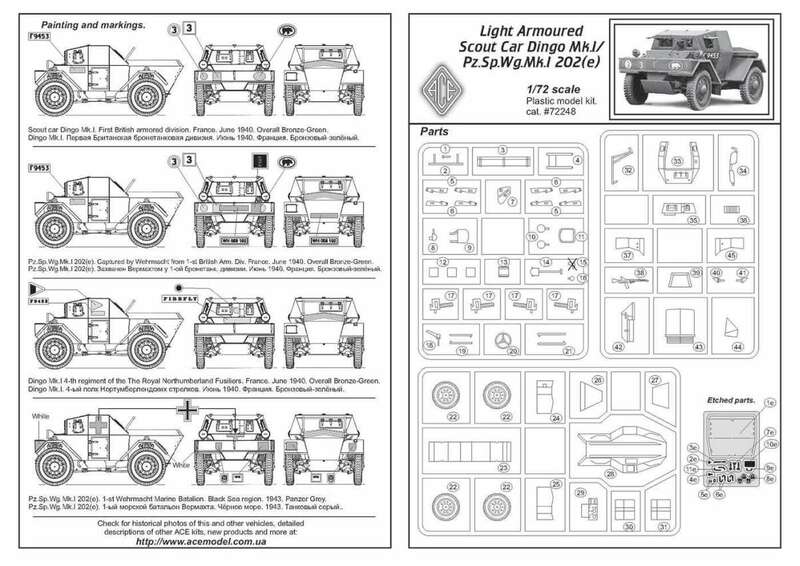 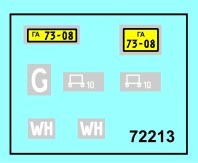 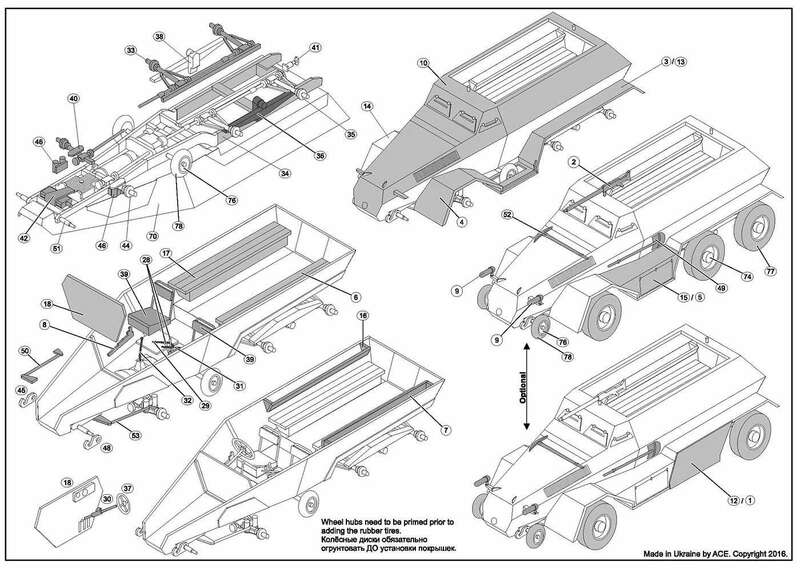 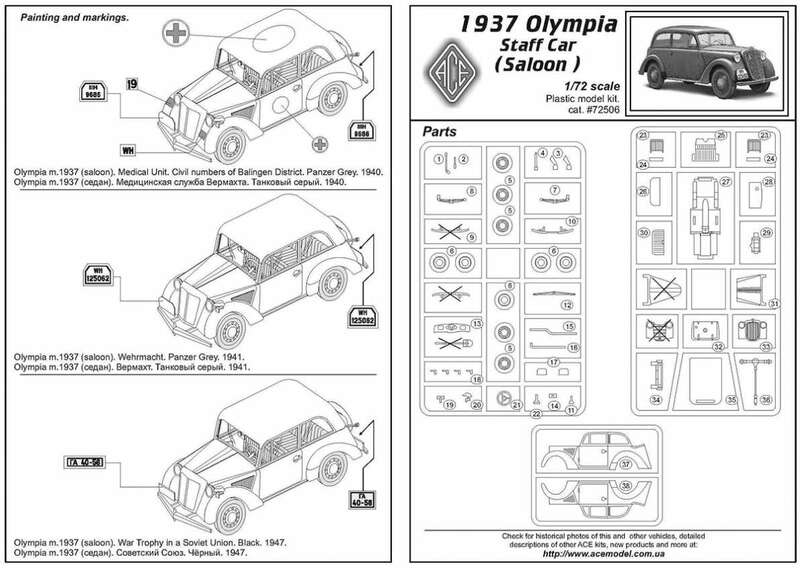 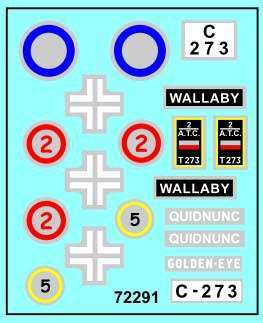 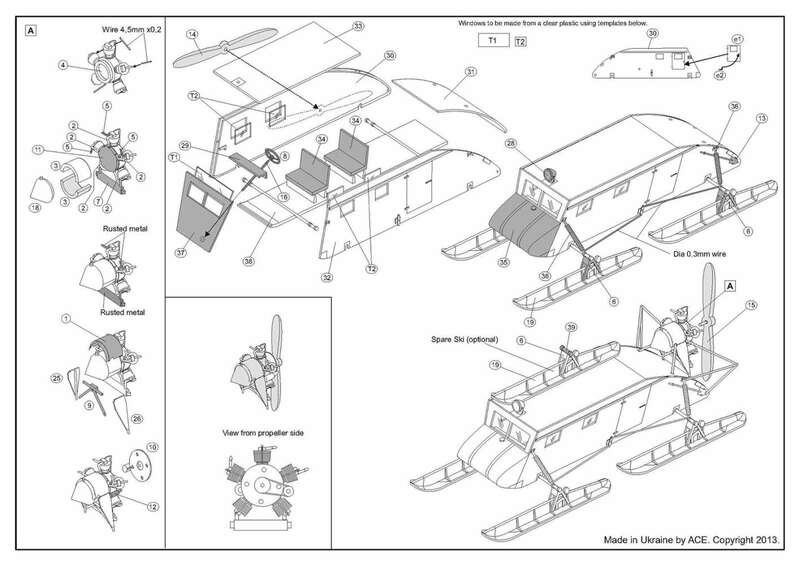 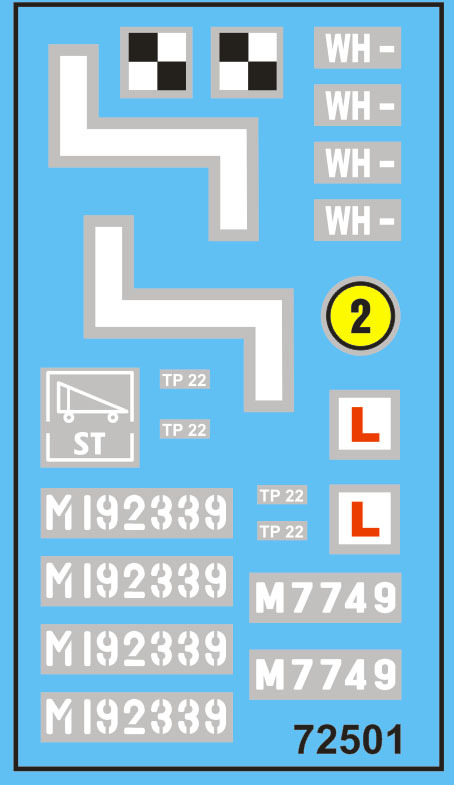 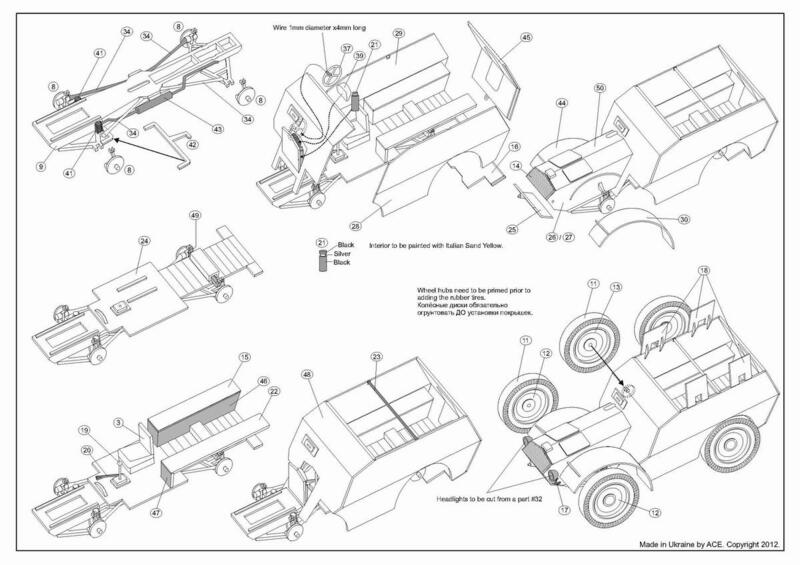 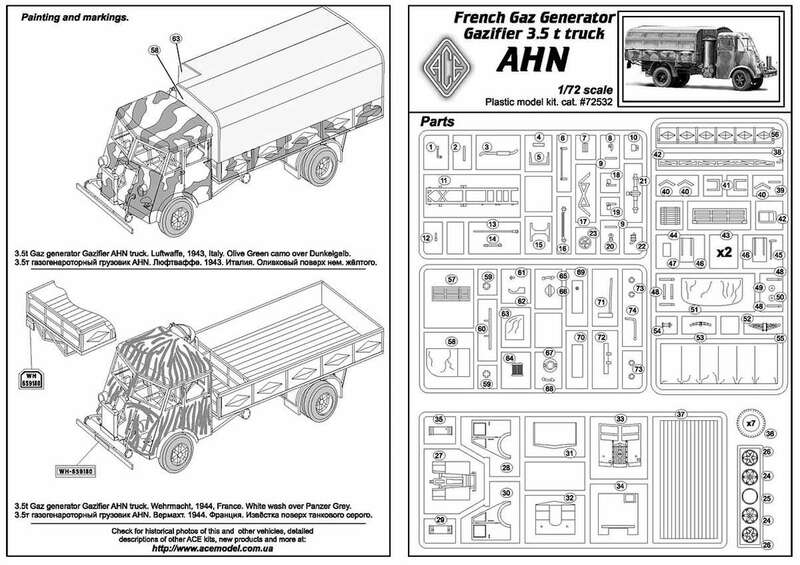 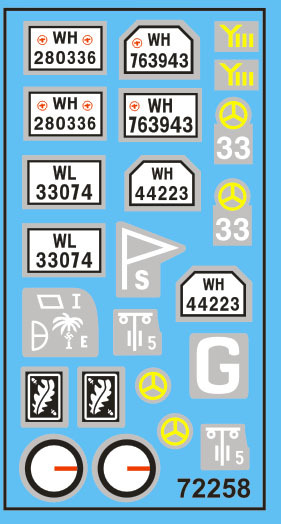 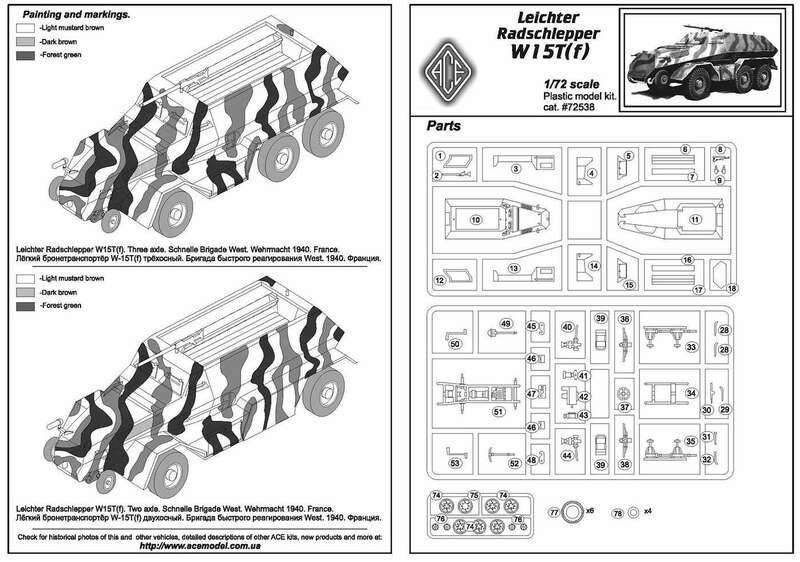 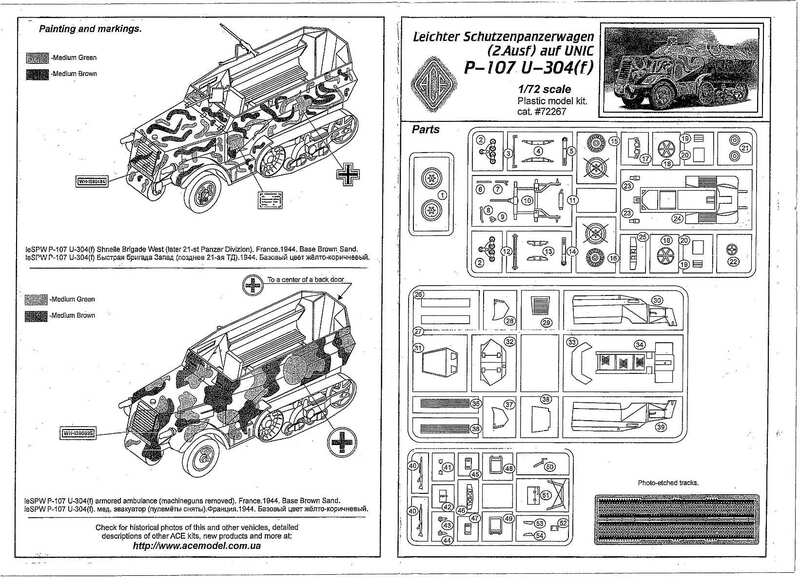 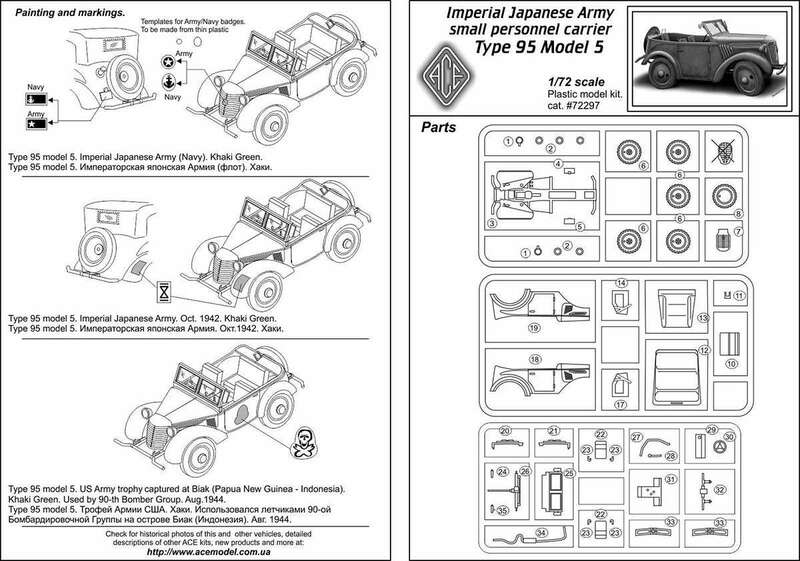 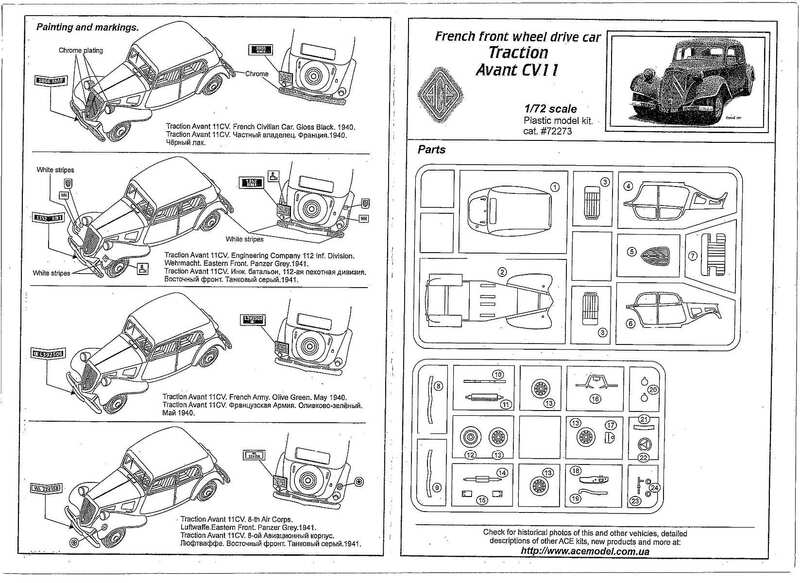 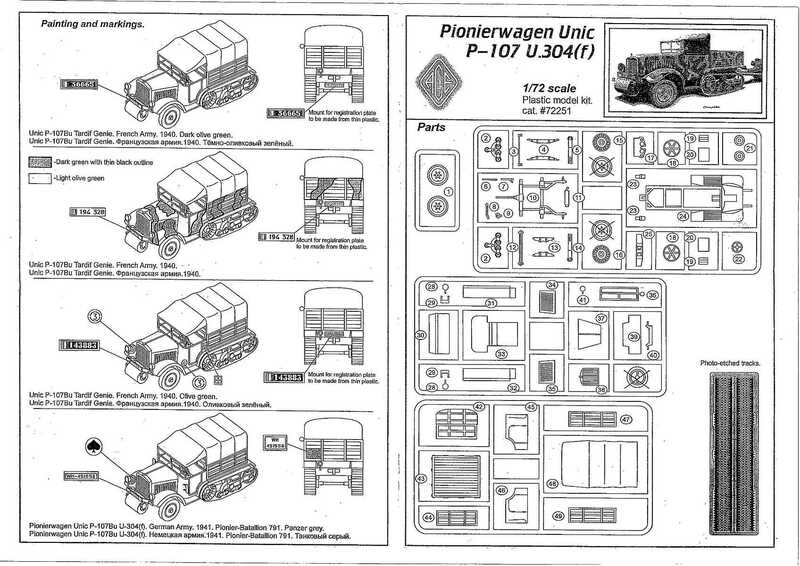 The decal sheet has markings for three trucks. 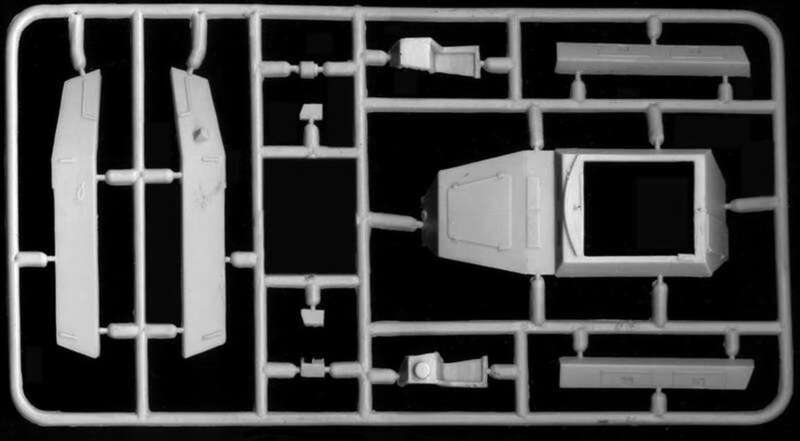 The model has been built out of the box, with only a few changes. 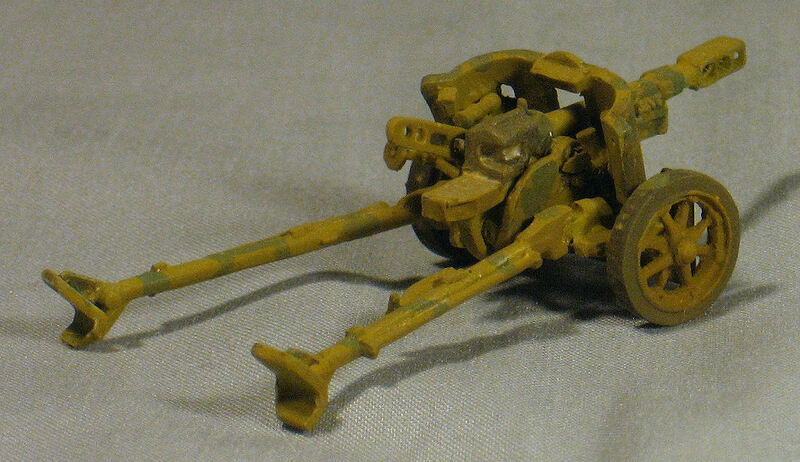 I did throw away the antenna supports as they looked a bit thick, and made new ones from sewing needles. 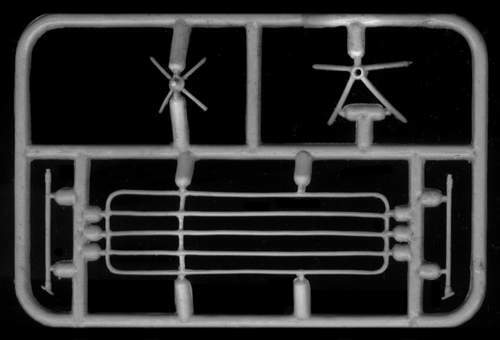 The antenna clothes line frame has to be scratch-made from wire for which I used 0.44 mm wire. 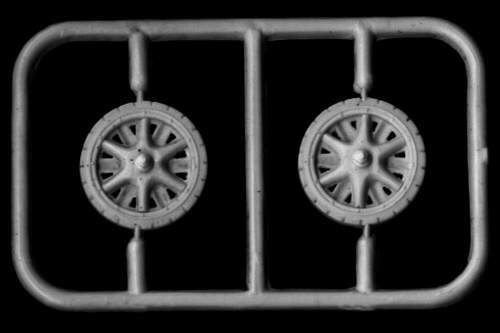 I drilled out the back of the rubber tyred wheels before mounting them to the body as the rims were cast as one solid piece. 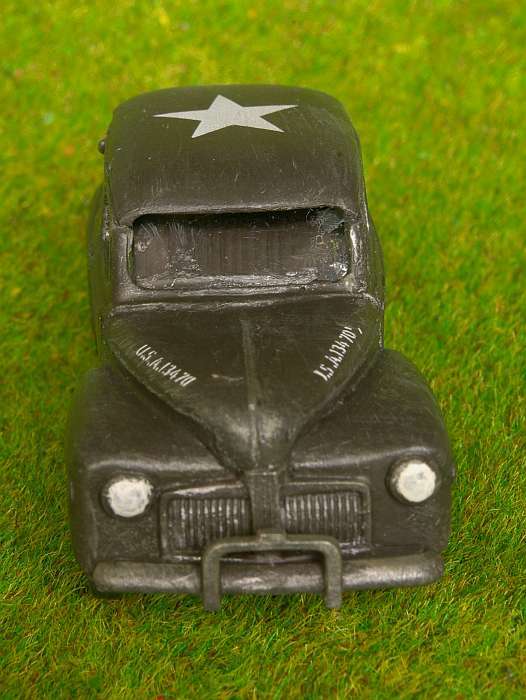 I also drilled out the headlamps. 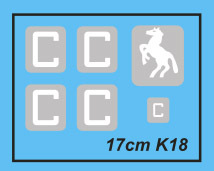 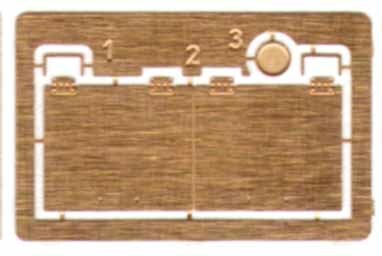 It comes with a 15 cm (6 inches) long trackbase. 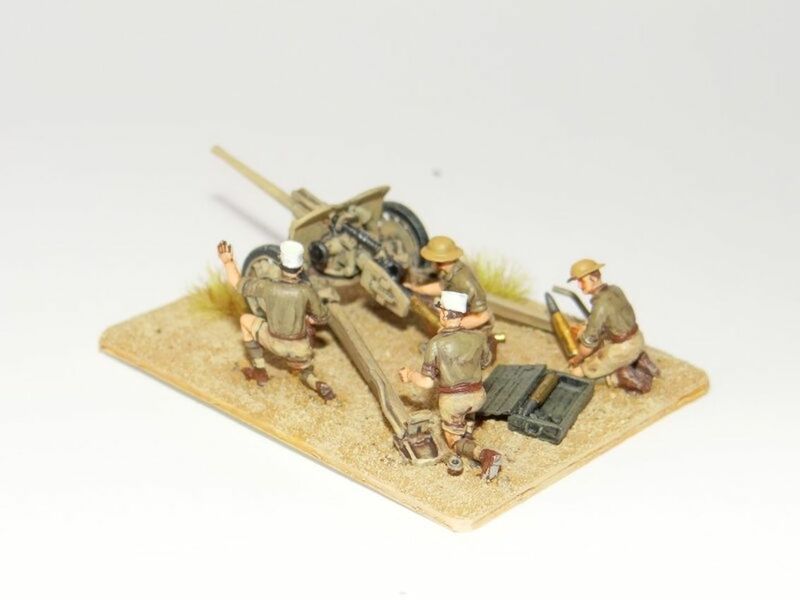 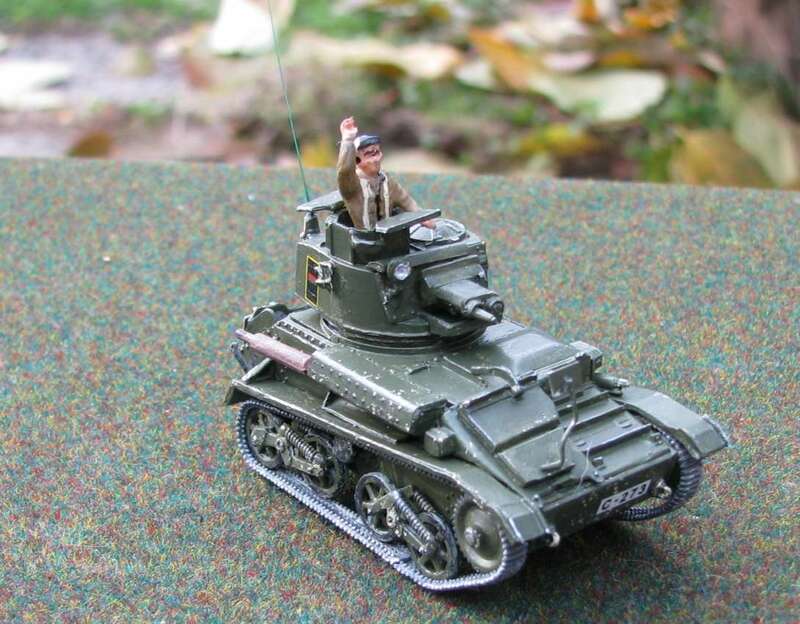 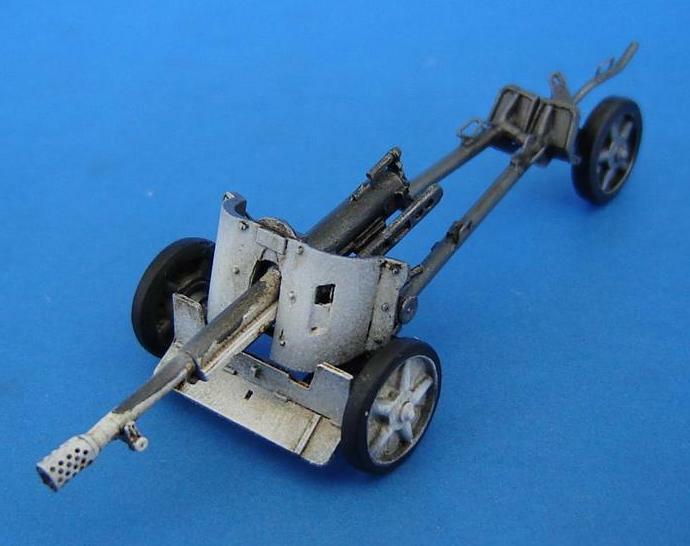 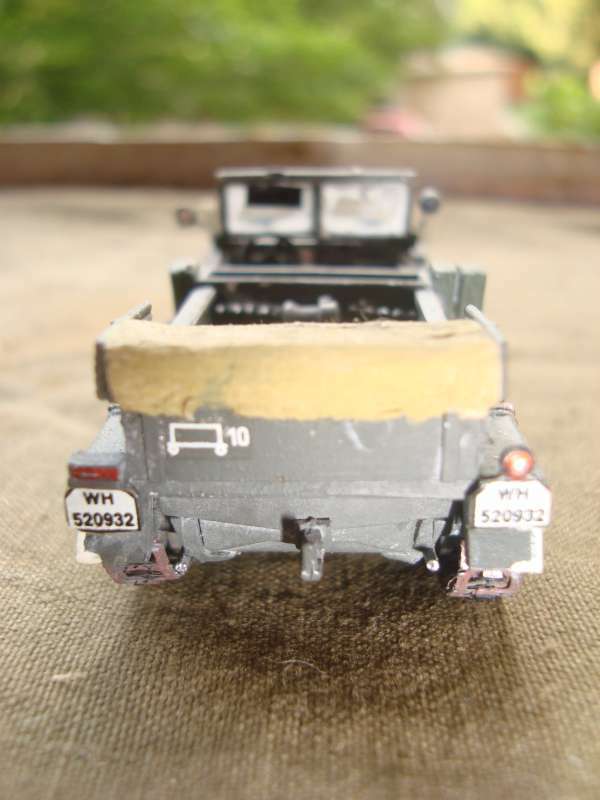 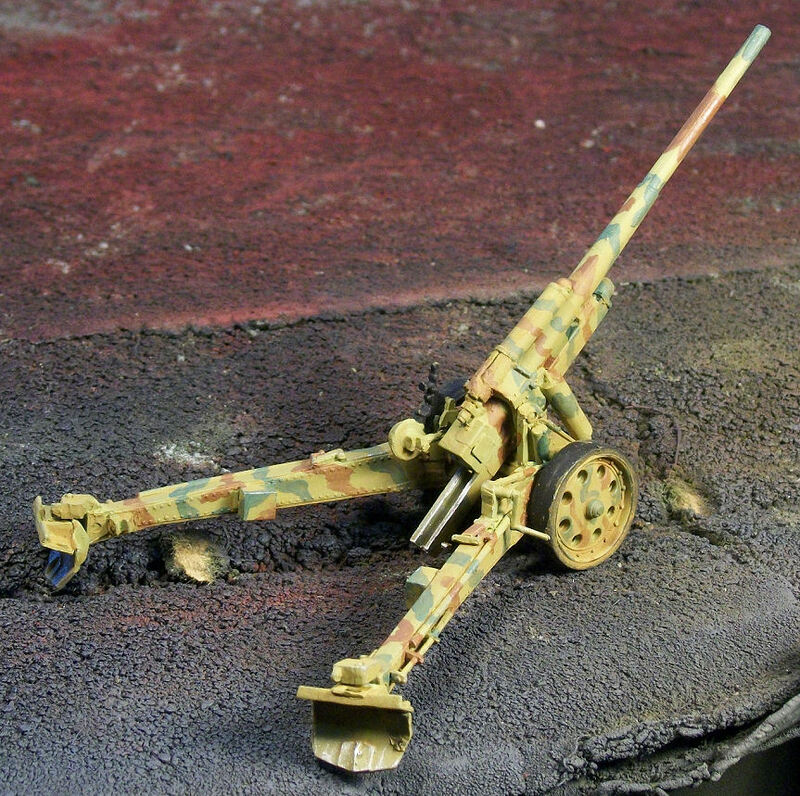 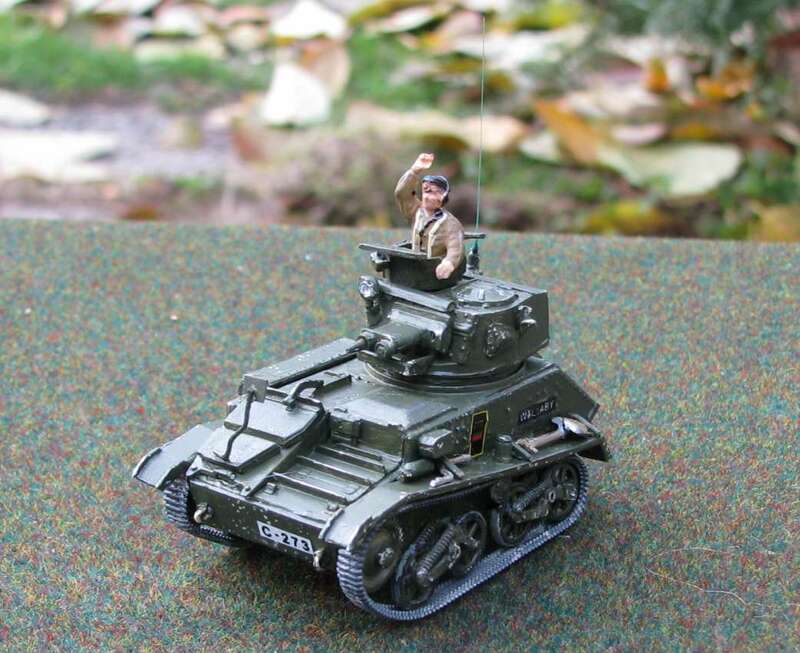 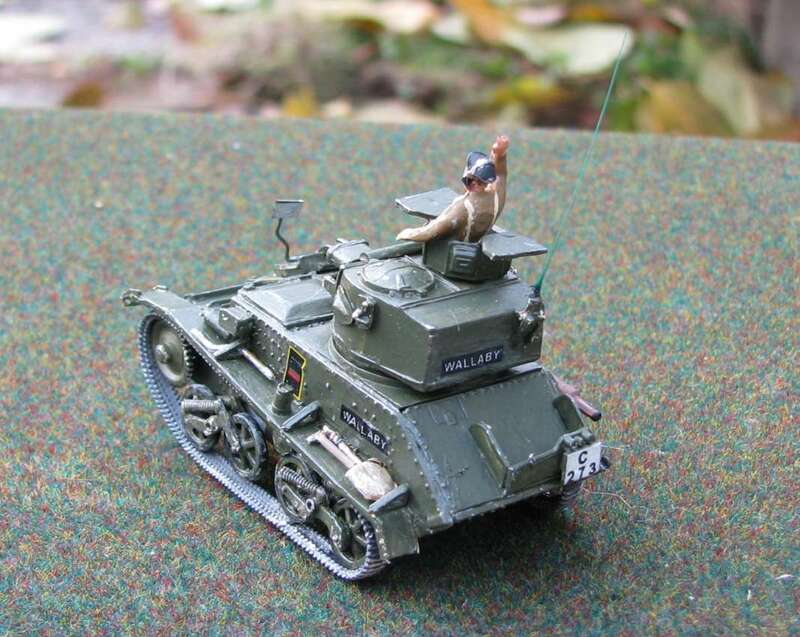 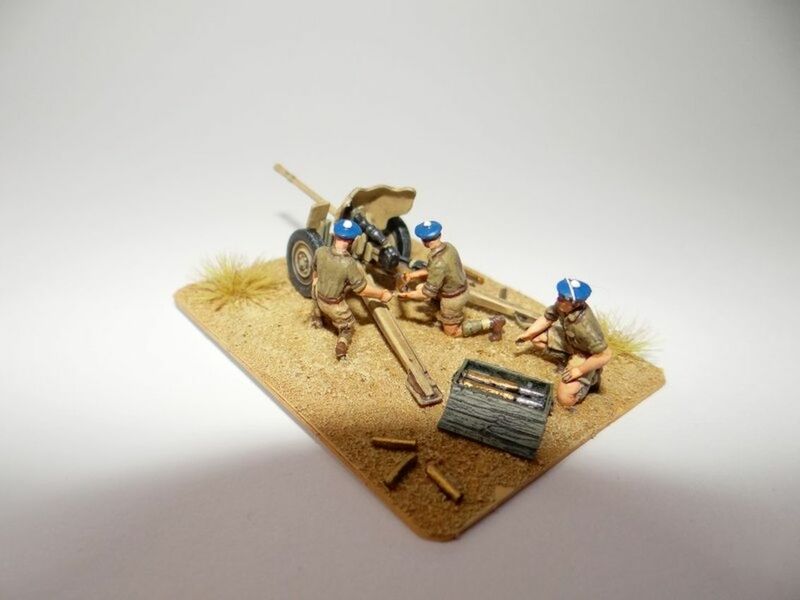 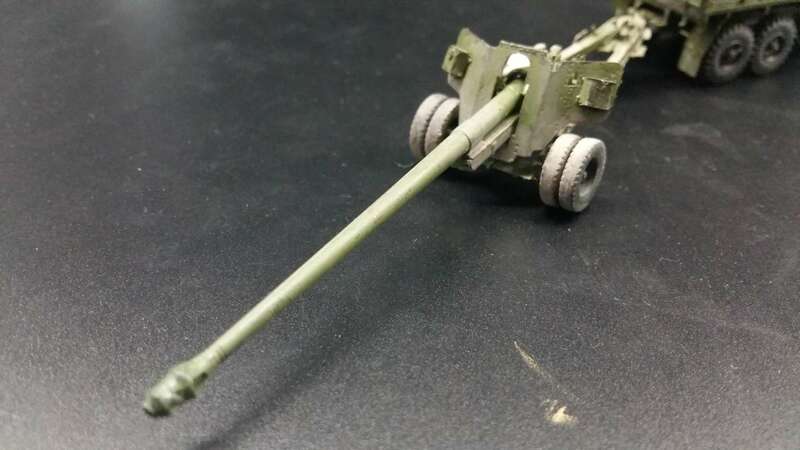 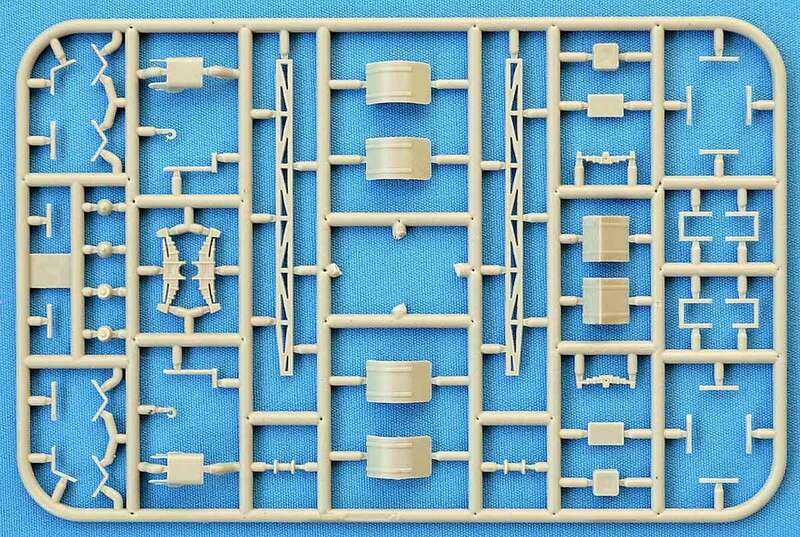 I didnt use the plastic railway lines that come with the kit, on the base, I substituted metal ones. 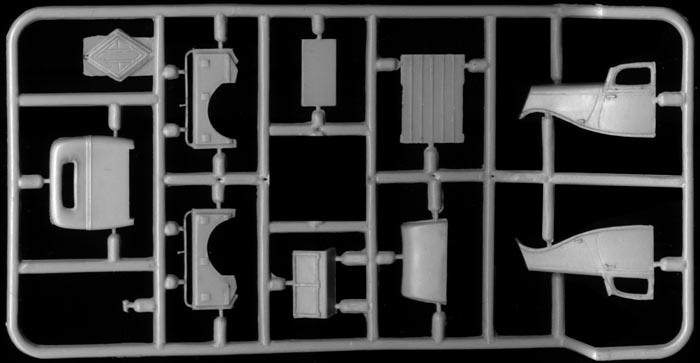 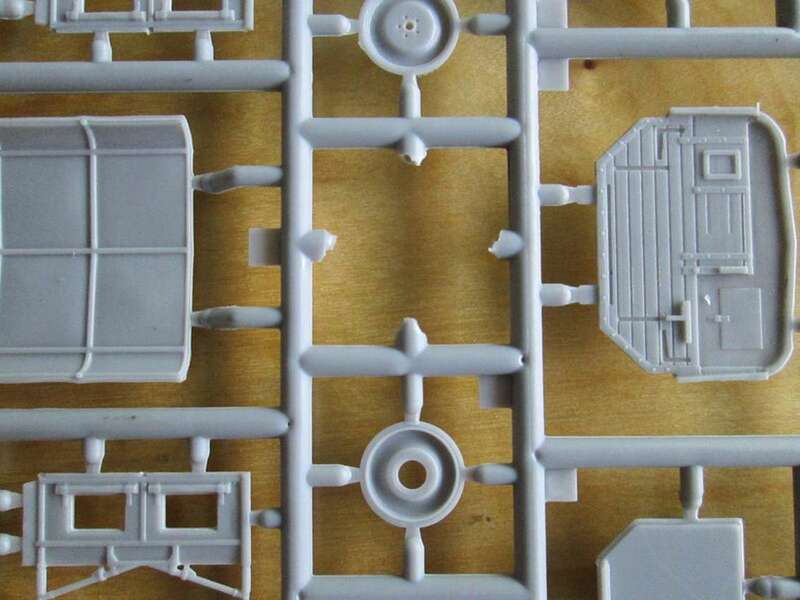 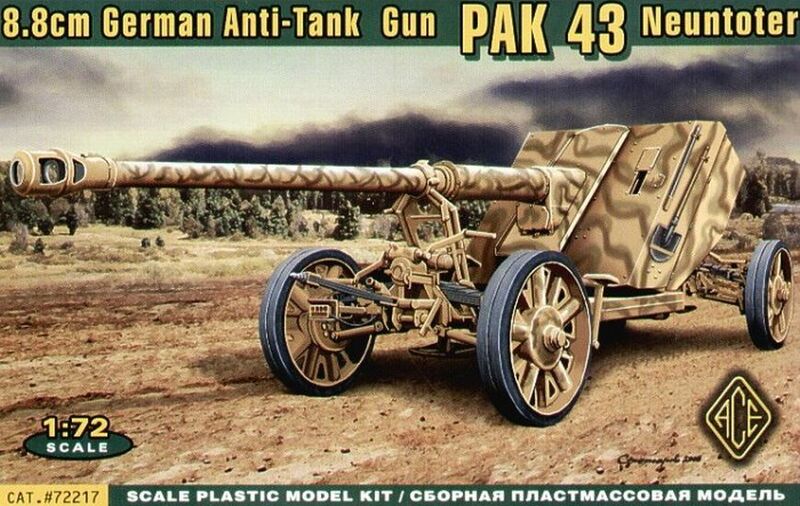 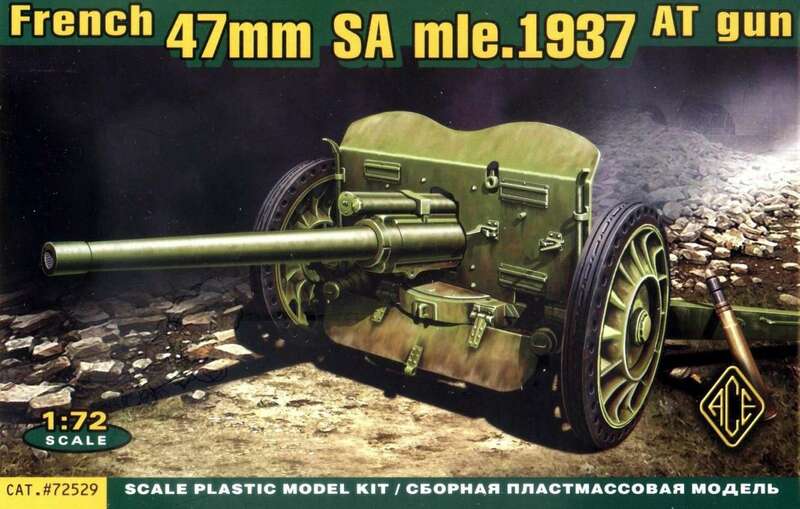 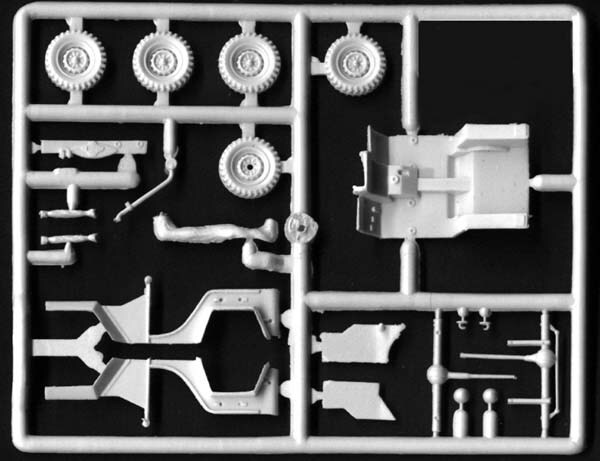 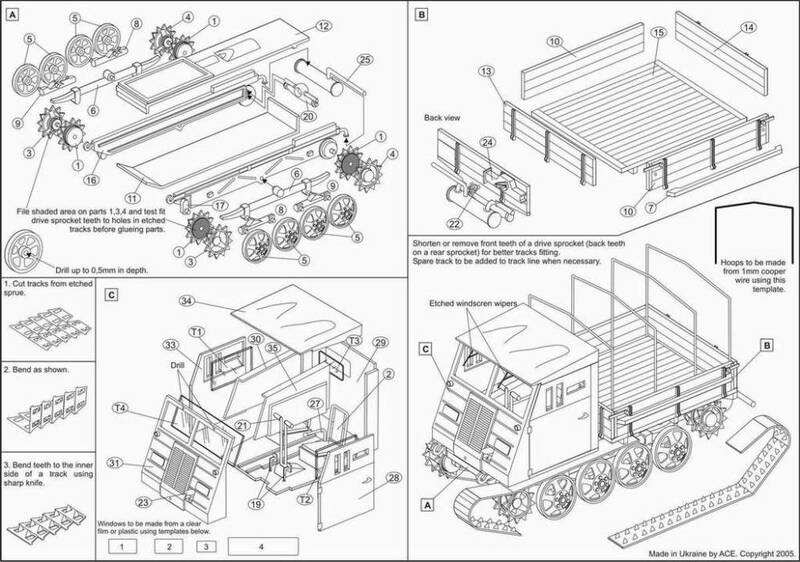 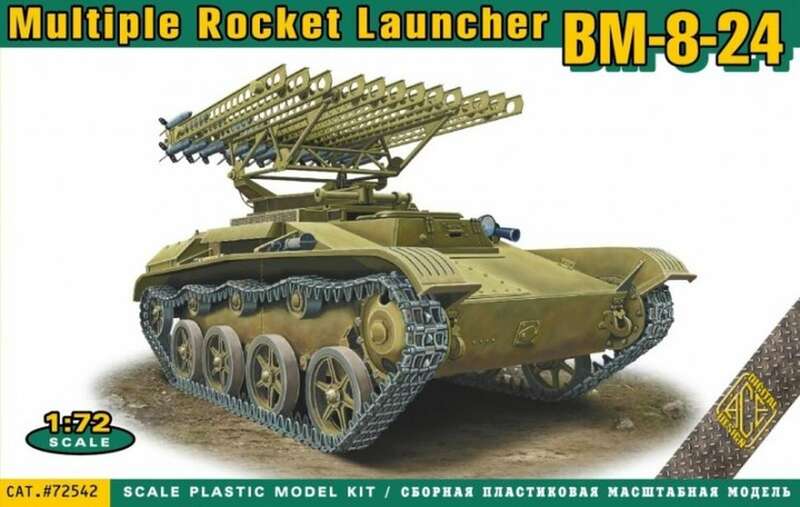 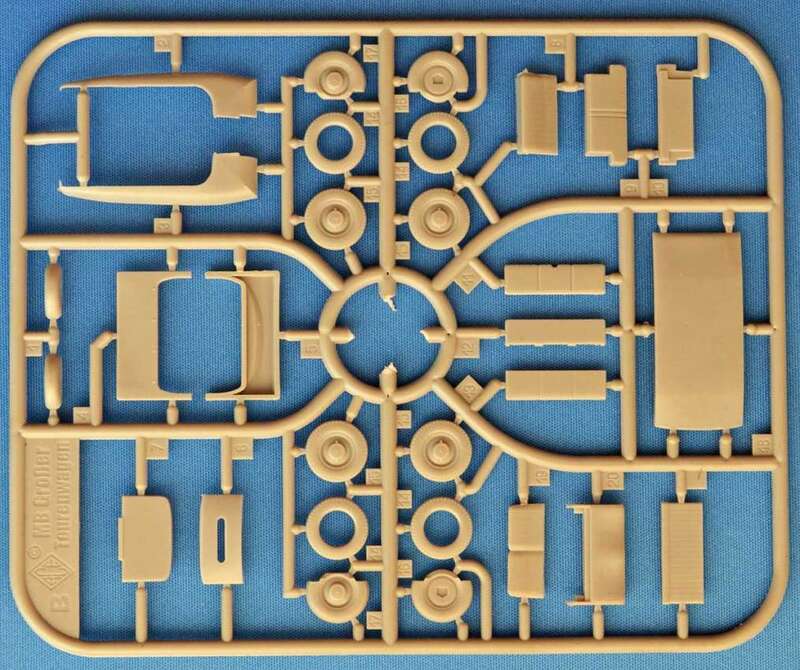 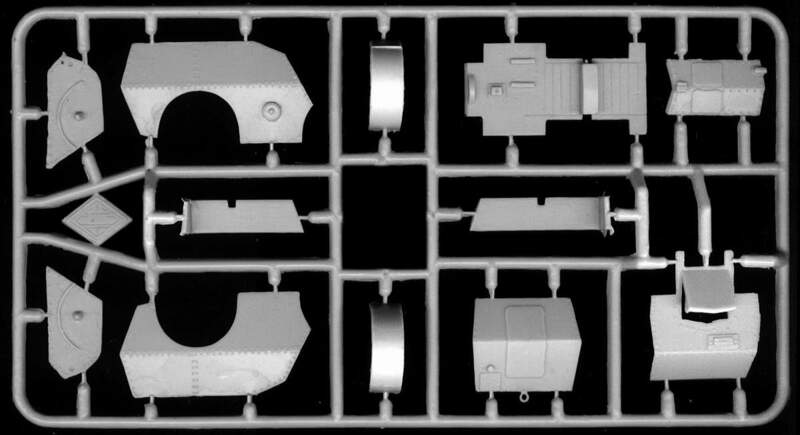 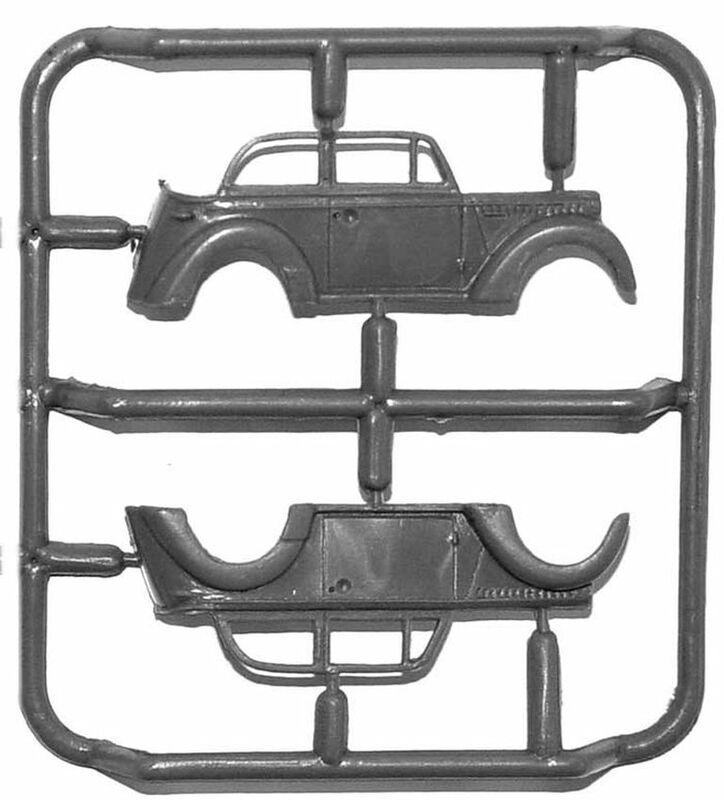 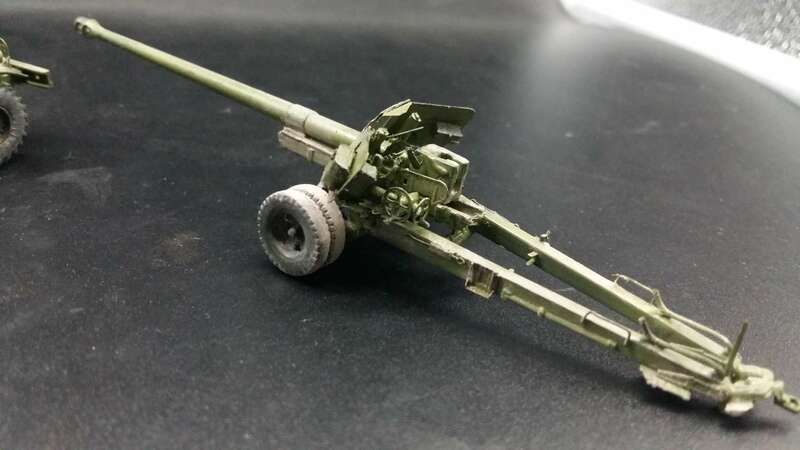 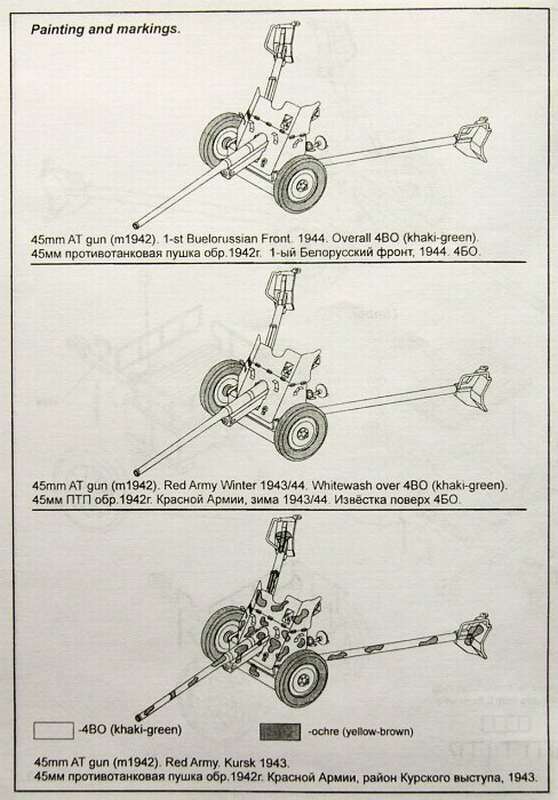 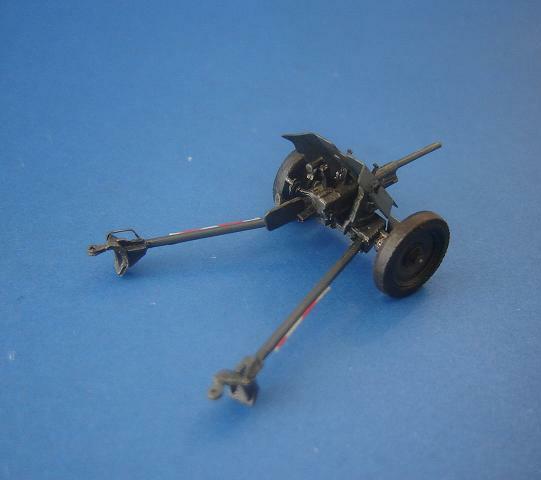 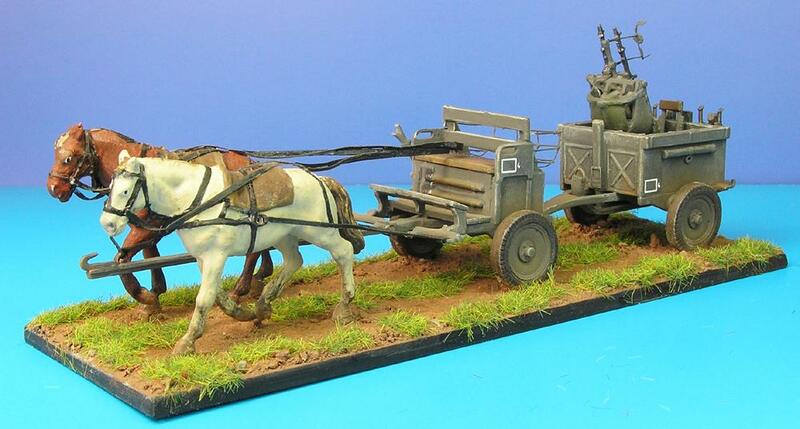 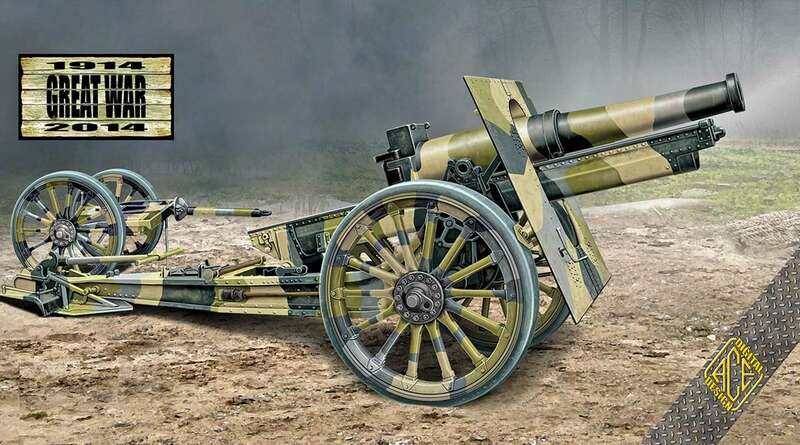 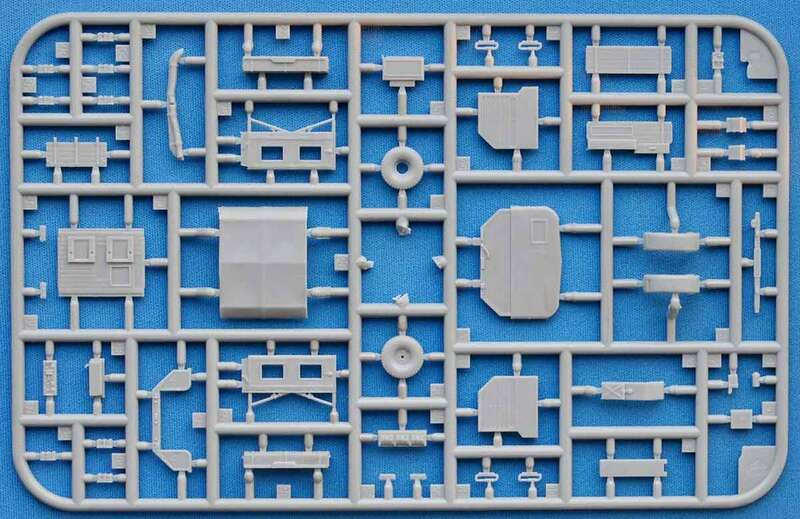 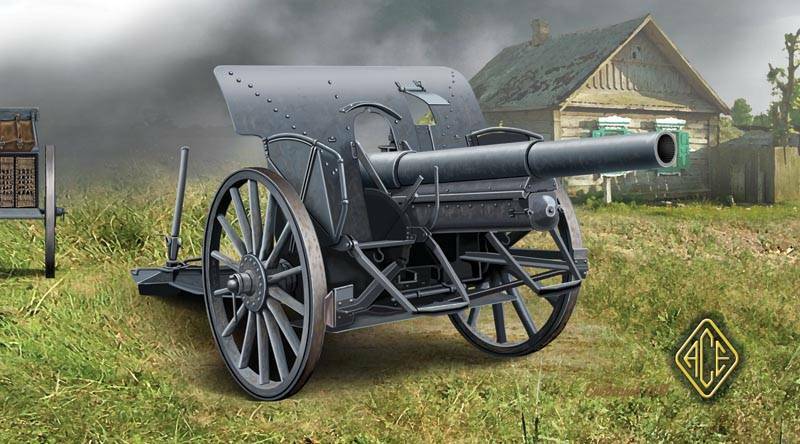 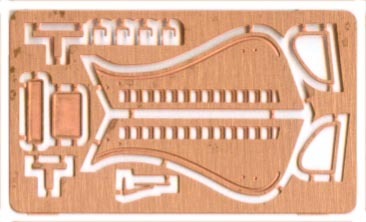 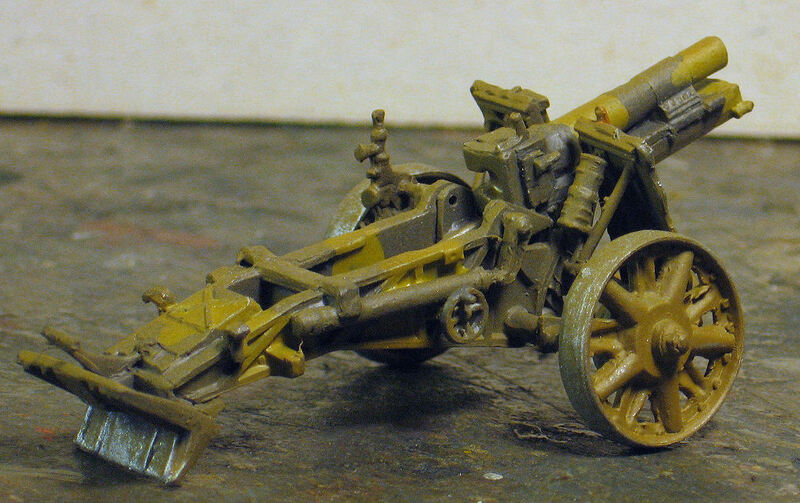 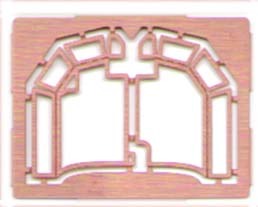 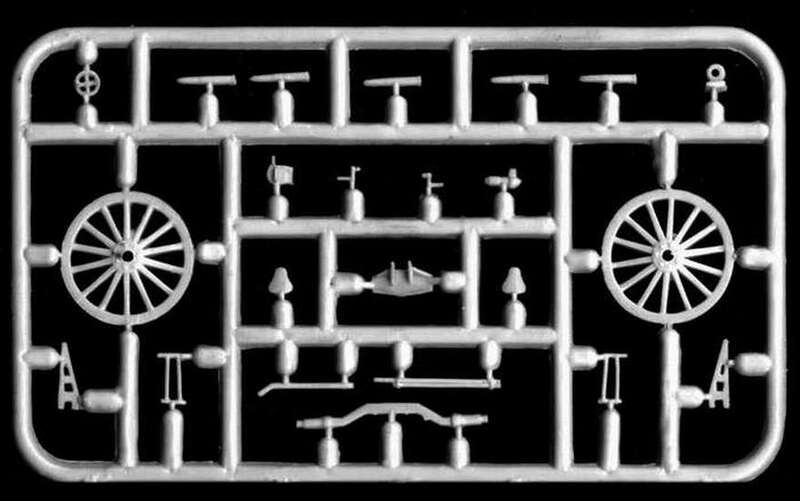 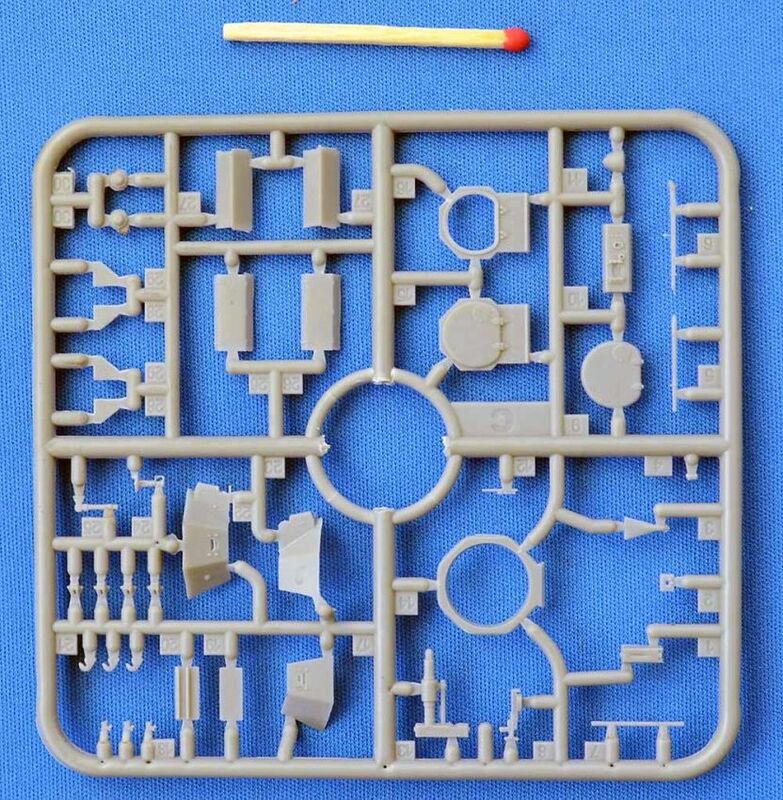 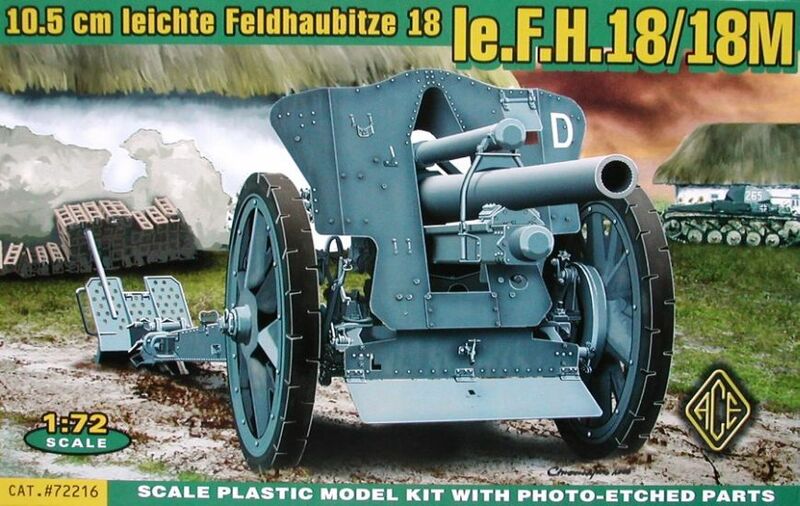 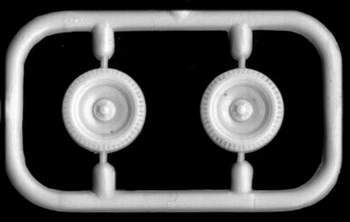 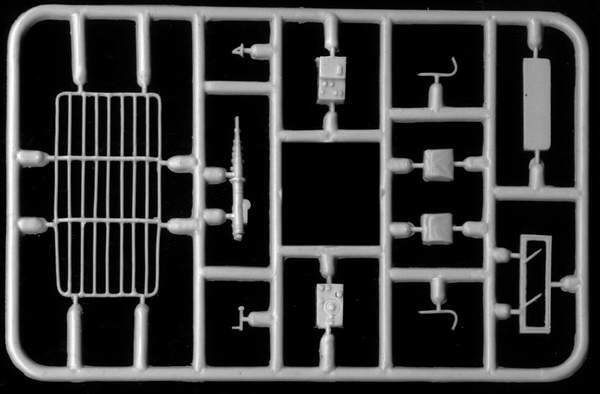 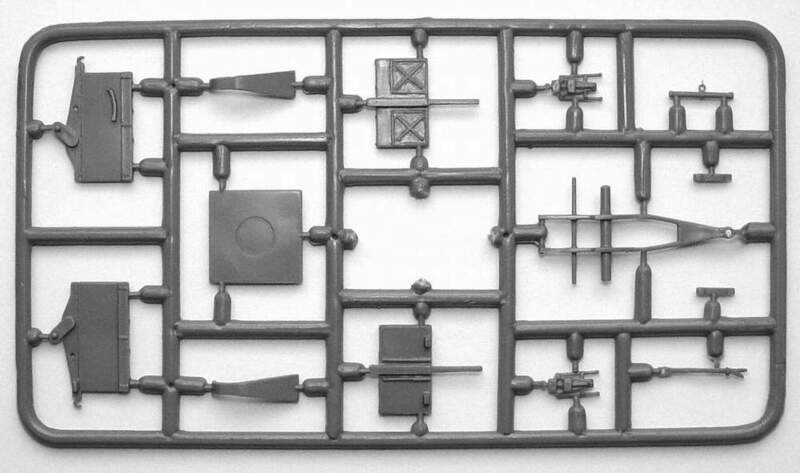 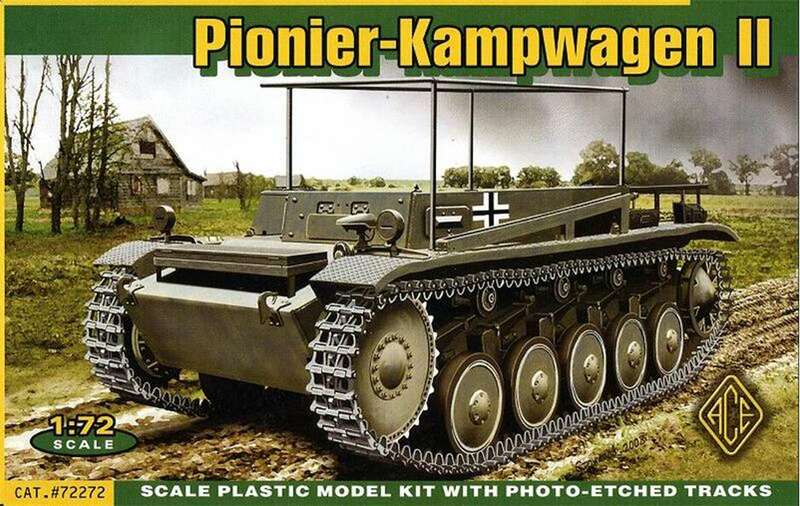 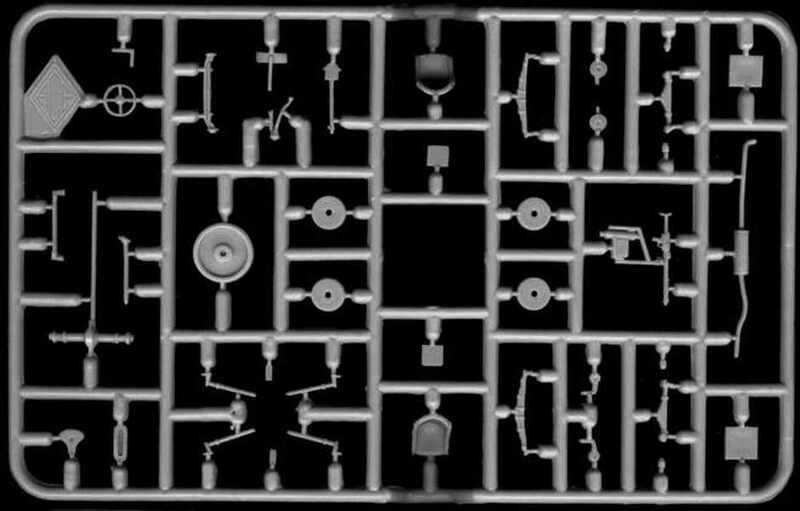 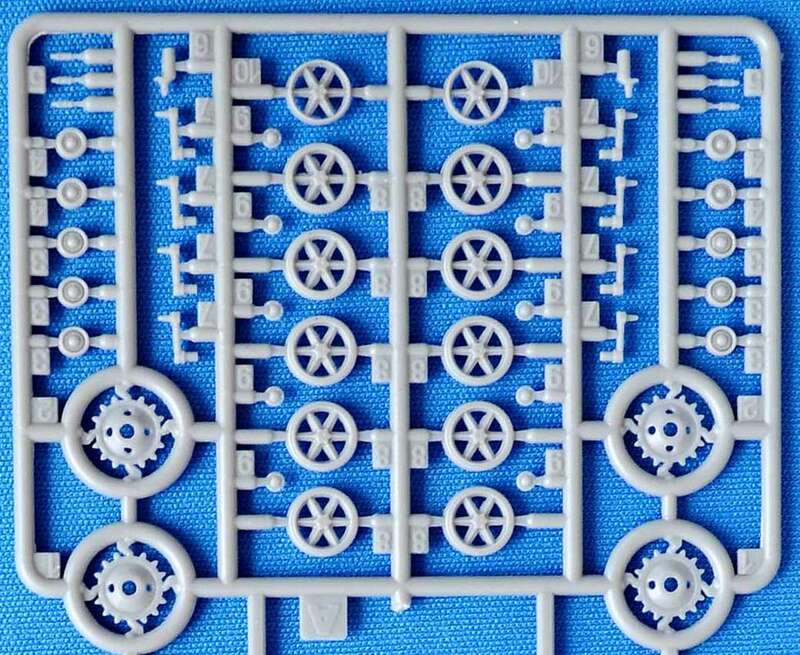 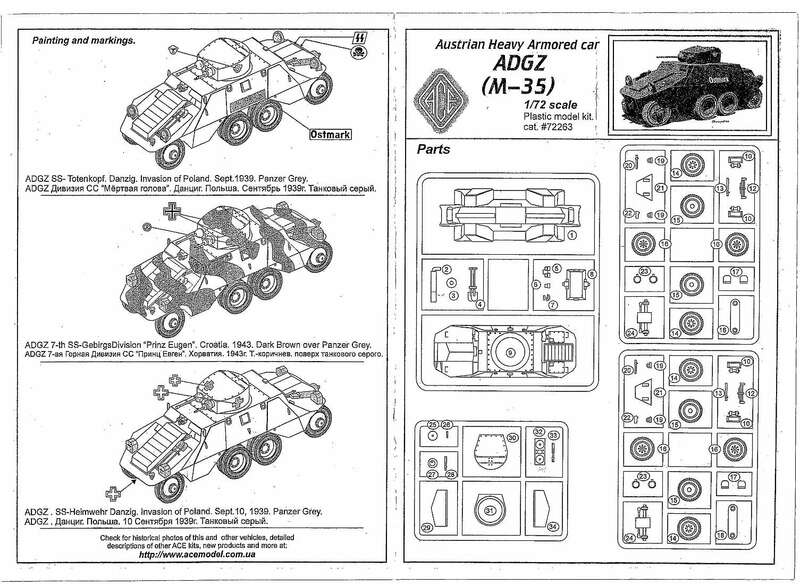 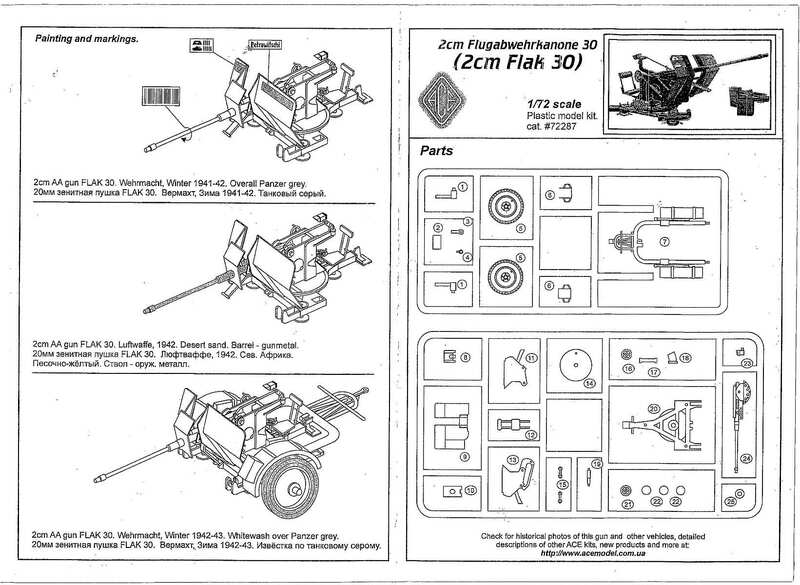 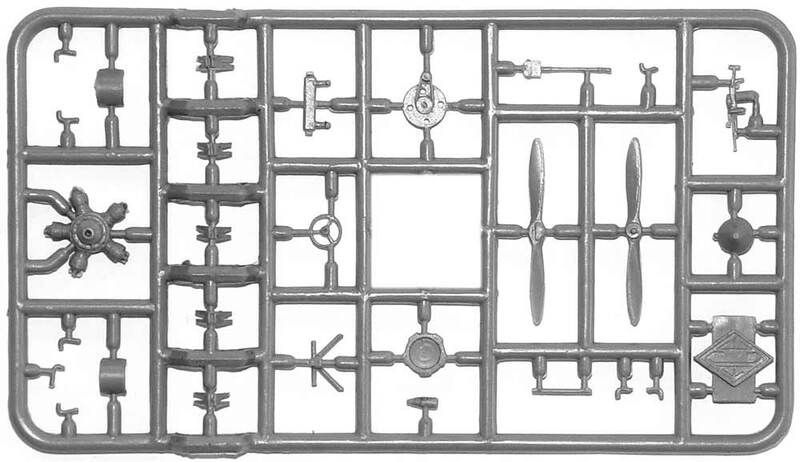 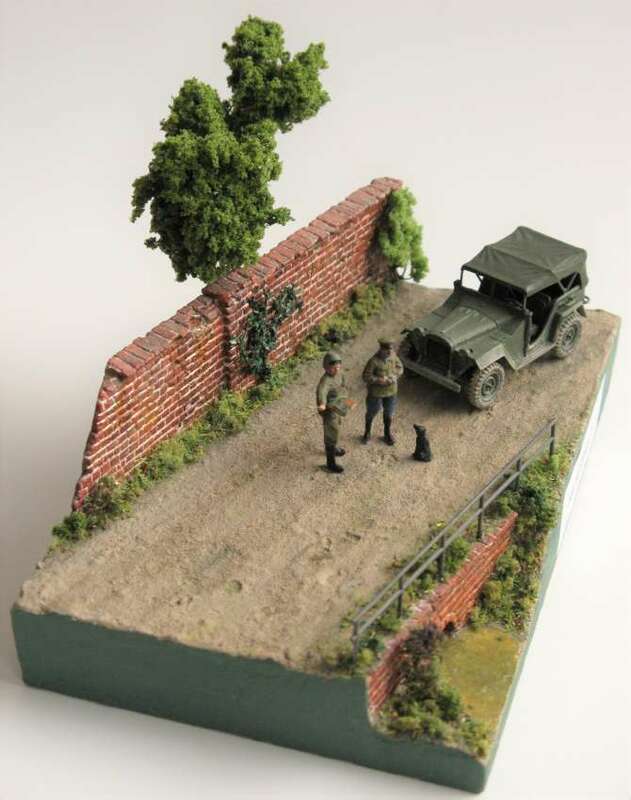 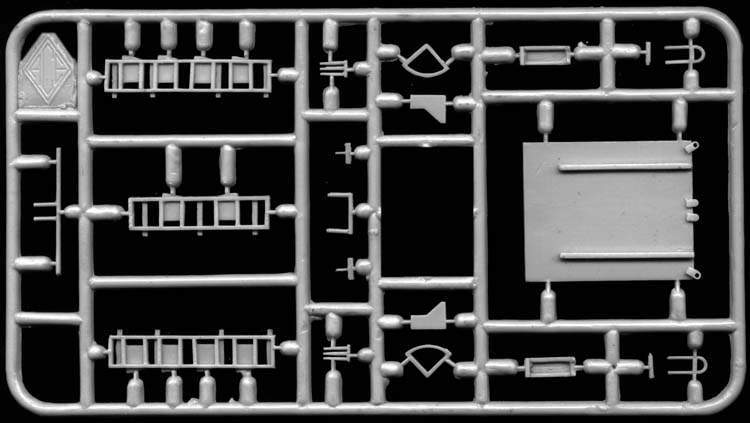 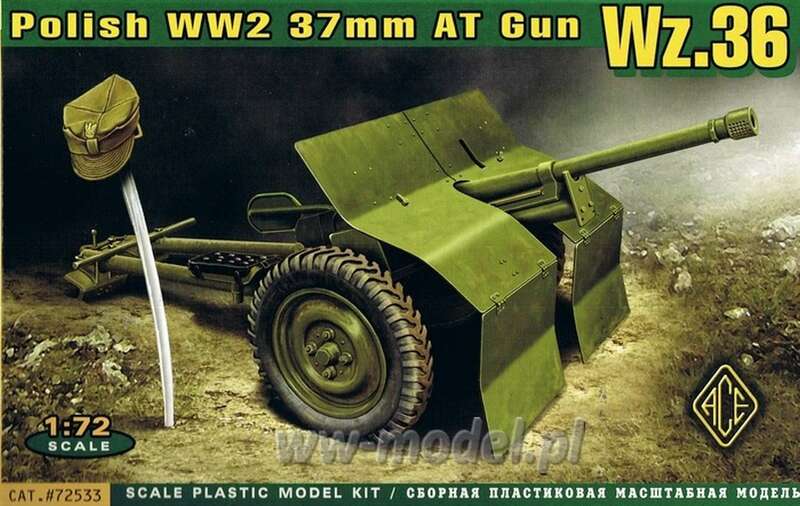 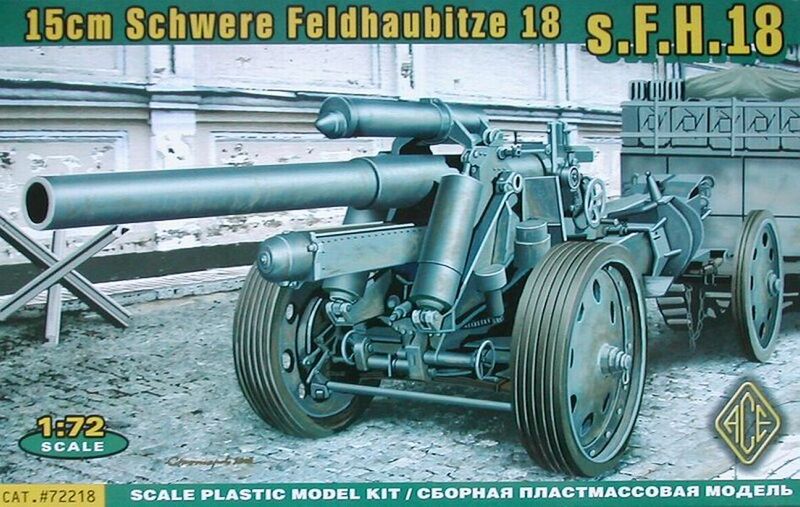 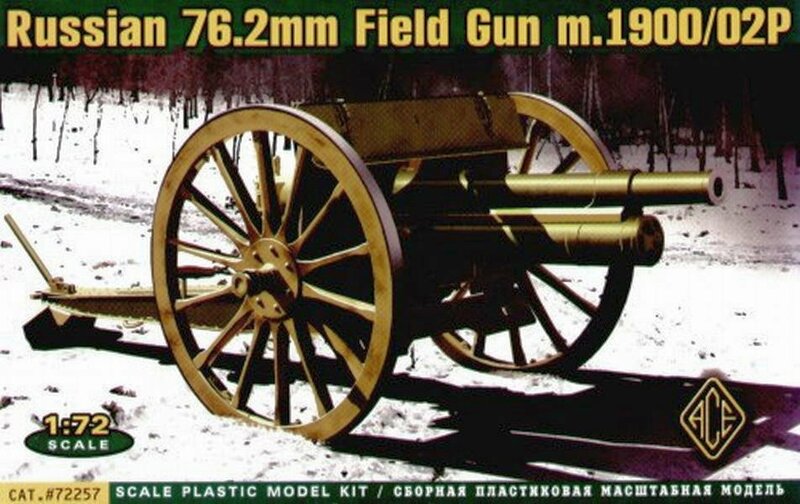 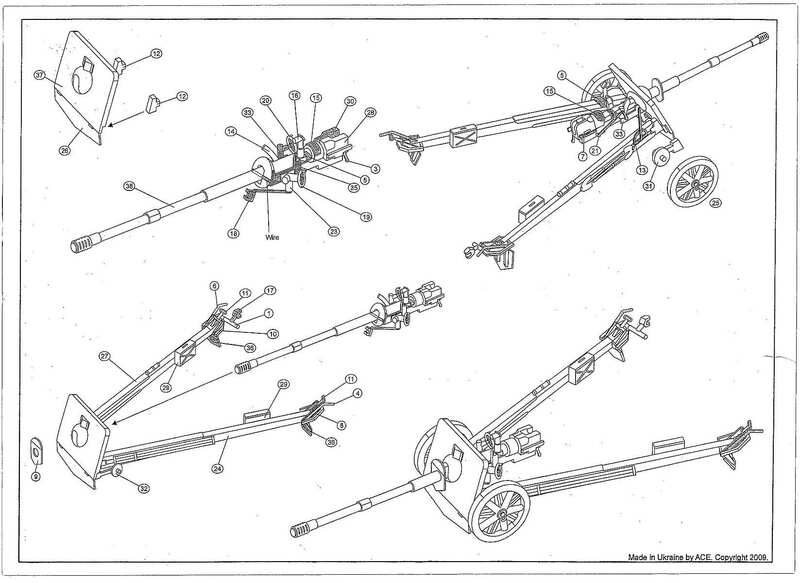 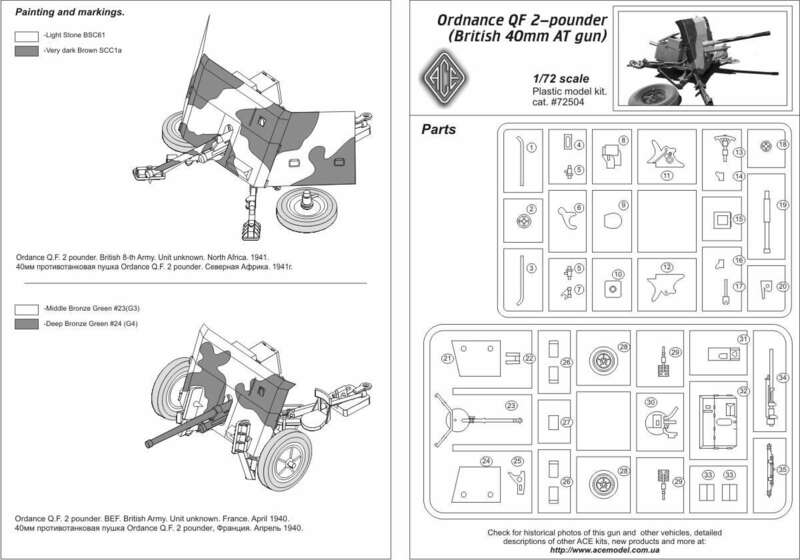 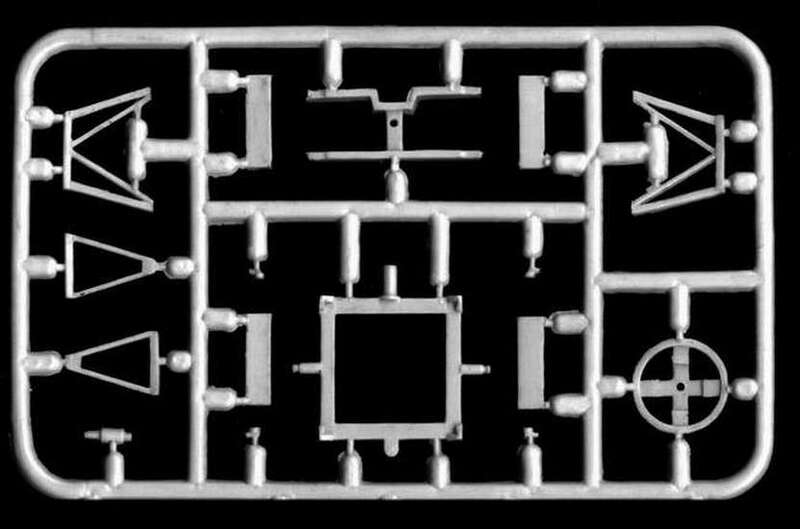 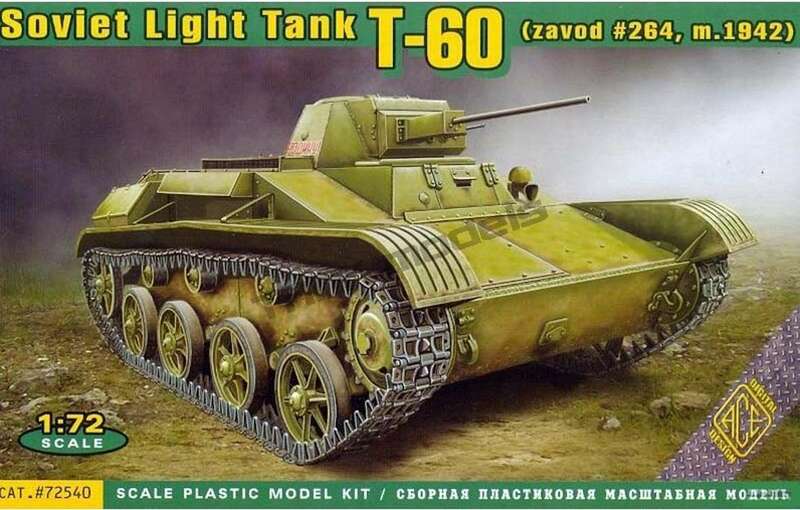 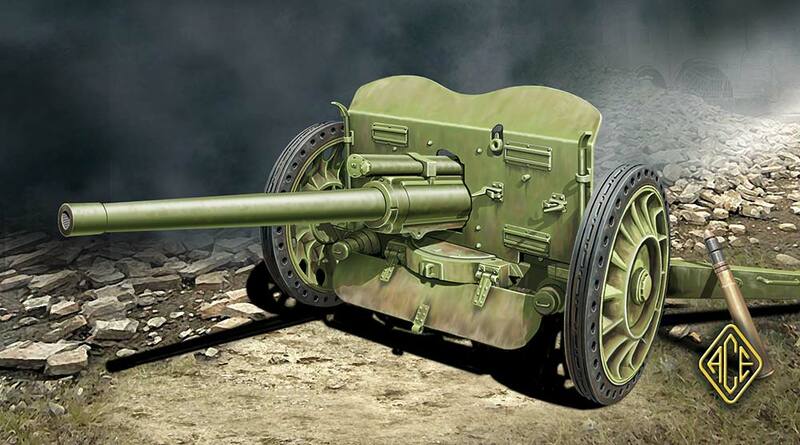 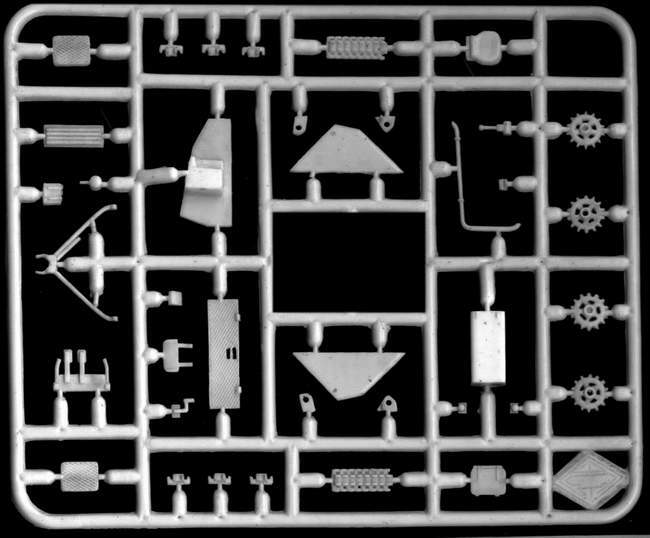 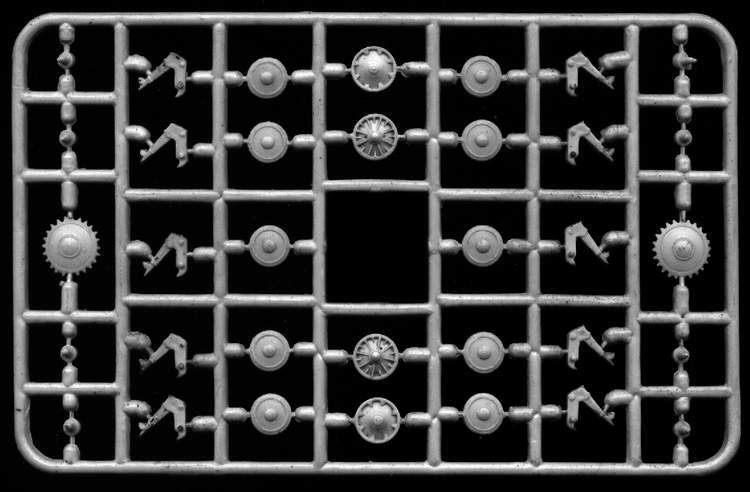 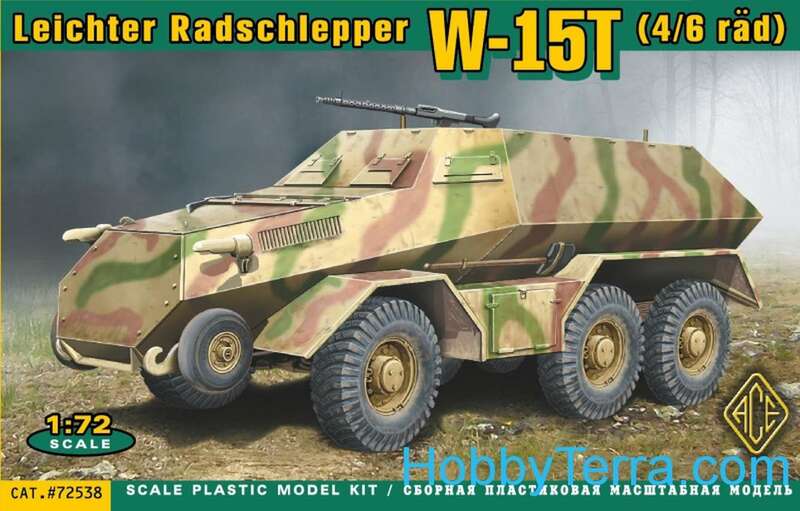 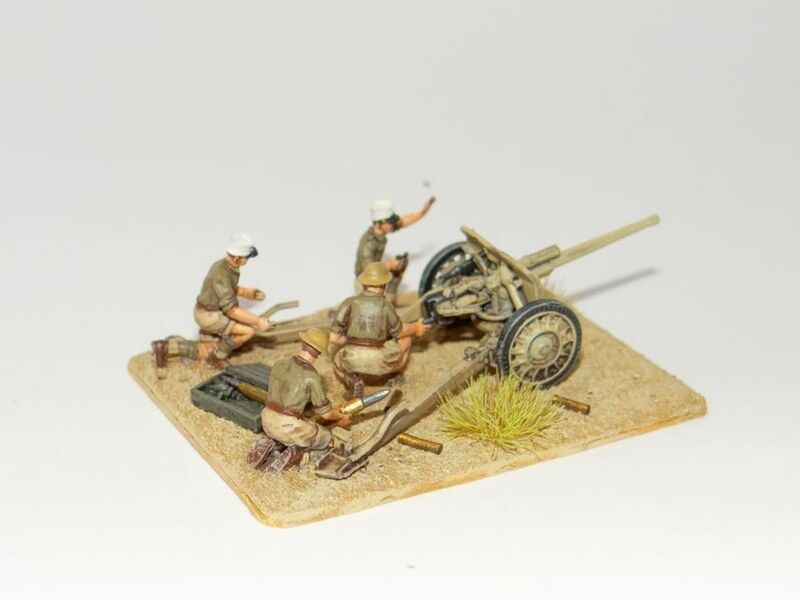 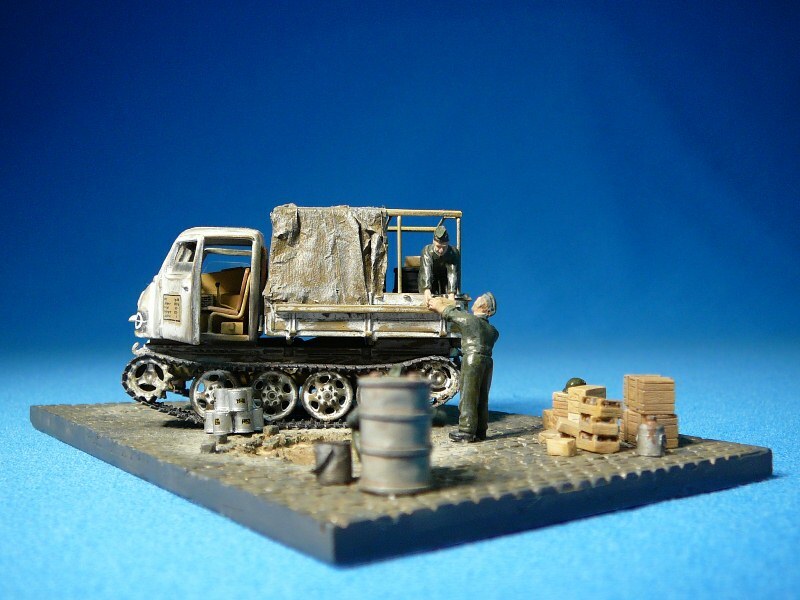 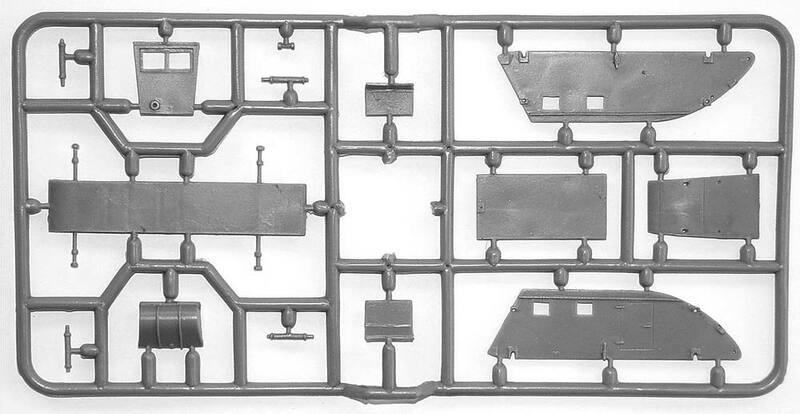 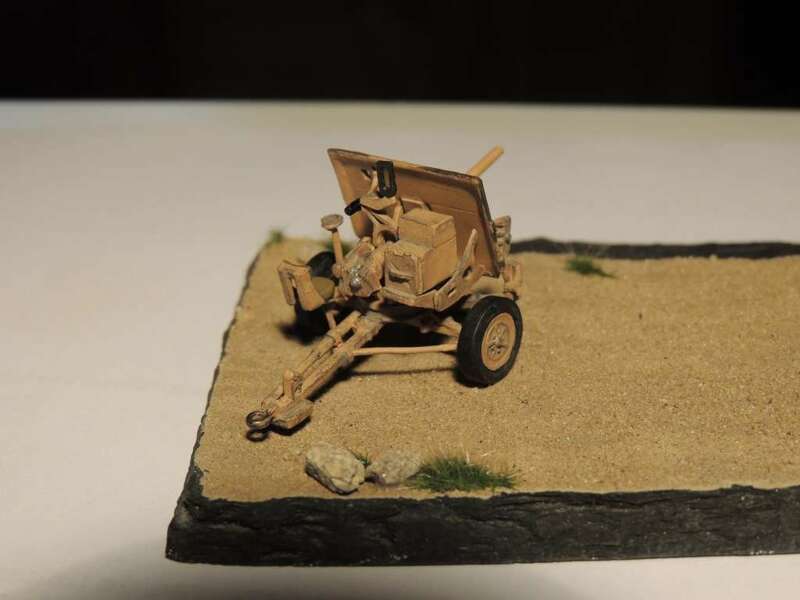 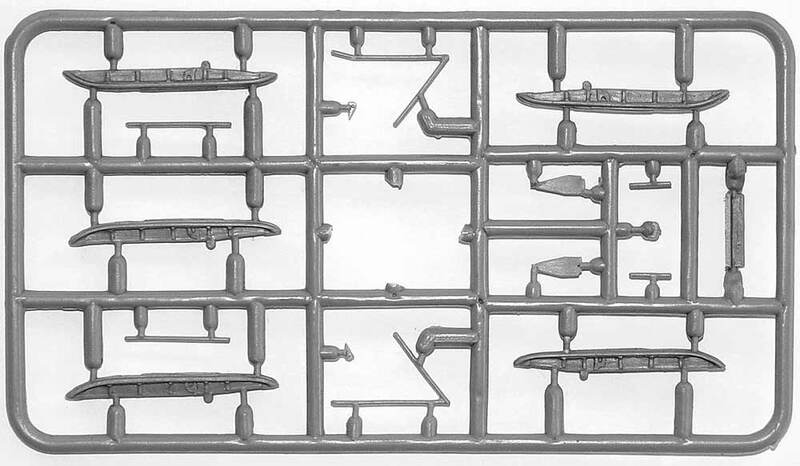 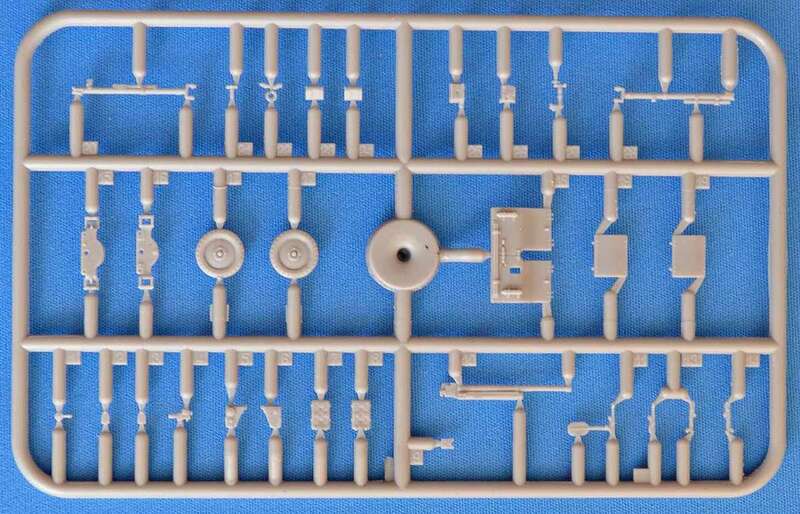 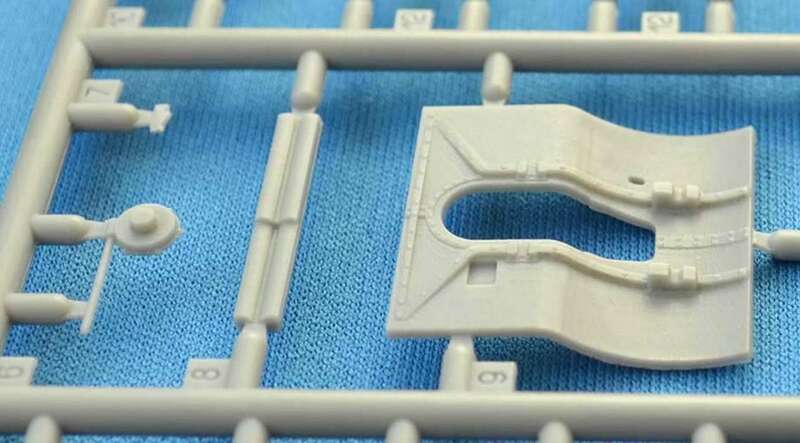 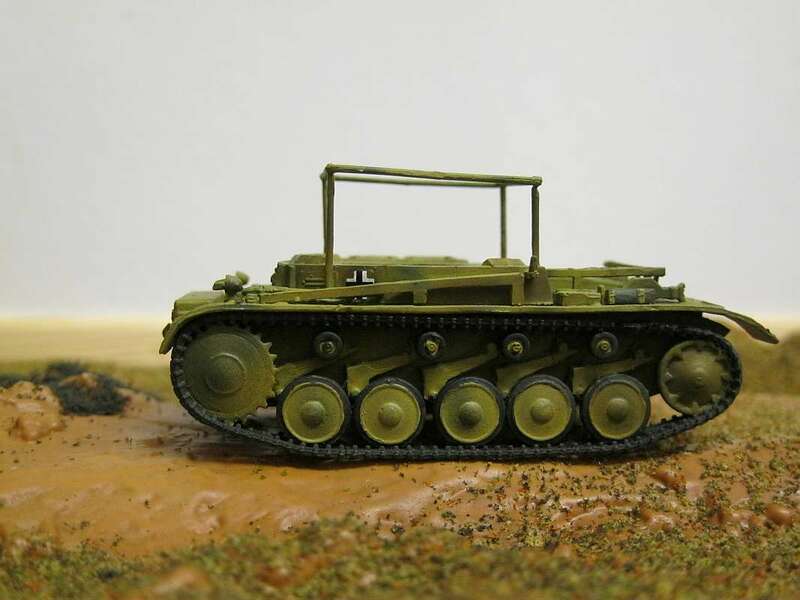 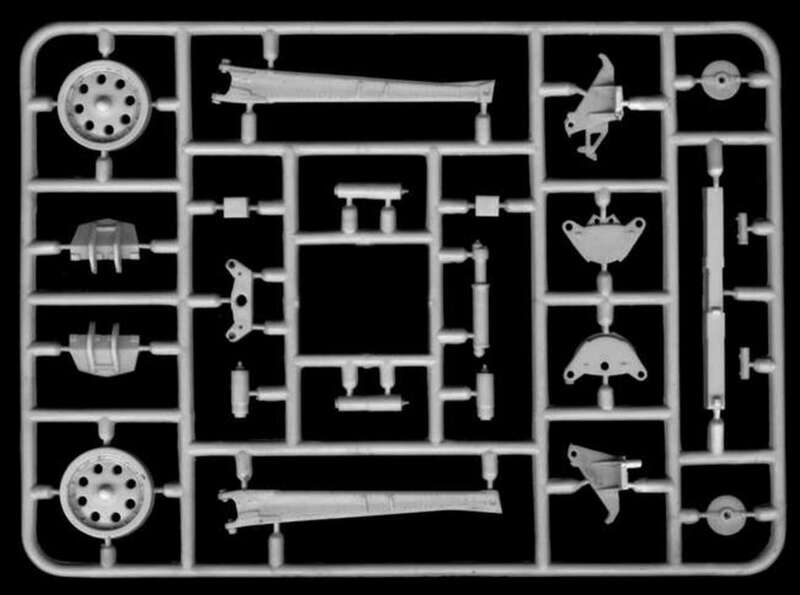 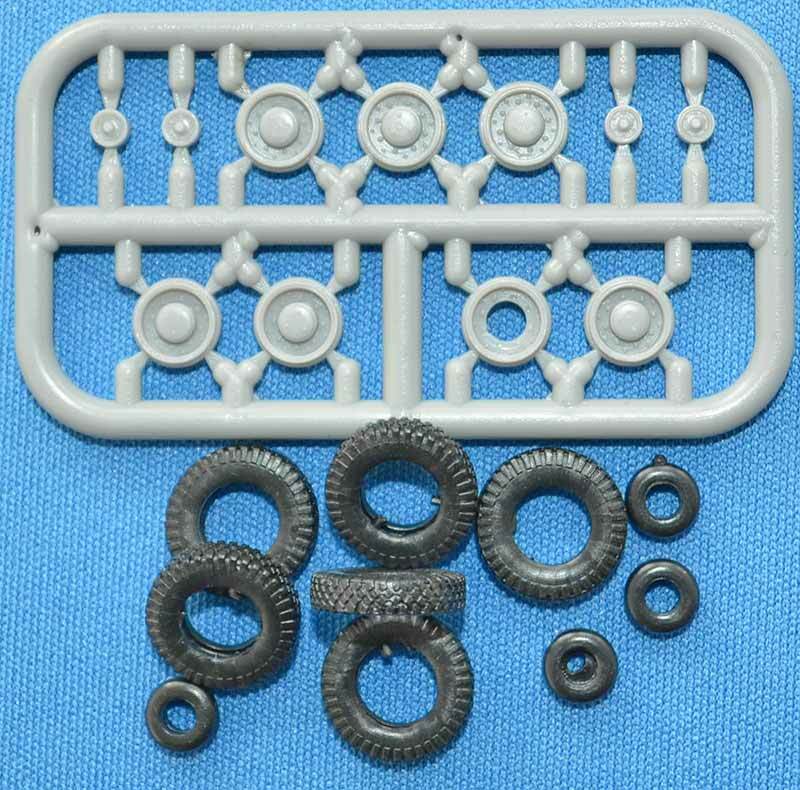 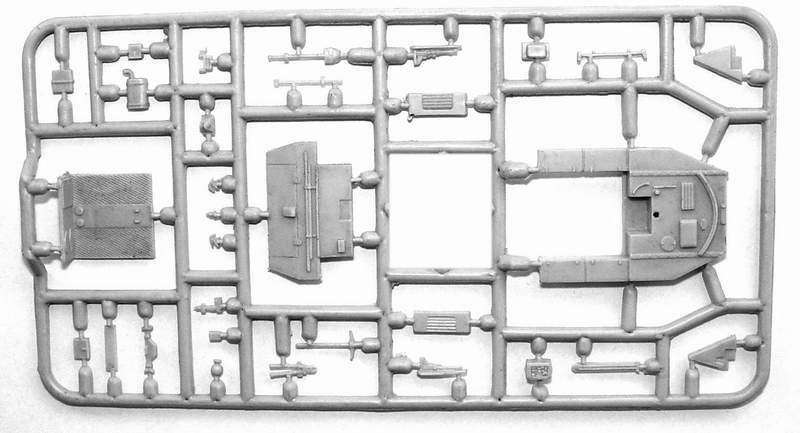 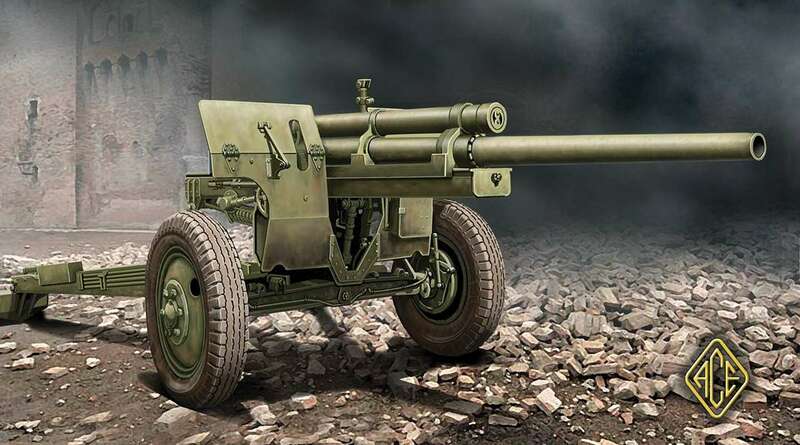 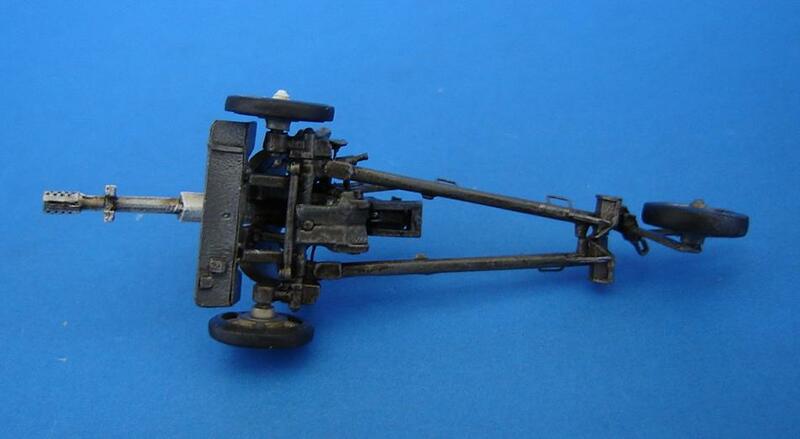 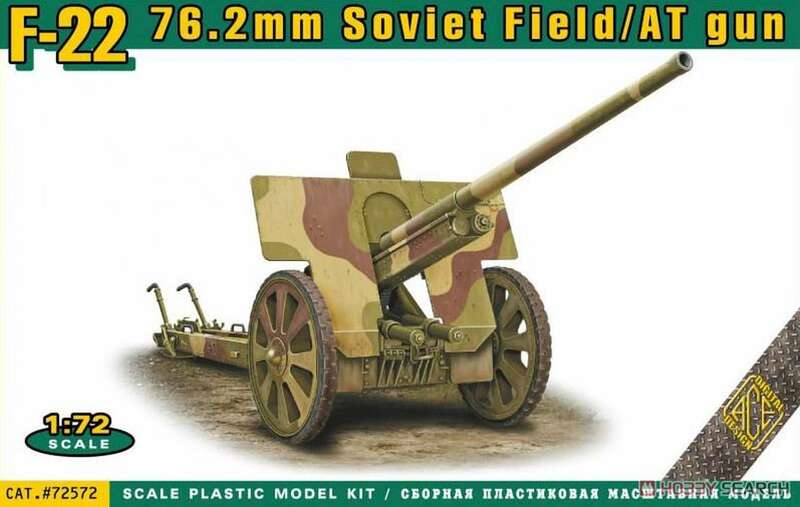 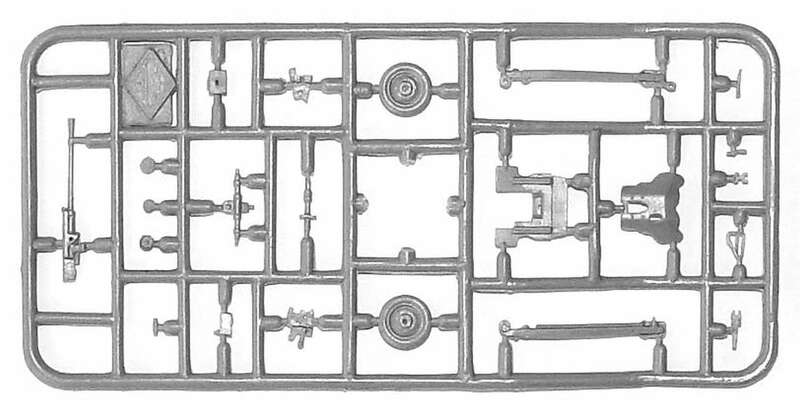 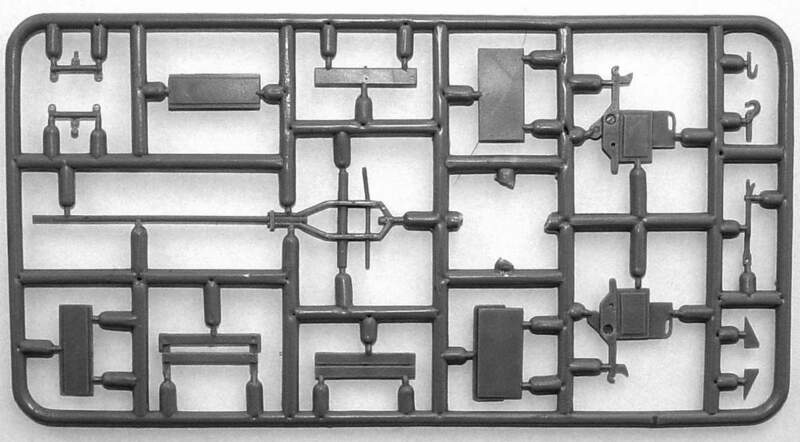 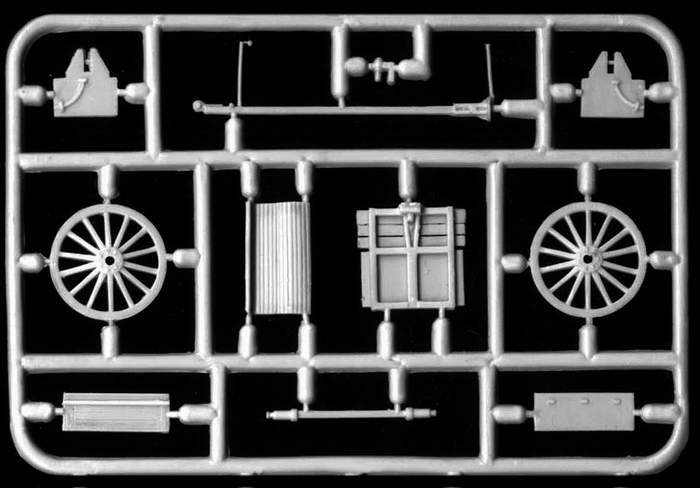 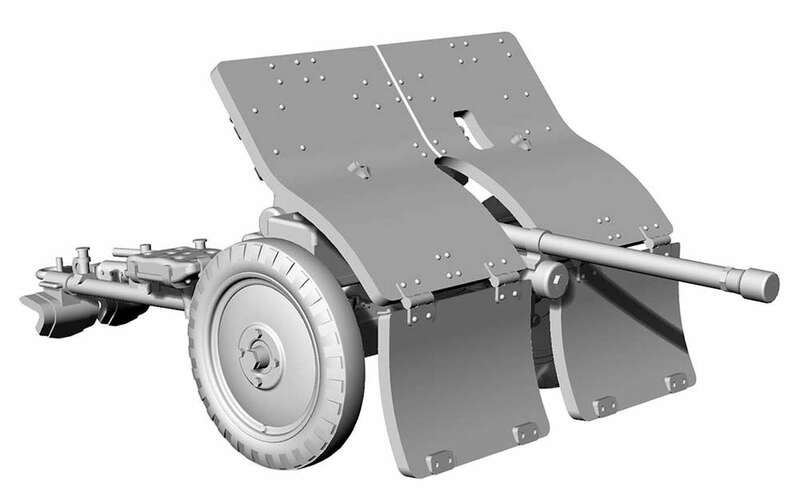 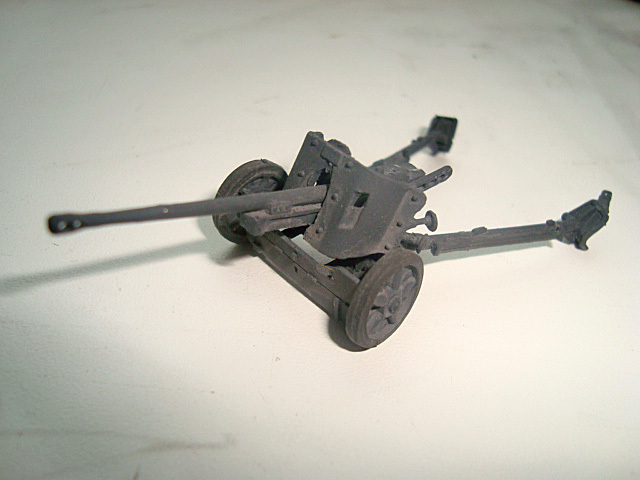 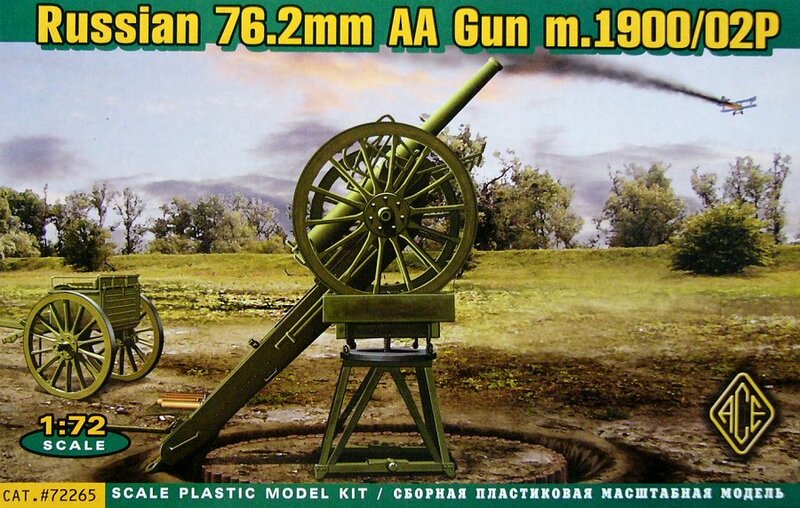 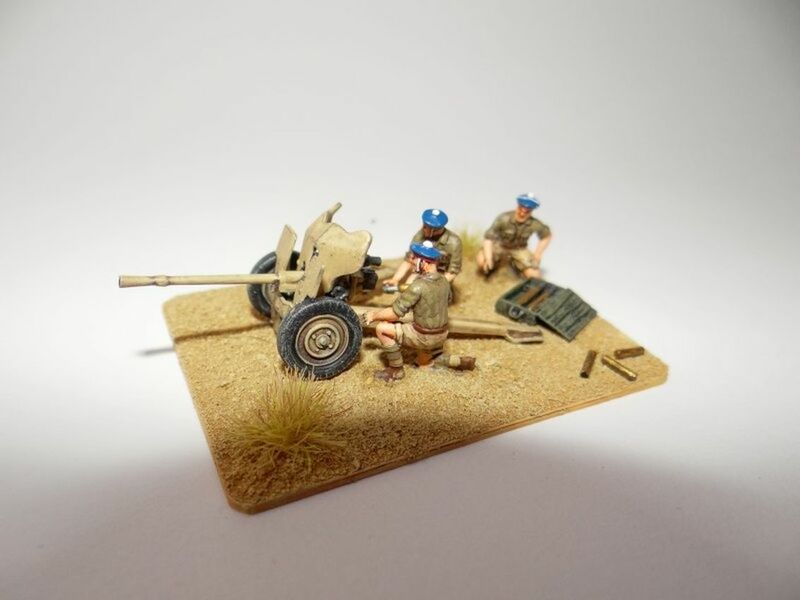 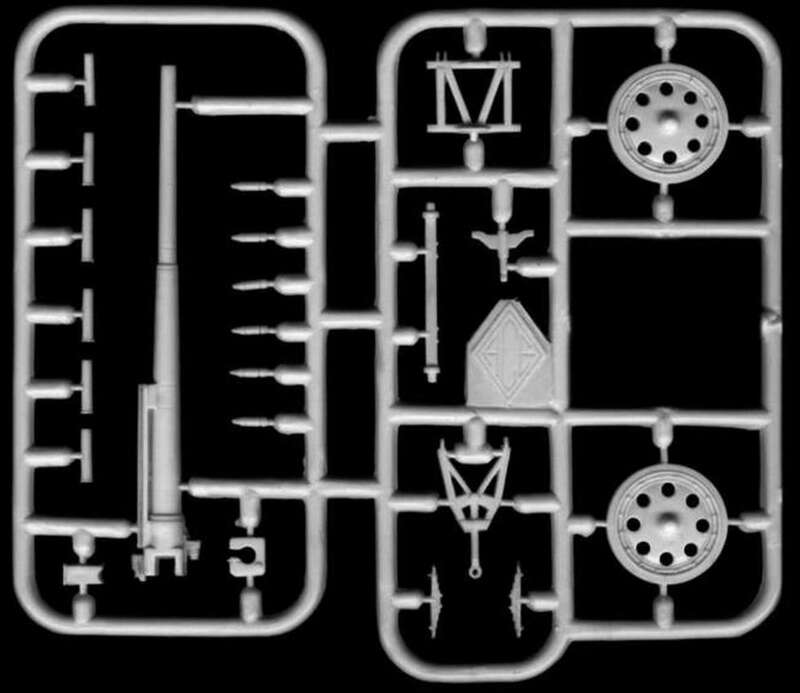 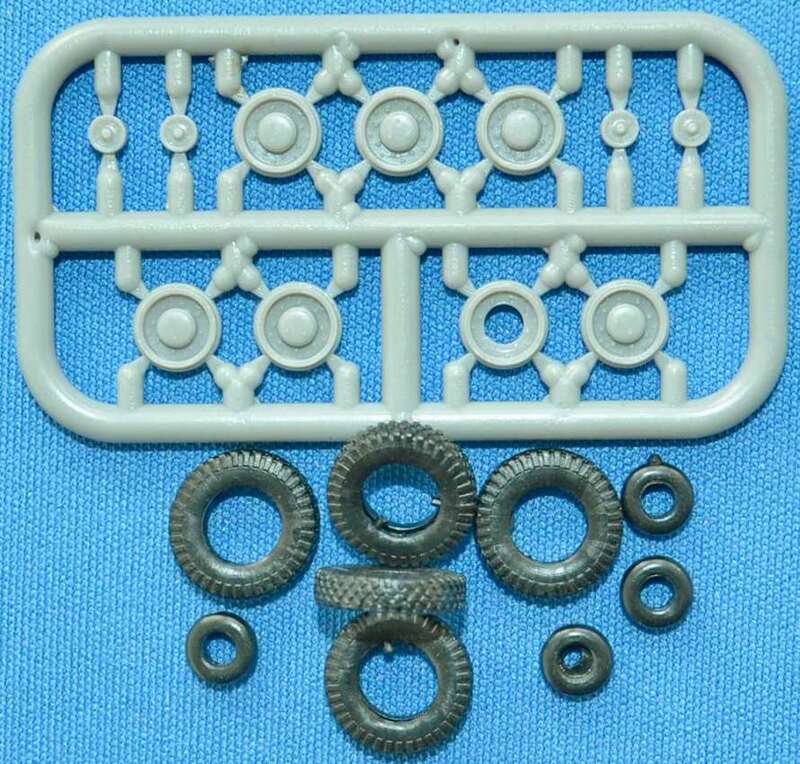 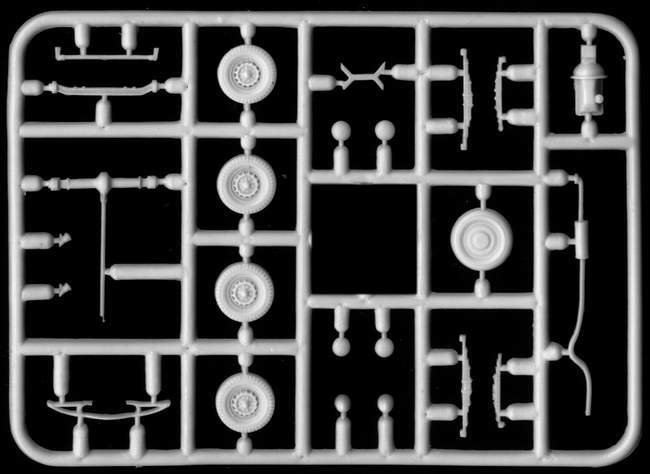 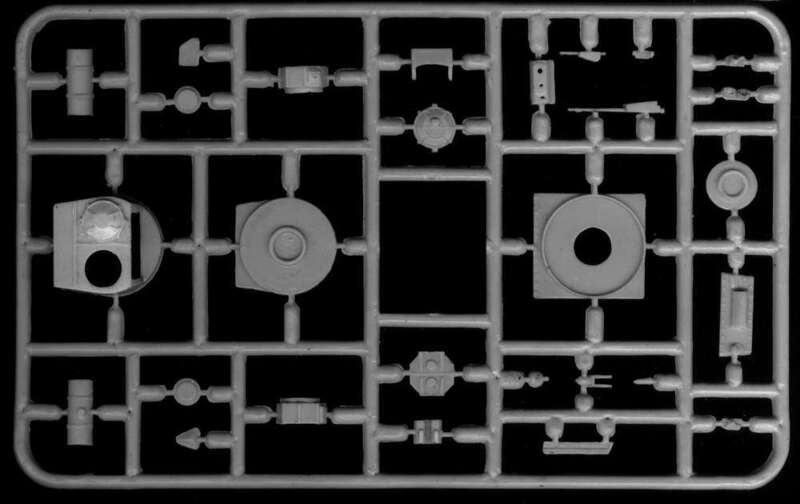 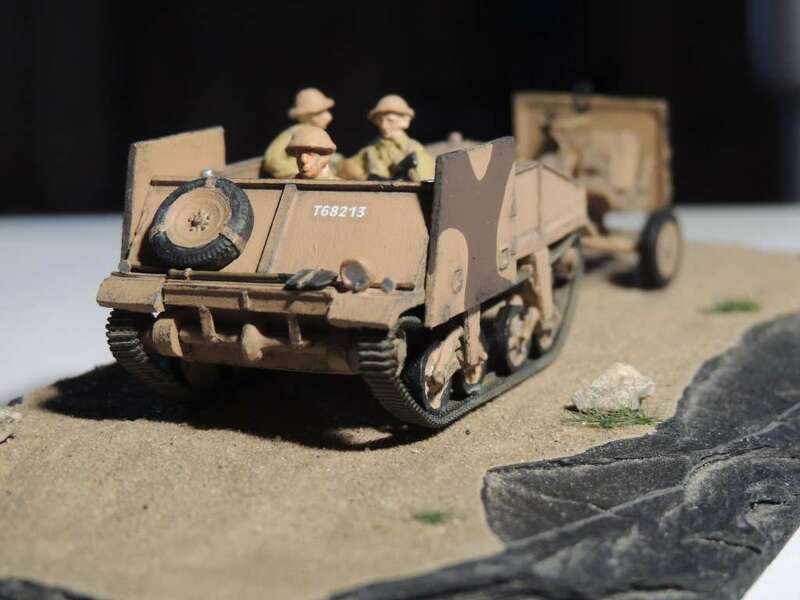 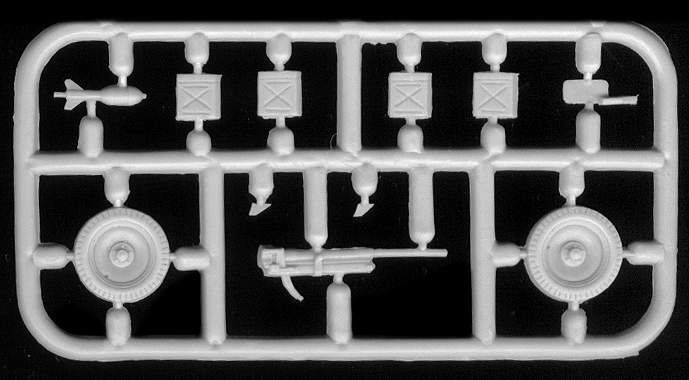 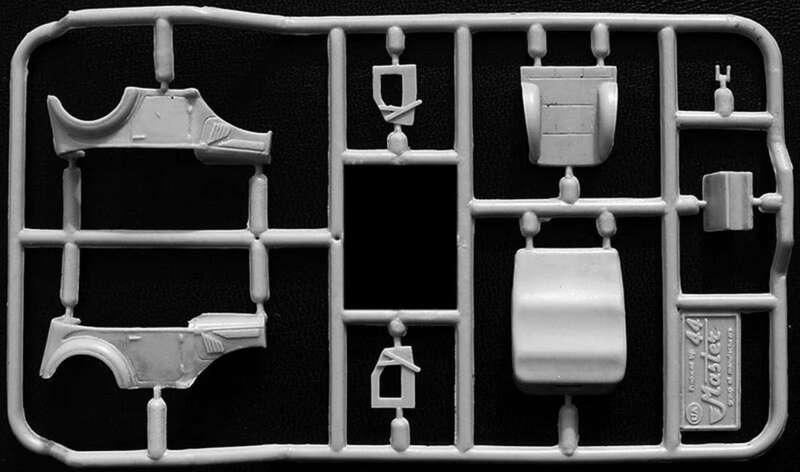 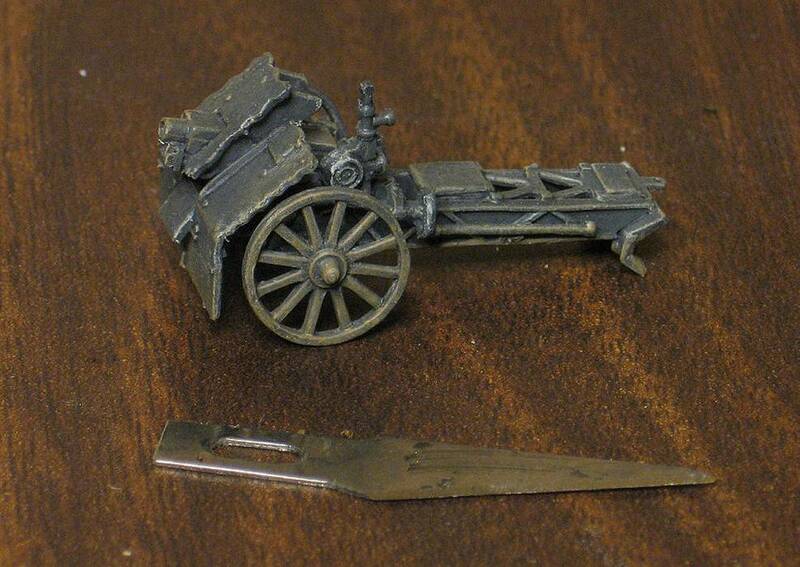 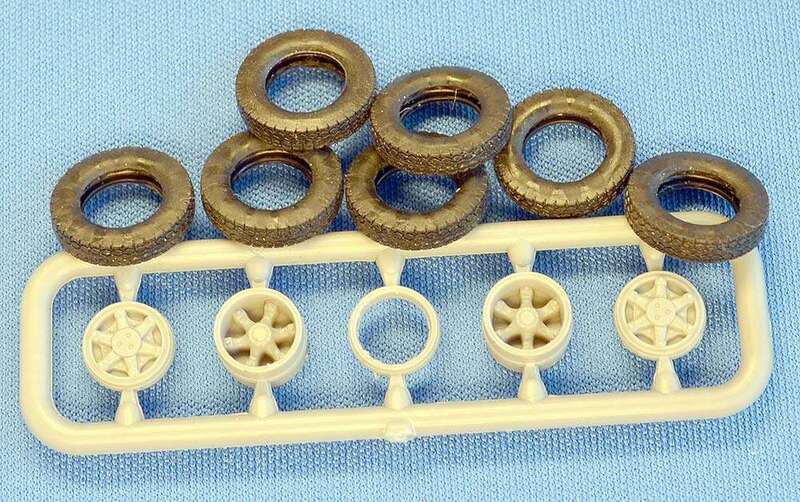 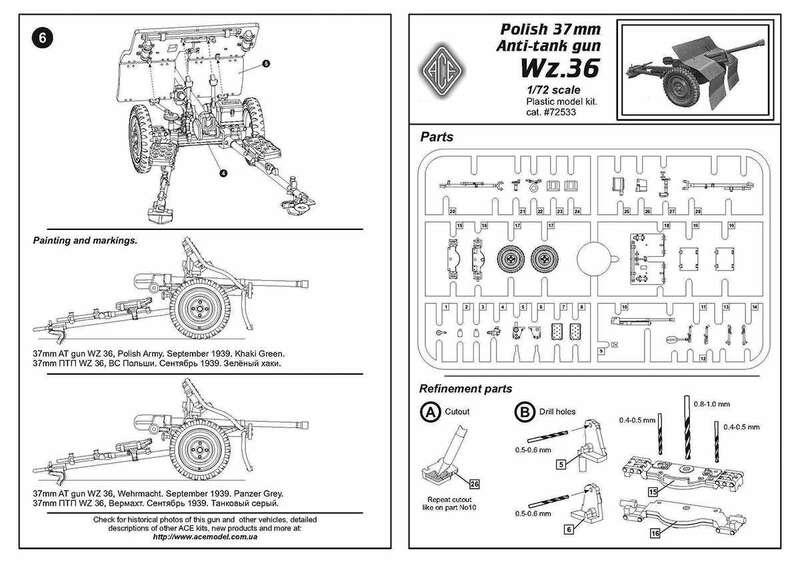 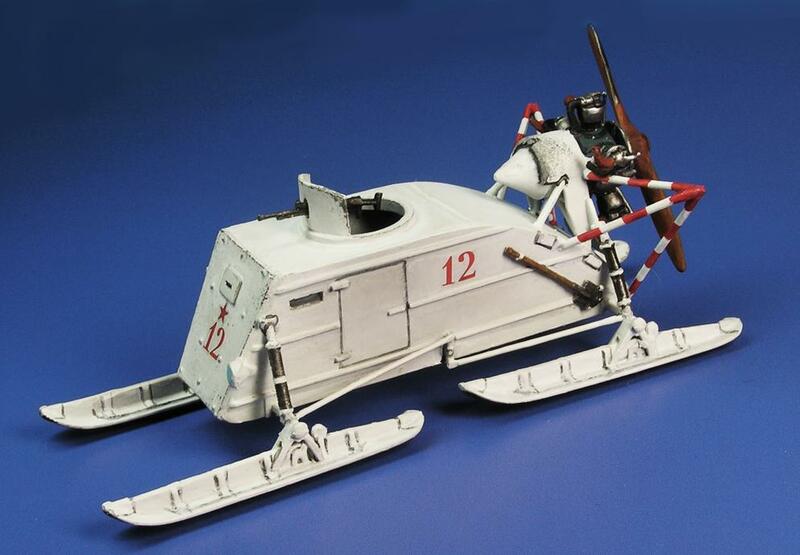 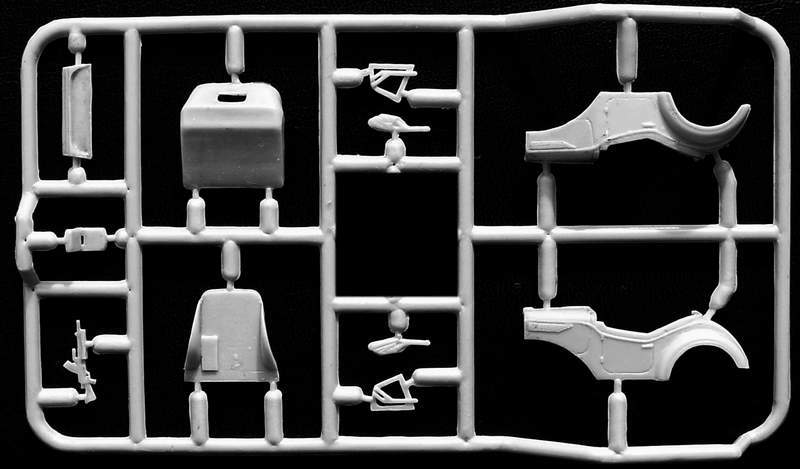 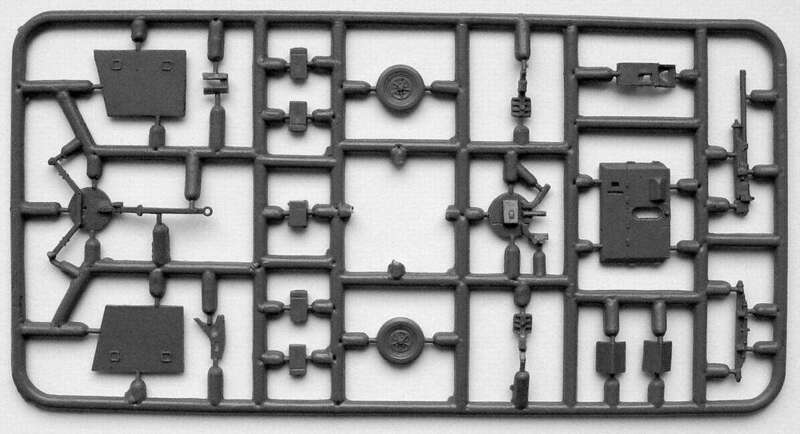 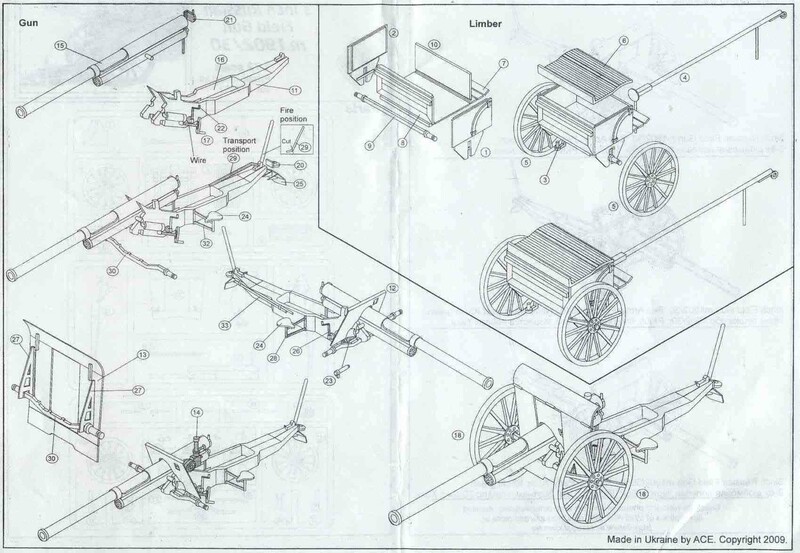 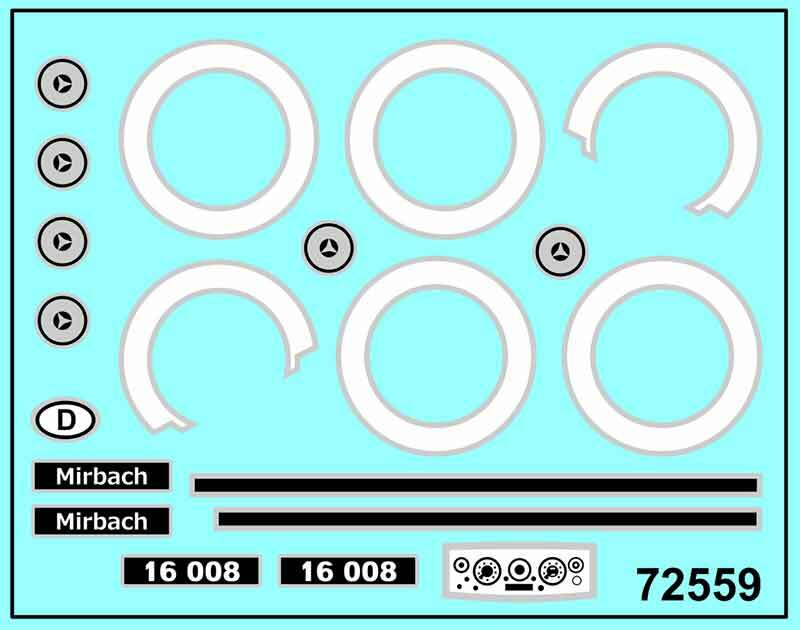 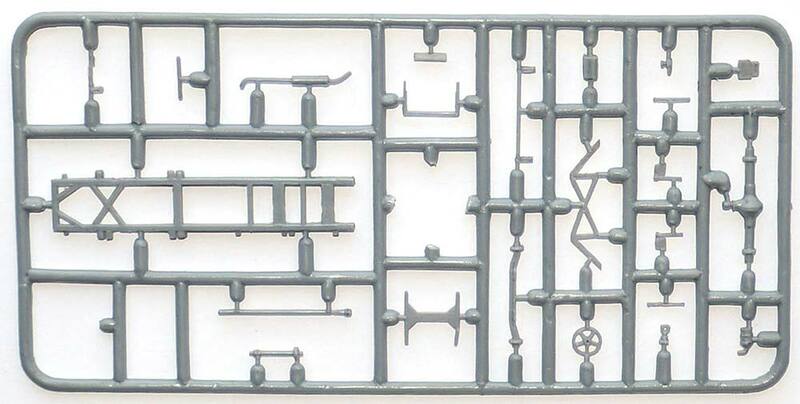 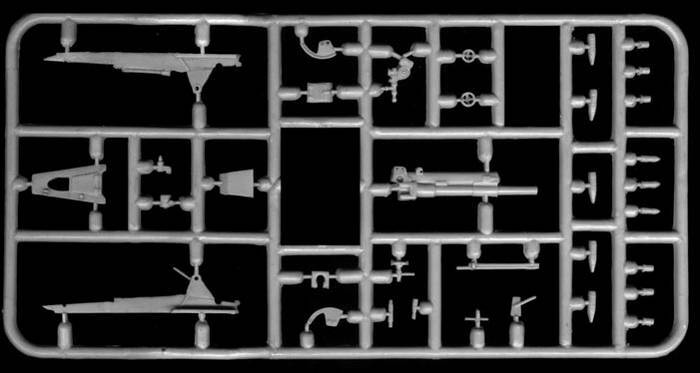 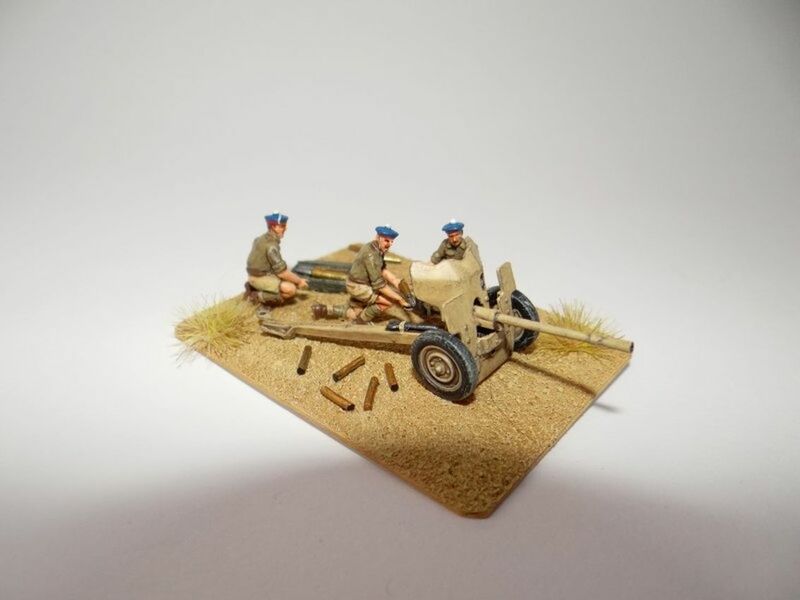 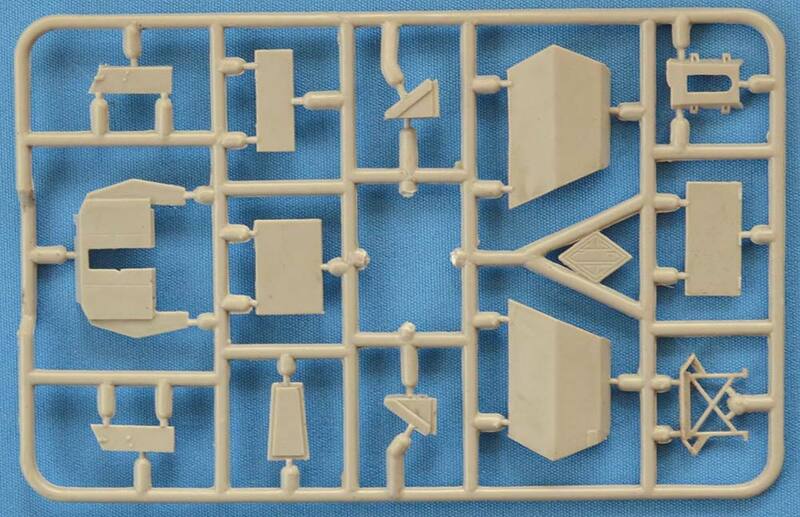 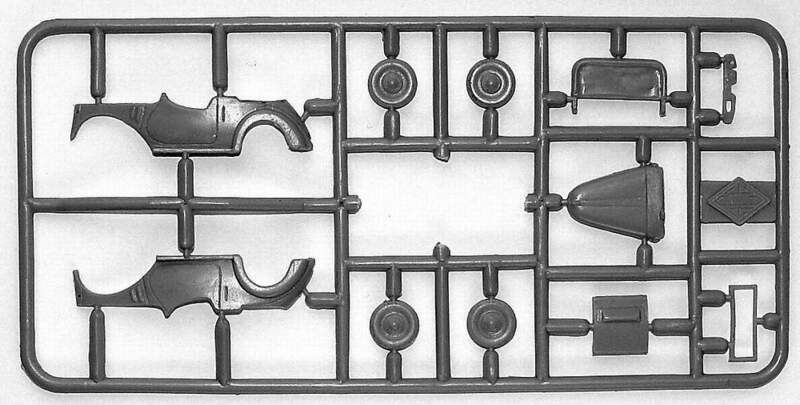 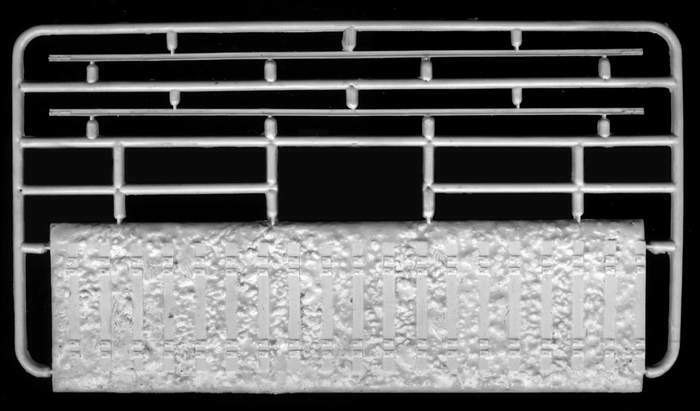 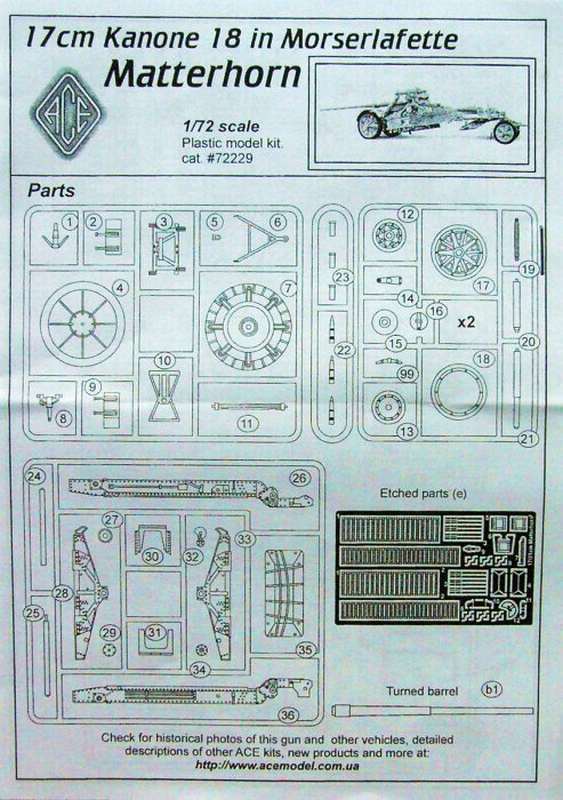 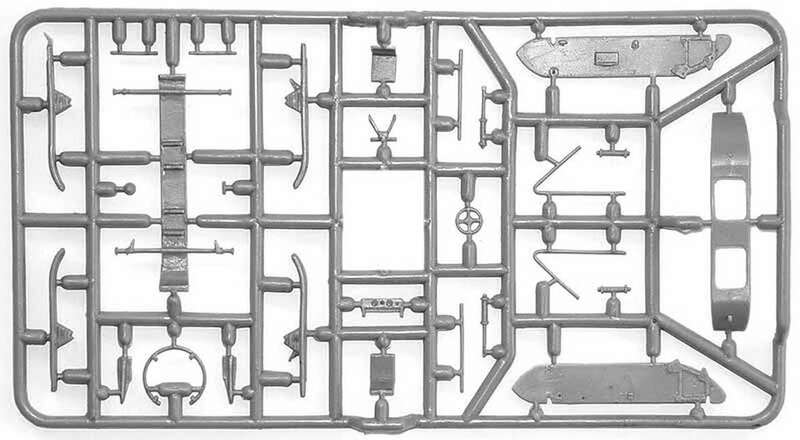 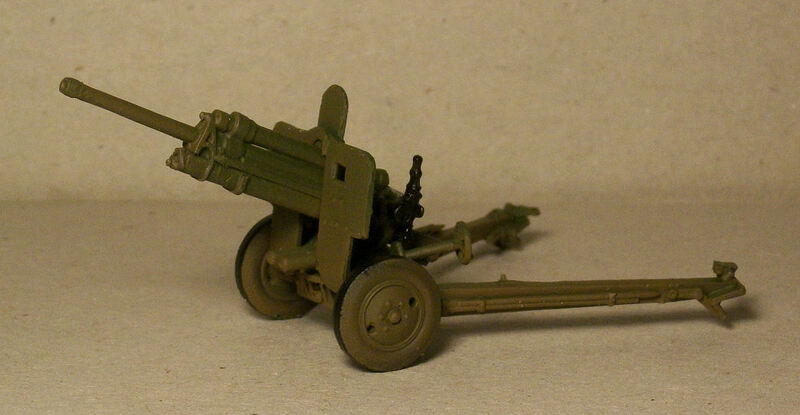 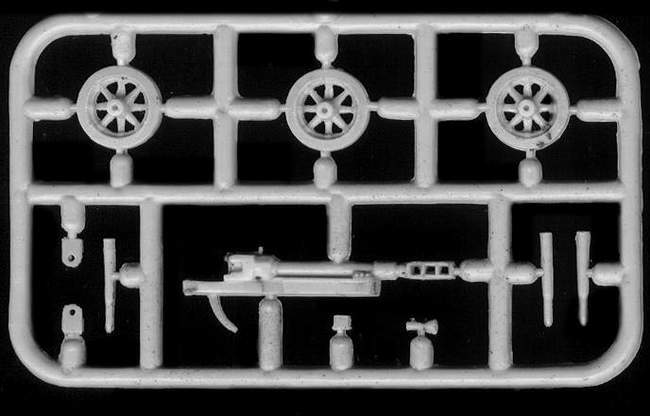 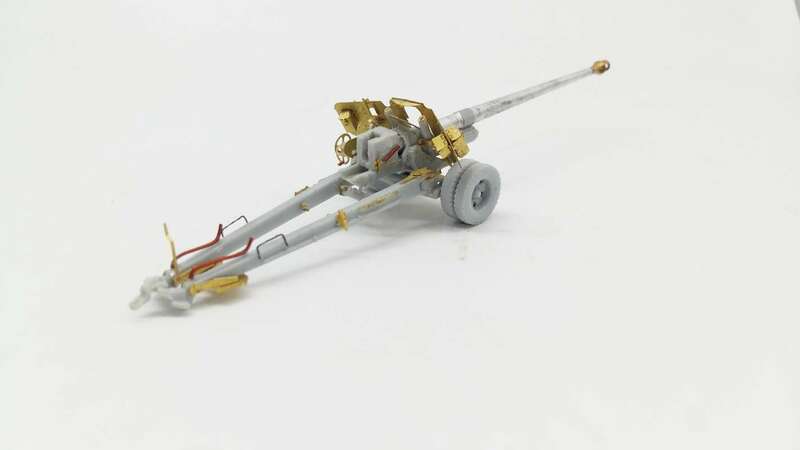 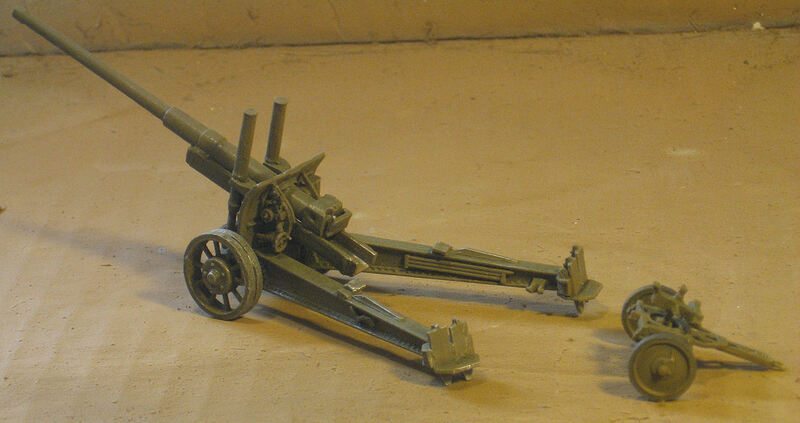 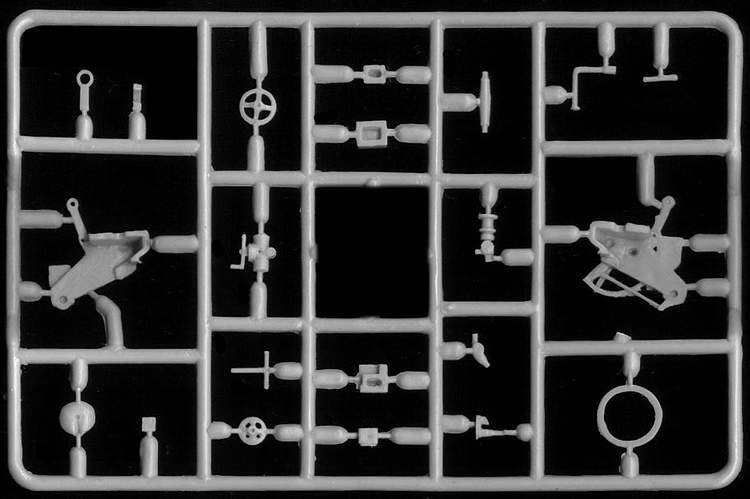 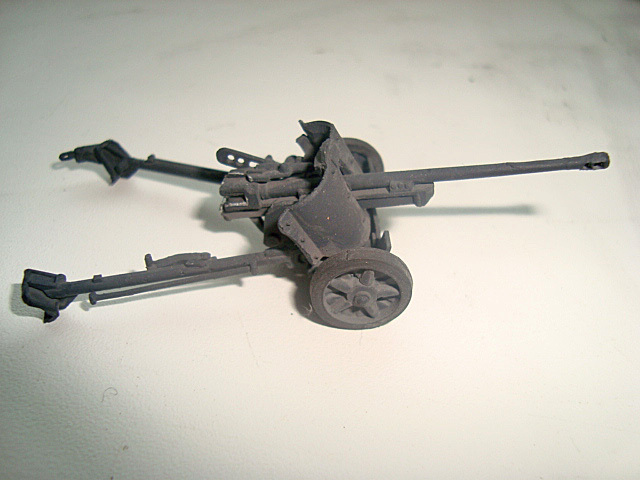 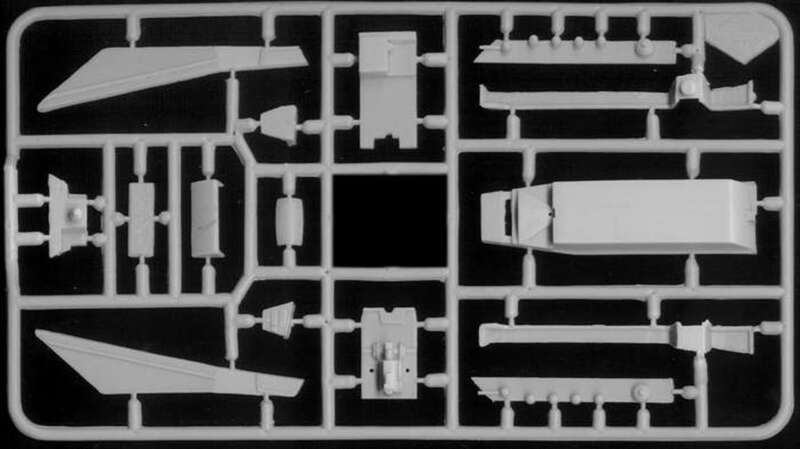 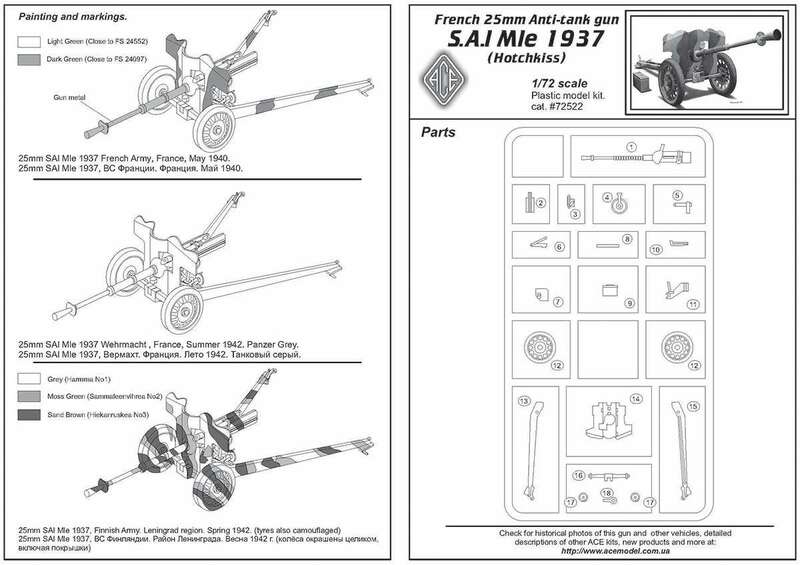 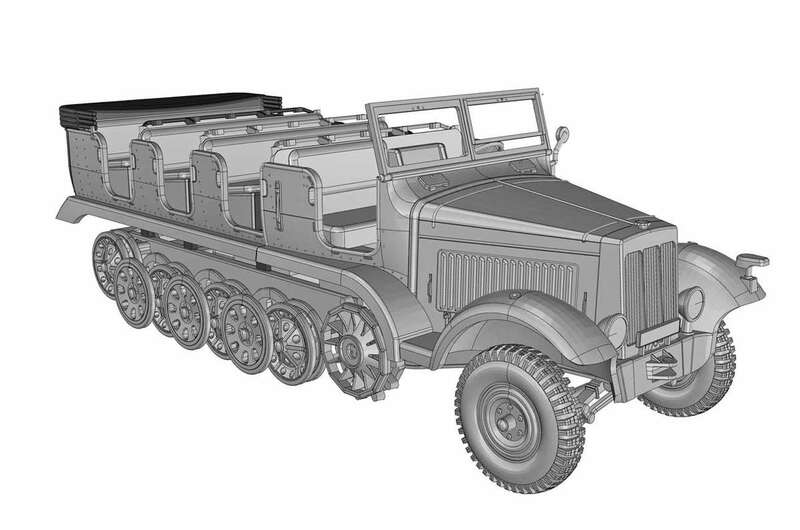 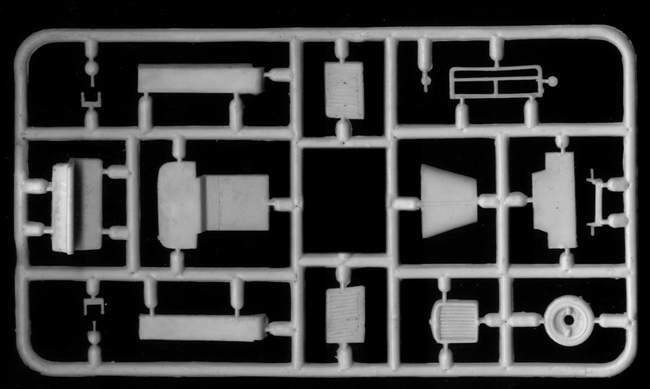 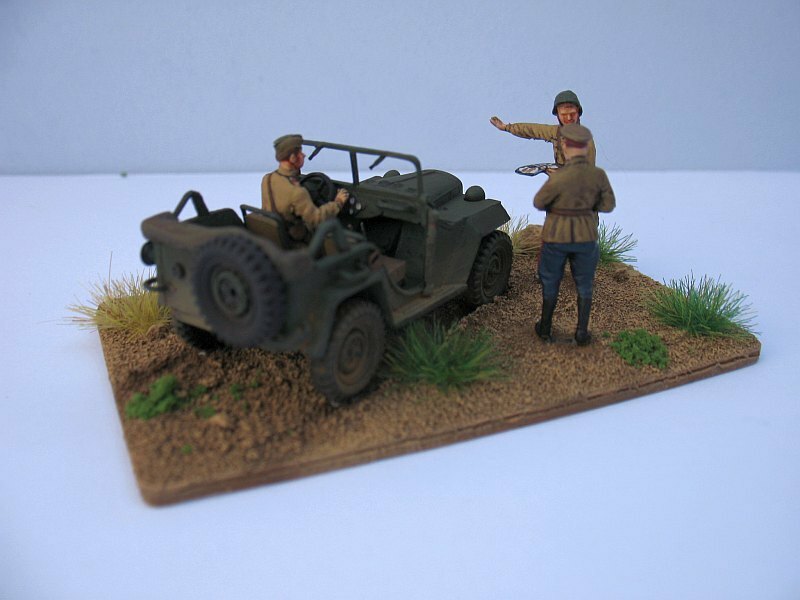 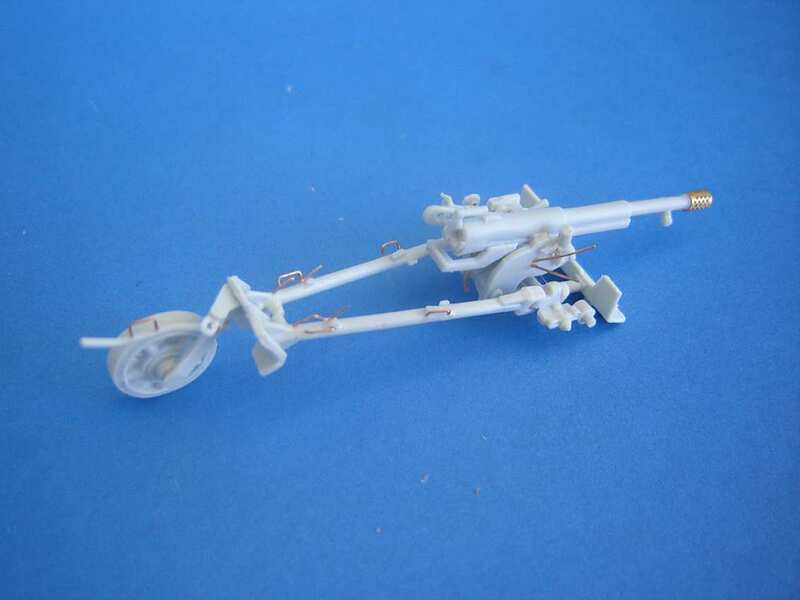 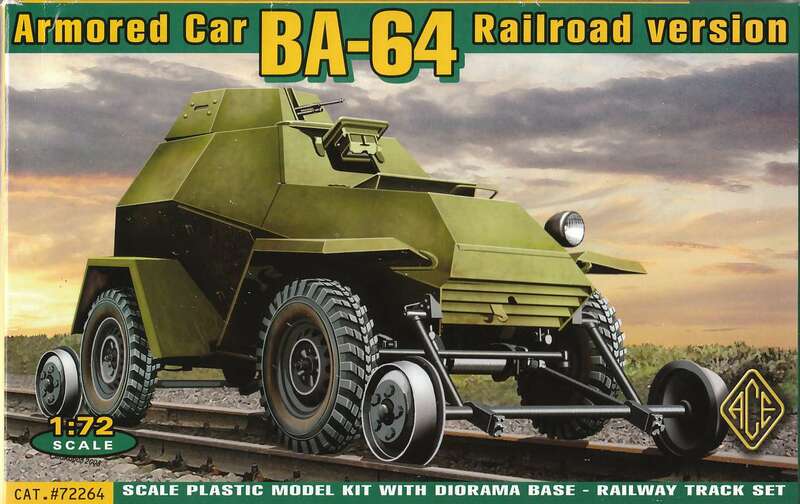 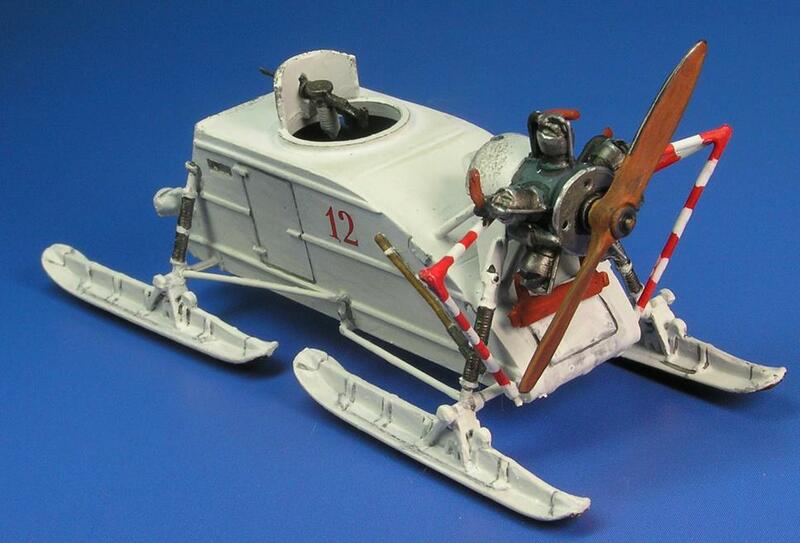 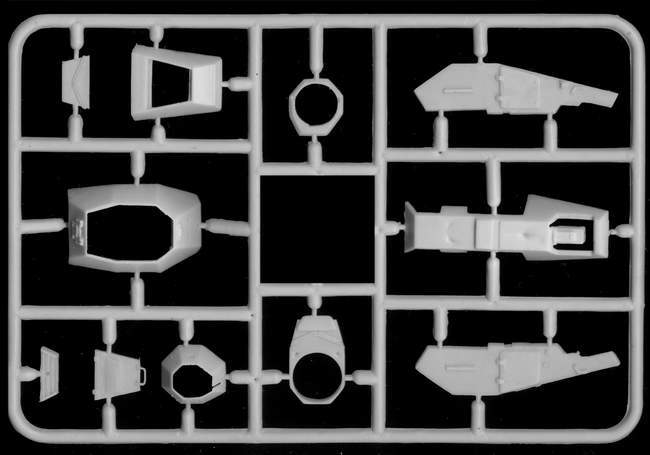 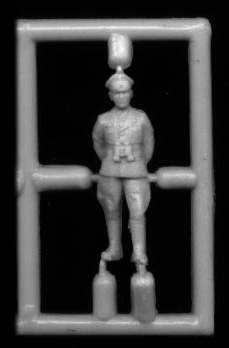 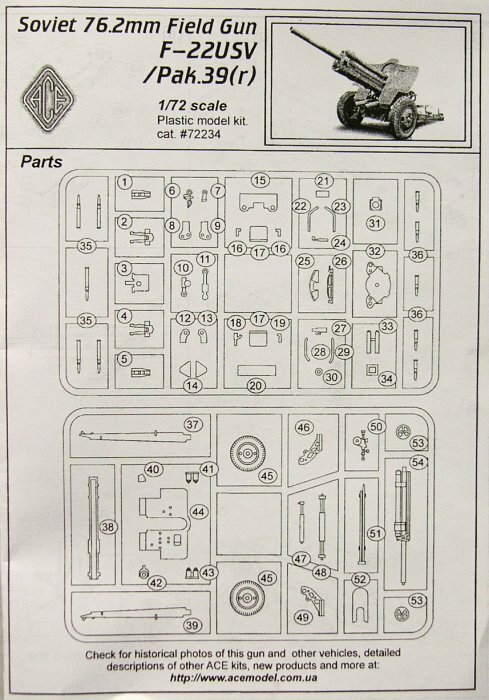 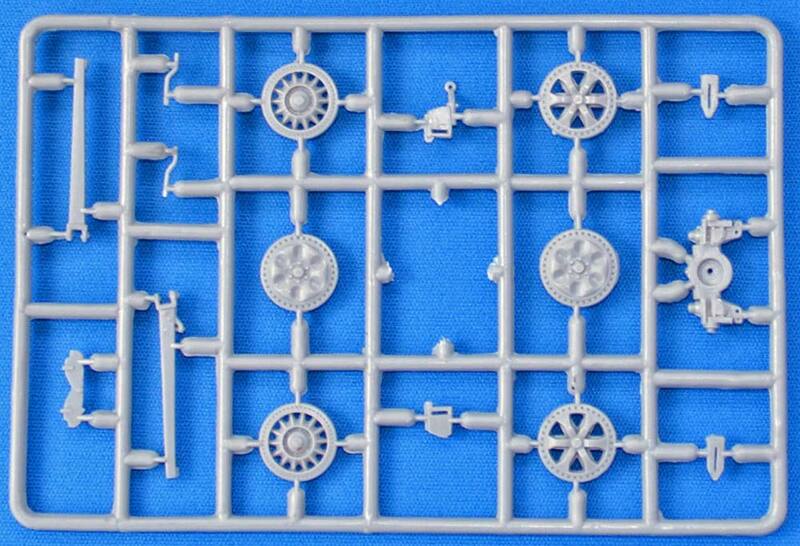 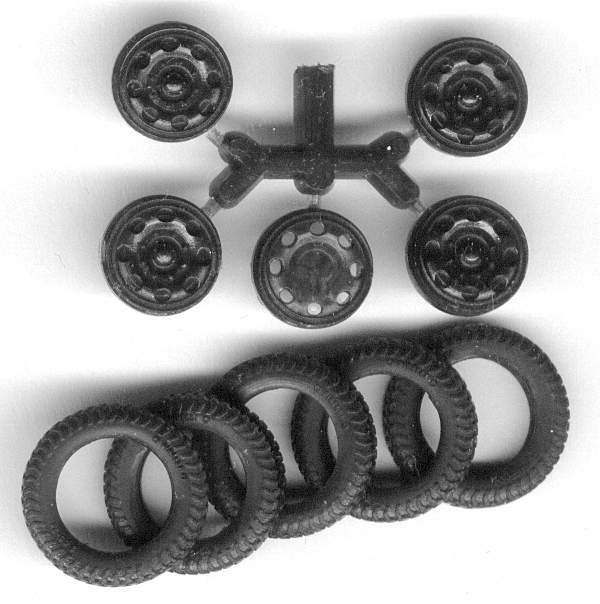 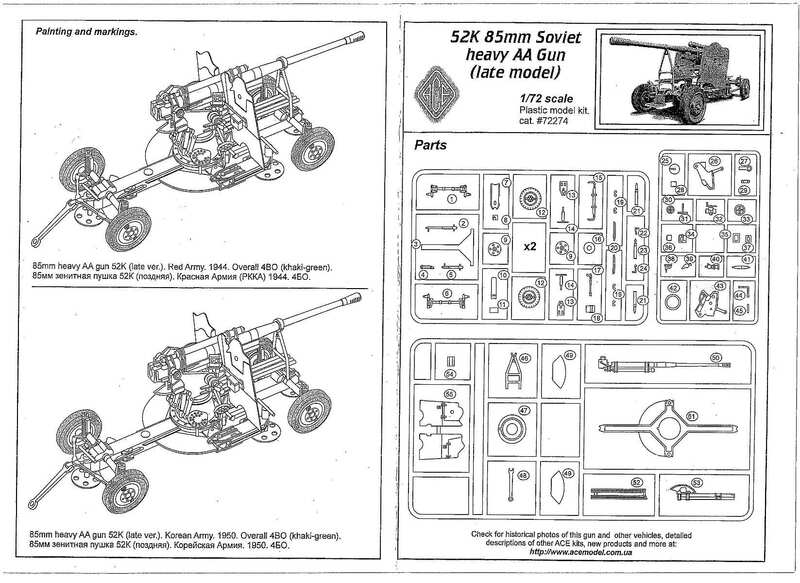 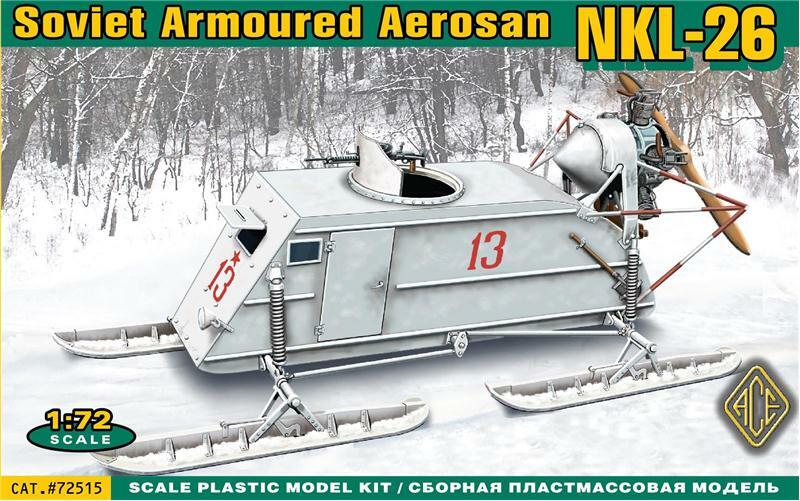 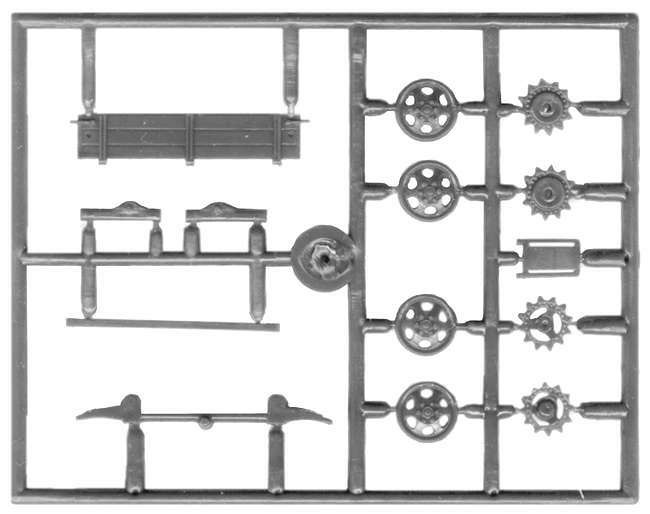 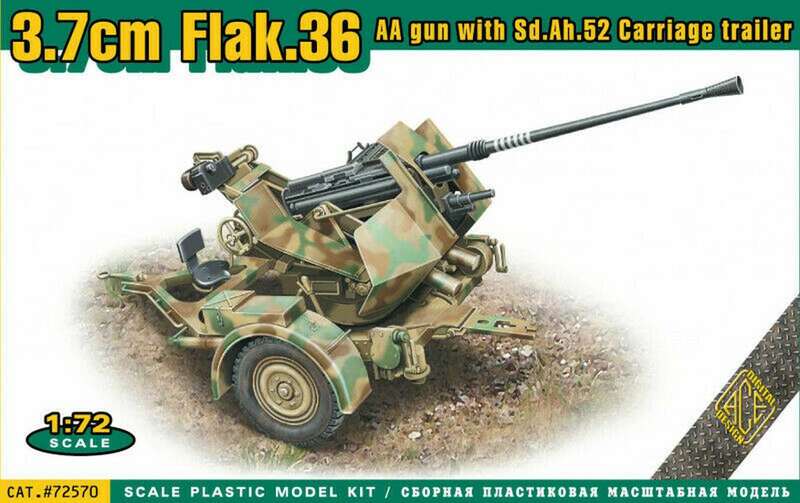 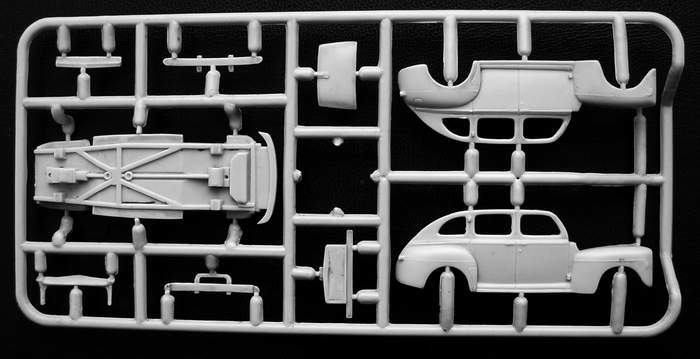 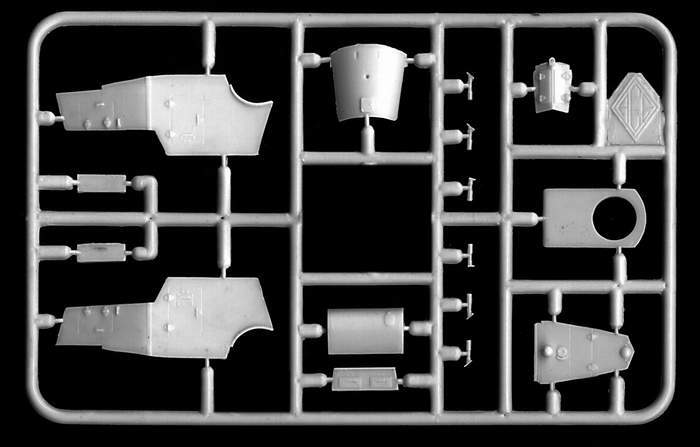 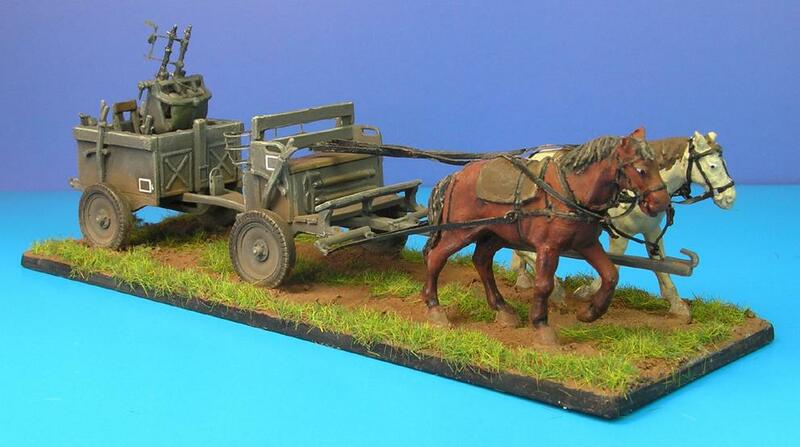 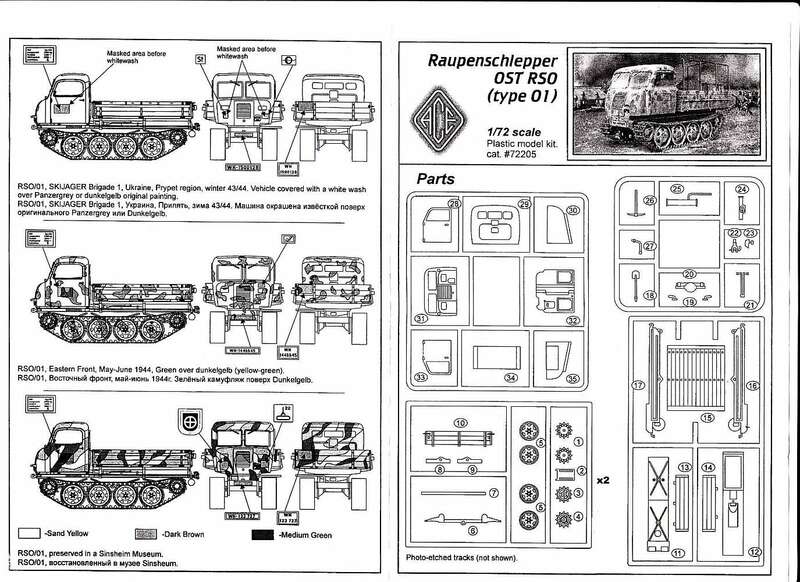 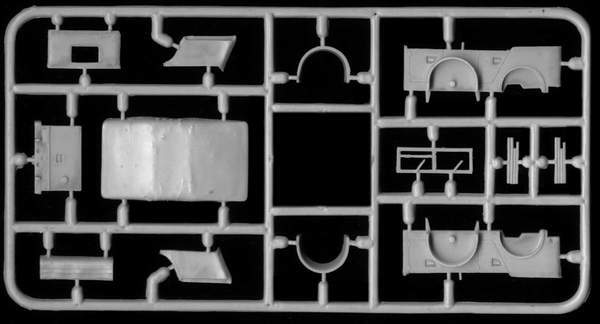 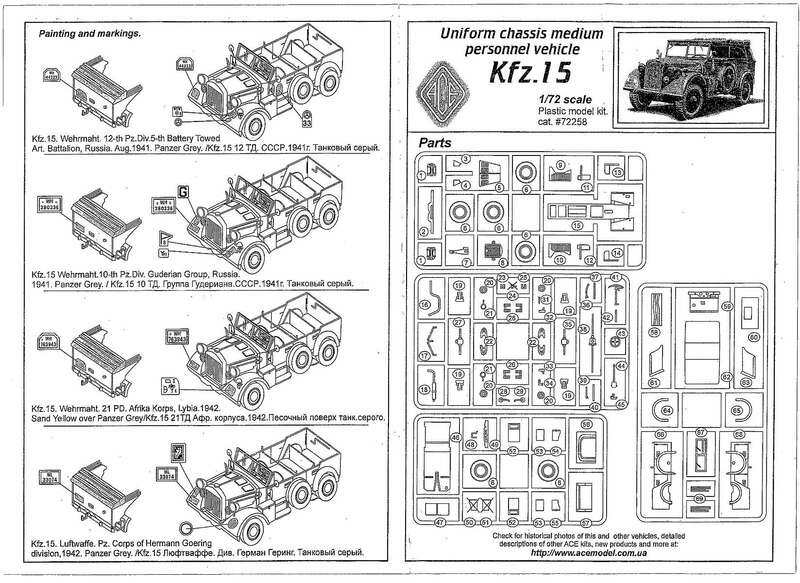 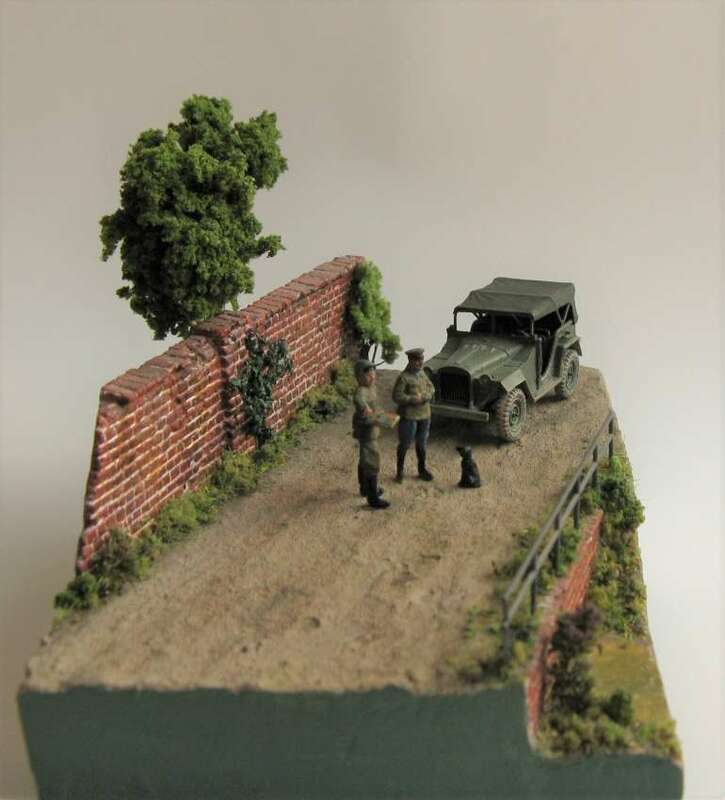 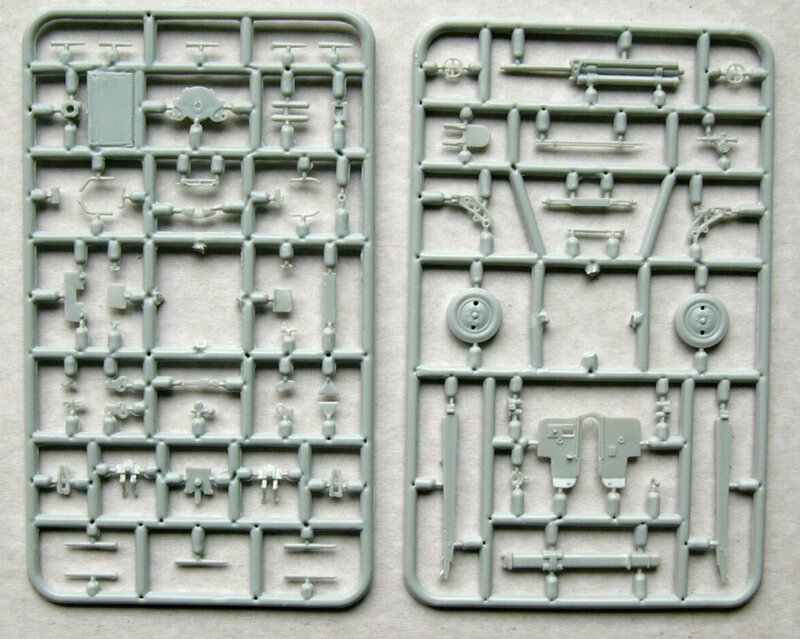 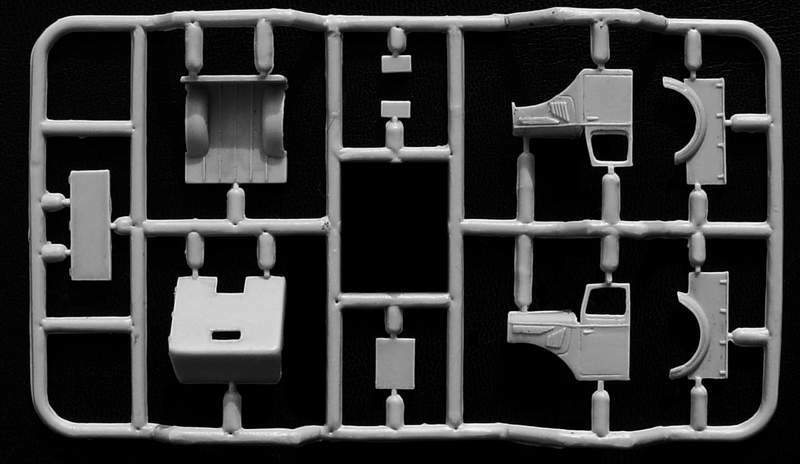 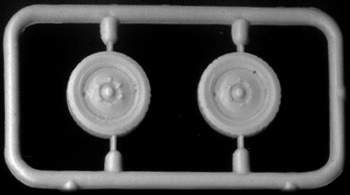 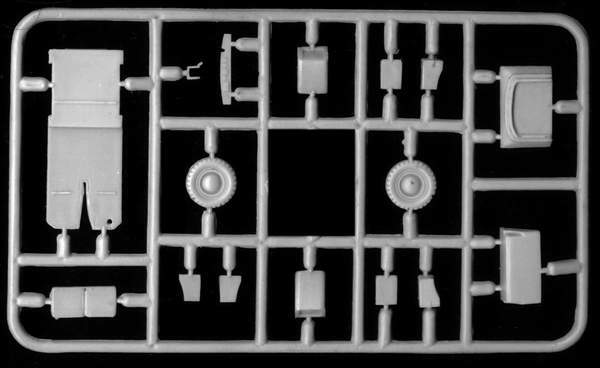 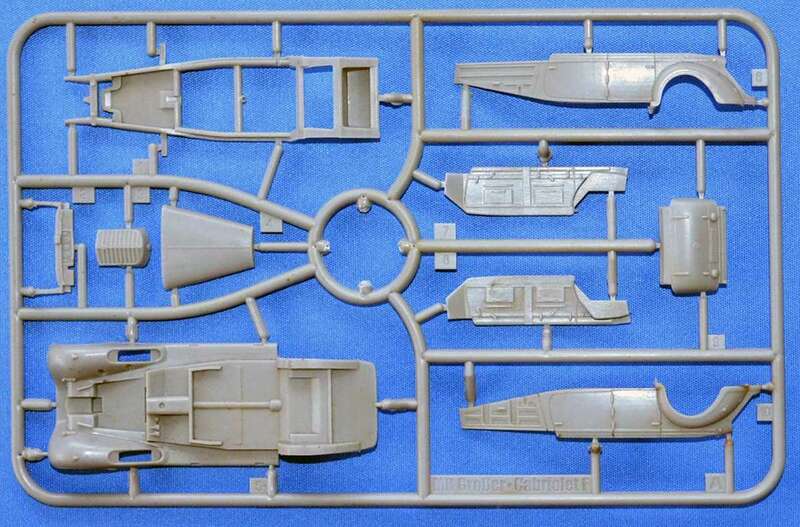 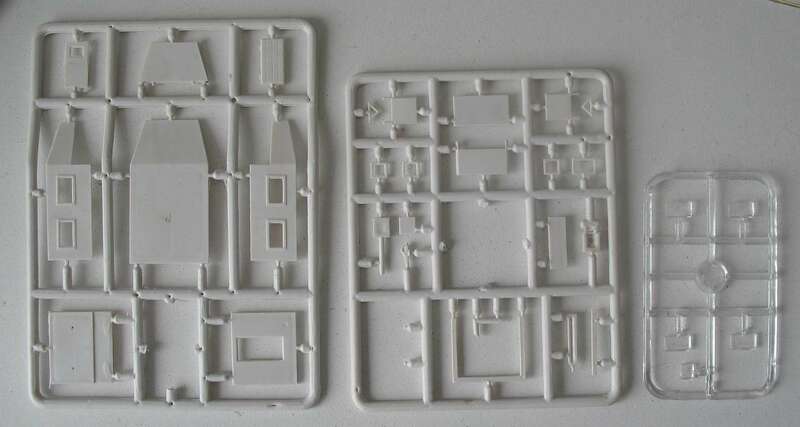 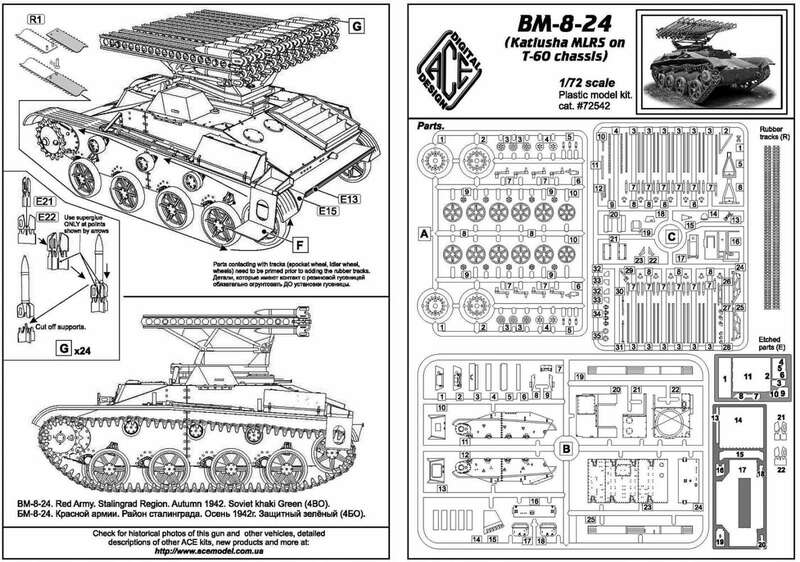 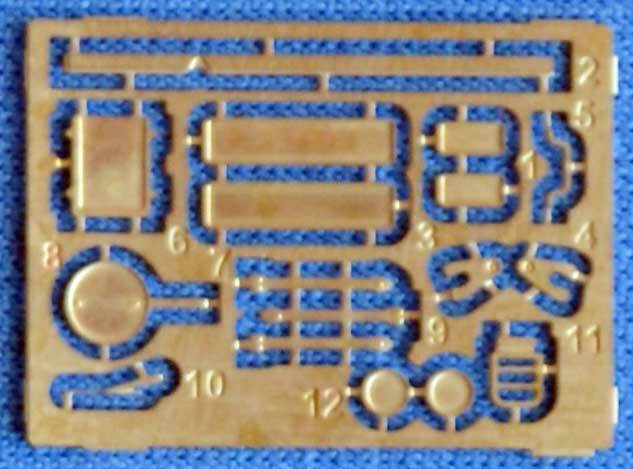 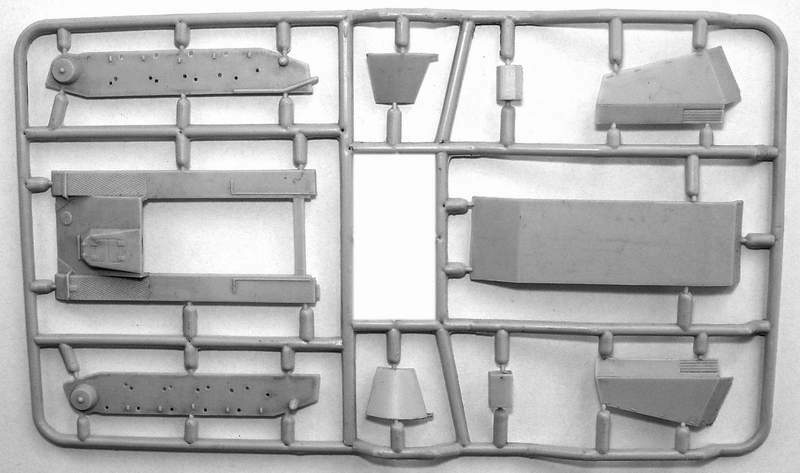 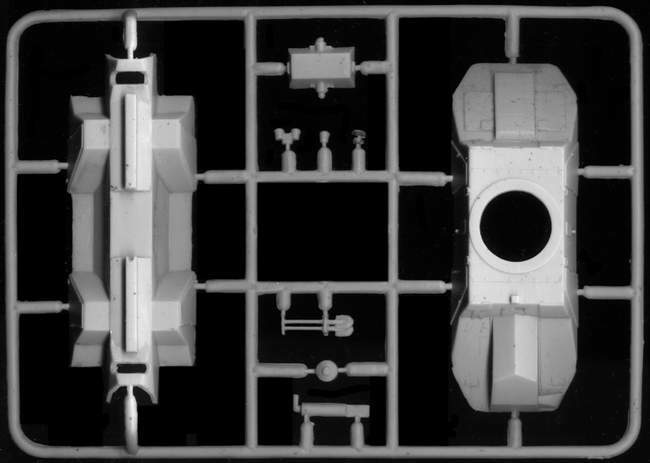 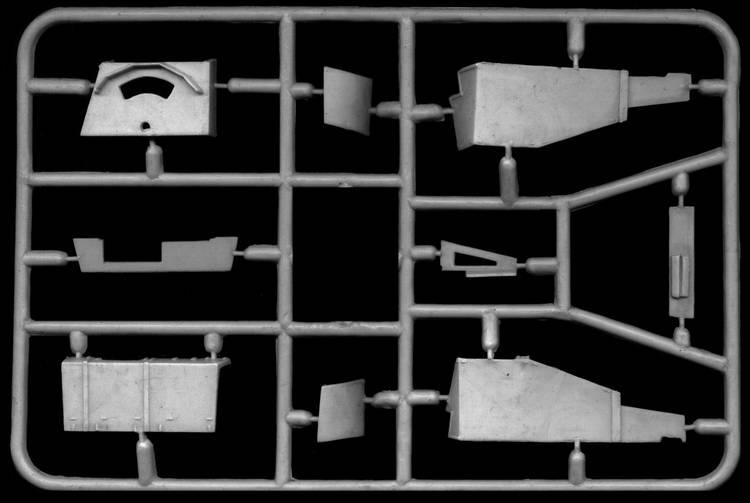 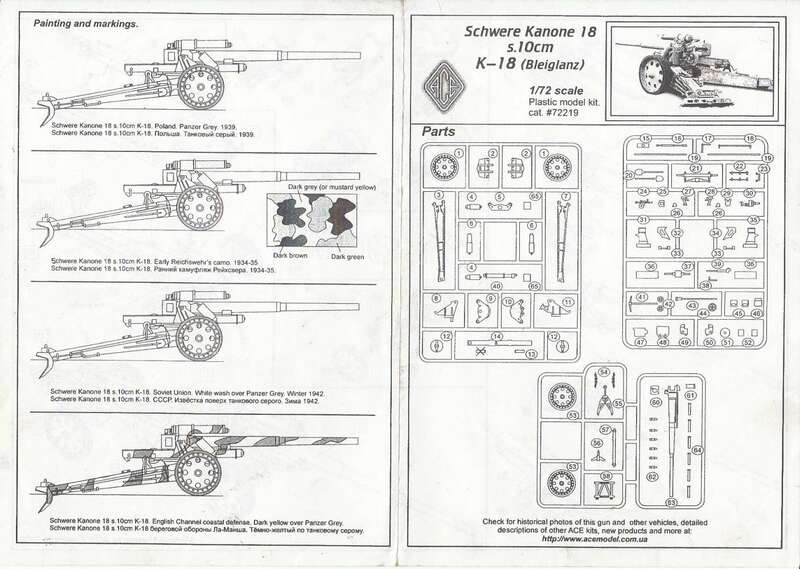 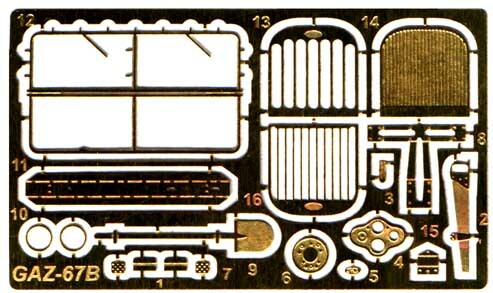 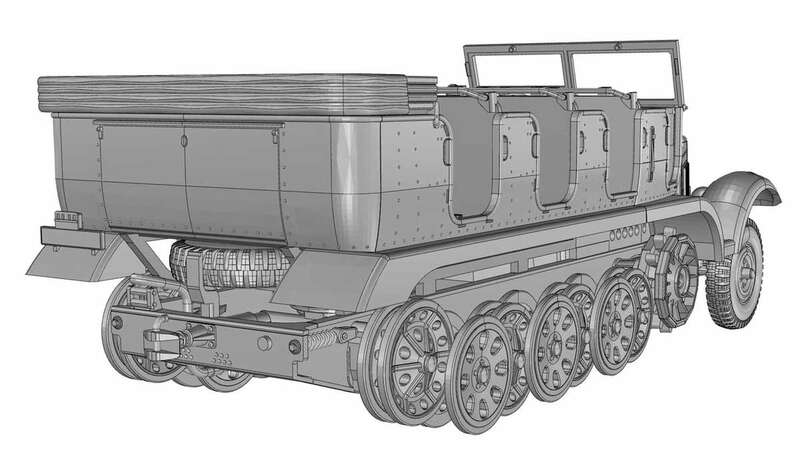 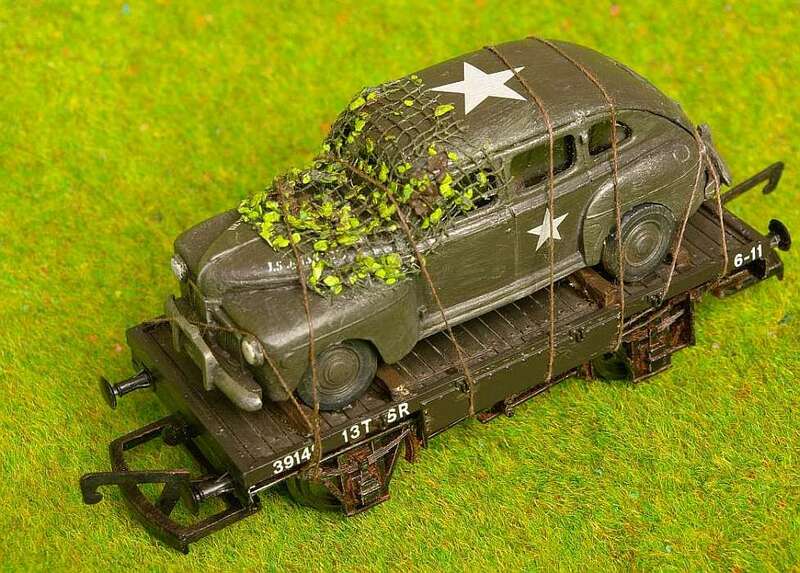 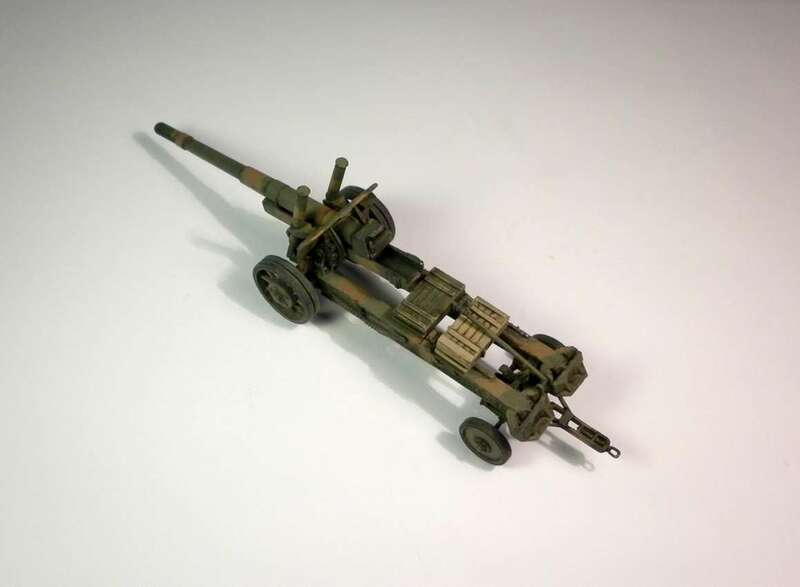 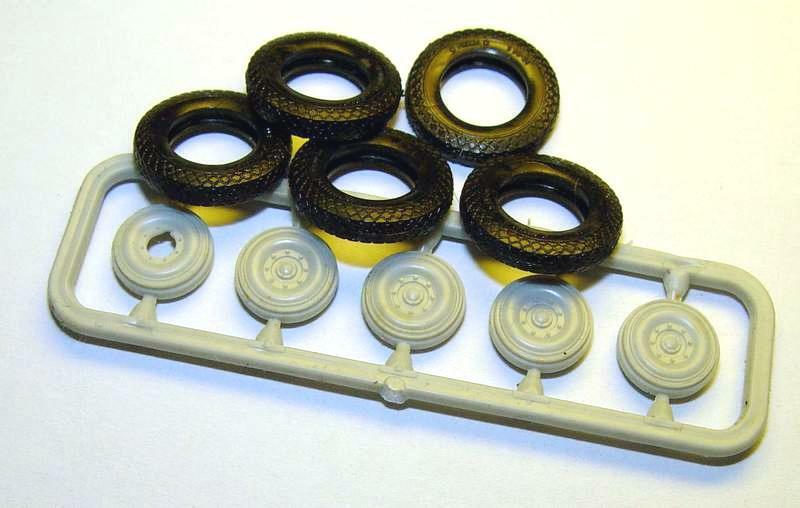 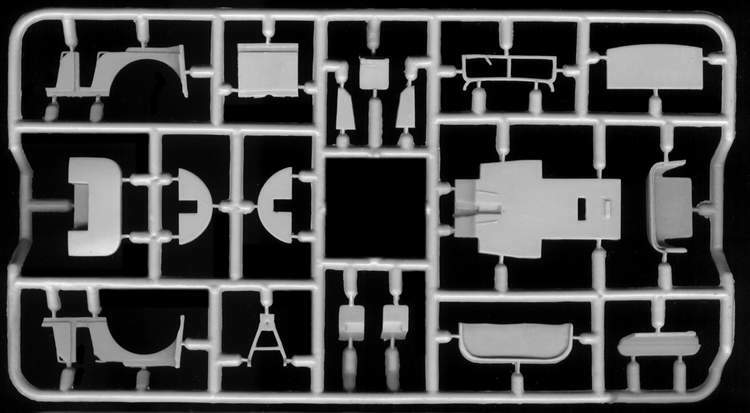 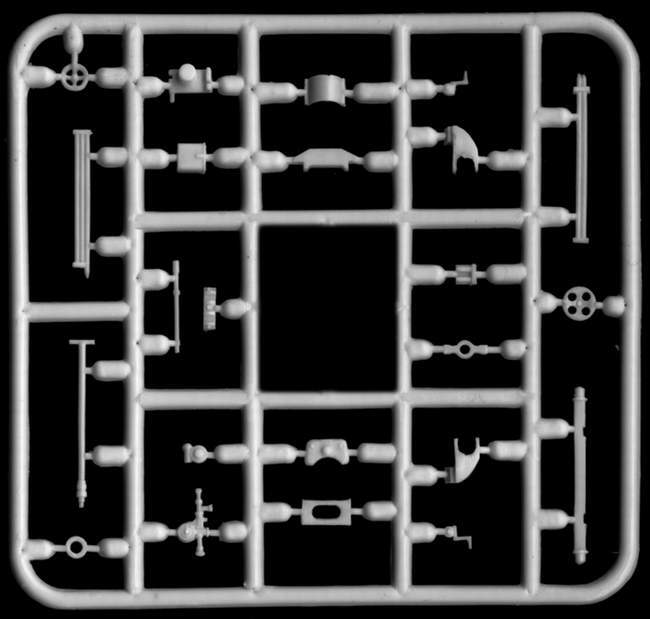 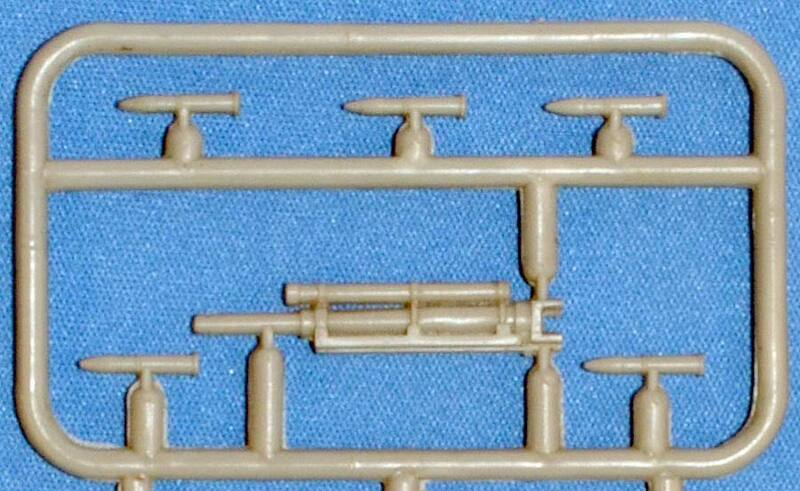 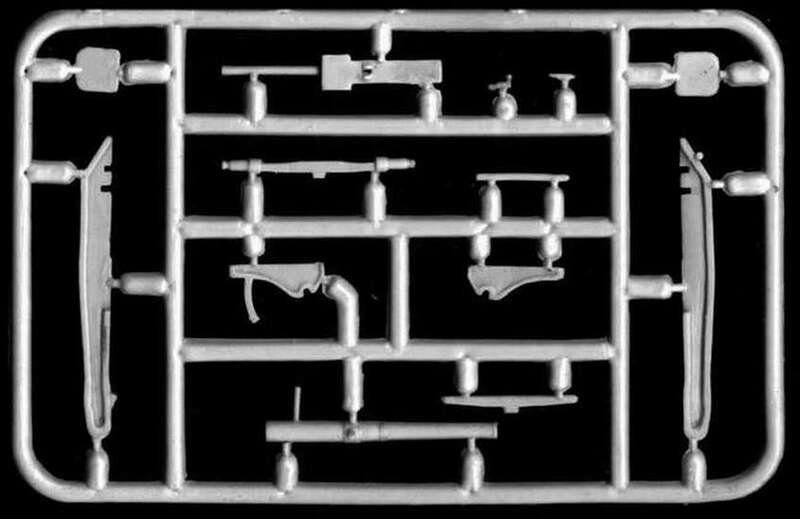 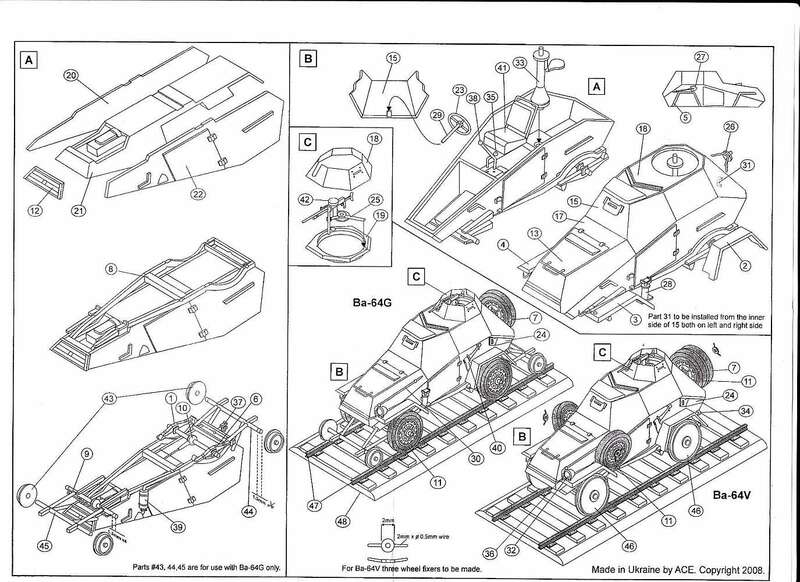 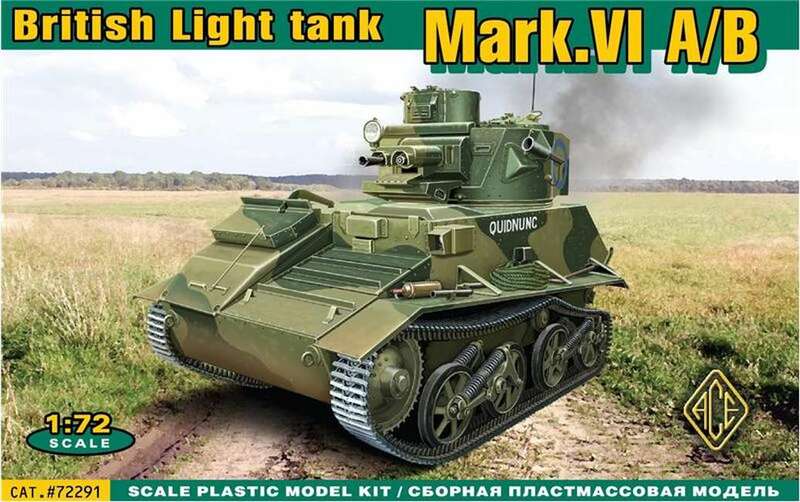 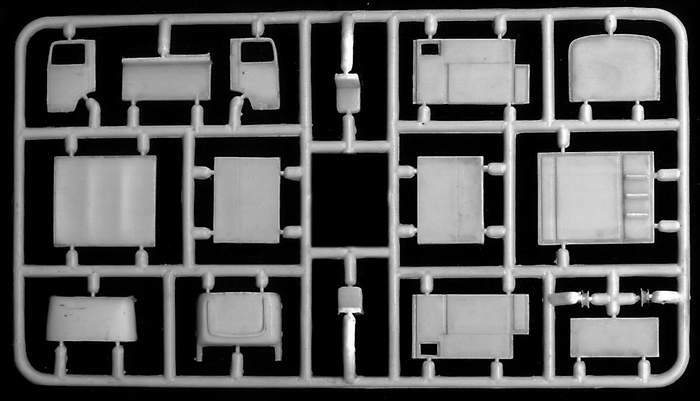 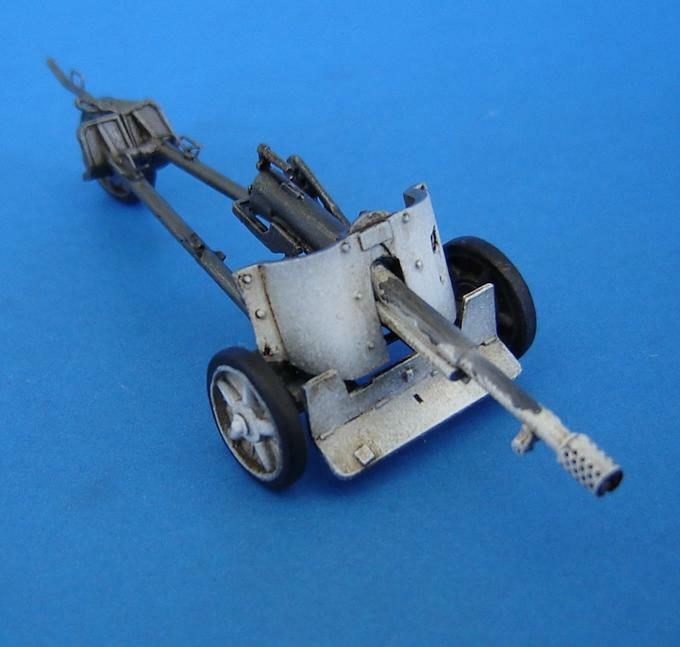 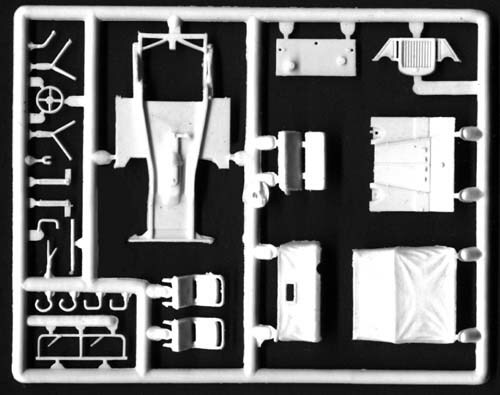 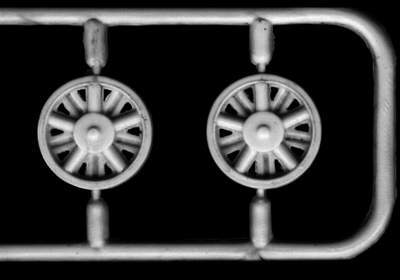 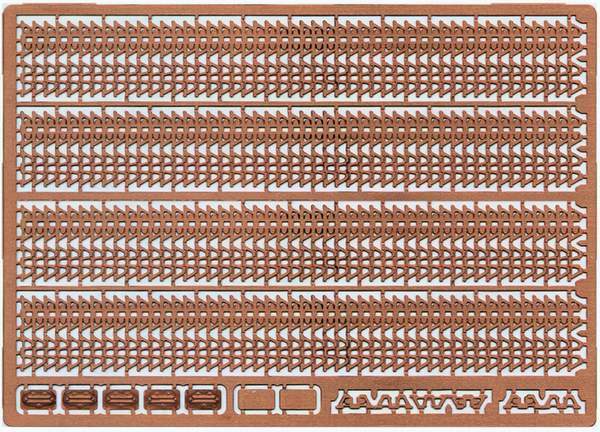 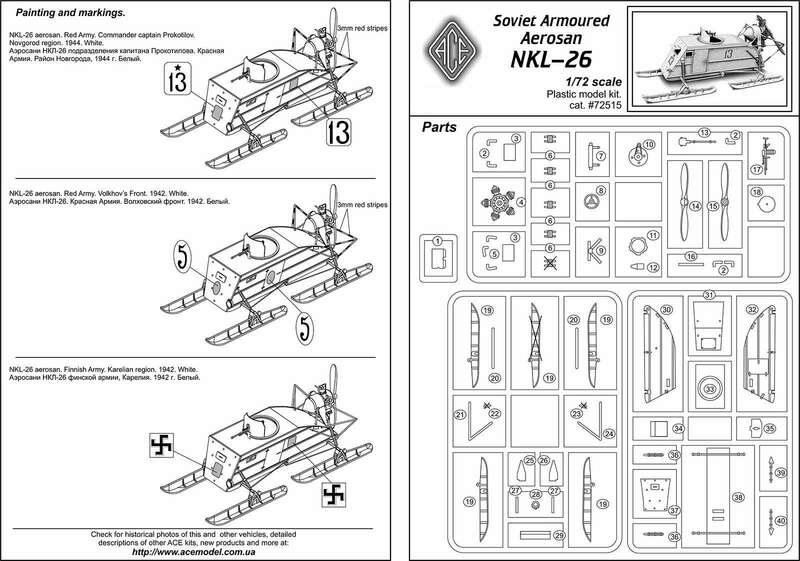 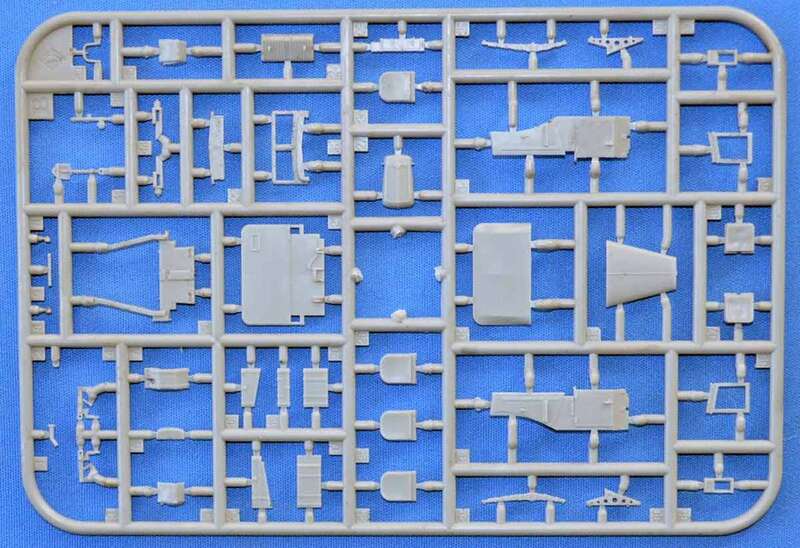 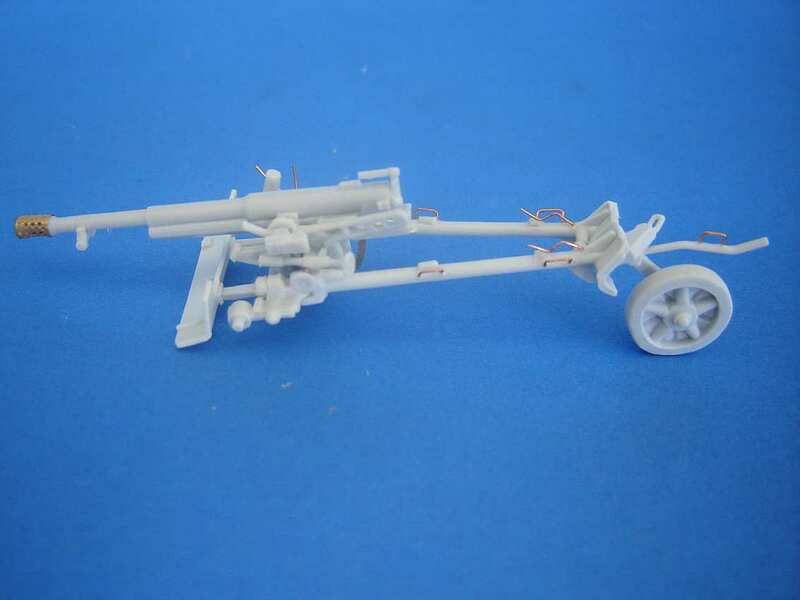 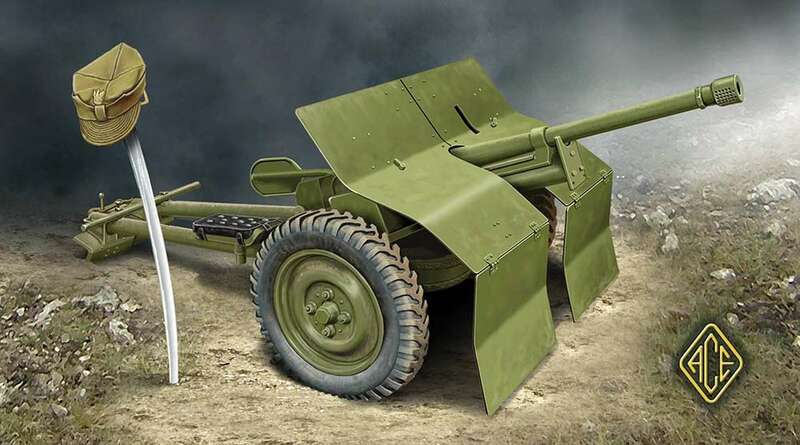 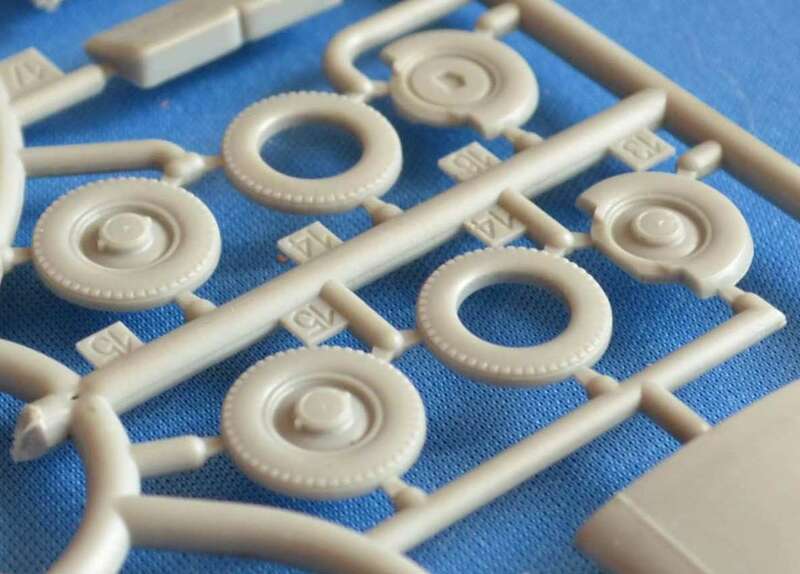 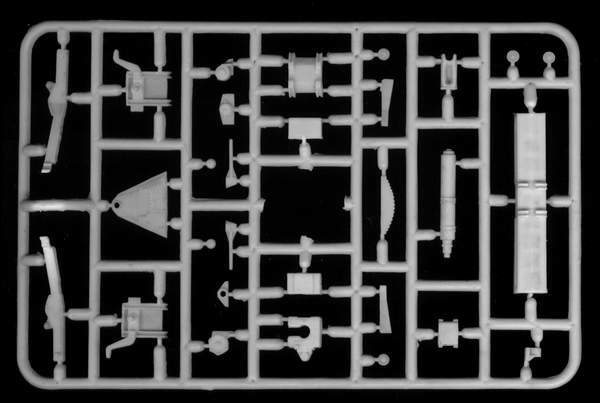 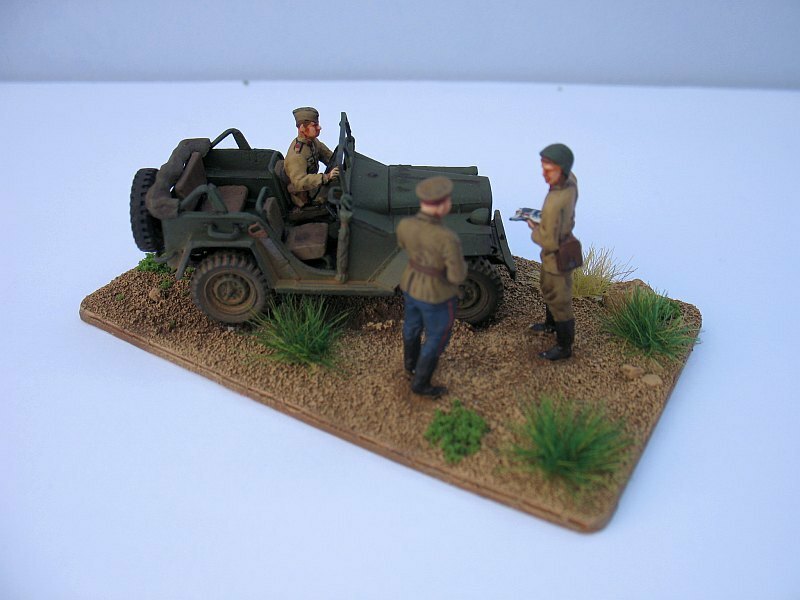 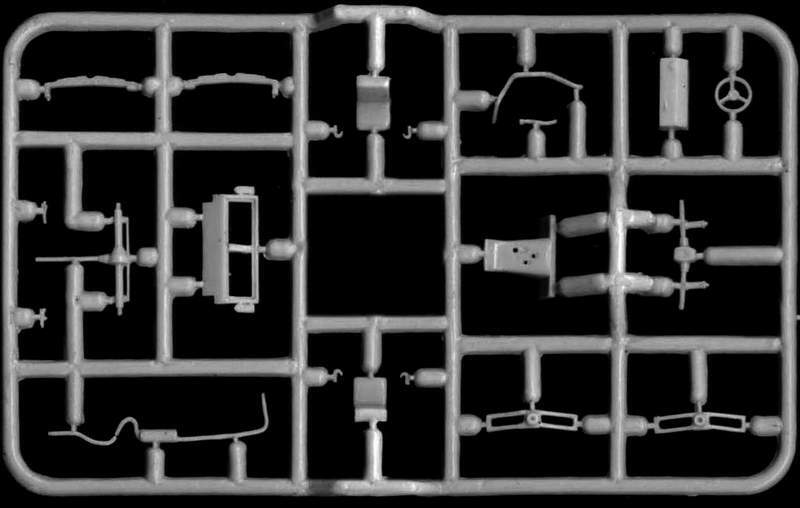 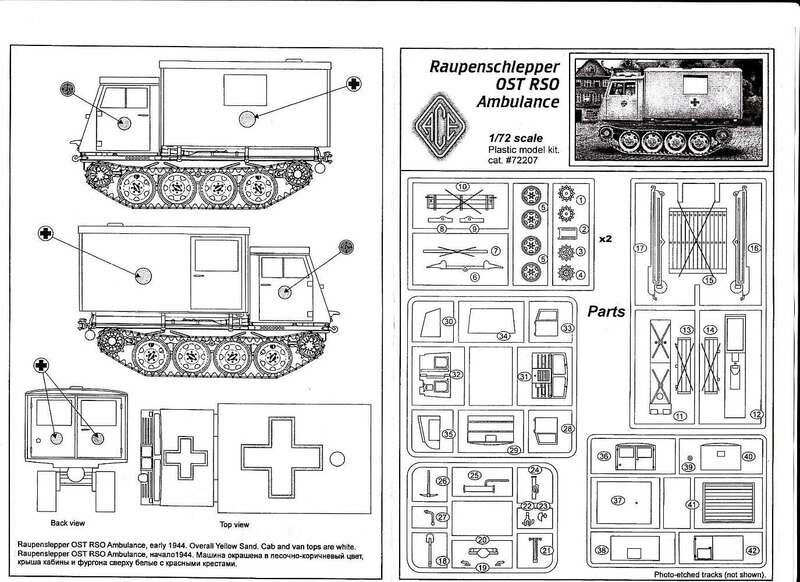 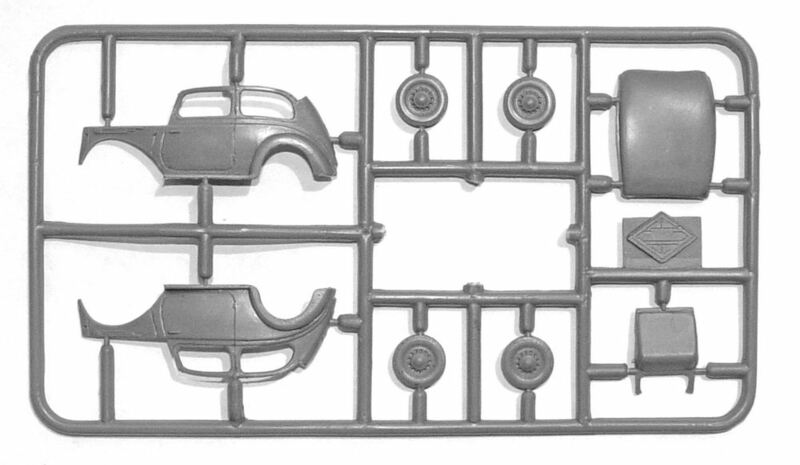 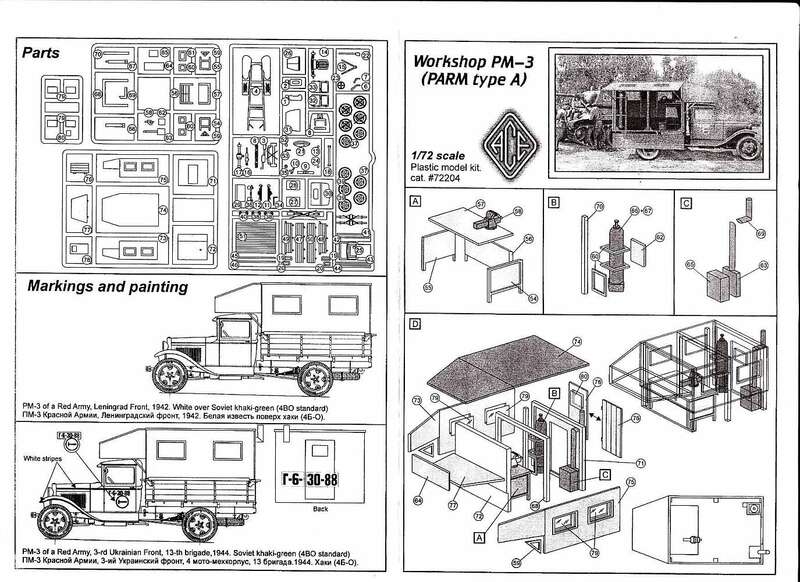 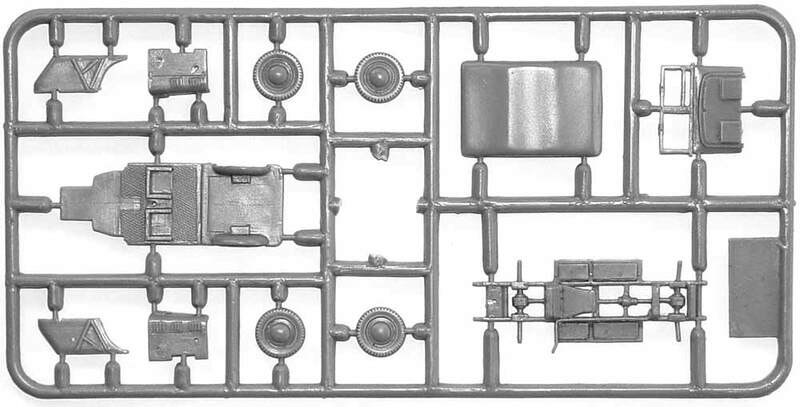 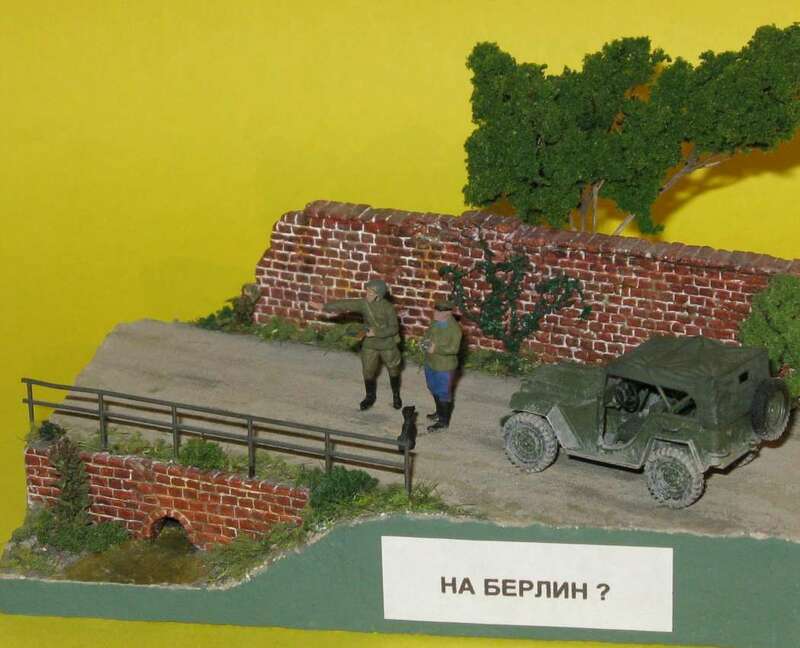 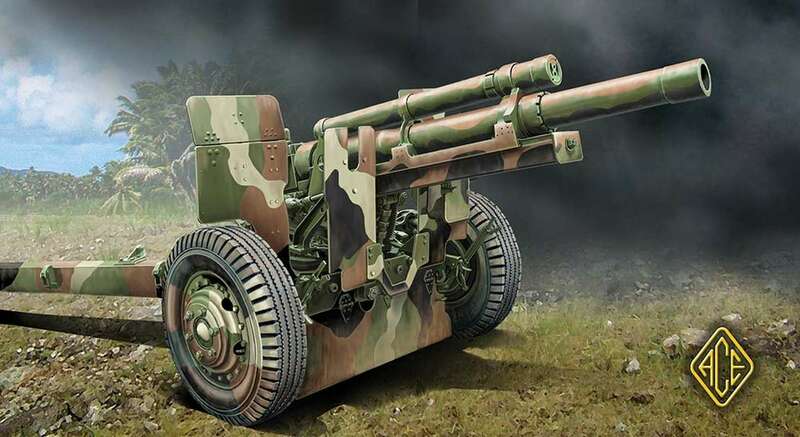 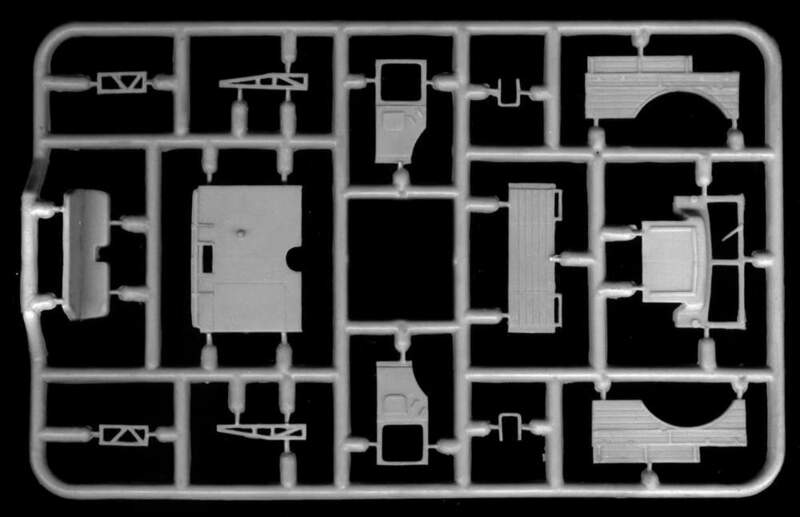 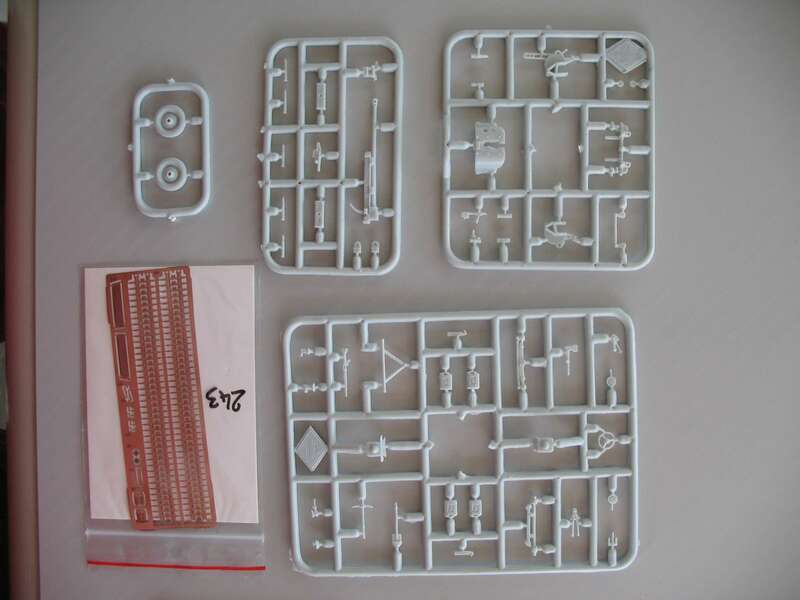 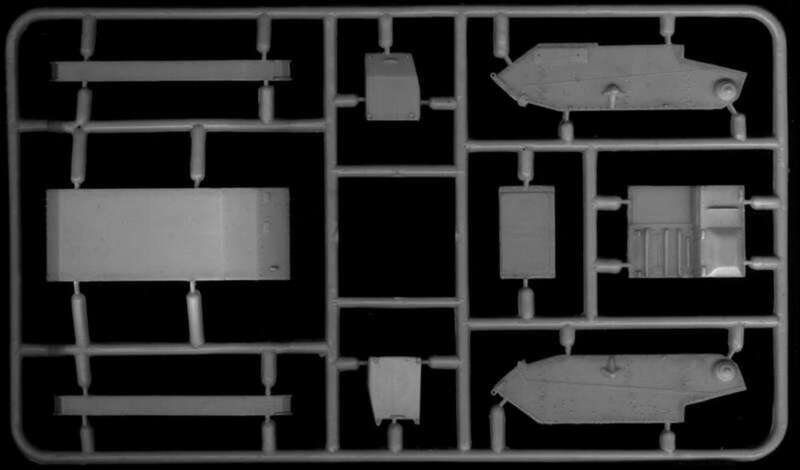 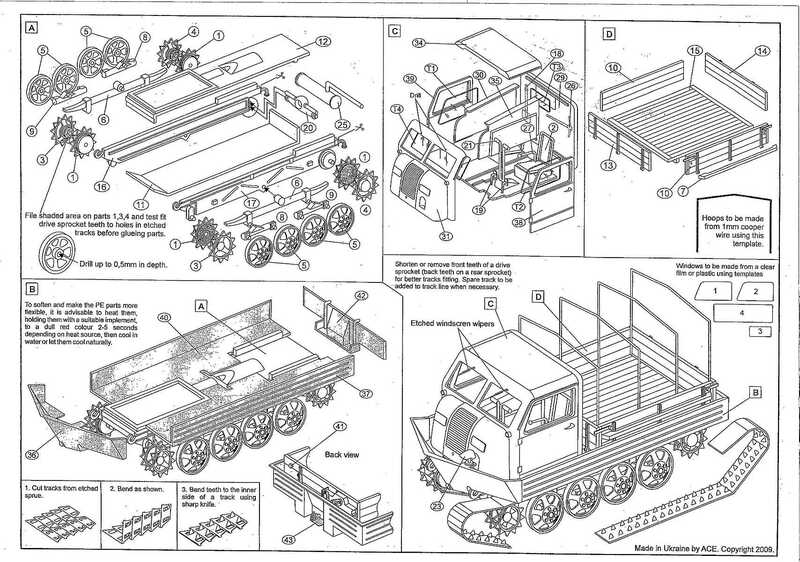 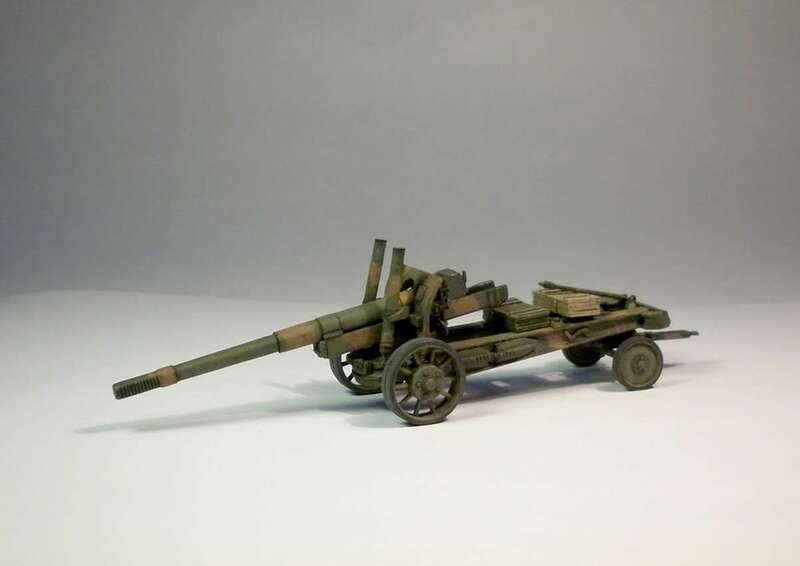 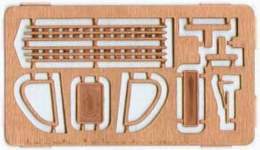 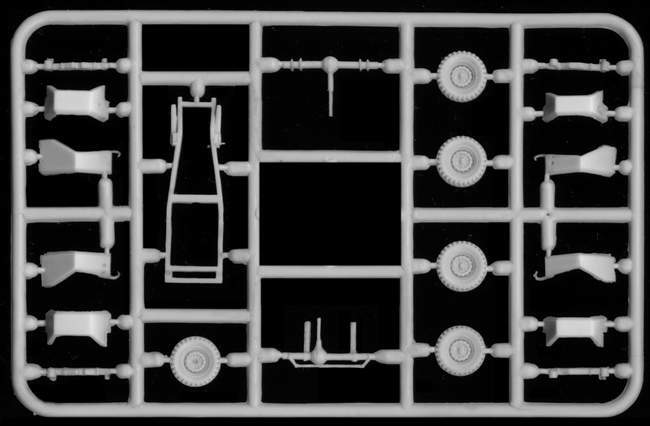 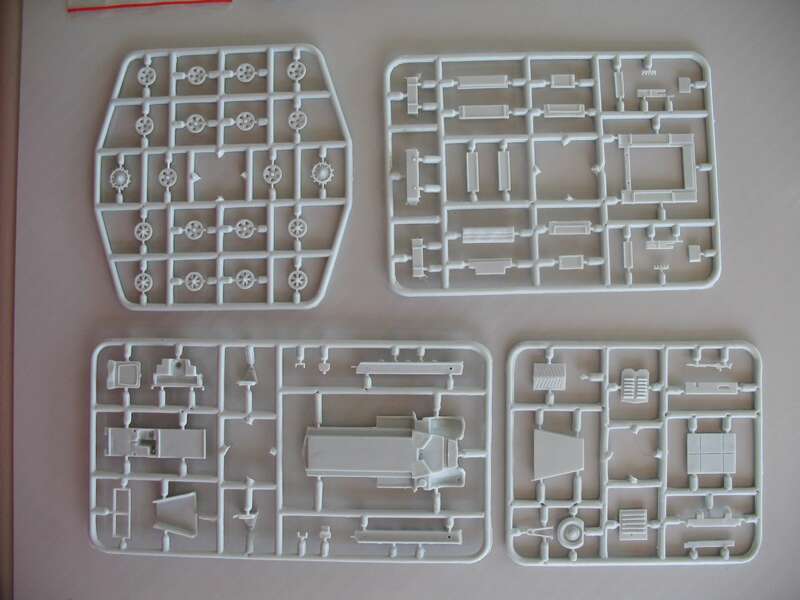 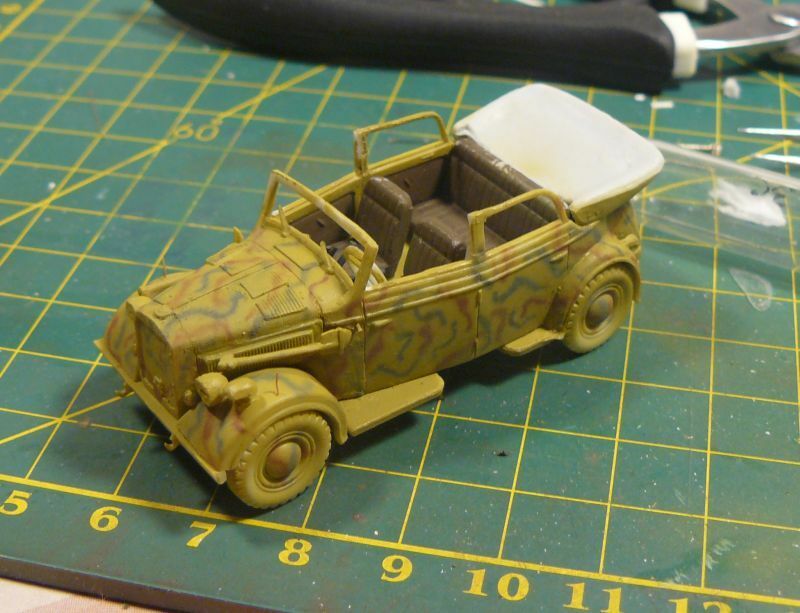 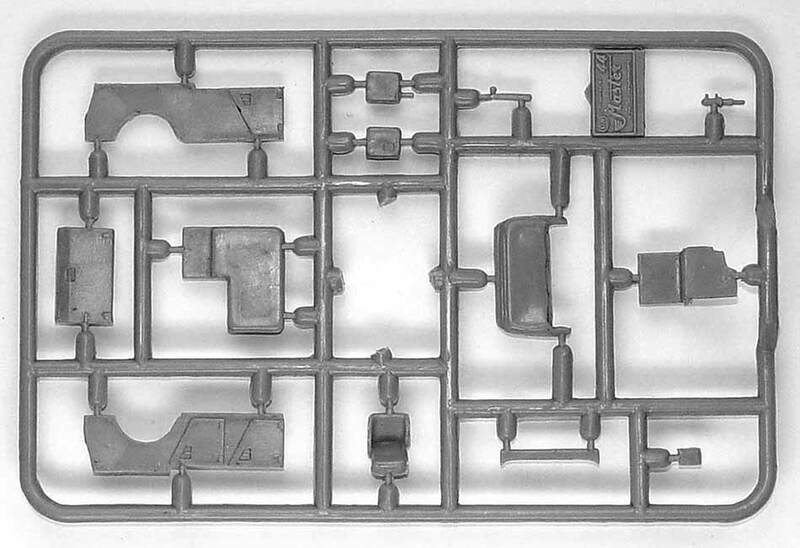 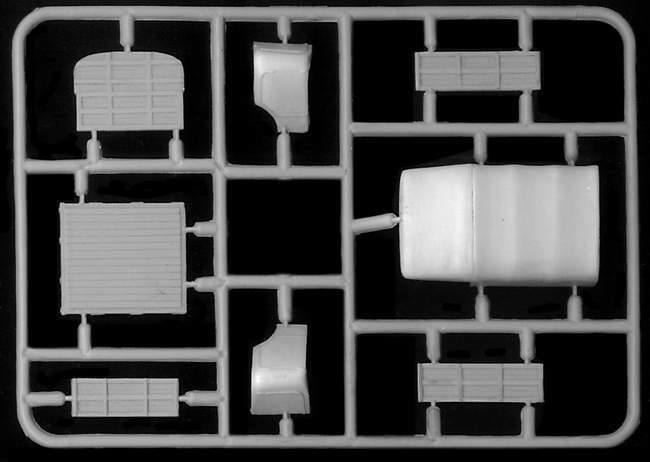 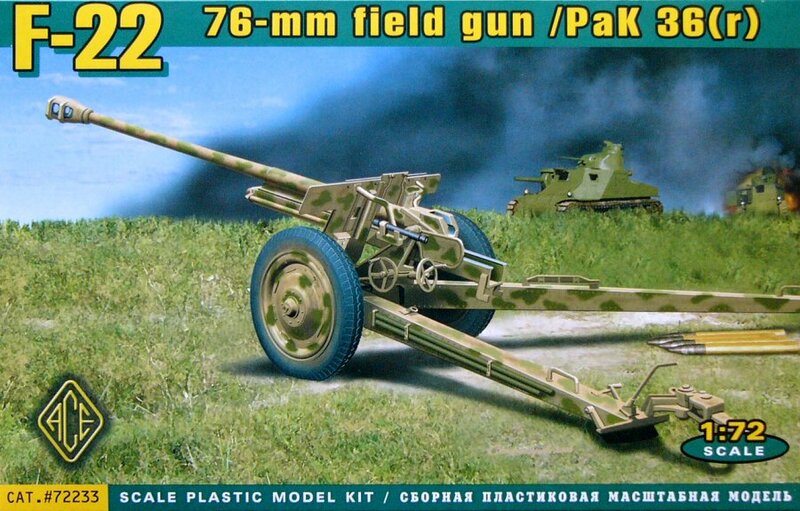 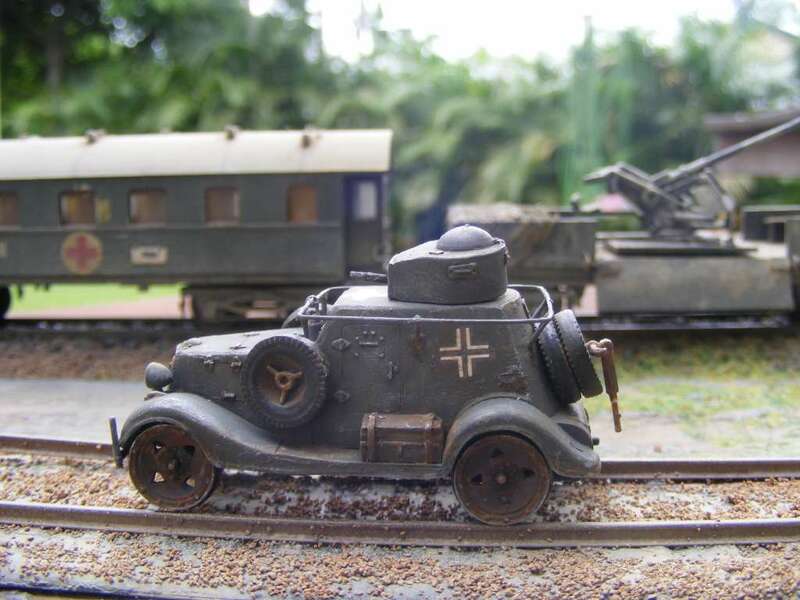 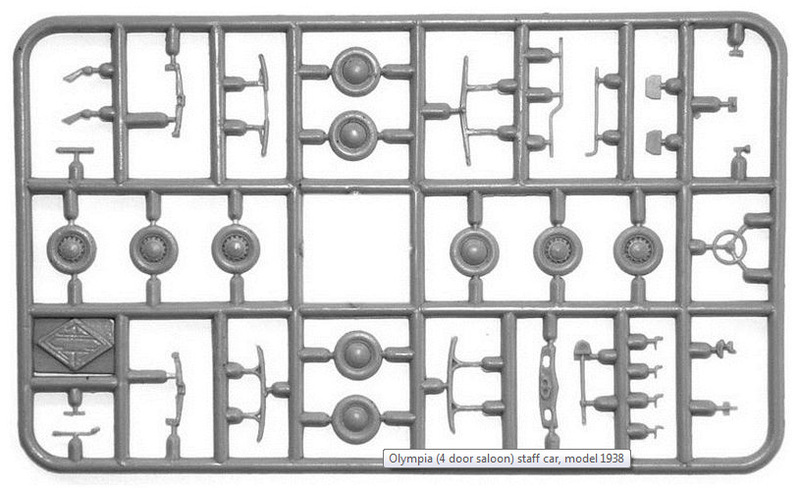 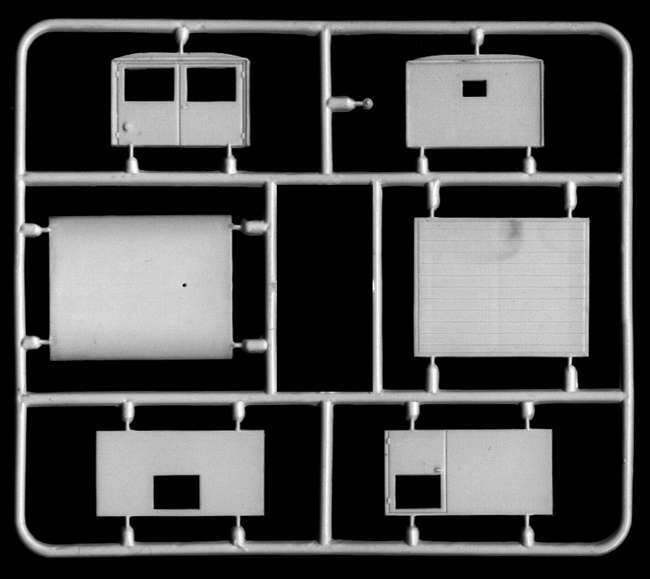 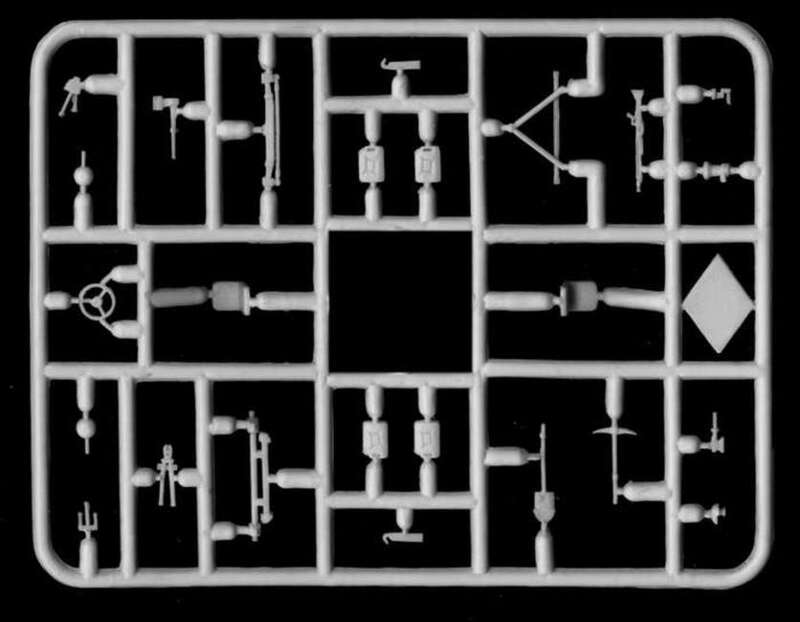 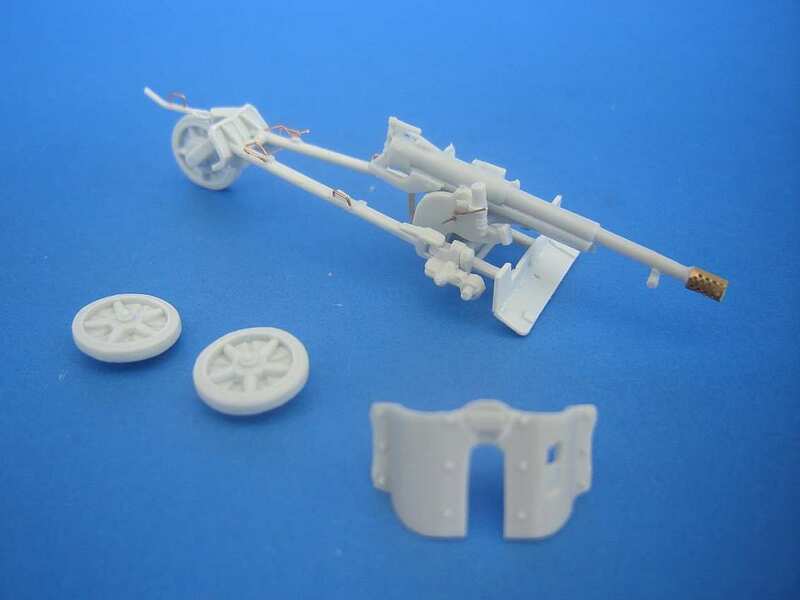 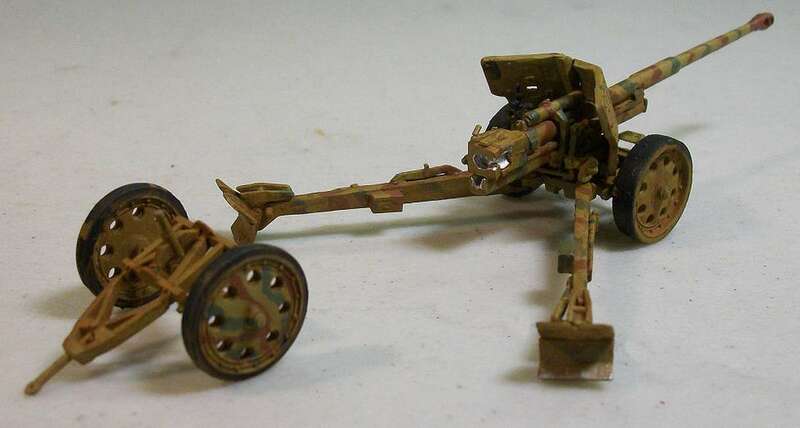 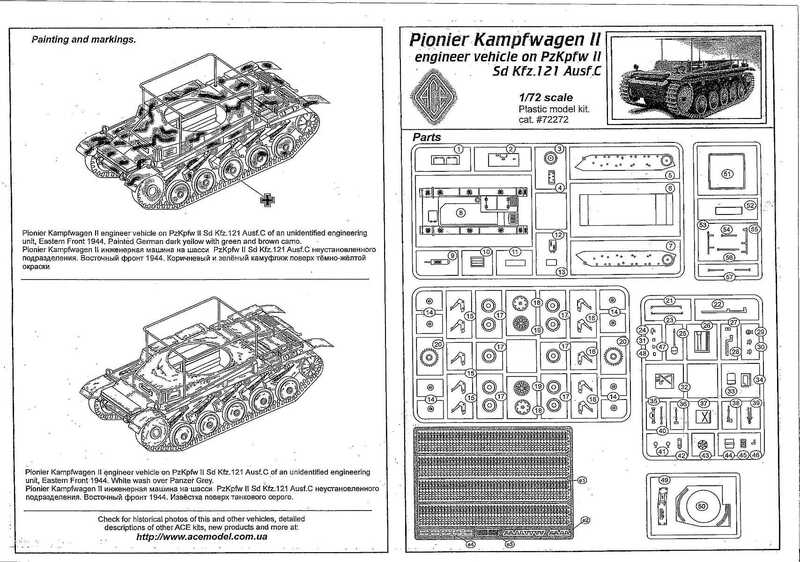 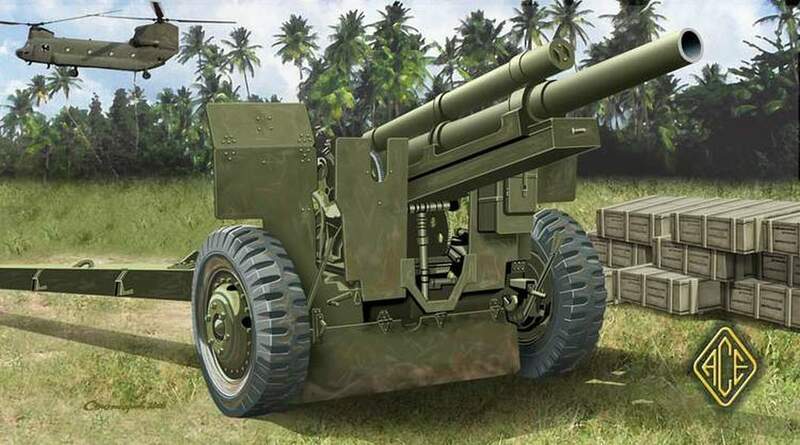 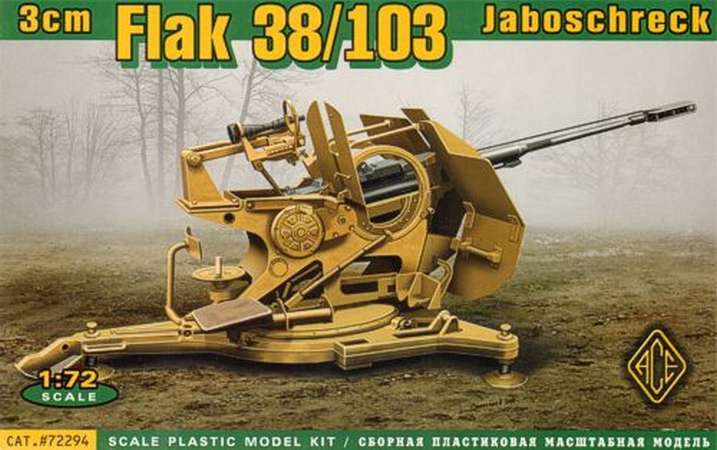 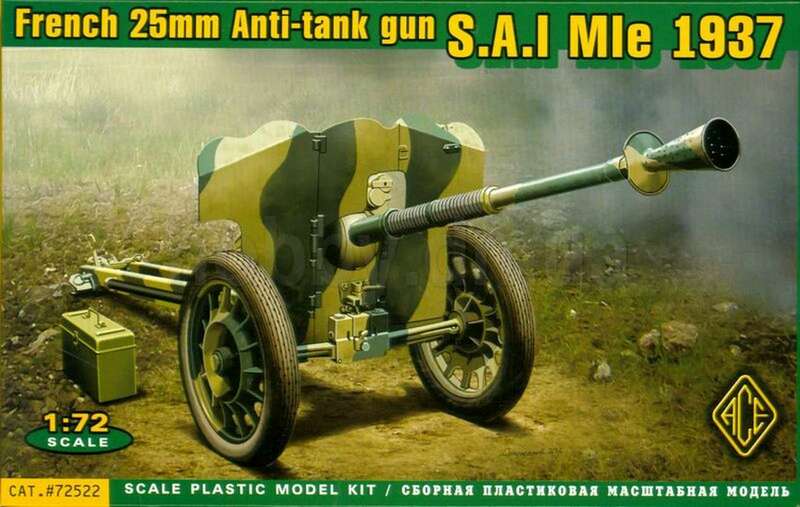 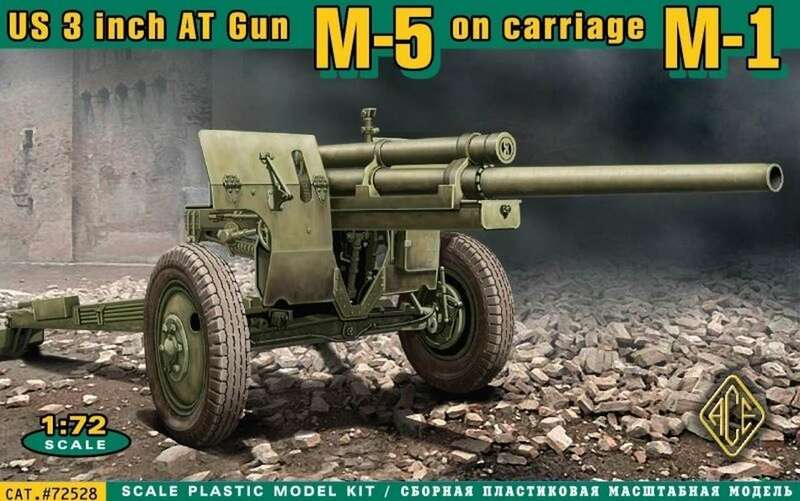 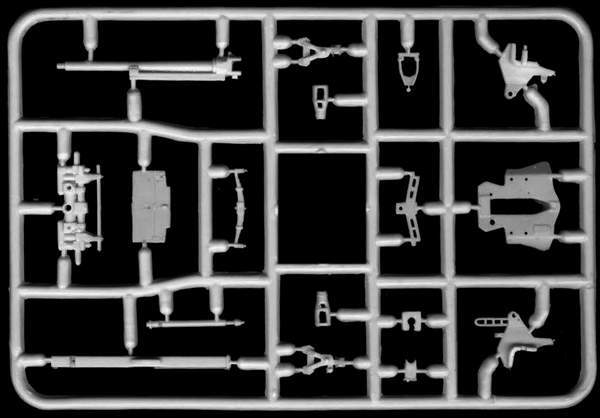 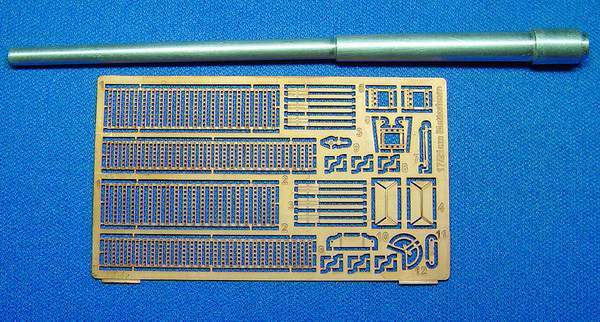 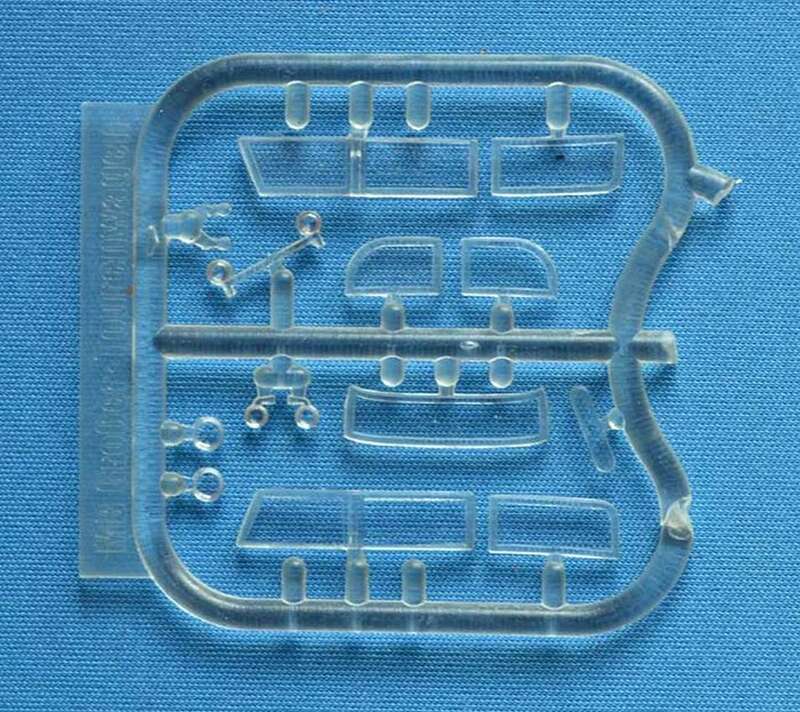 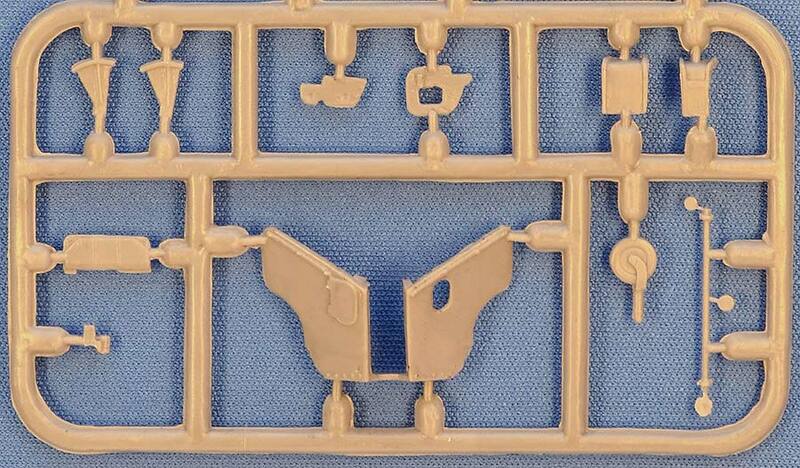 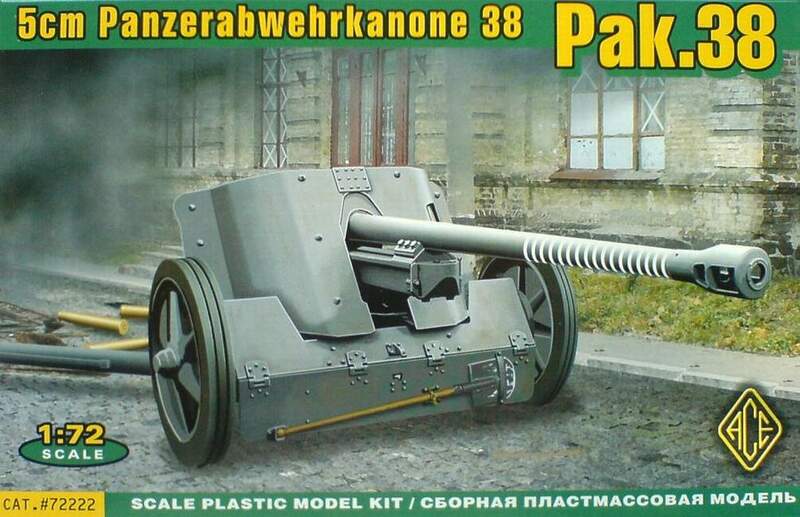 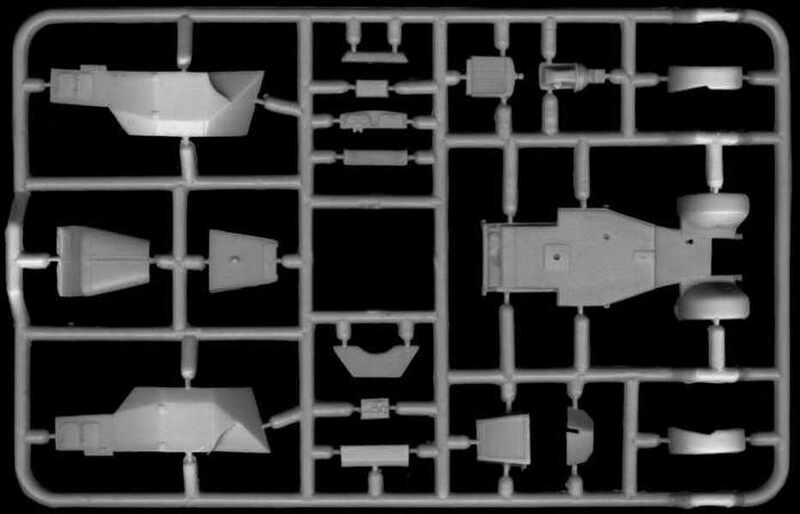 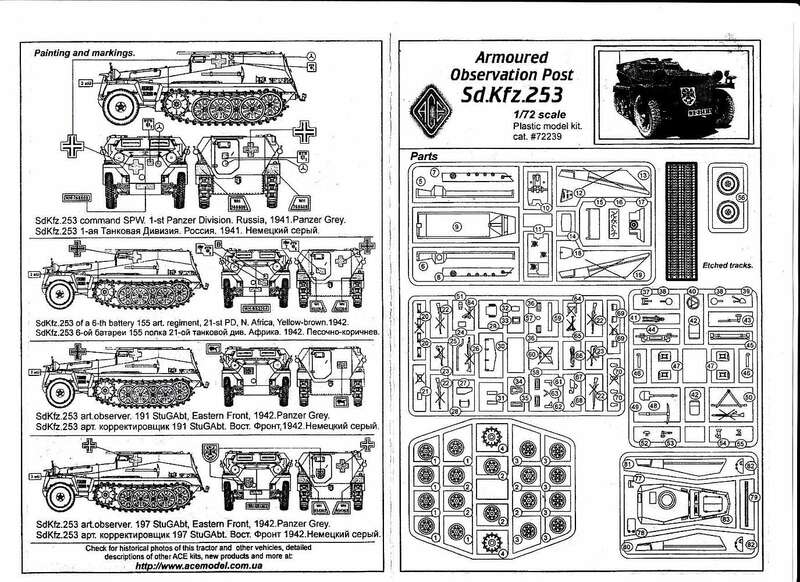 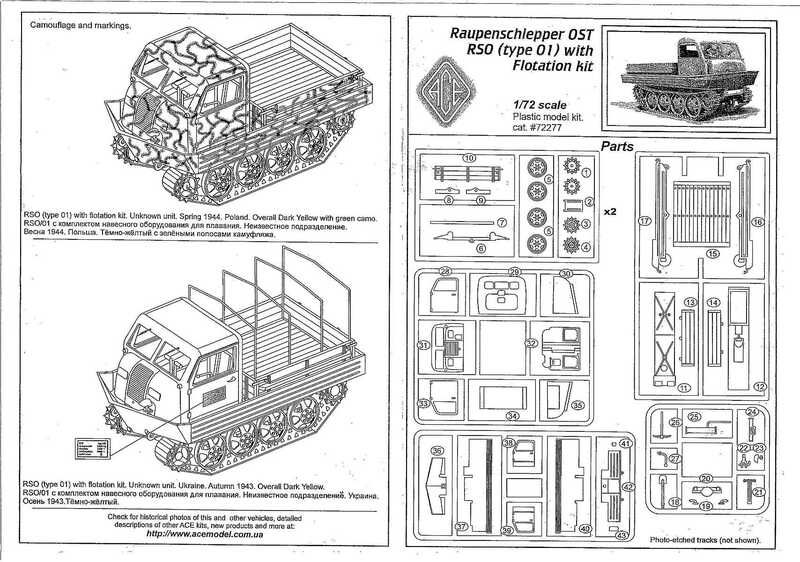 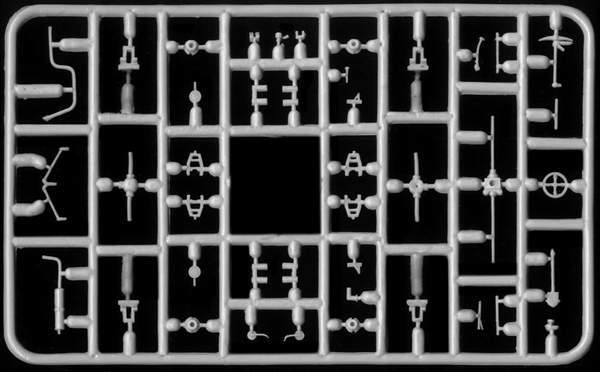 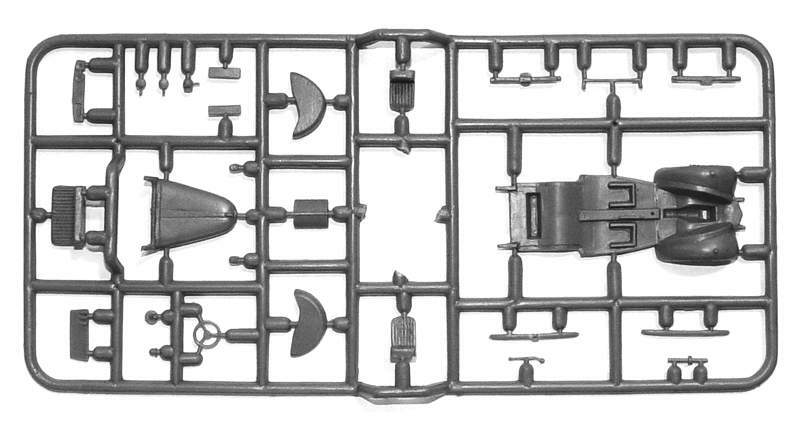 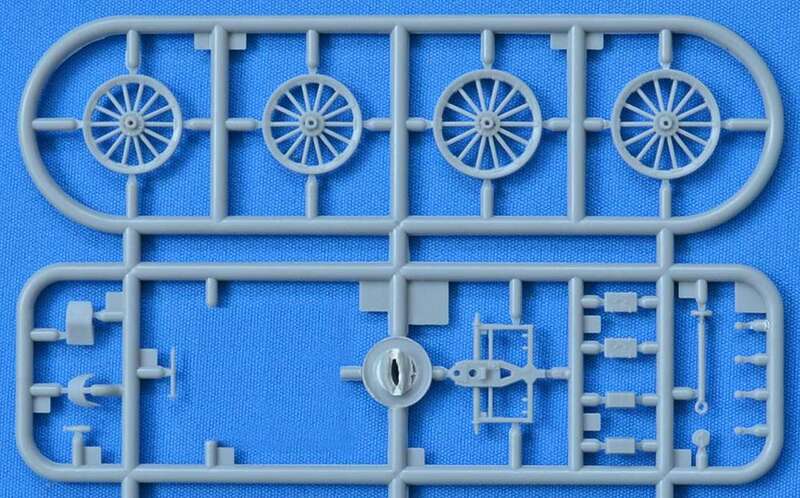 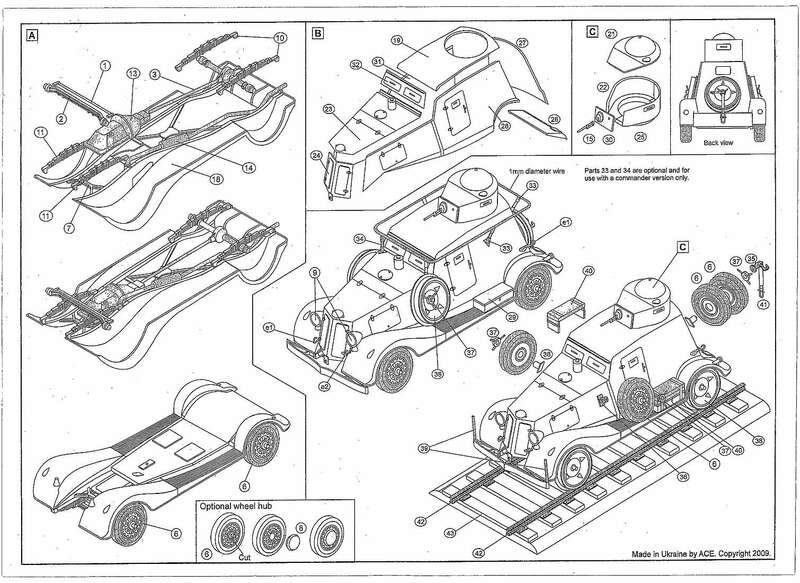 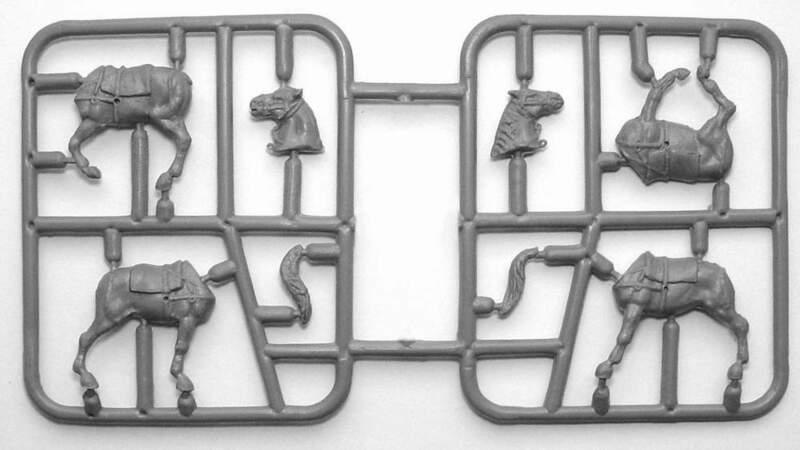 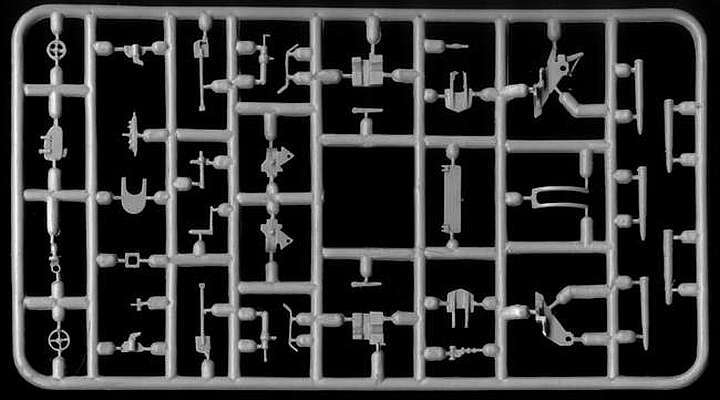 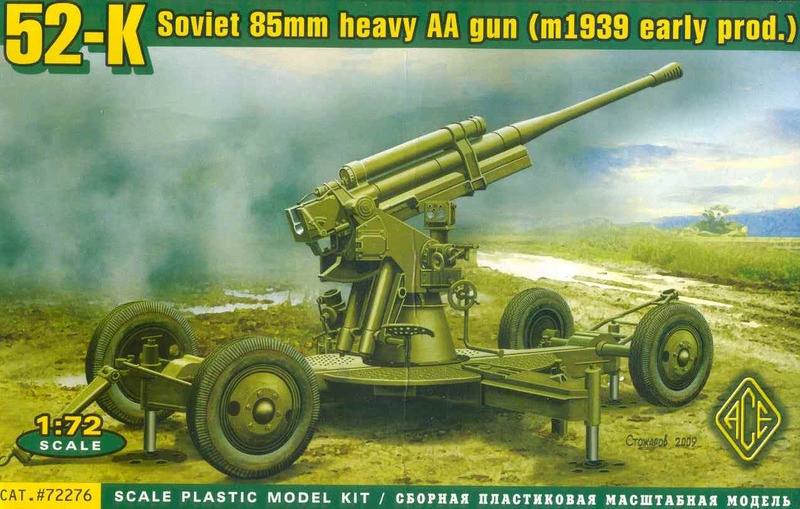 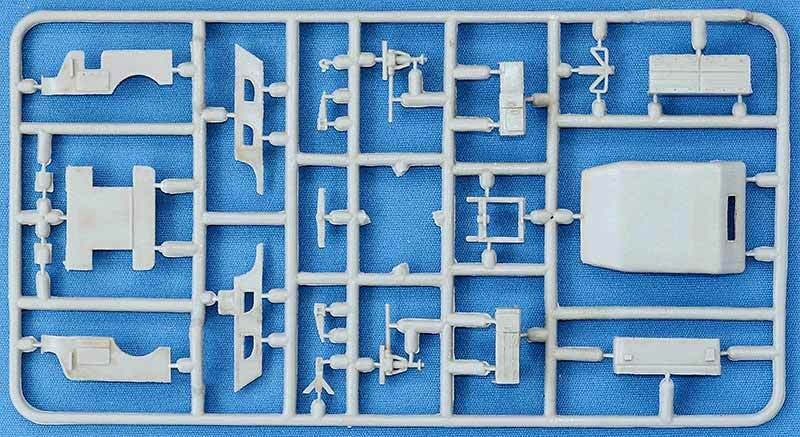 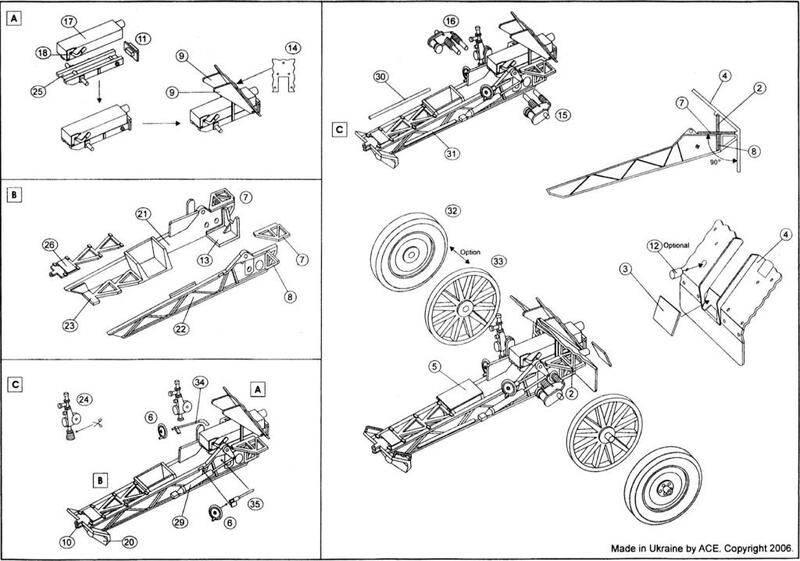 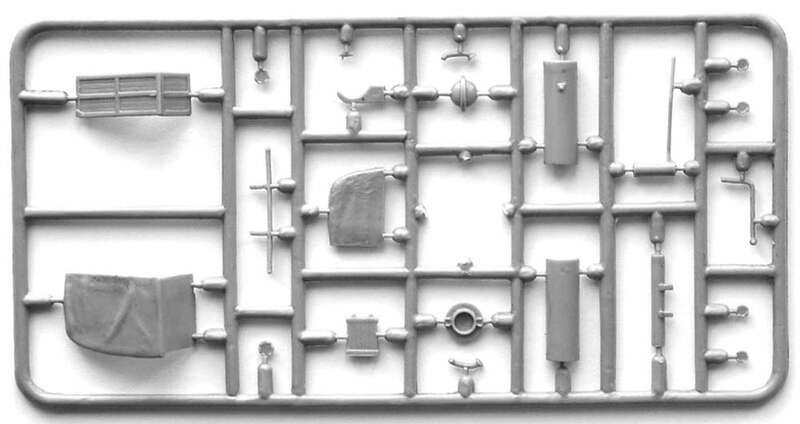 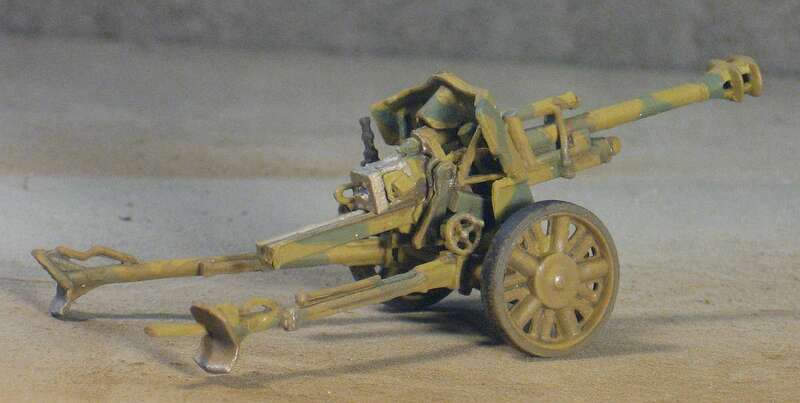 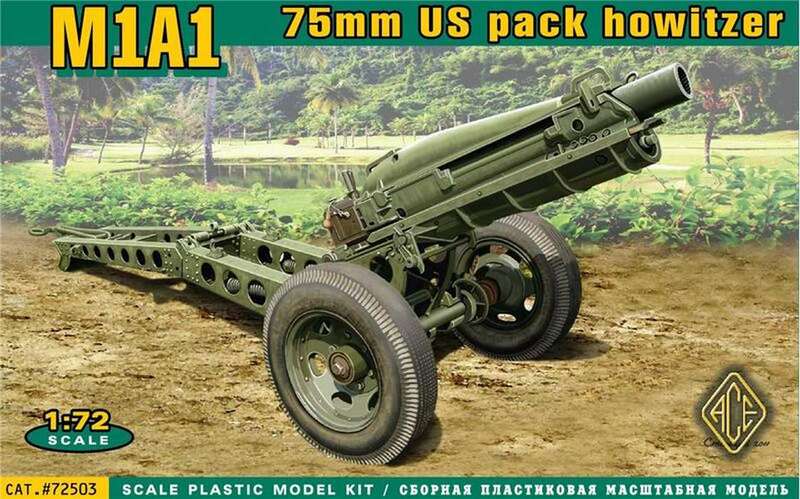 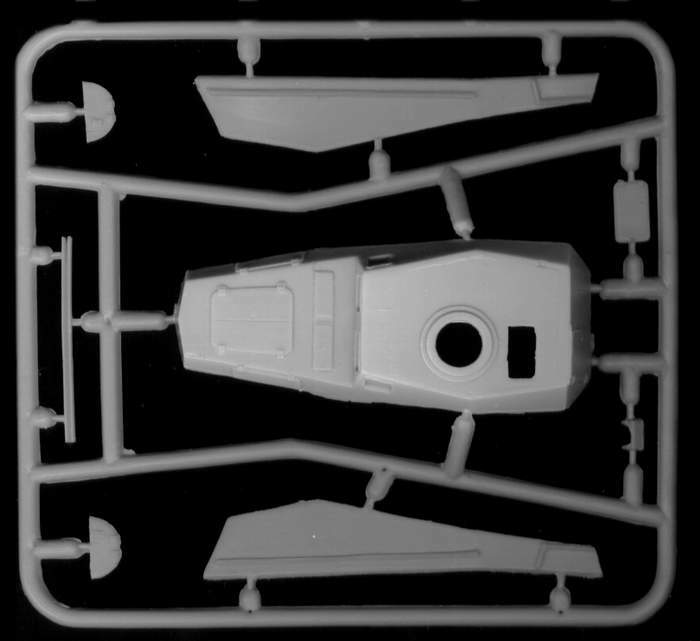 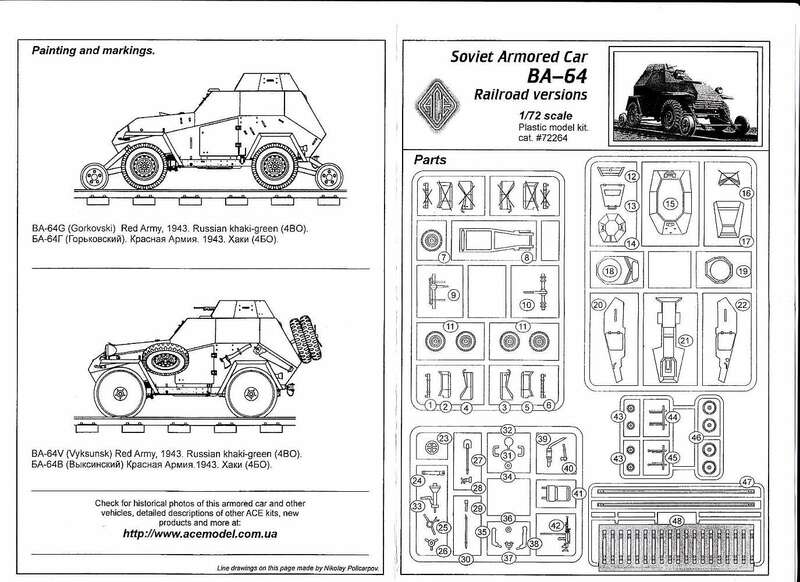 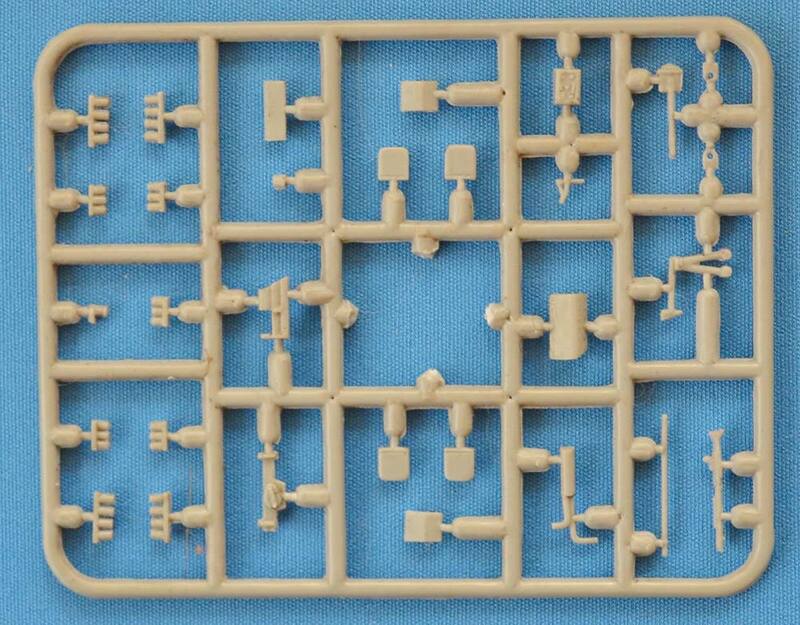 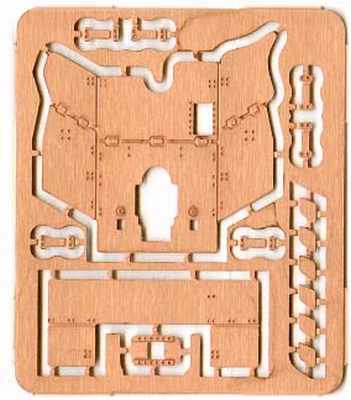 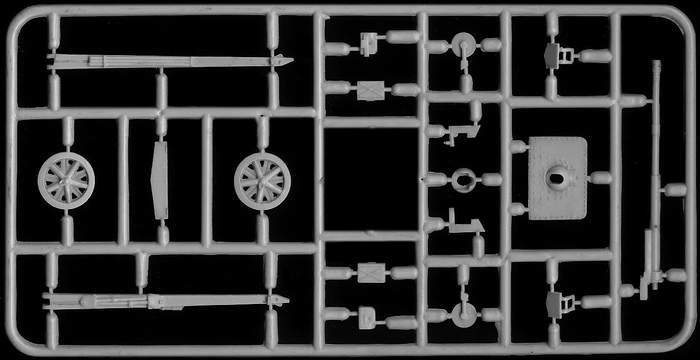 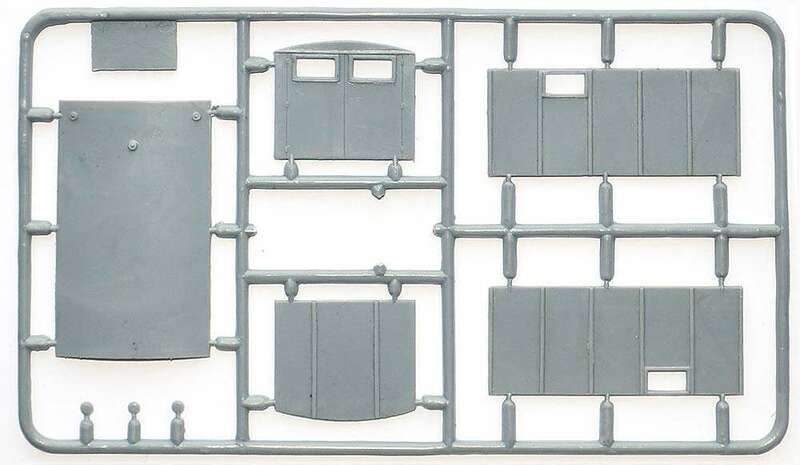 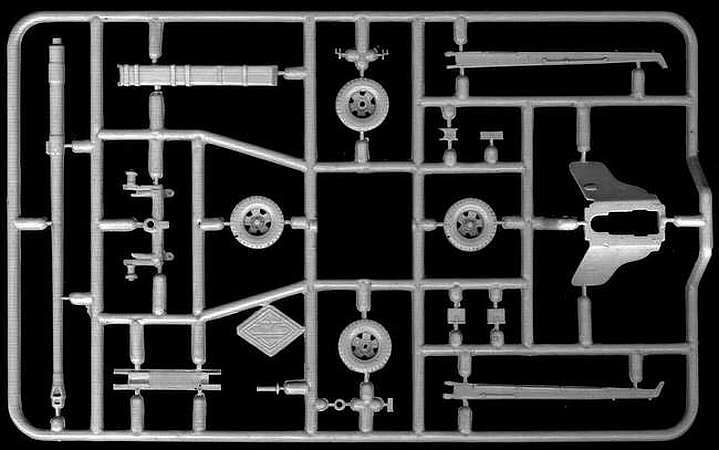 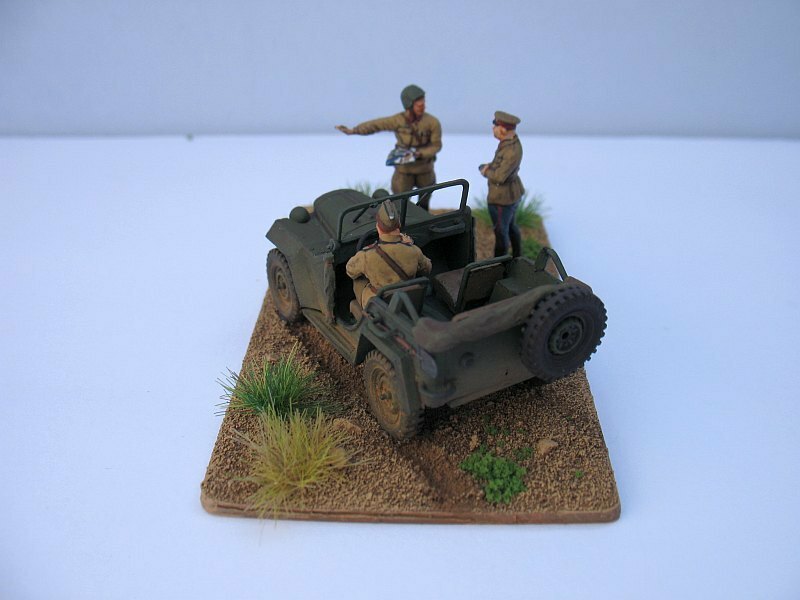 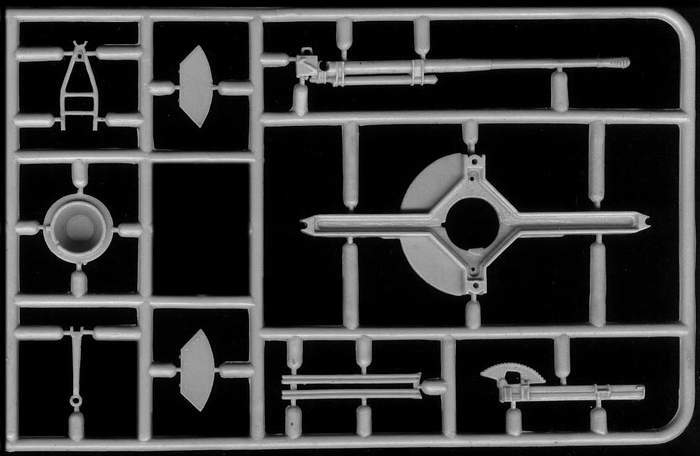 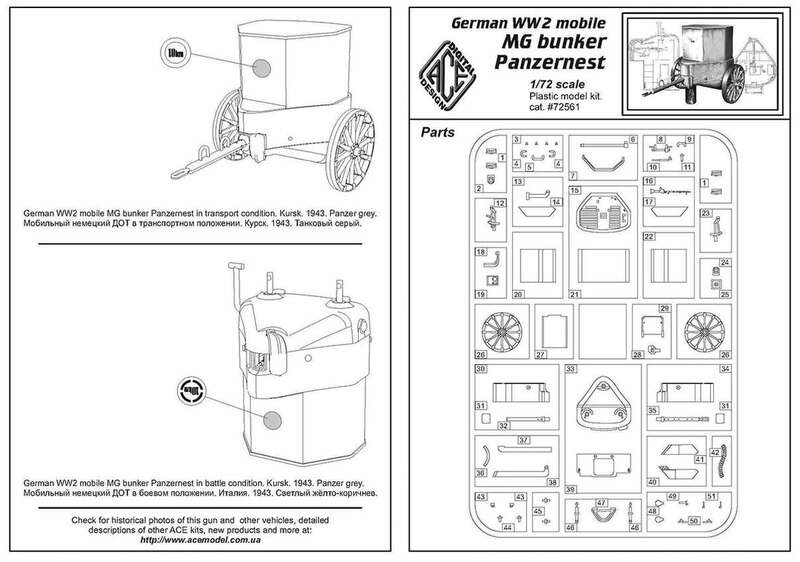 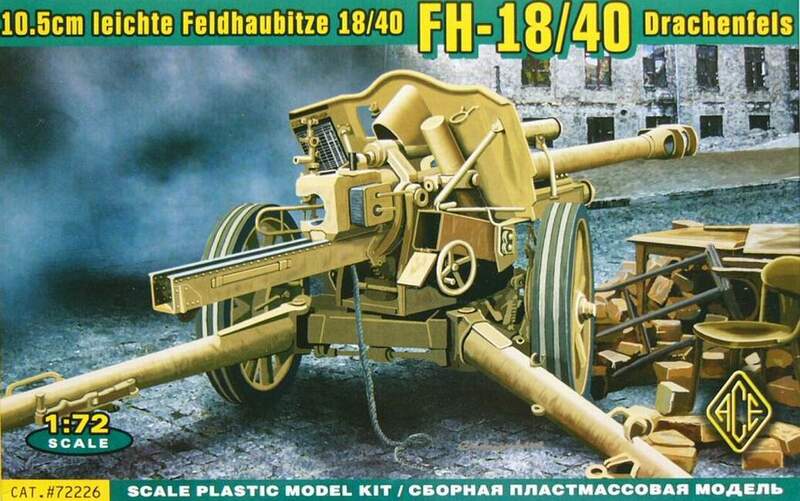 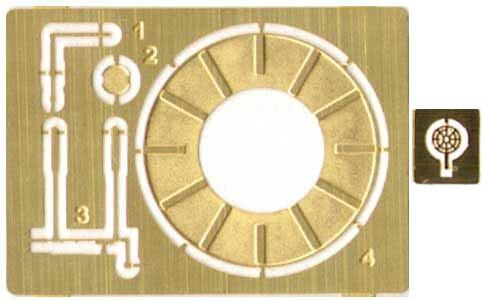 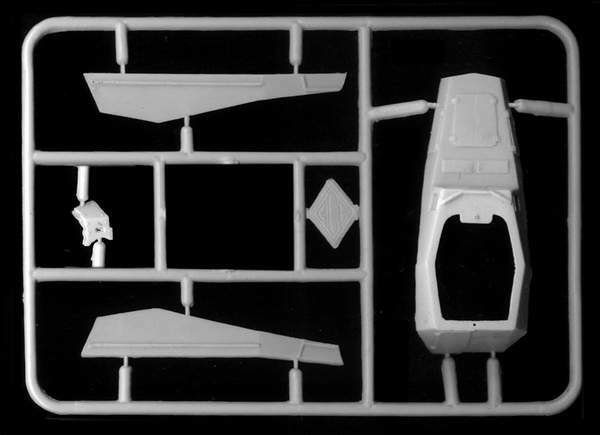 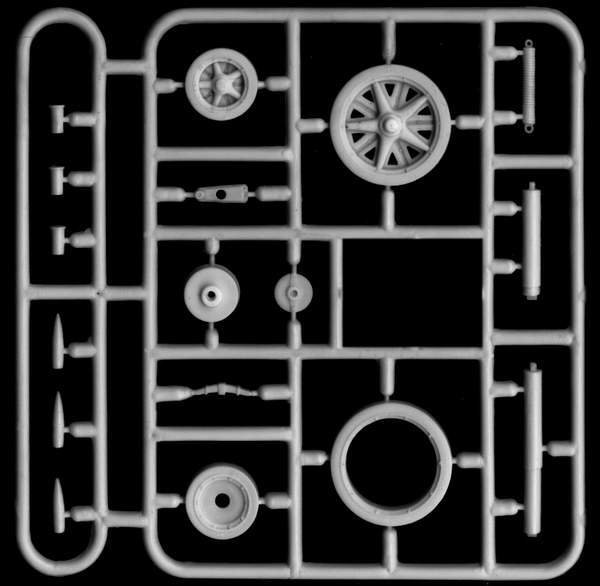 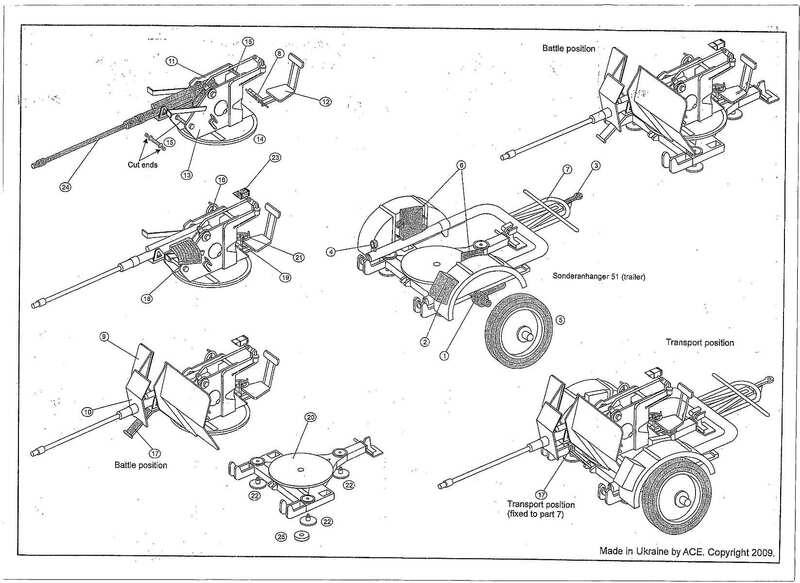 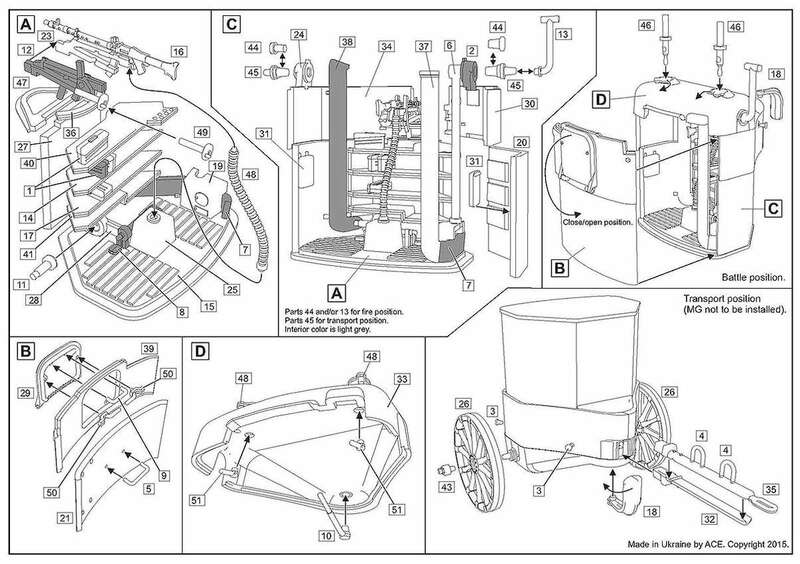 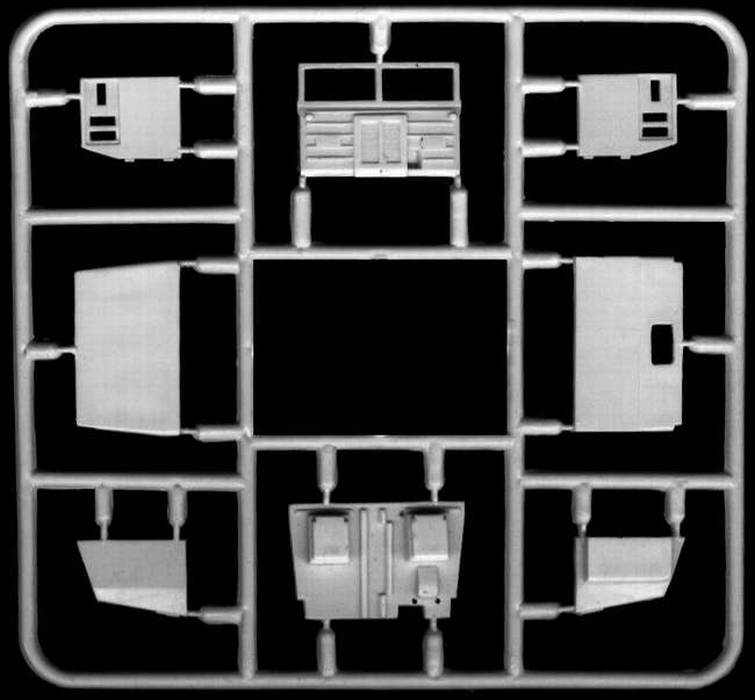 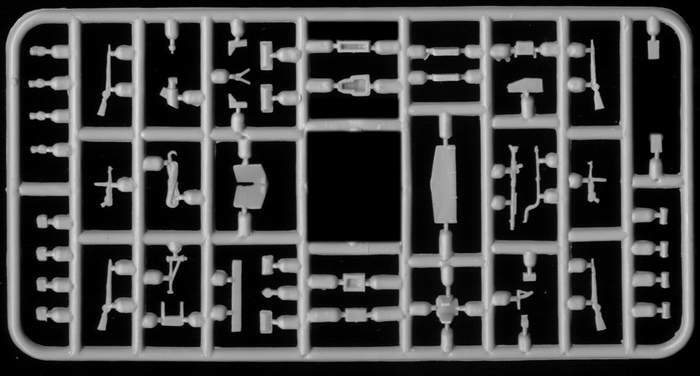 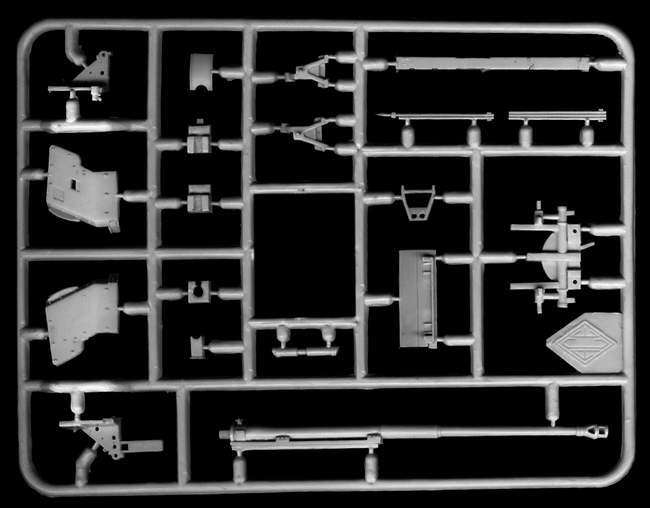 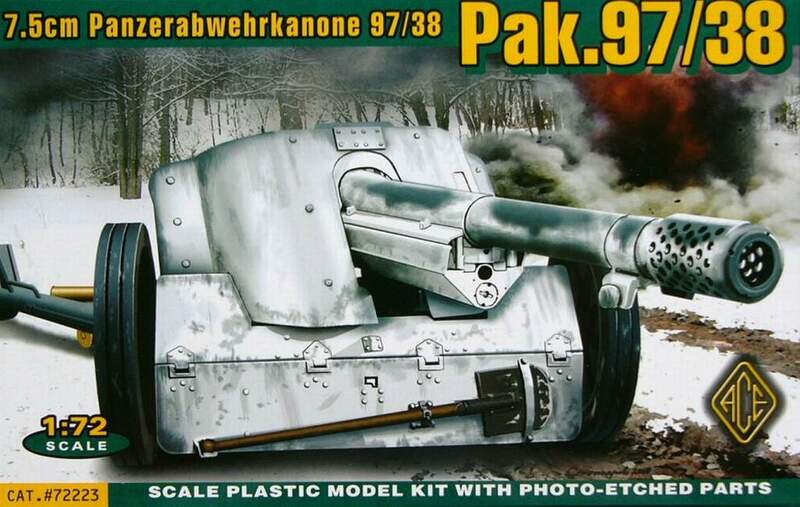 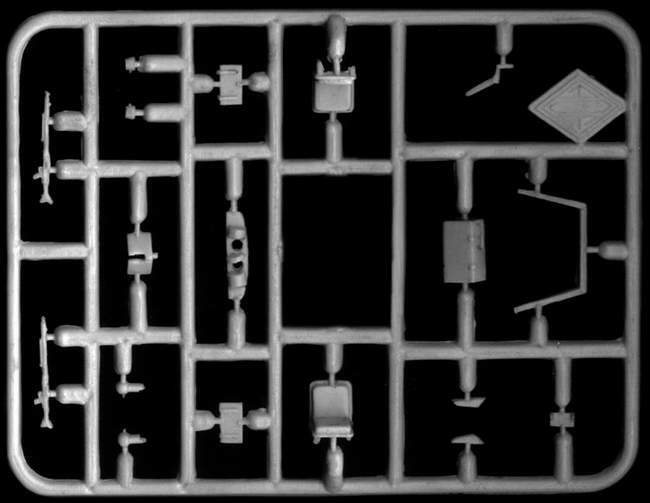 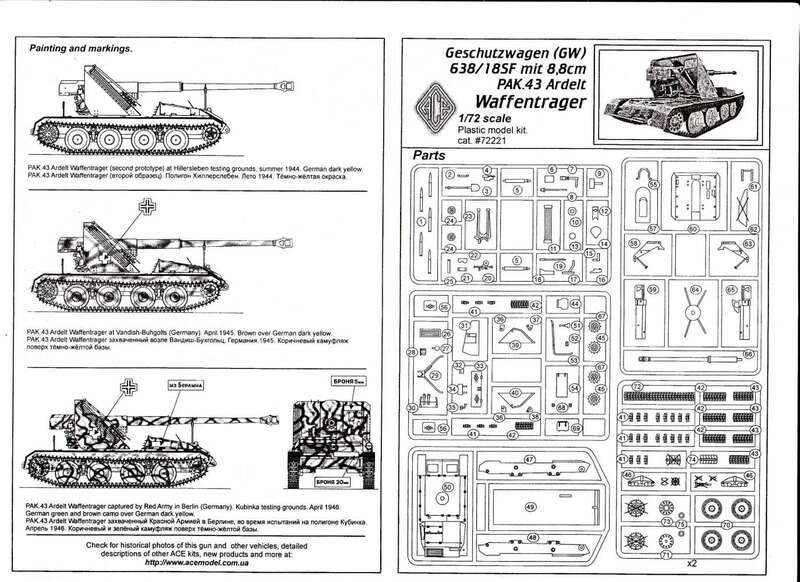 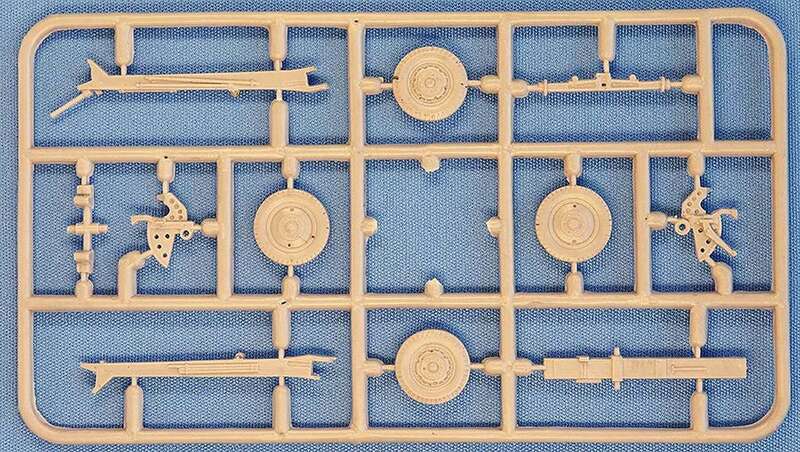 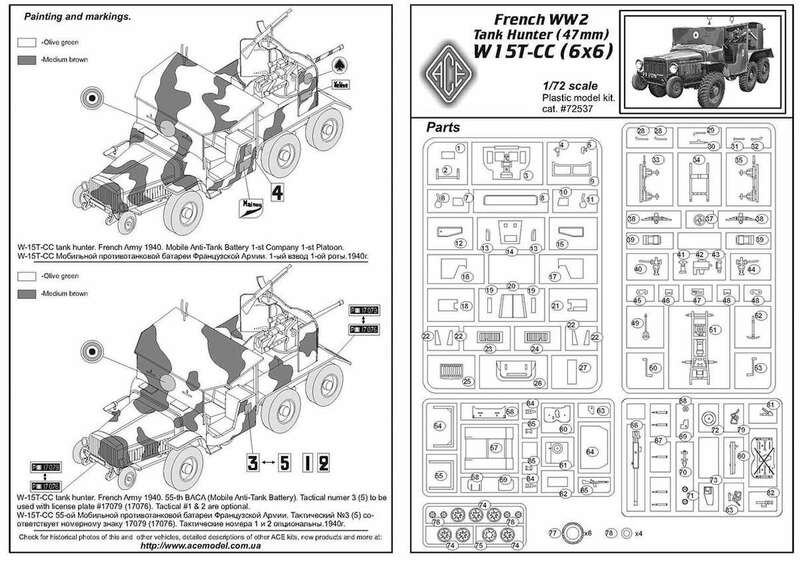 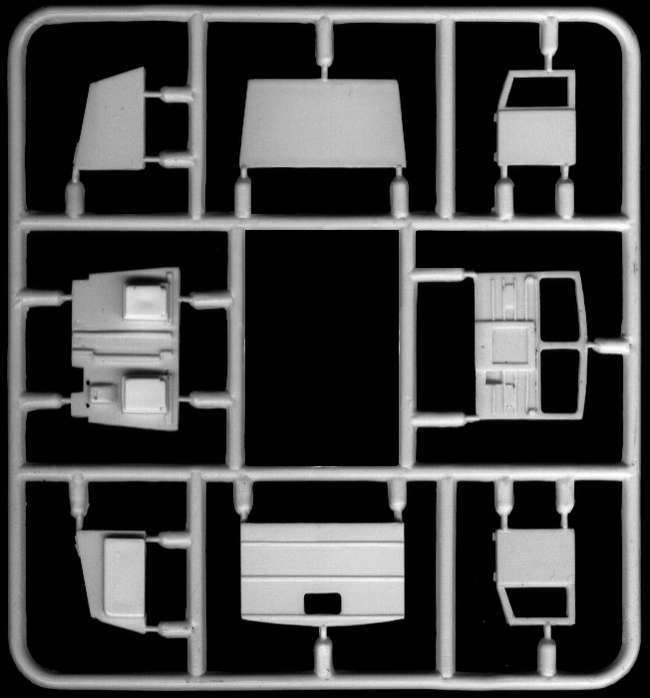 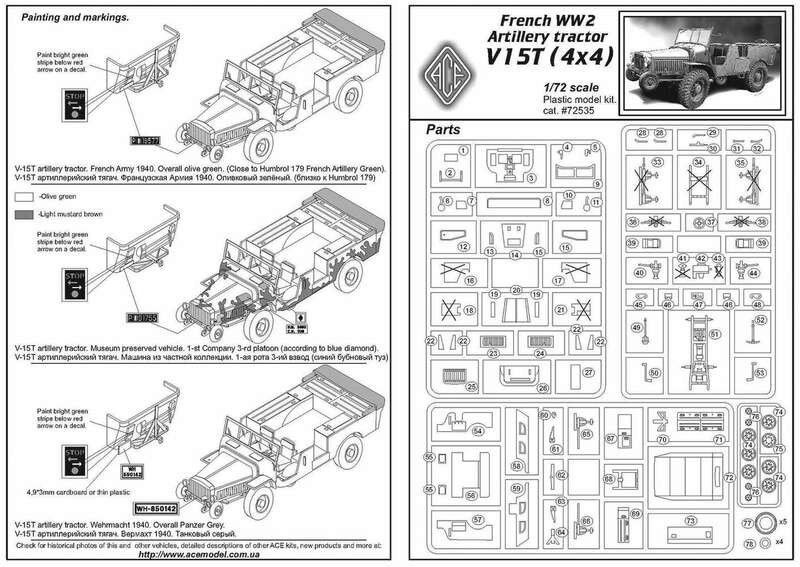 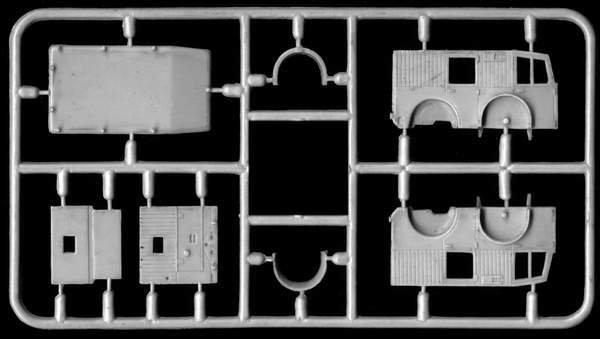 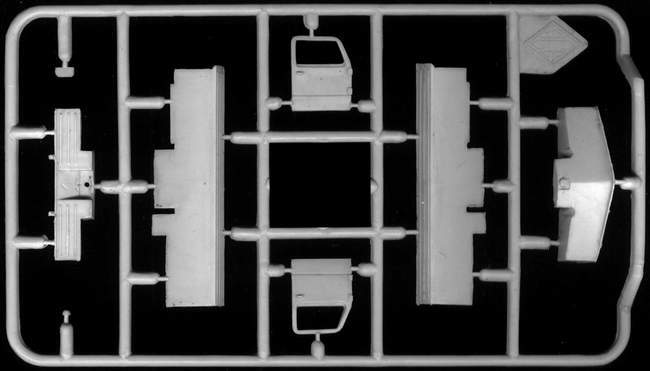 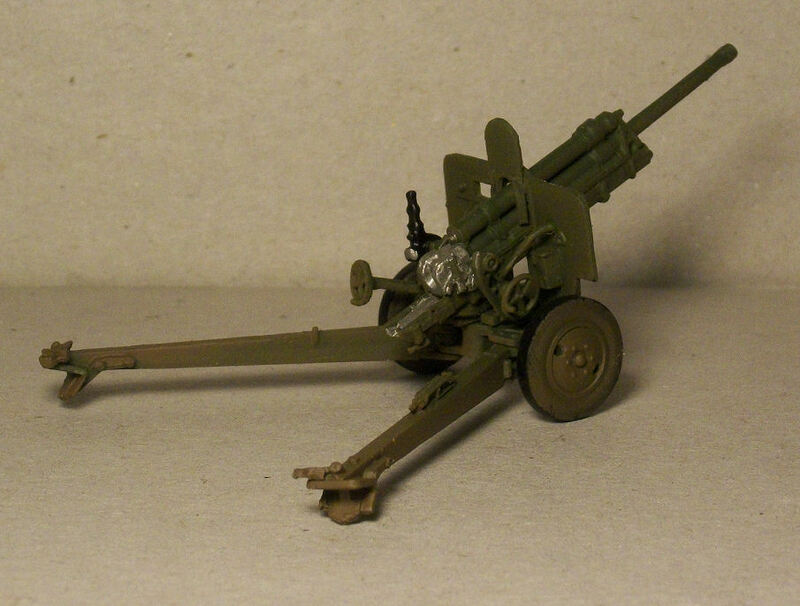 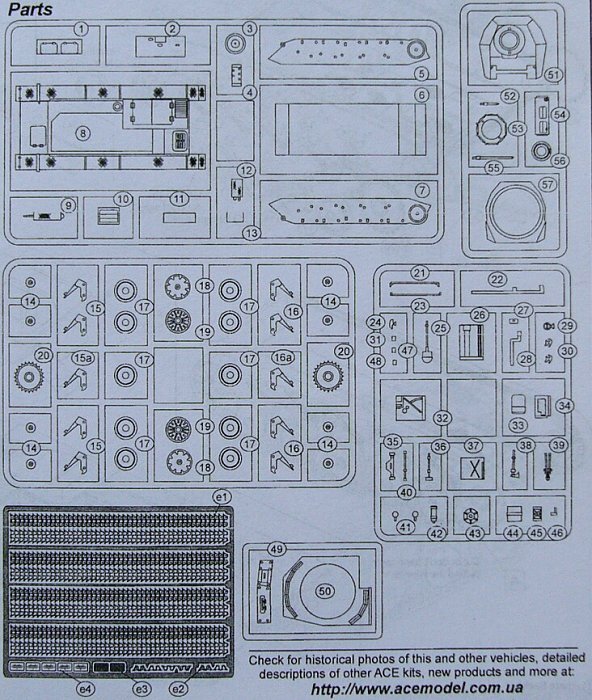 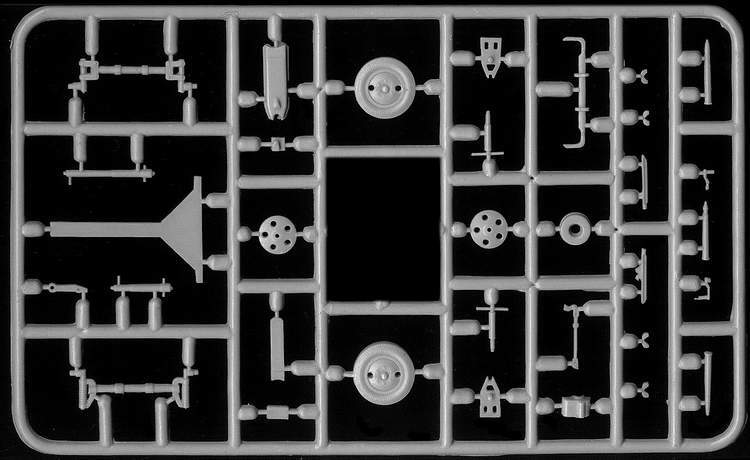 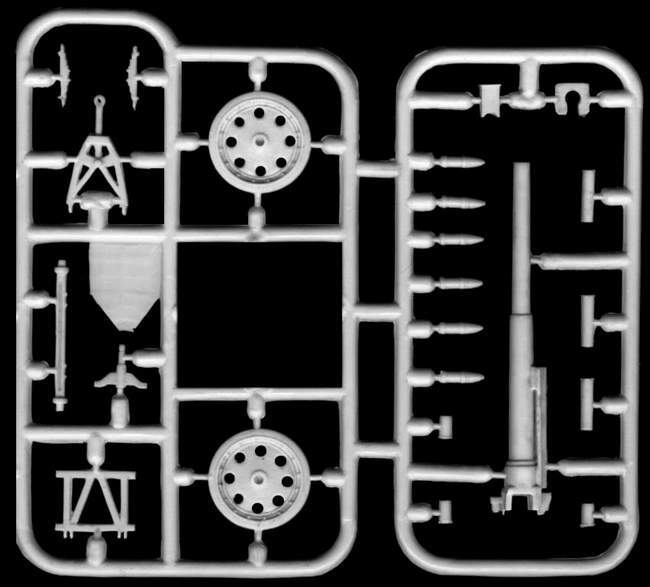 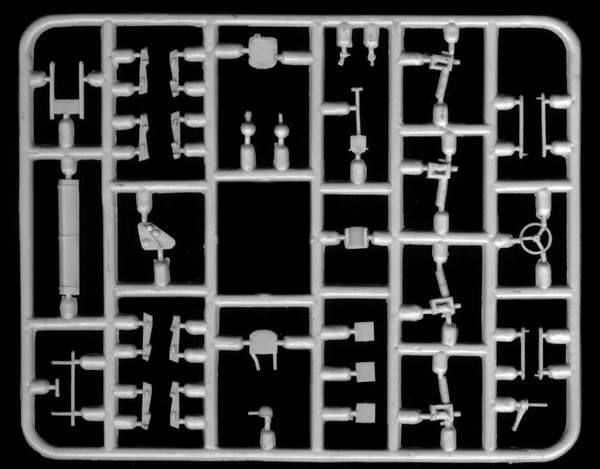 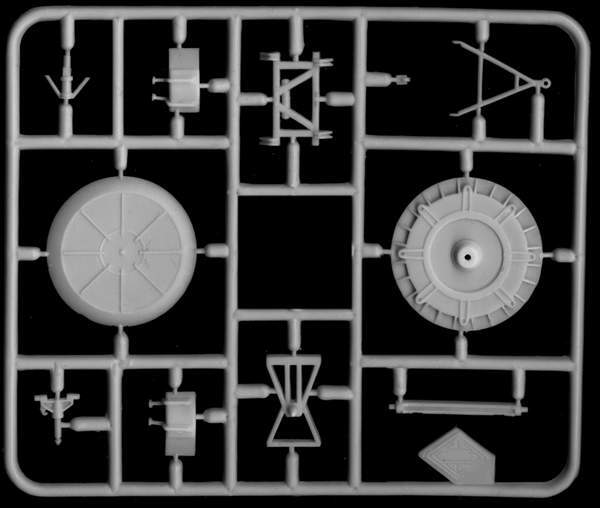 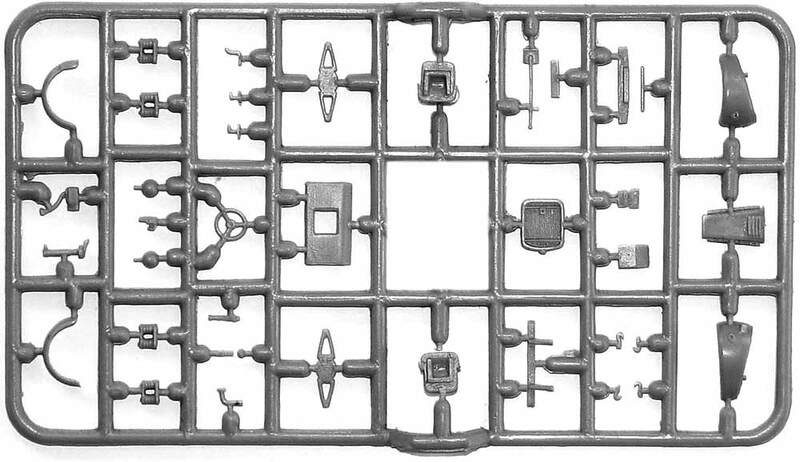 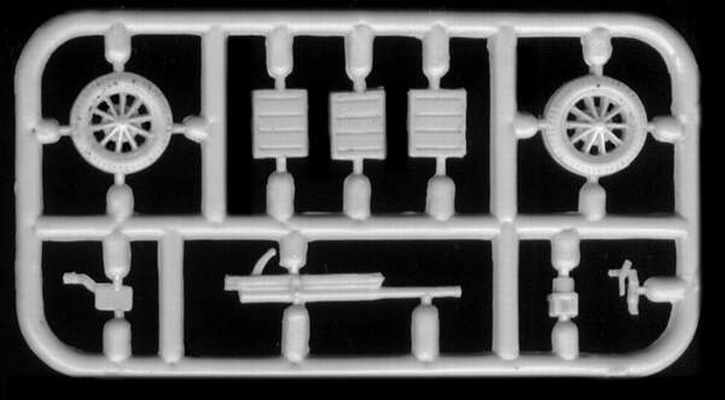 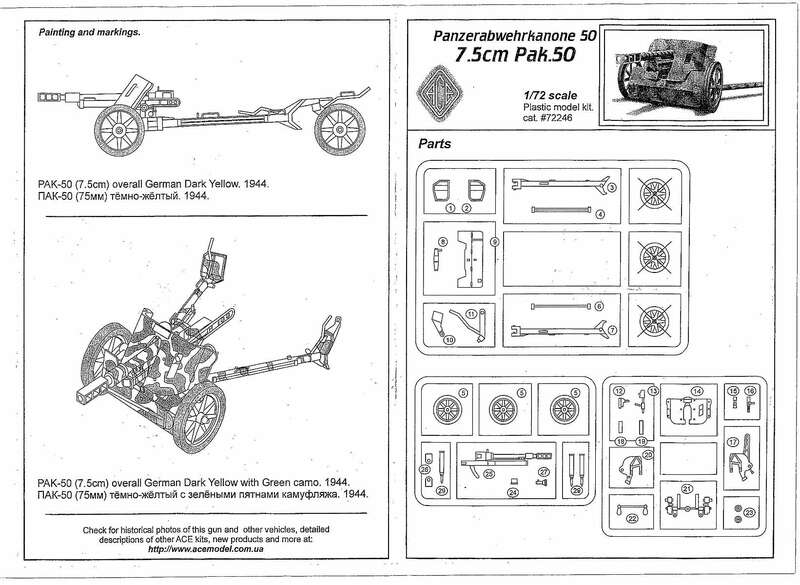 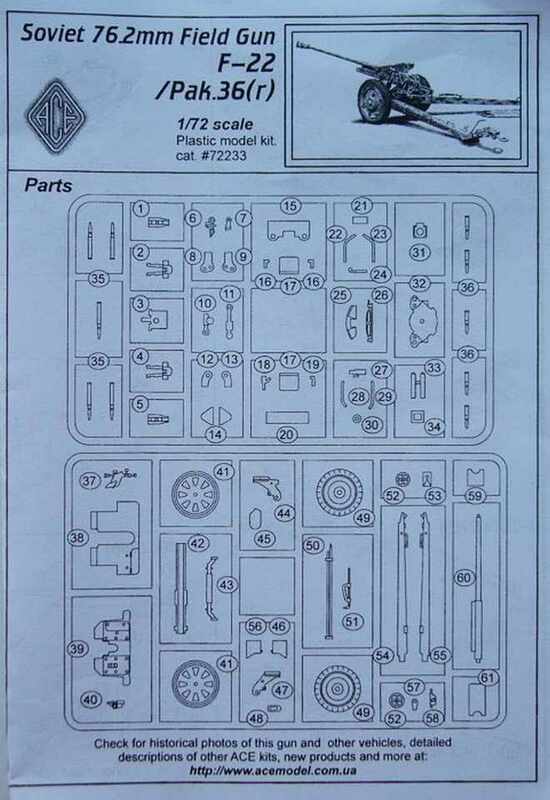 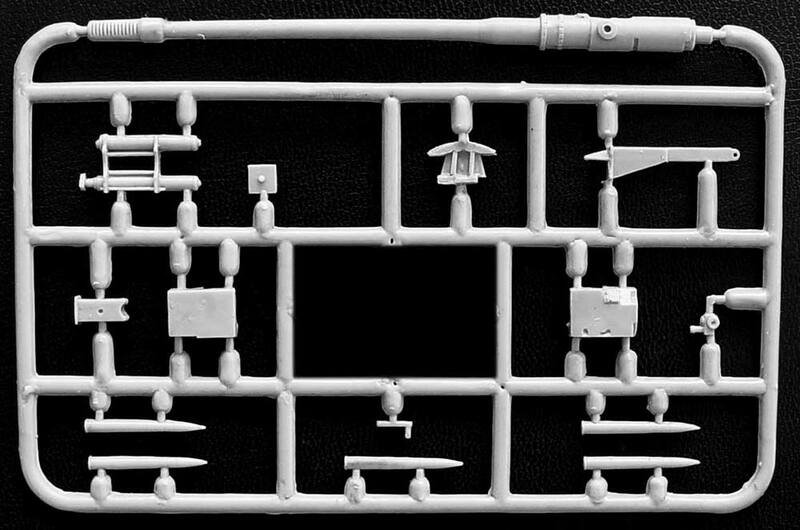 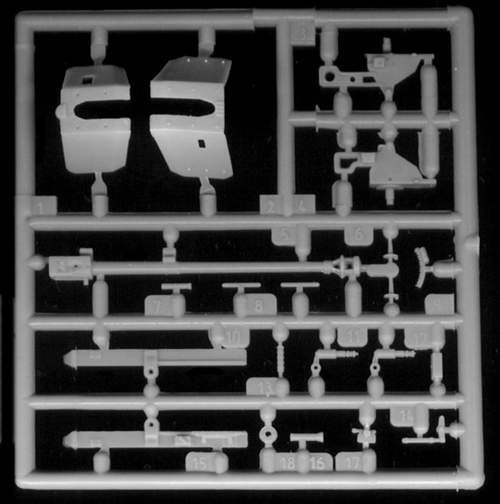 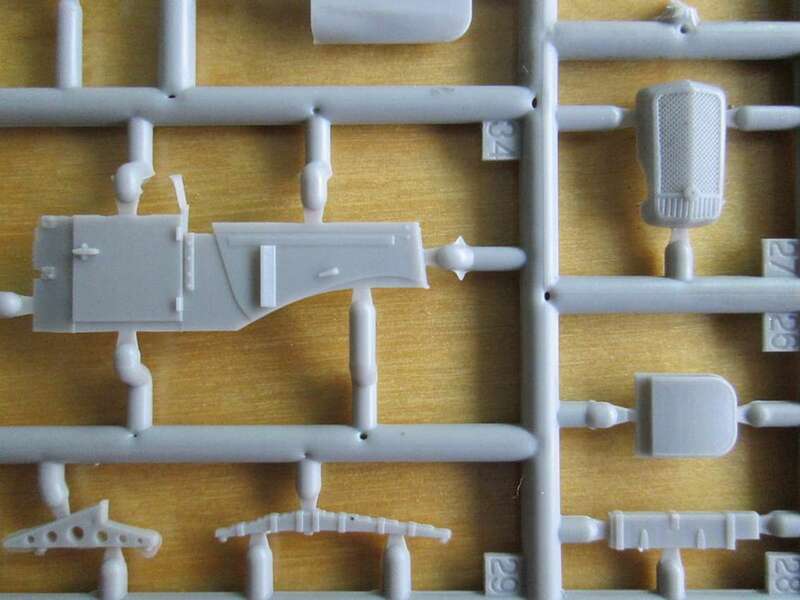 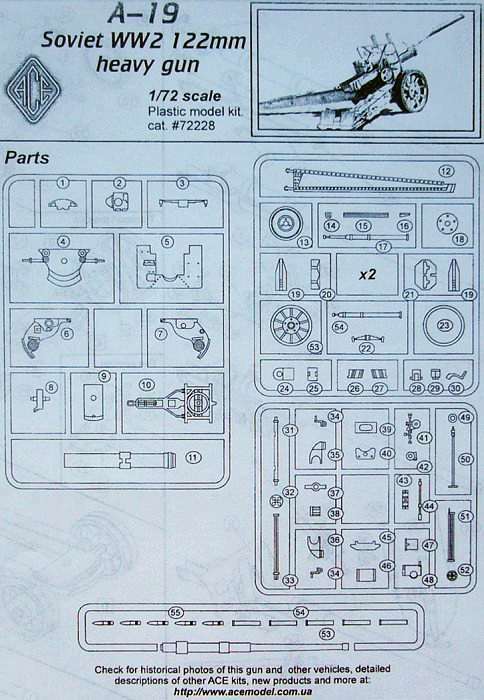 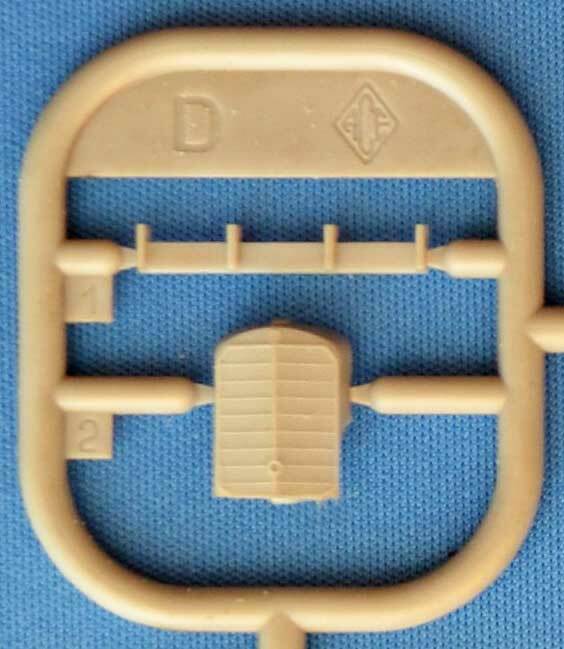 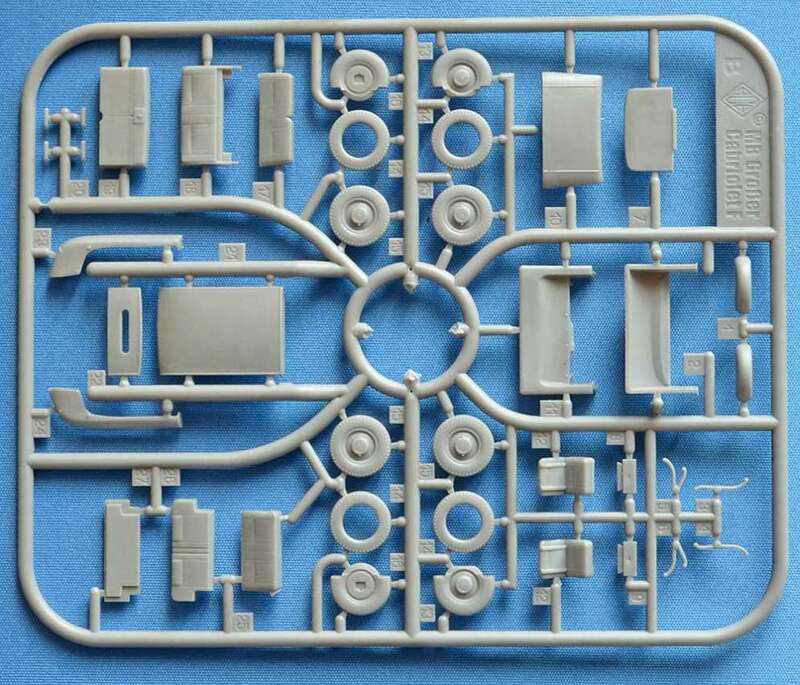 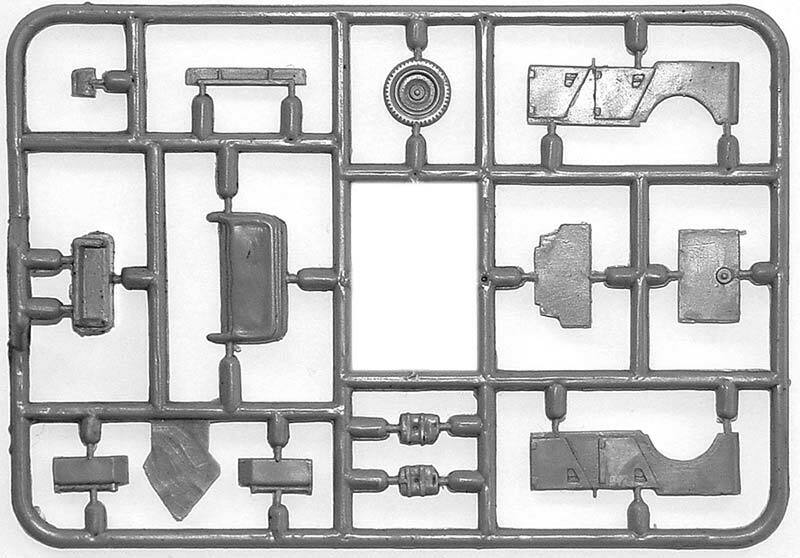 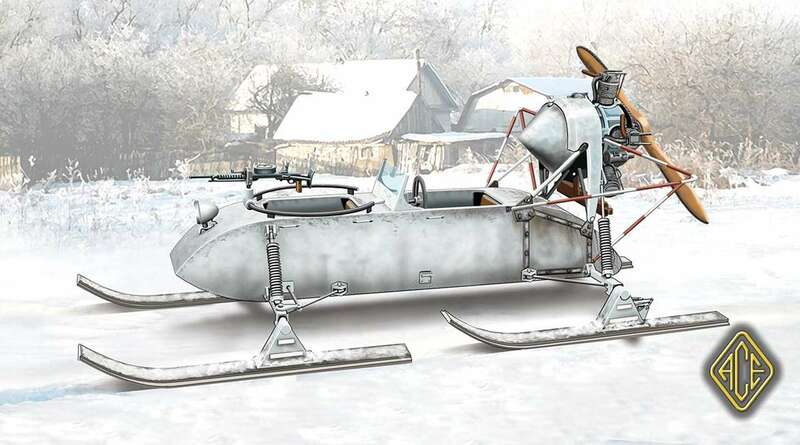 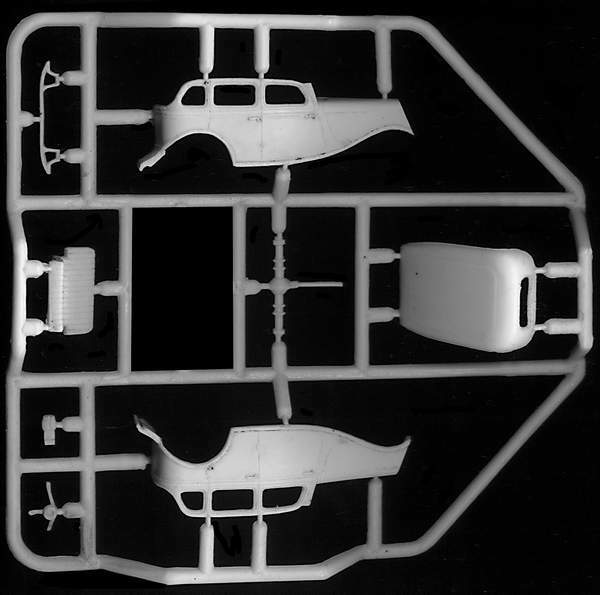 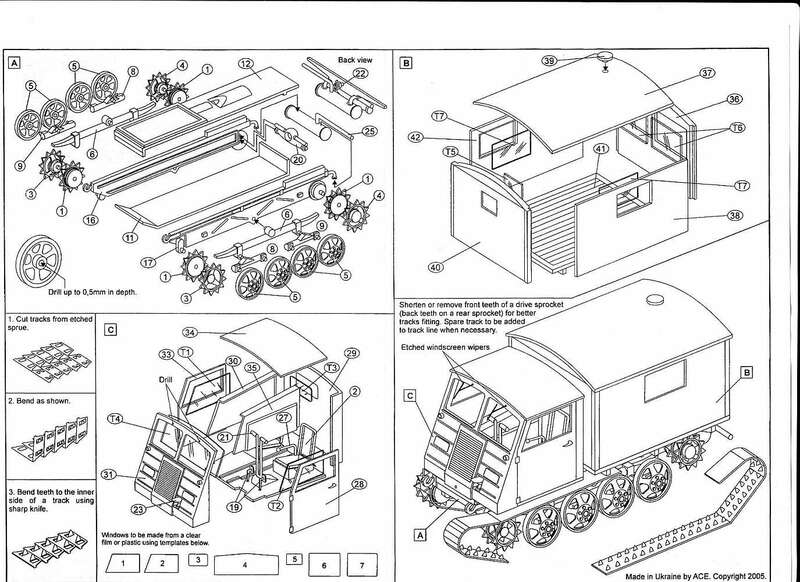 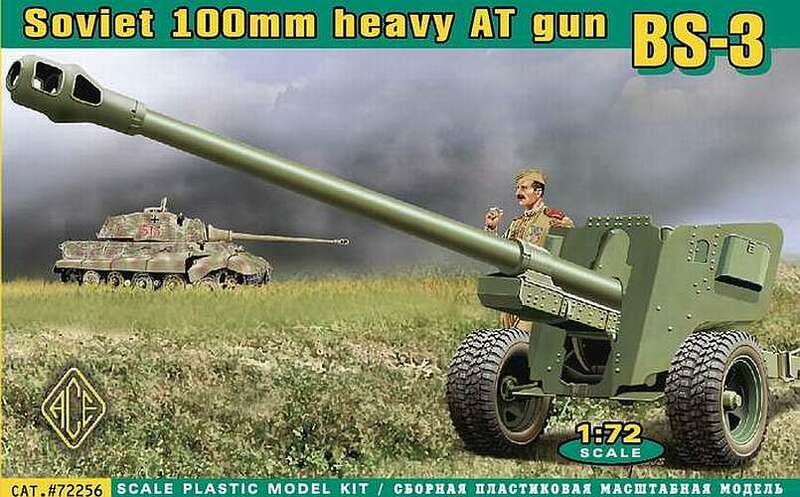 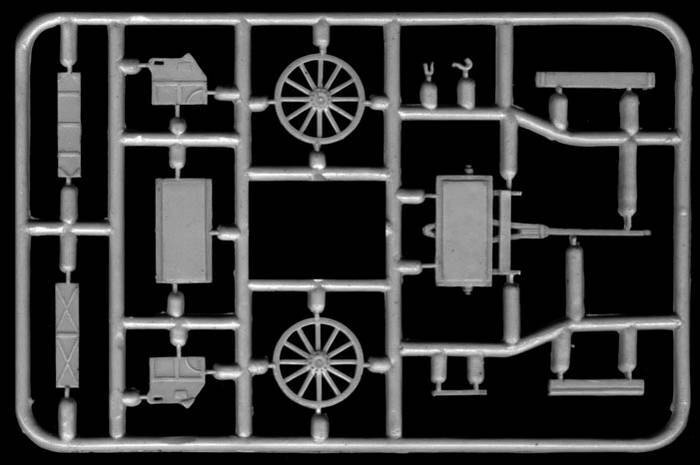 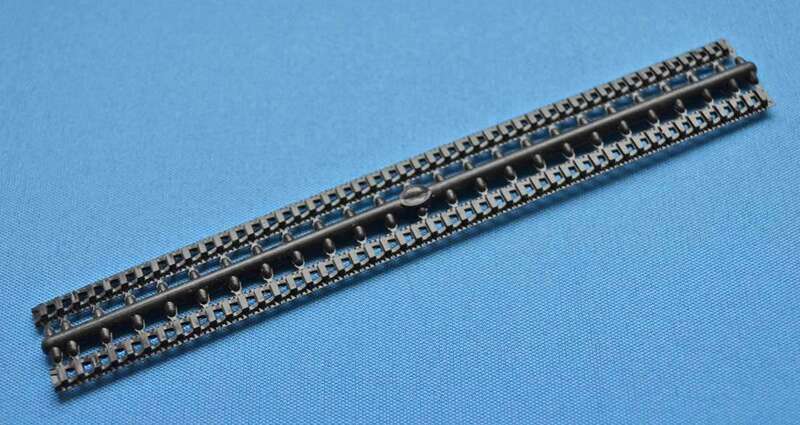 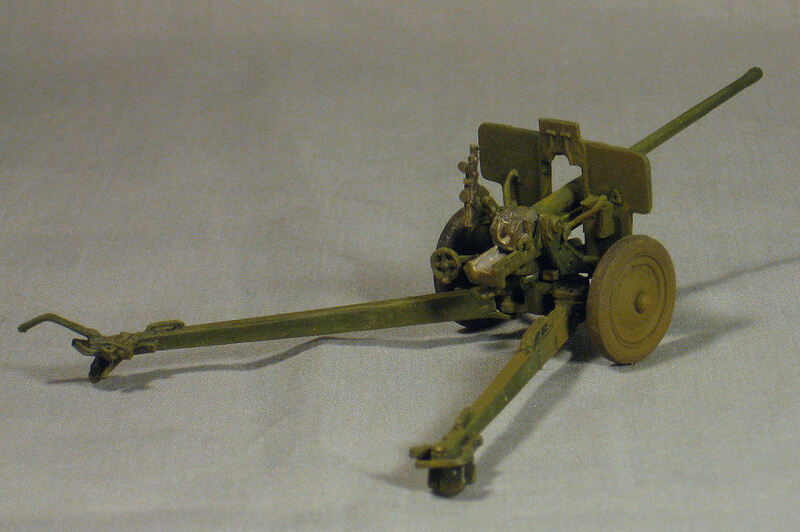 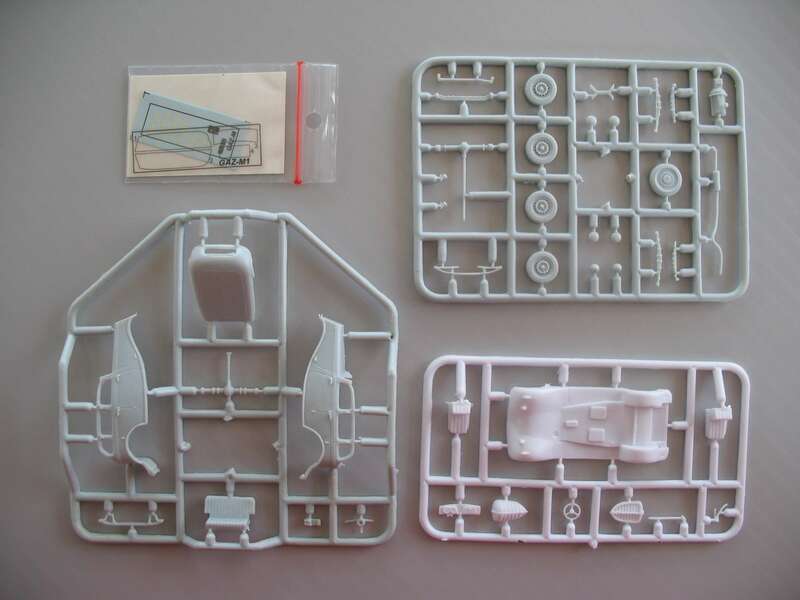 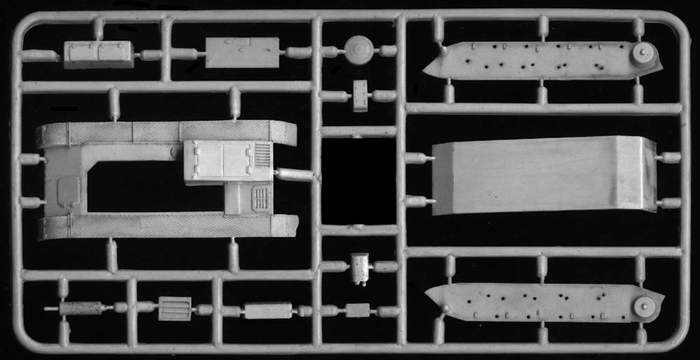 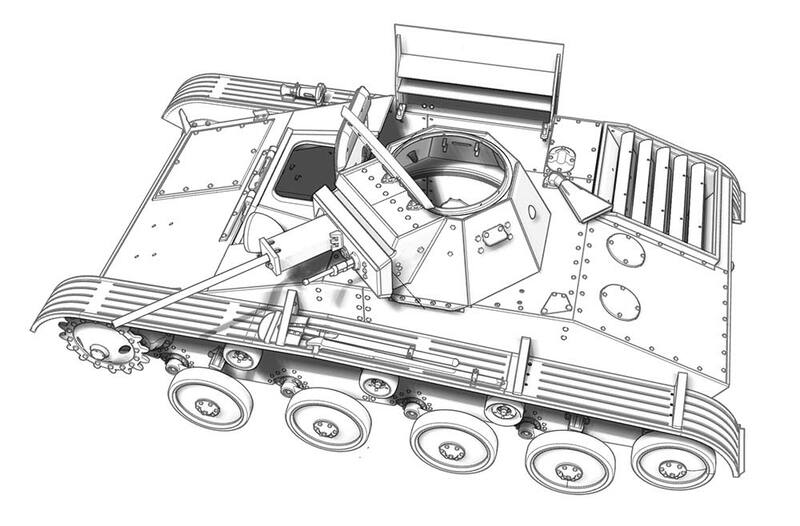 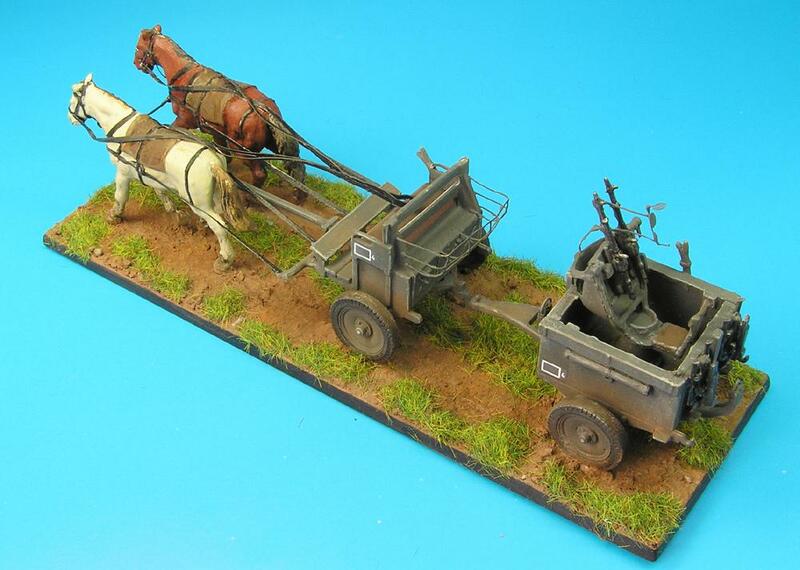 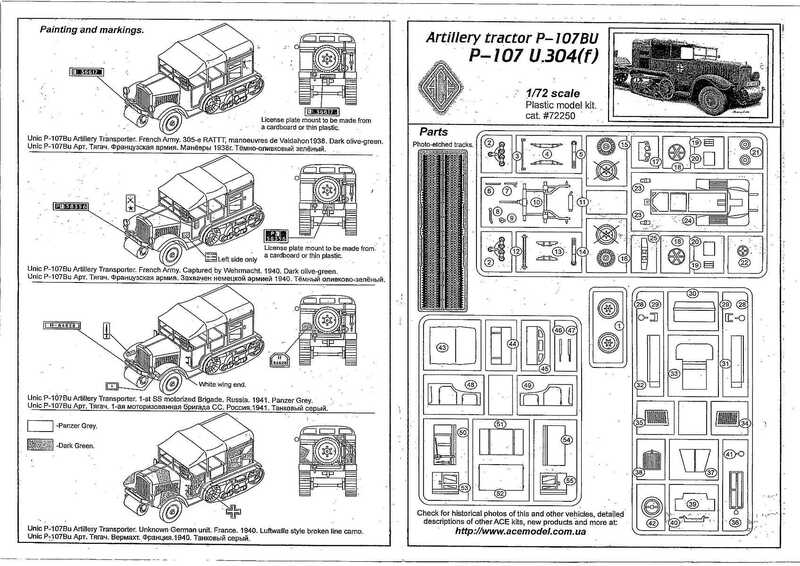 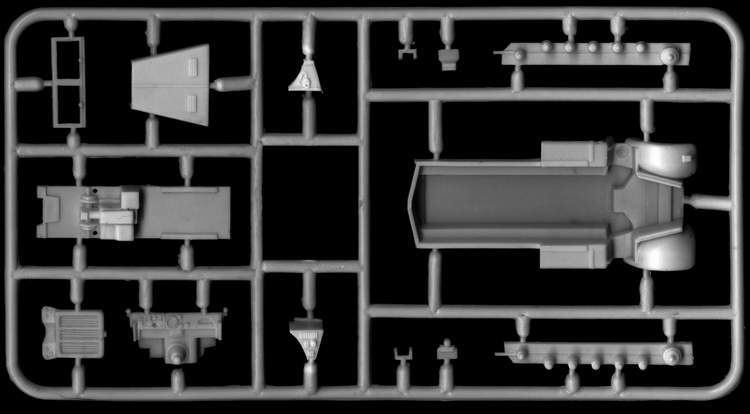 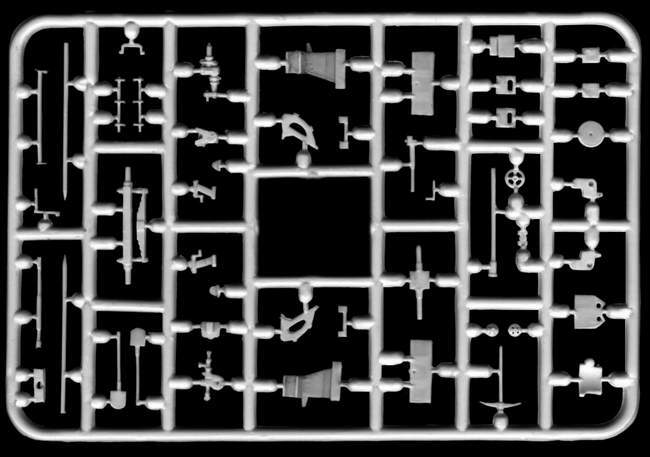 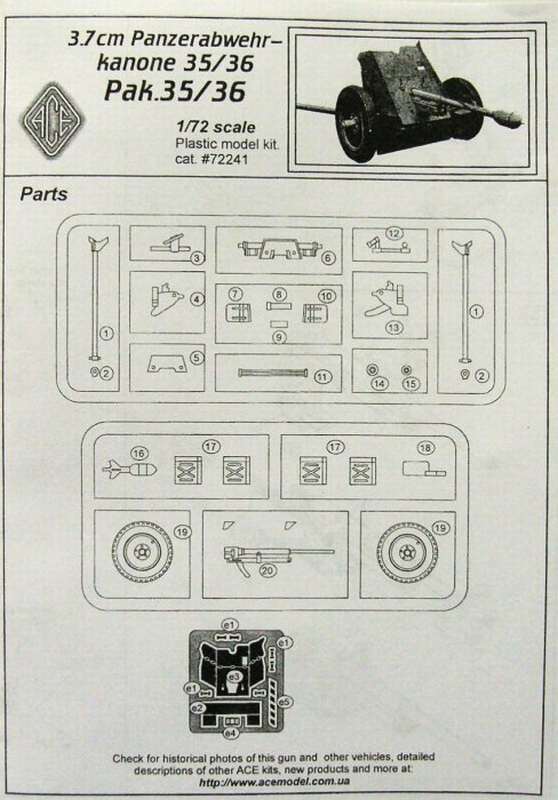 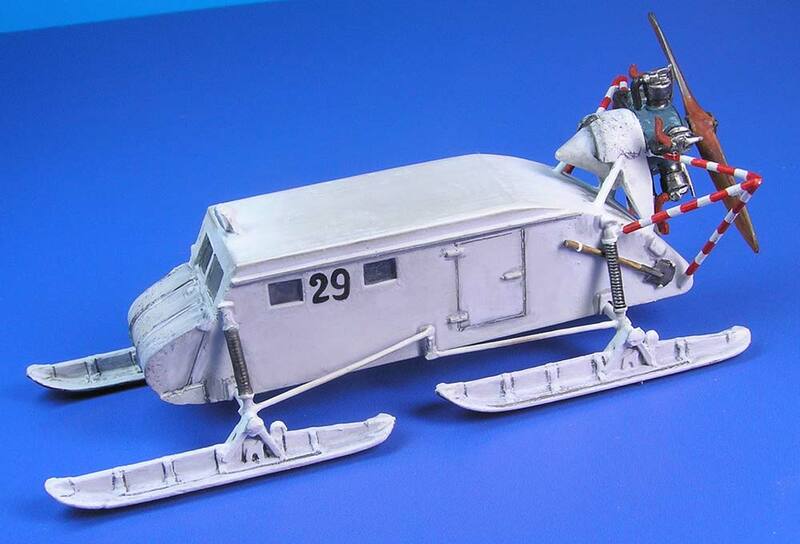 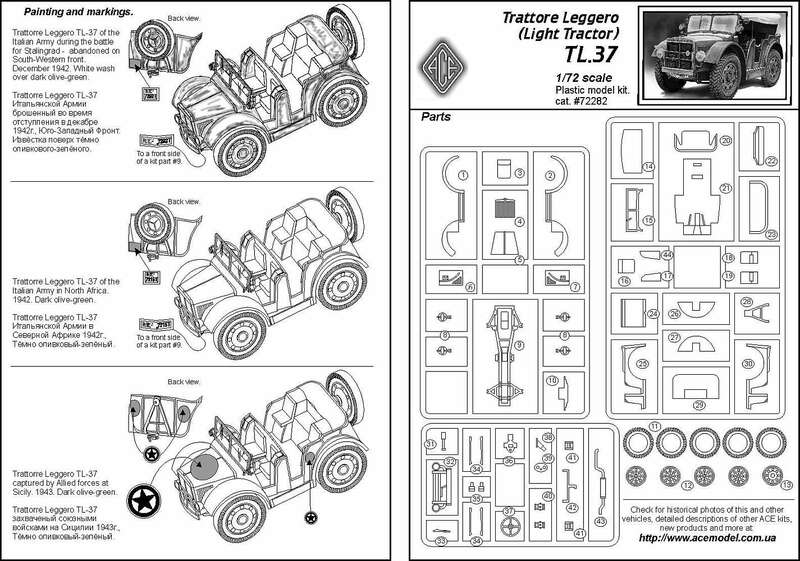 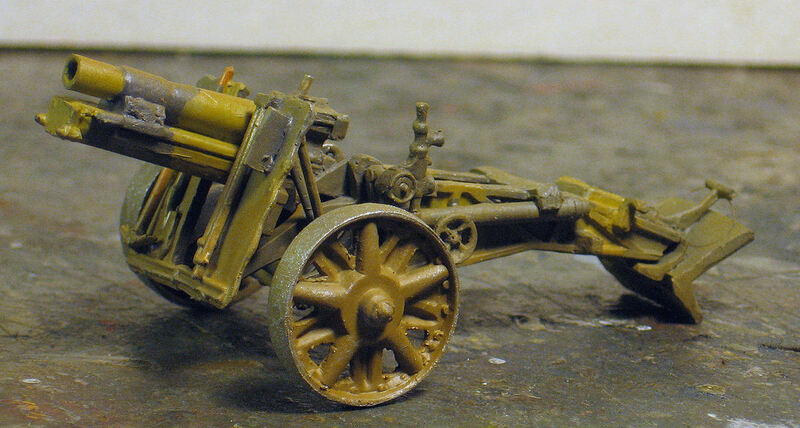 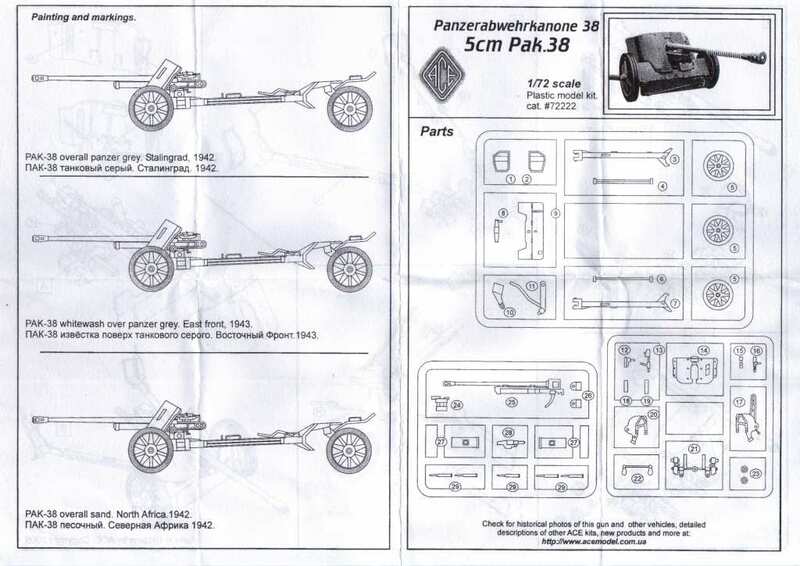 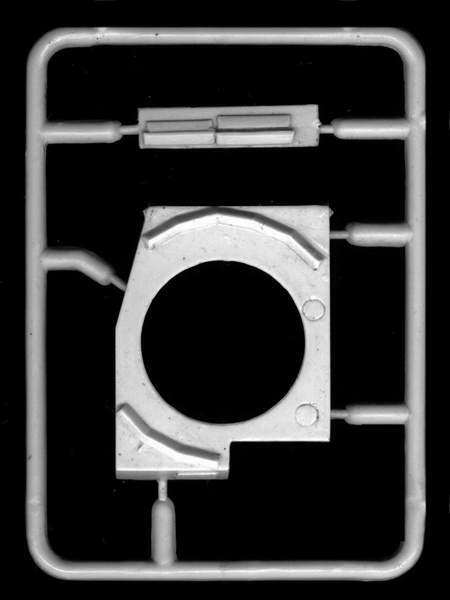 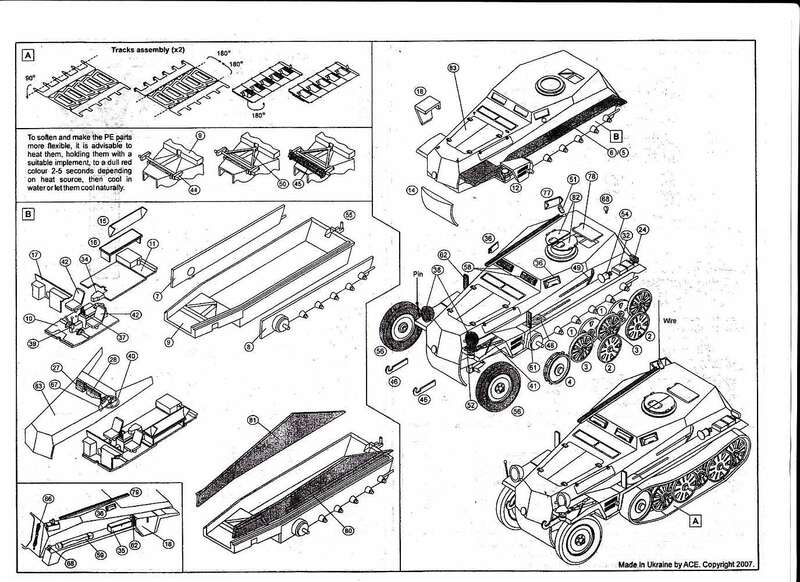 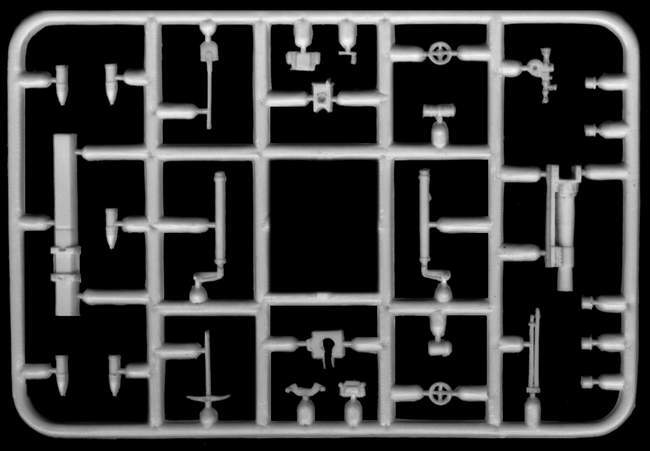 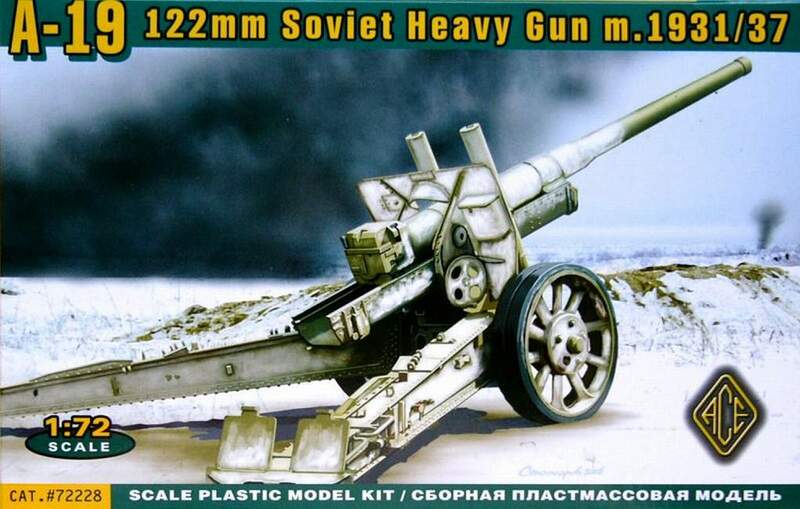 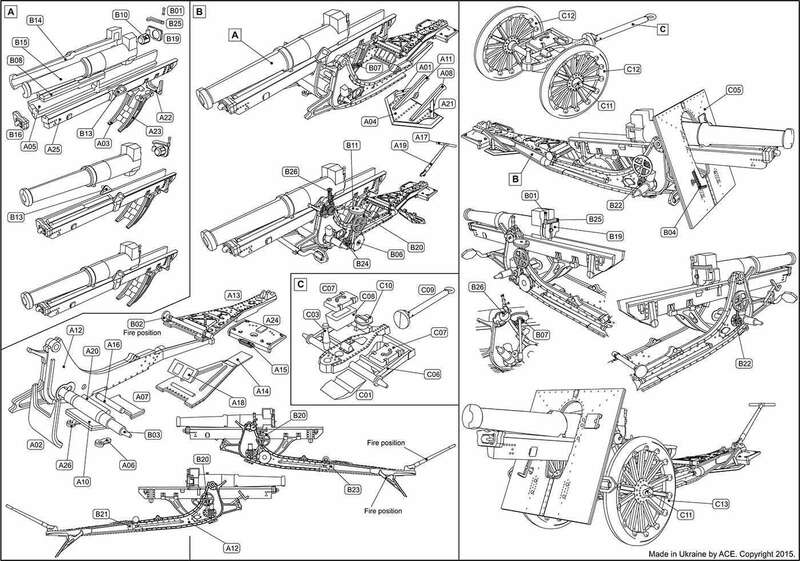 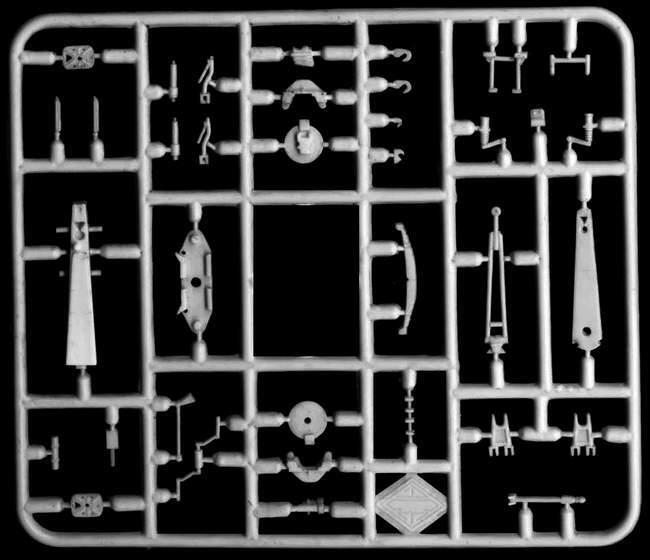 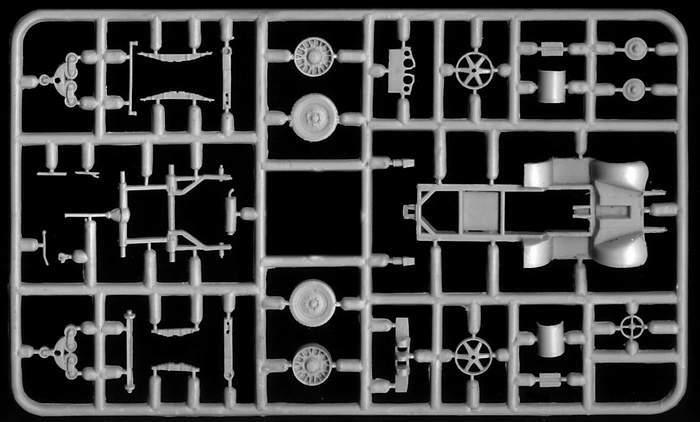 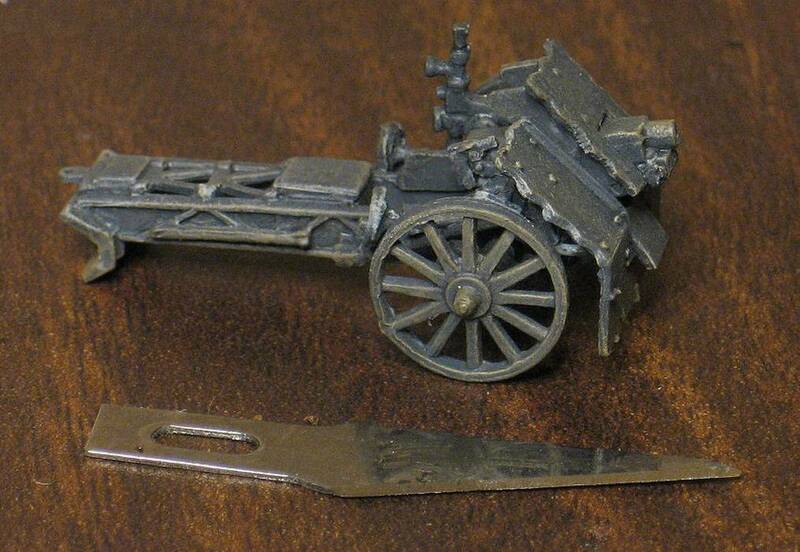 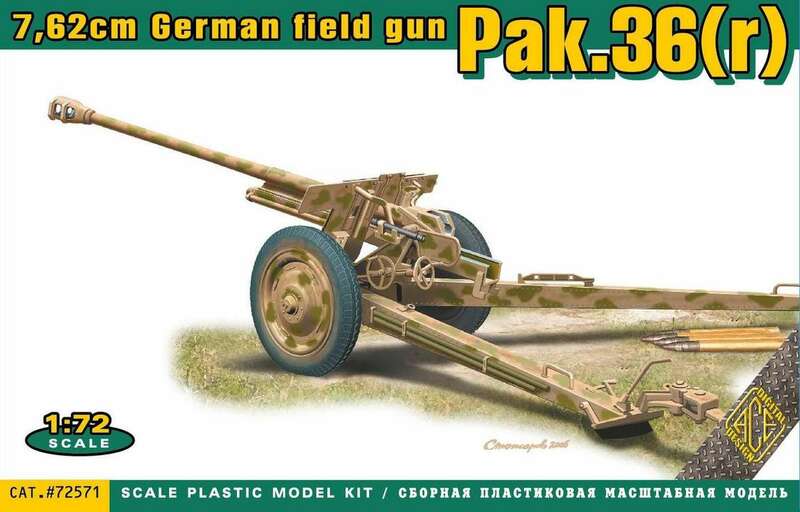 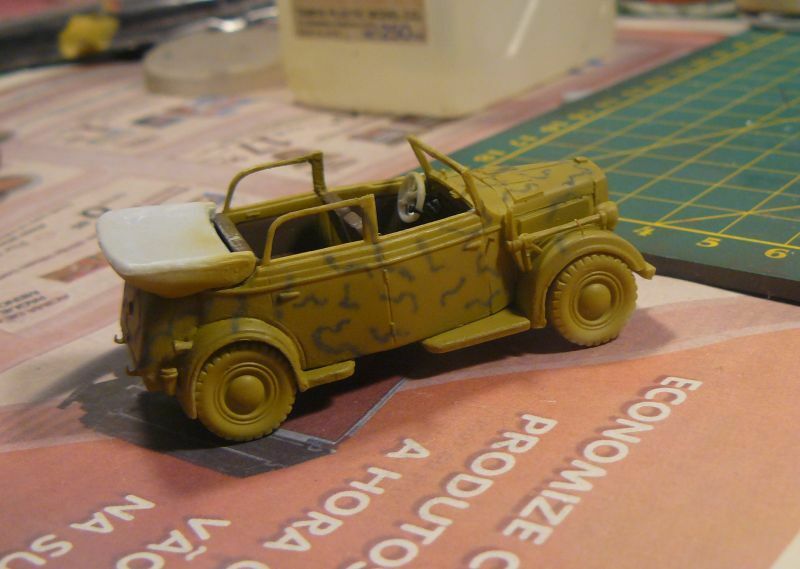 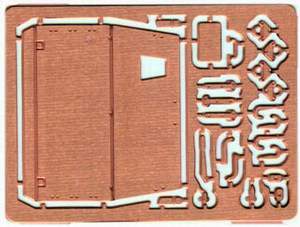 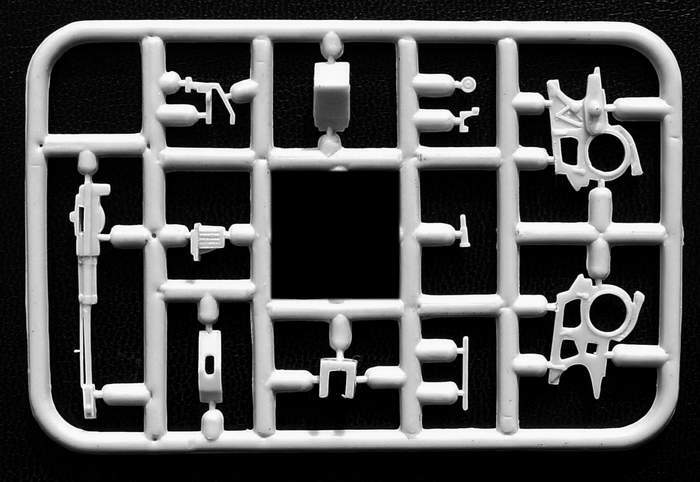 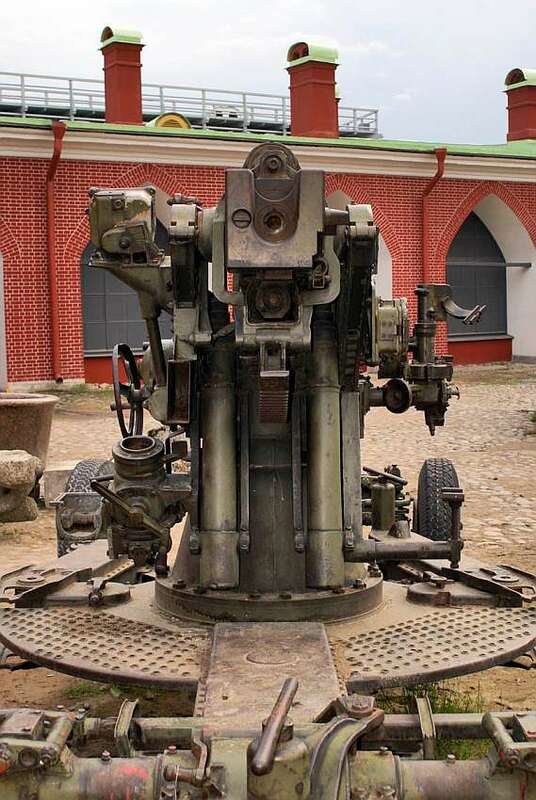 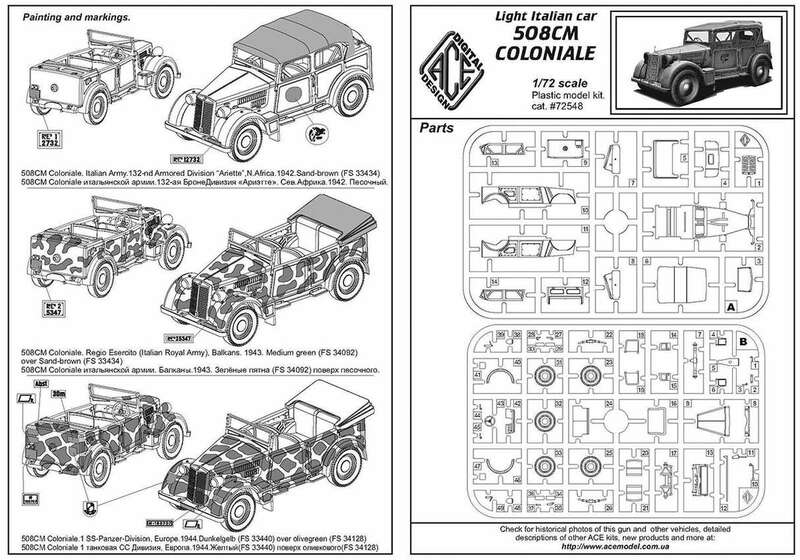 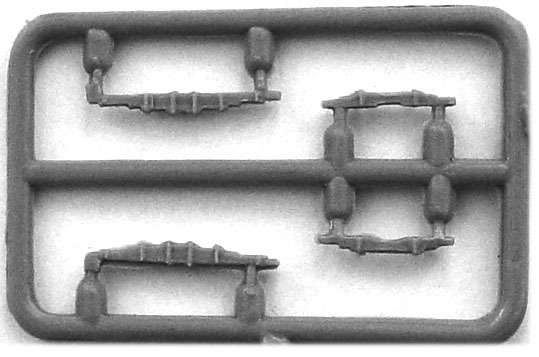 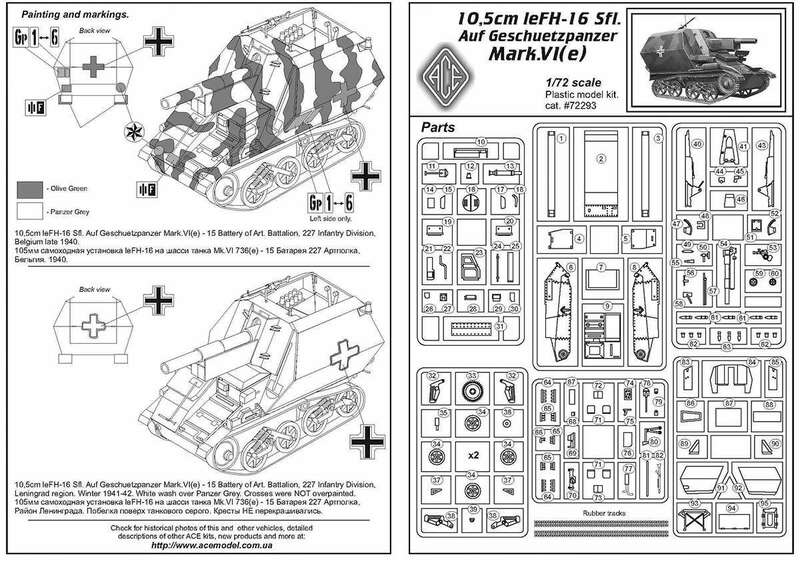 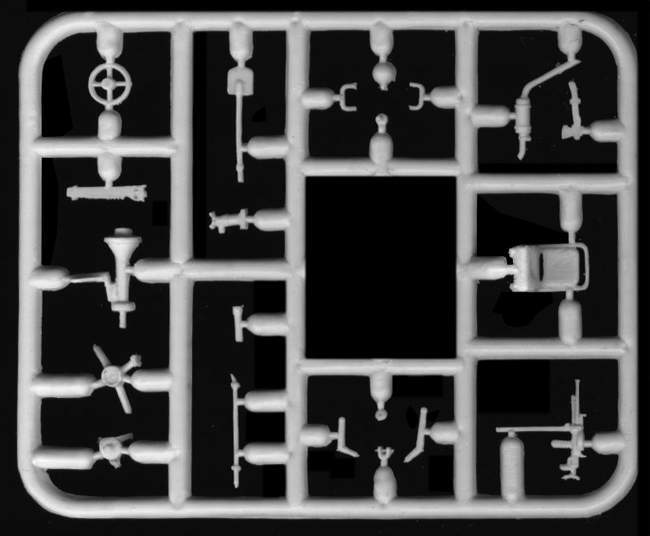 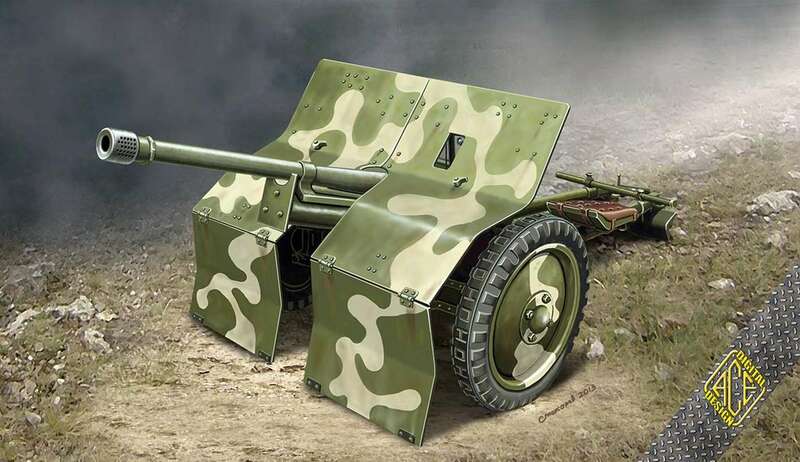 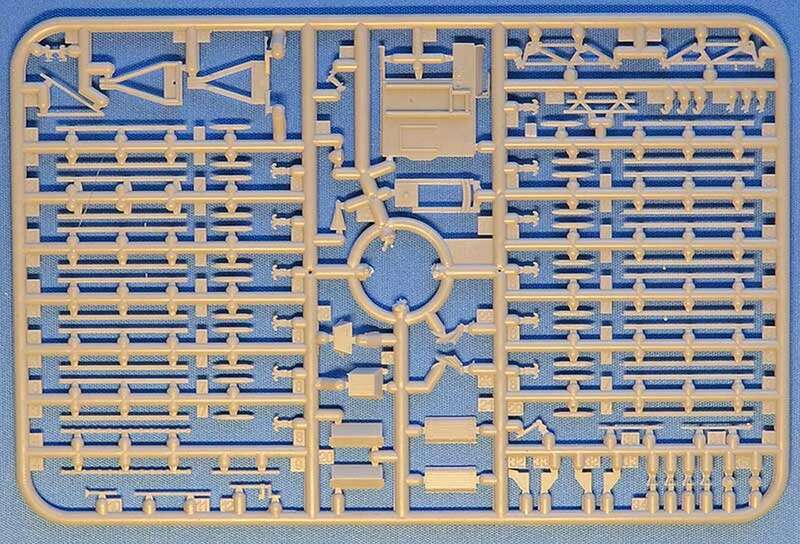 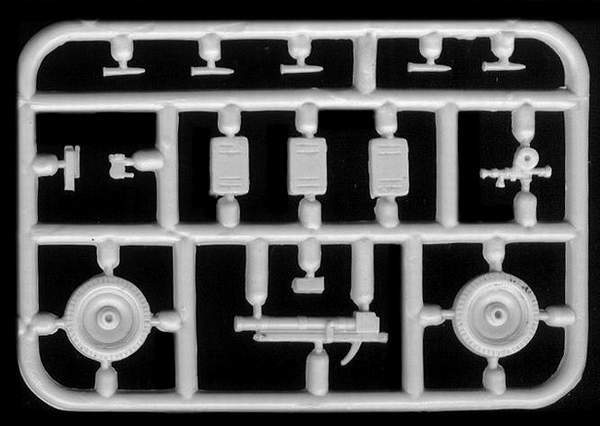 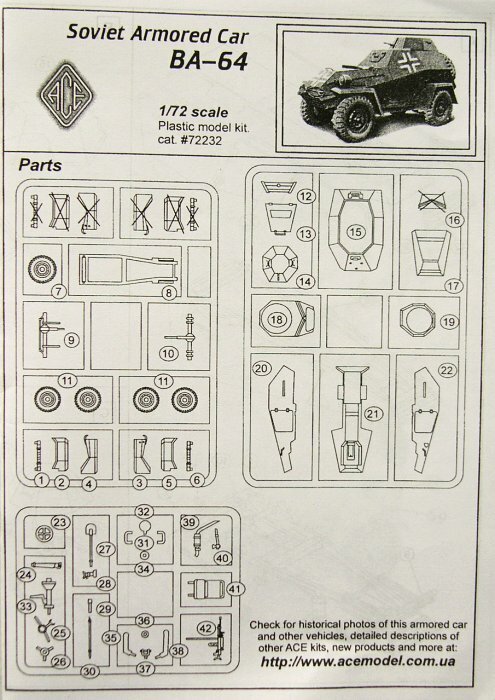 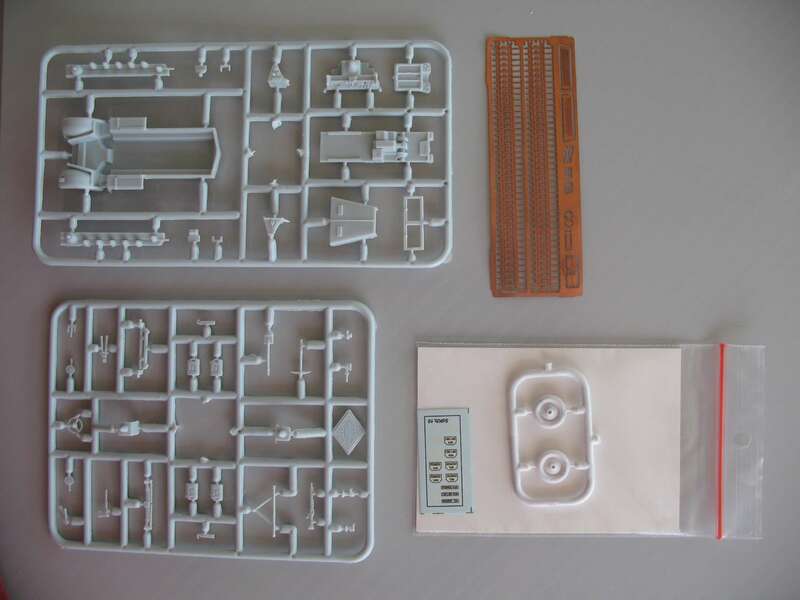 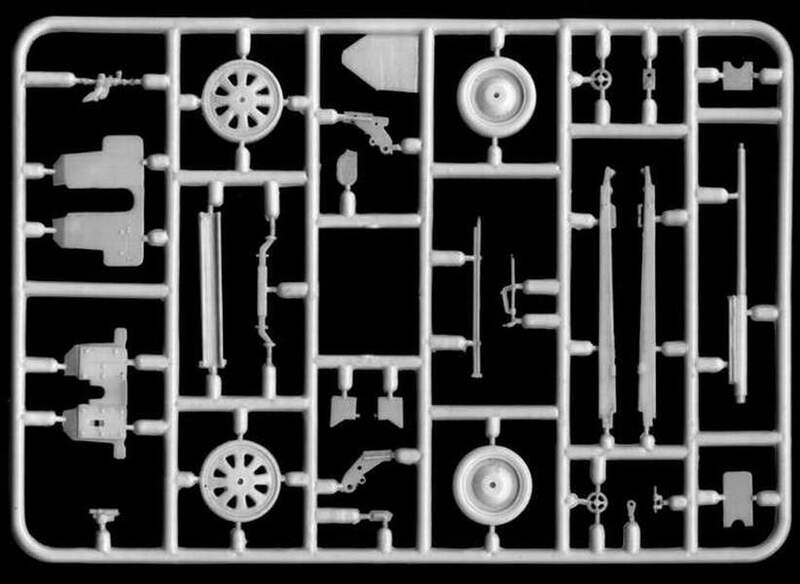 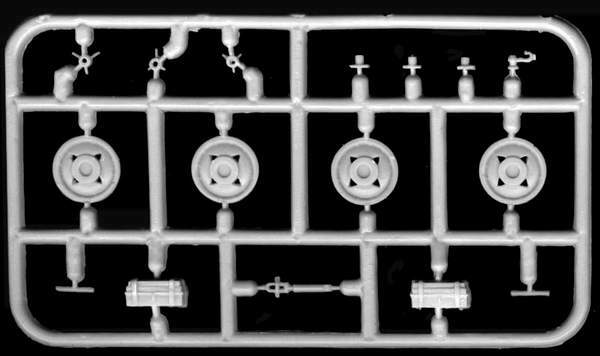 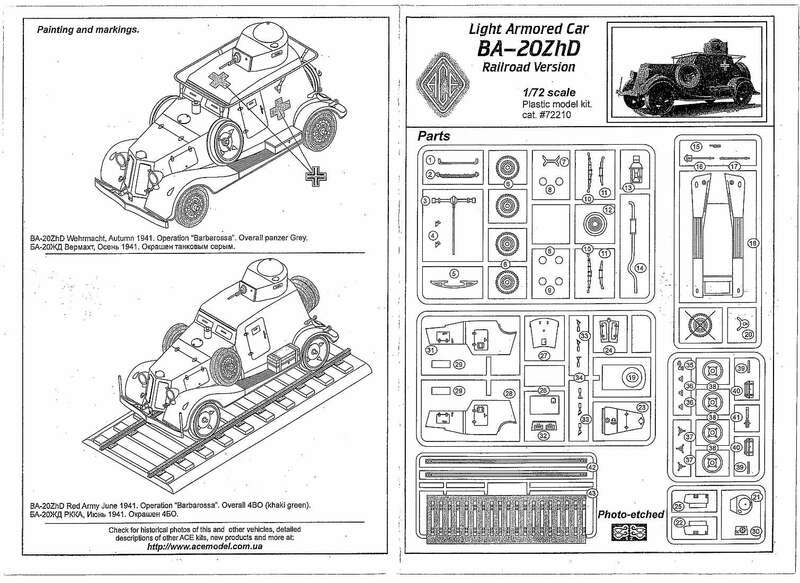 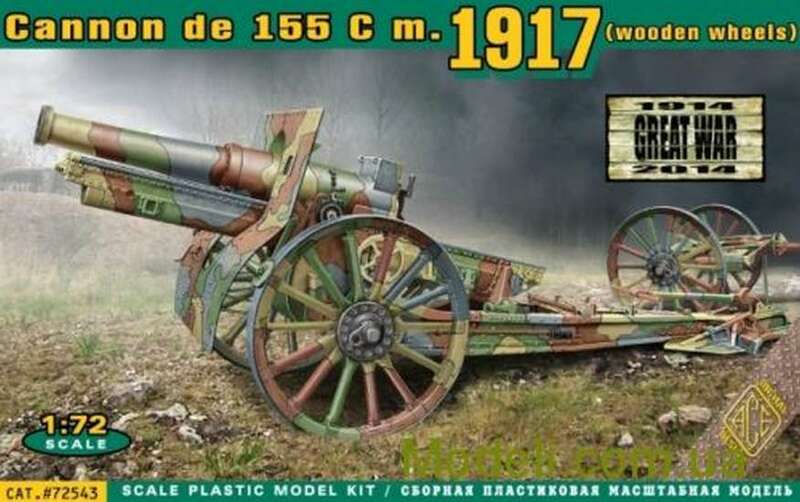 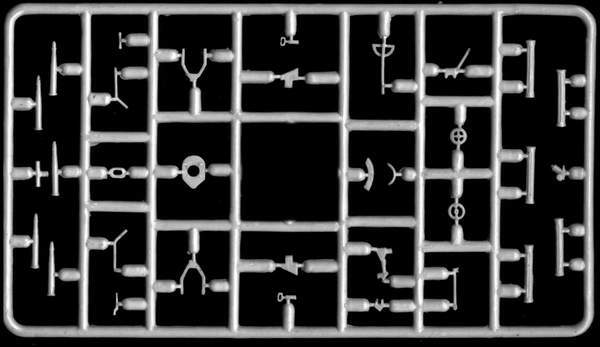 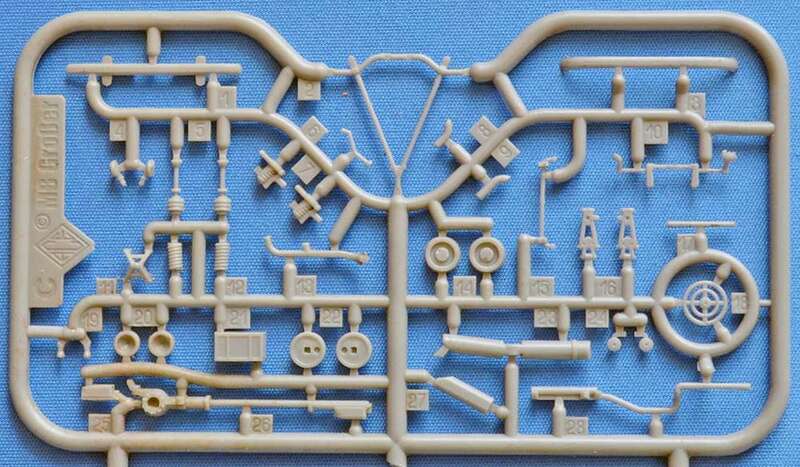 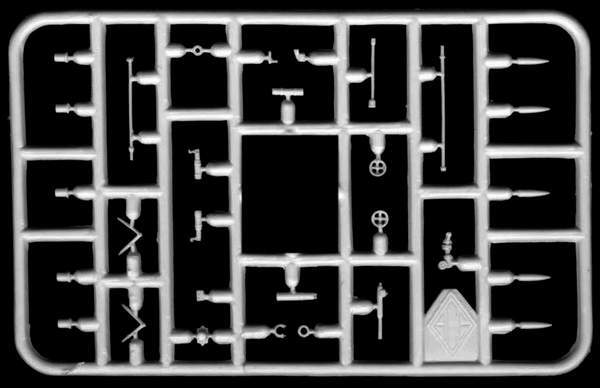 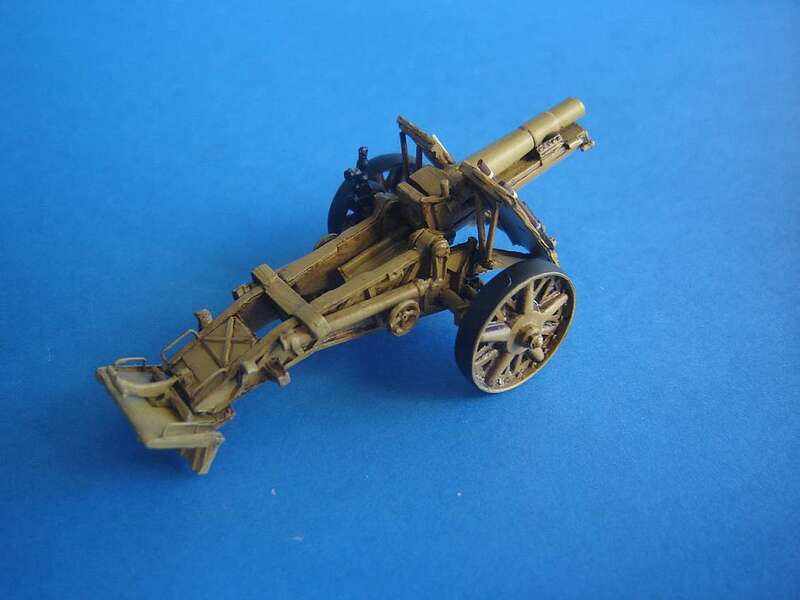 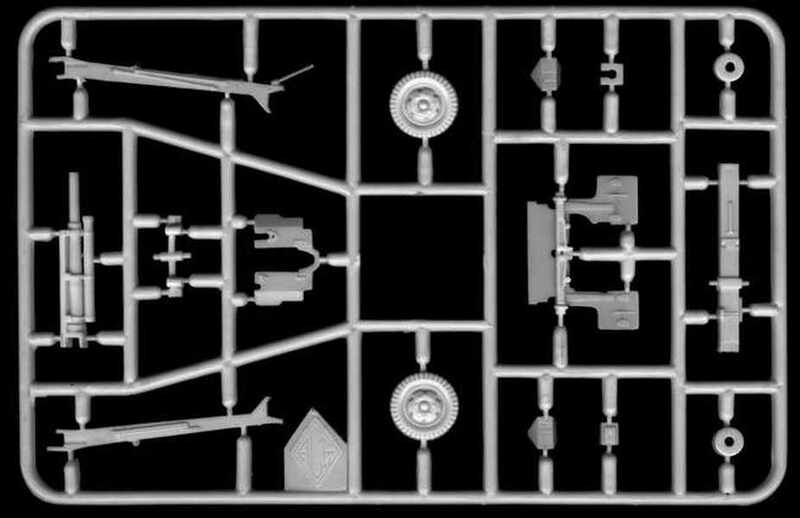 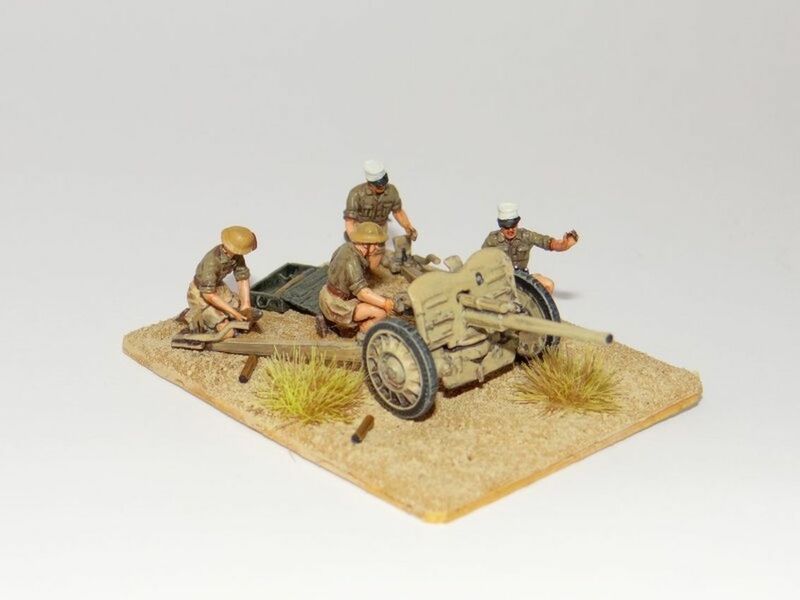 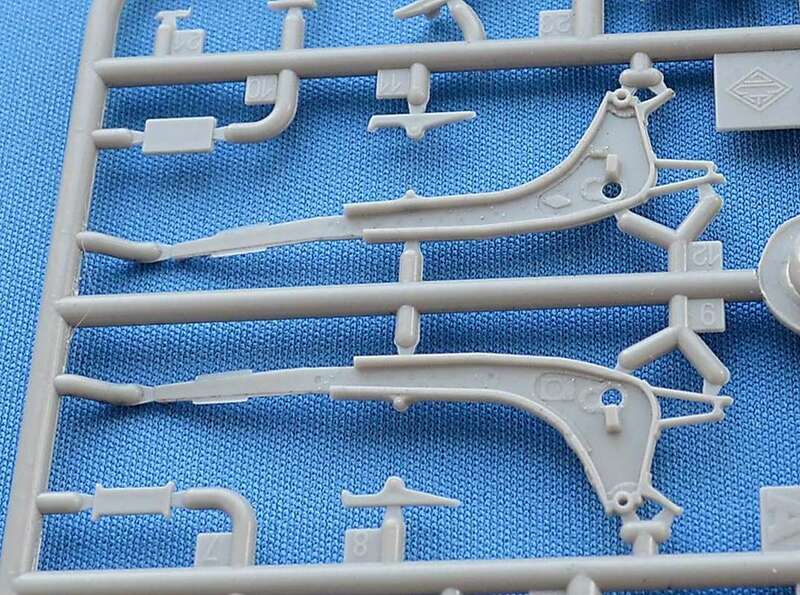 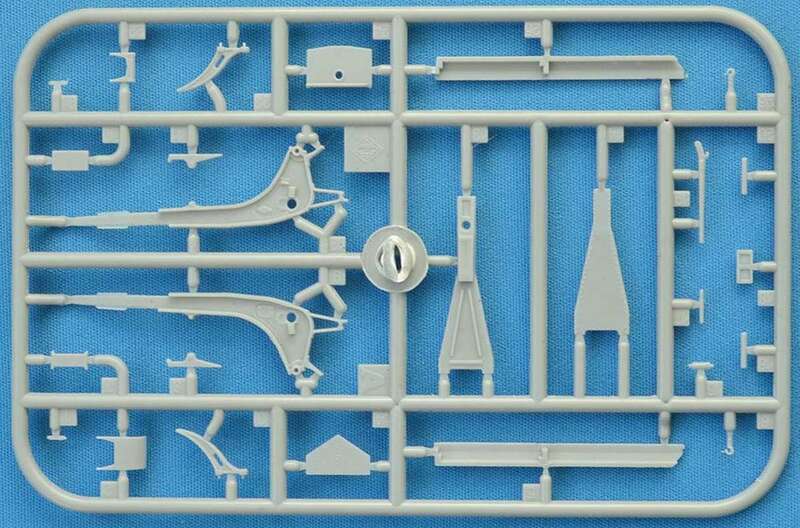 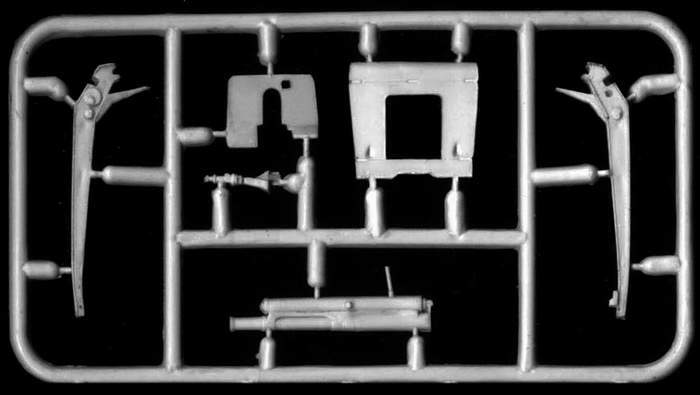 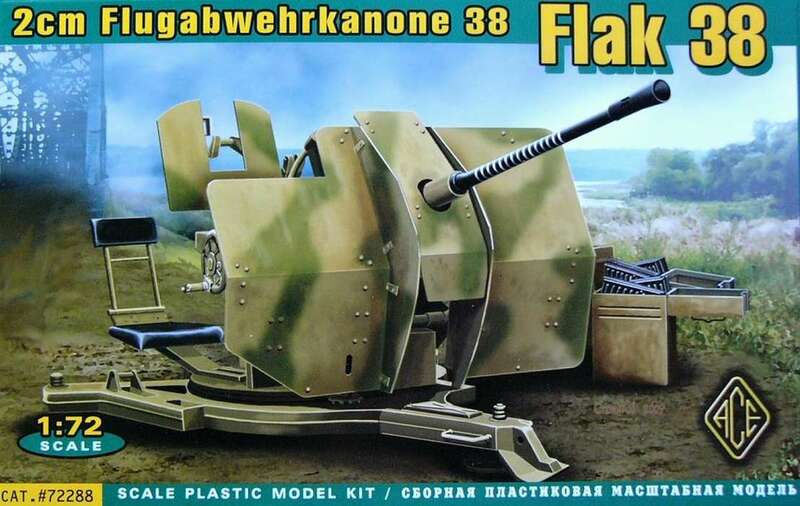 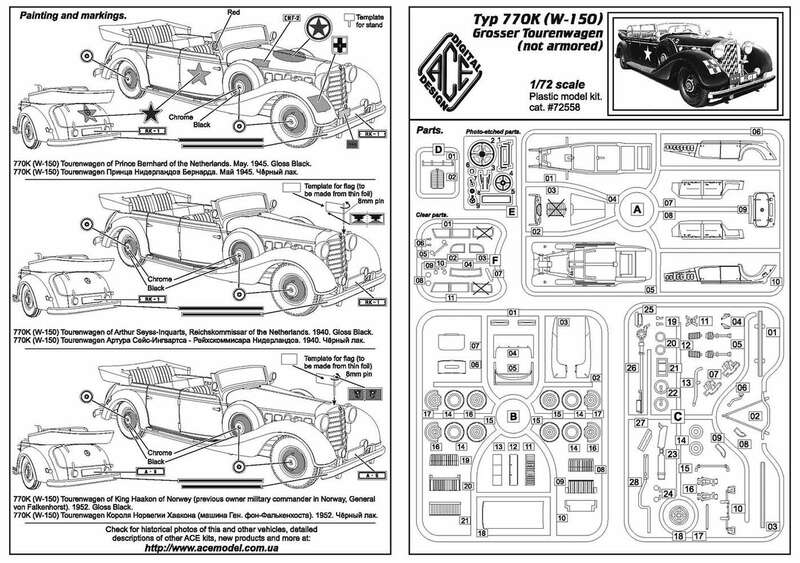 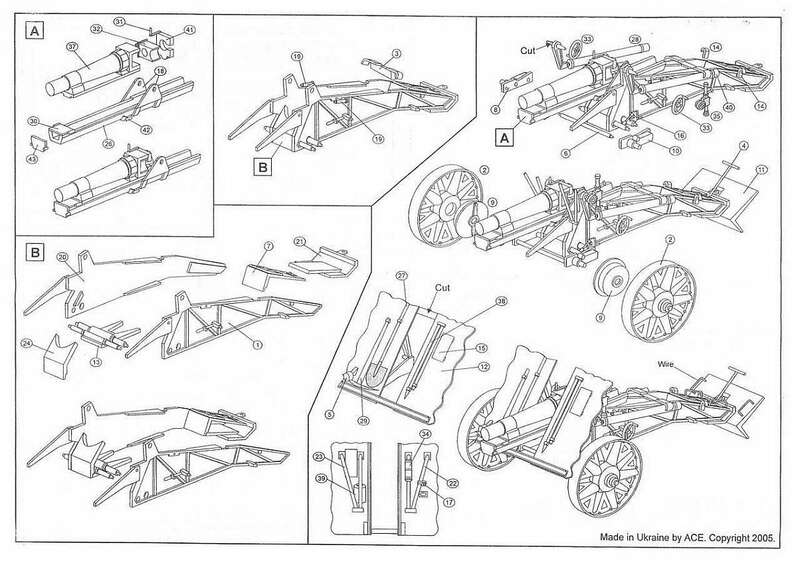 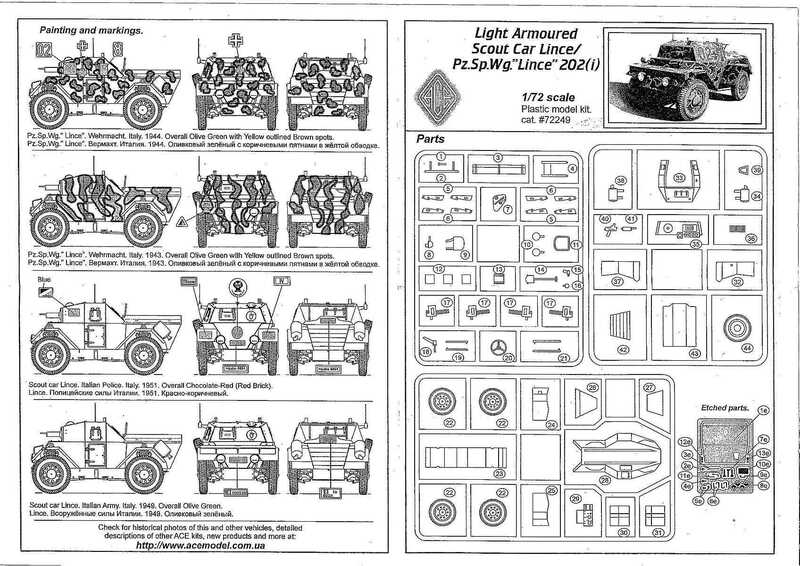 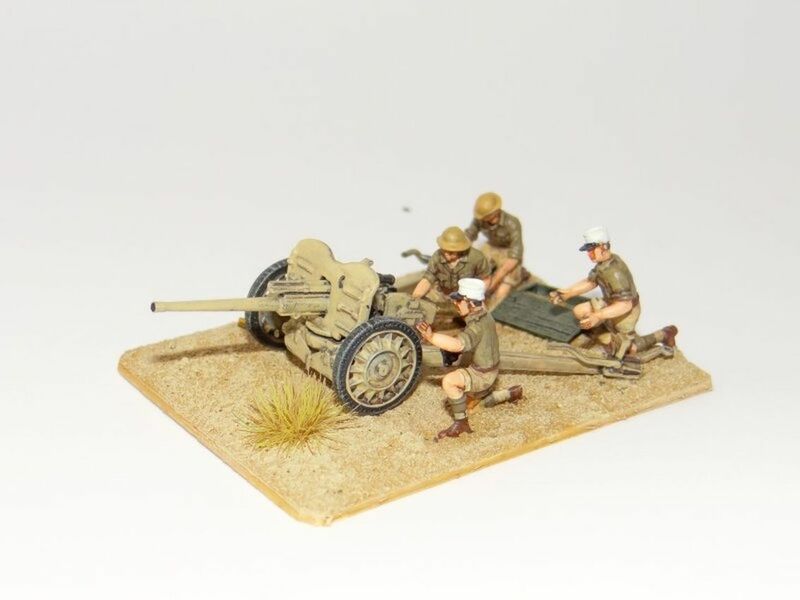 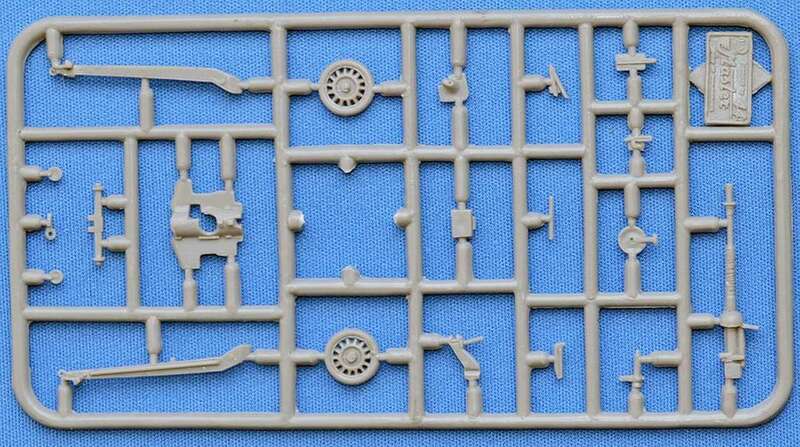 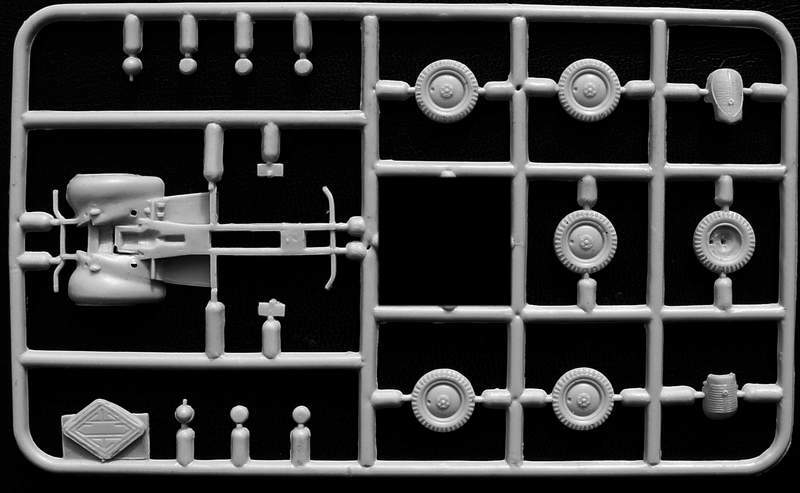 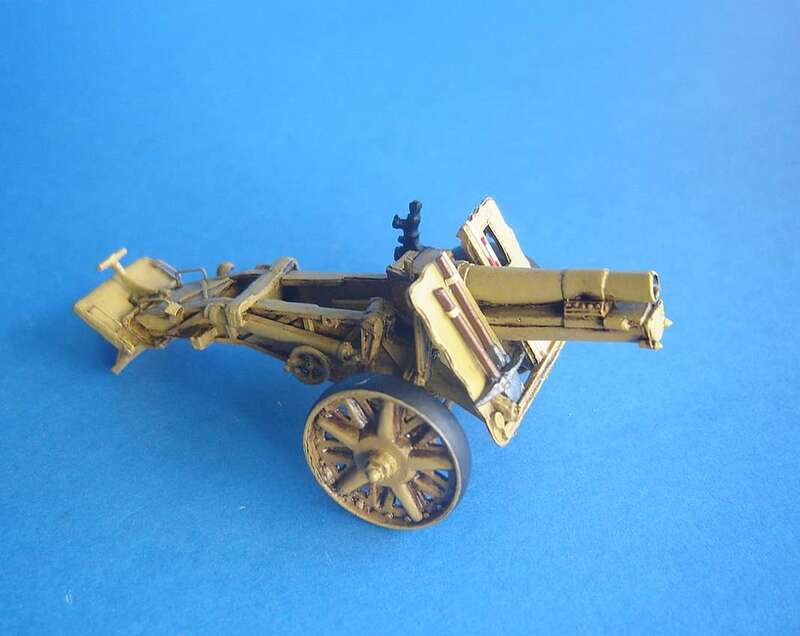 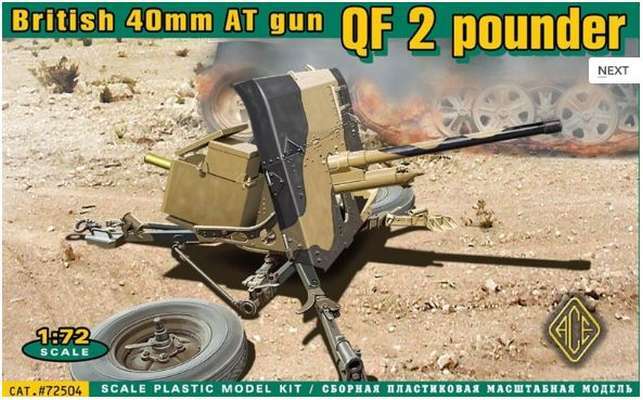 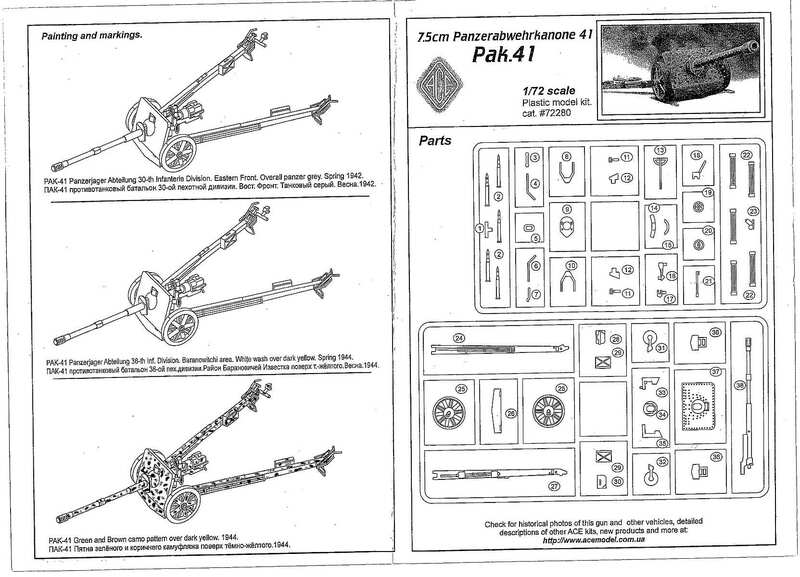 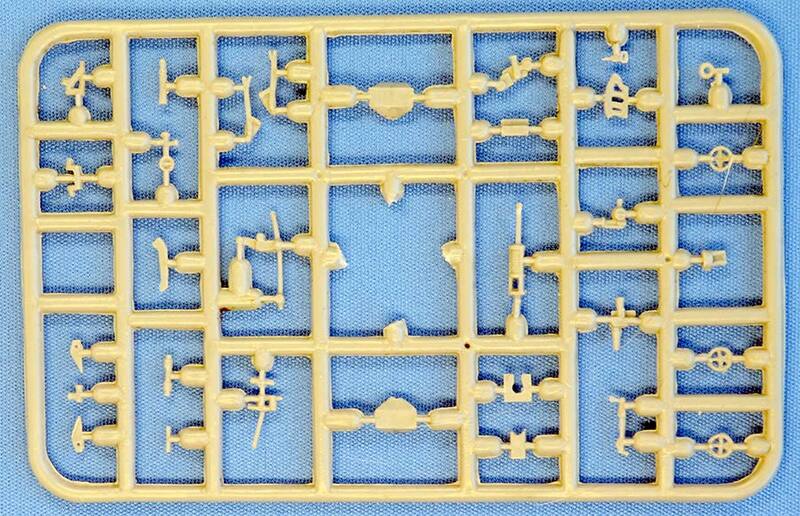 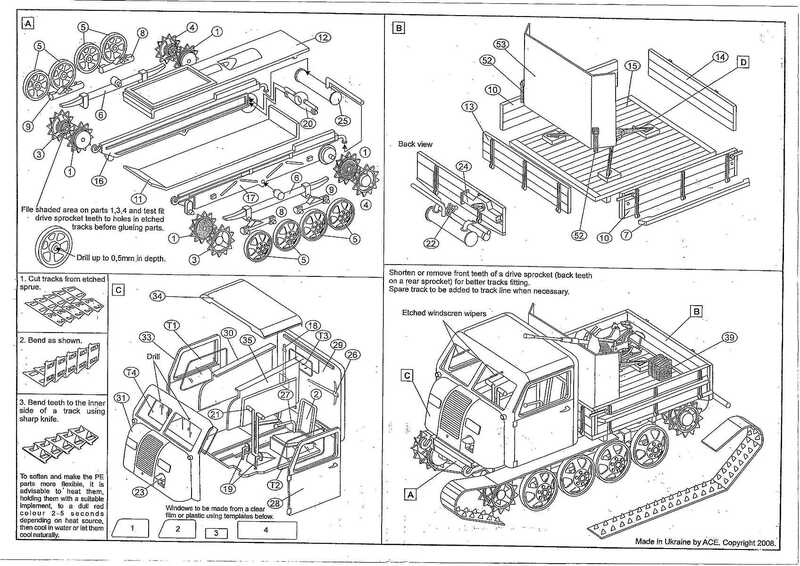 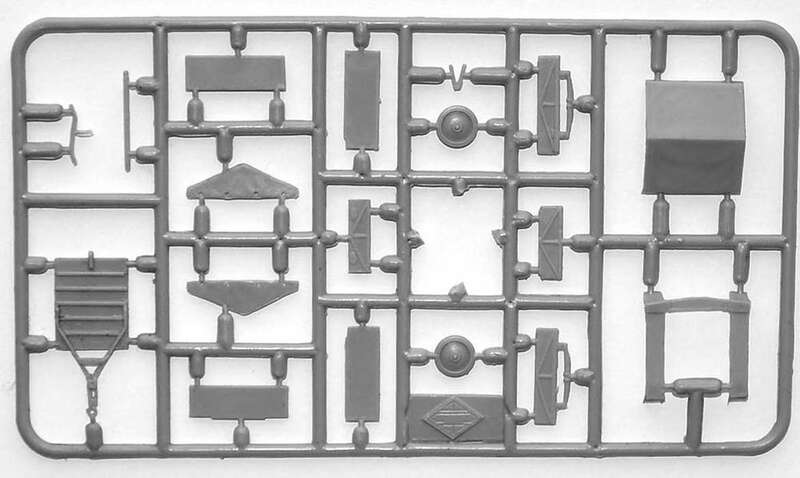 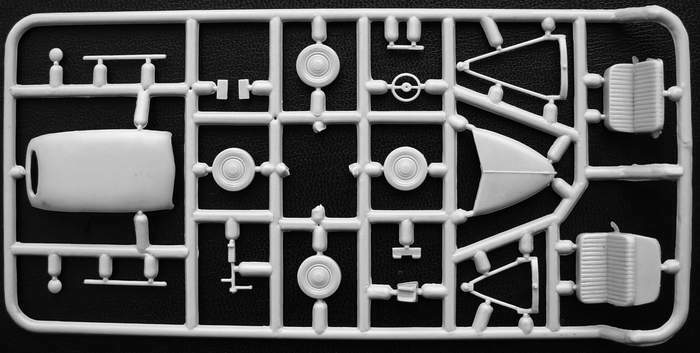 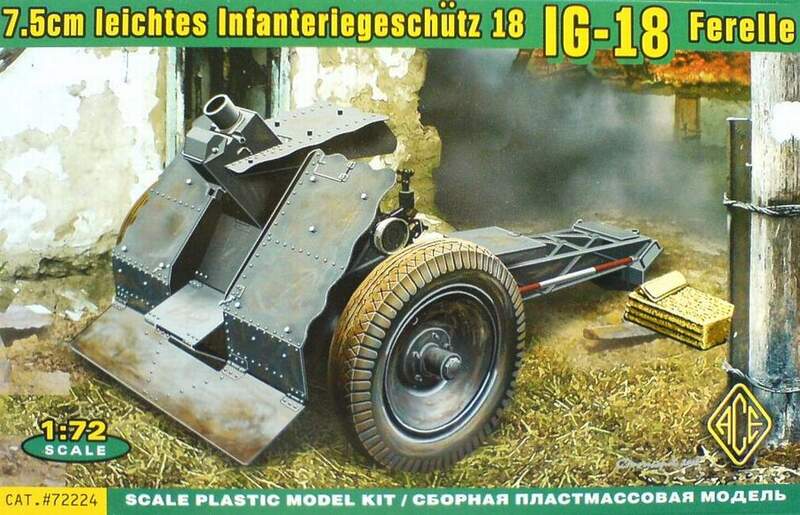 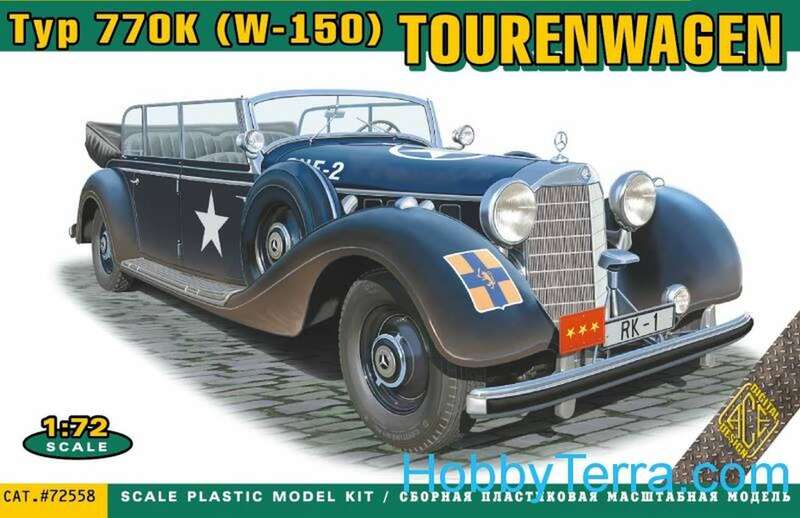 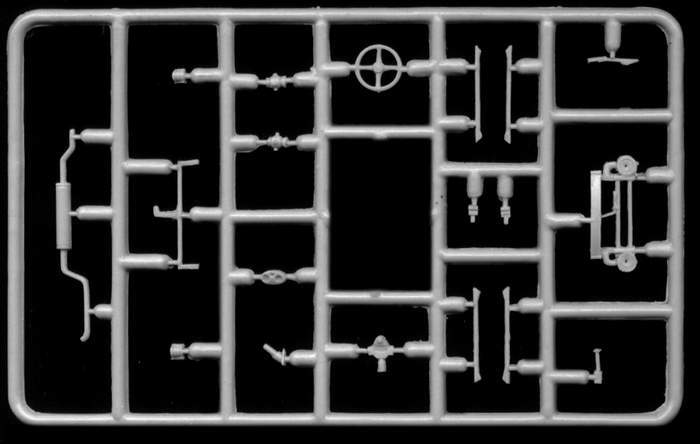 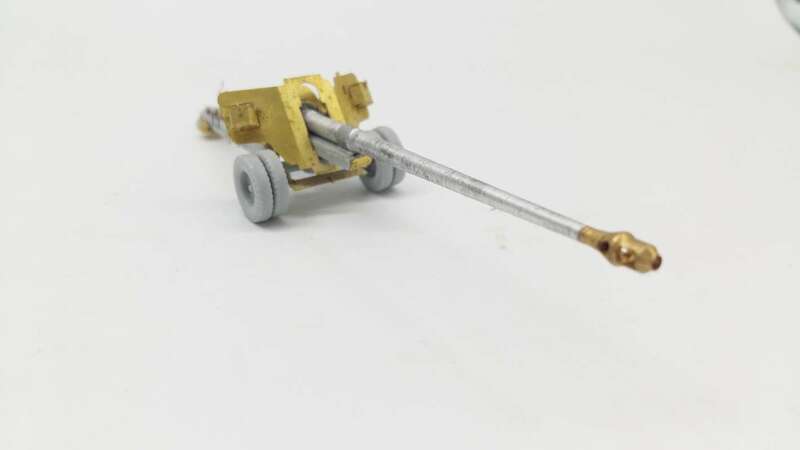 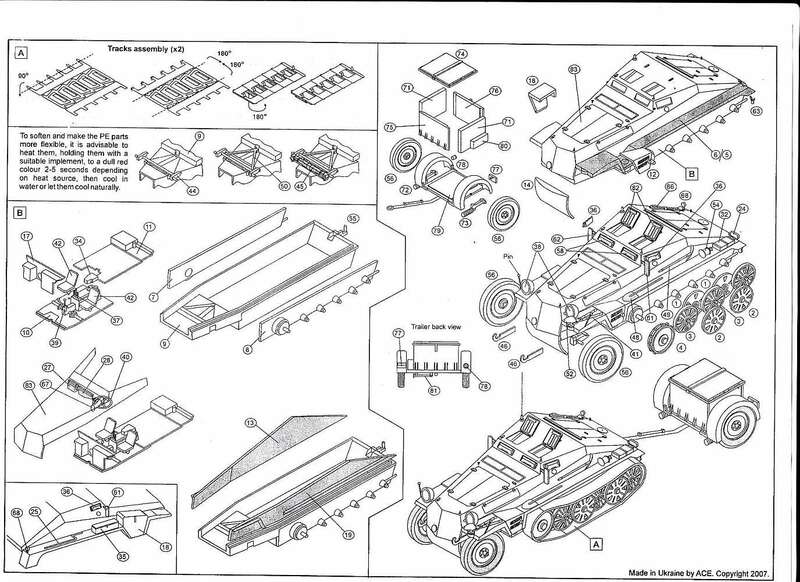 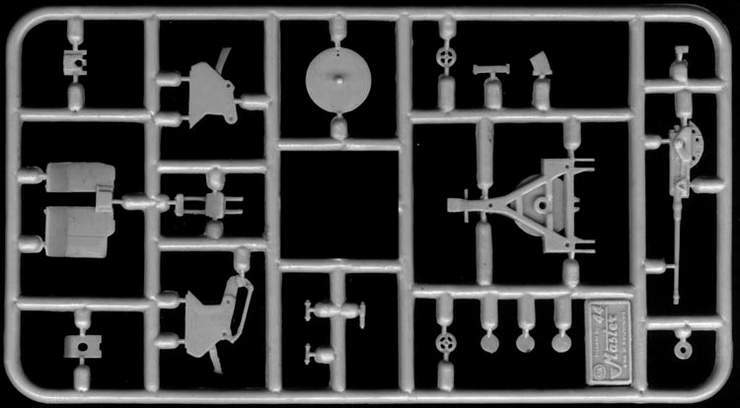 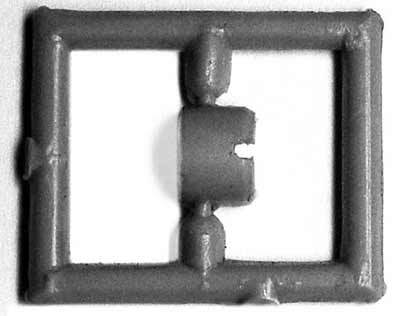 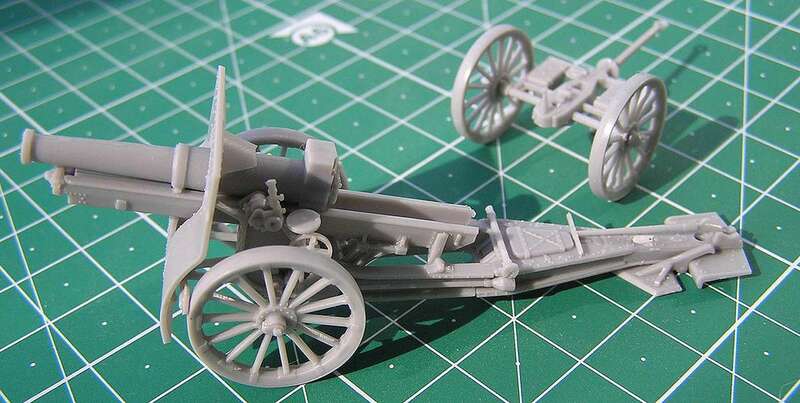 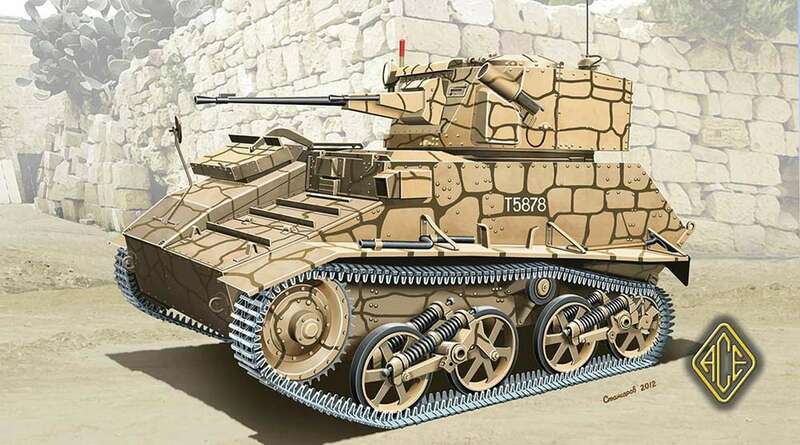 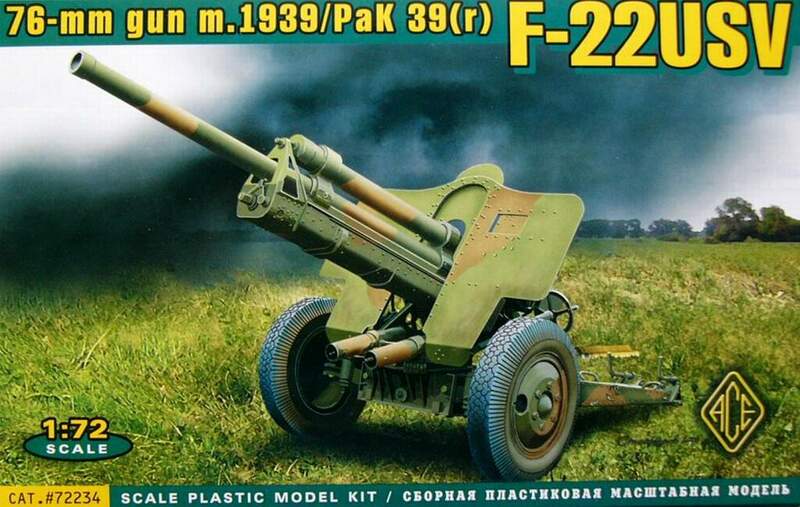 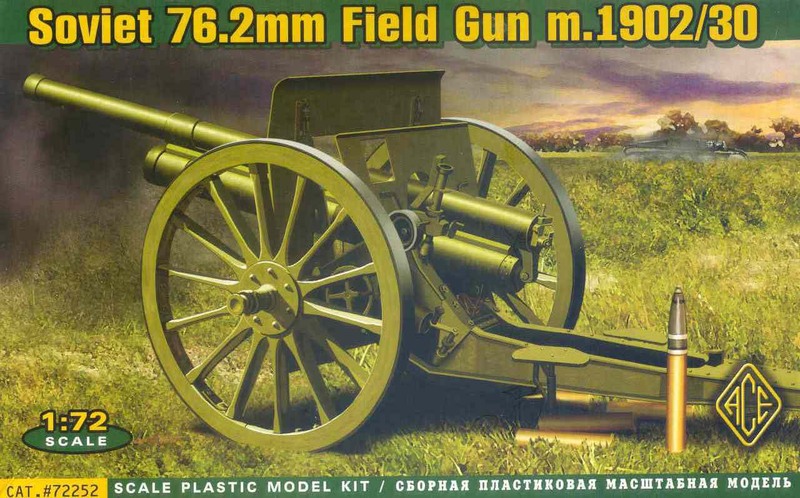 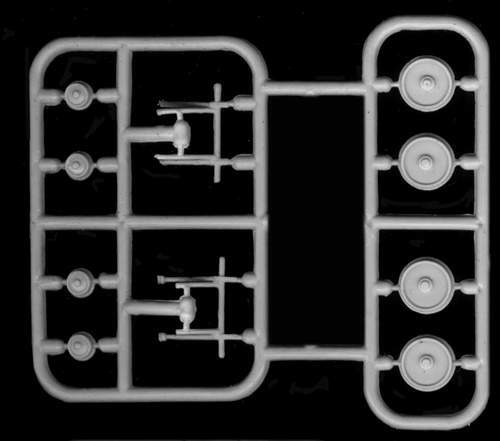 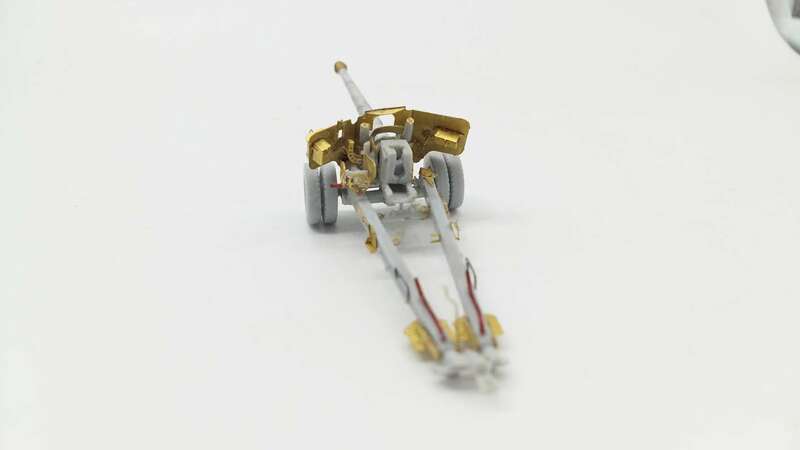 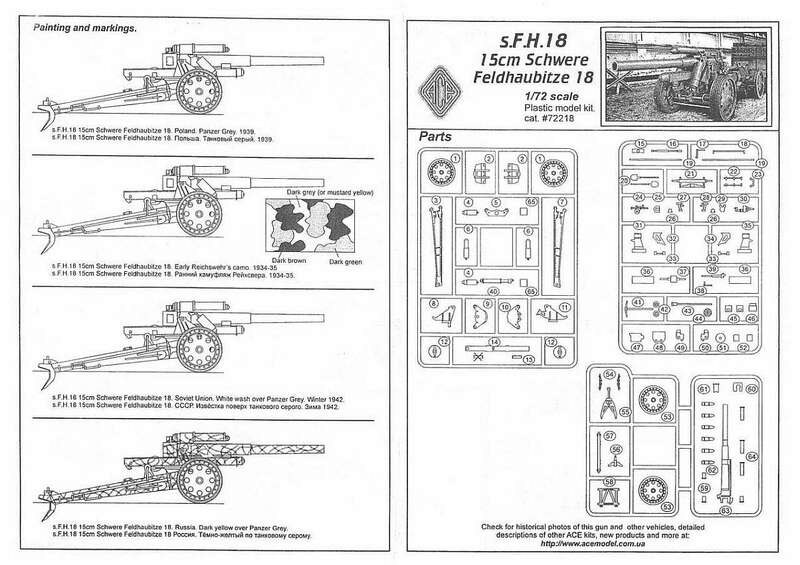 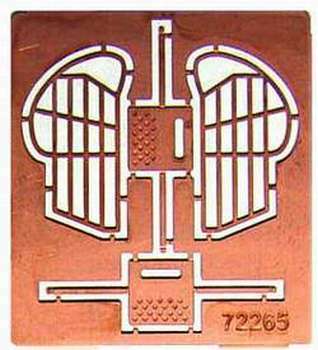 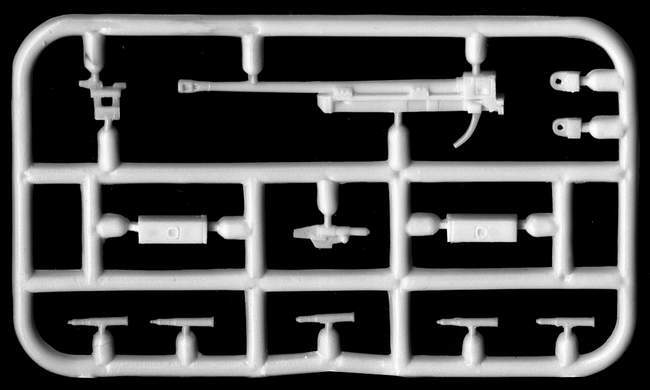 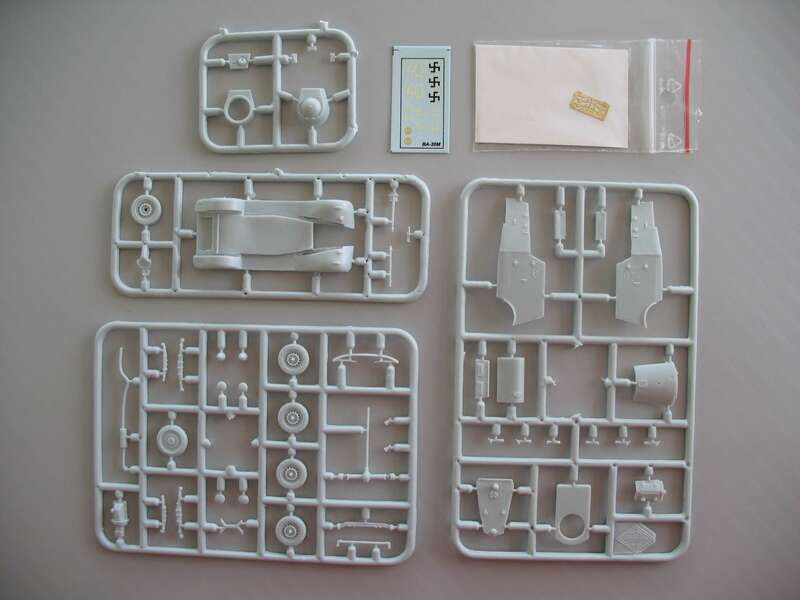 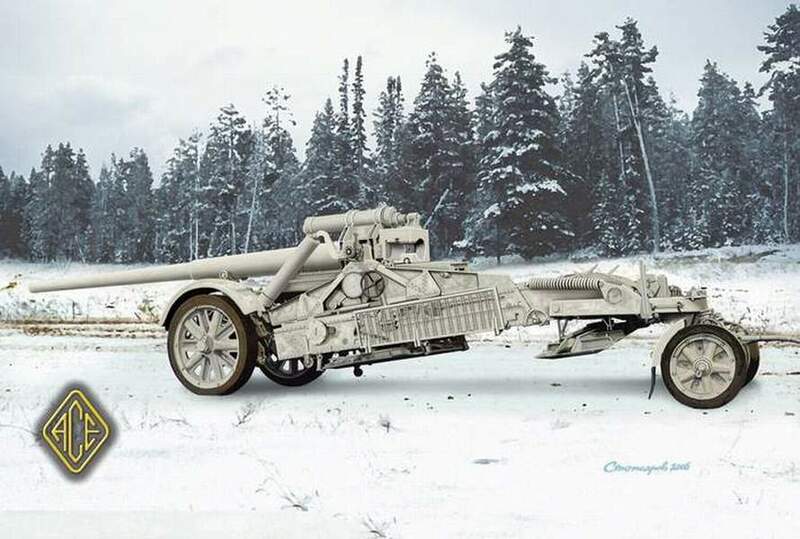 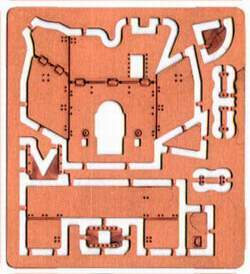 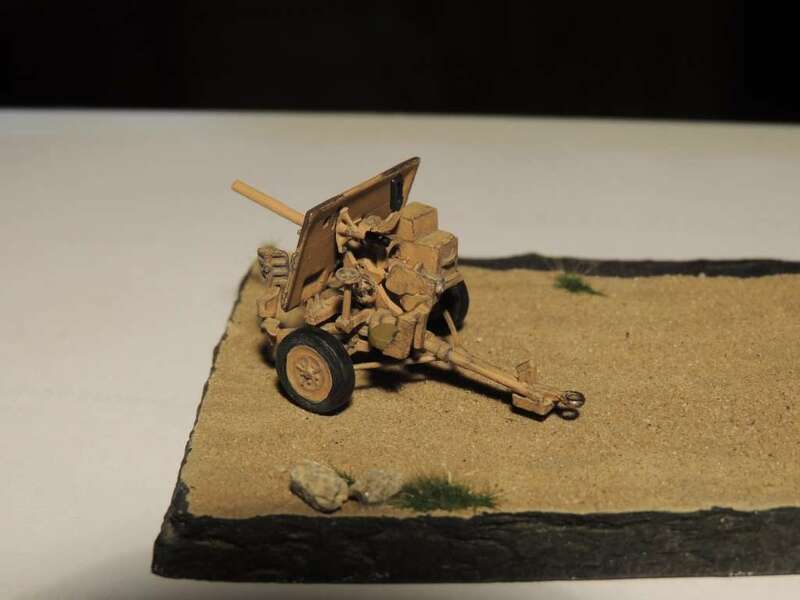 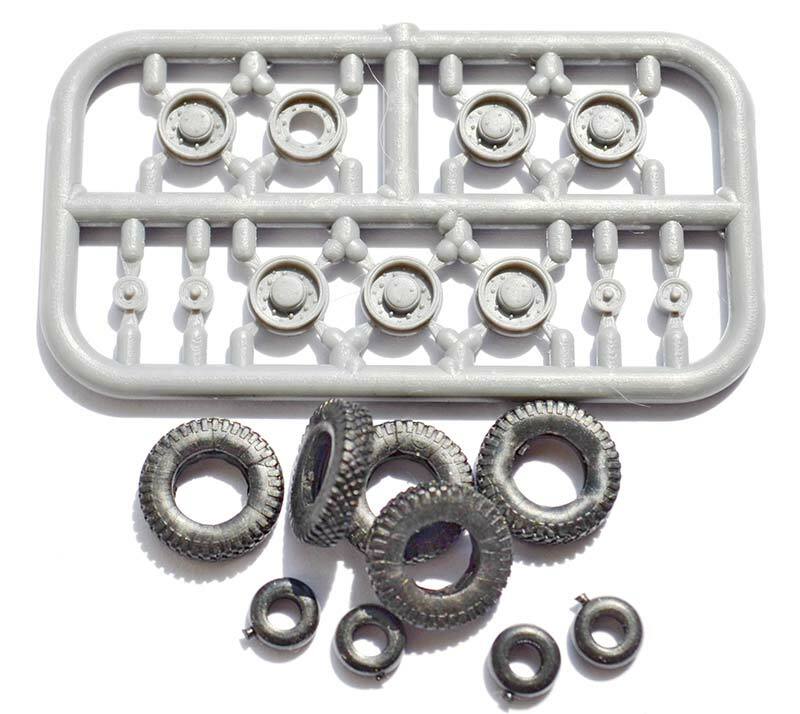 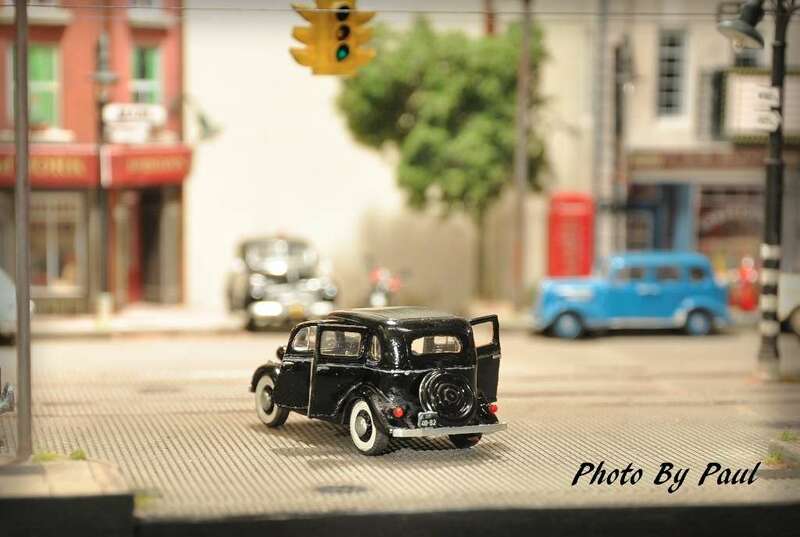 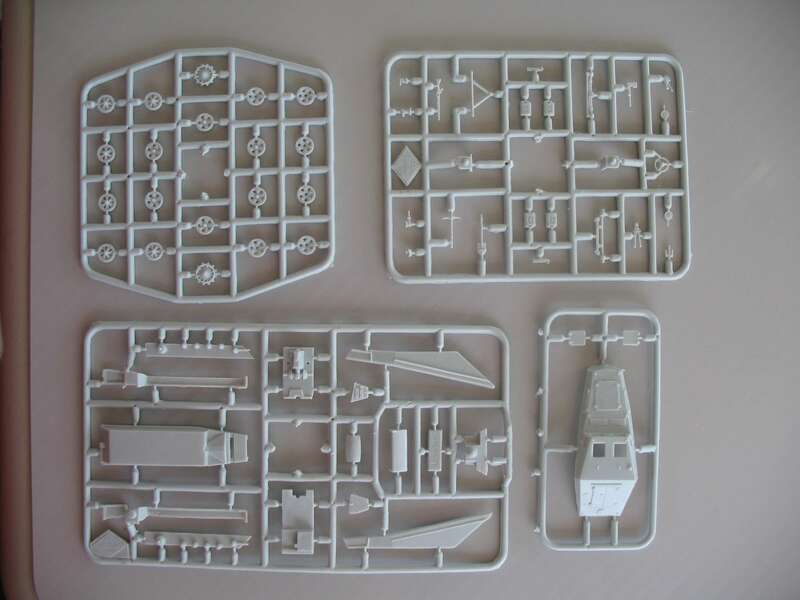 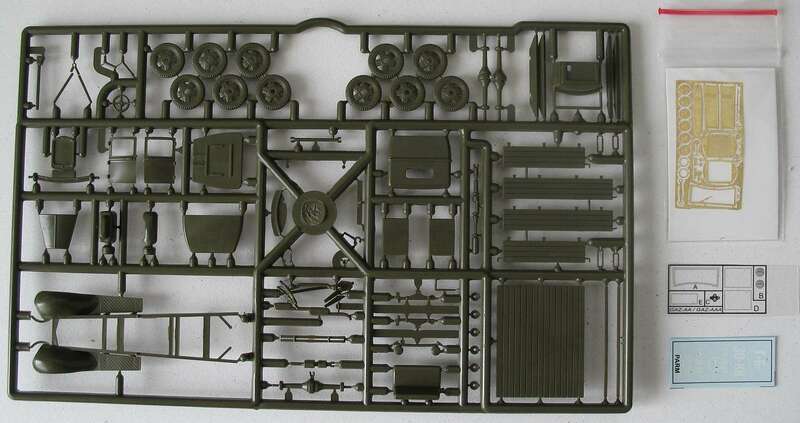 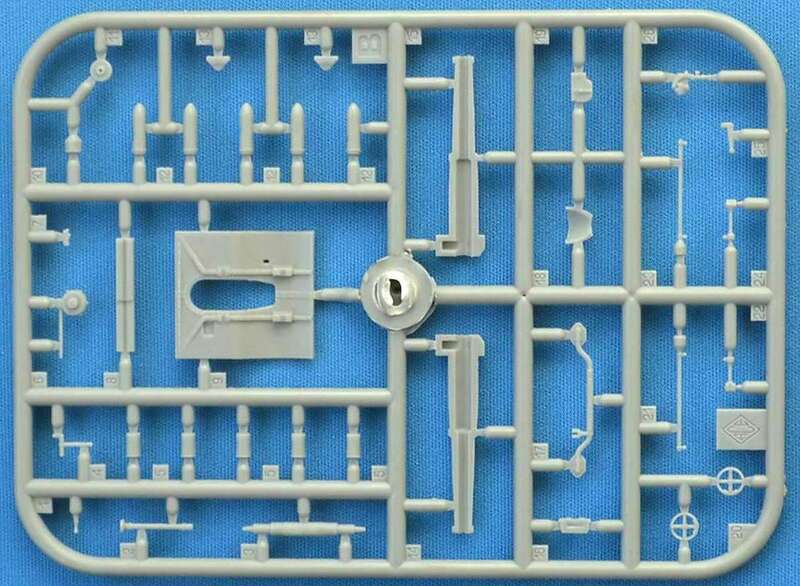 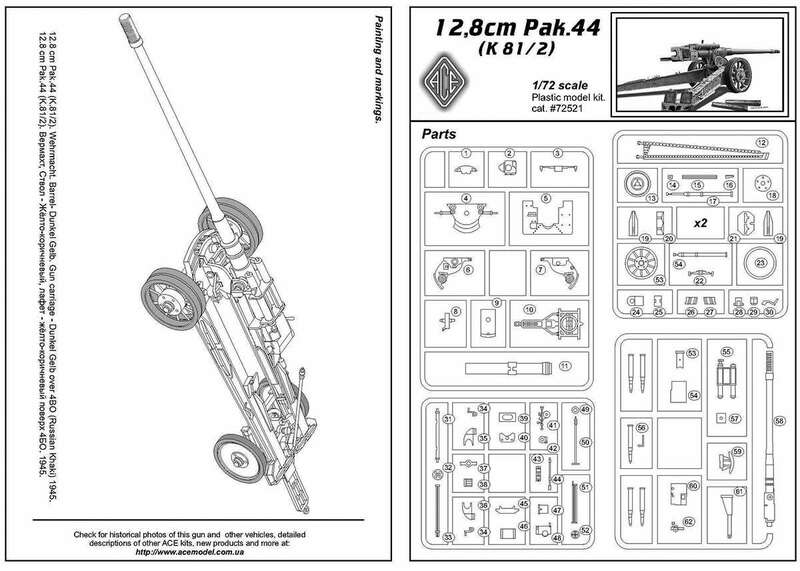 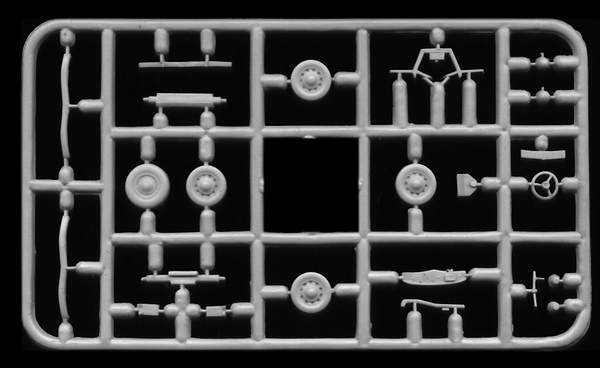 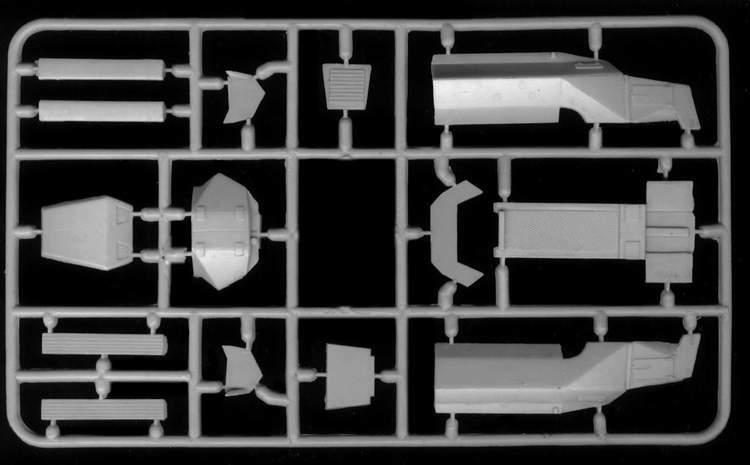 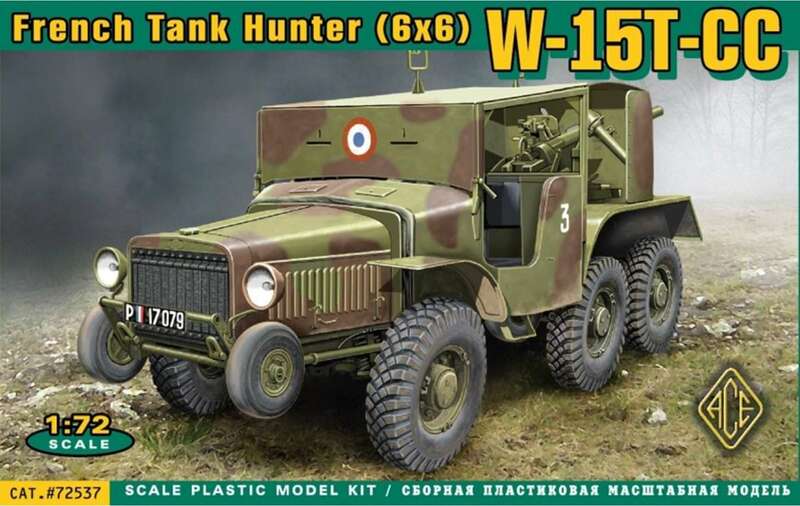 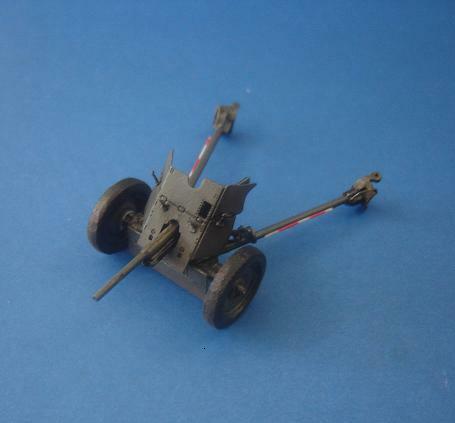 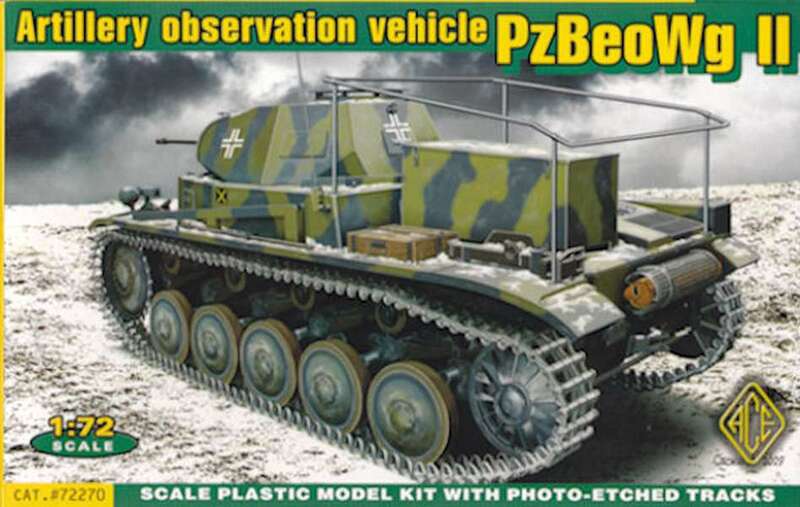 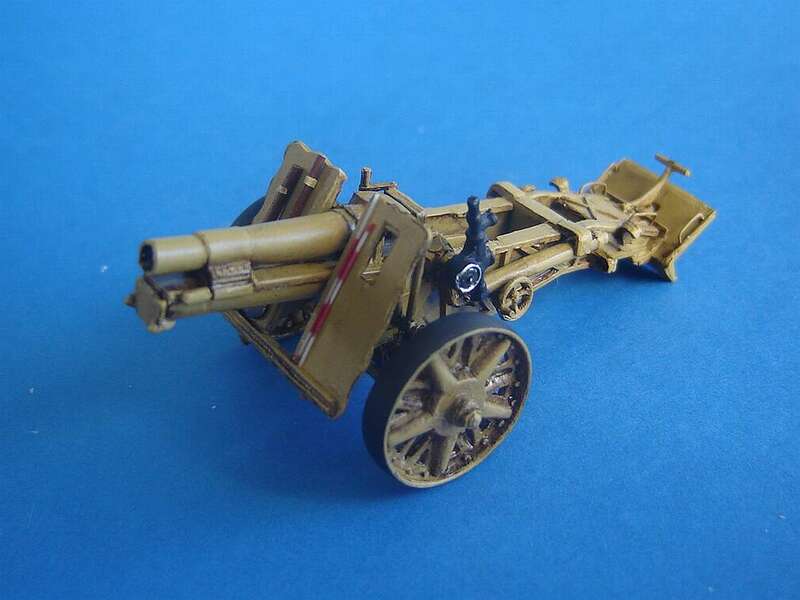 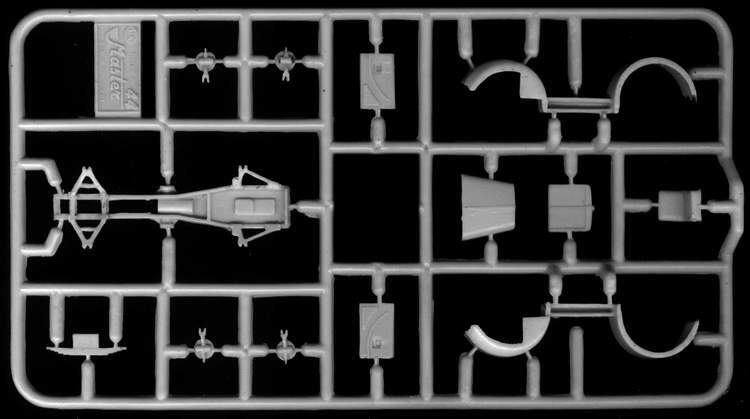 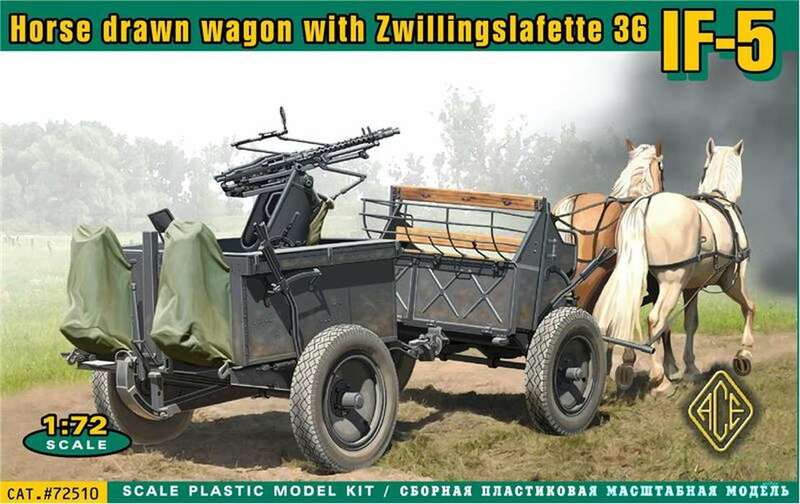 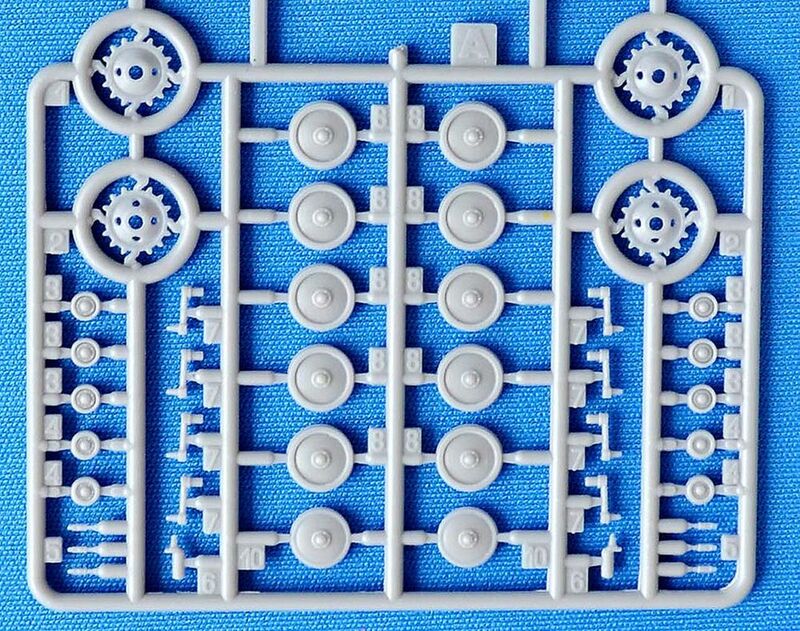 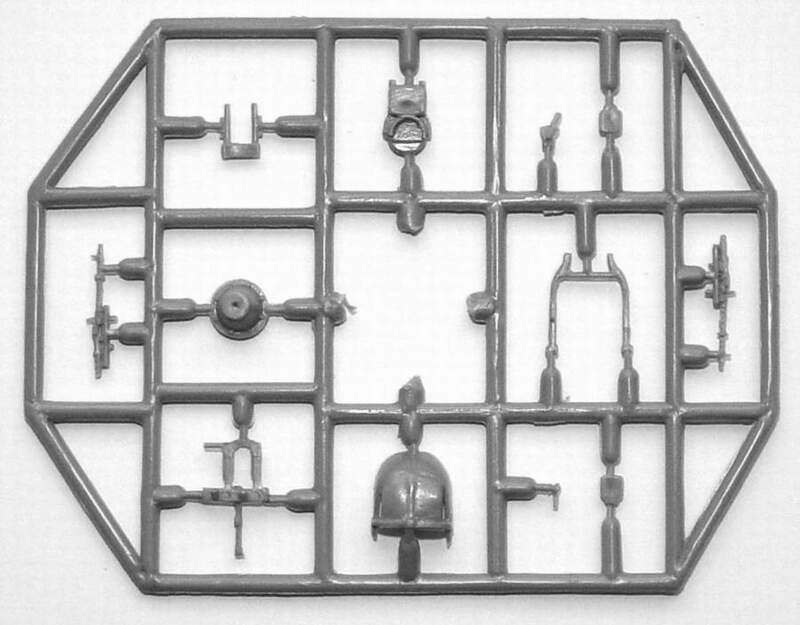 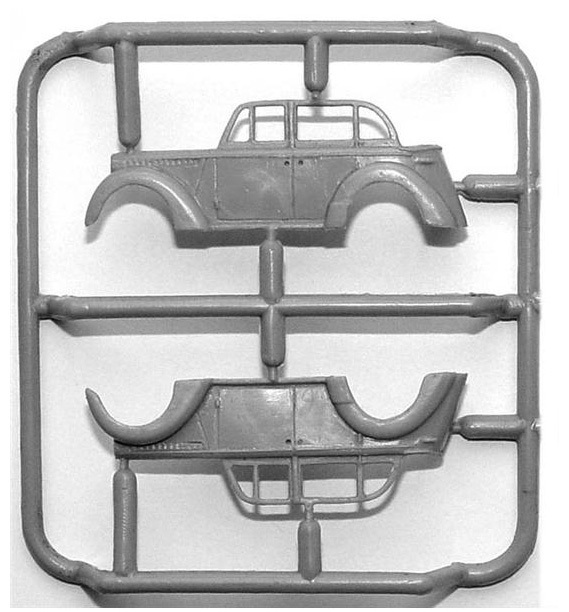 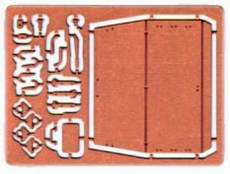 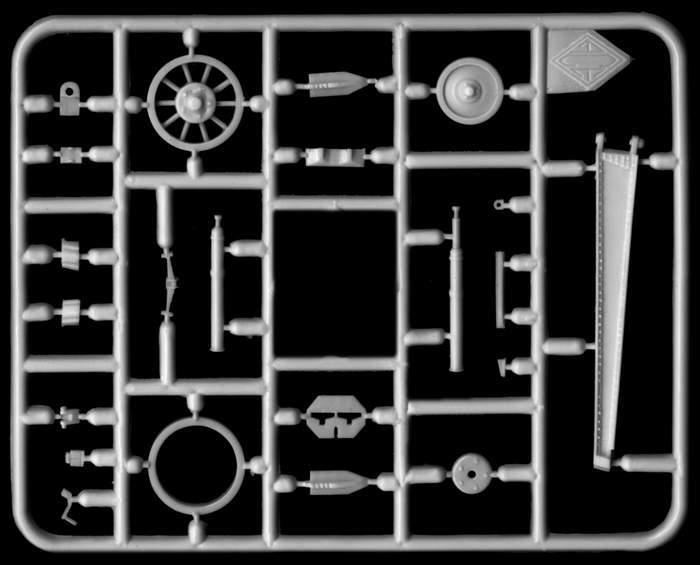 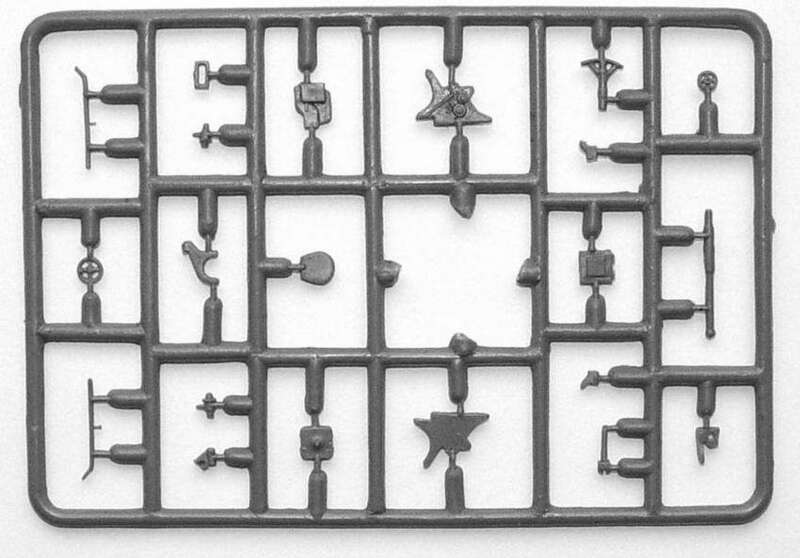 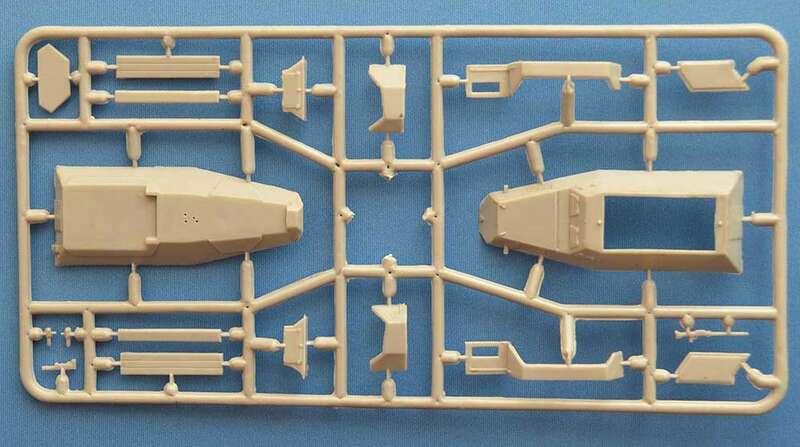 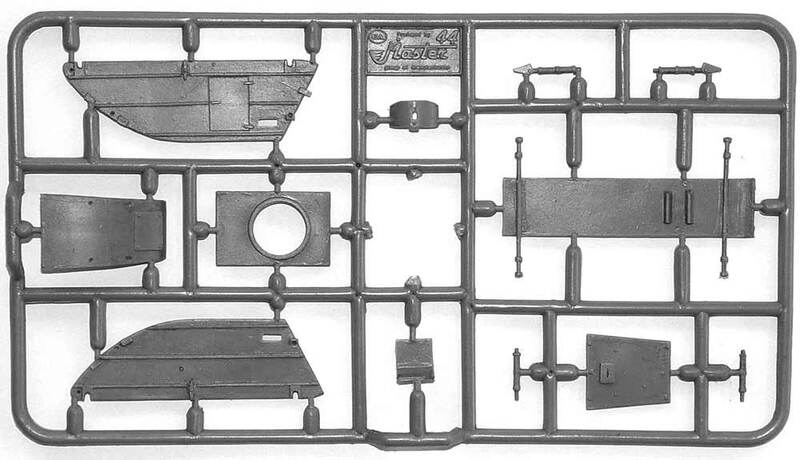 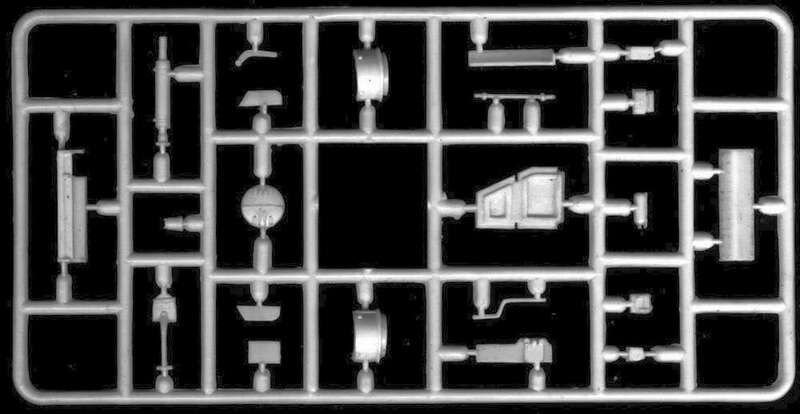 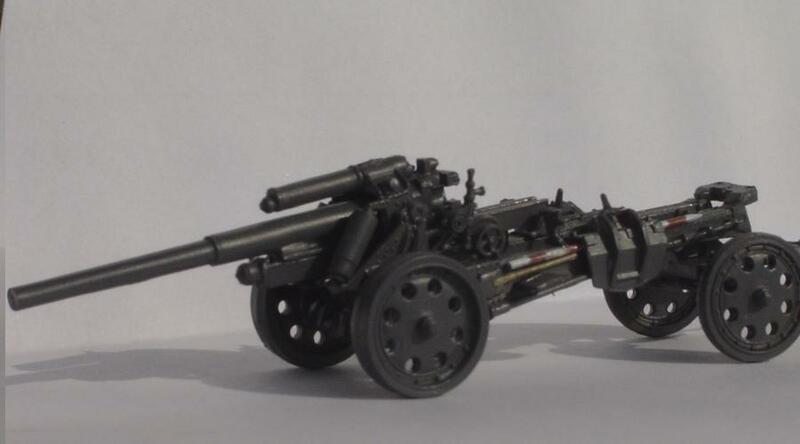 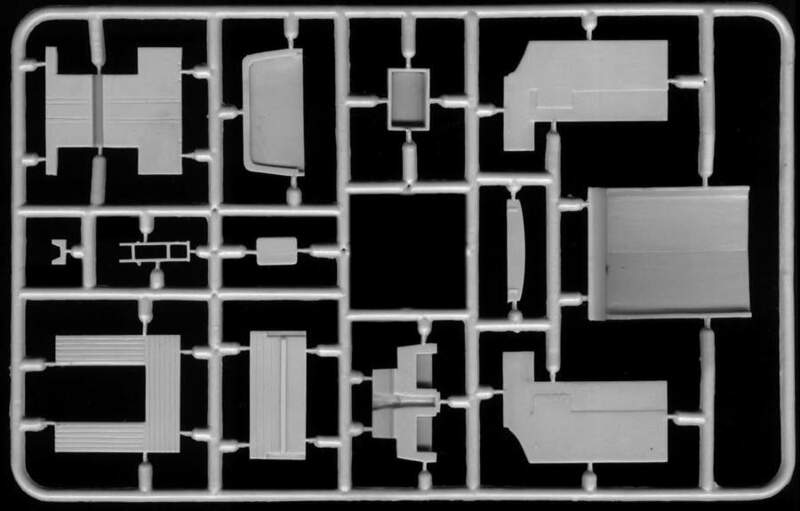 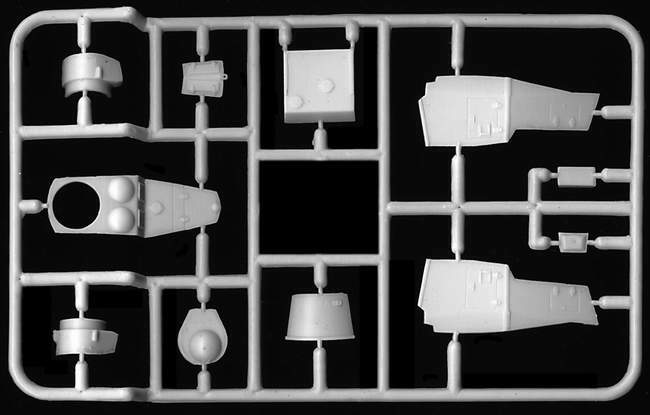 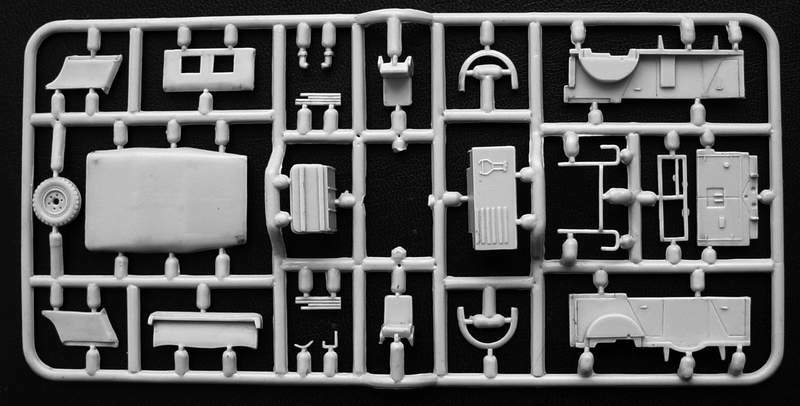 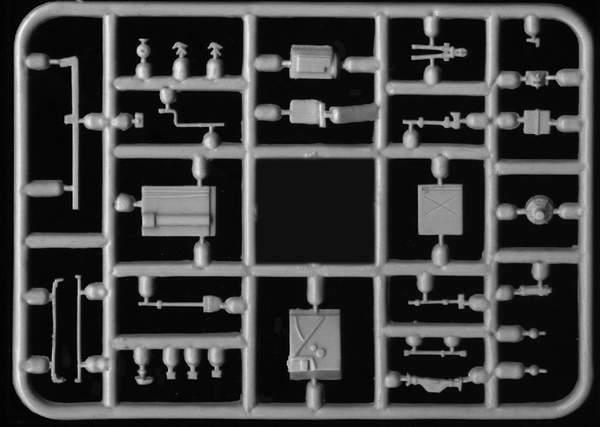 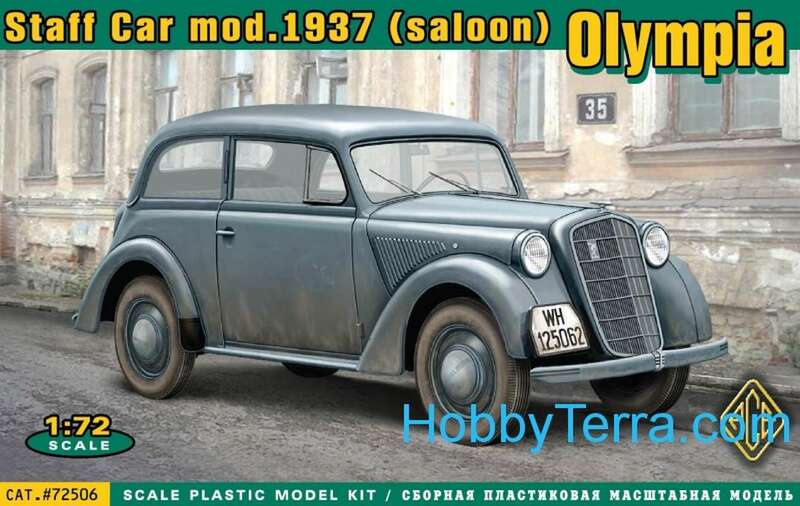 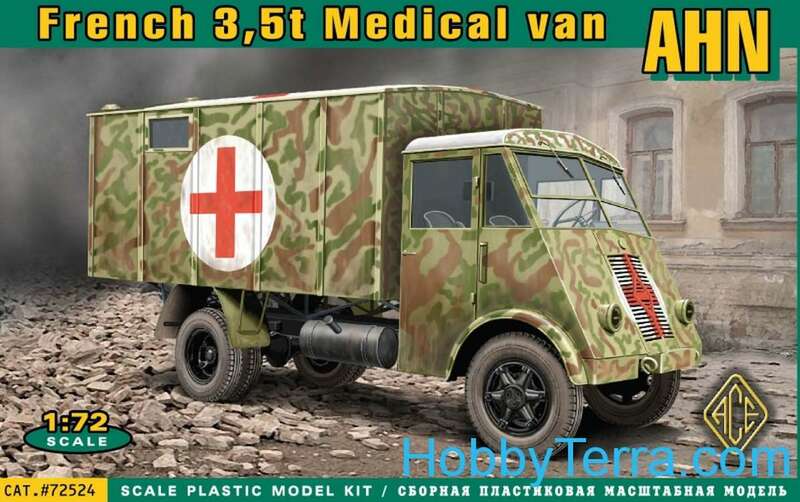 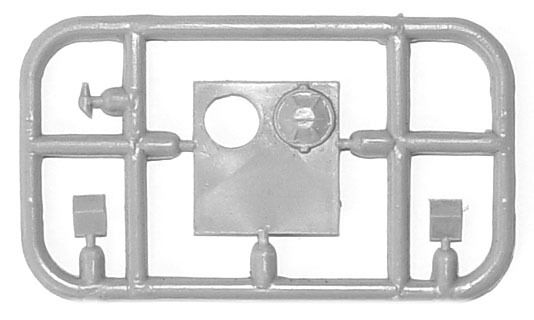 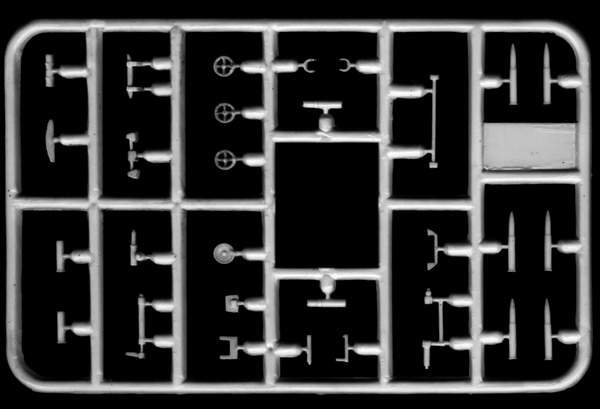 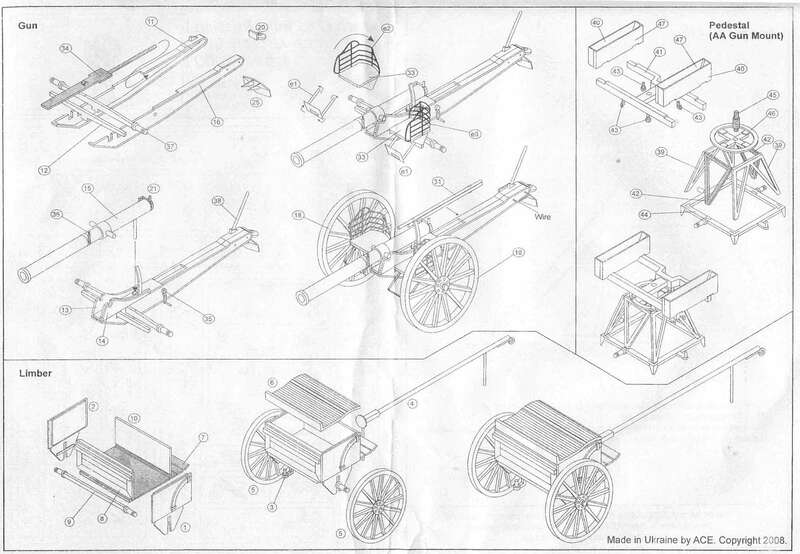 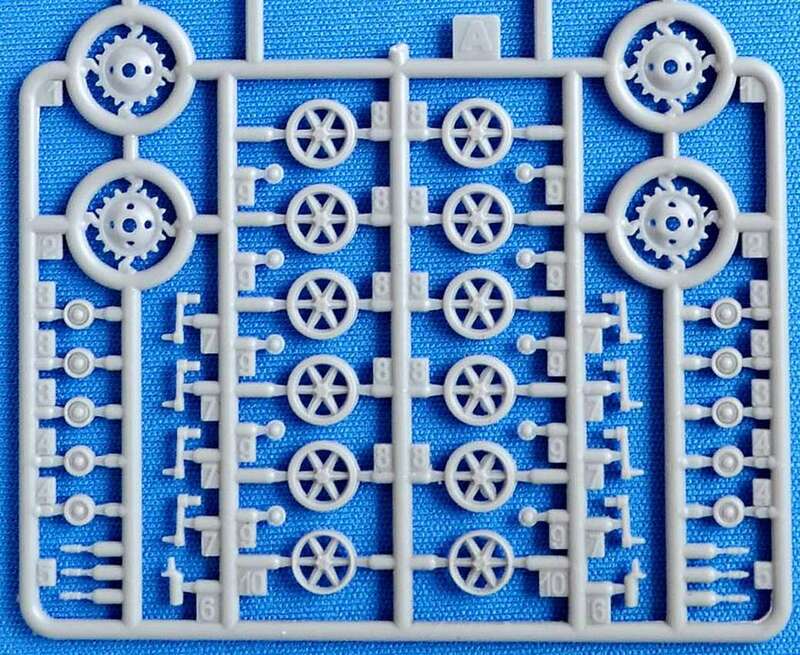 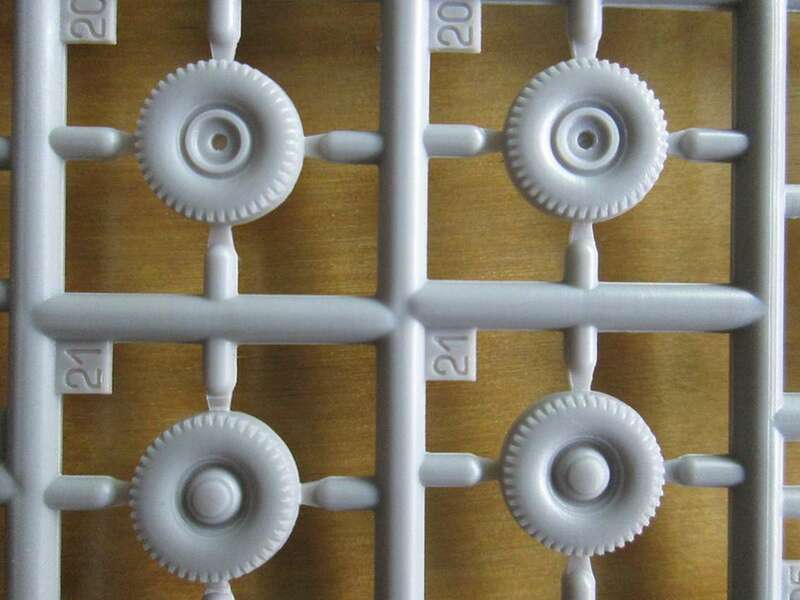 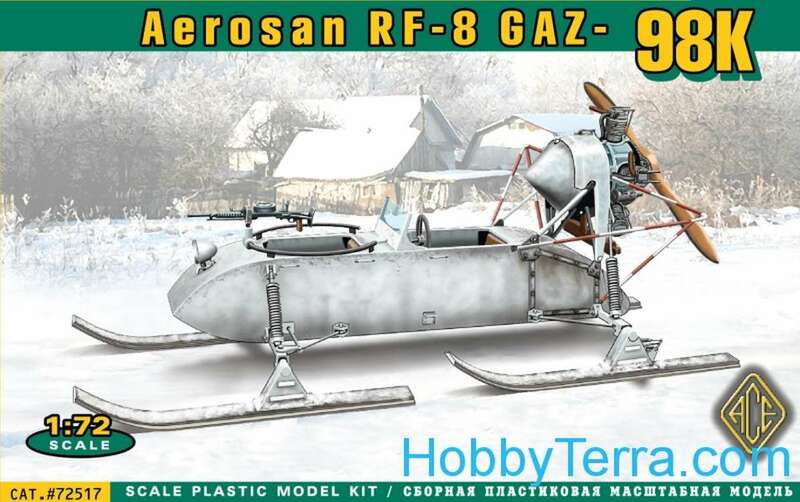 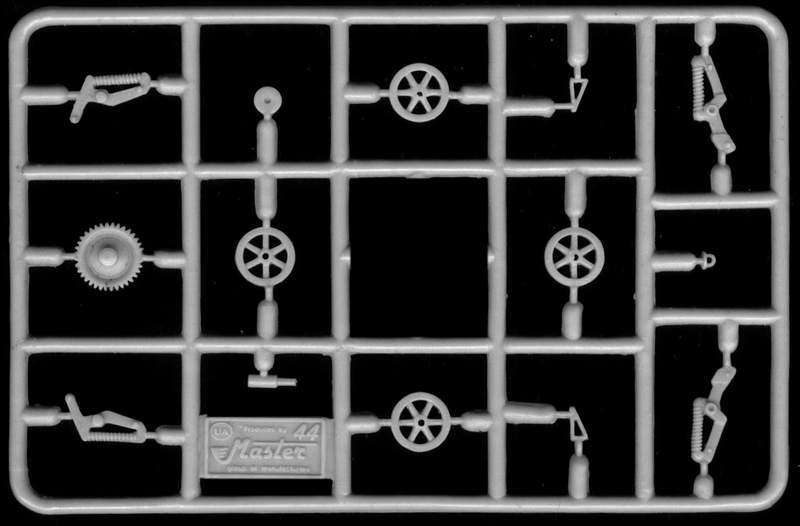 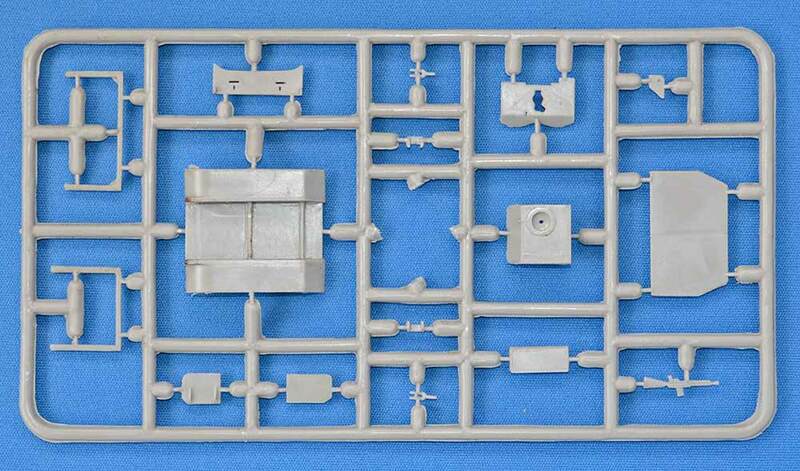 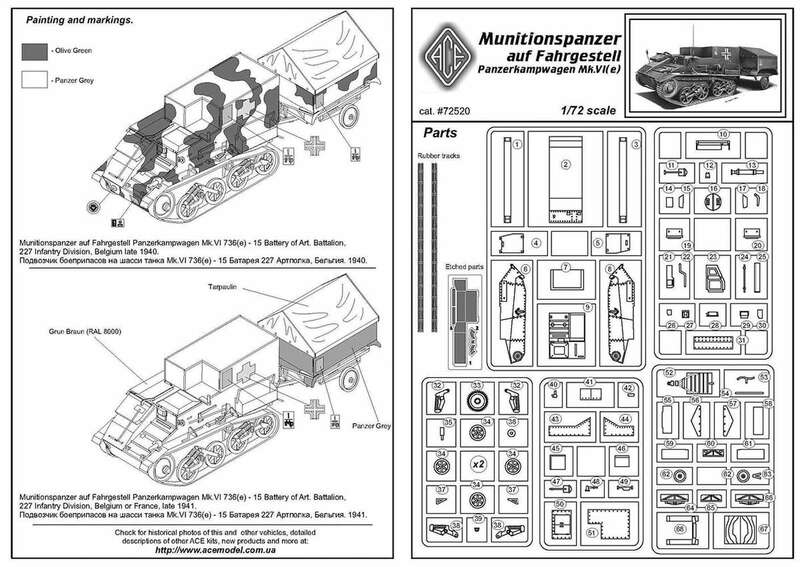 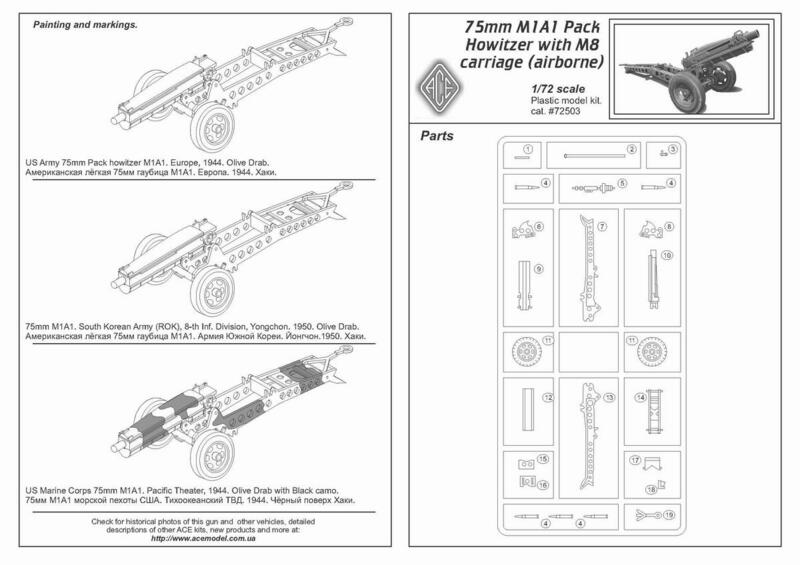 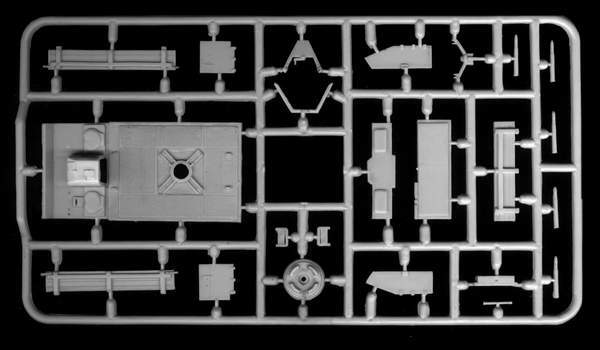 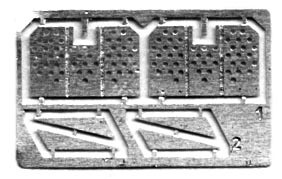 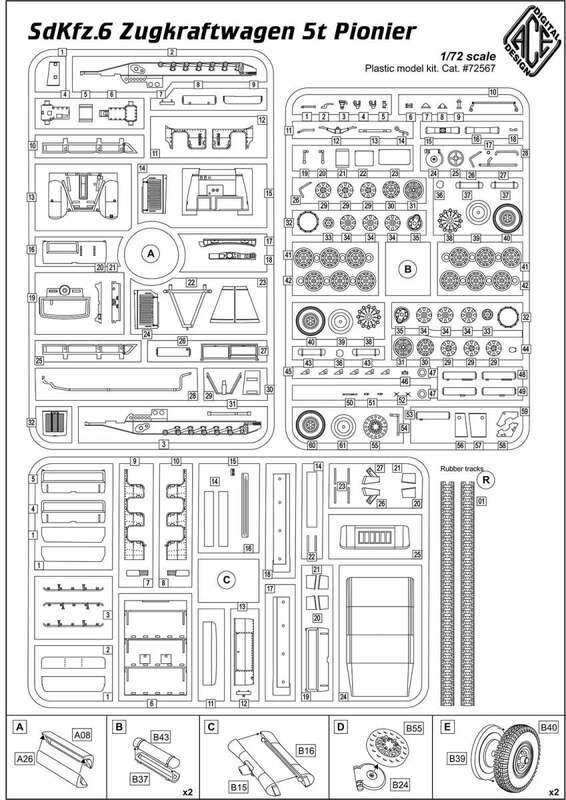 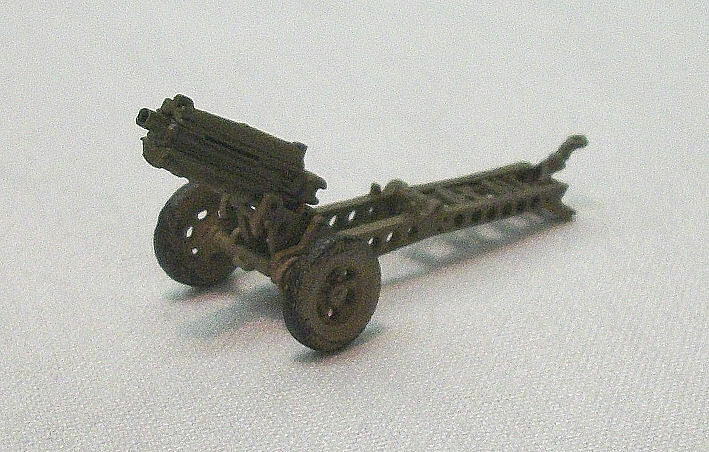 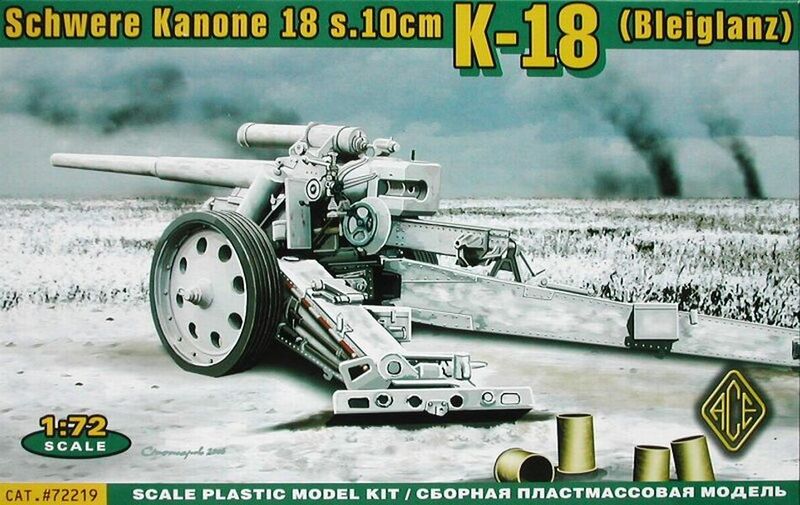 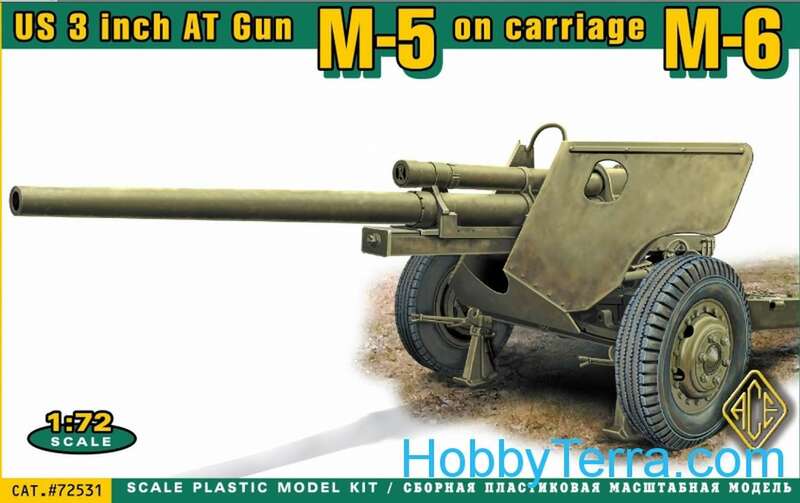 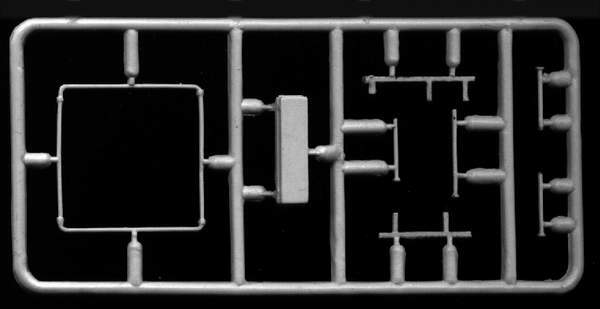 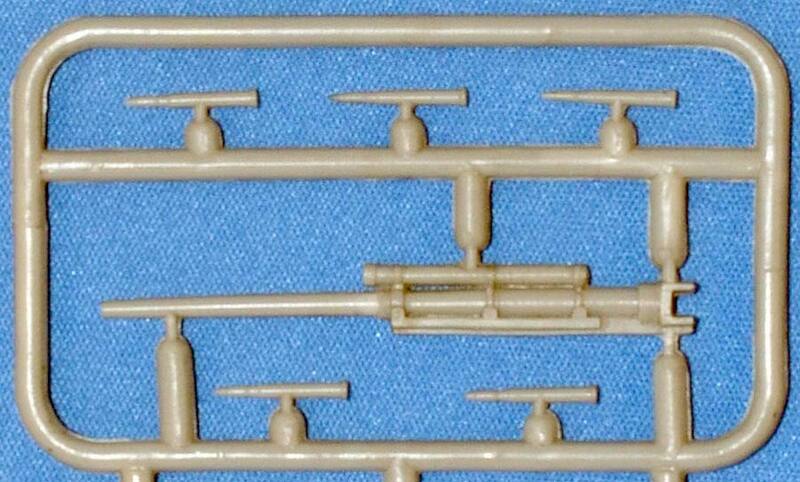 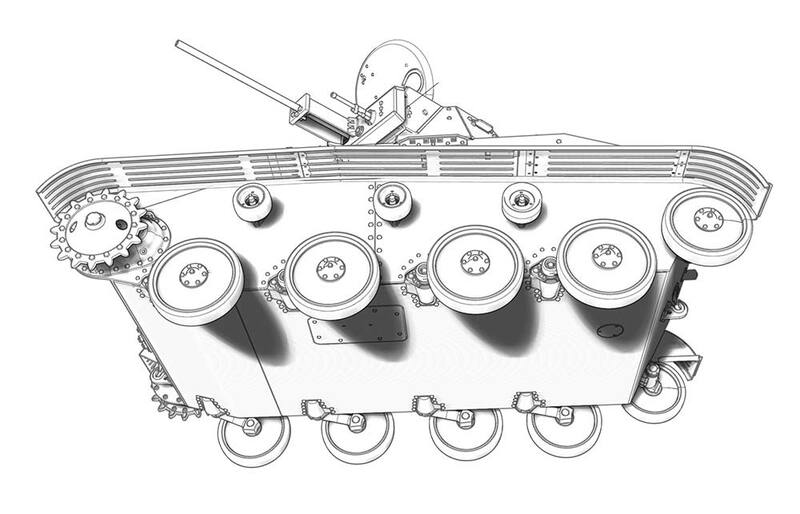 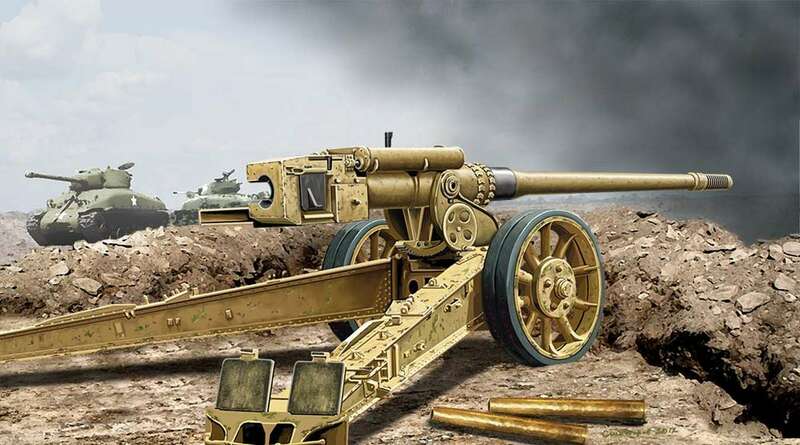 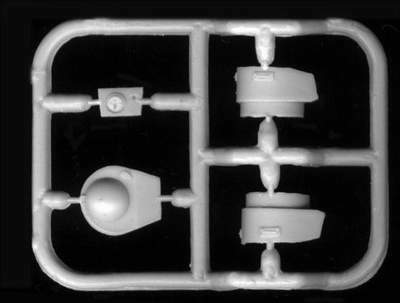 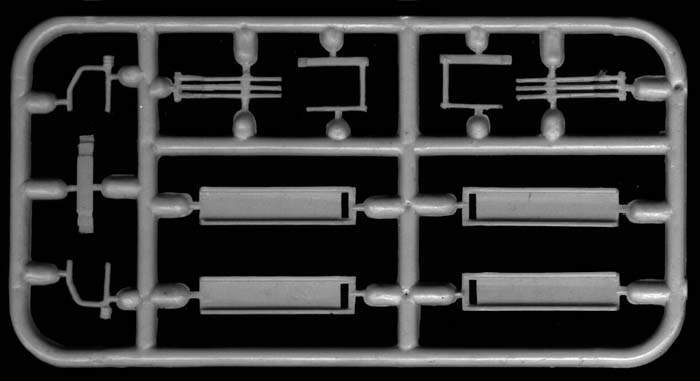 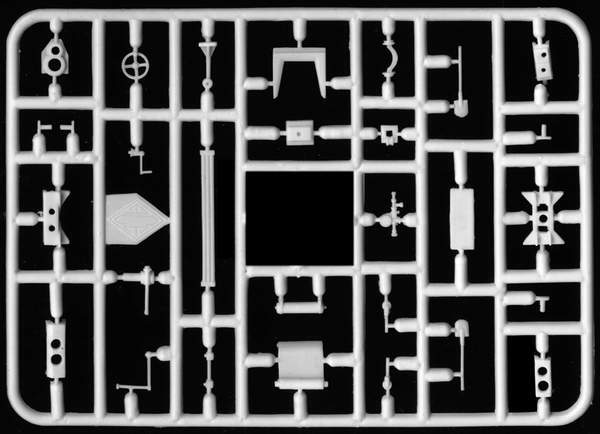 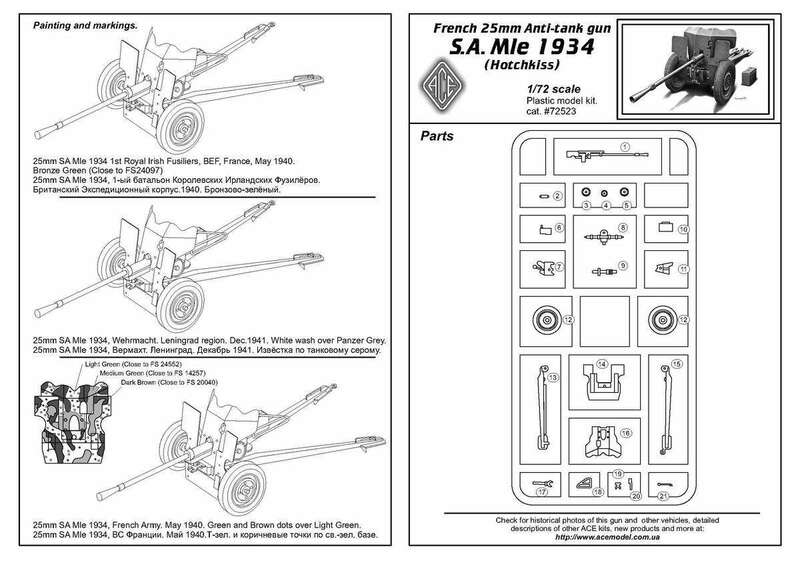 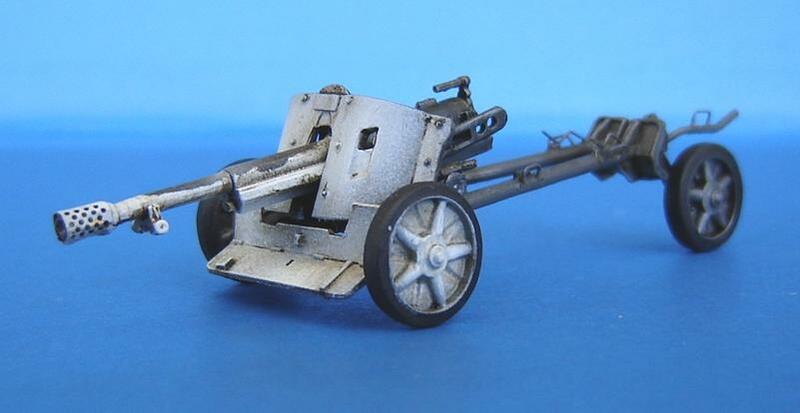 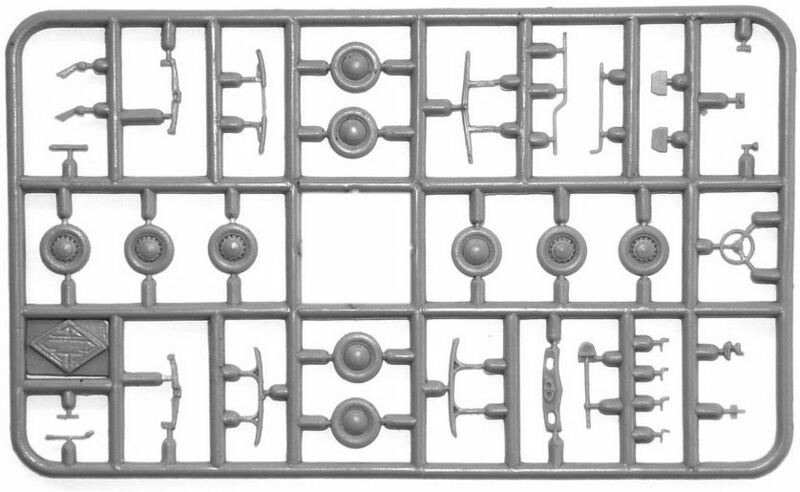 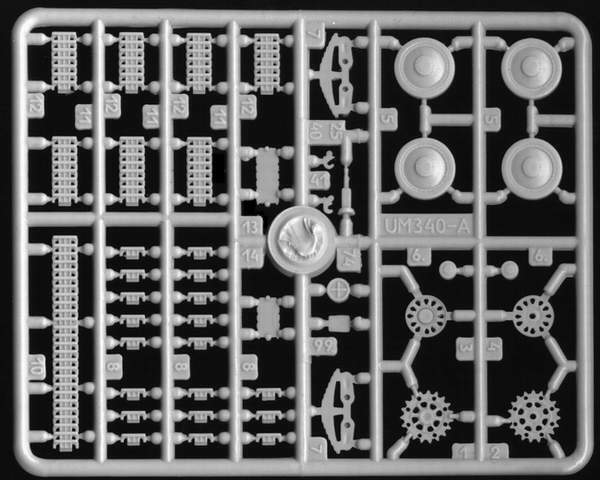 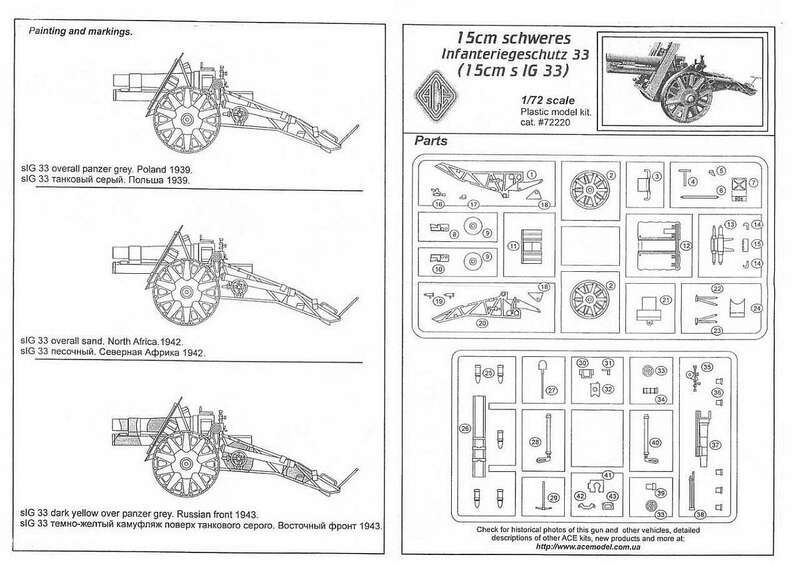 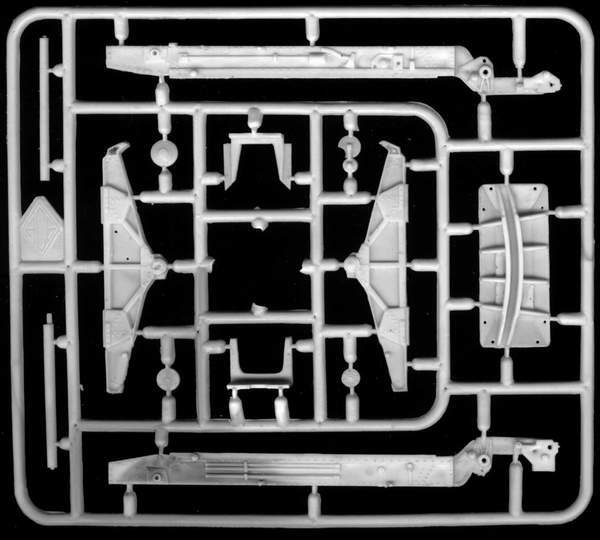 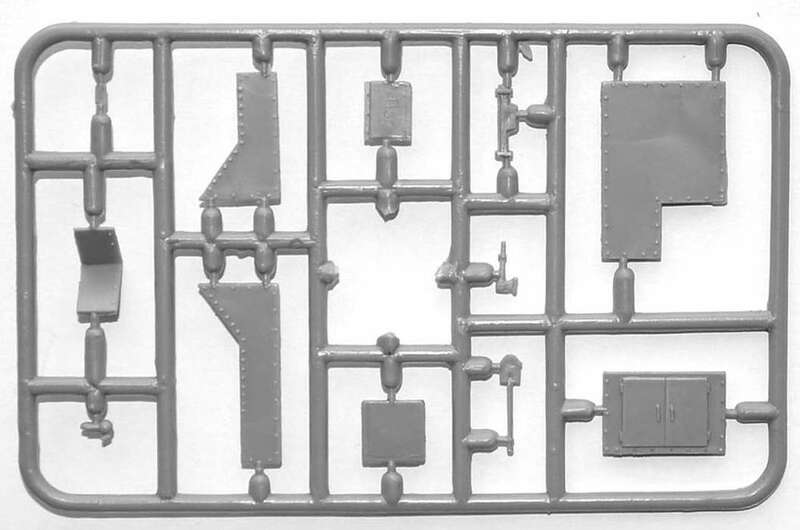 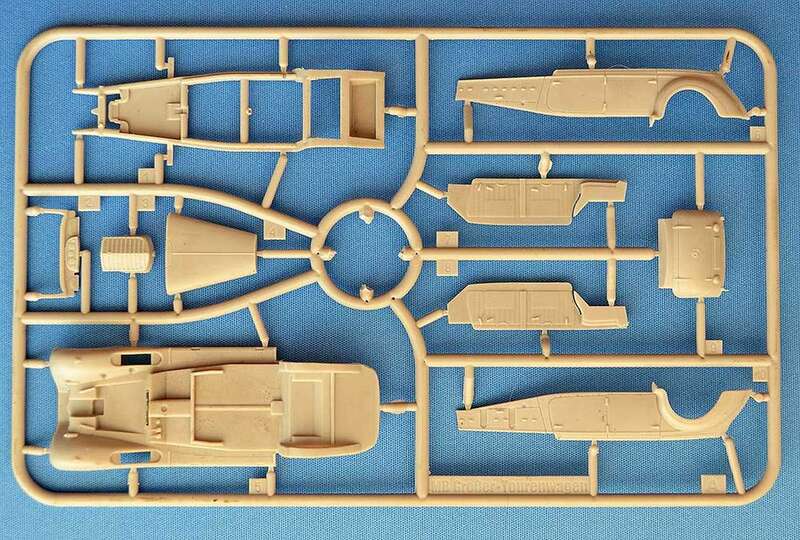 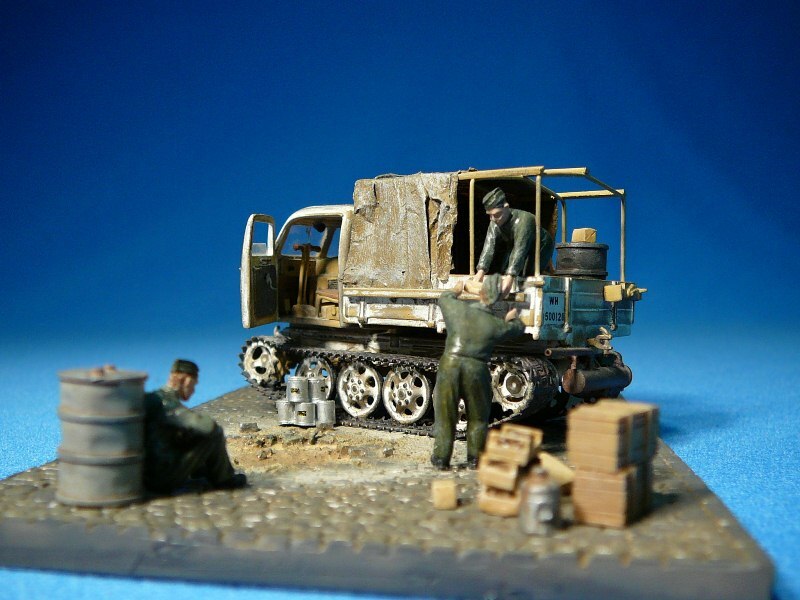 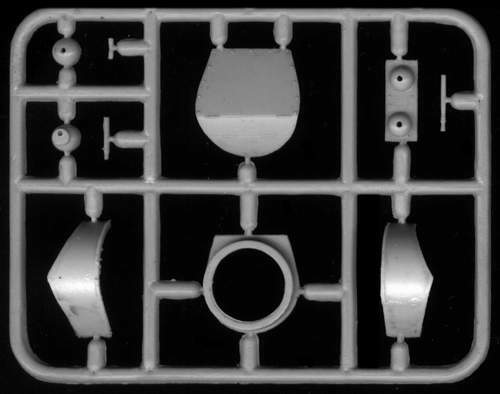 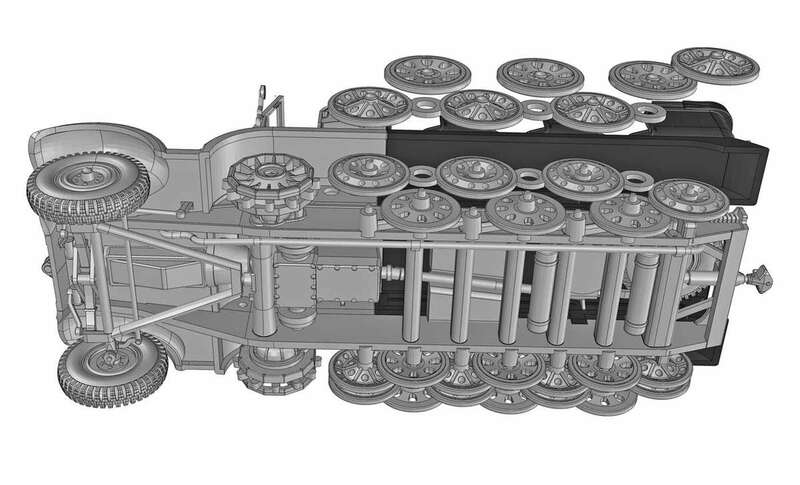 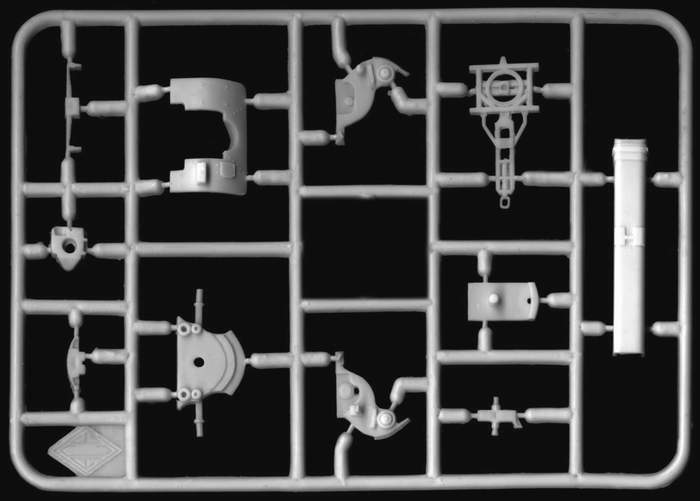 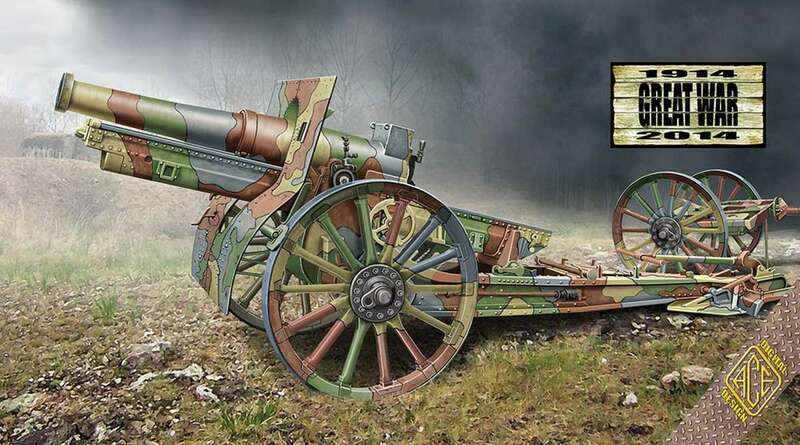 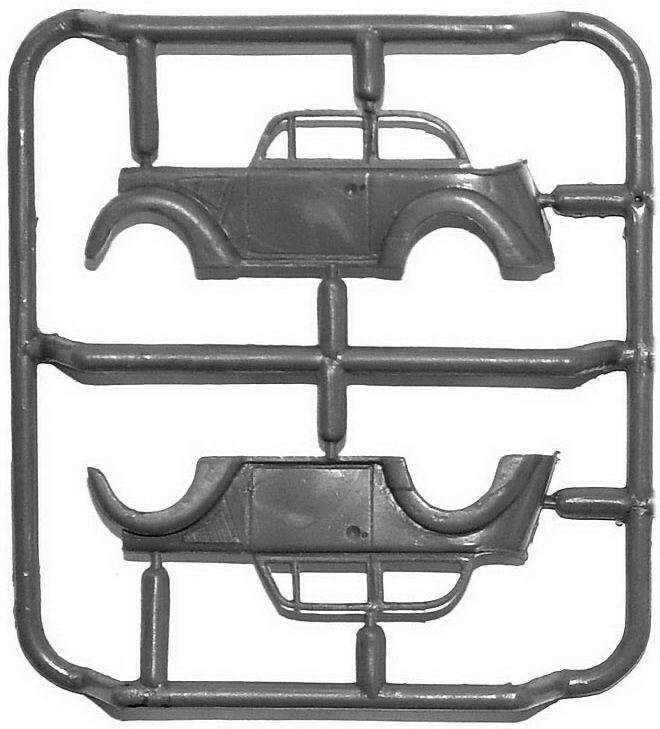 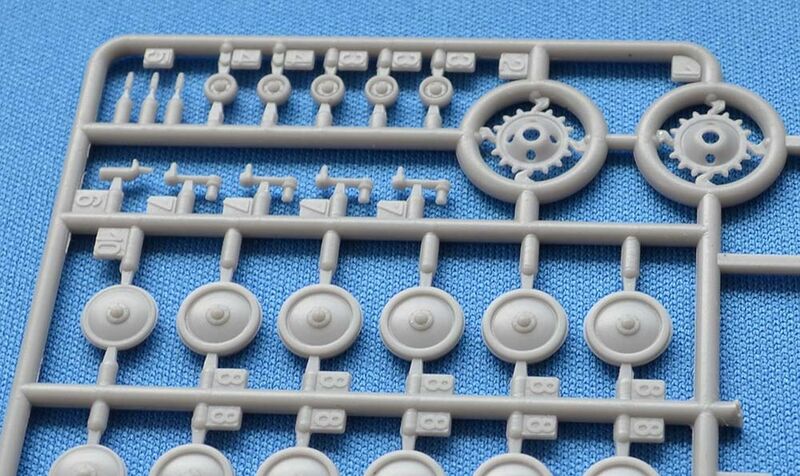 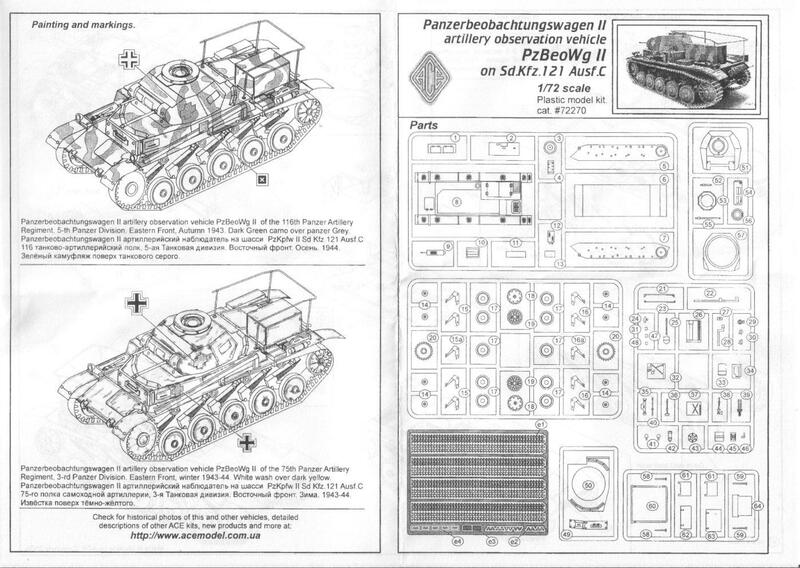 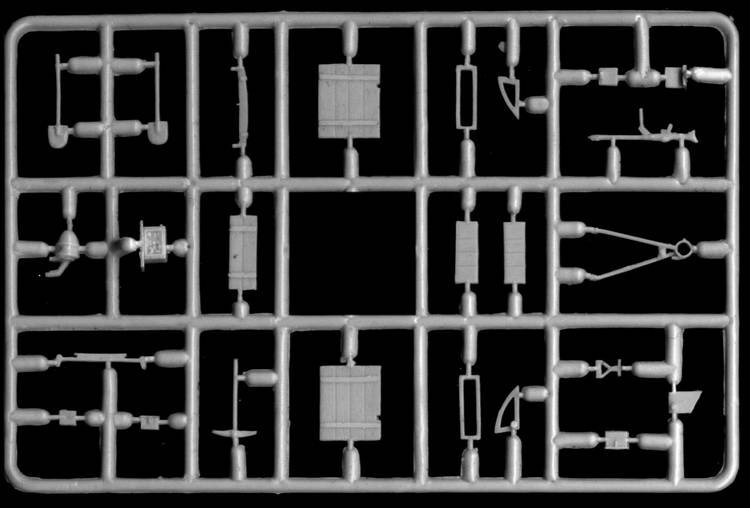 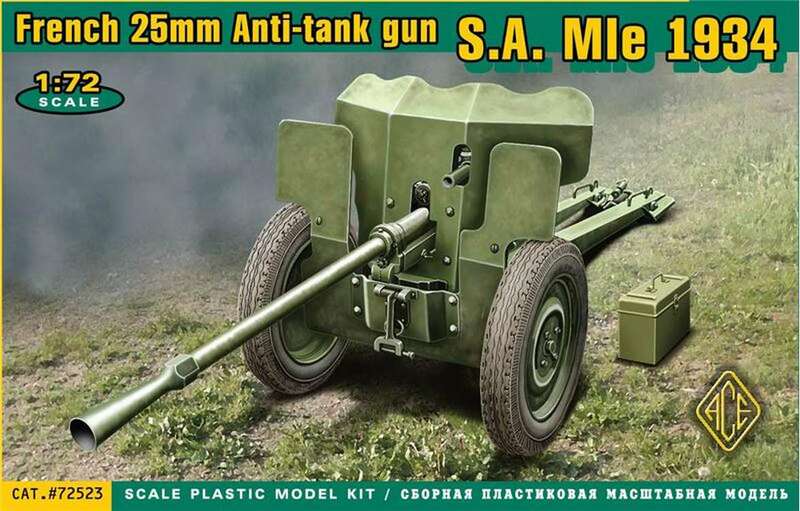 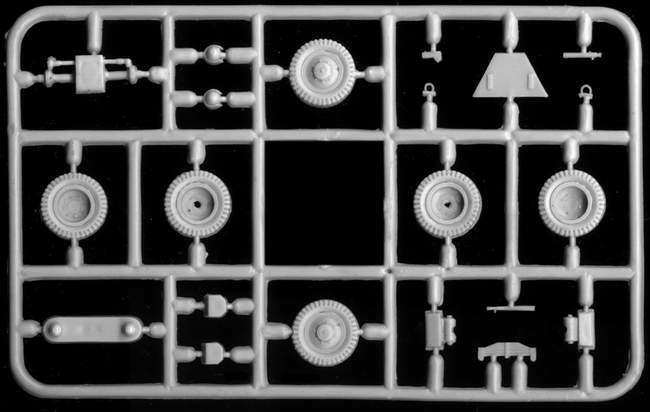 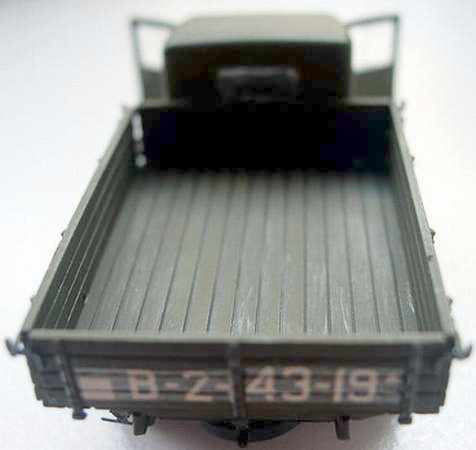 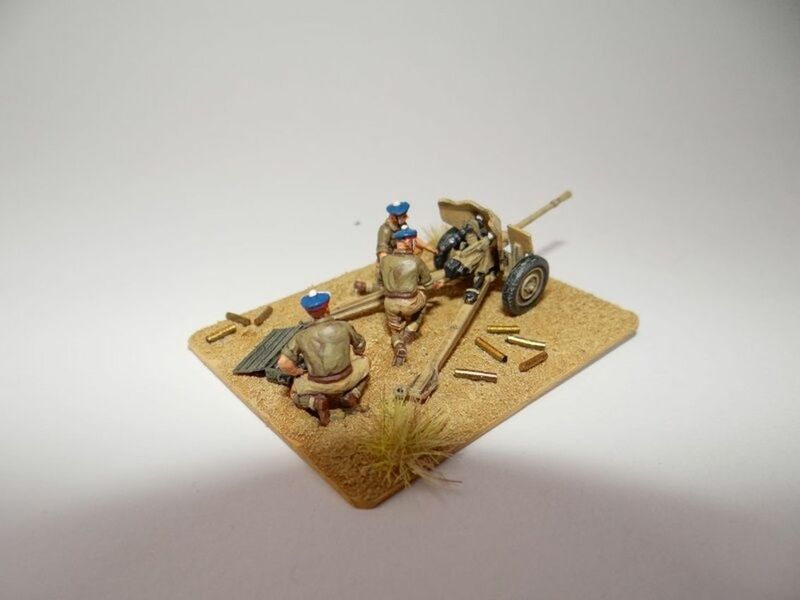 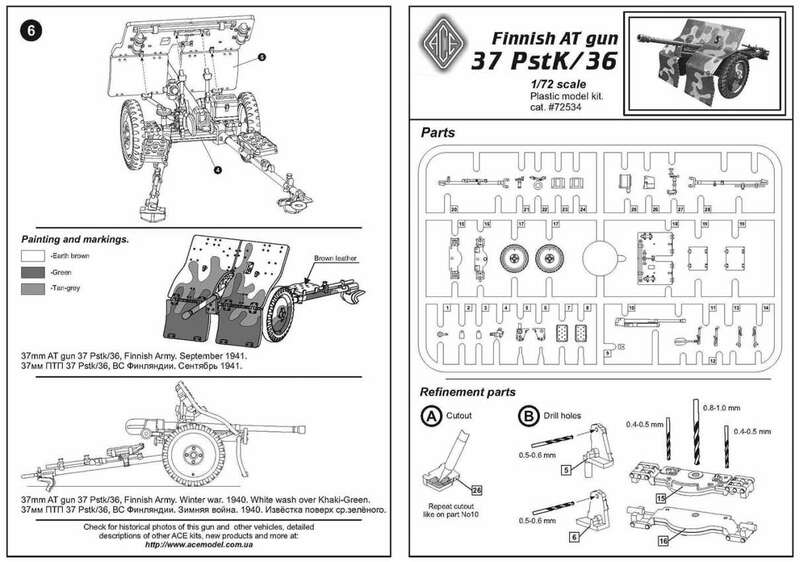 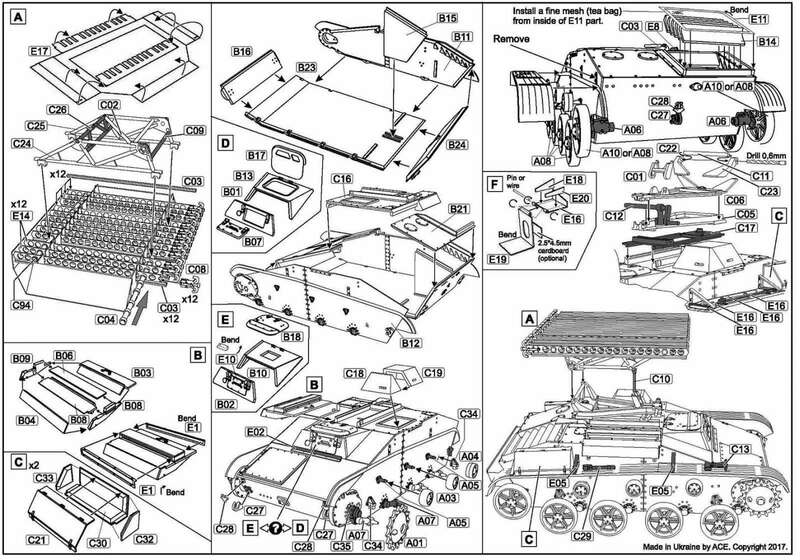 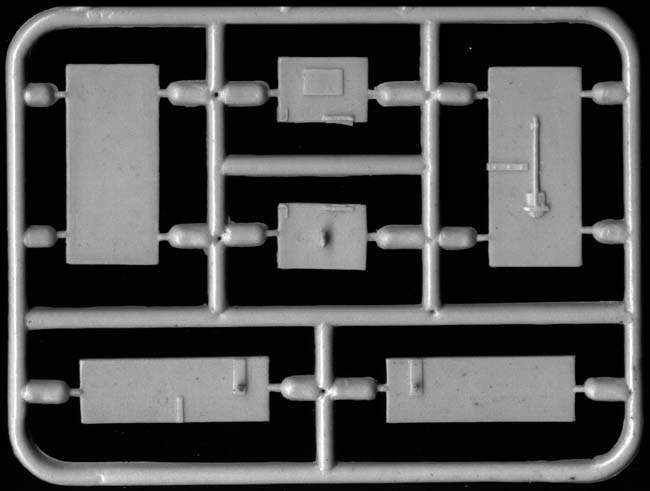 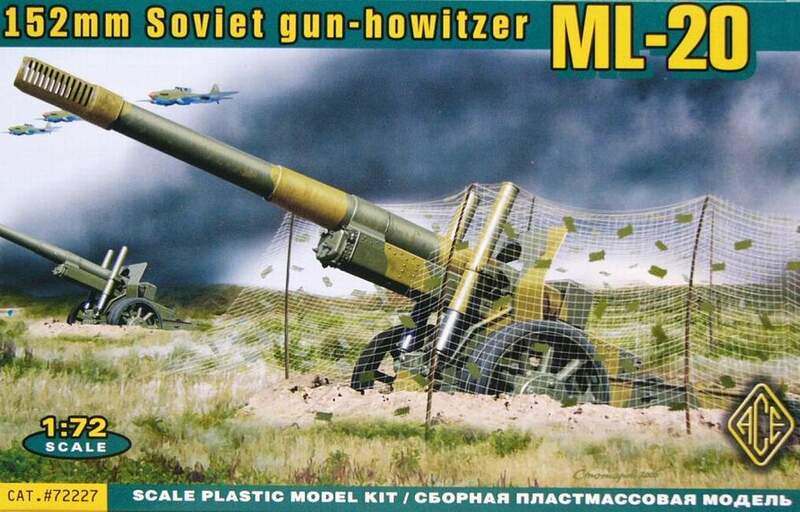 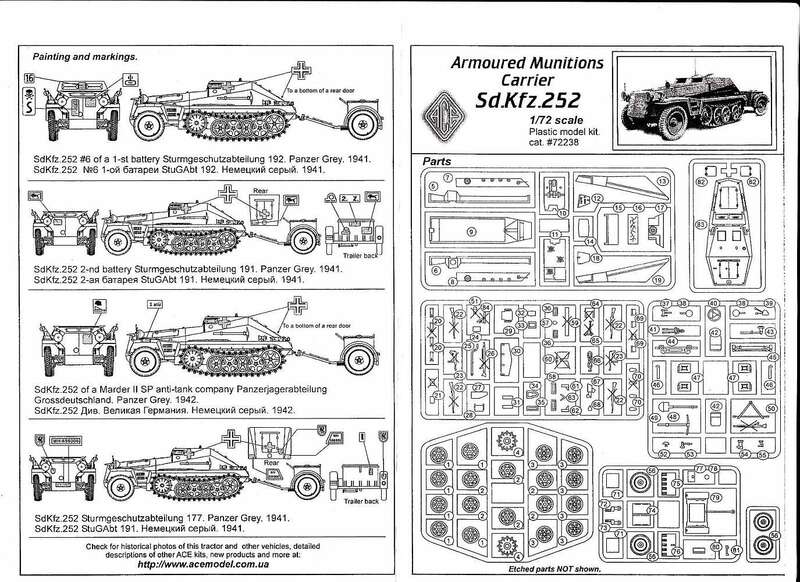 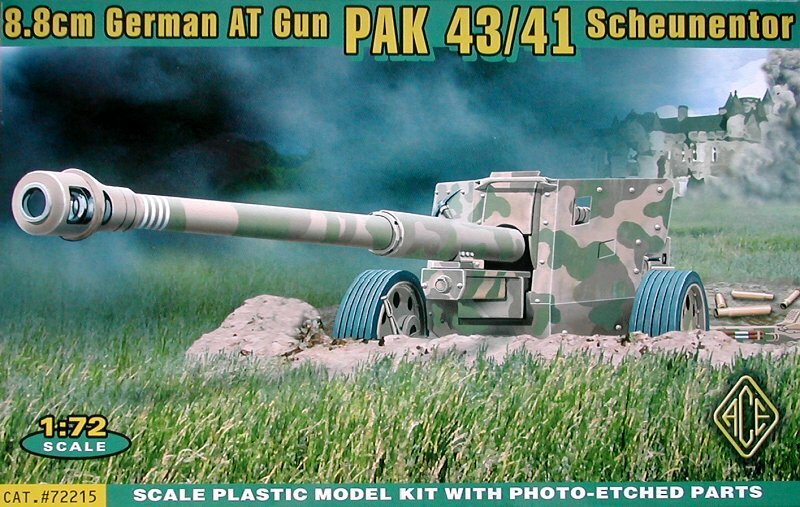 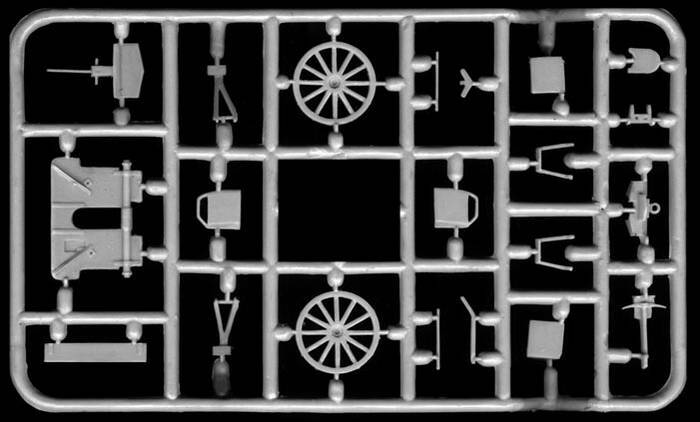 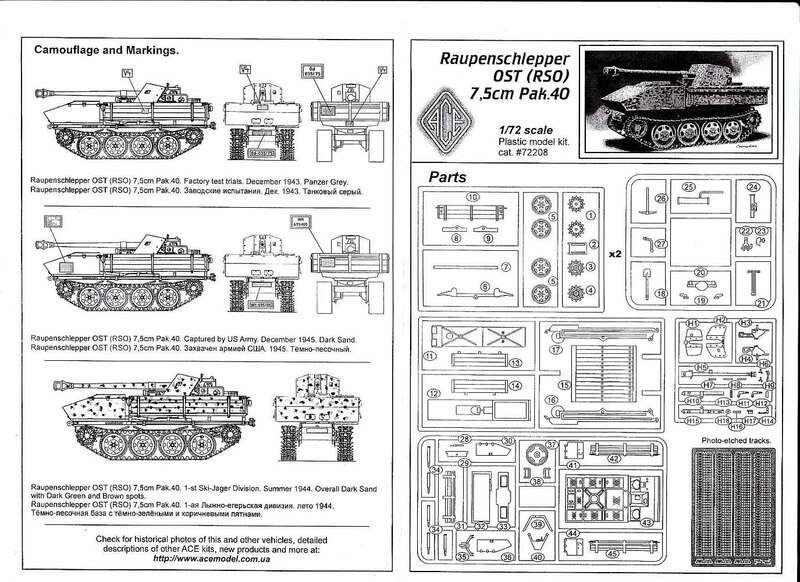 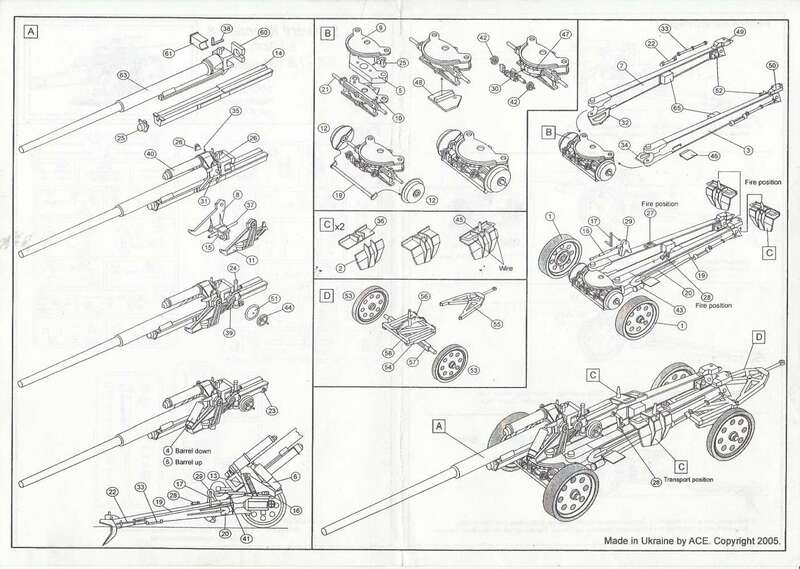 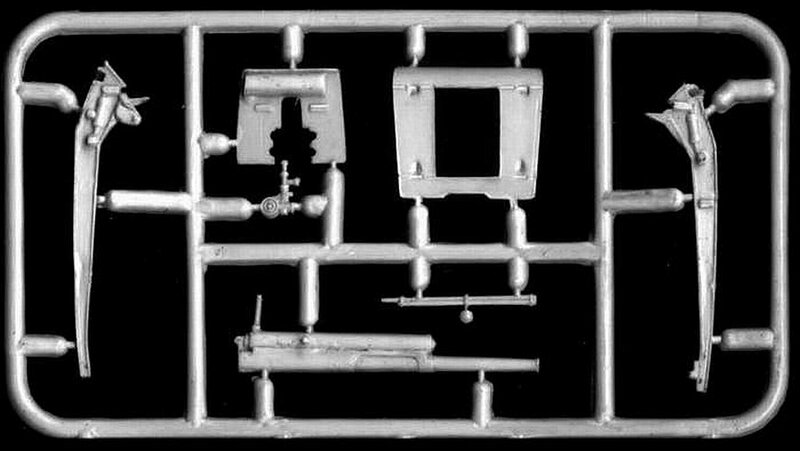 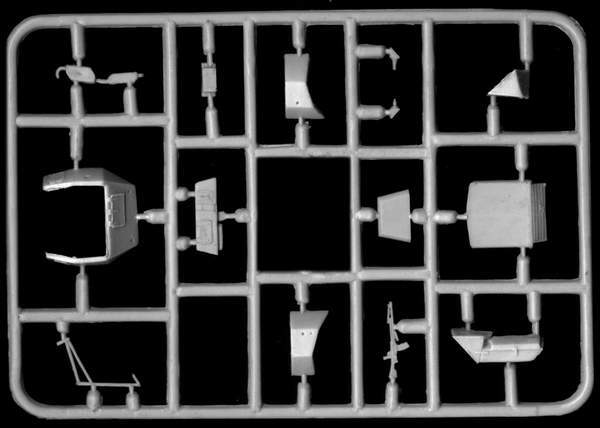 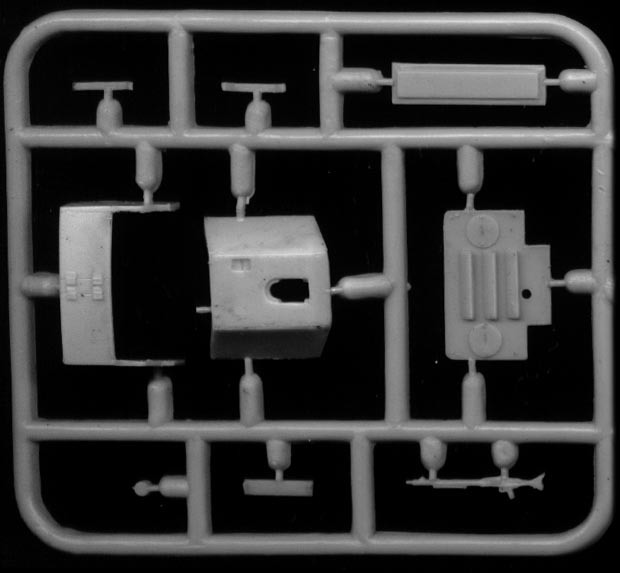 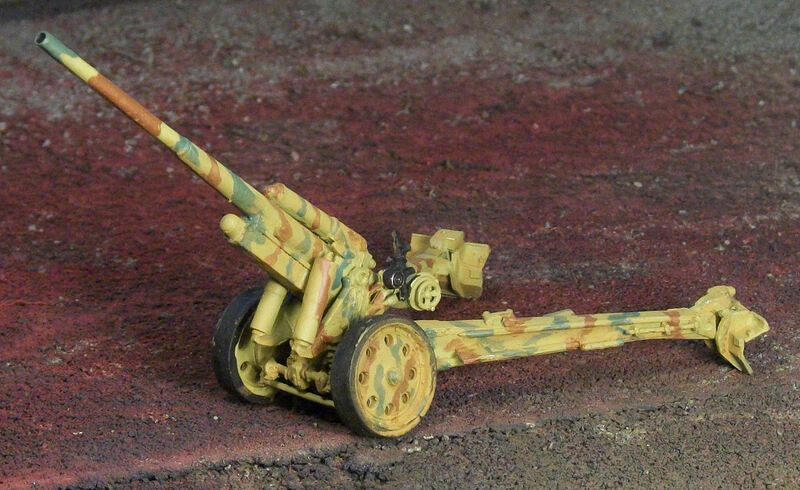 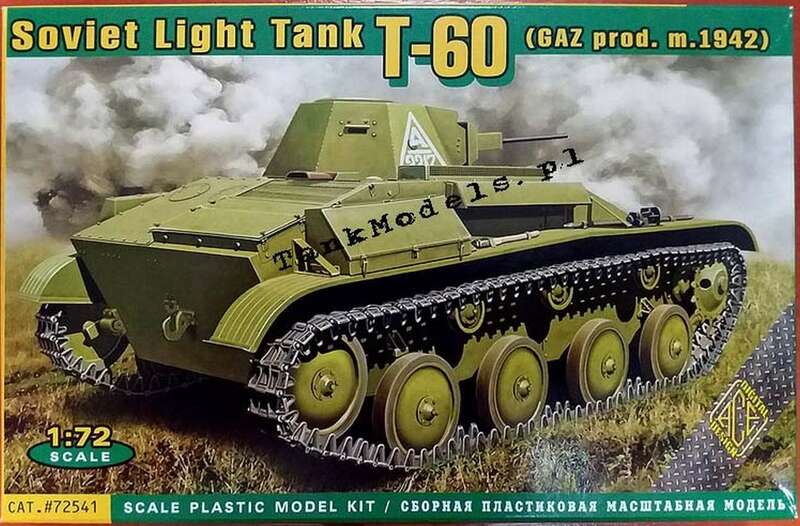 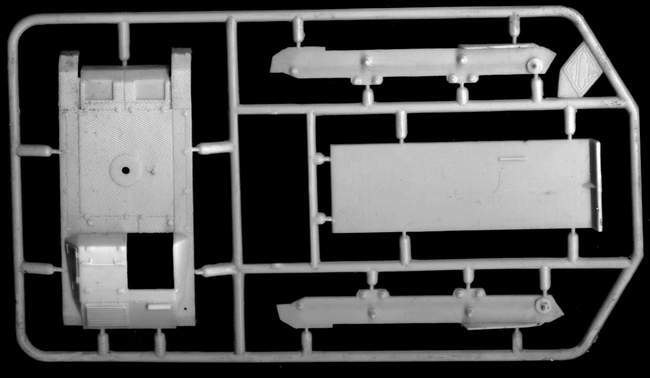 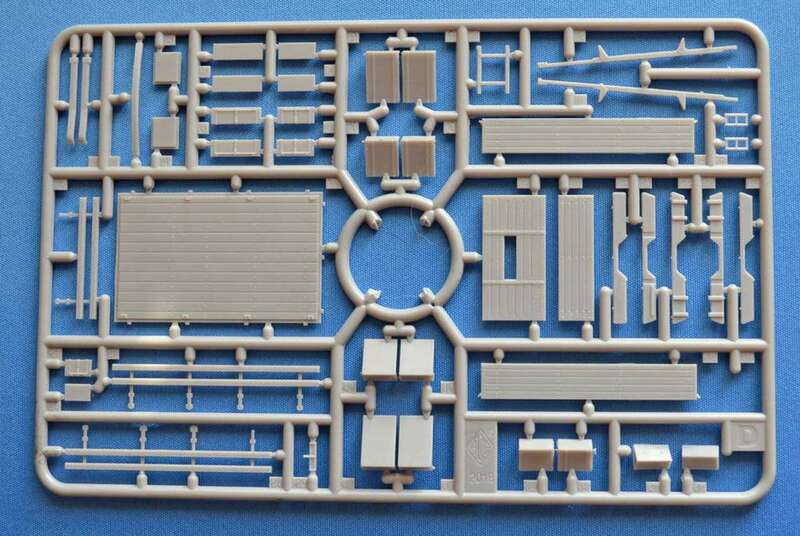 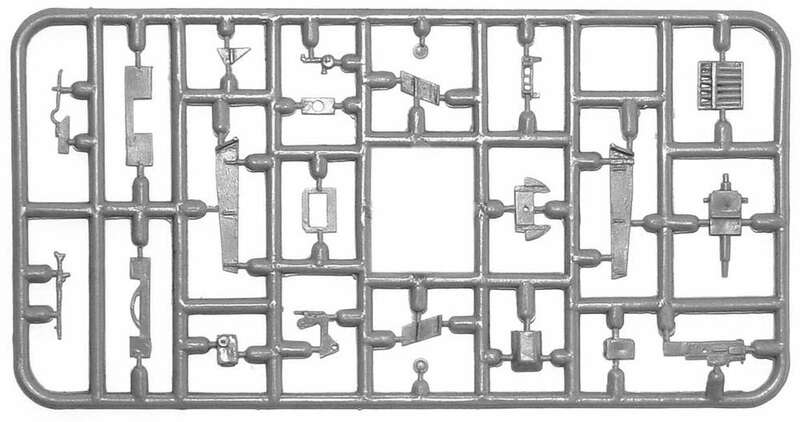 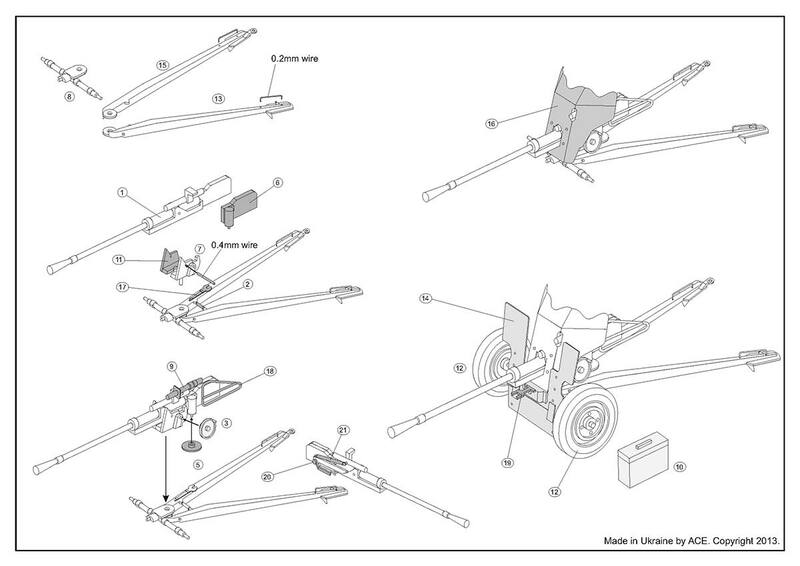 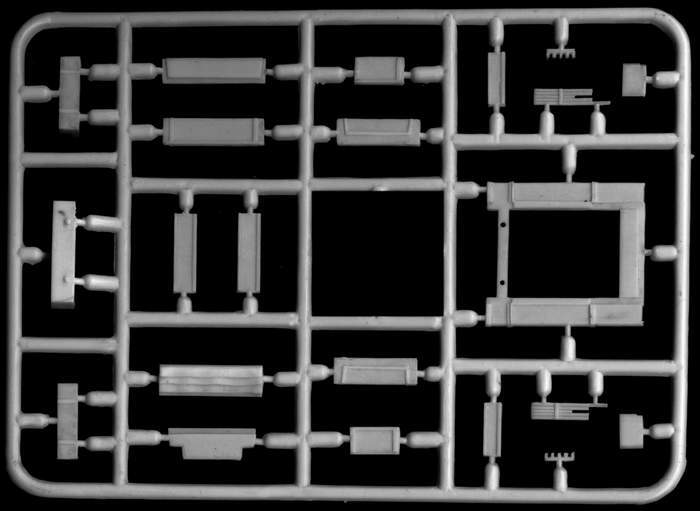 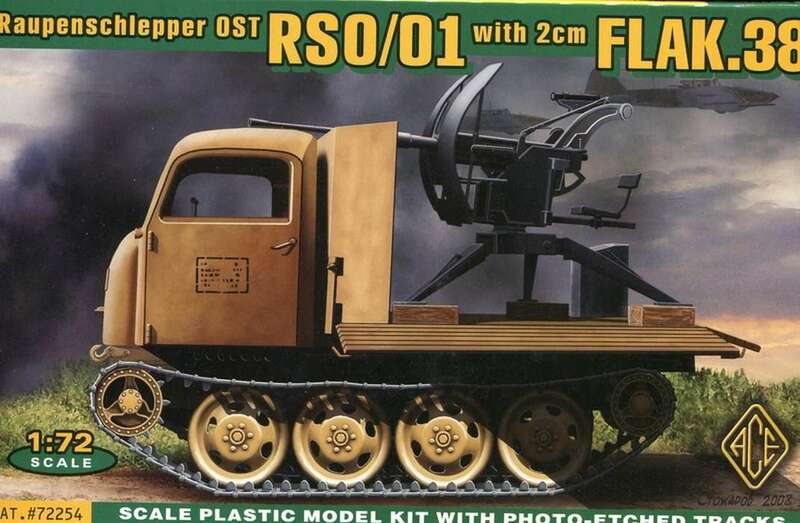 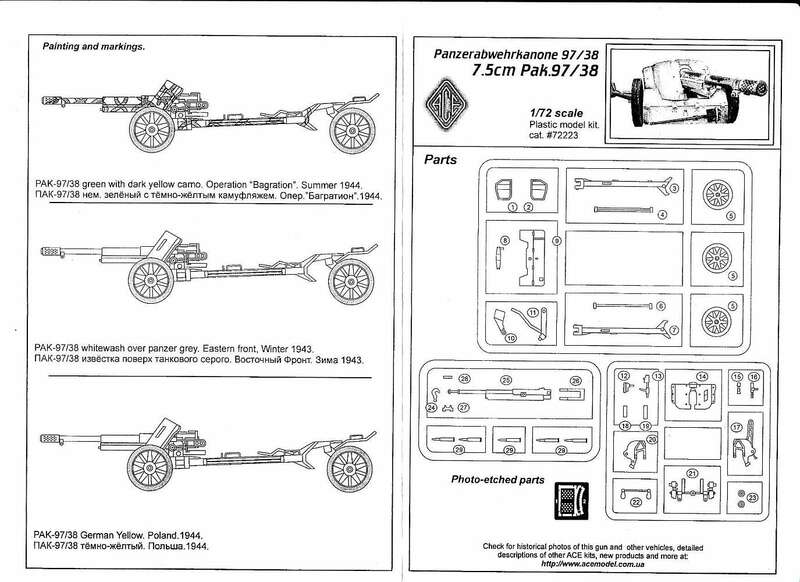 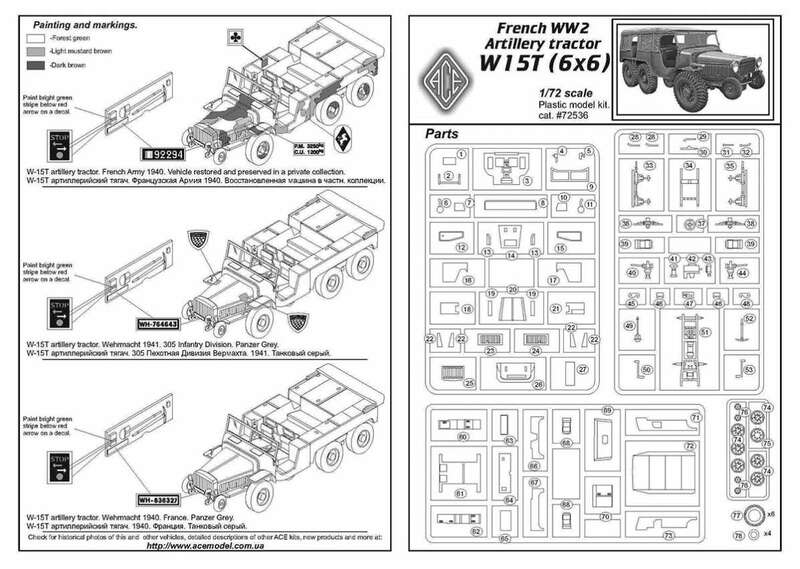 The two wheels and tracks' sprues in this kit are in convenant with UM - Ukraine. 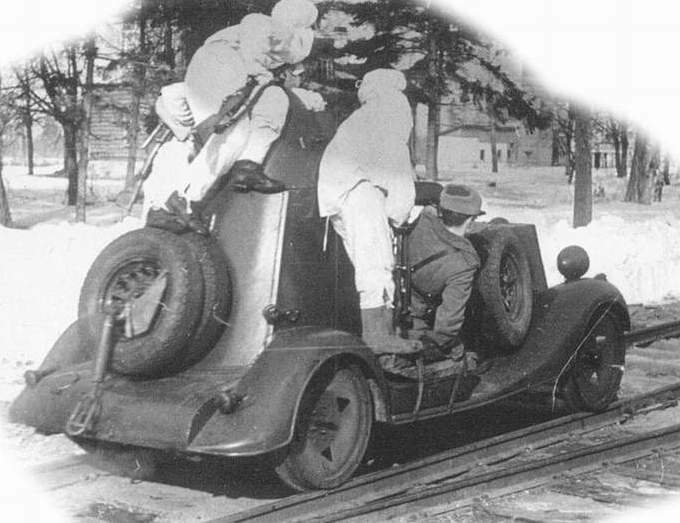 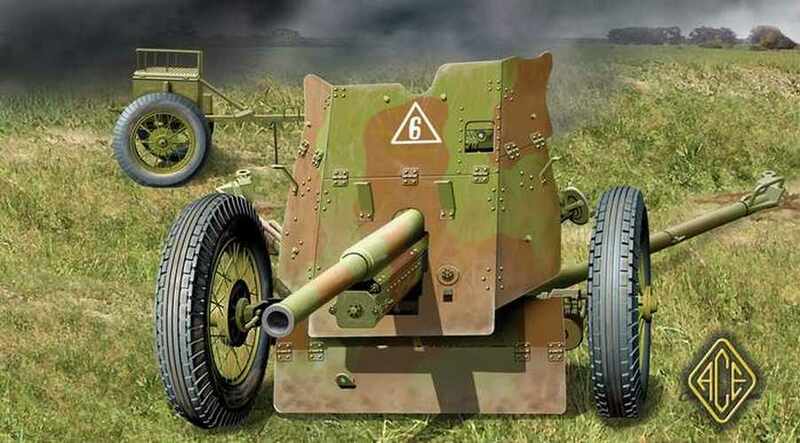 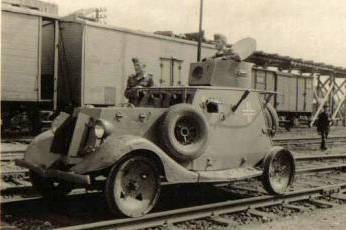 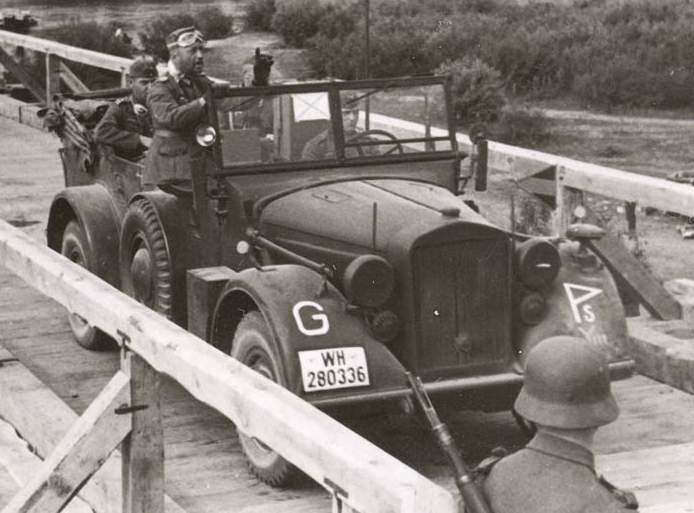 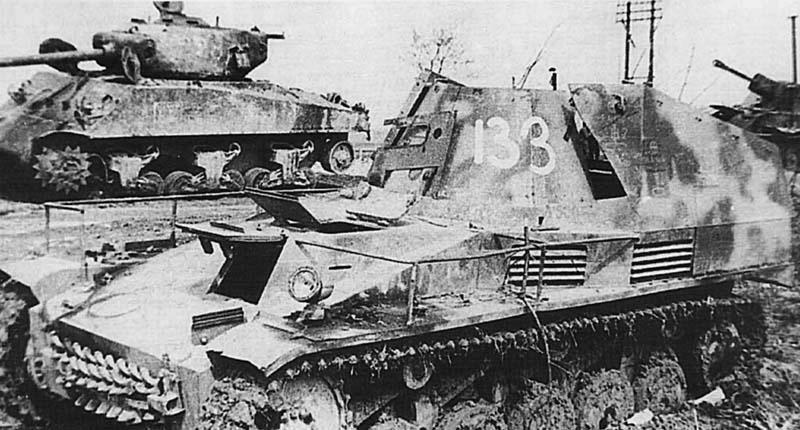 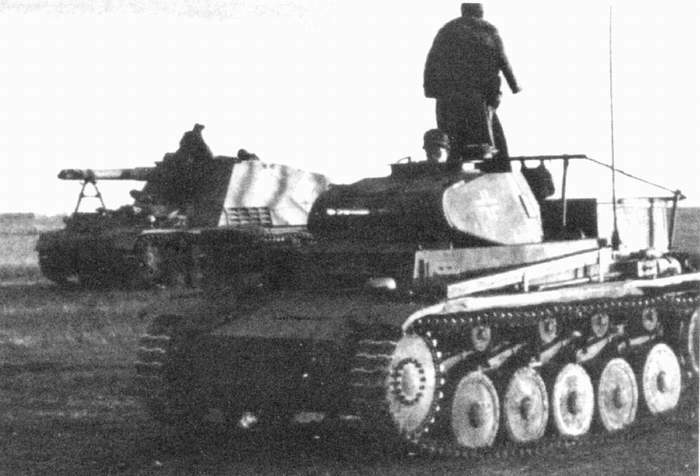 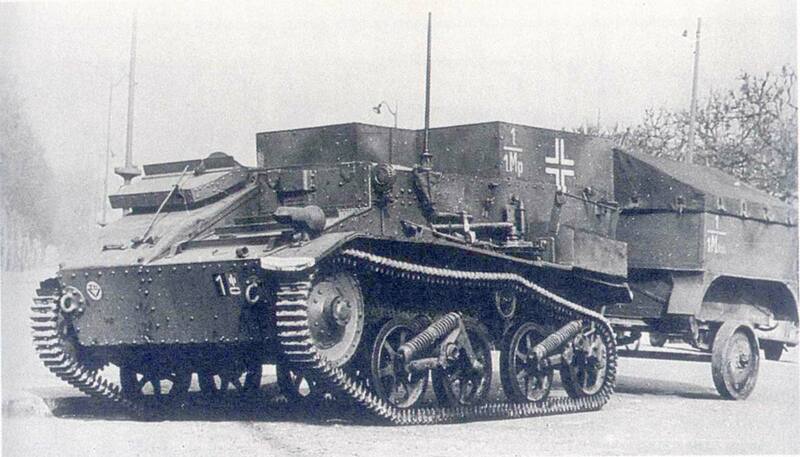 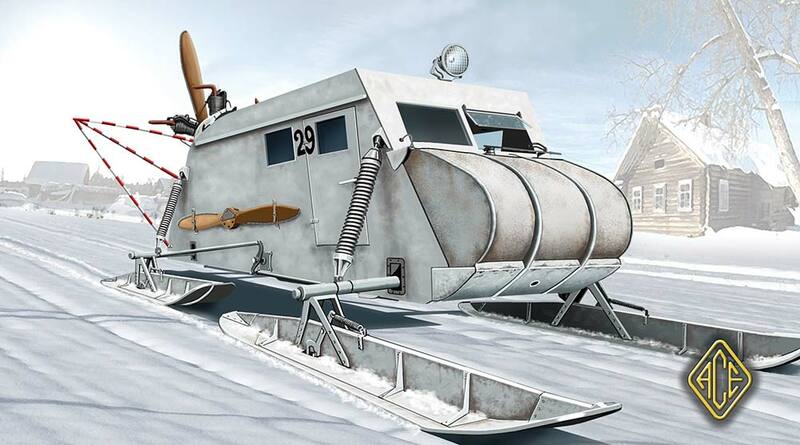 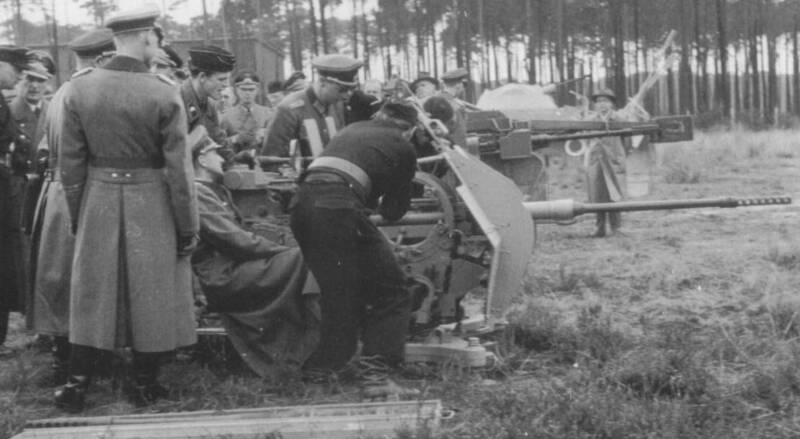 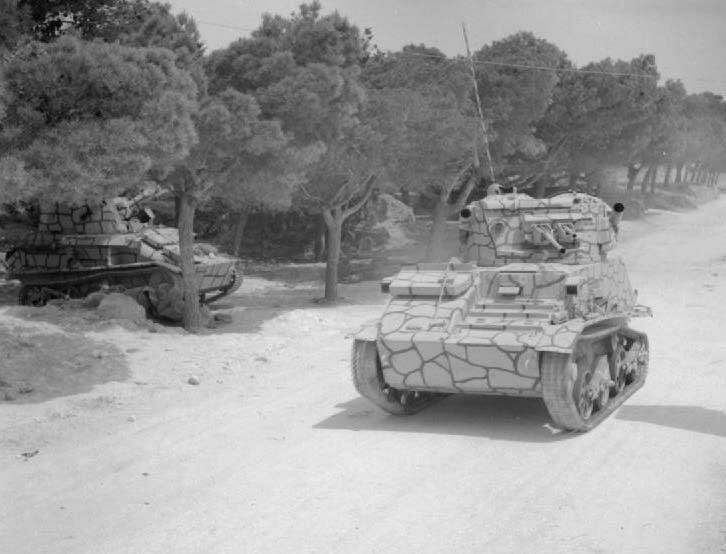 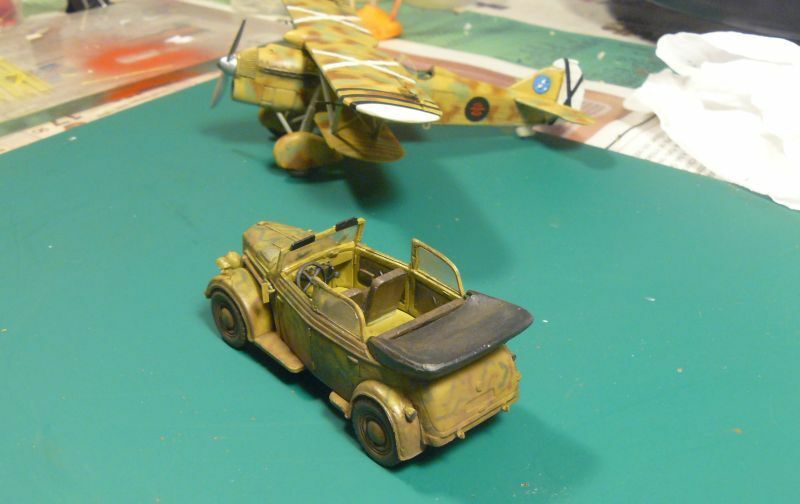 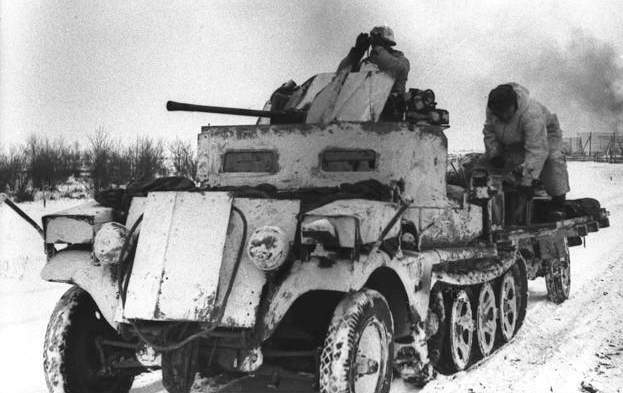 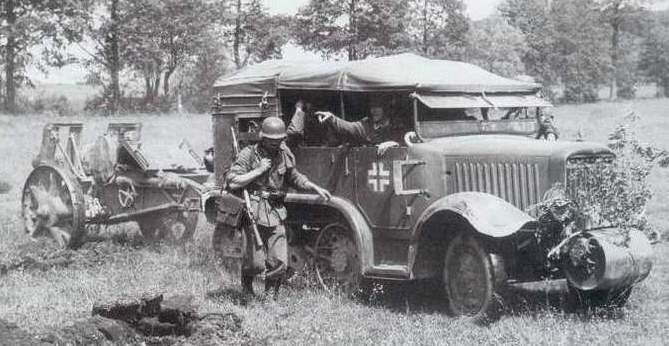 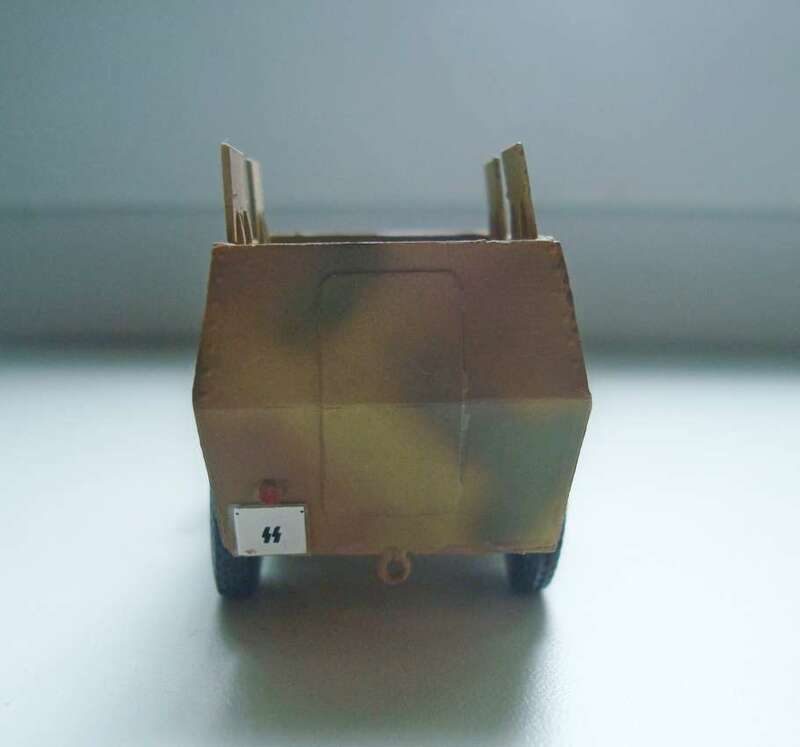 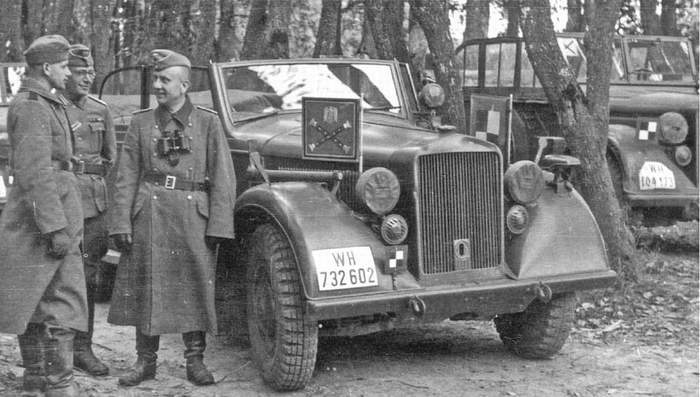 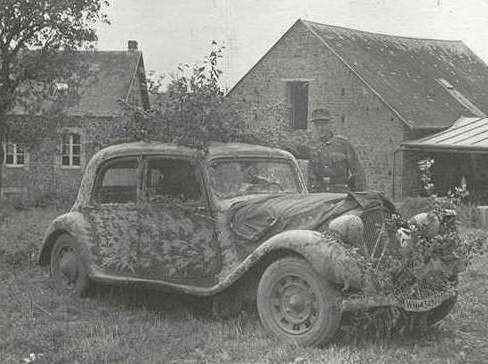 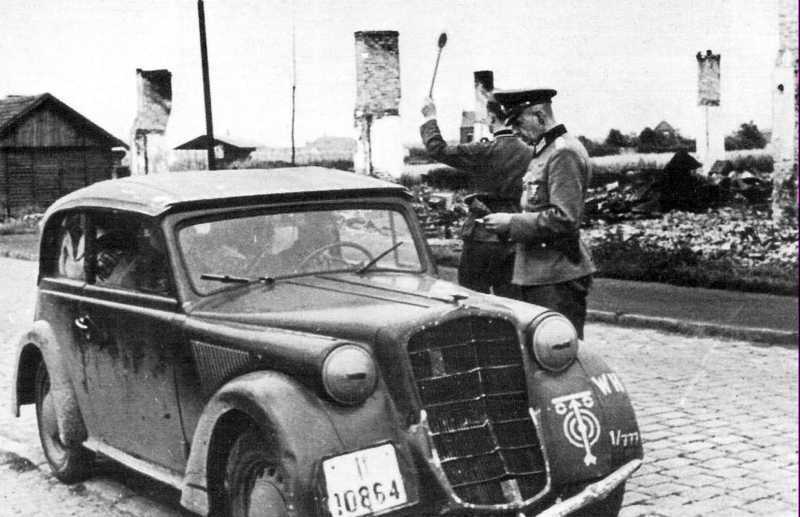 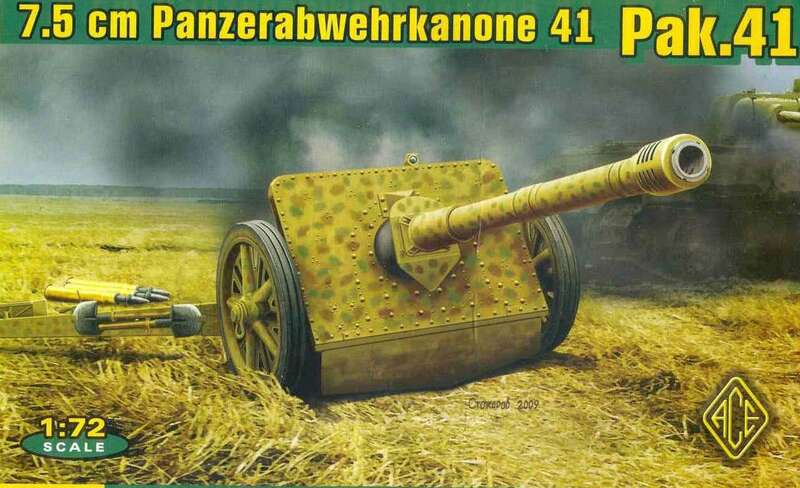 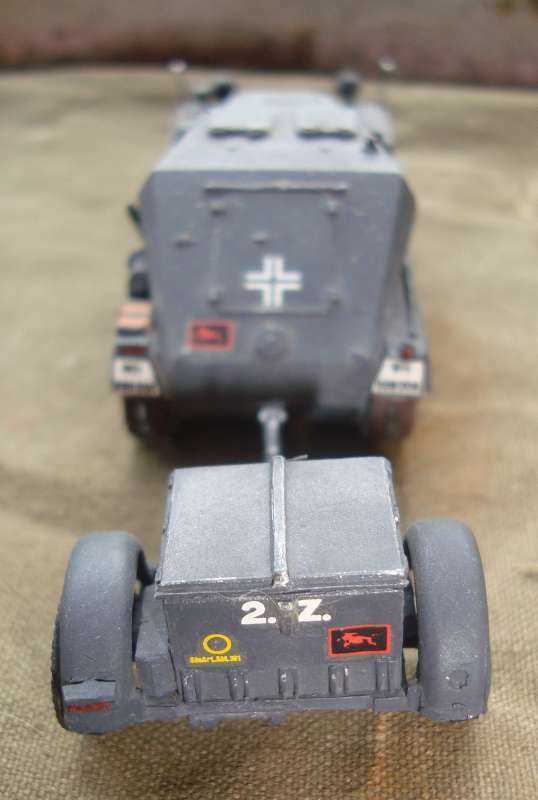 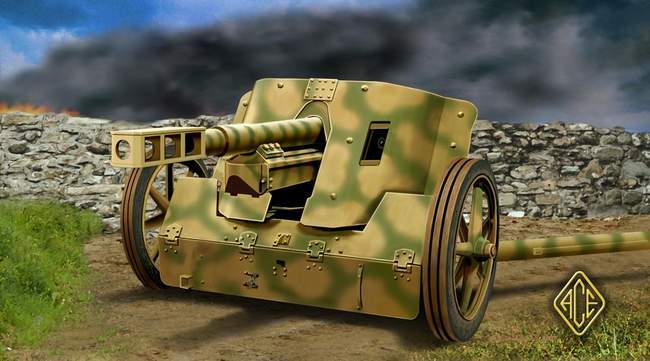 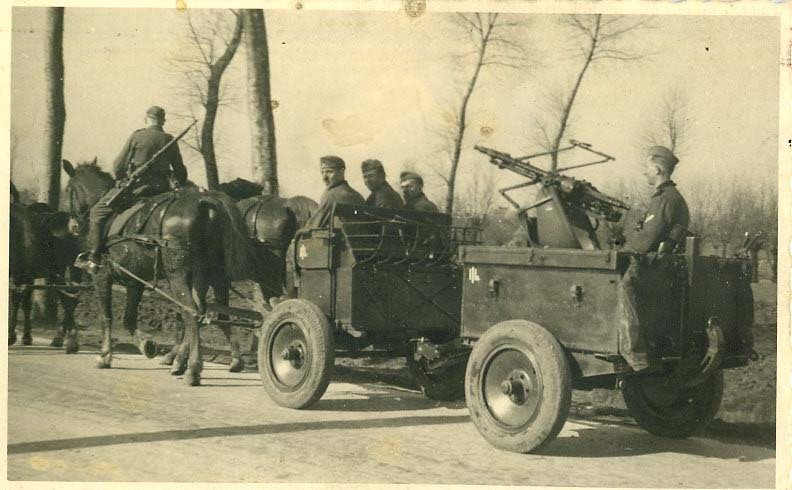 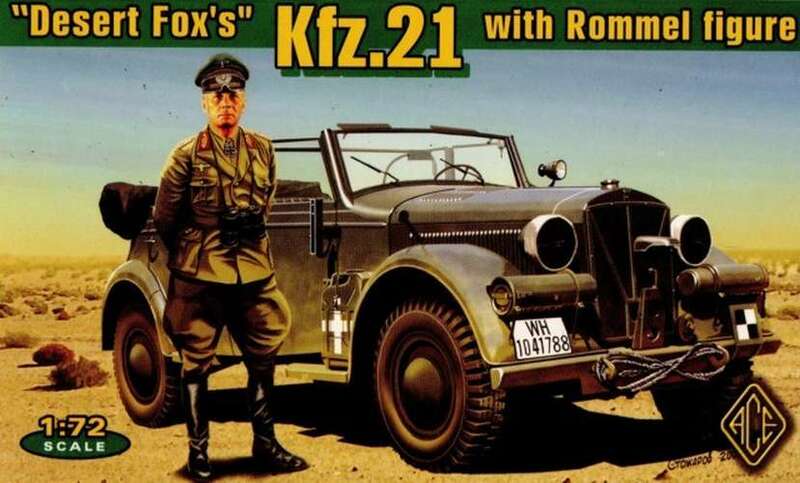 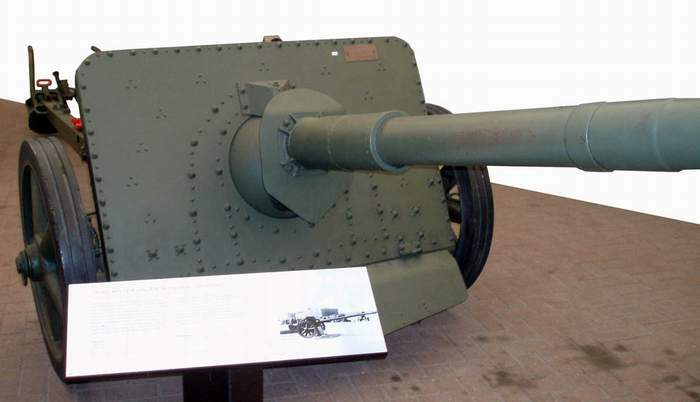 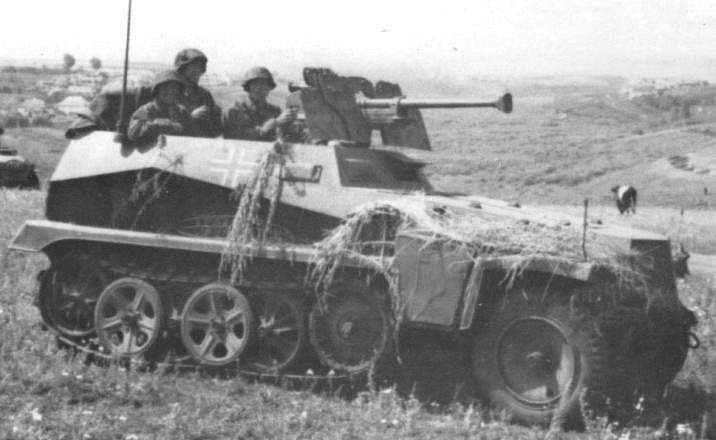 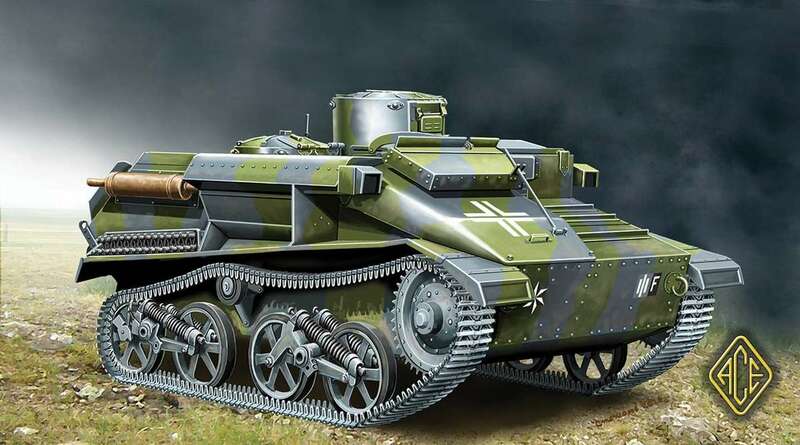 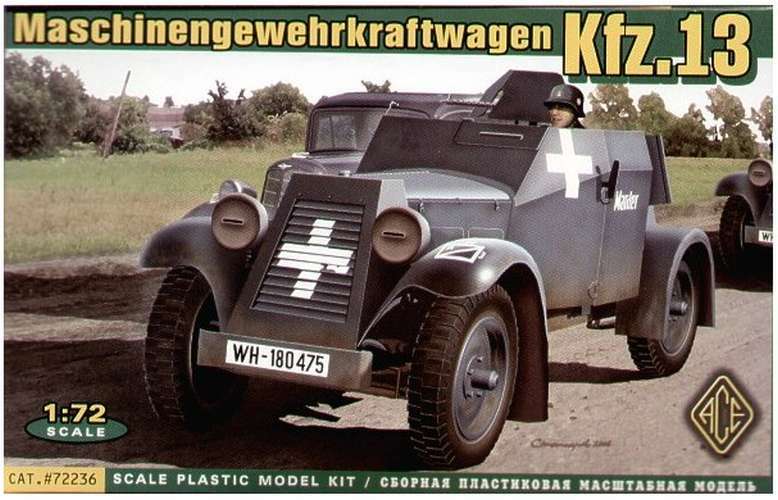 The Kfz.13 with the mg and the Kfz. 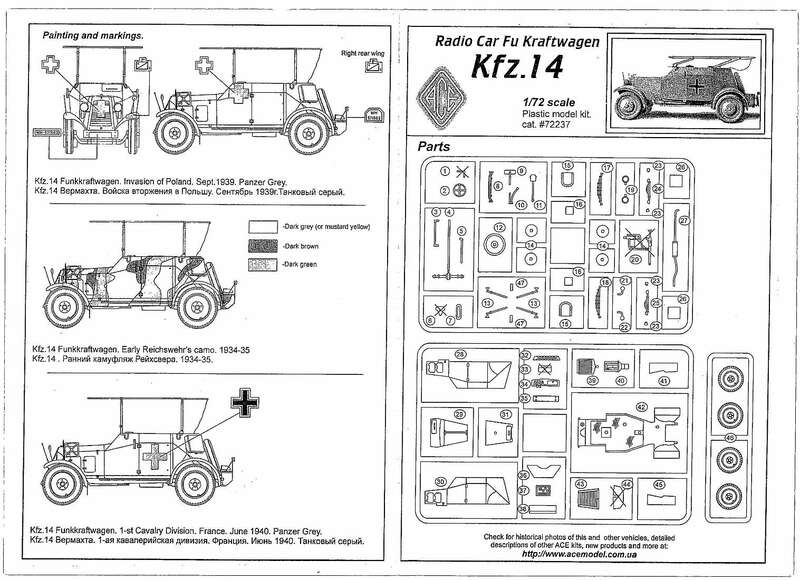 14 with radio entenna are the same kit. 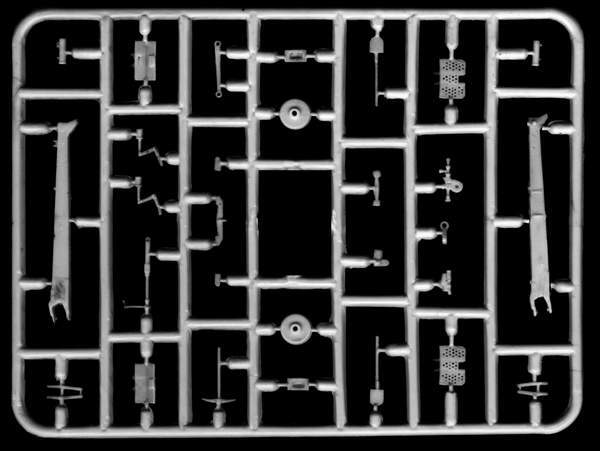 The radio entenna is of metal wire. 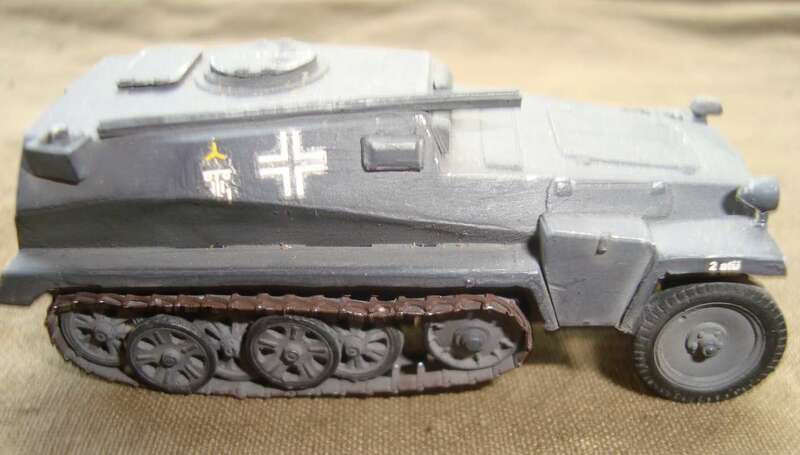 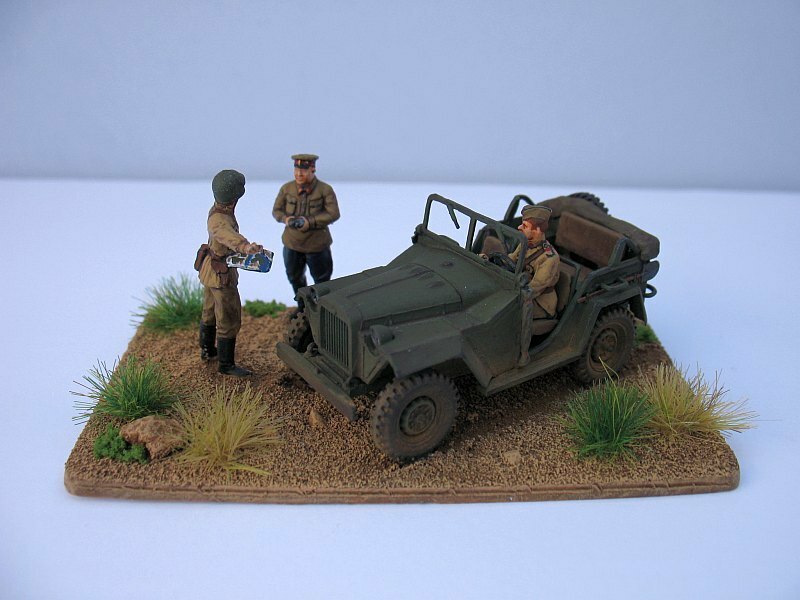 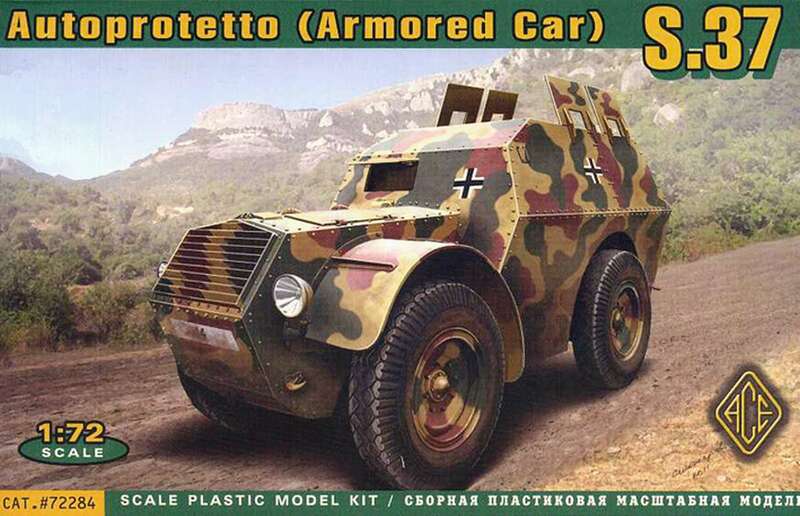 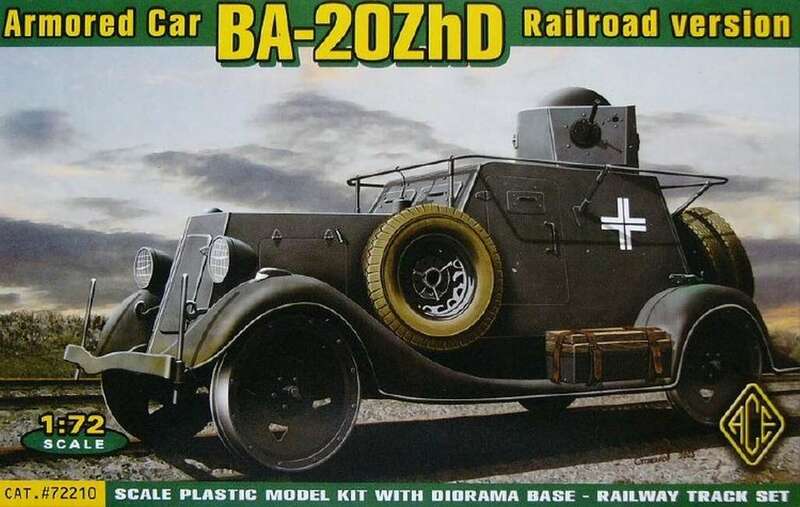 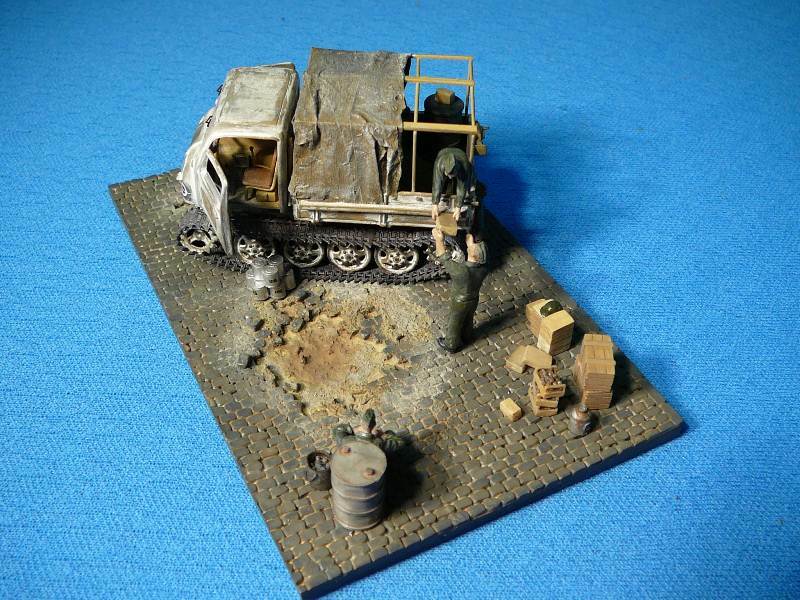 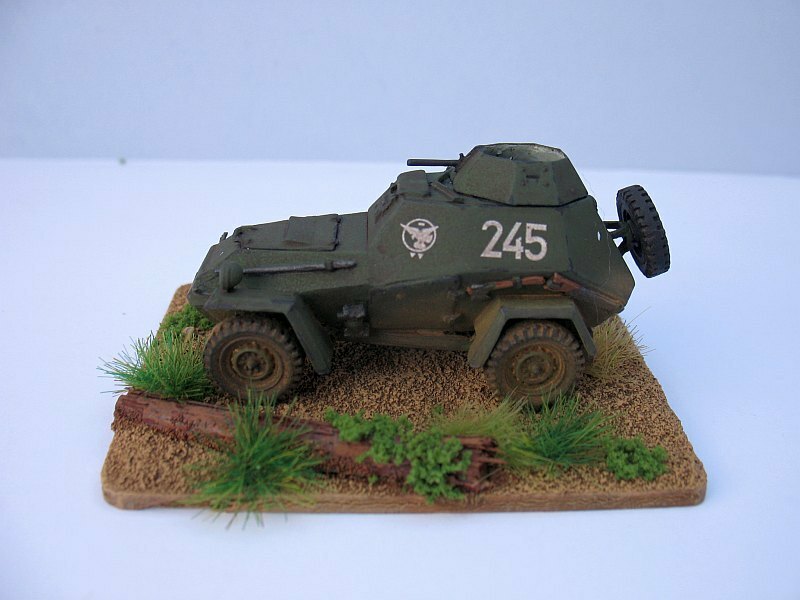 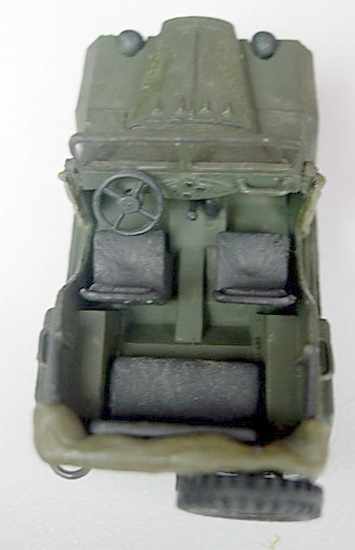 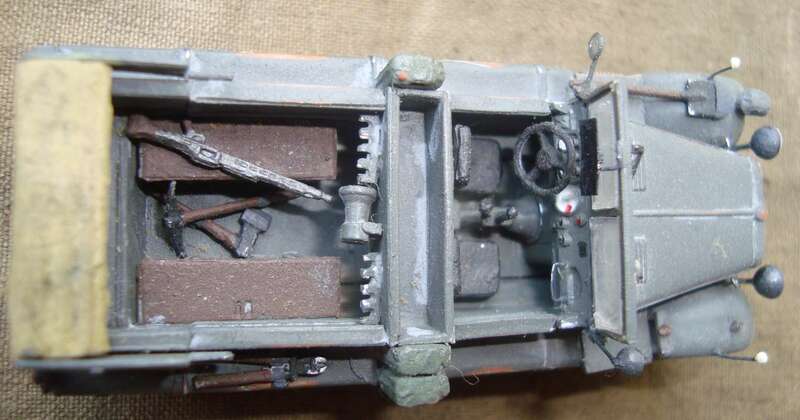 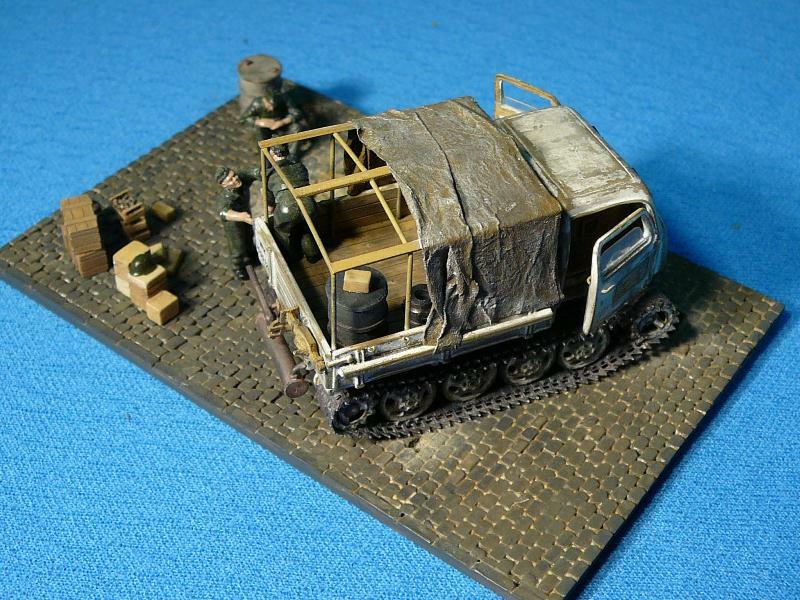 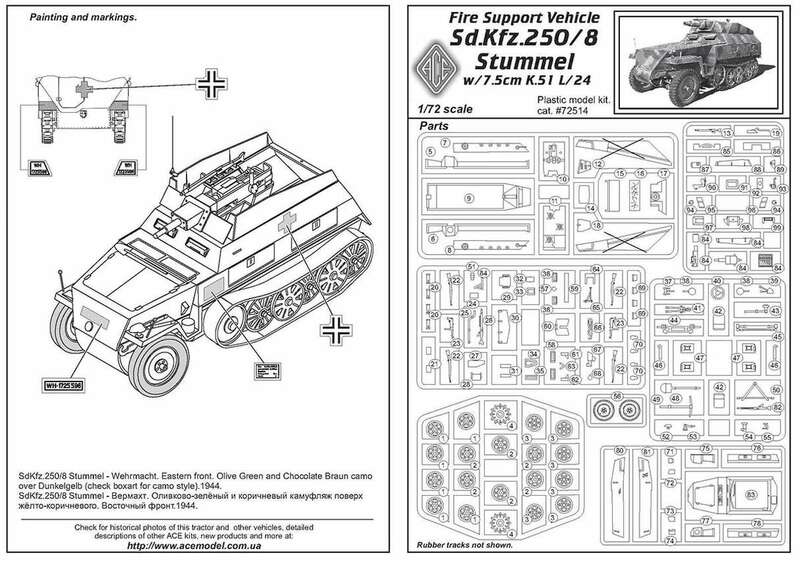 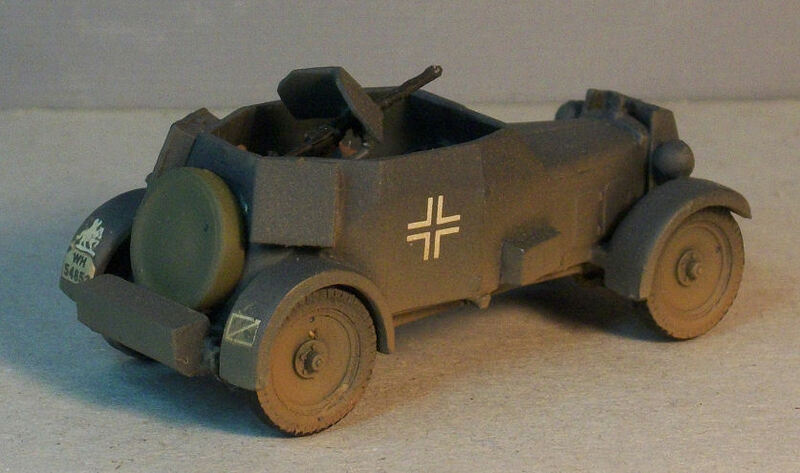 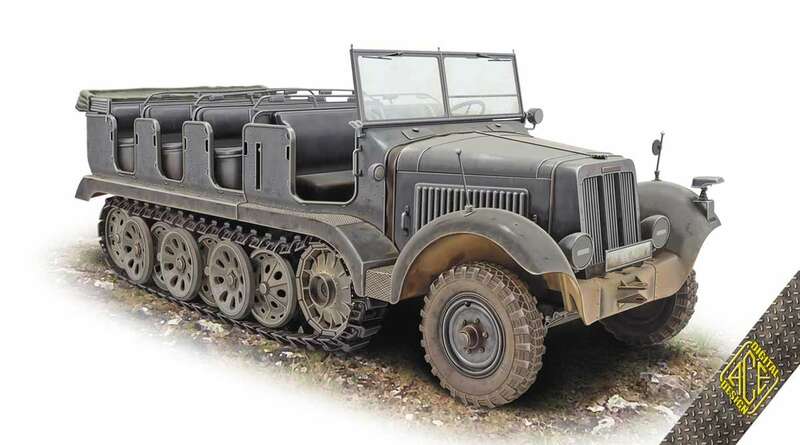 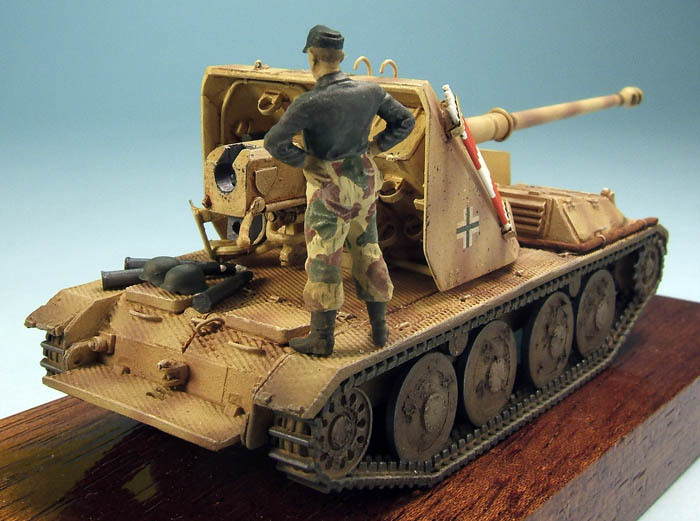 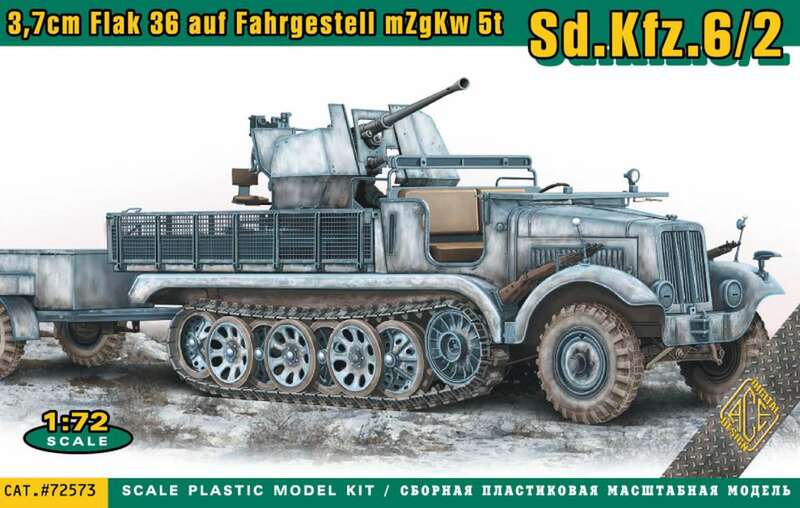 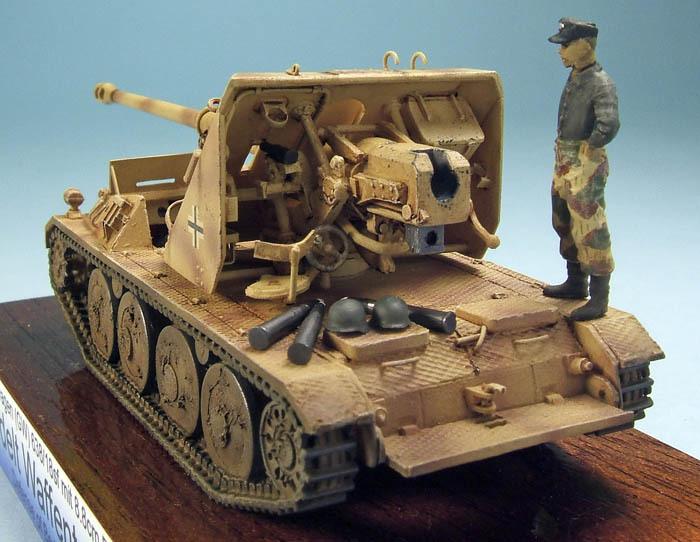 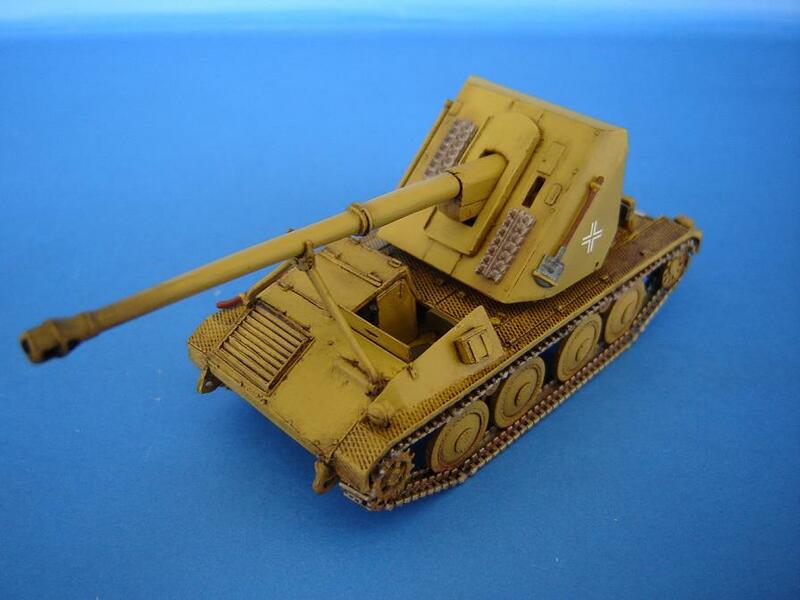 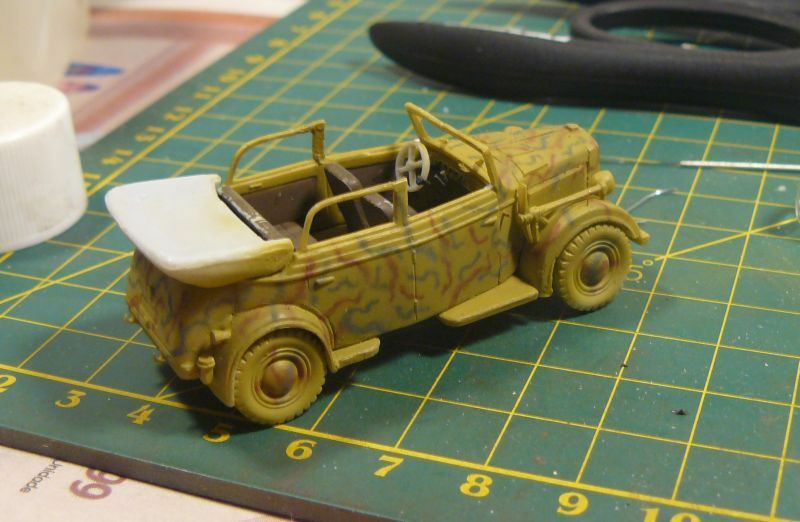 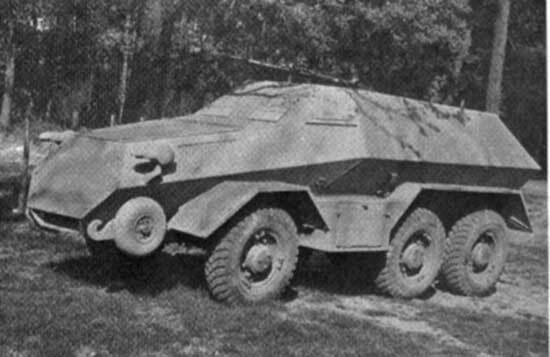 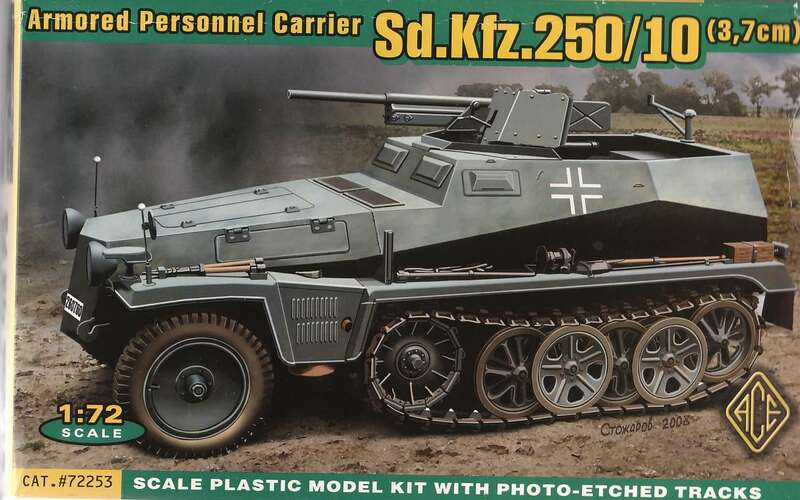 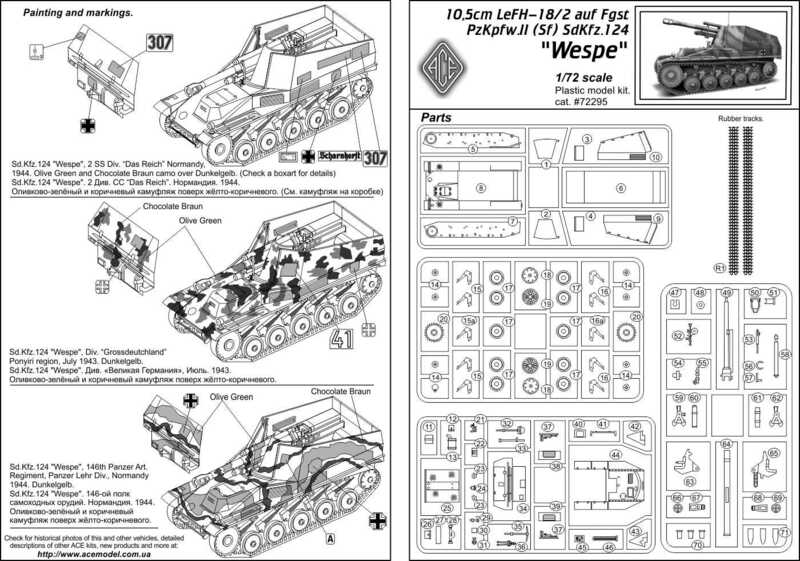 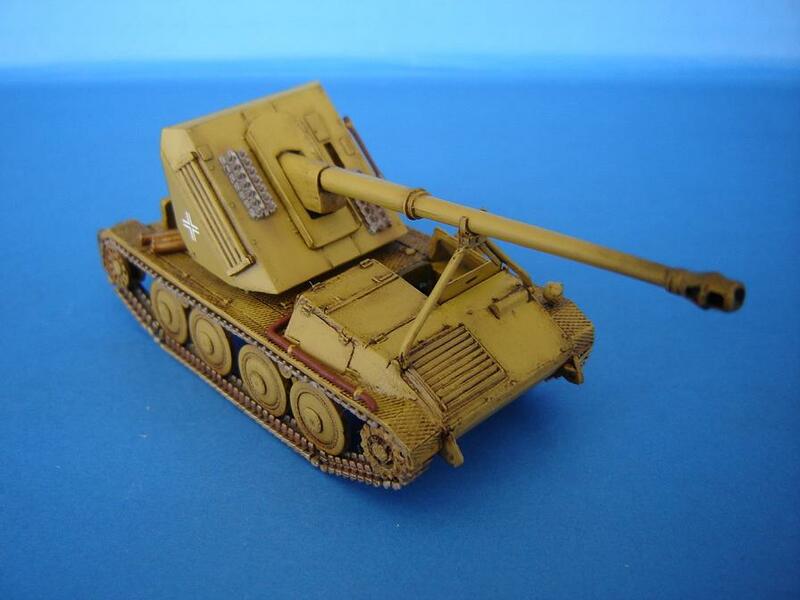 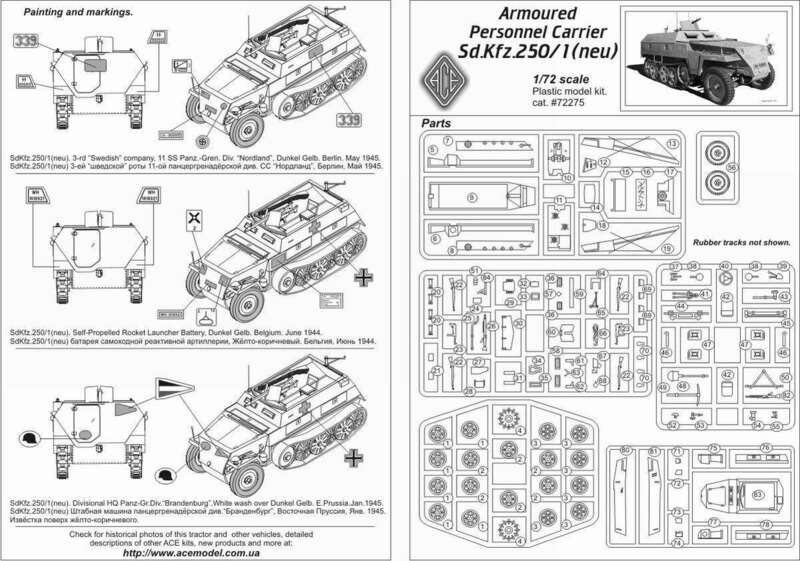 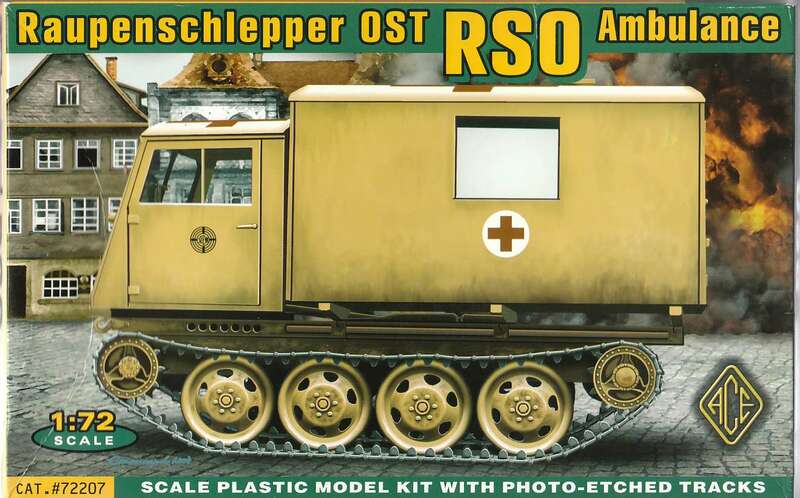 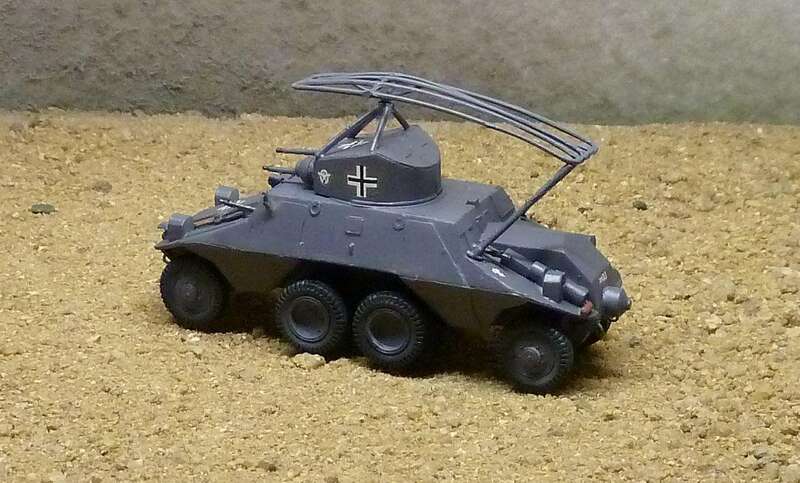 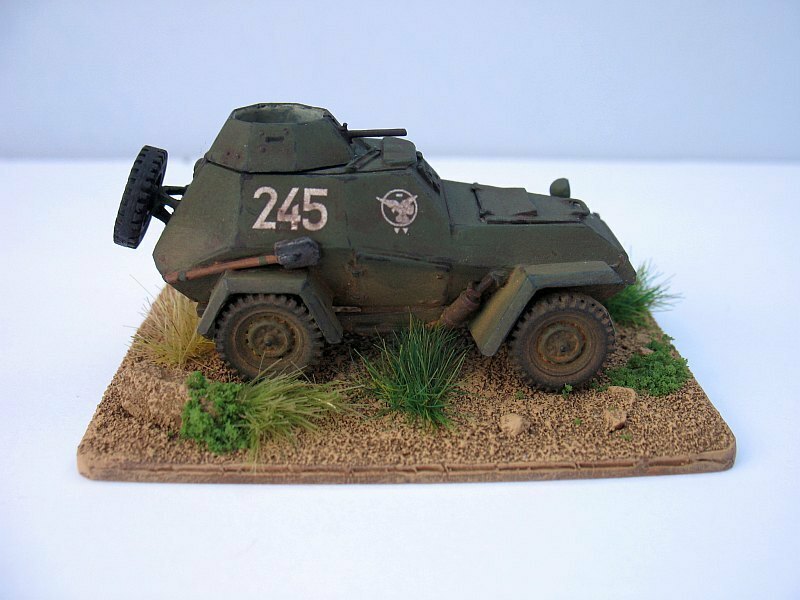 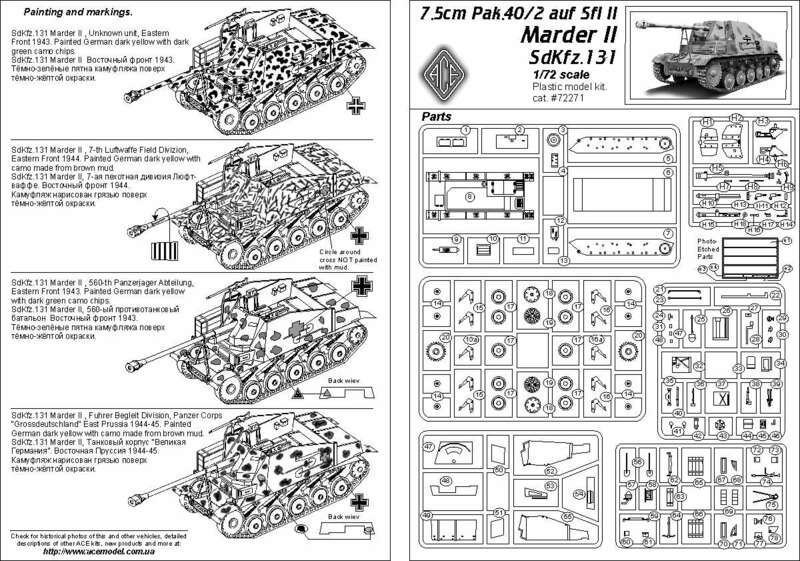 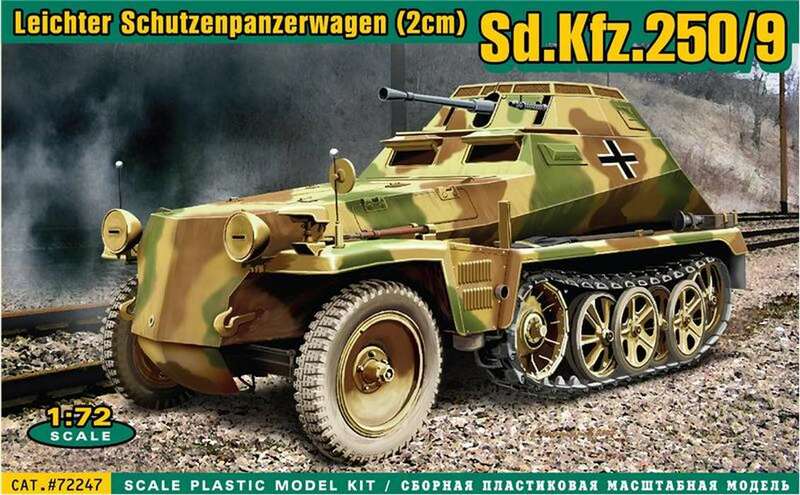 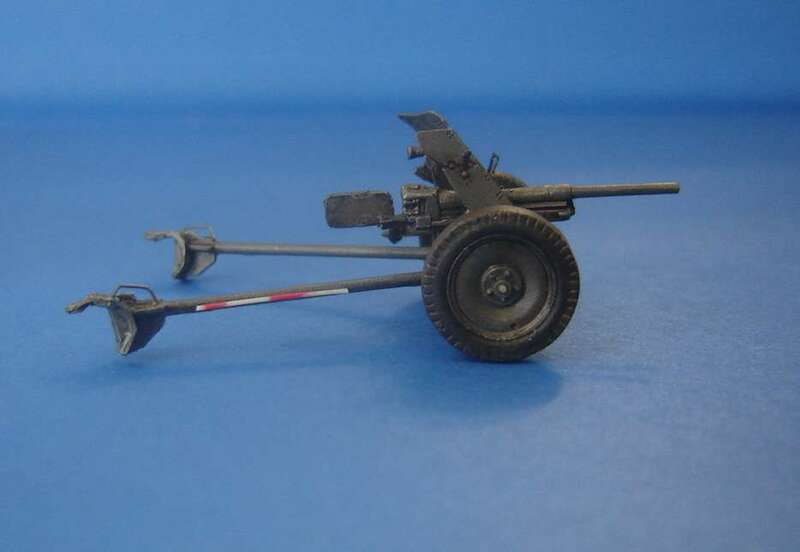 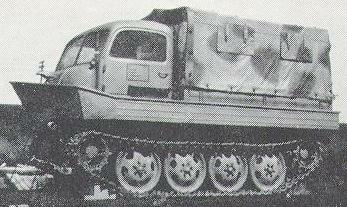 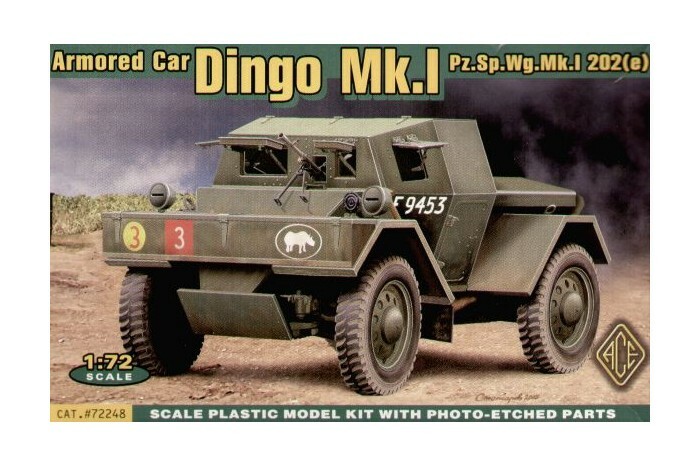 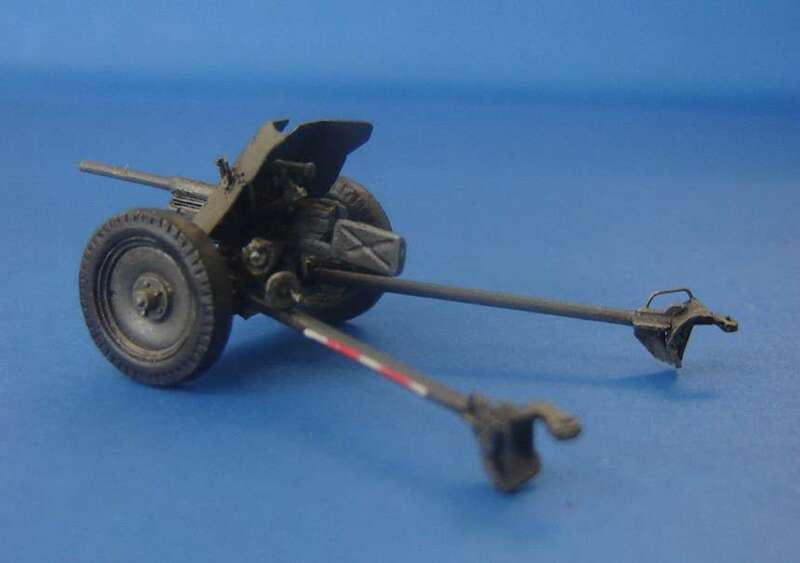 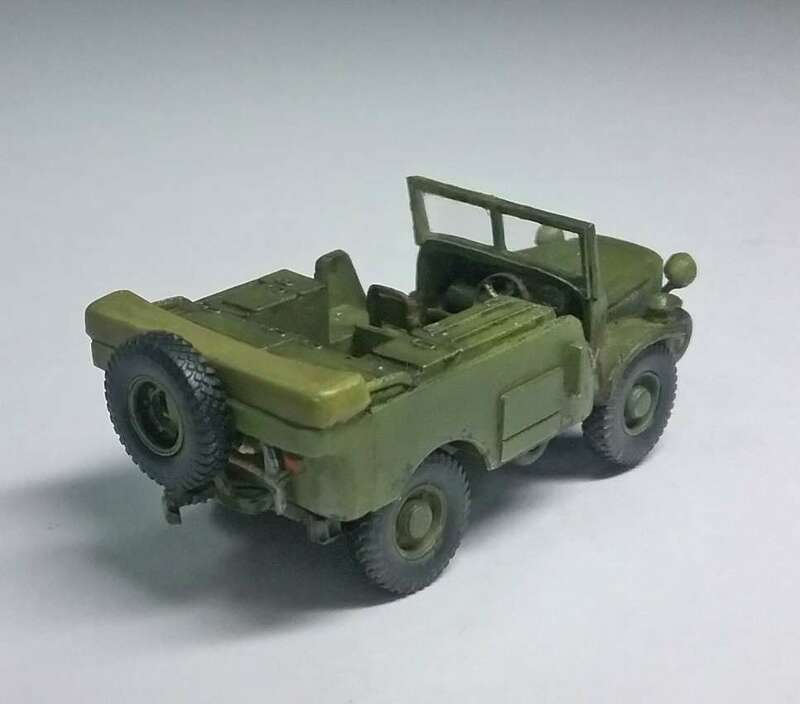 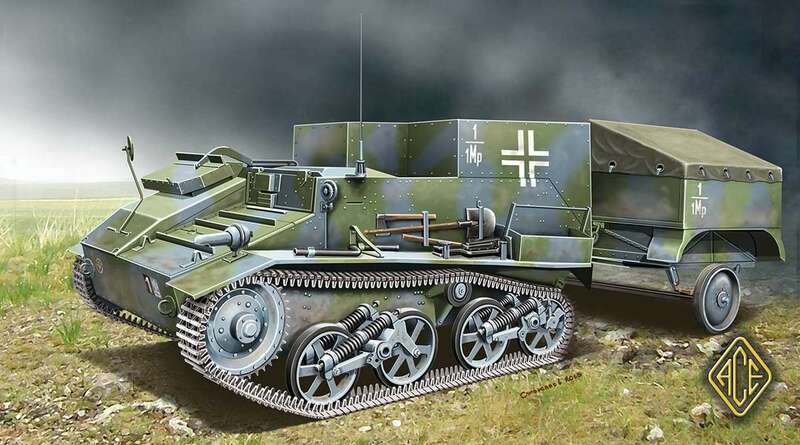 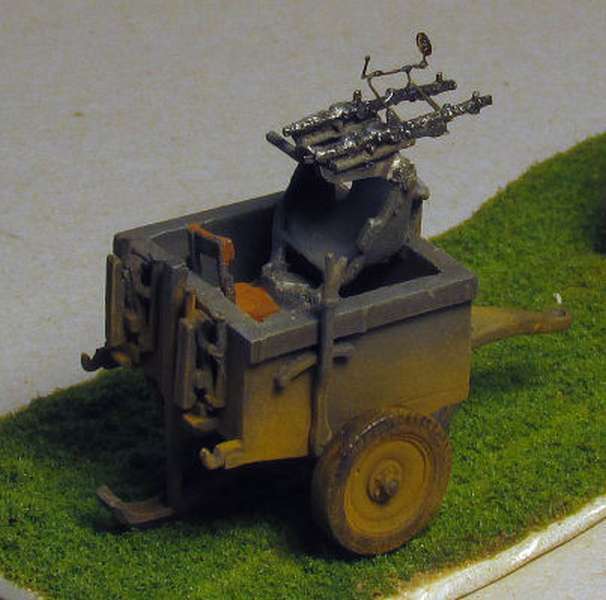 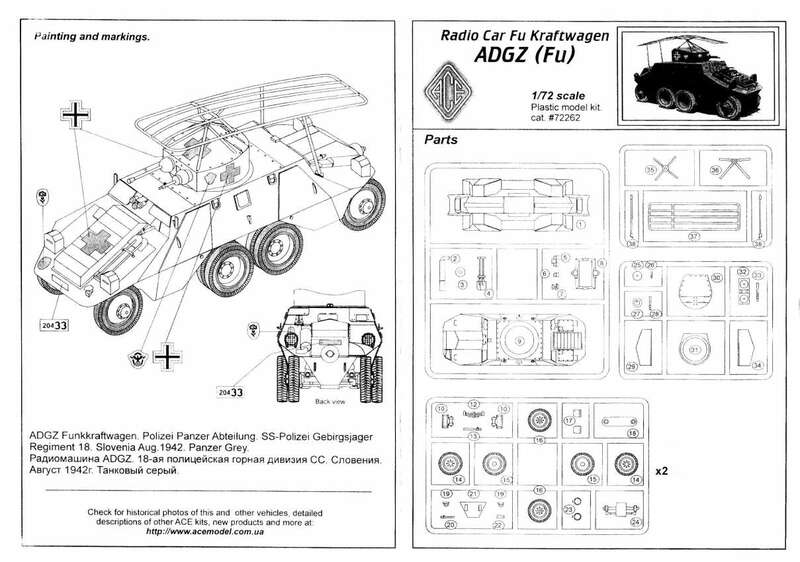 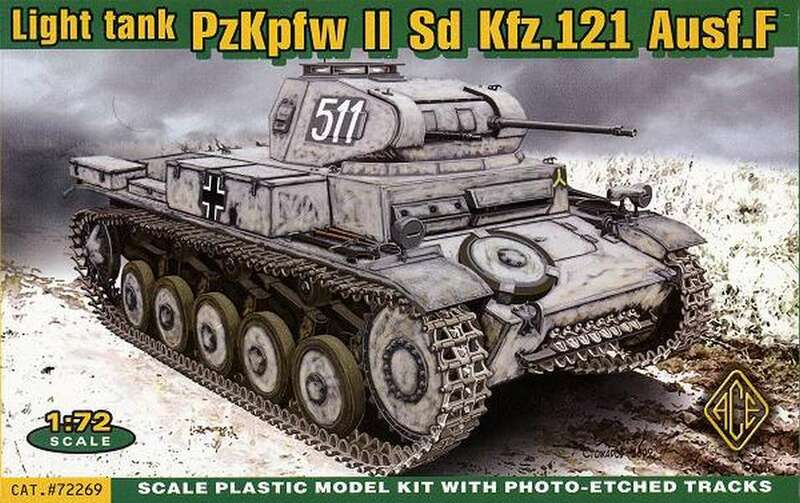 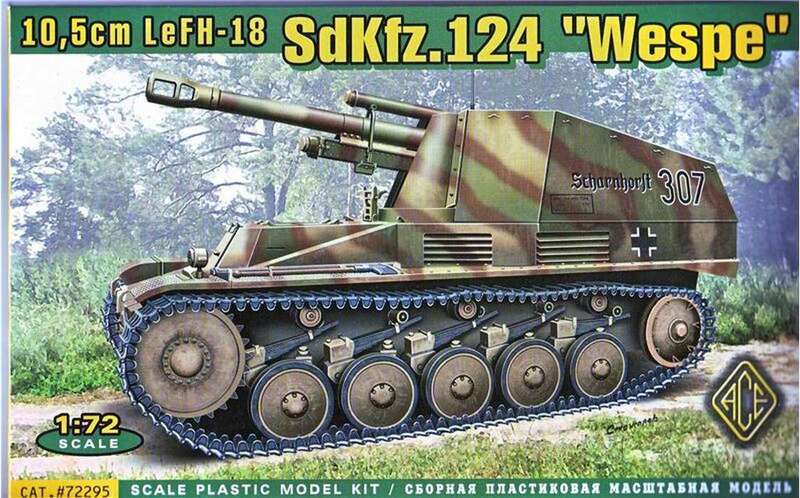 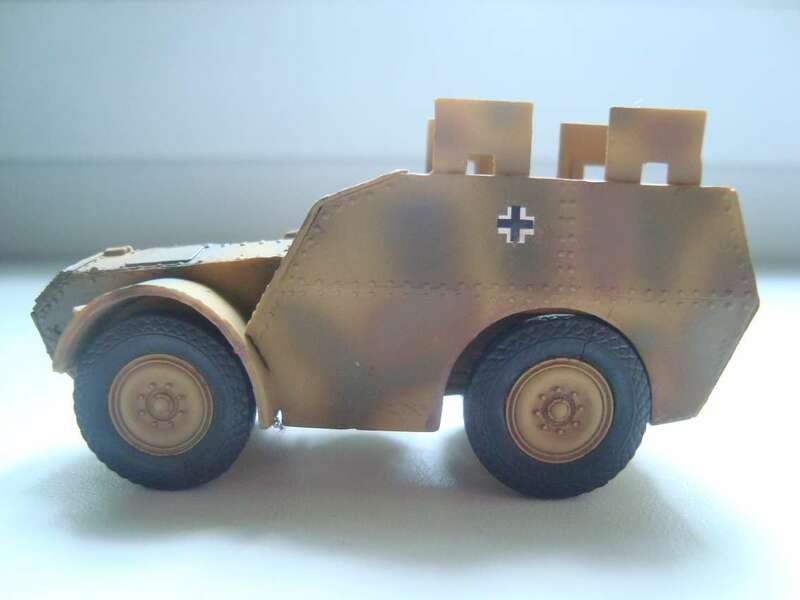 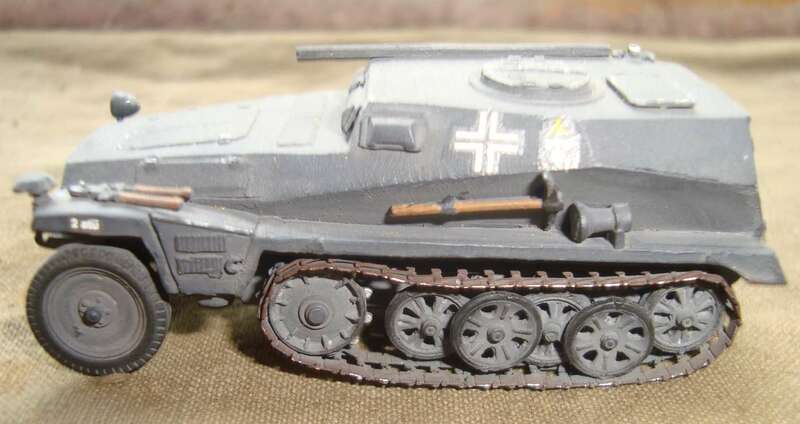 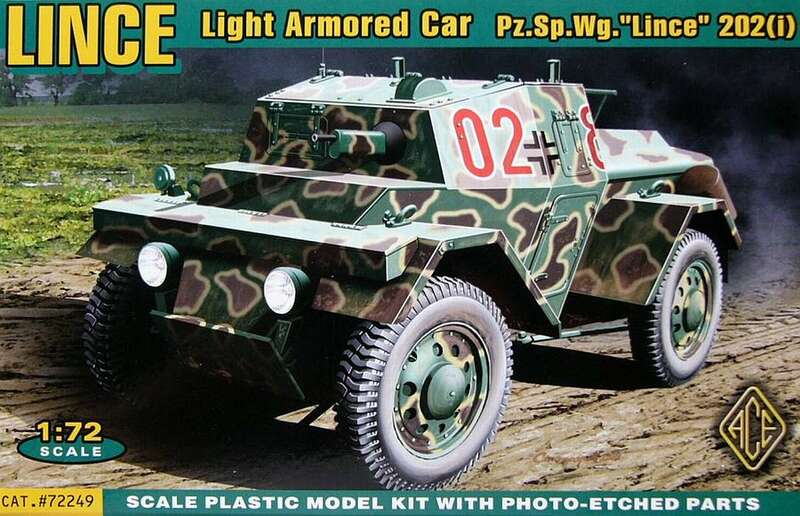 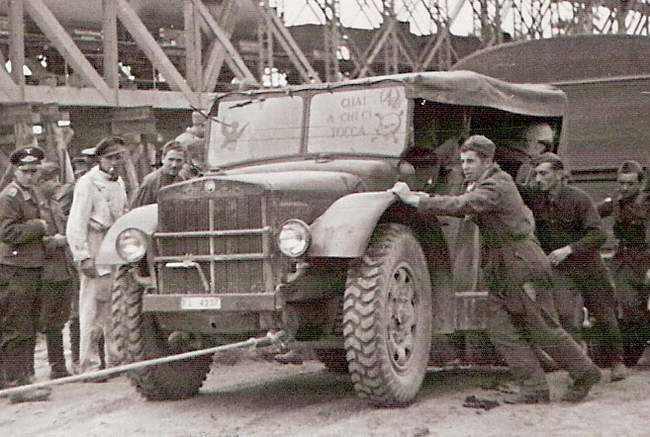 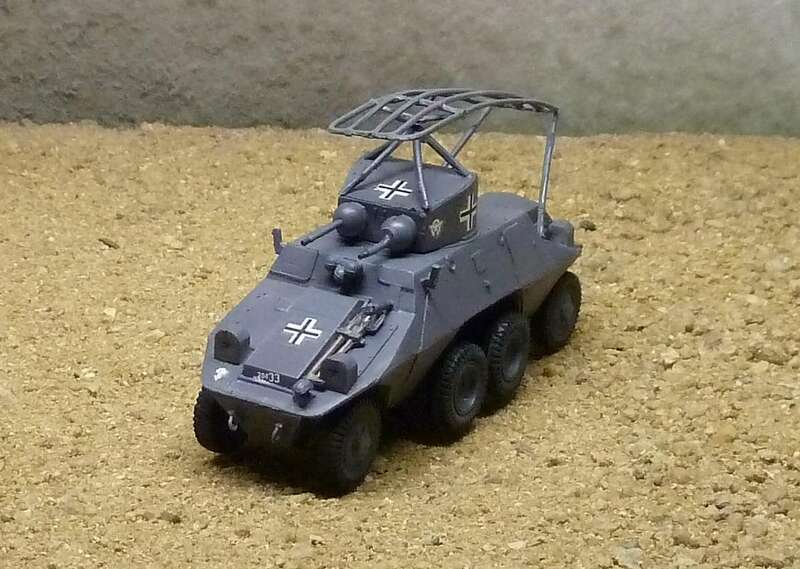 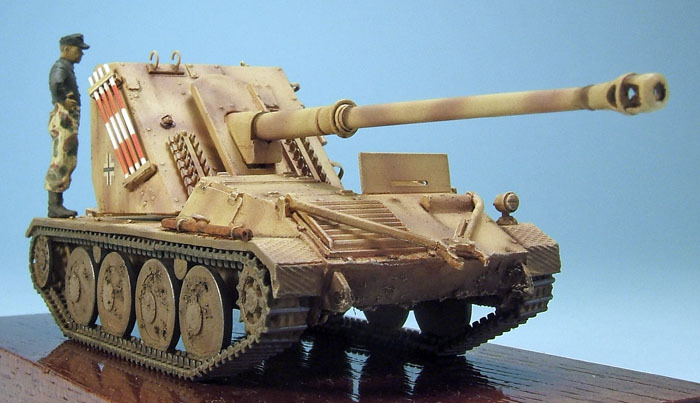 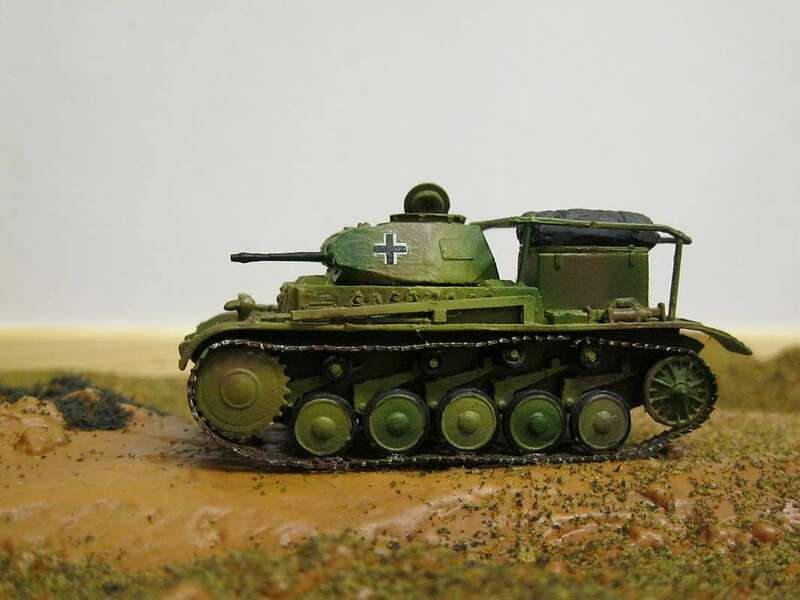 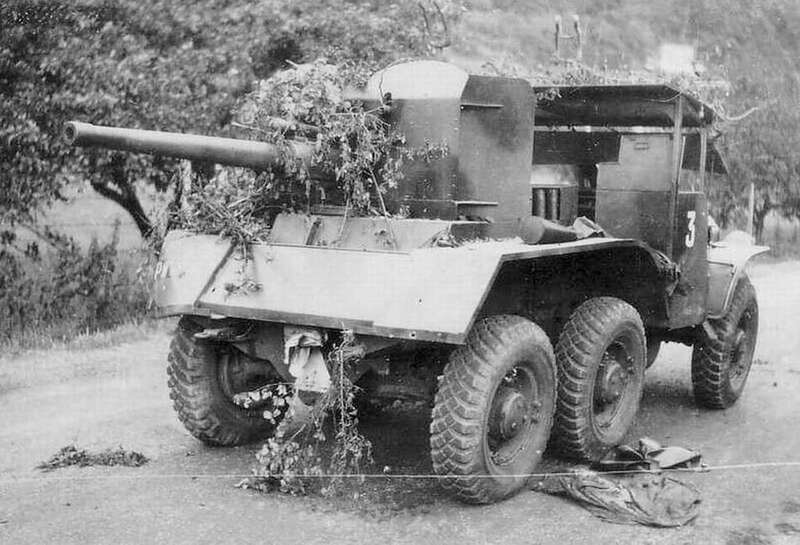 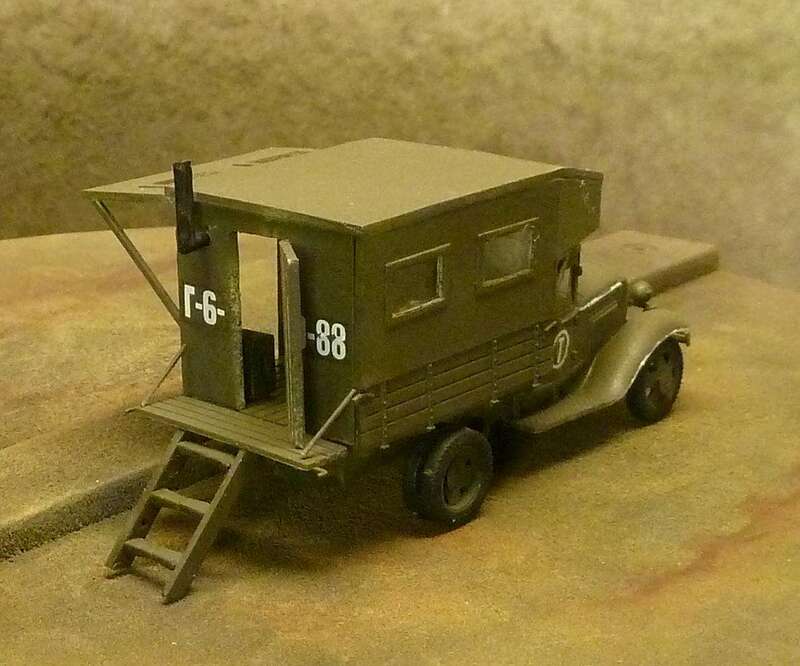 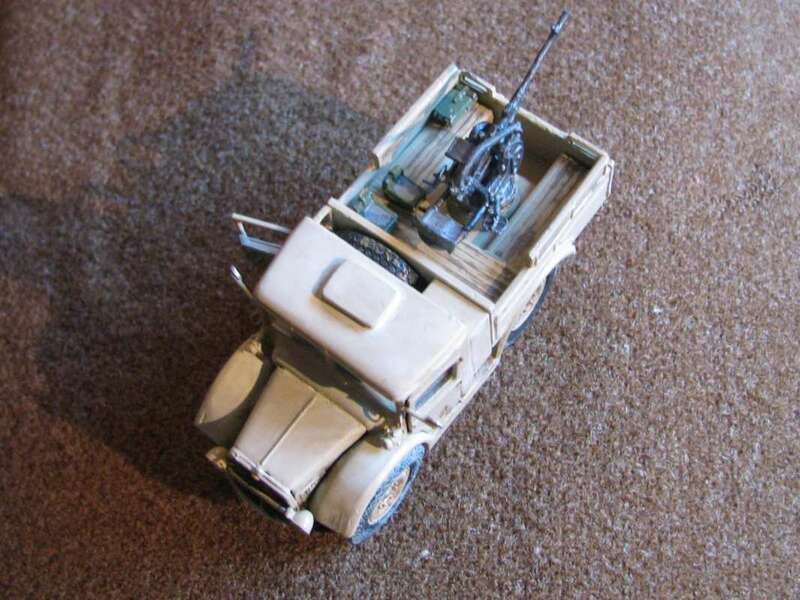 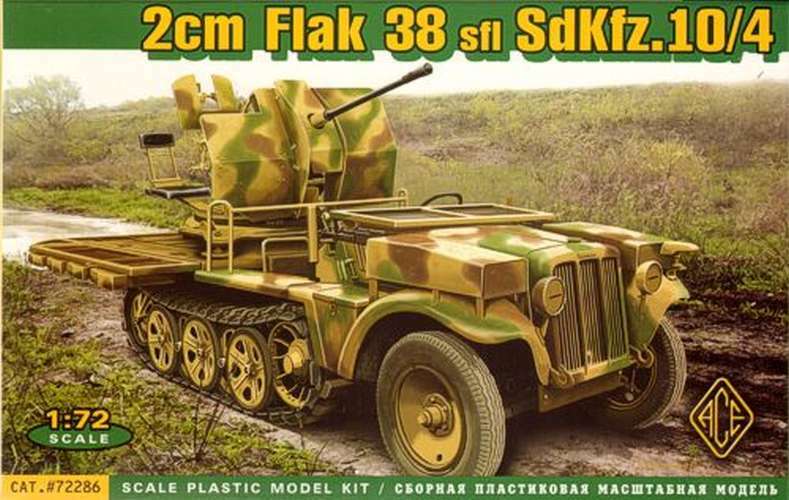 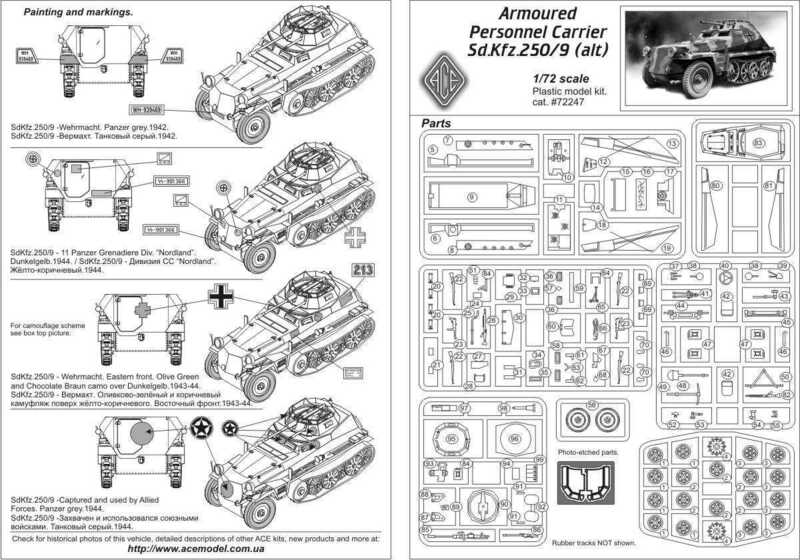 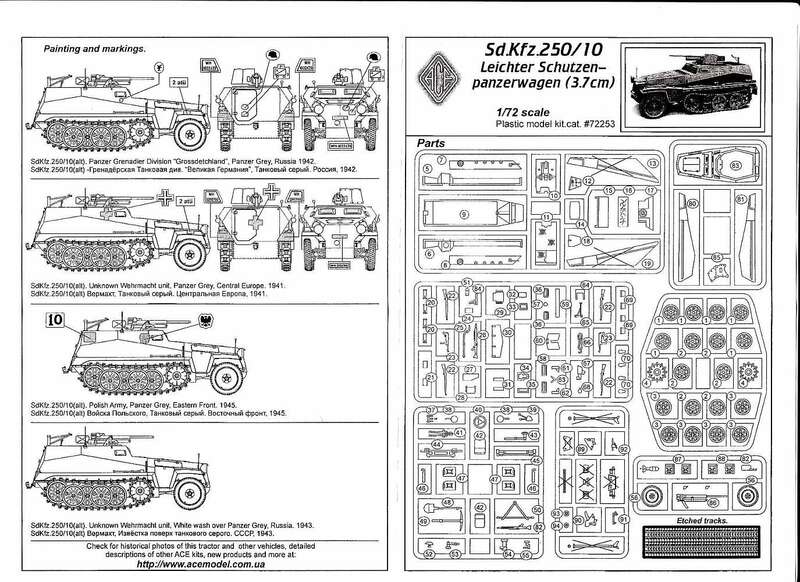 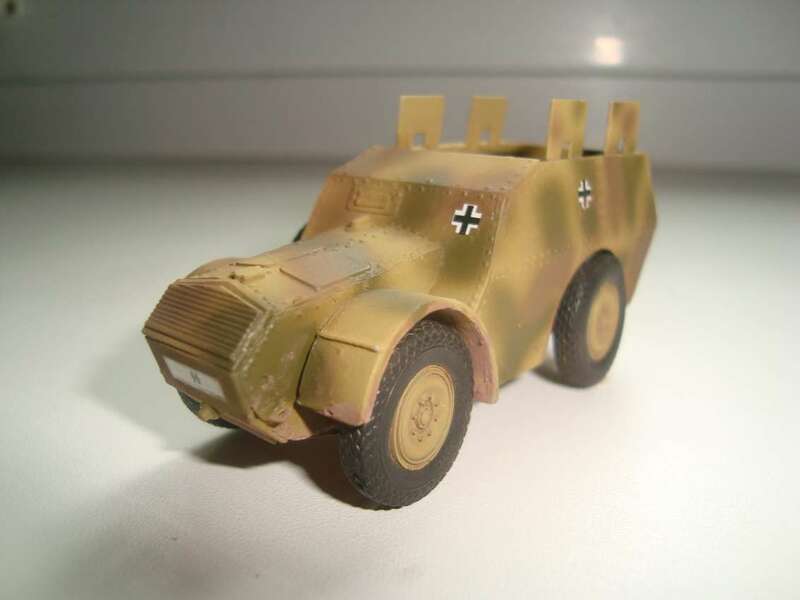 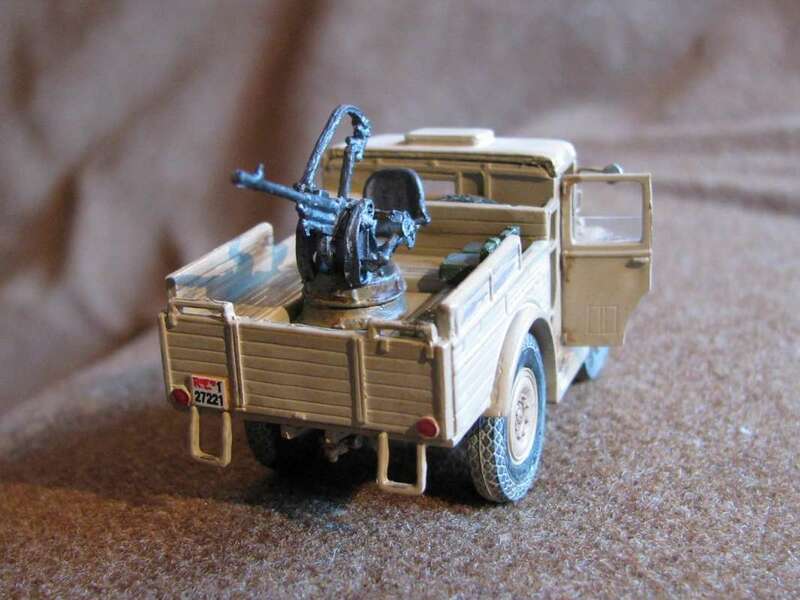 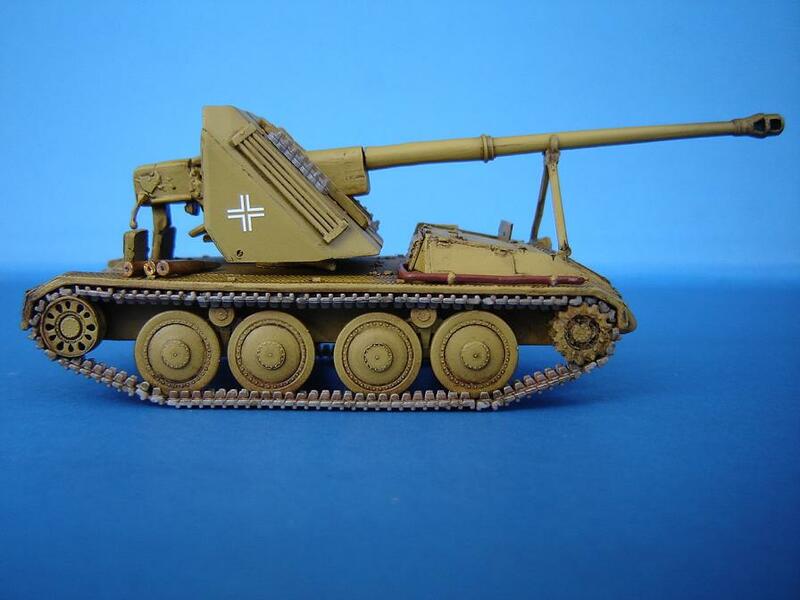 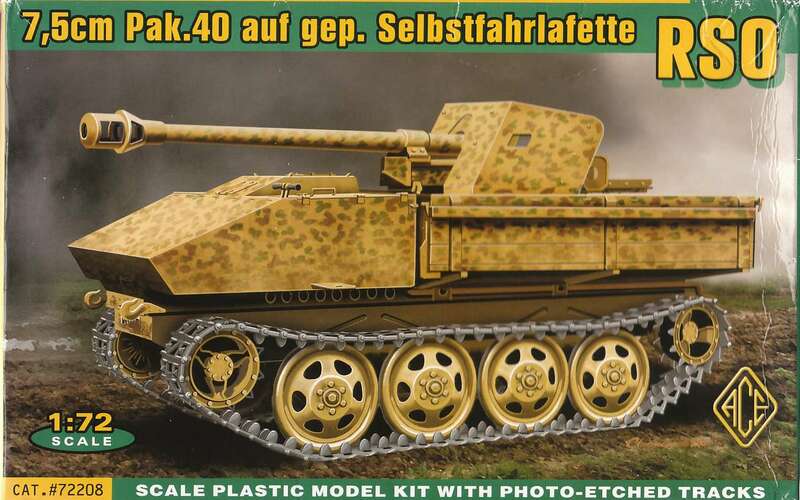 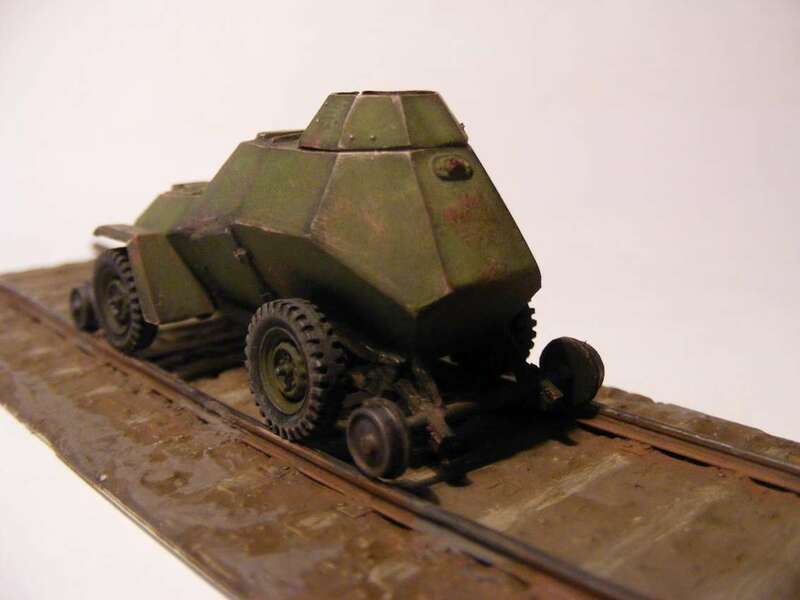 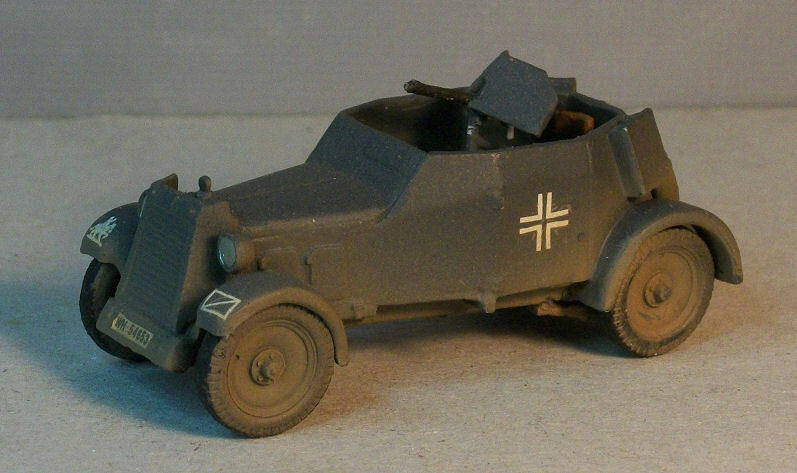 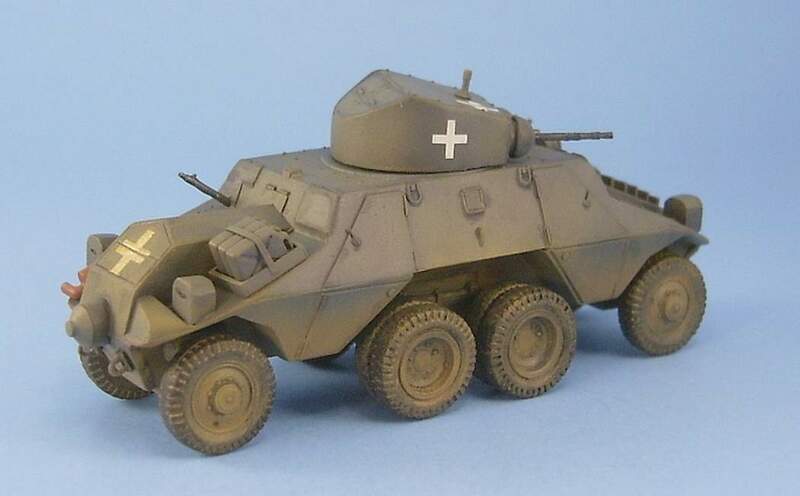 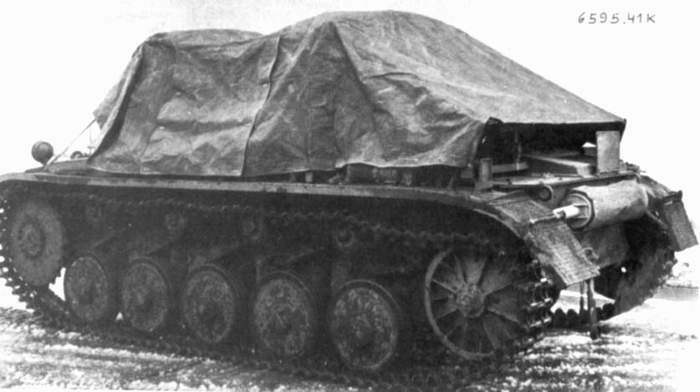 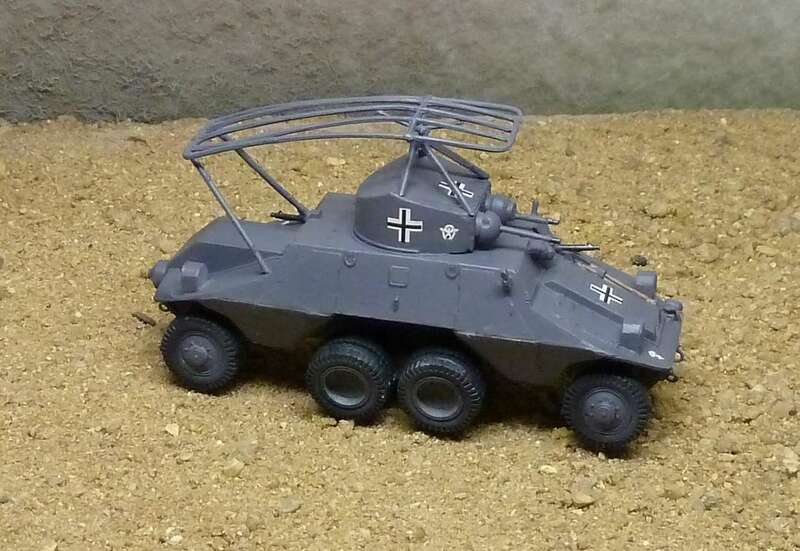 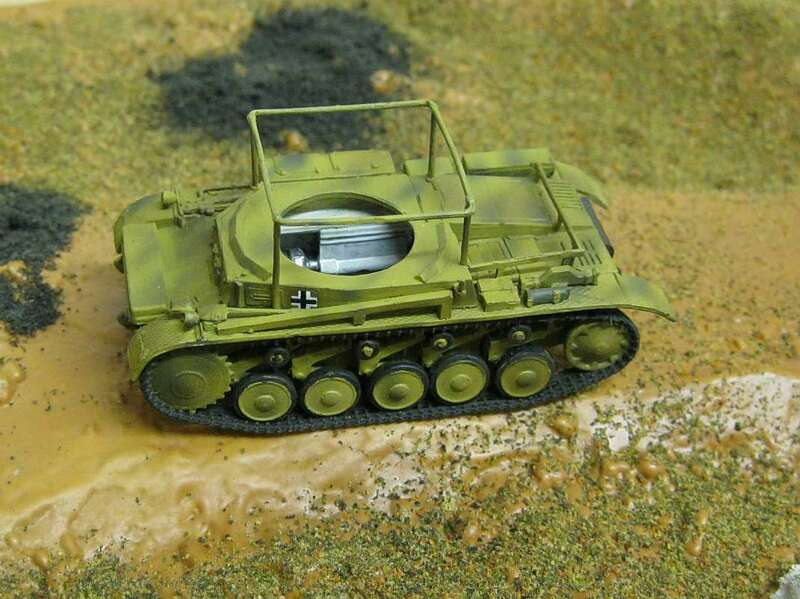 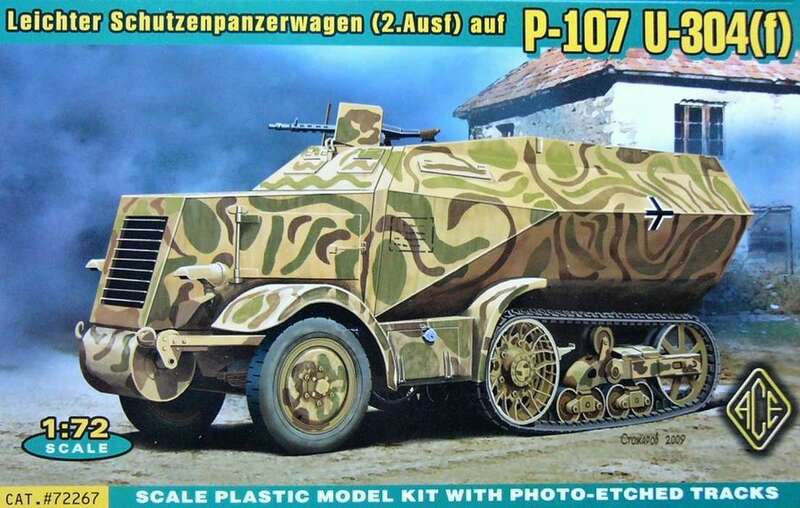 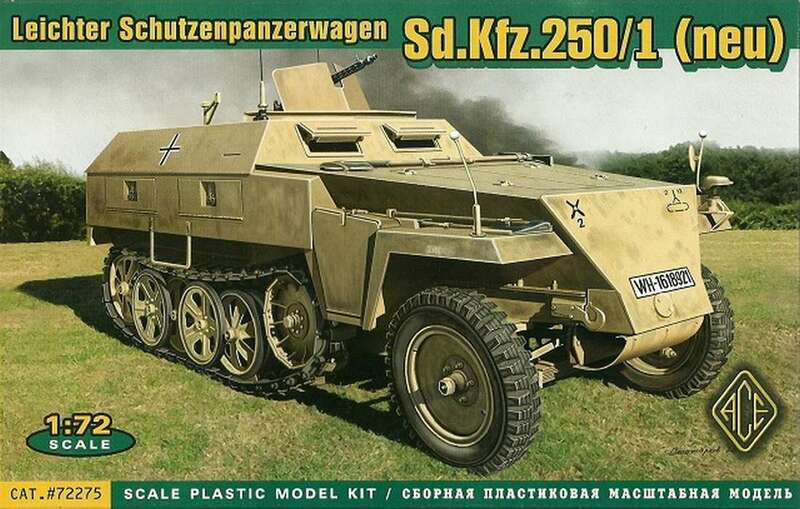 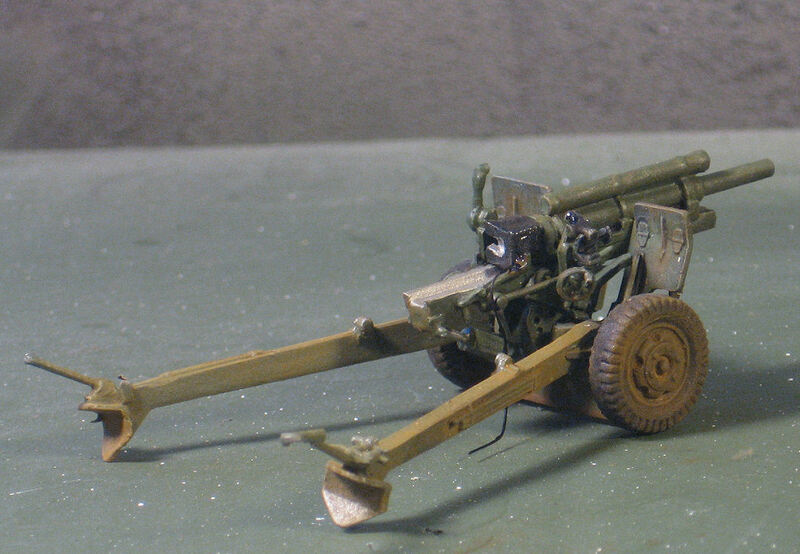 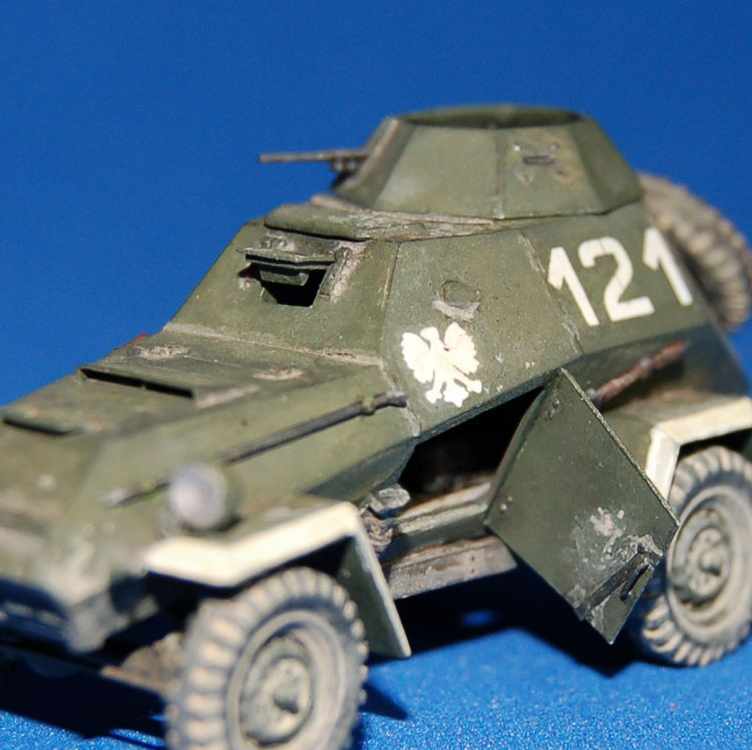 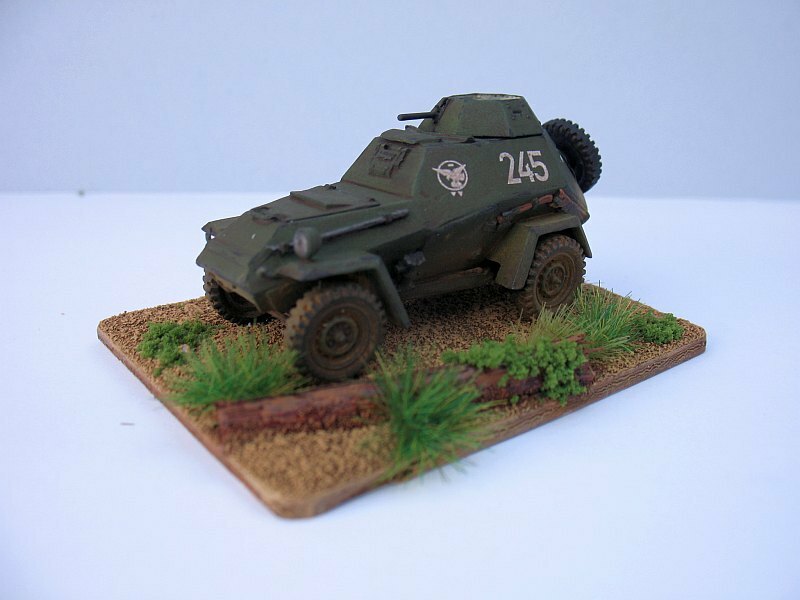 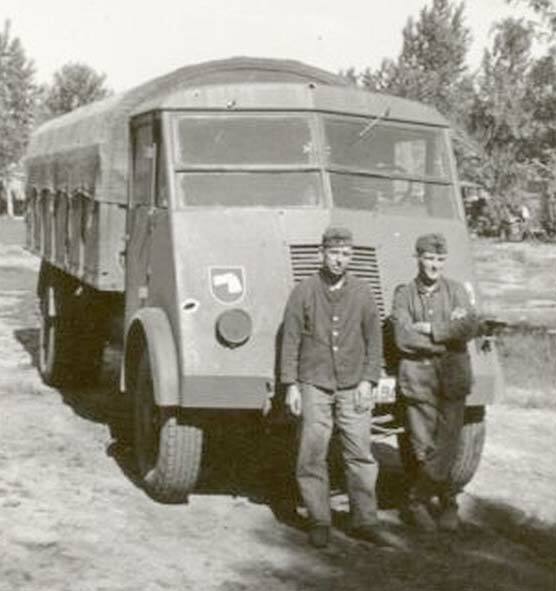 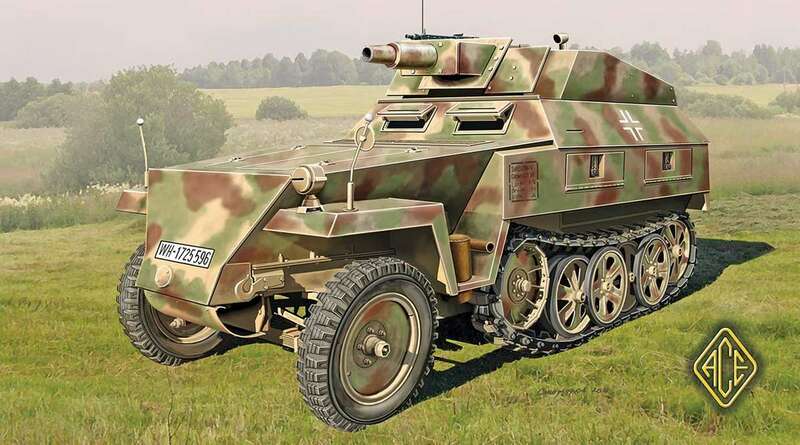 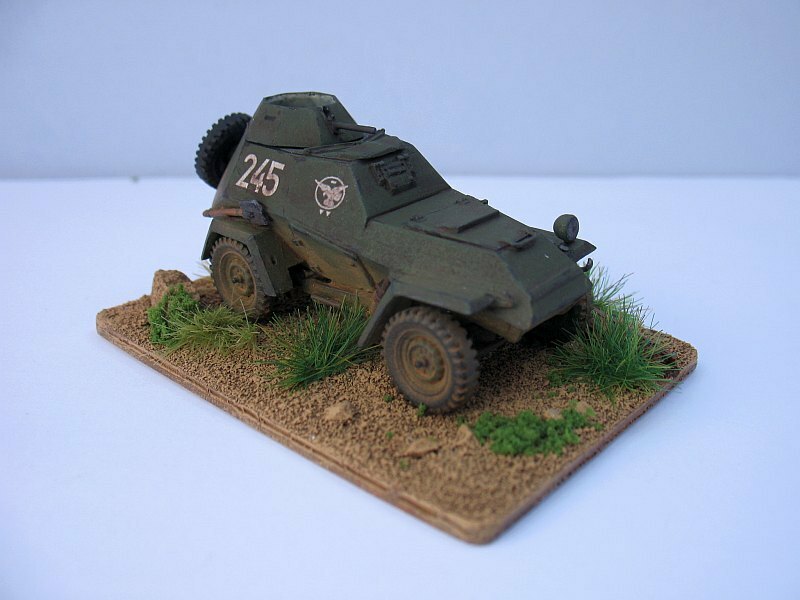 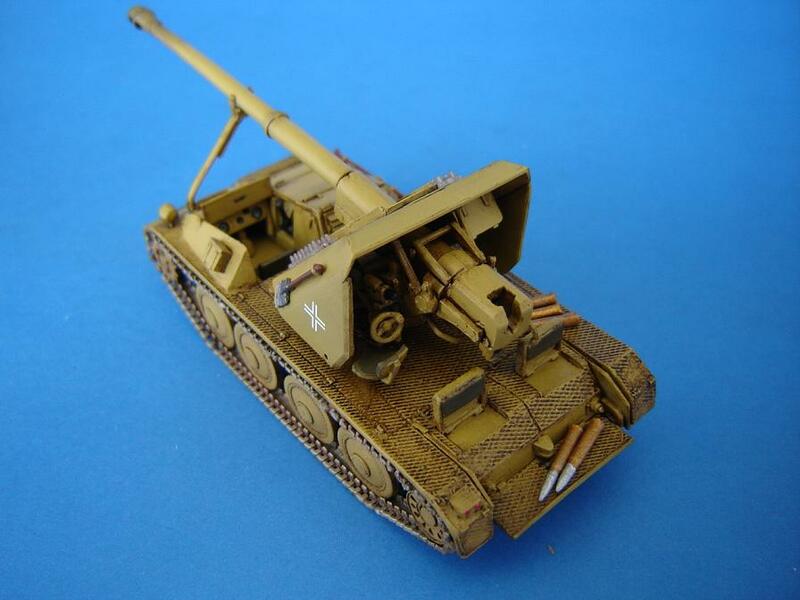 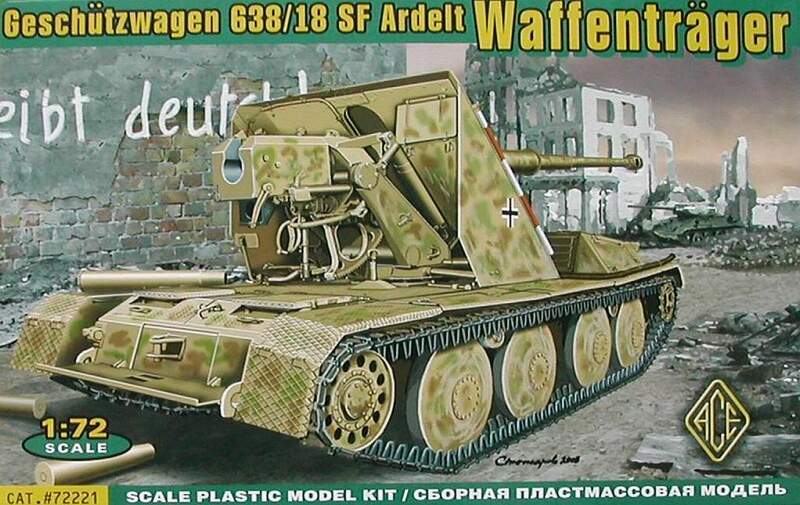 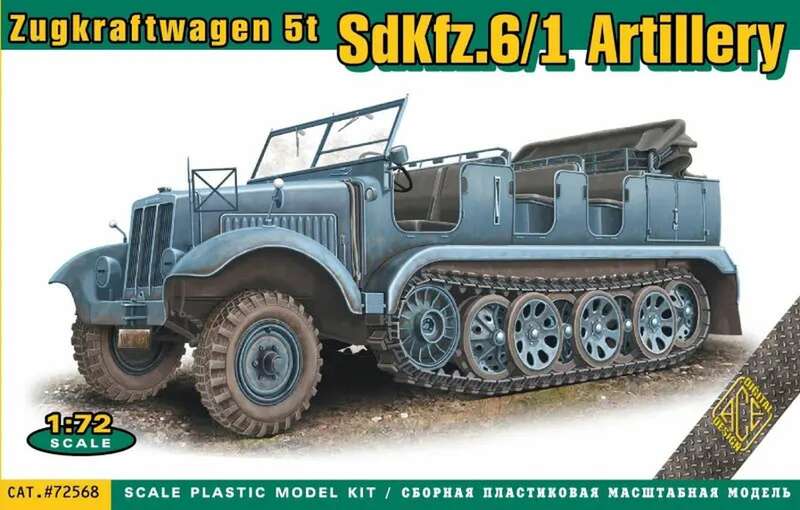 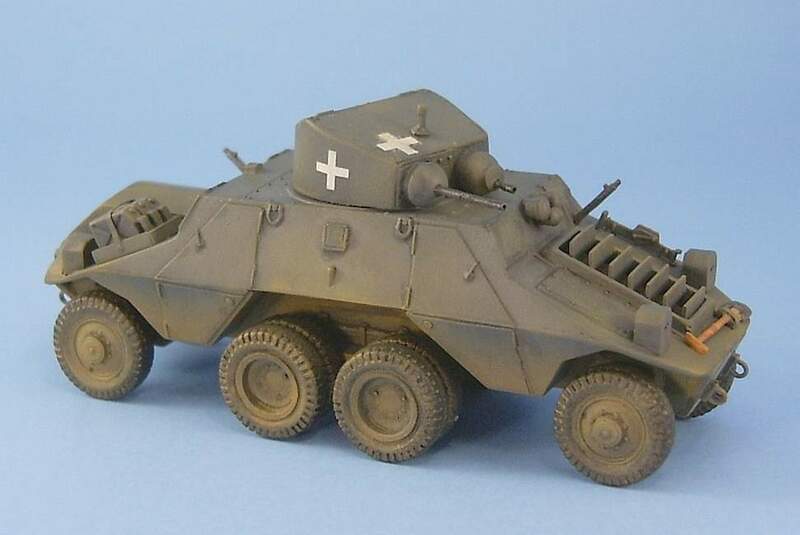 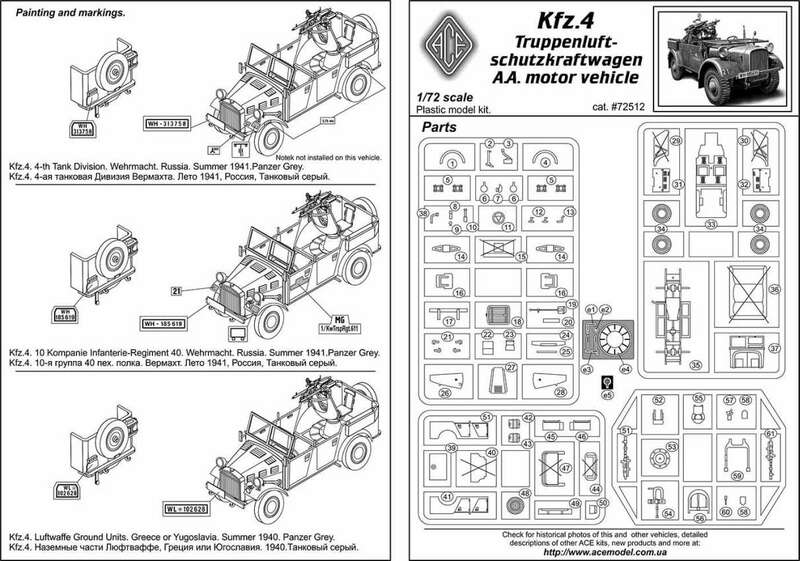 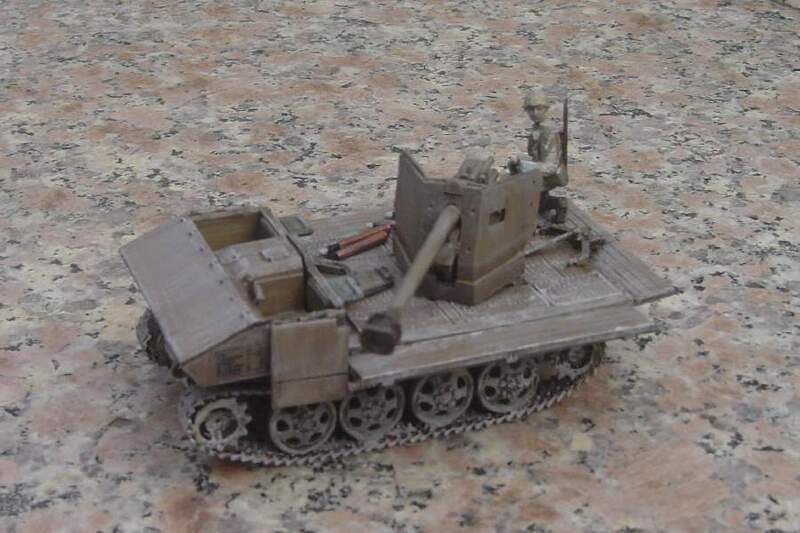 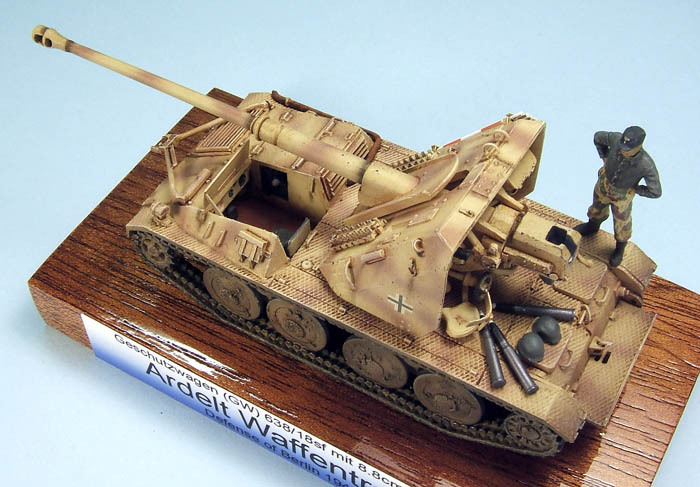 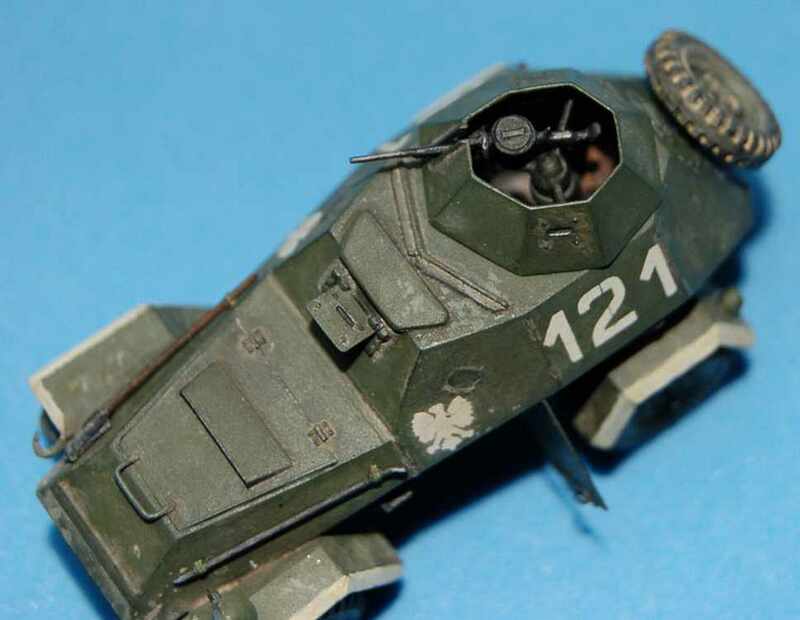 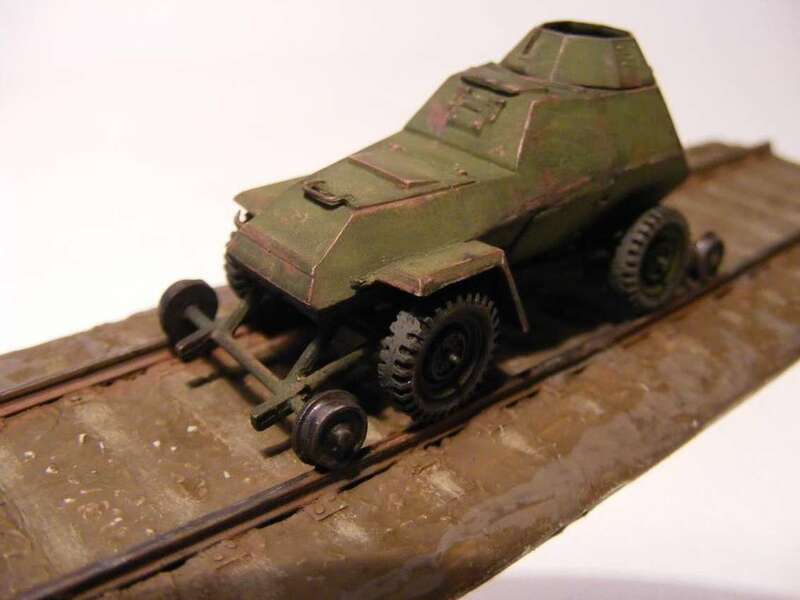 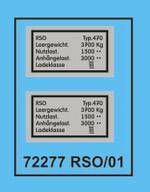 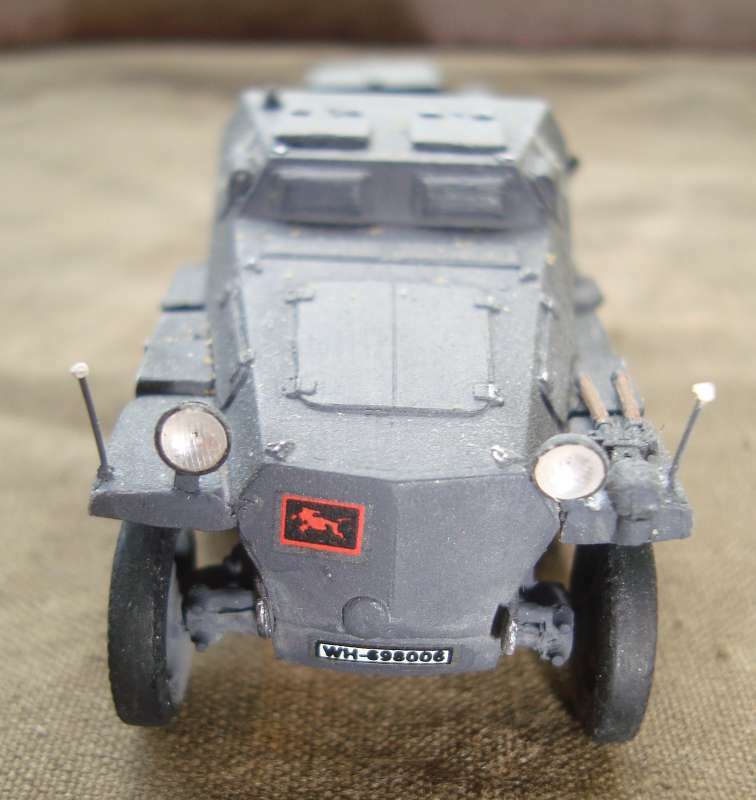 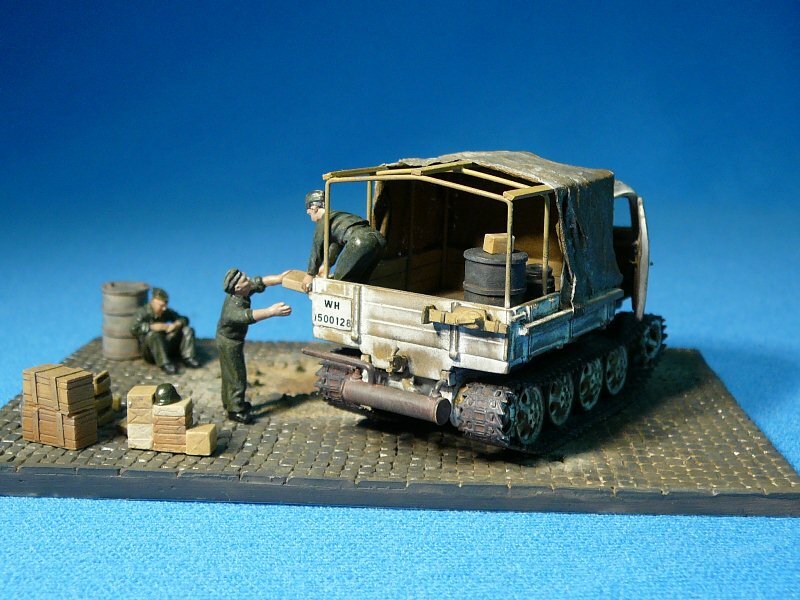 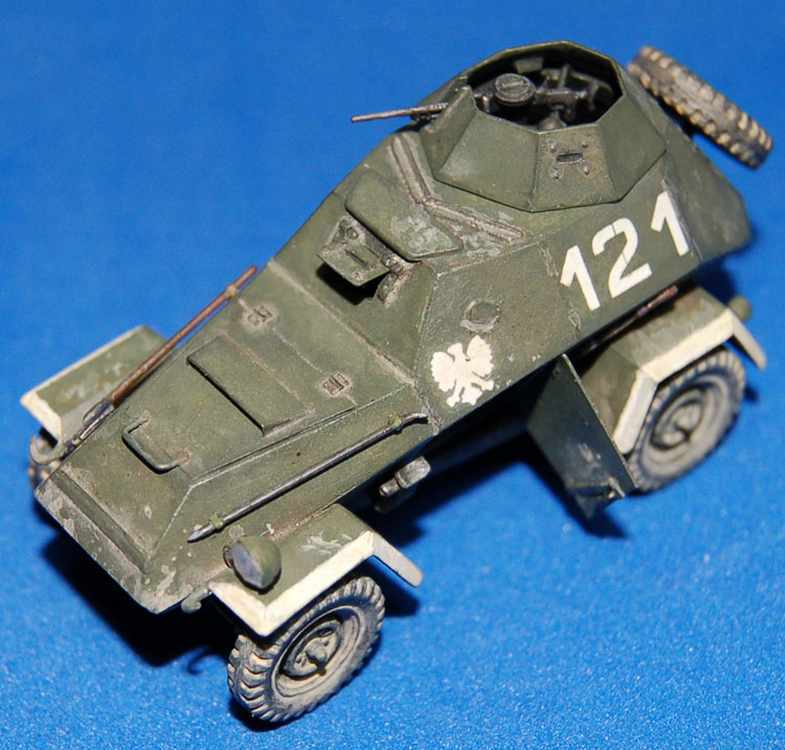 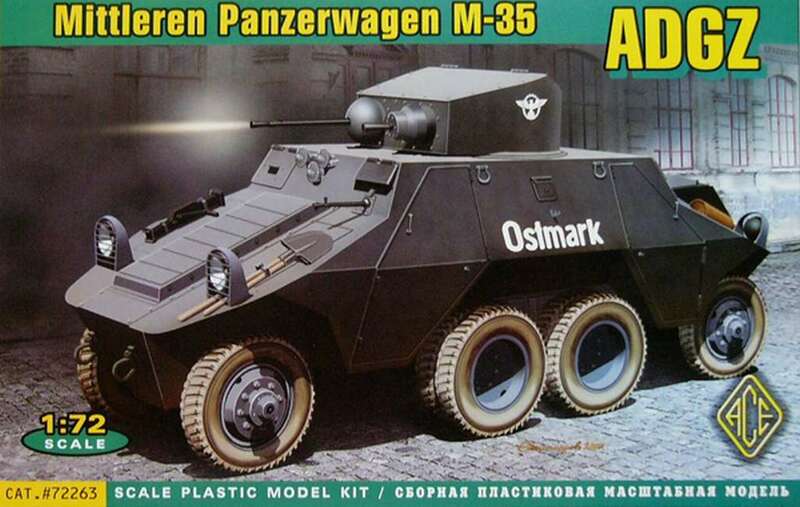 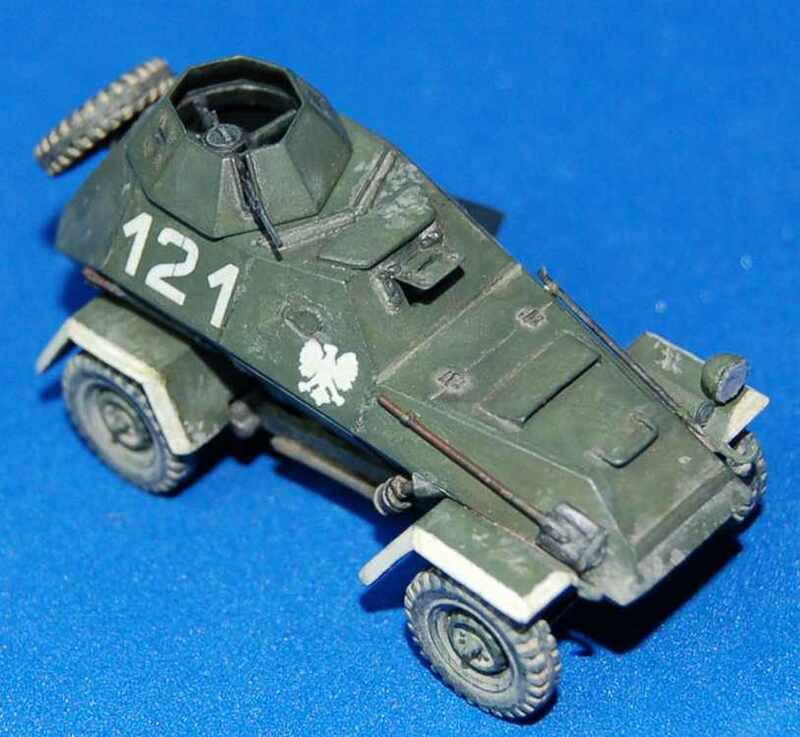 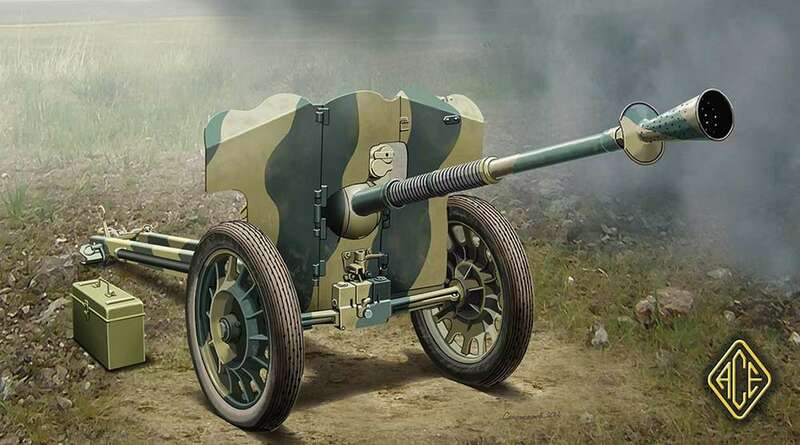 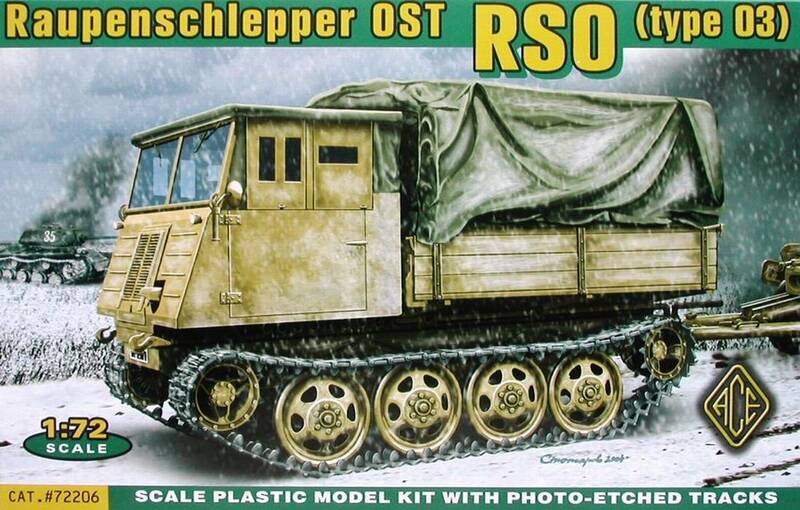 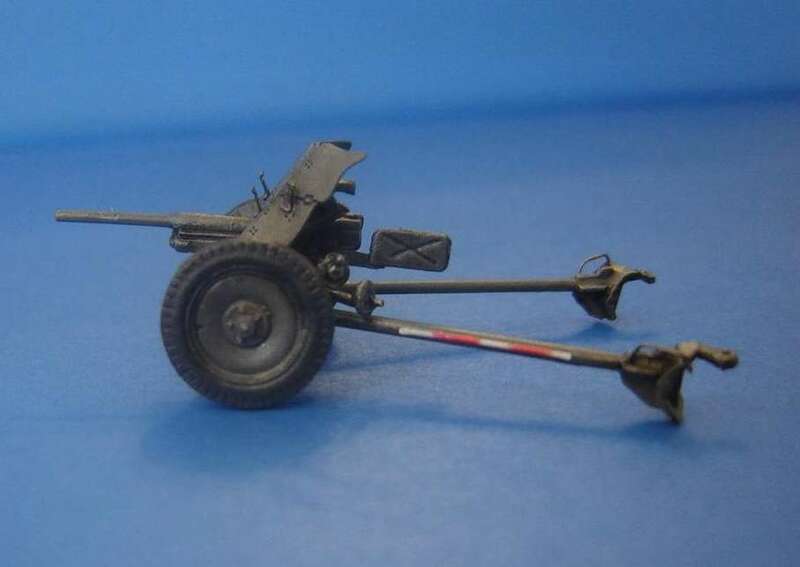 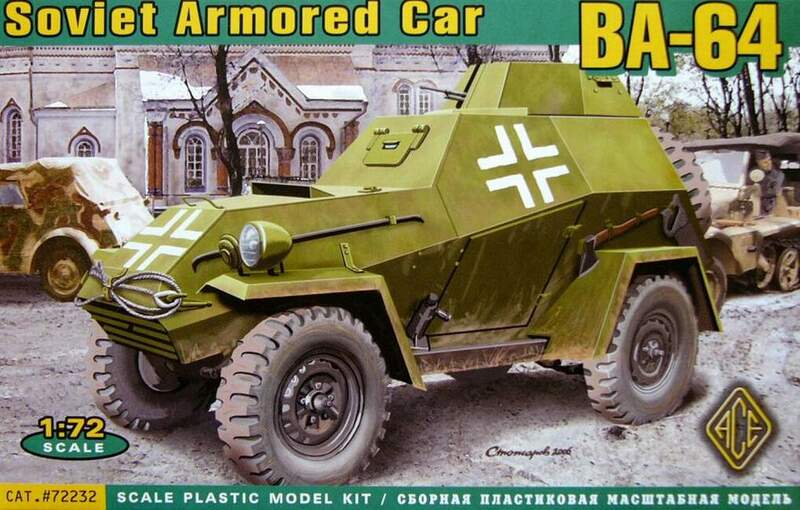 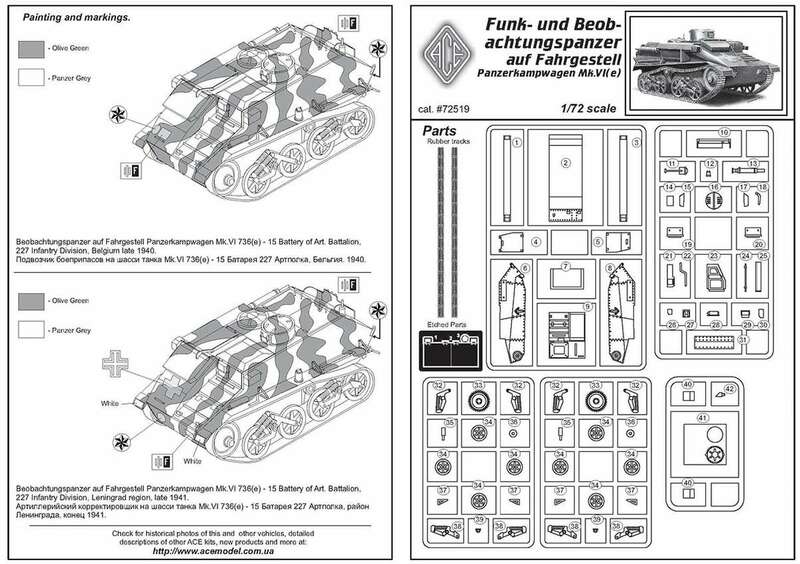 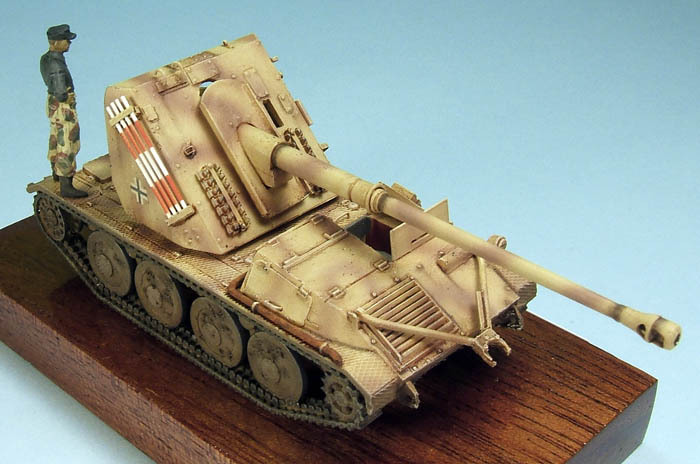 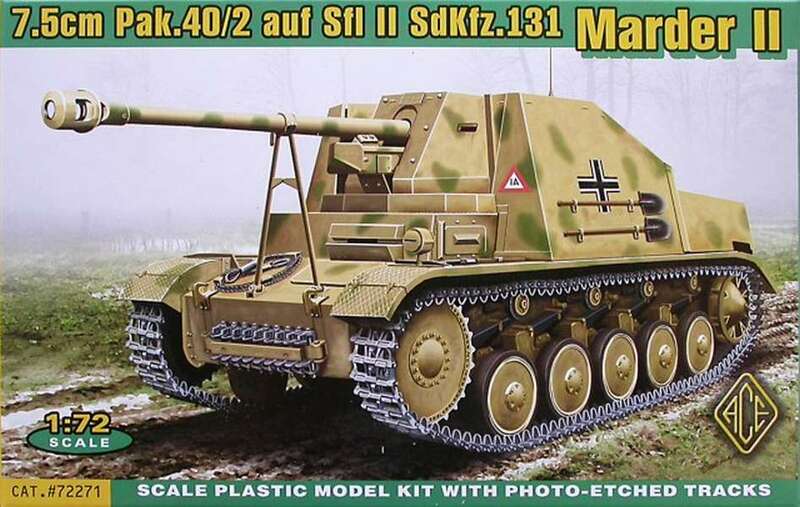 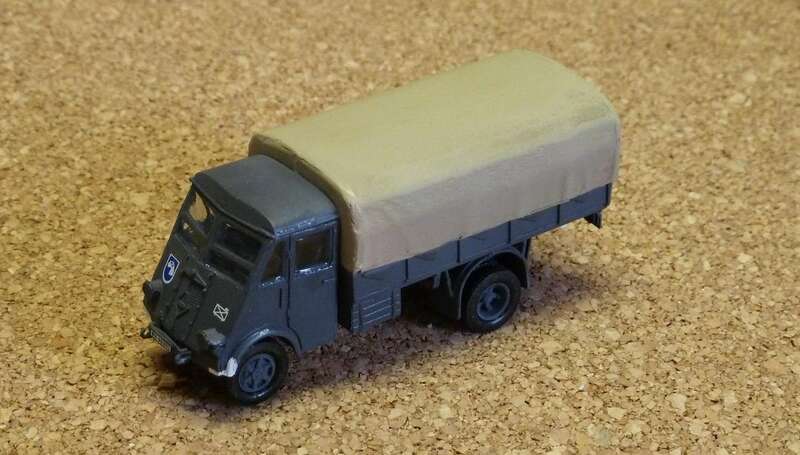 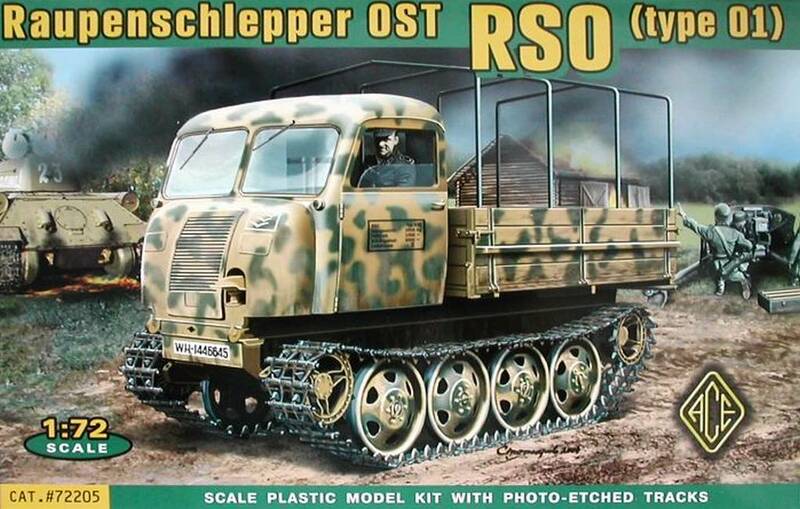 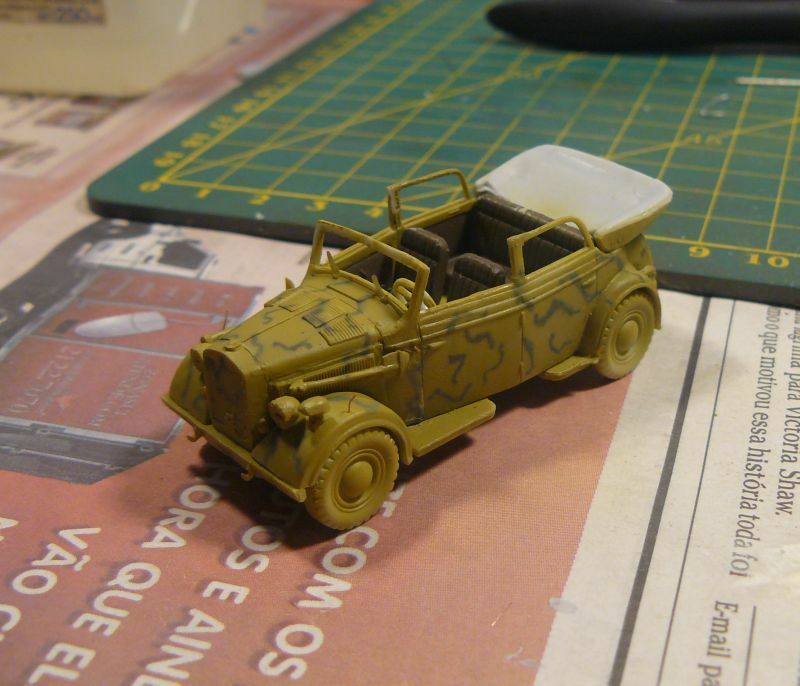 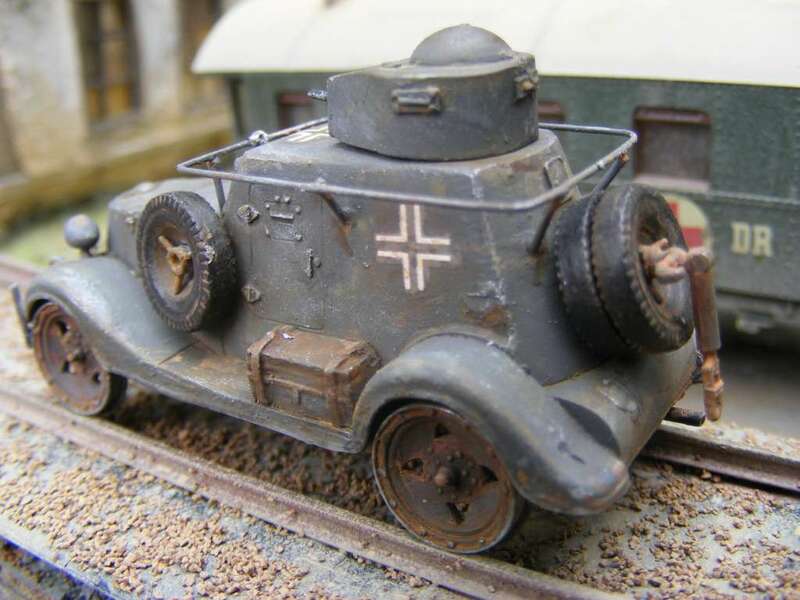 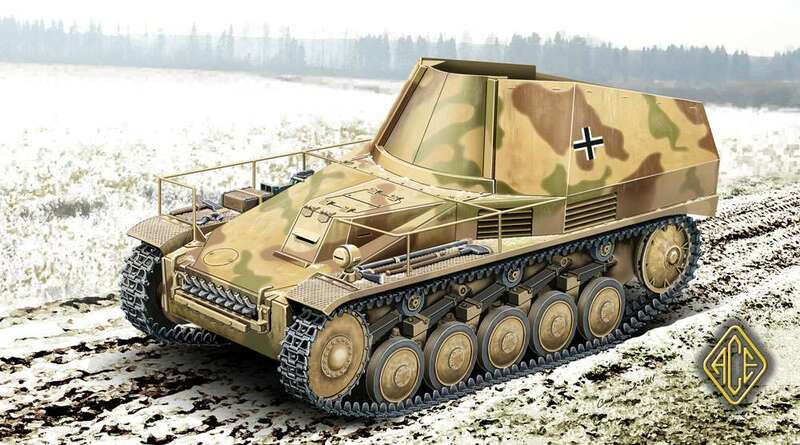 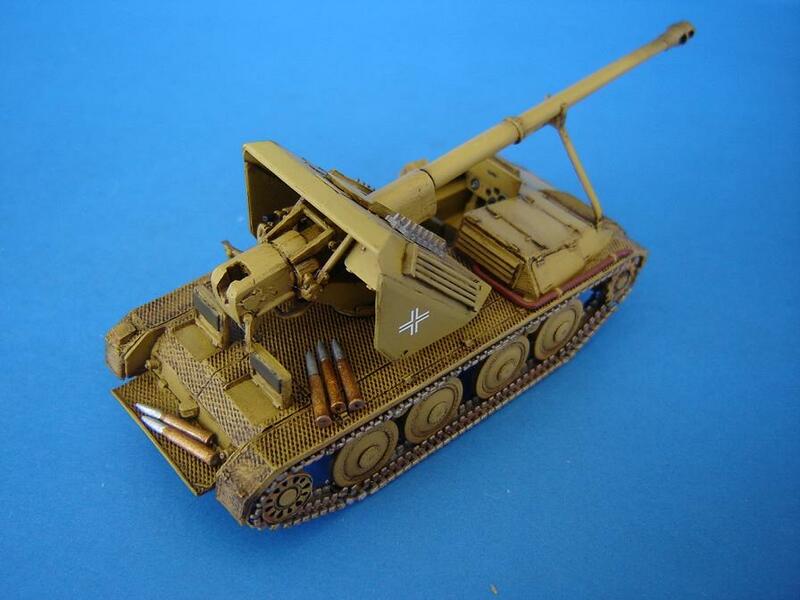 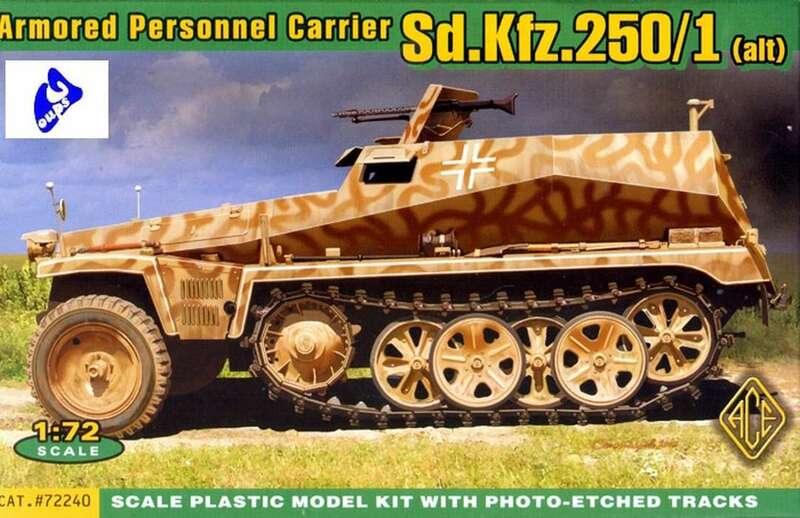 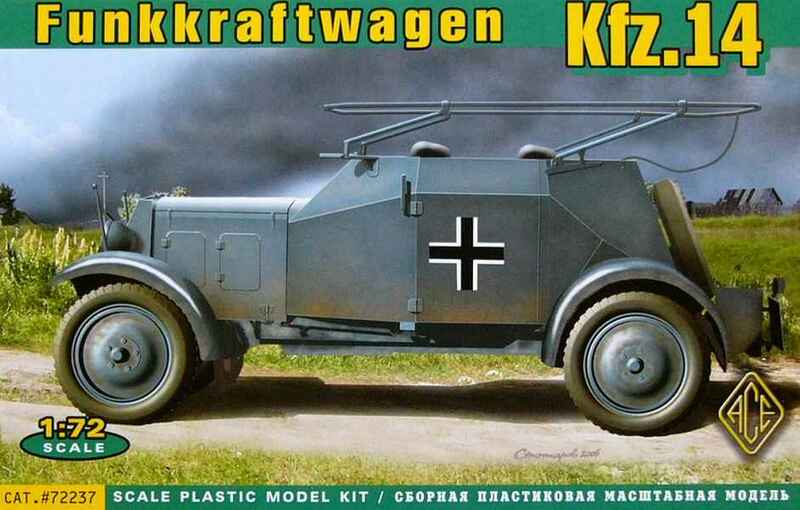 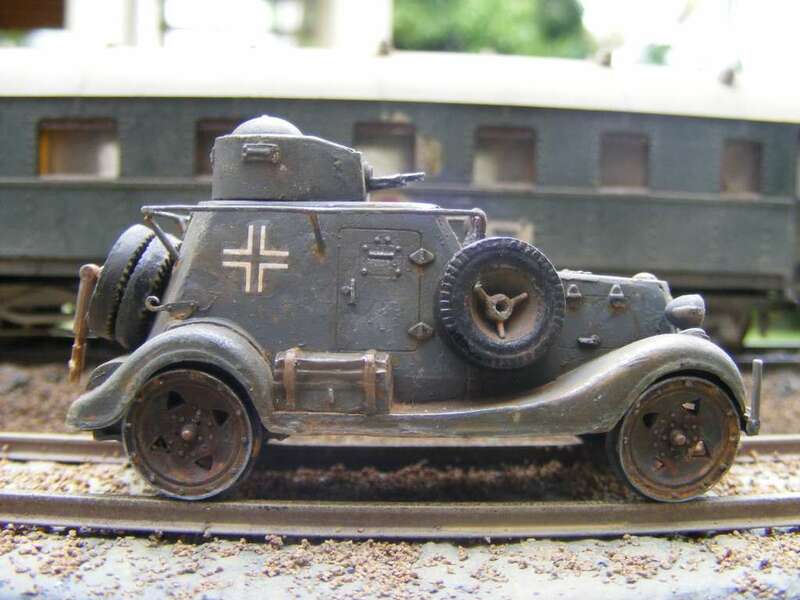 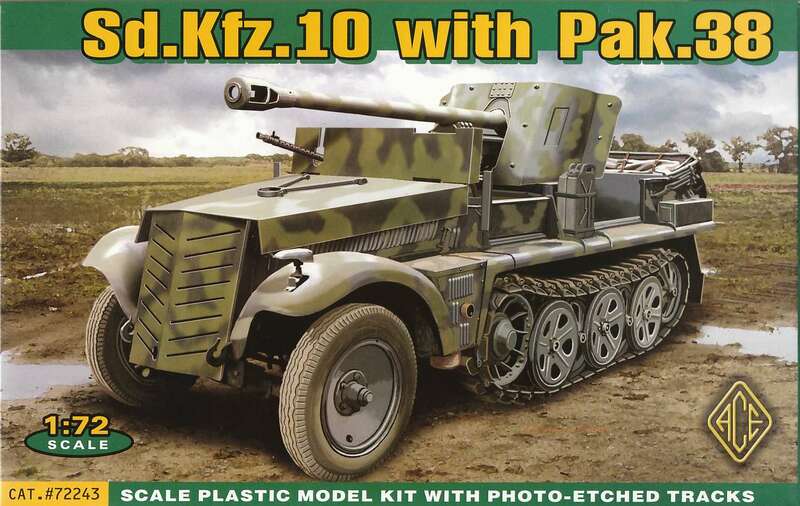 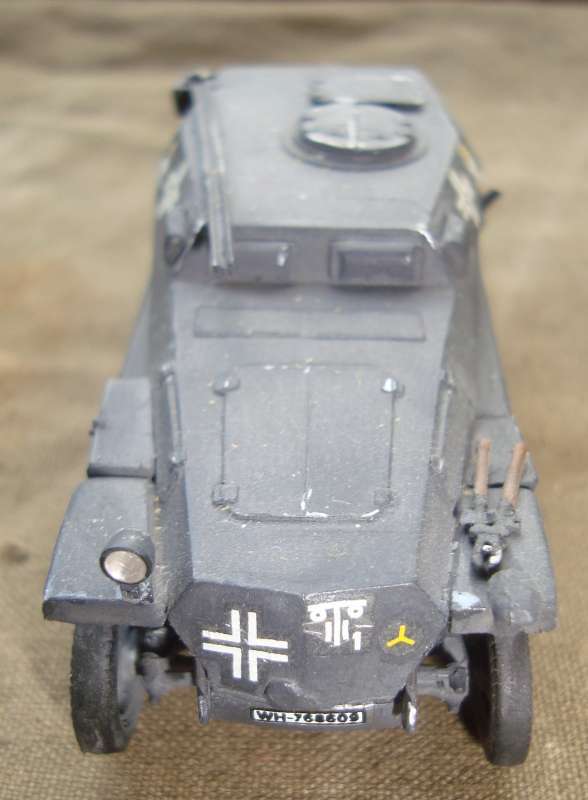 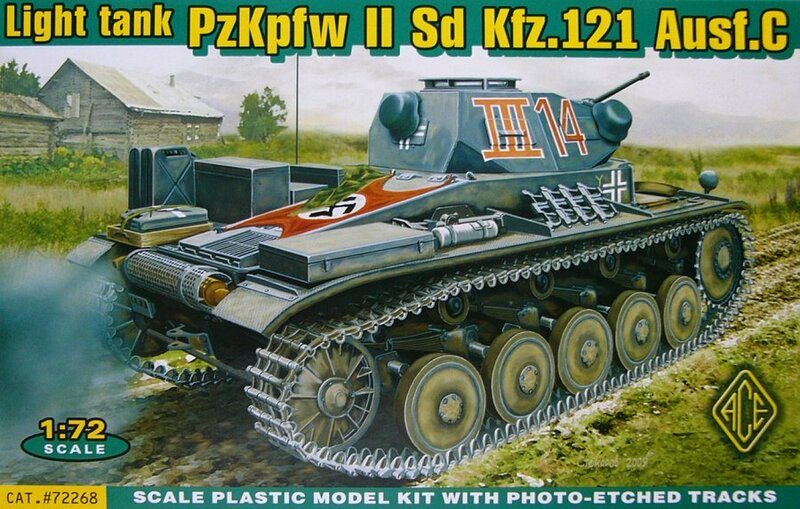 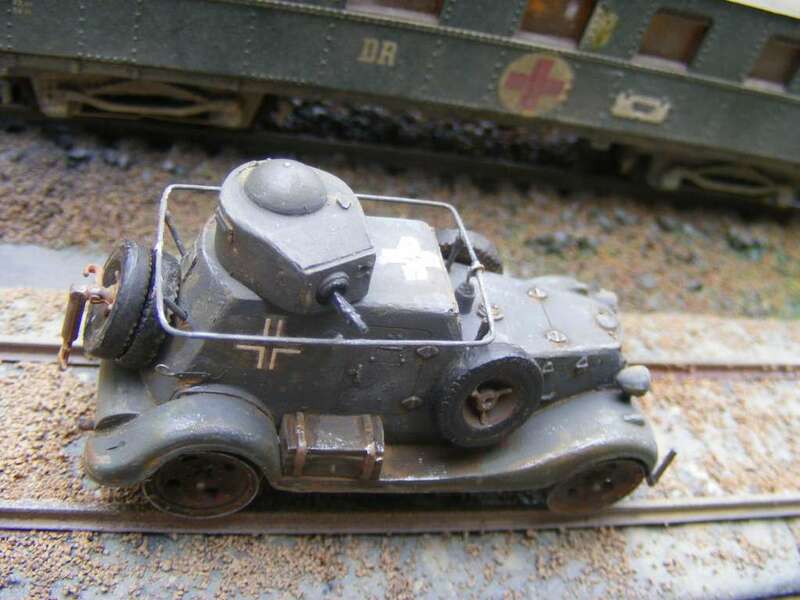 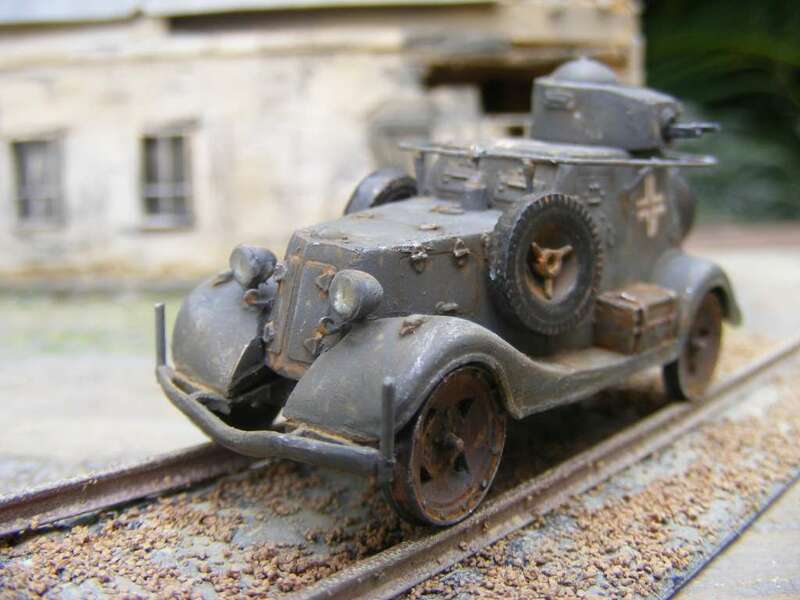 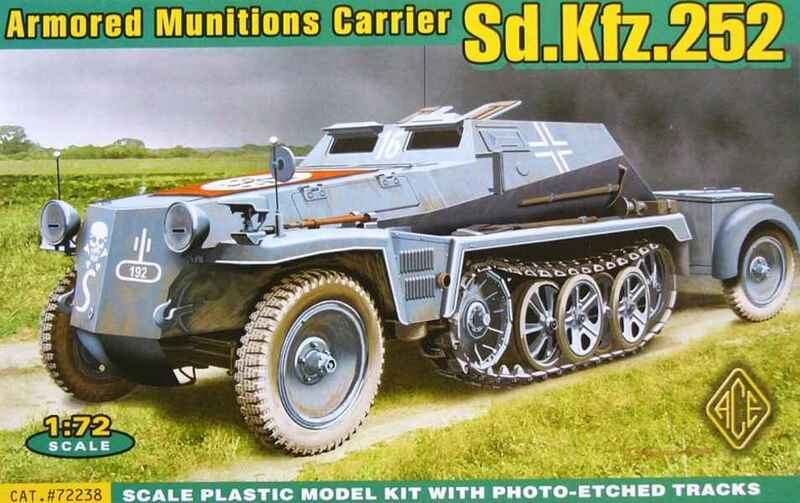 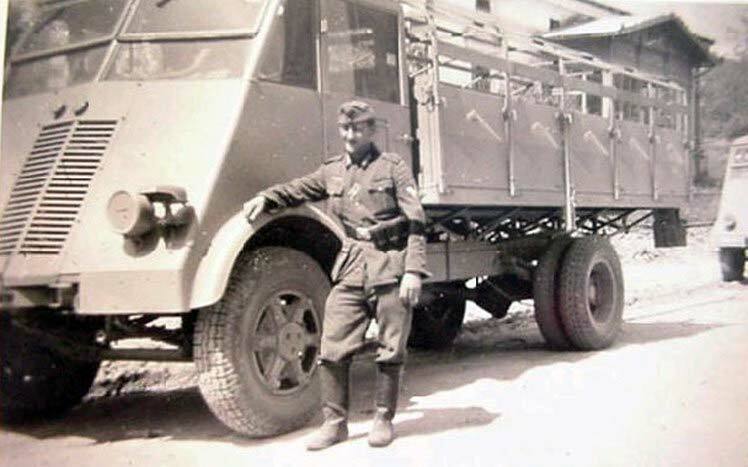 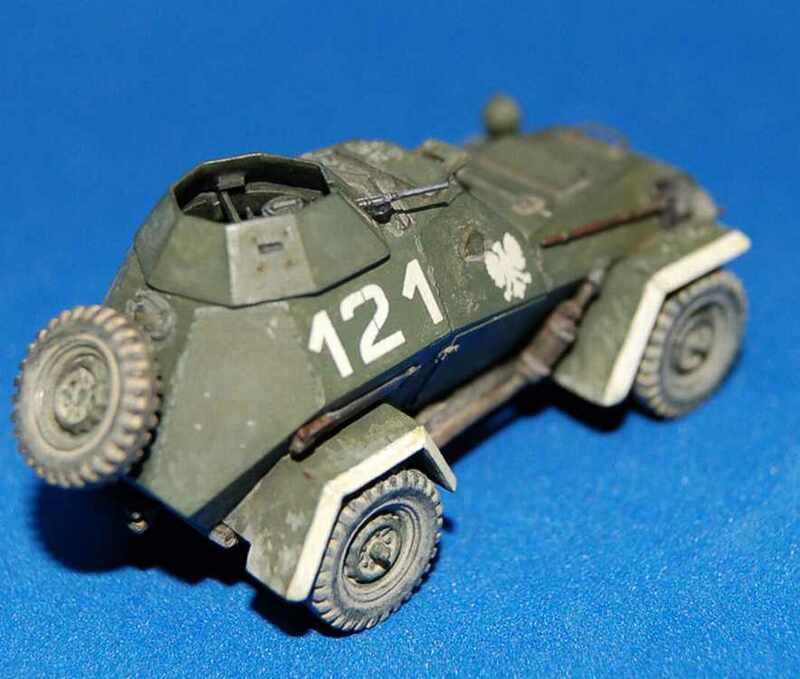 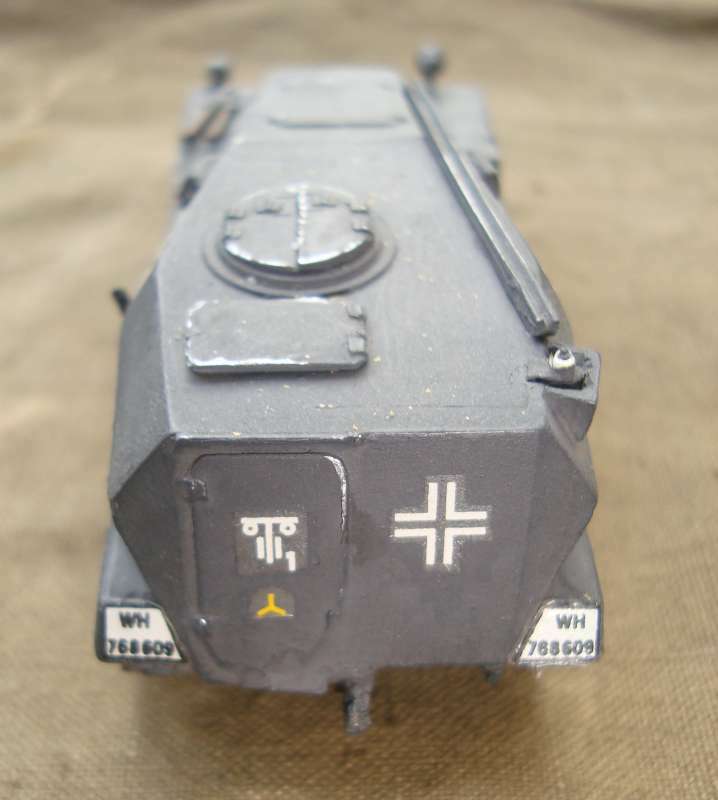 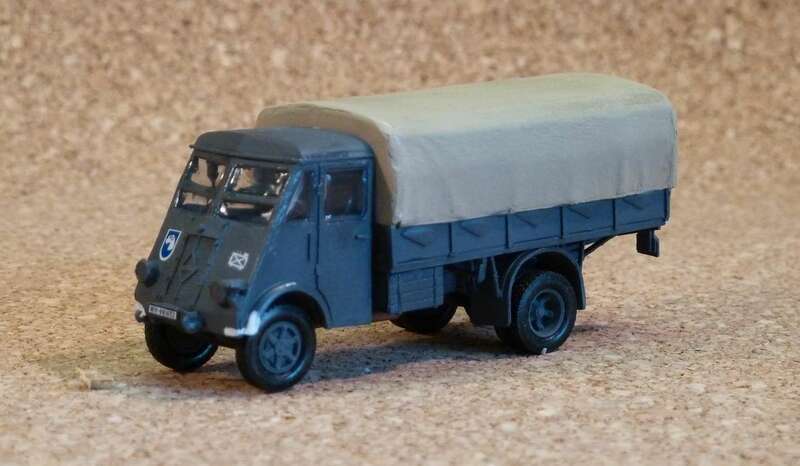 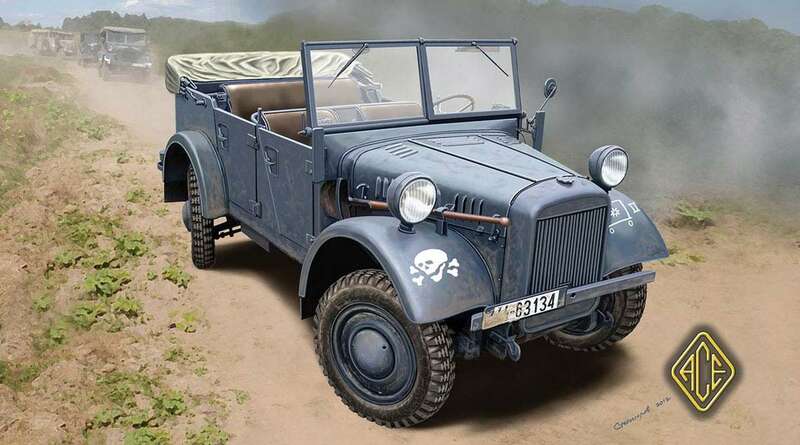 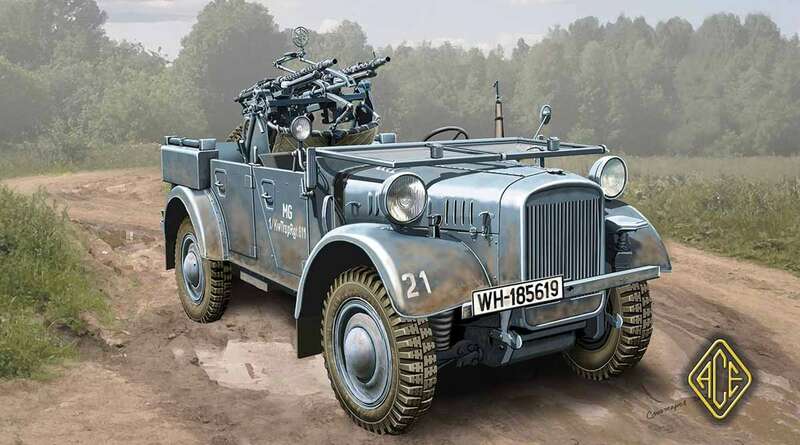 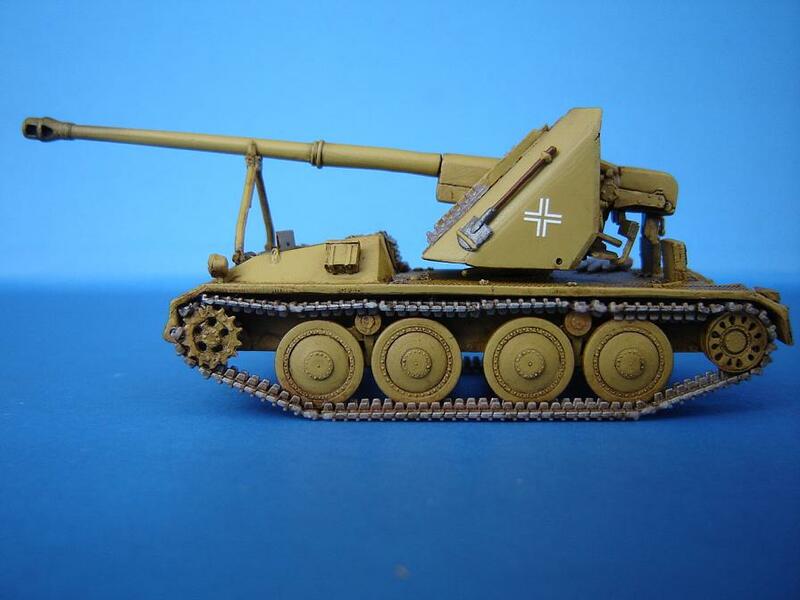 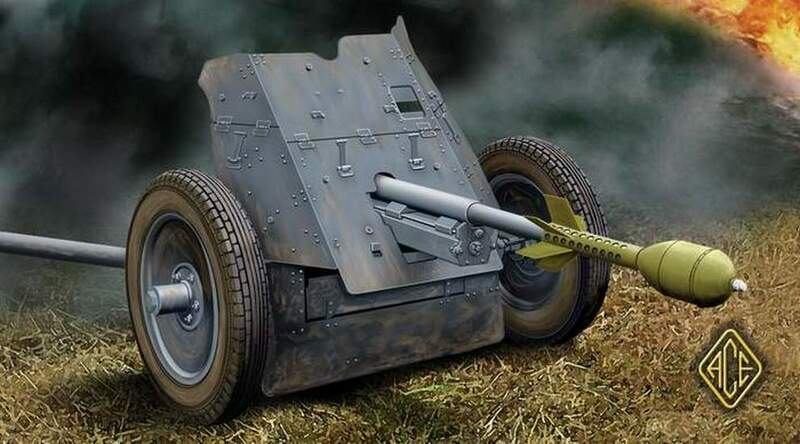 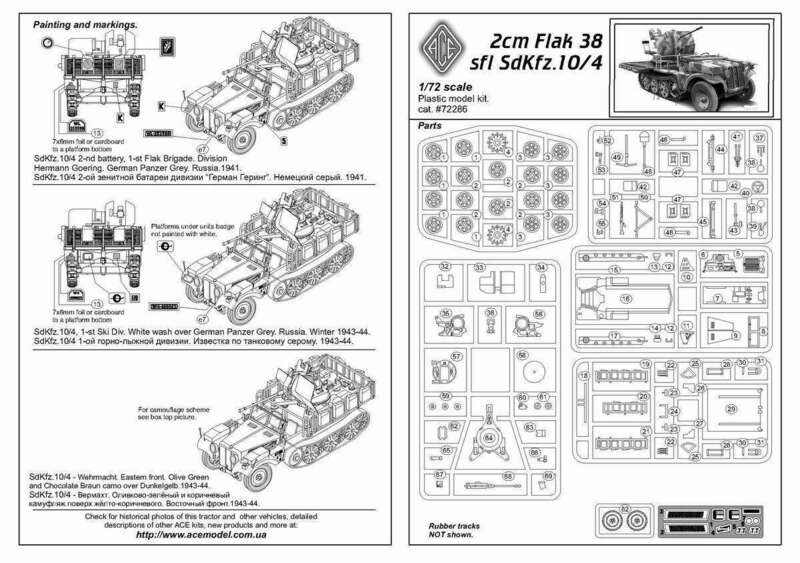 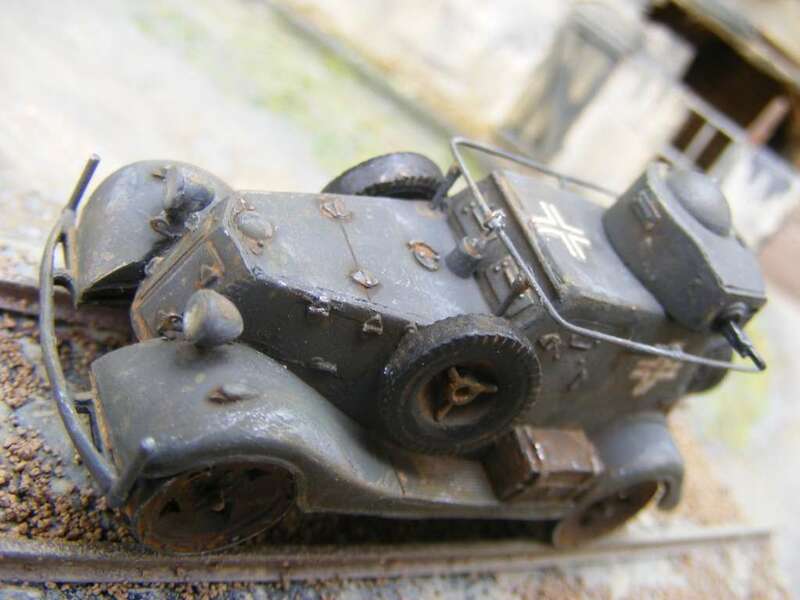 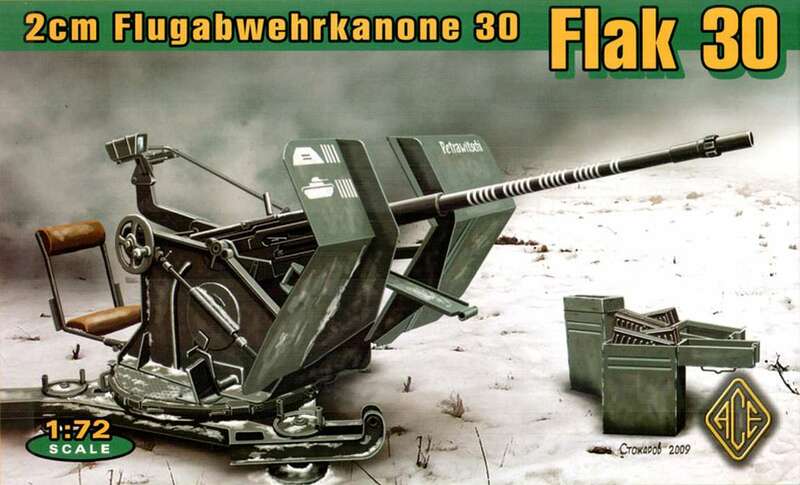 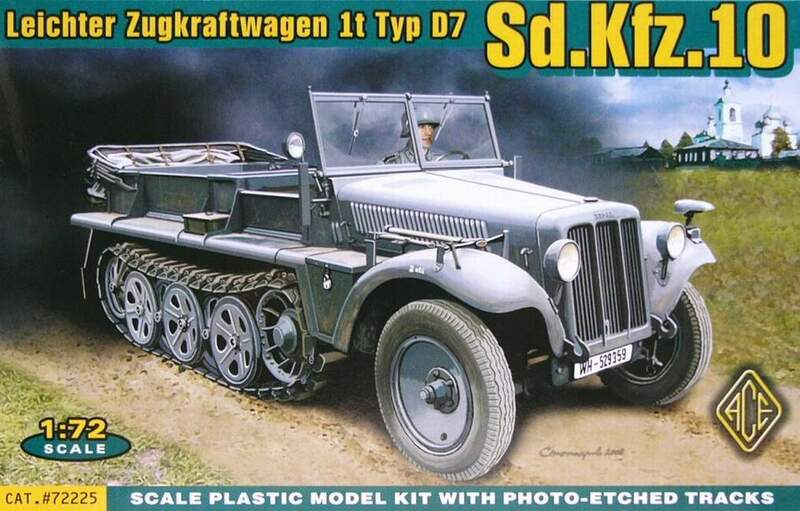 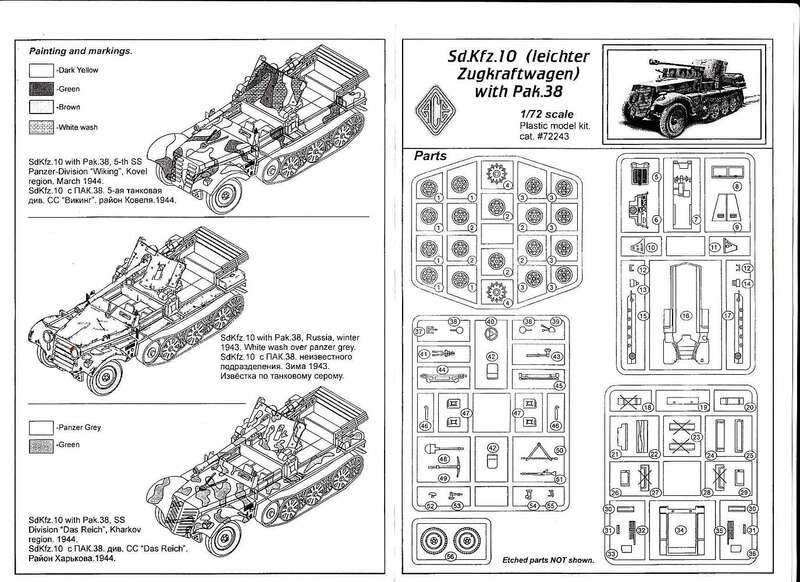 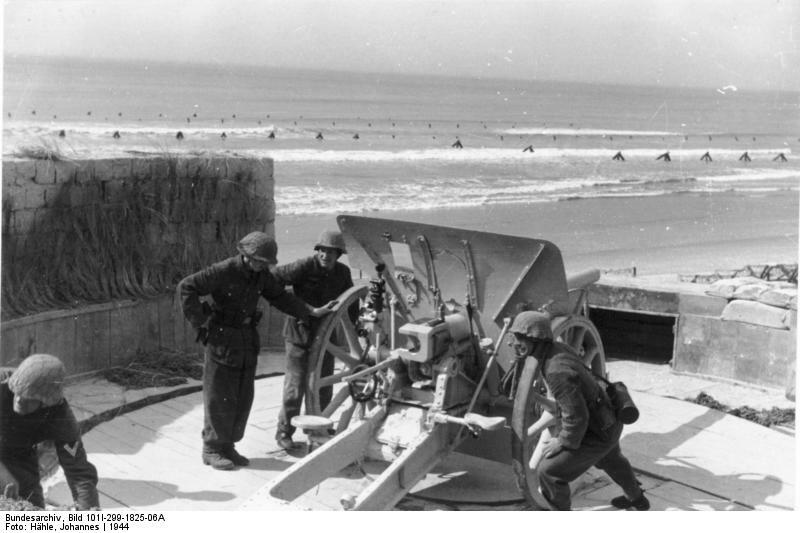 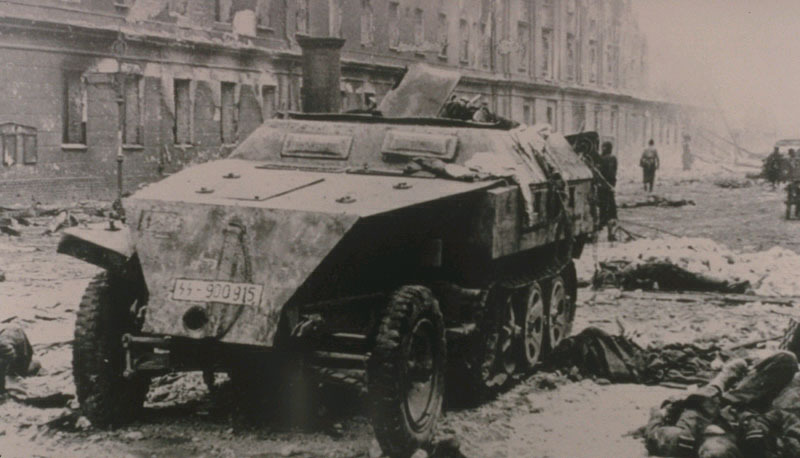 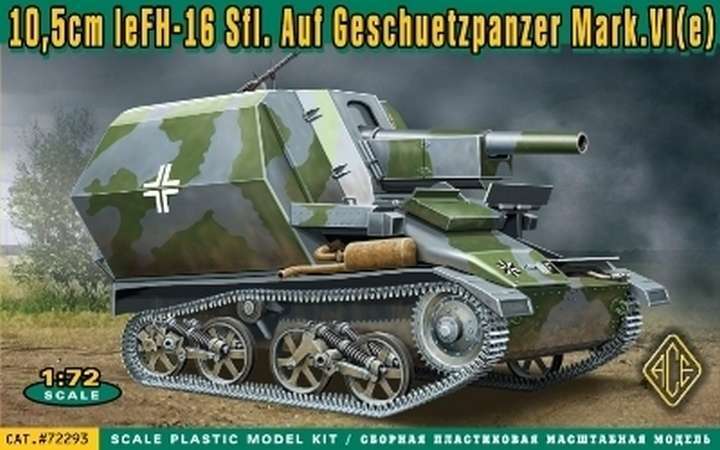 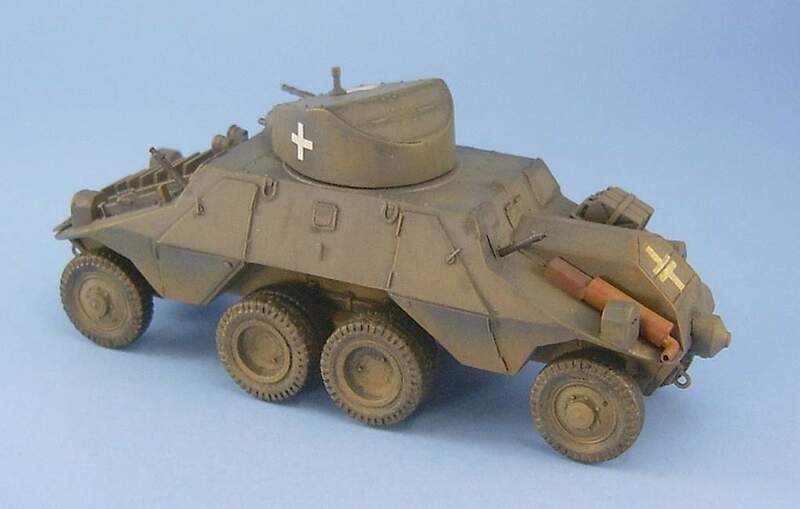 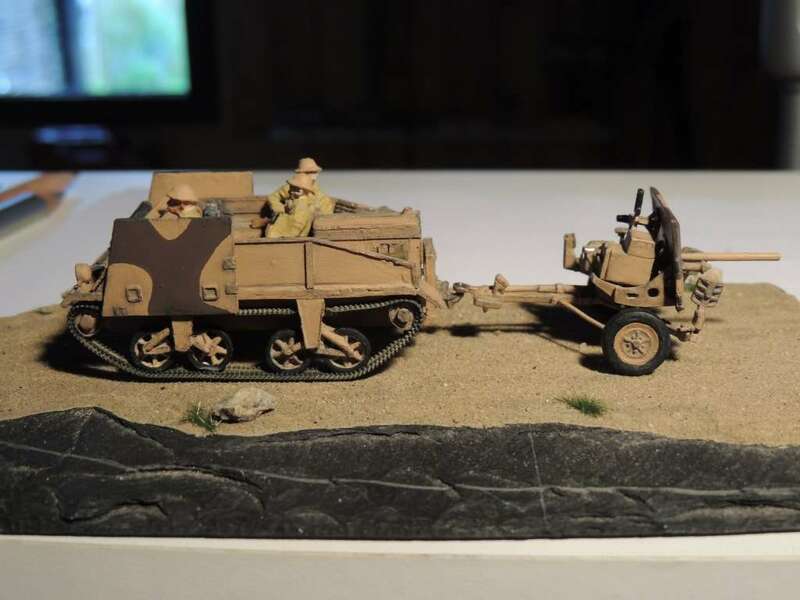 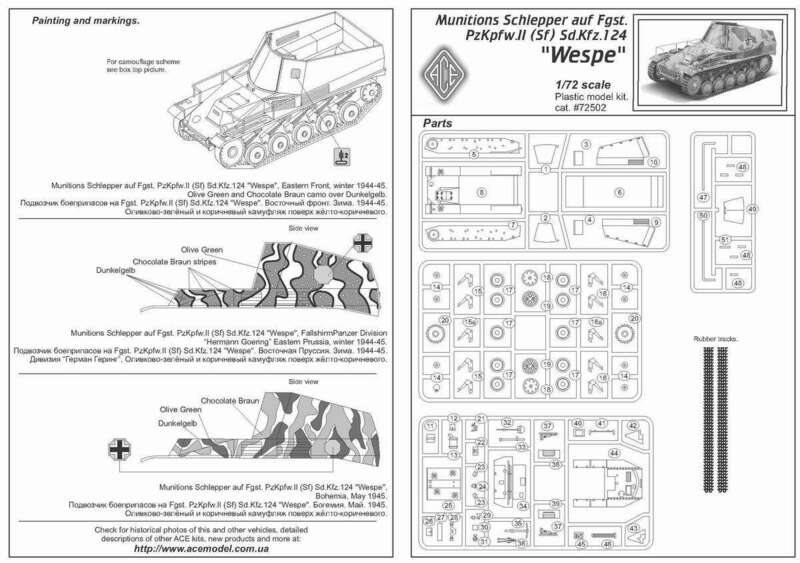 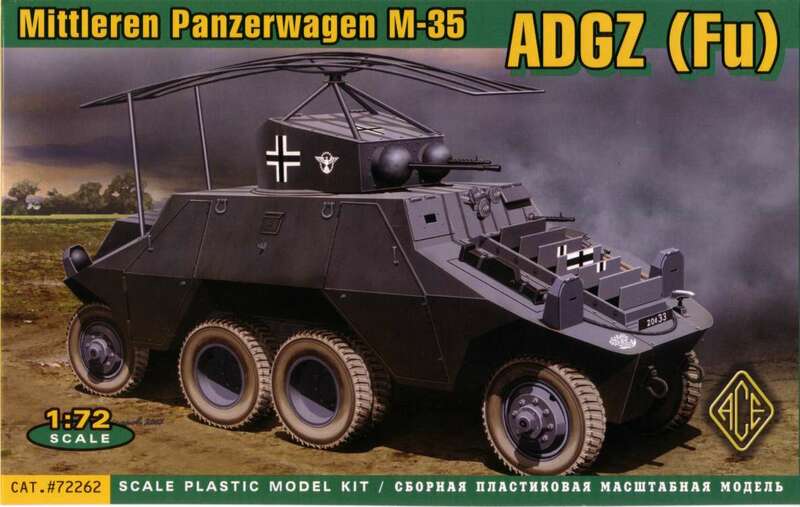 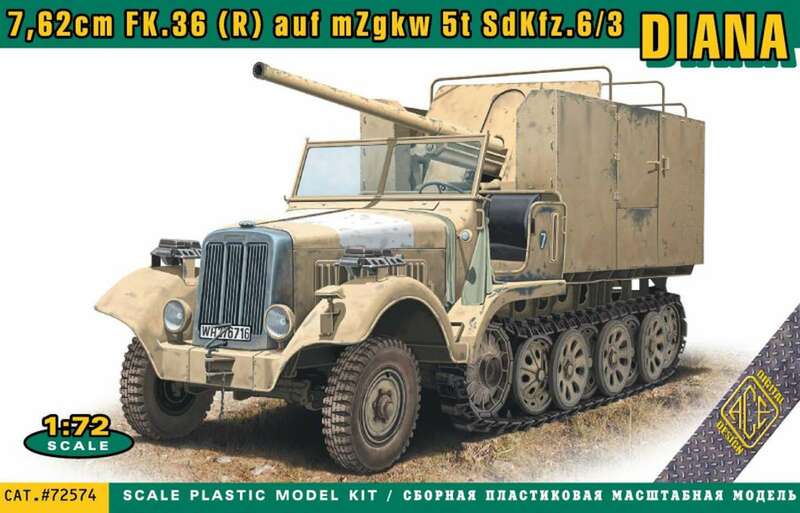 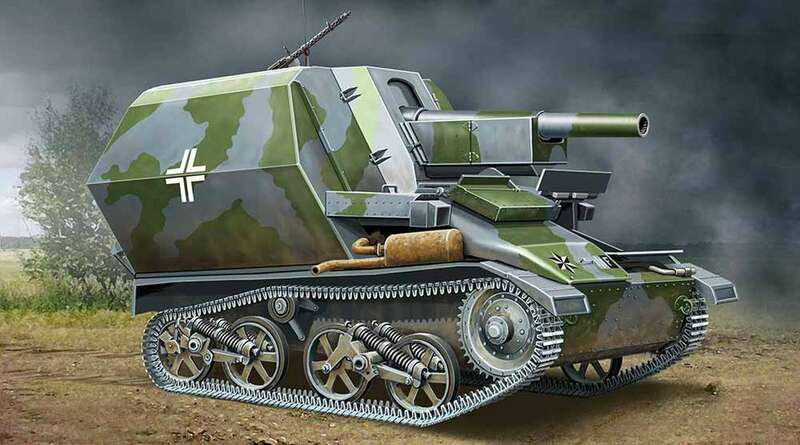 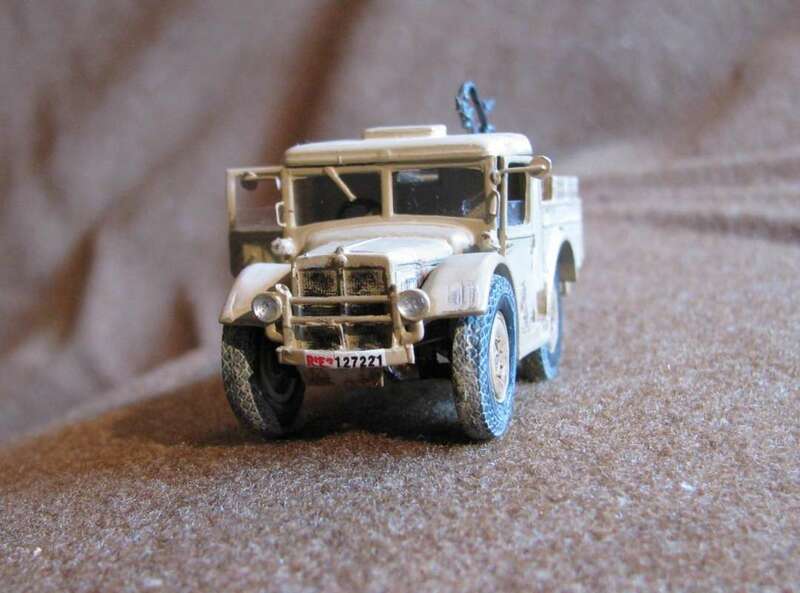 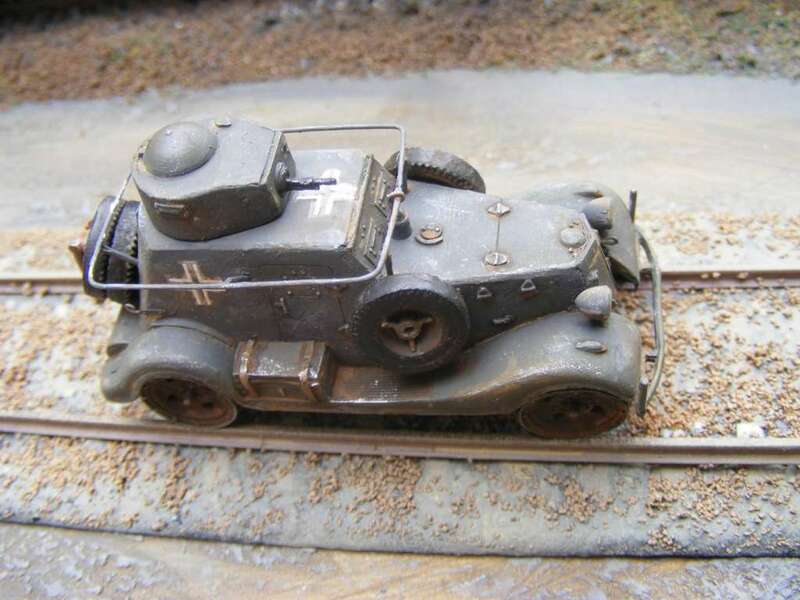 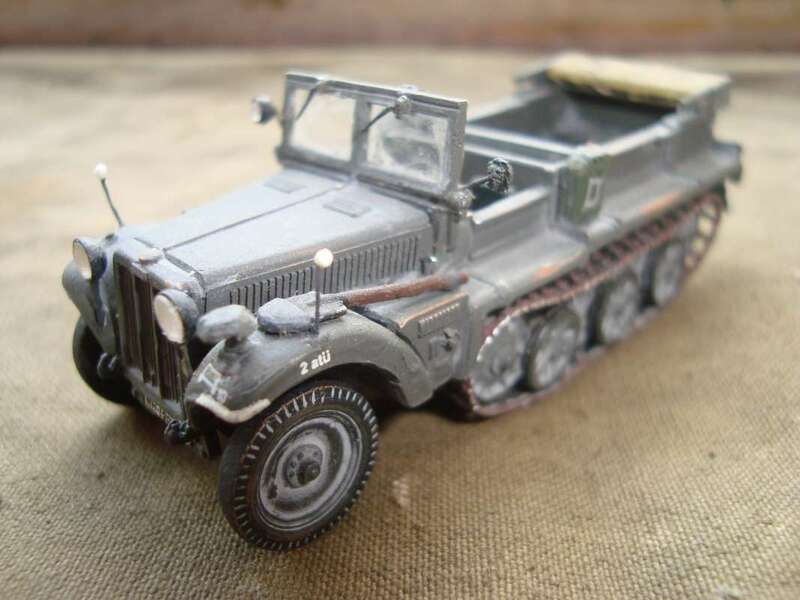 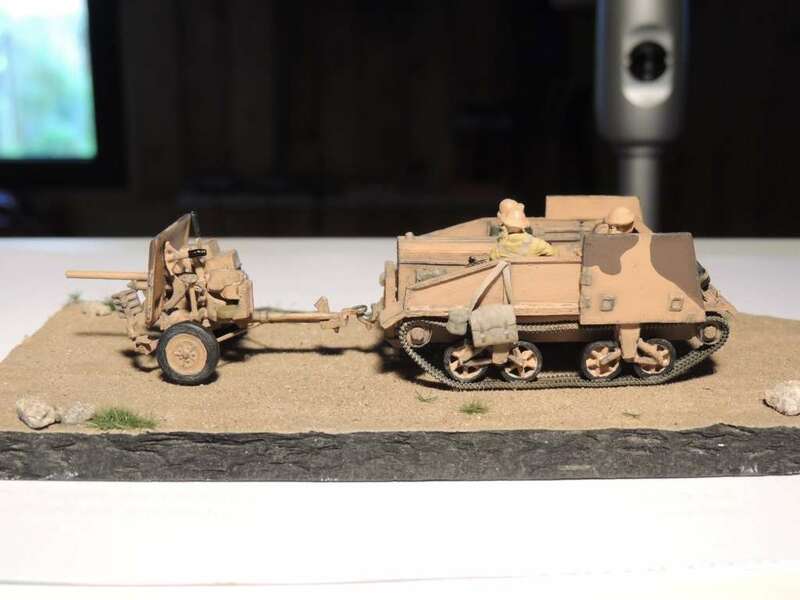 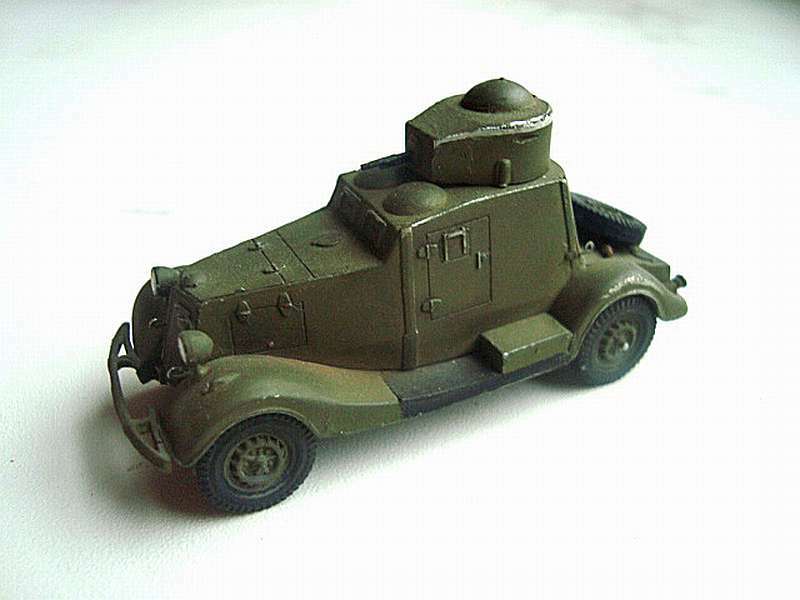 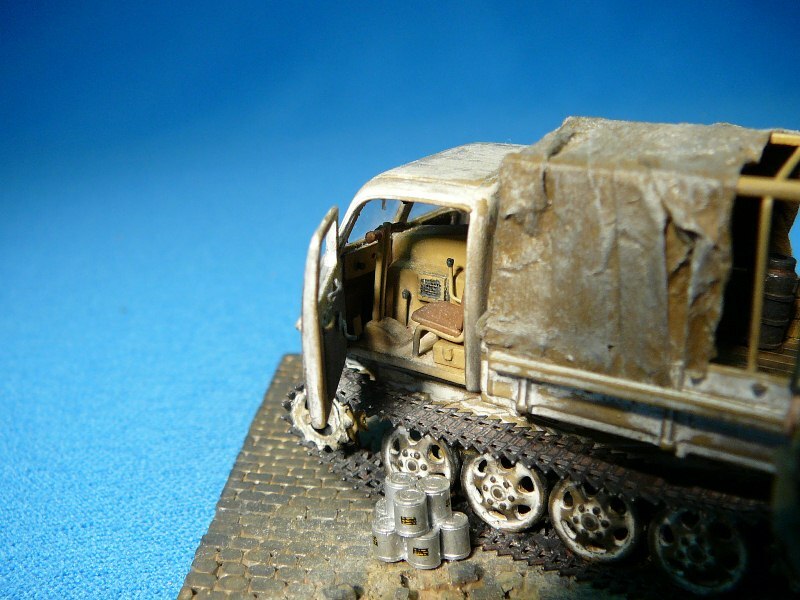 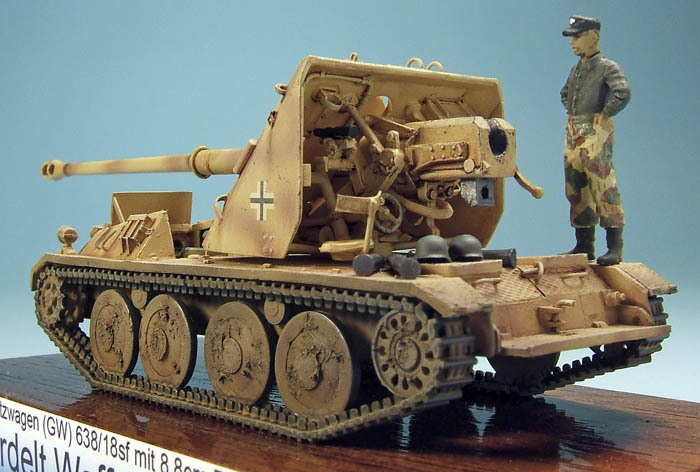 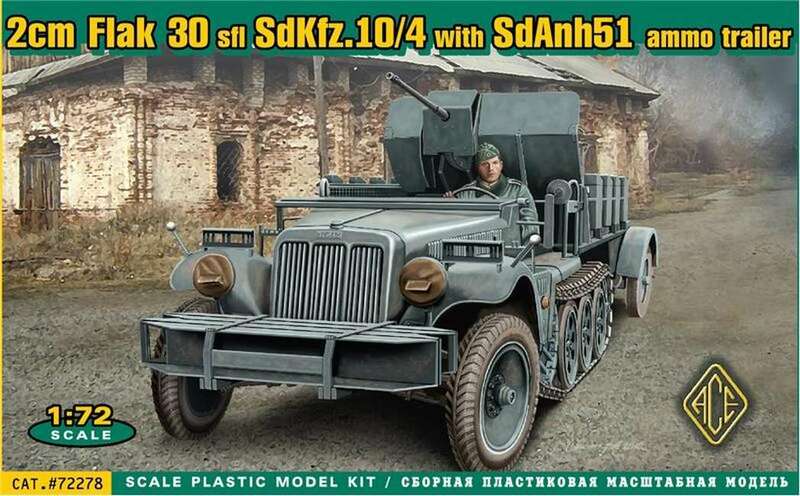 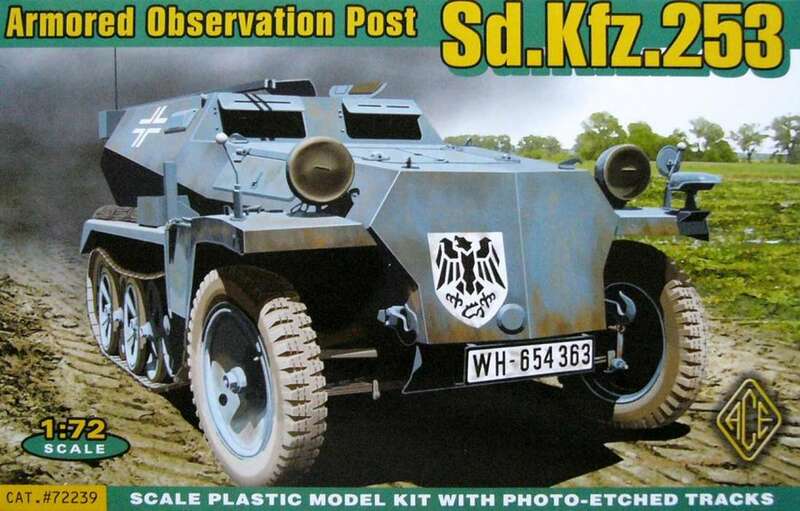 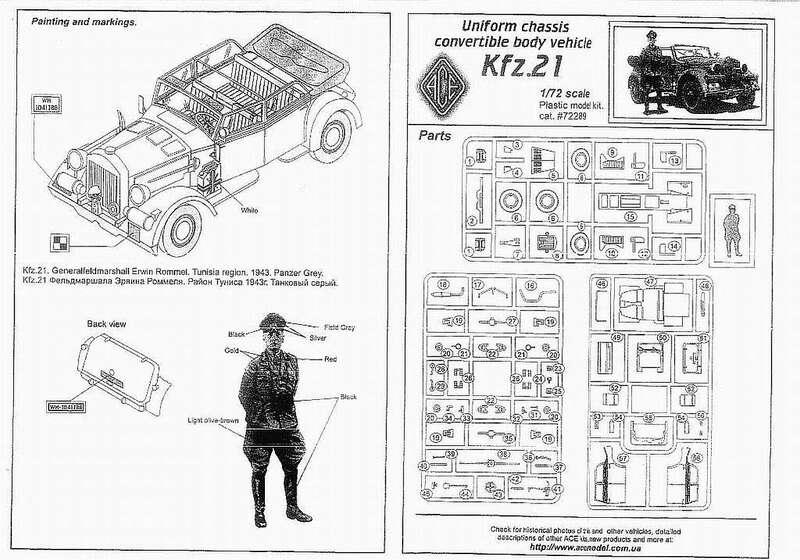 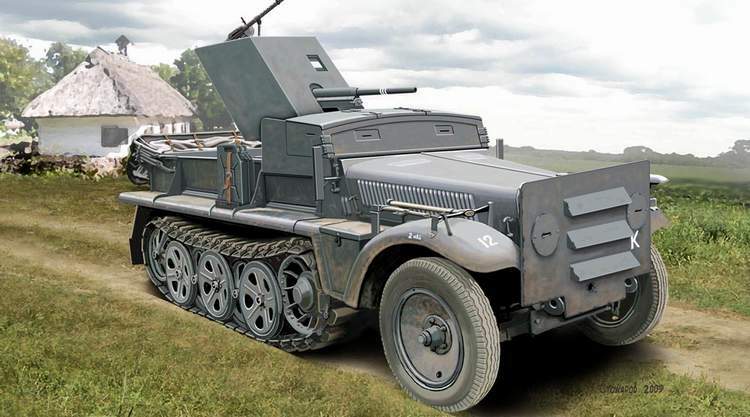 Kit 72514 - SdKfz. 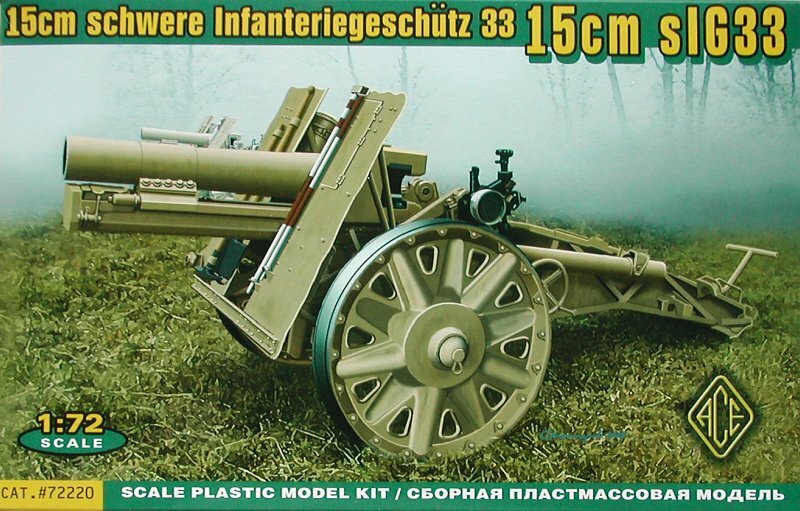 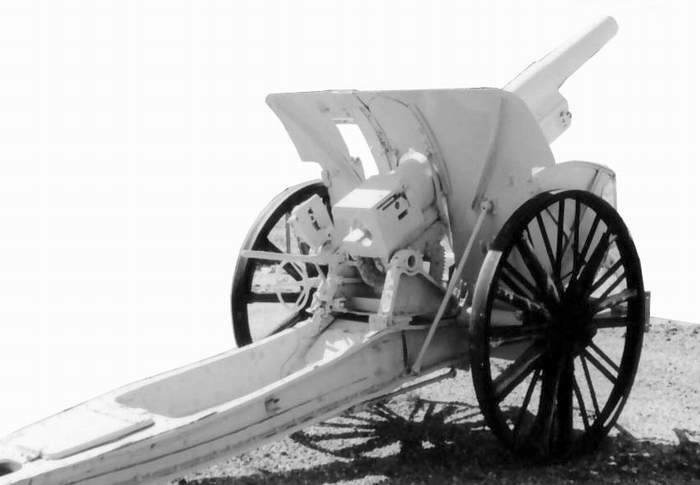 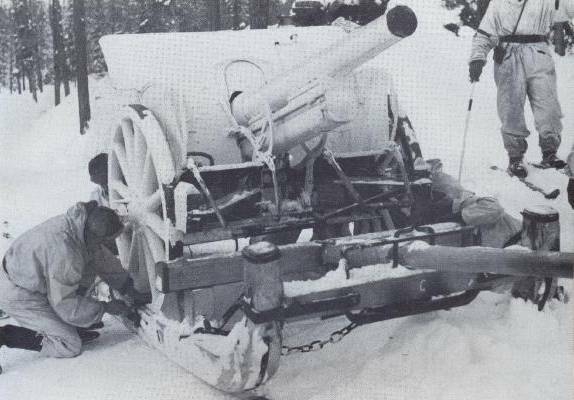 250/8 "Stummel"